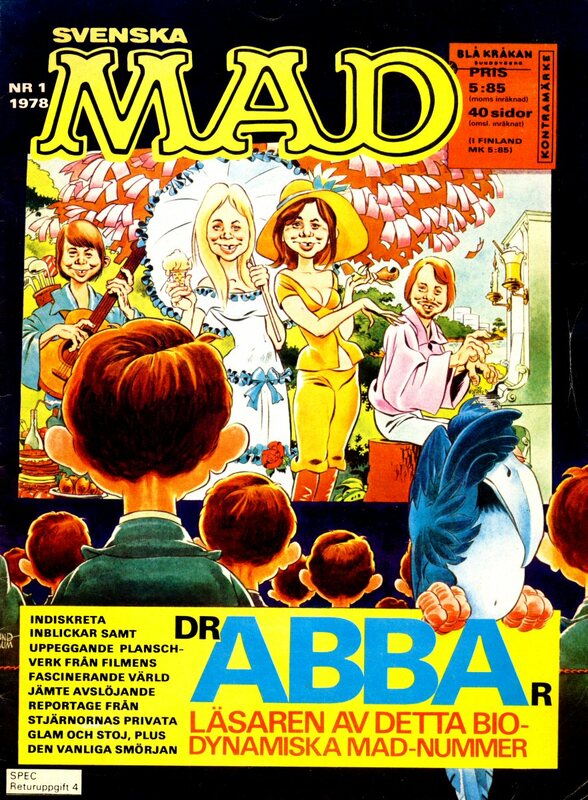 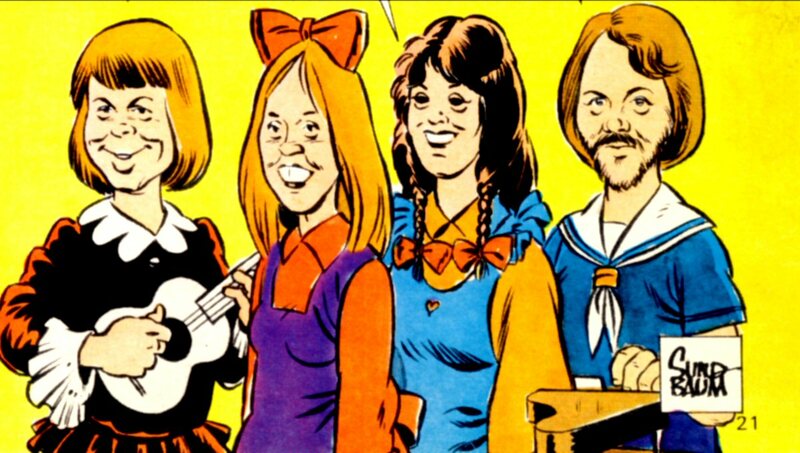 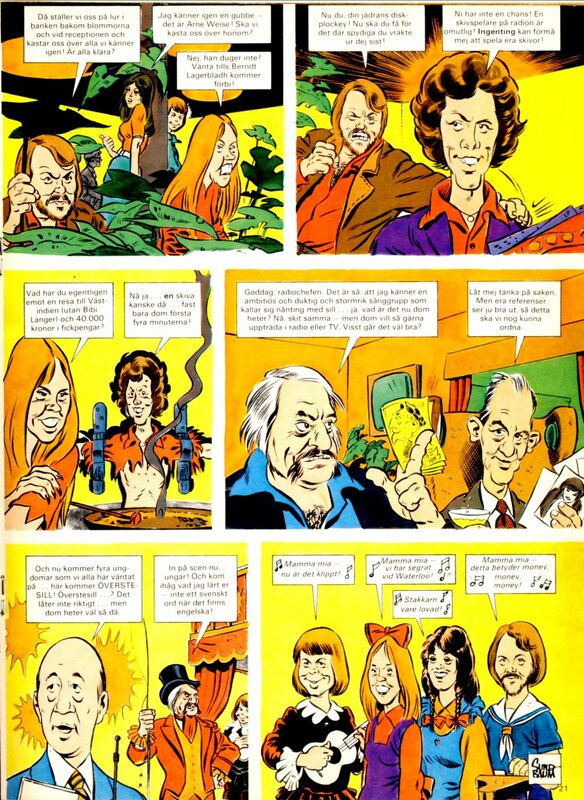 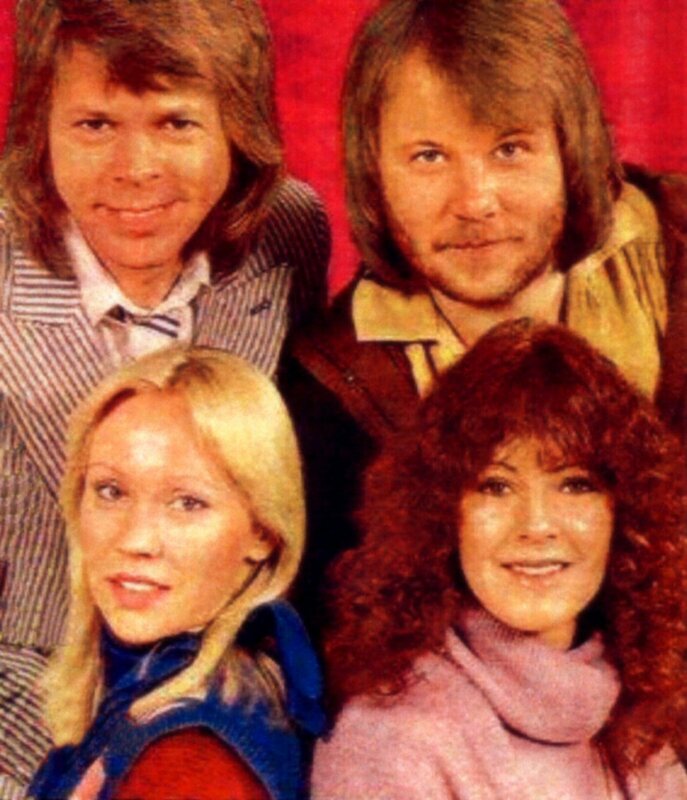 The Swedish comics magazine "Svenska Mad" had ABBA on its cover and 3 pages inside in its first issue in 1978. 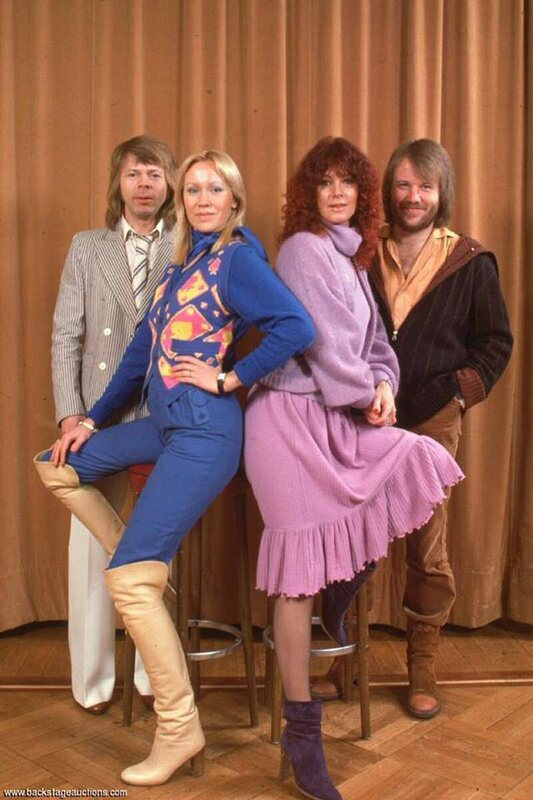 It was the biggest ABBA feature in "Mad" ever published. 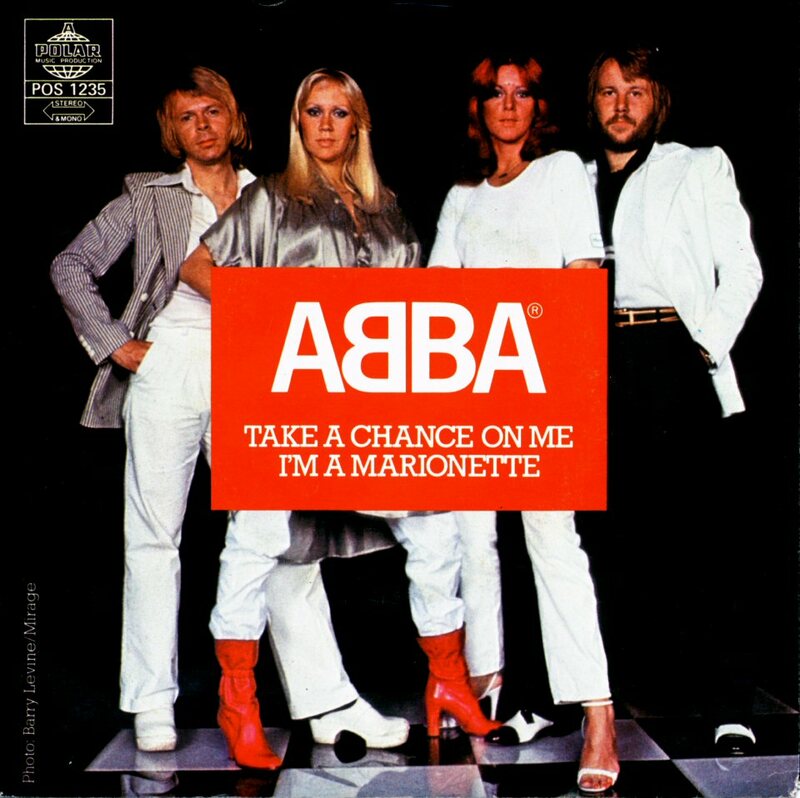 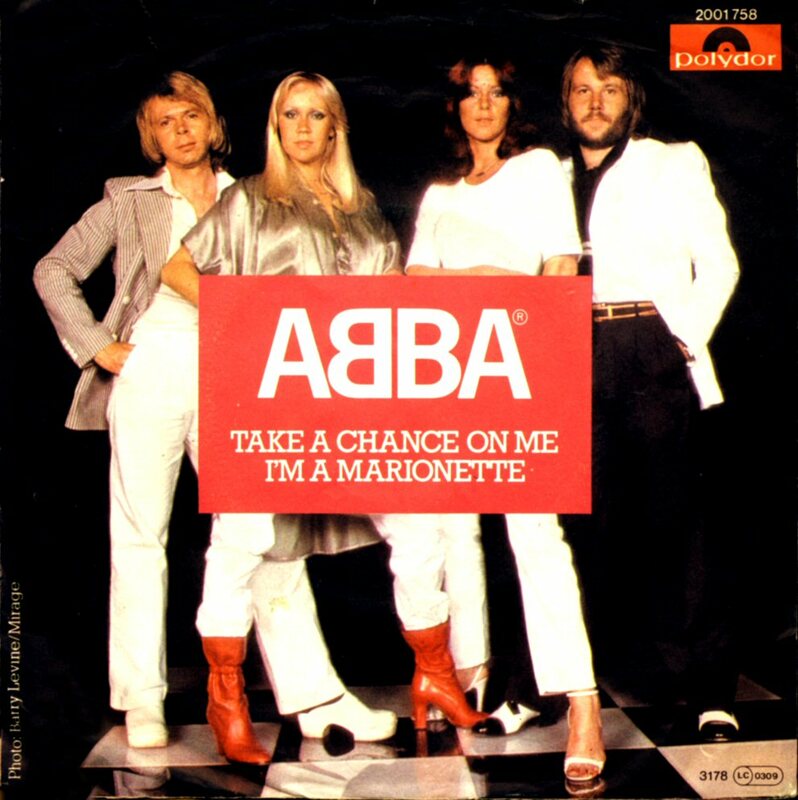 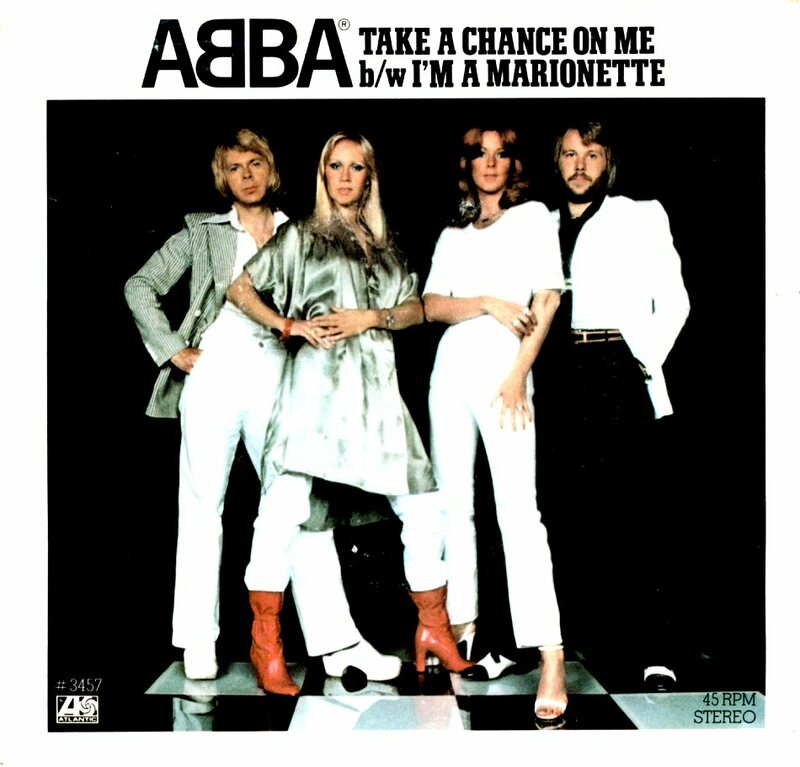 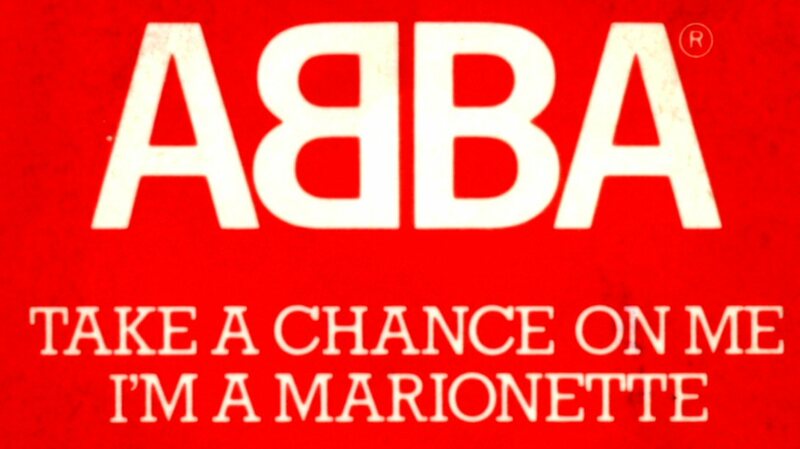 The commercially biggest hit single from "ABBA - The Album" - "Take a Chance On Me" b/w "I Am A Marionette" was released at the beginning of 1978. 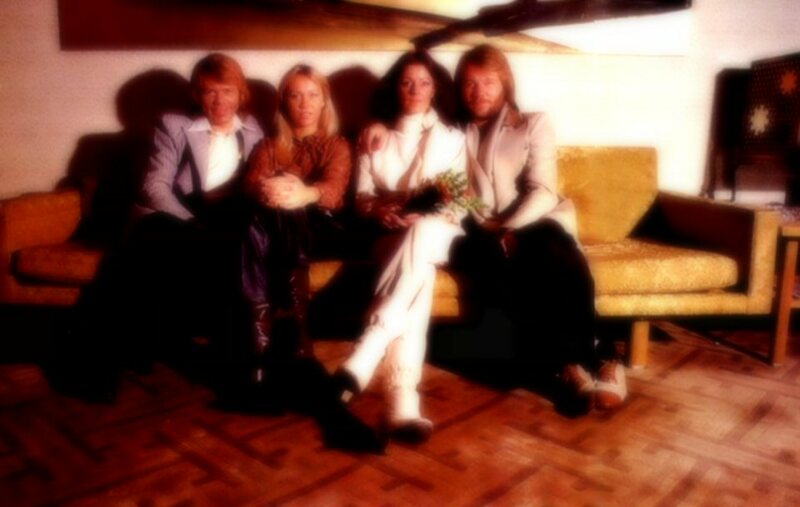 The photo session had been taken in autumn 1977. 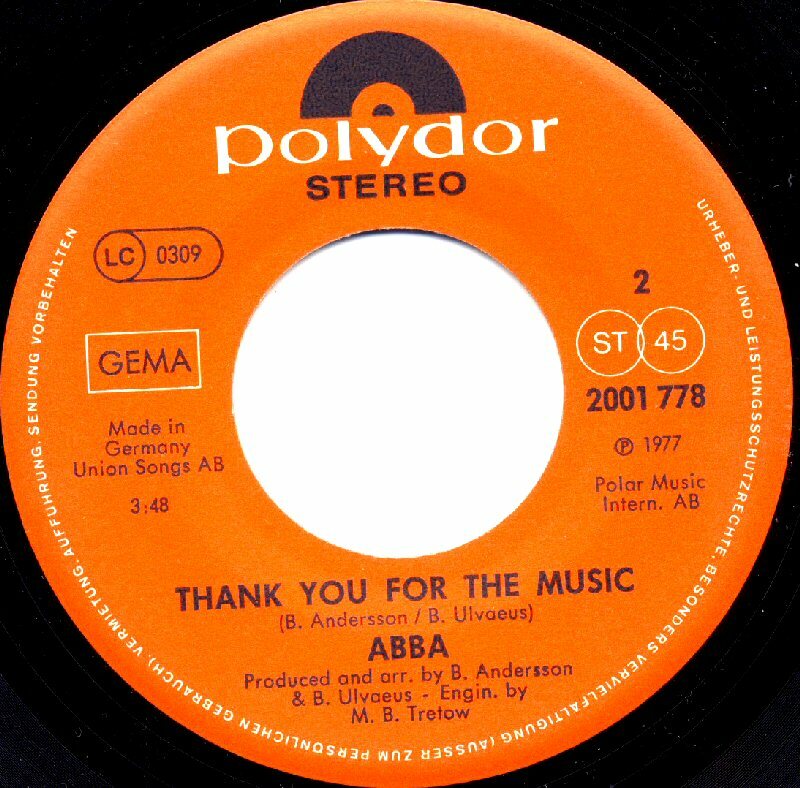 In Norway the single entered the hit chart on March 9th and stayed there for 6 weeks peaking at #8. 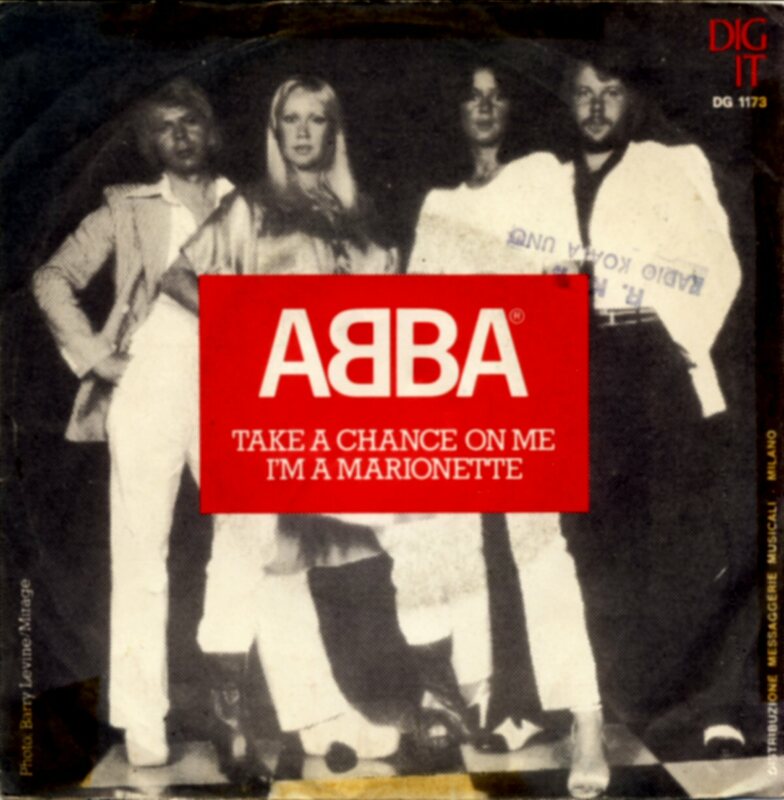 The single entered the UK chart on February 4th, 1978 and two weeks later it reached #1 where it stayed for 3 weeks. 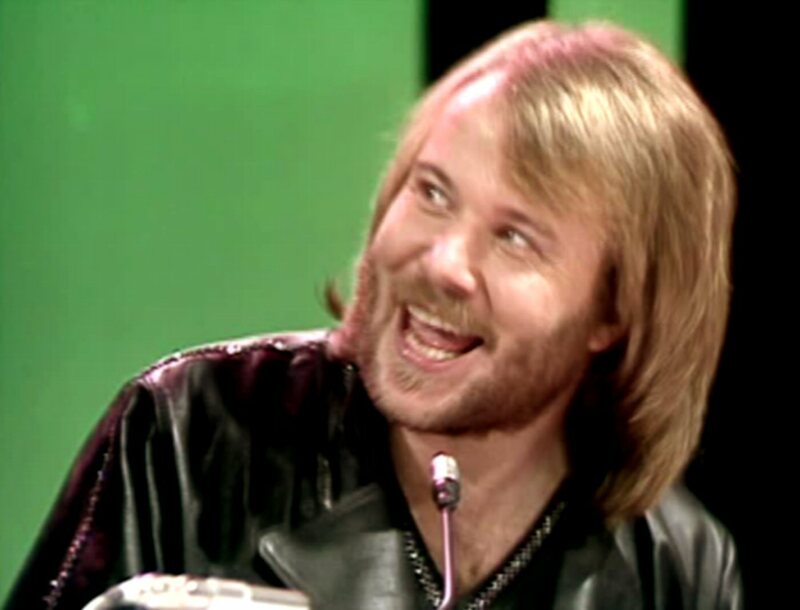 Totally the single stayed on the UK chart for 10 weeks. 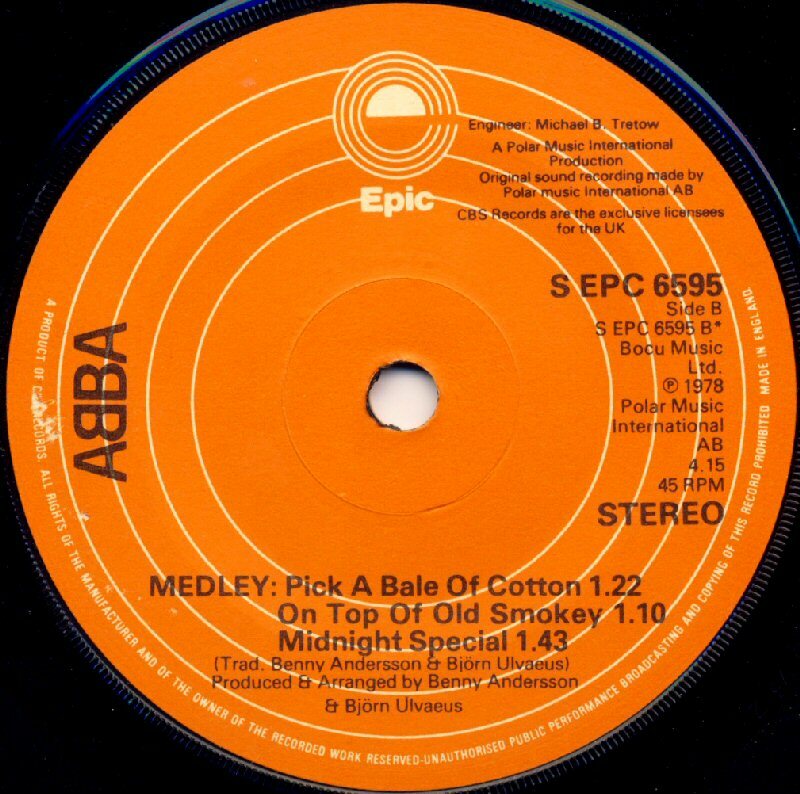 The single topped the charts even in Austria, Ireland and Belgium. In France "Take A Chance On Me" stayed on the chart for 12 weeks reaching #10. In West Germany the single entered the hit chart on January 30th and it stayed there for 25 weeks reaching #3. 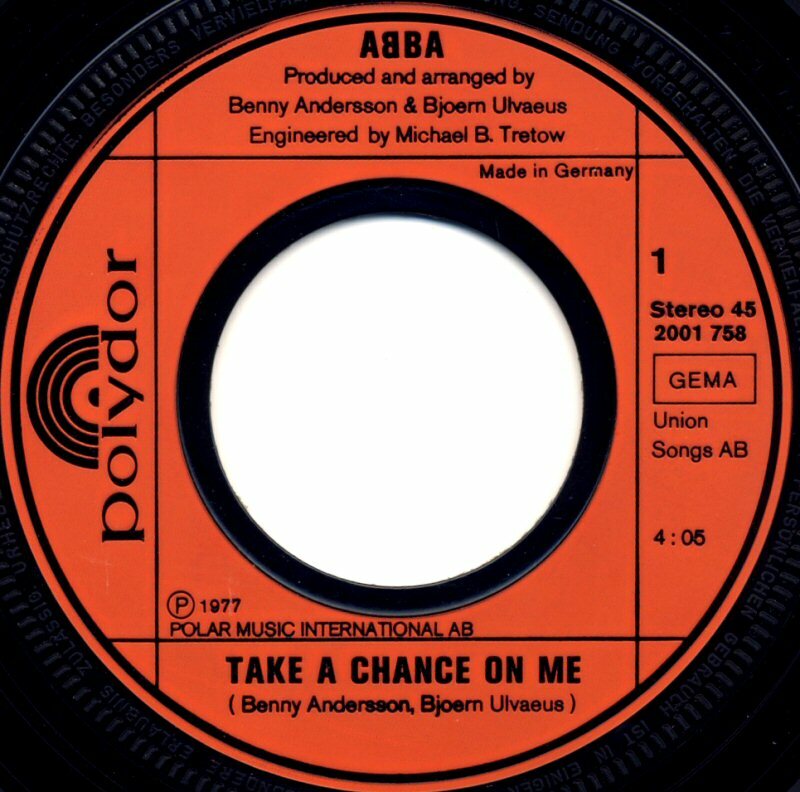 In Holland "Take A Chance On Me" became #2 and in Switzerland #3. 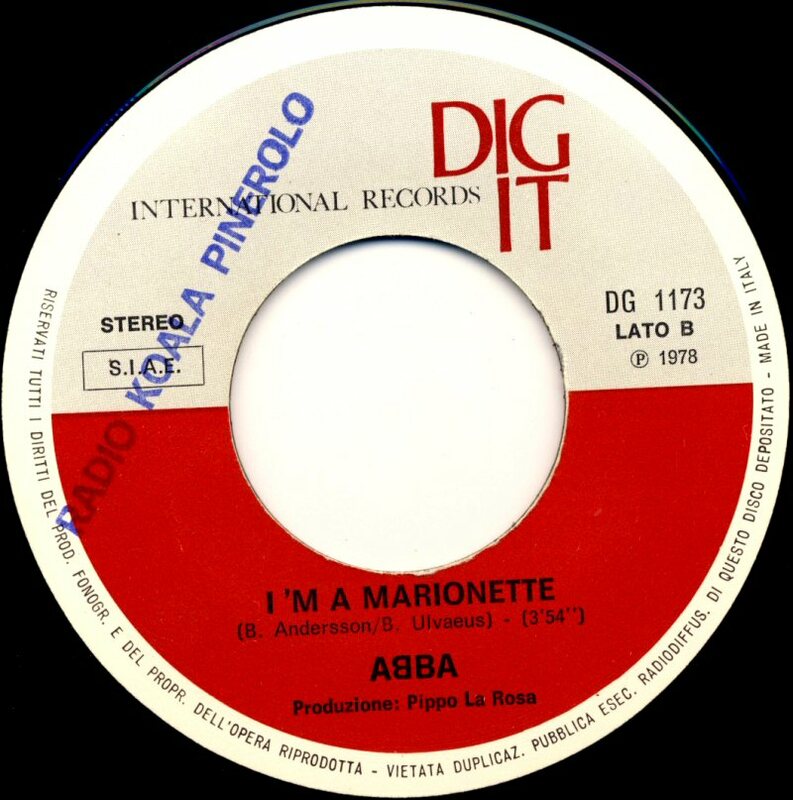 In Austria the single stayed on the hit list for 5 months (monthly edition of the chart) peaking at #1. 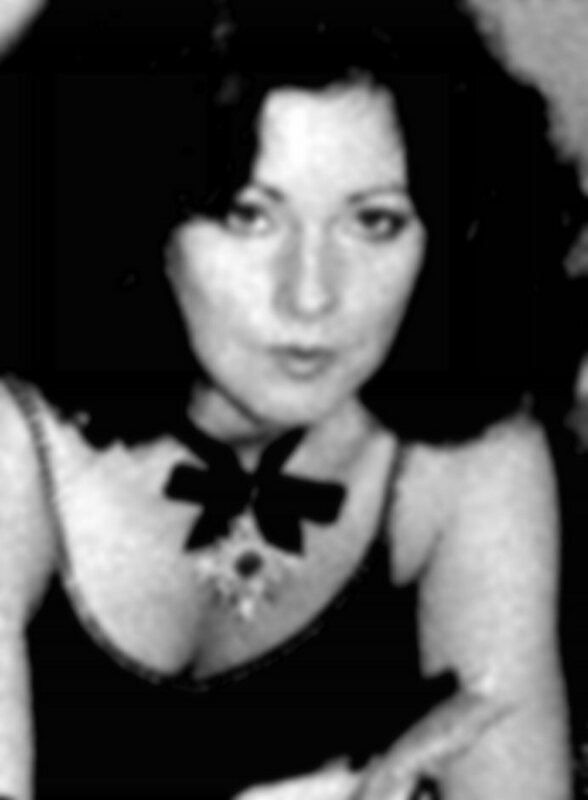 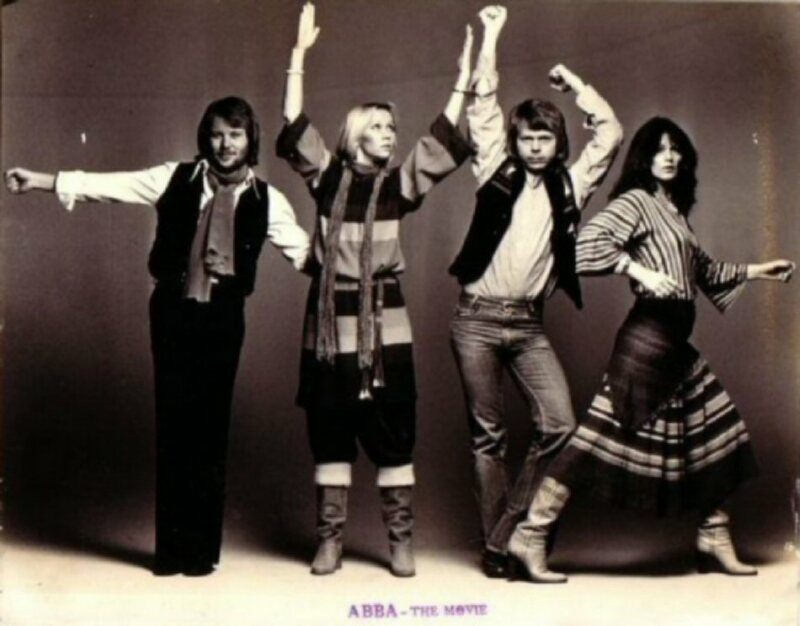 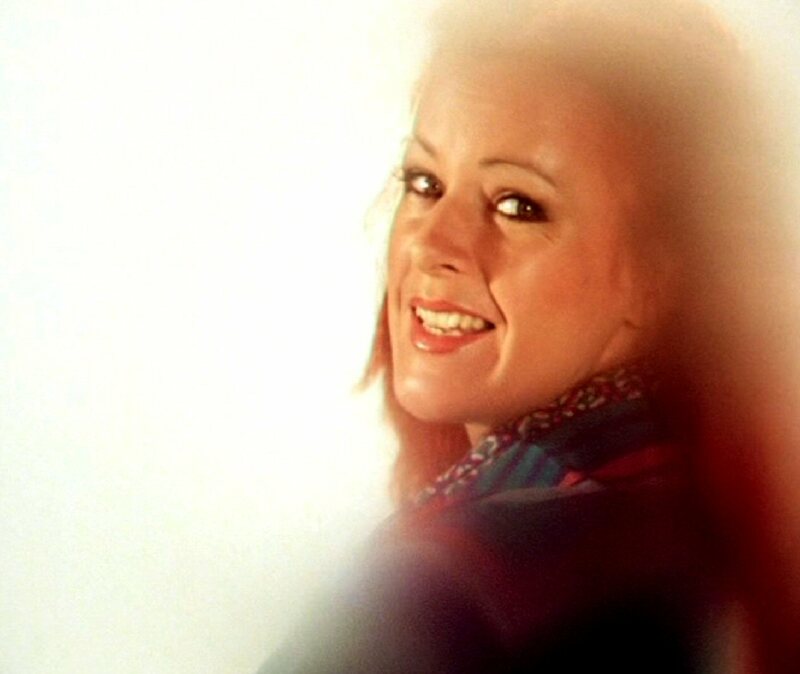 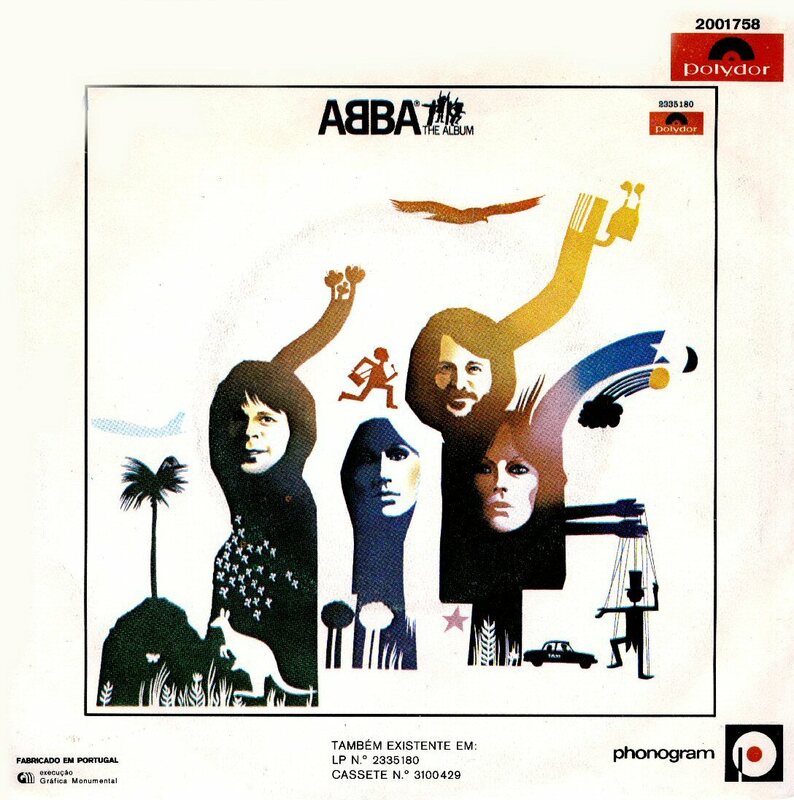 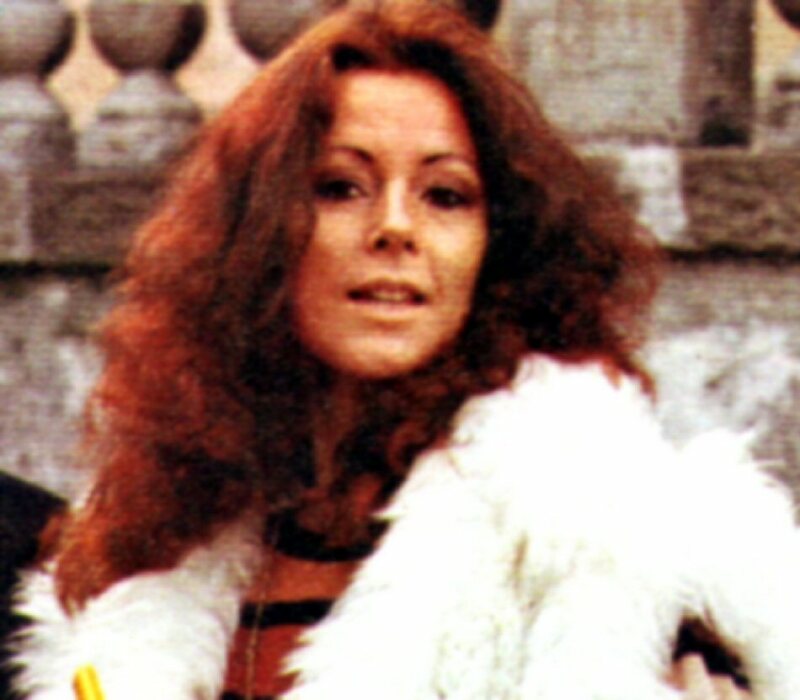 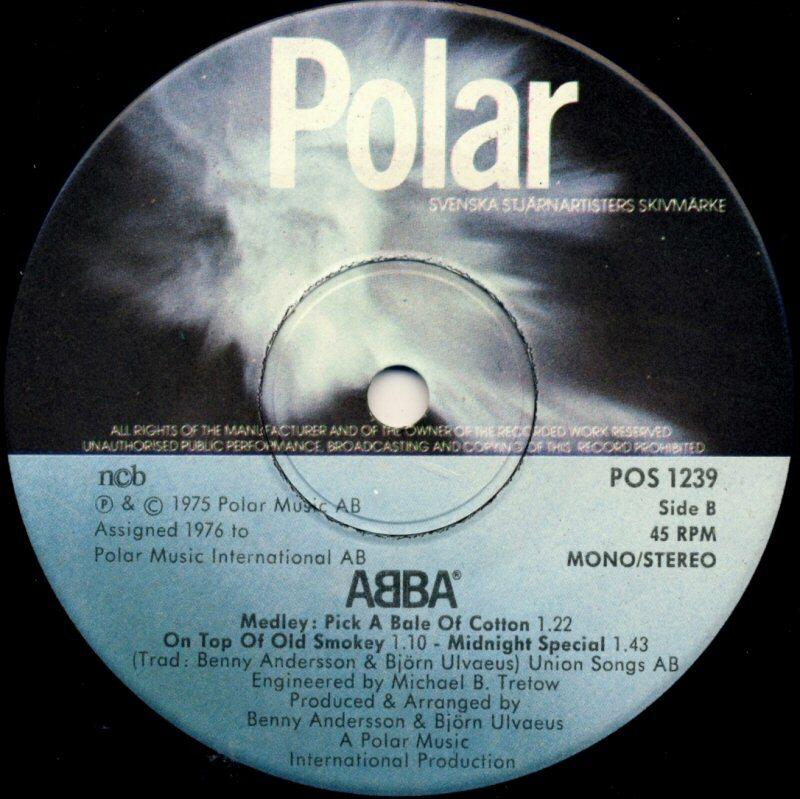 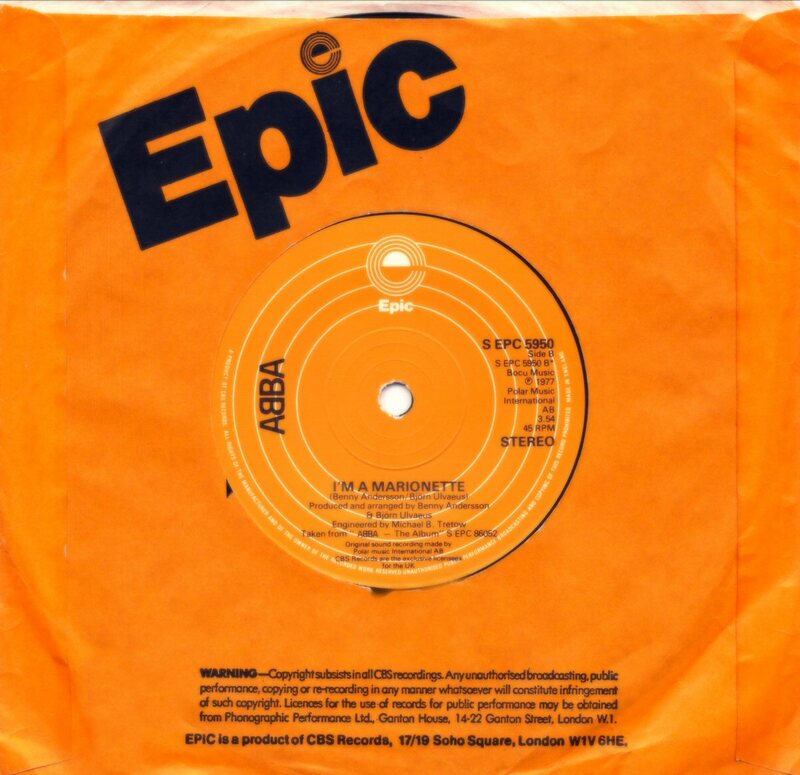 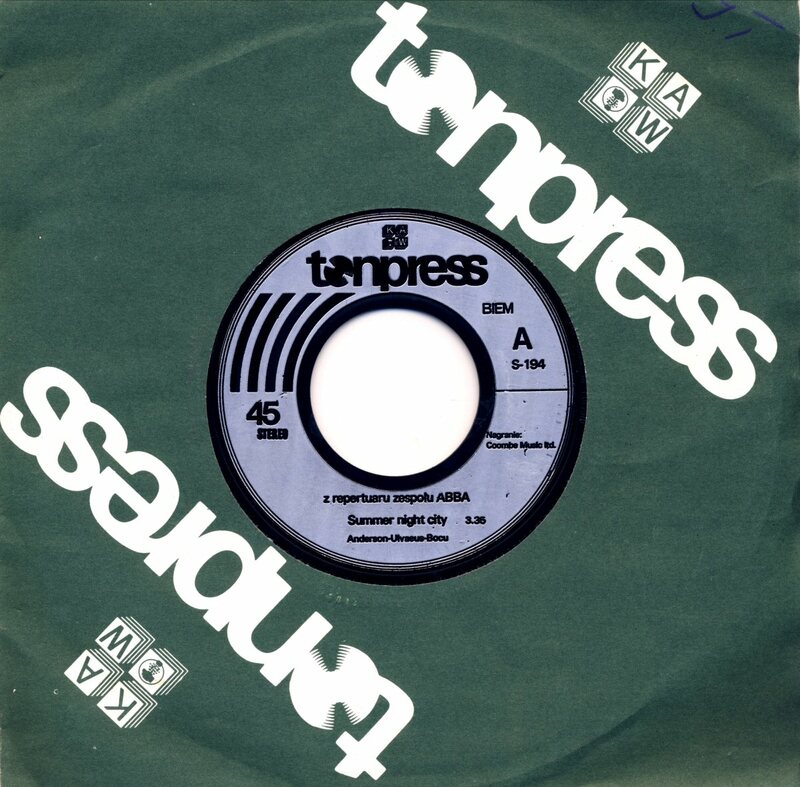 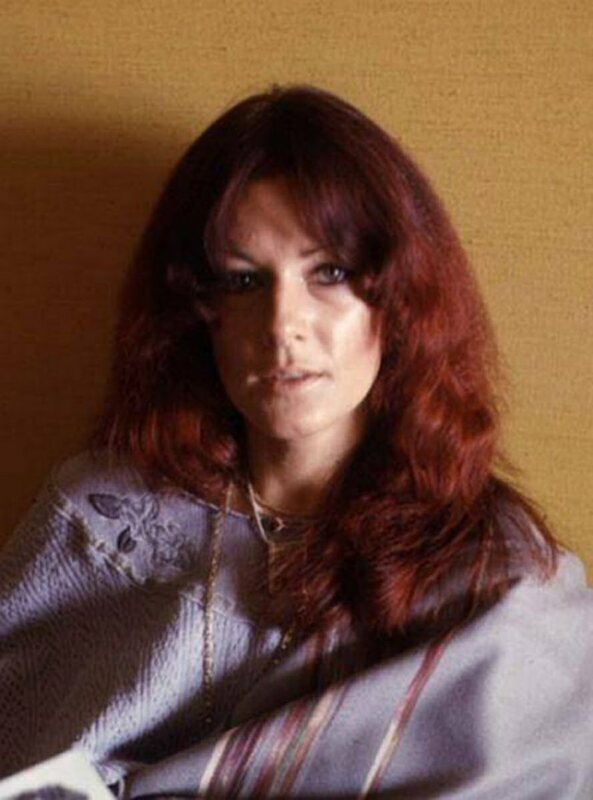 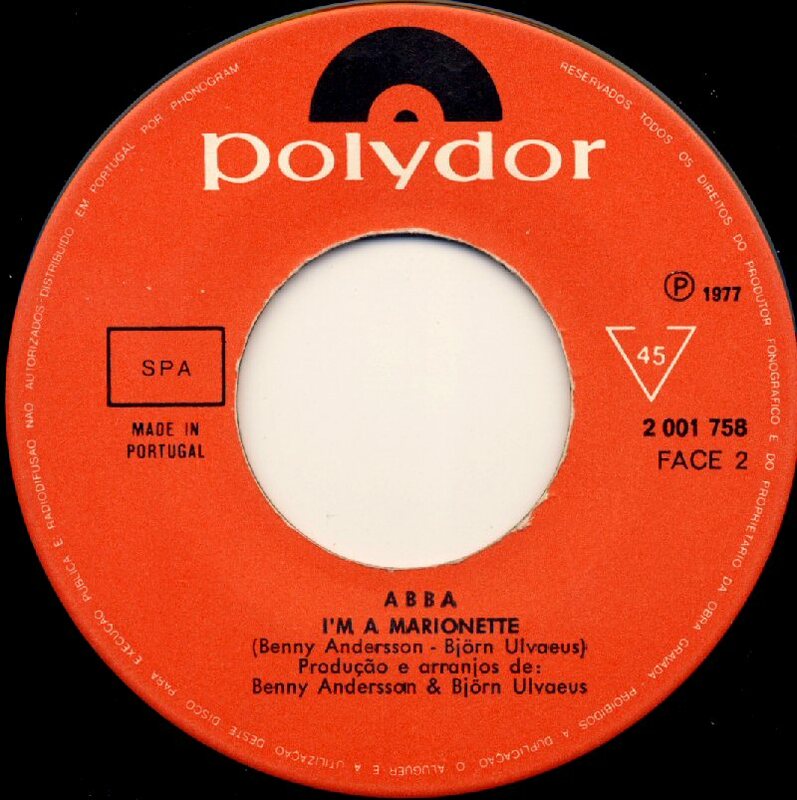 In Italy the single had slightly changed sleeve where the ABBA picture was black and white and the square with the titles remained red as on other issues. 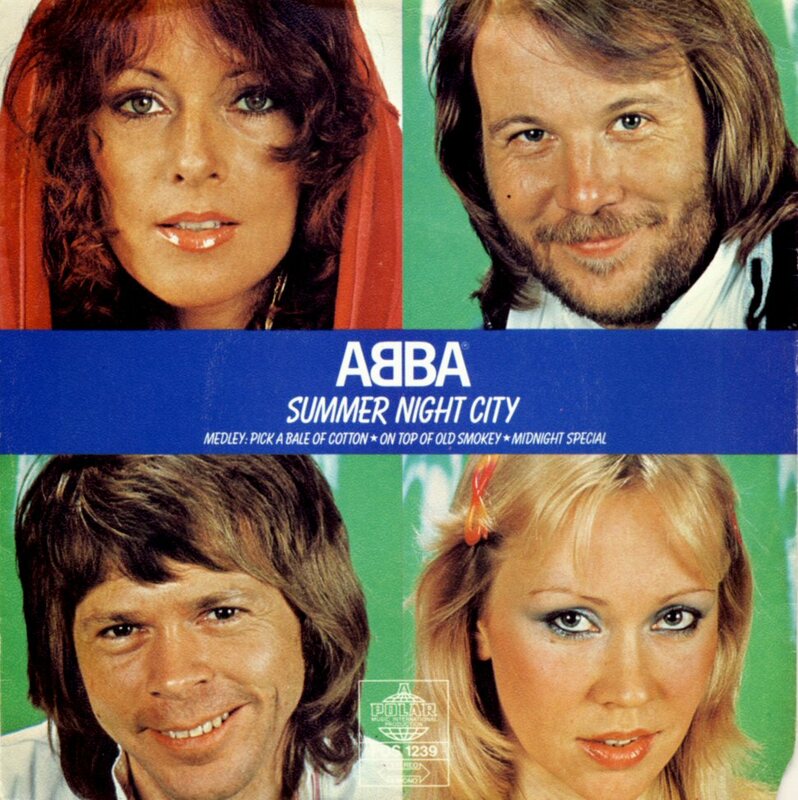 The Portugese release of the single featured completely different picture cover with a summer shot from 1977. 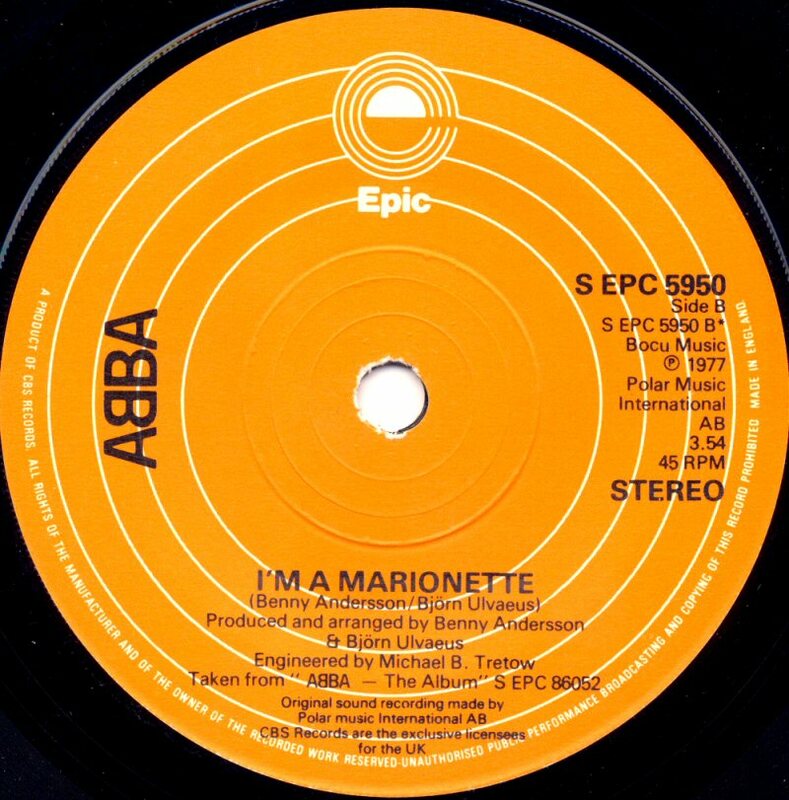 The tracks were the same as on other releases of the single with "I'm a Marionette" on the B-side. 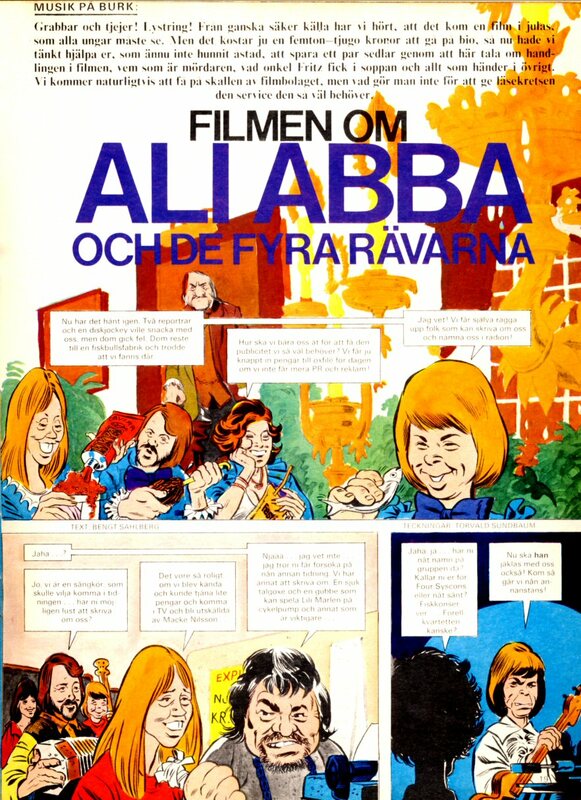 This edition would become one of the hard-to-find ABBA items on the collectors market. 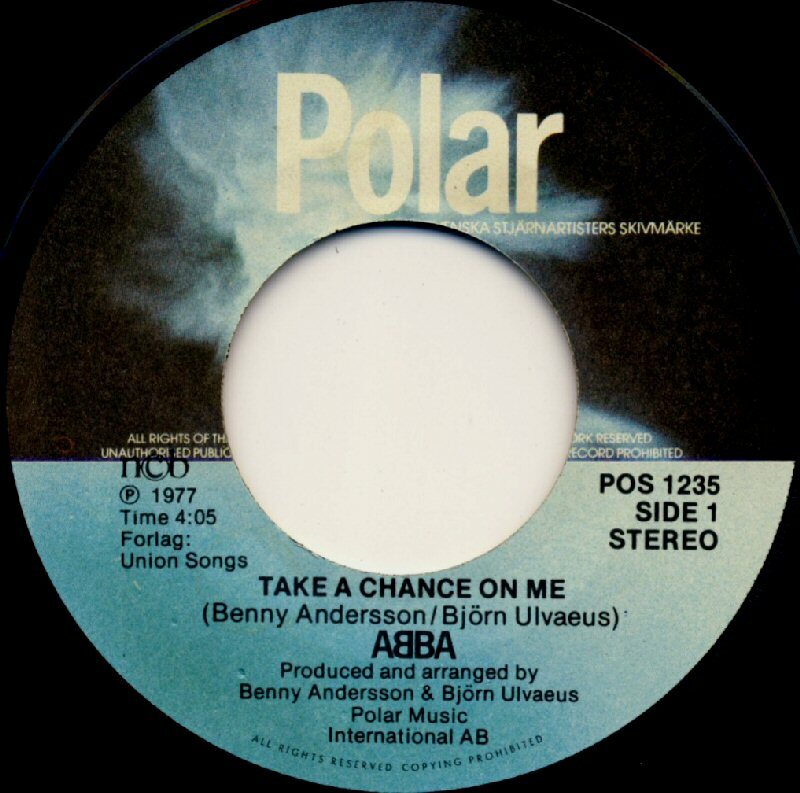 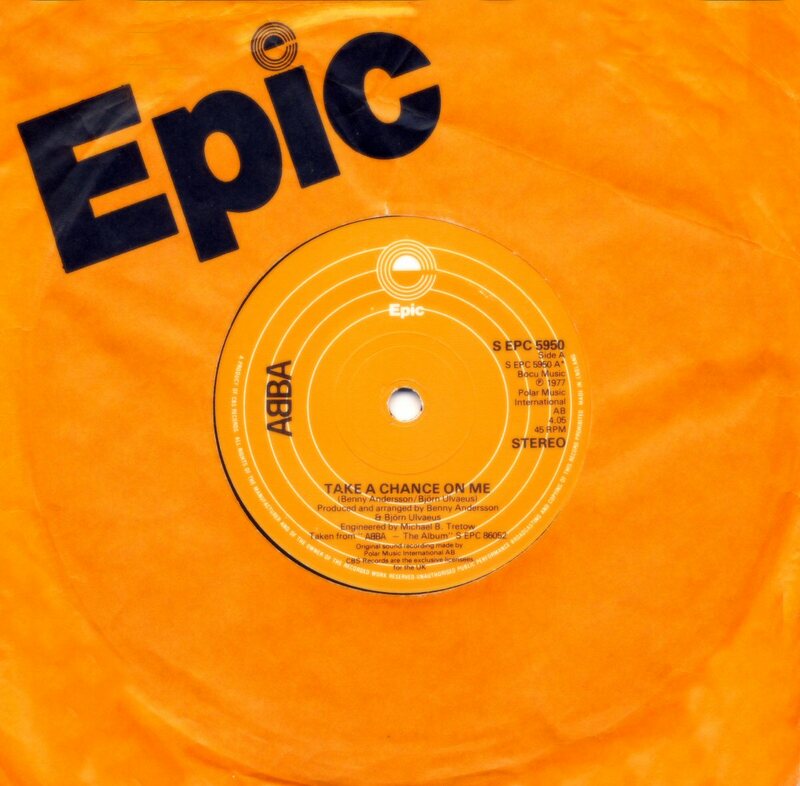 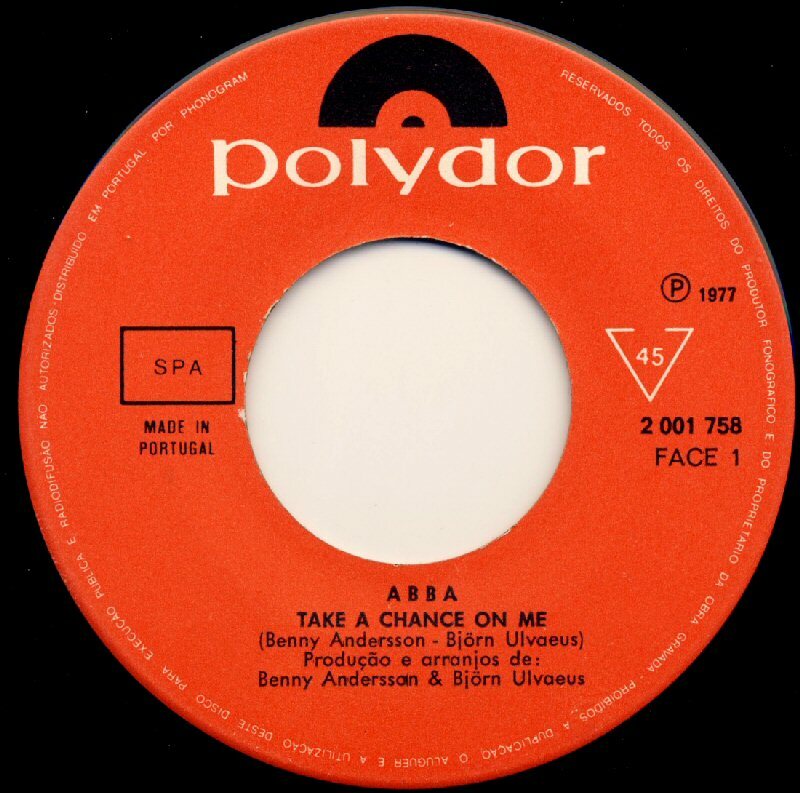 The US release of the single "Take A Chance On Me" followed its European issue very quickly. 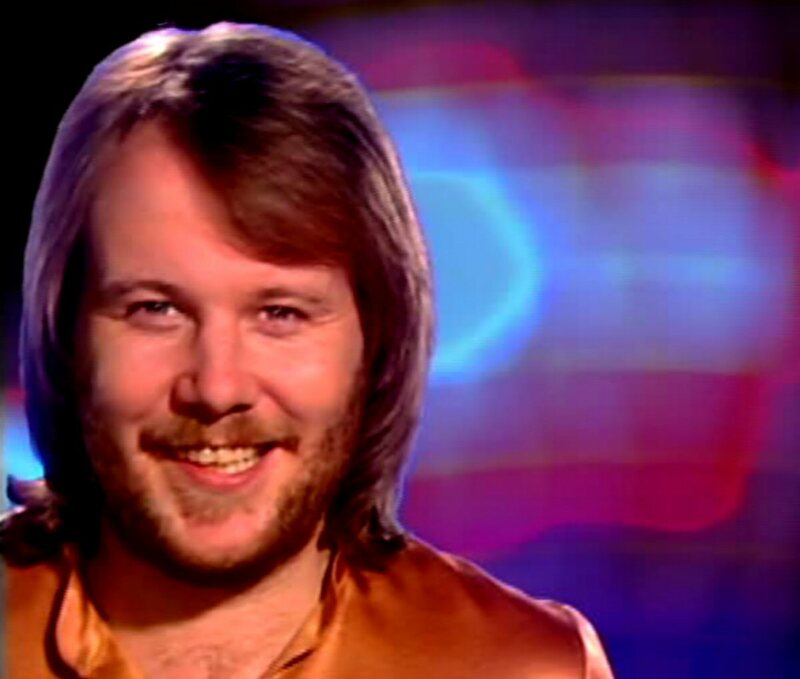 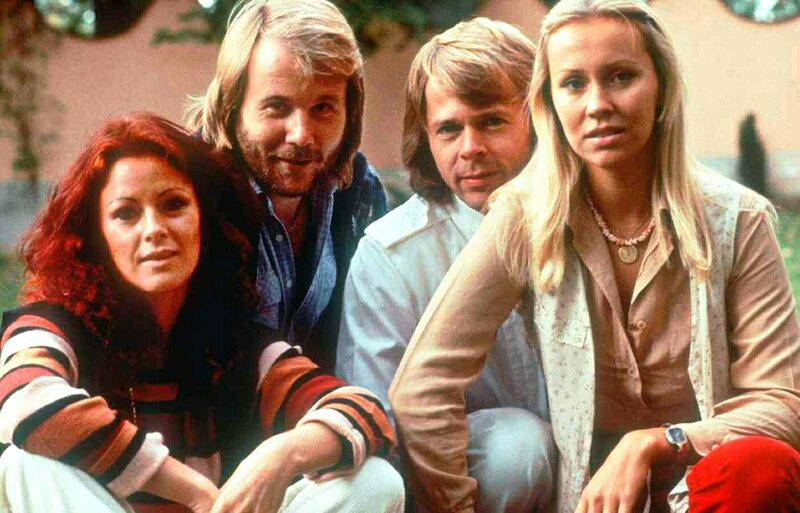 It depended on "ABBA Month in USA" planned for May 1978. 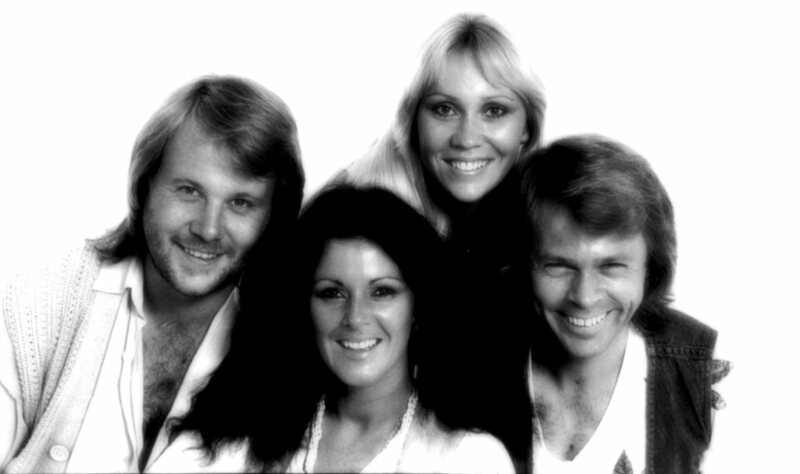 The group would come and promote both the new single and the latest album. 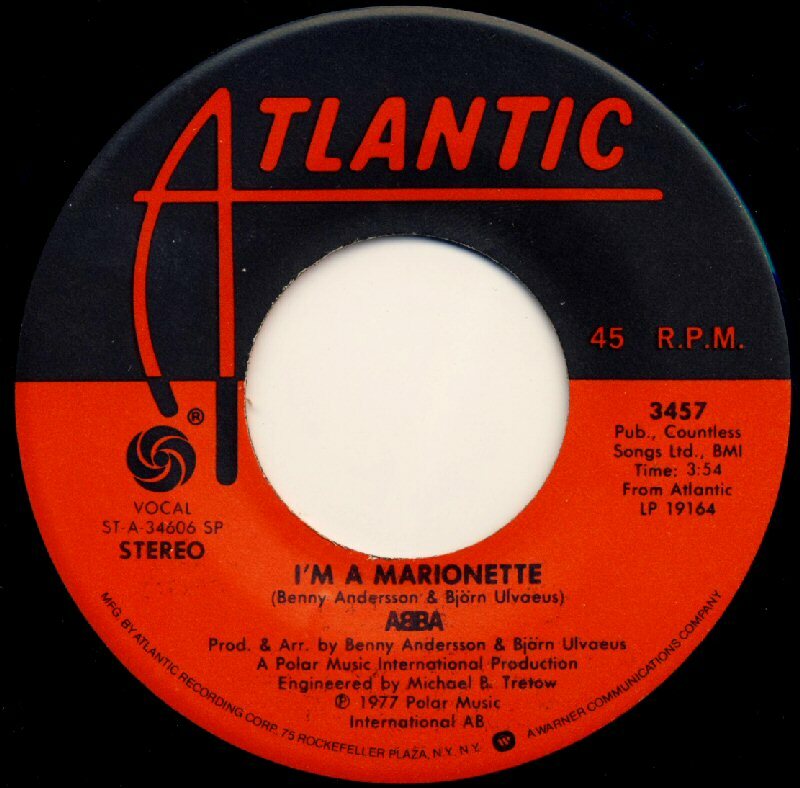 The single entered the US chart on April 22, 1978 and stayed there for 18 weeks peaking at #3. 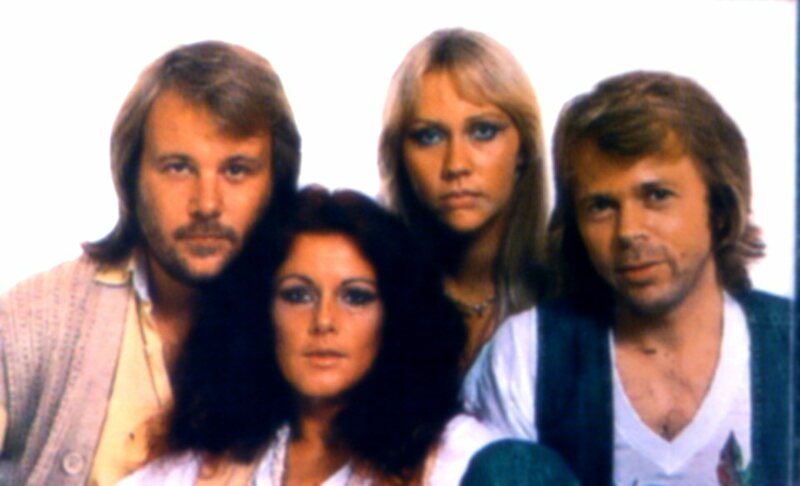 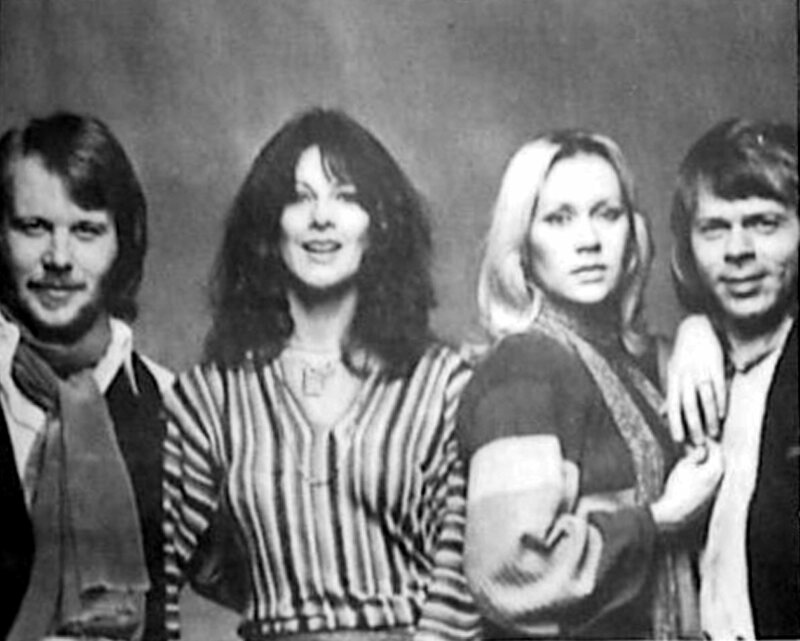 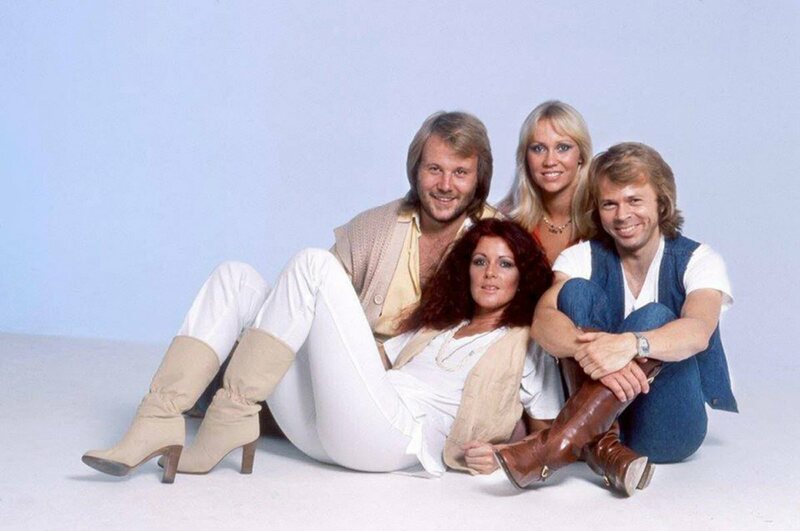 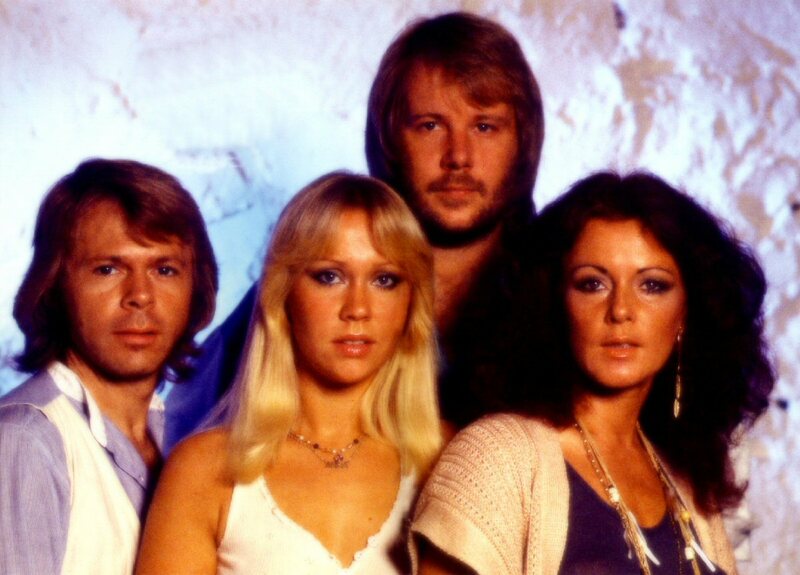 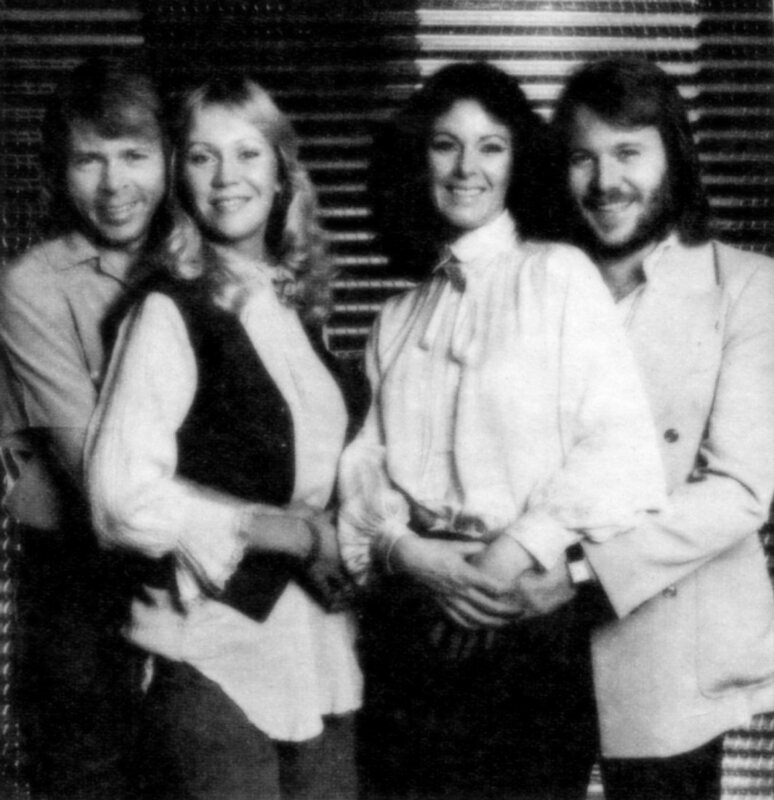 "Take A Chance On Me" was the second most successful ABBA single in USA after "Dancing Queen". 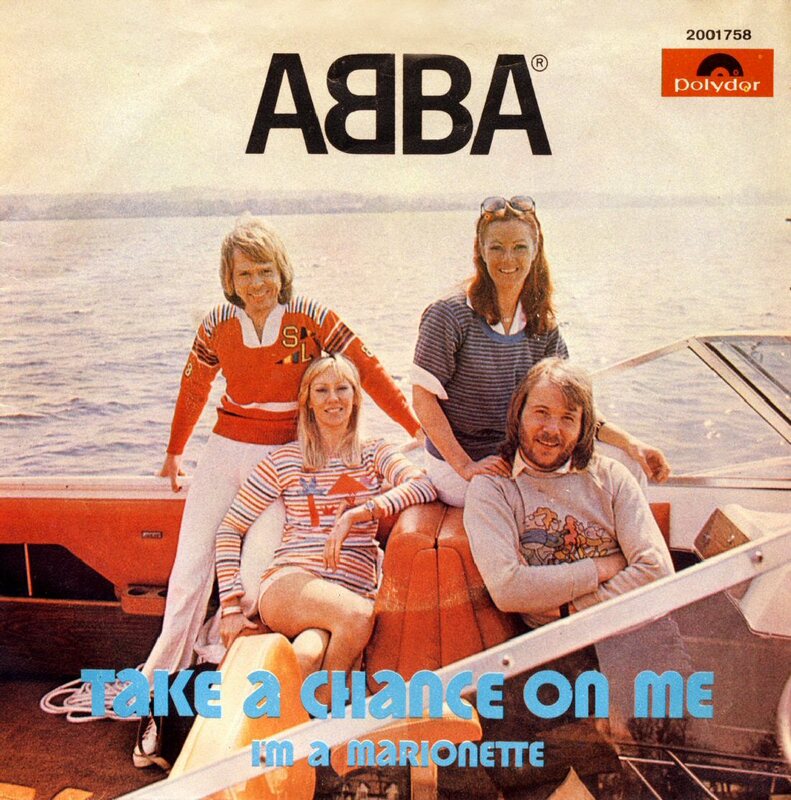 In Canada it peaked at #7 and in Mexico #1. 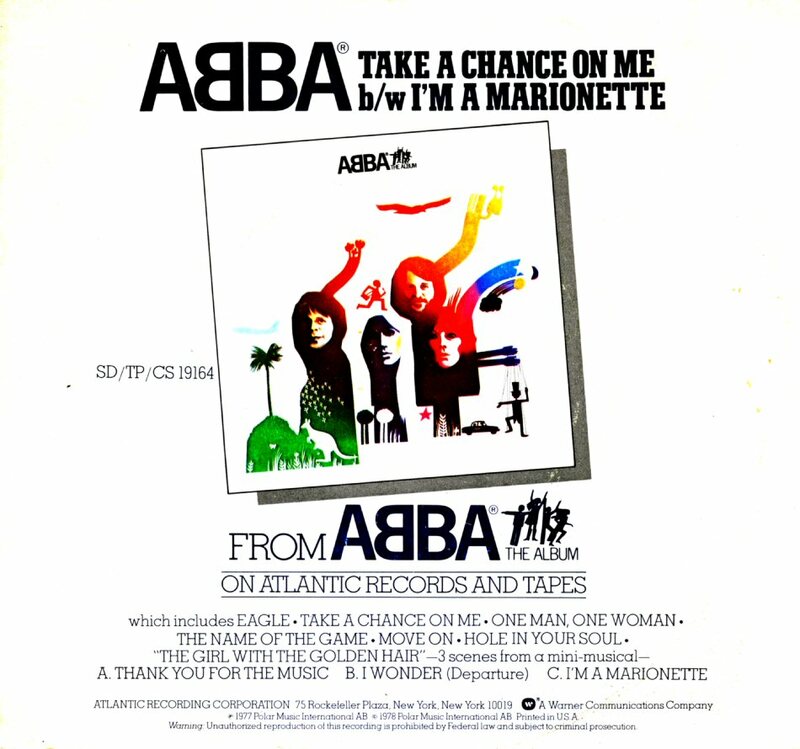 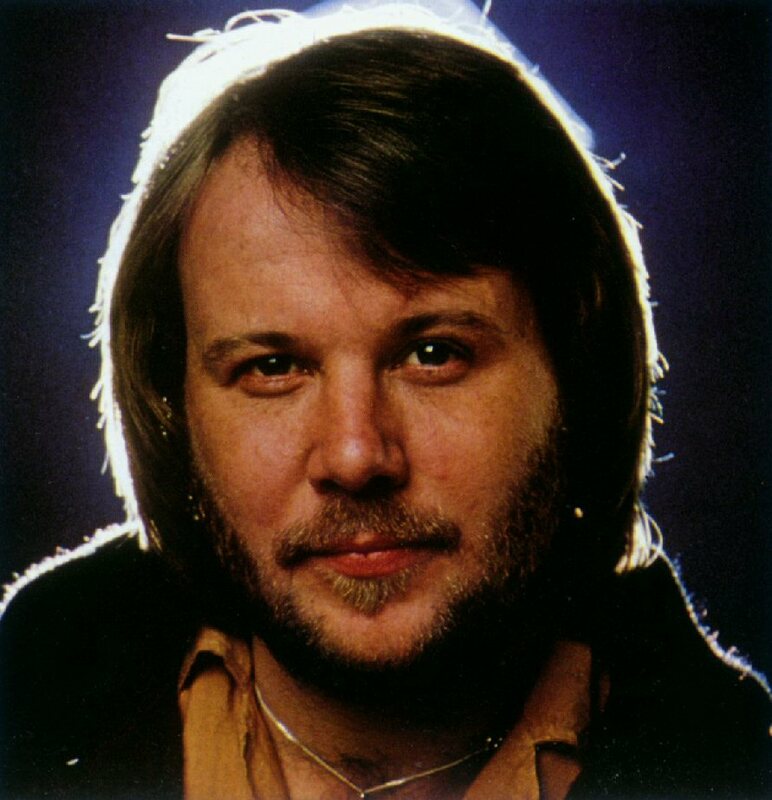 The video for "Take a Chance On Me" was directed by Lasse Hallström. 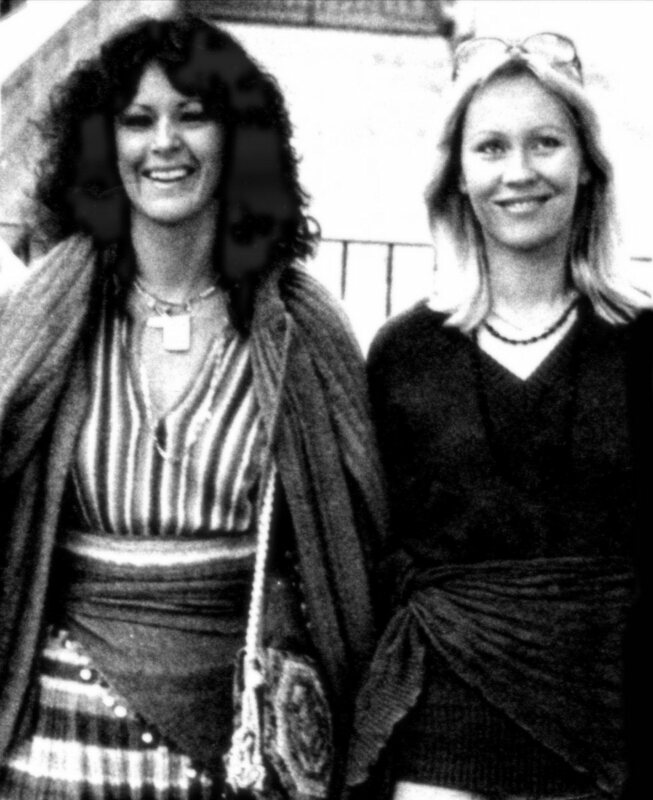 Frida and Benny paid a short private visit in the capital of Norway - Oslo. 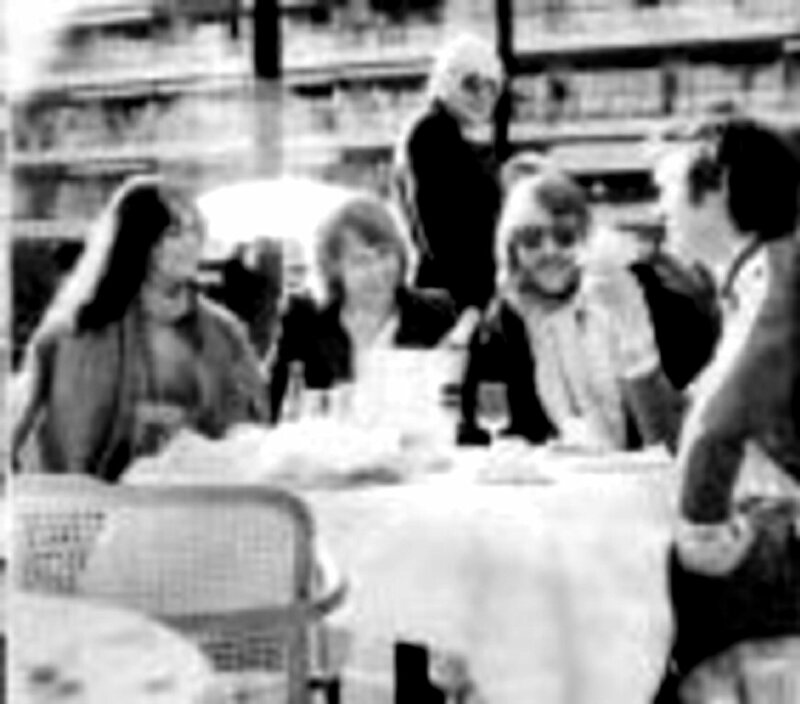 At the end of January Björn, Benny, Frida and Stikkan attended the Midem fair in Cannes in France. 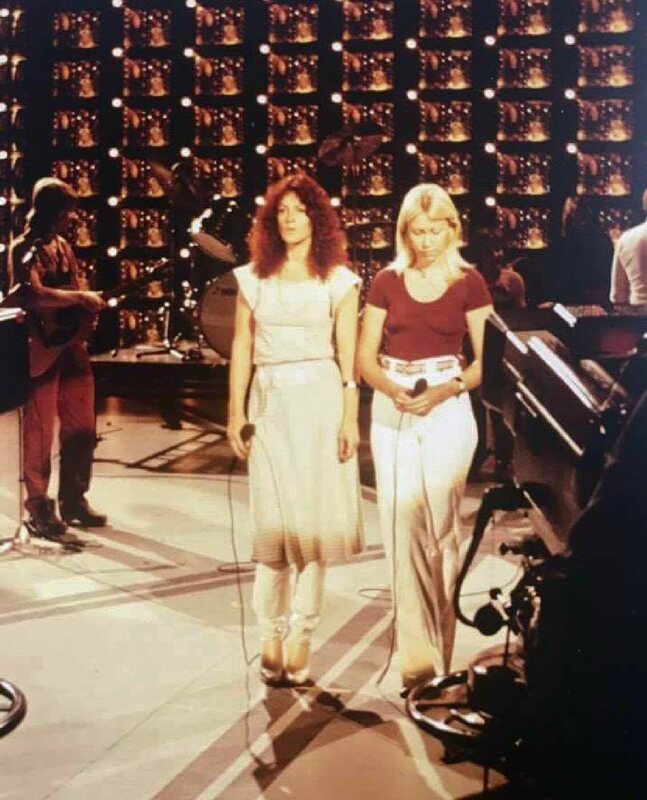 On their way back they stayed in Paris where they participated in the TV show "Loto chancons". 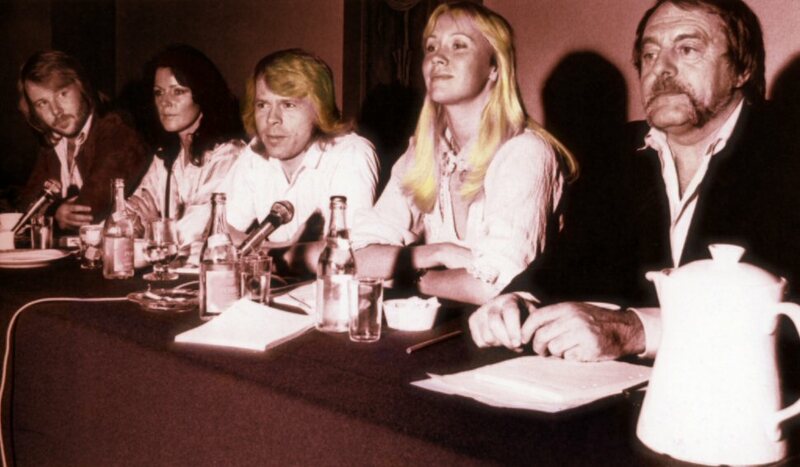 Frida presented her new hair-do which would be about the same during whole year 1978. 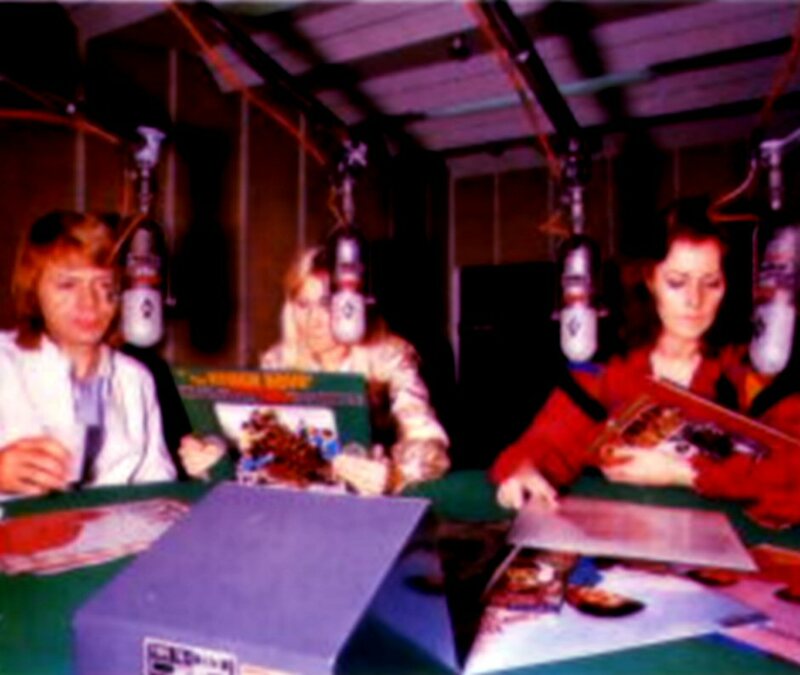 The Album was promoted by the group on TV at the beginning of 1978. 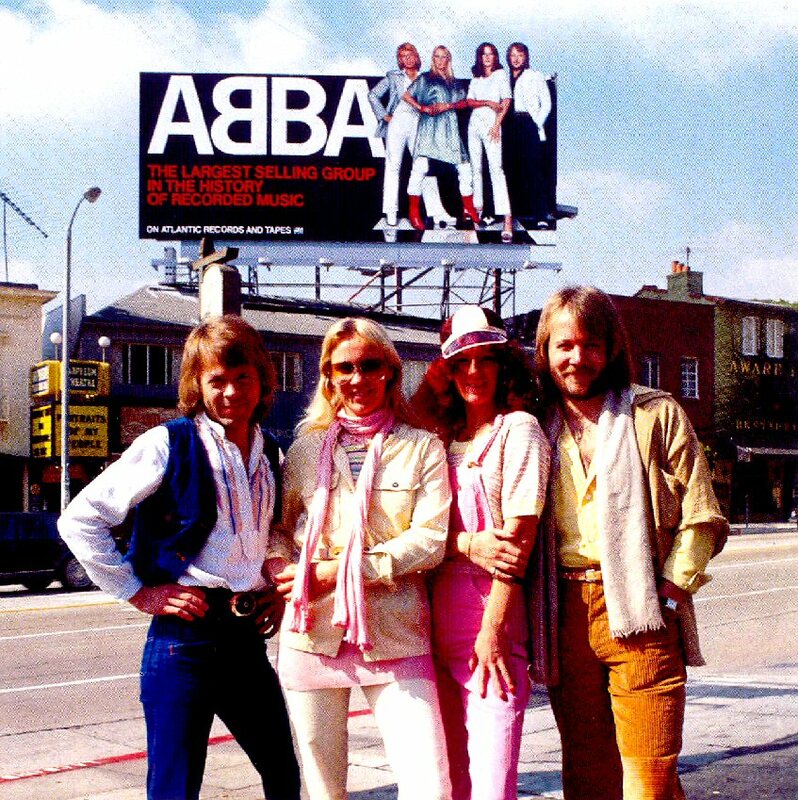 The promotional campaign was carried out even by special posters and ads. 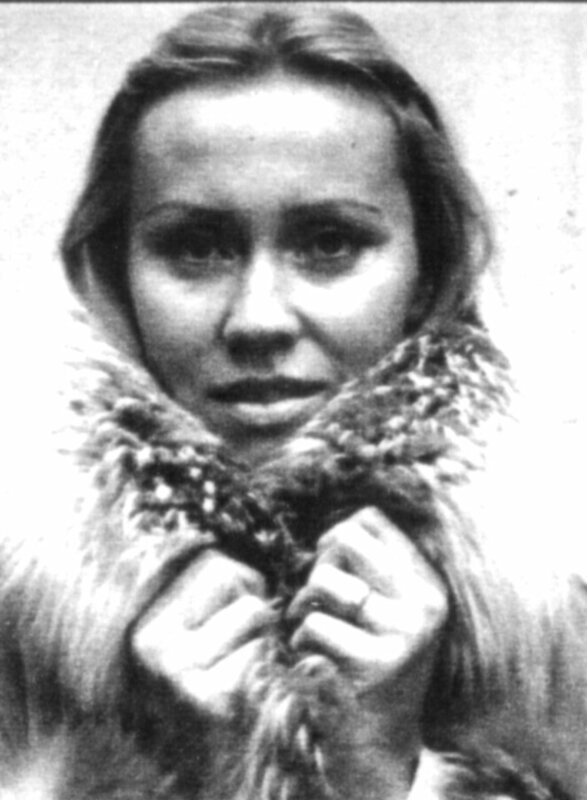 The German singer Gisela May came to Stockholm at the beginning of February and performed songs of Bertold Brecht in "Konserthuset" (Concert hall). 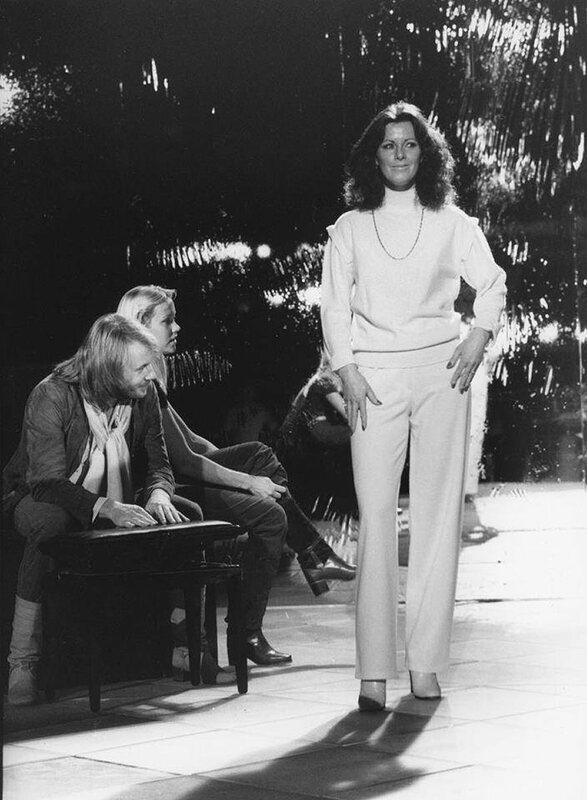 Anni-Frid and Benny were in the audience. 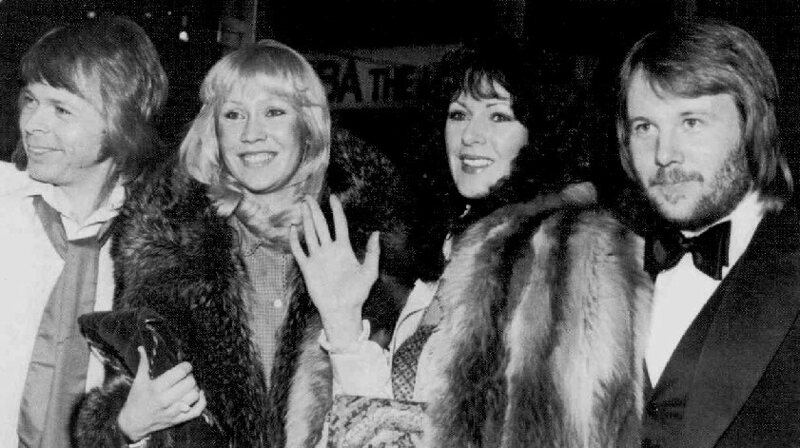 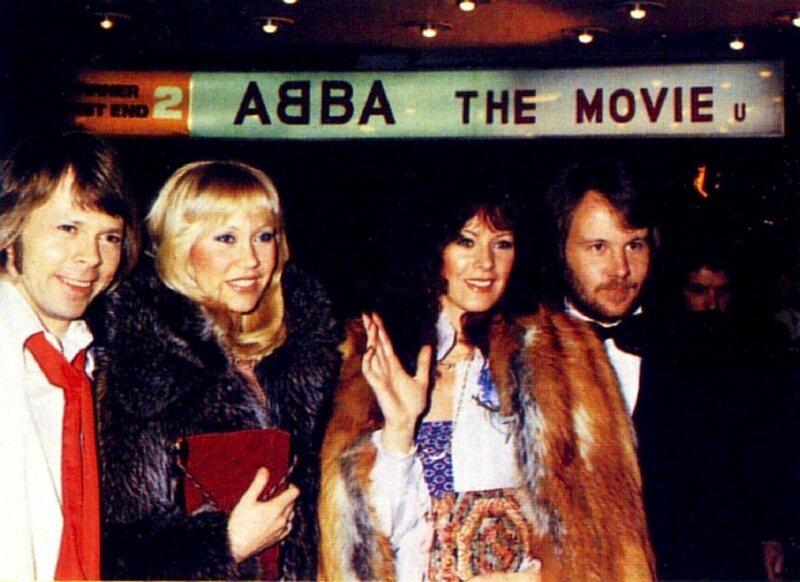 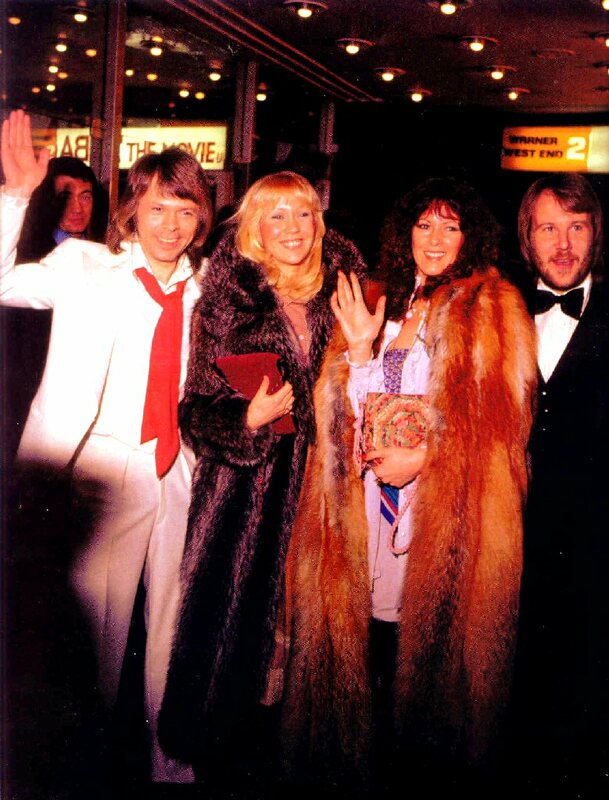 On 16 February ABBA attended the British premiere of "ABBA The Movie" at the Warner Theatre in Leicester Square. 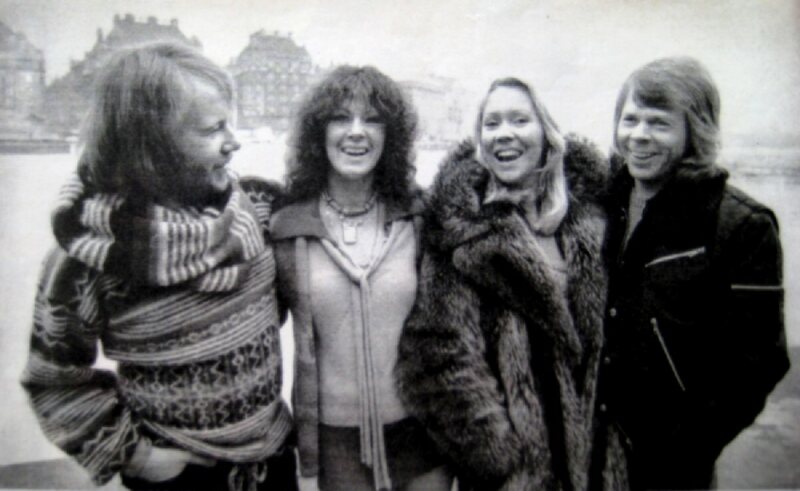 Benny said: "We are always delighted to come to Great Britain. 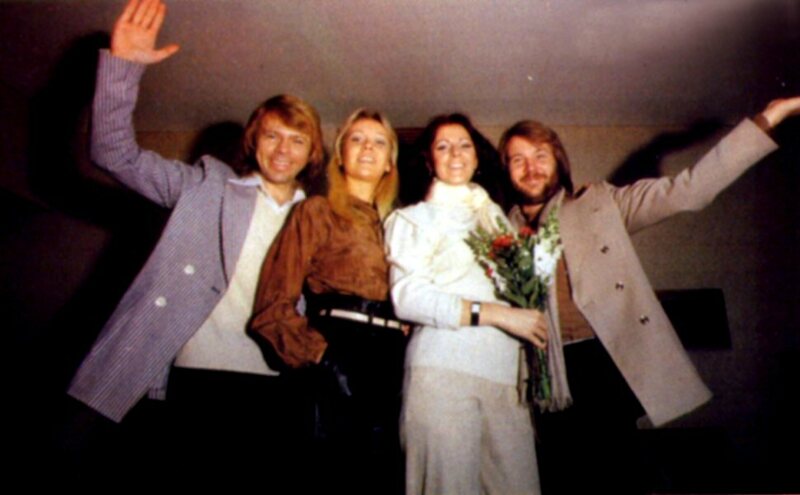 After all, it was here that we won the Eurovision Song Contest and that's something we'll always remember as the biggest milestone in our career". 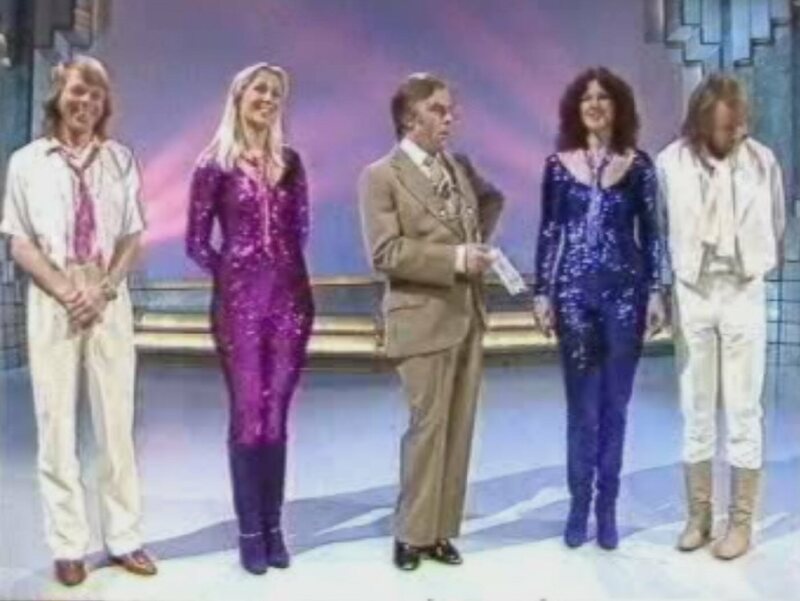 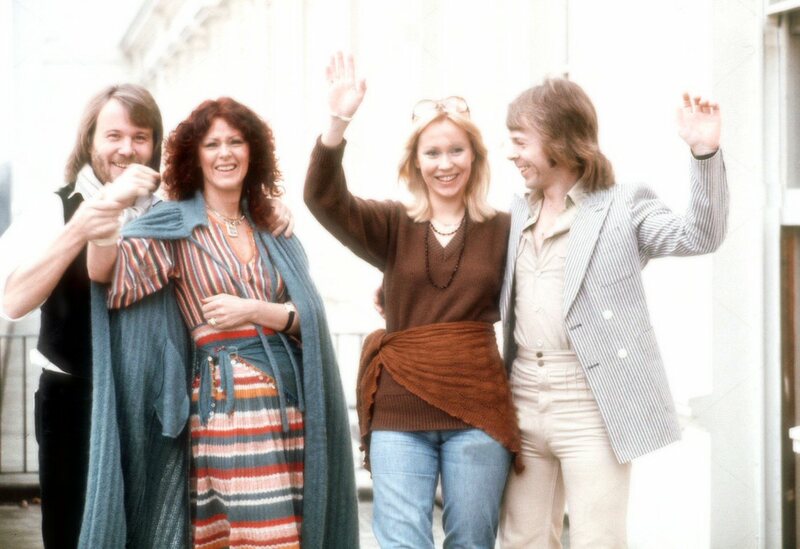 British critics had always been generous to ABBA and this occasion was not to prove any different. 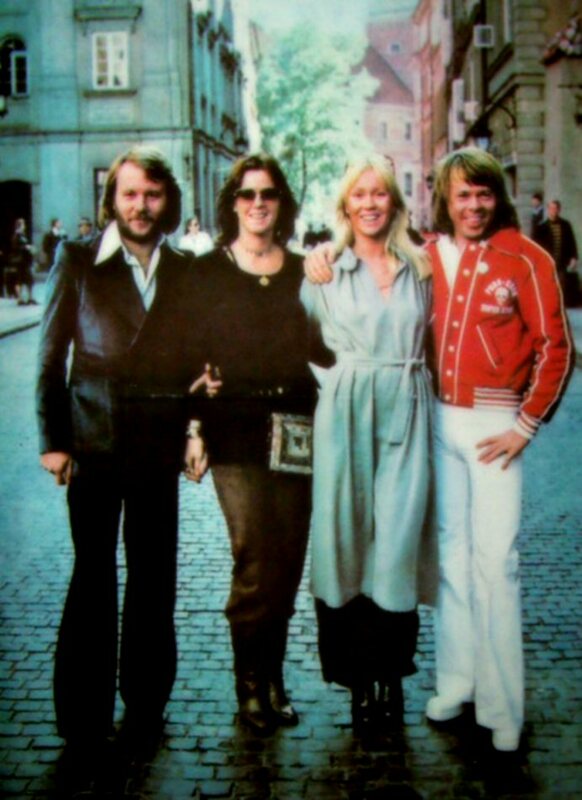 Daily Mirror wrote: "Now the fans can enjoy the sight as well as the sound of wholesome Swedes... 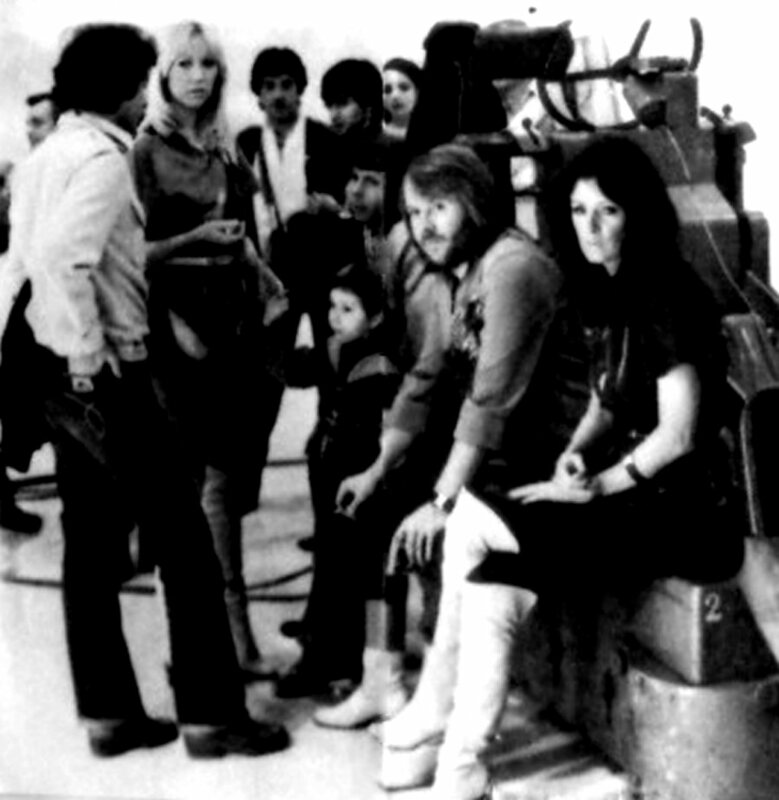 It's a film that is as pure as freshly churned butter." 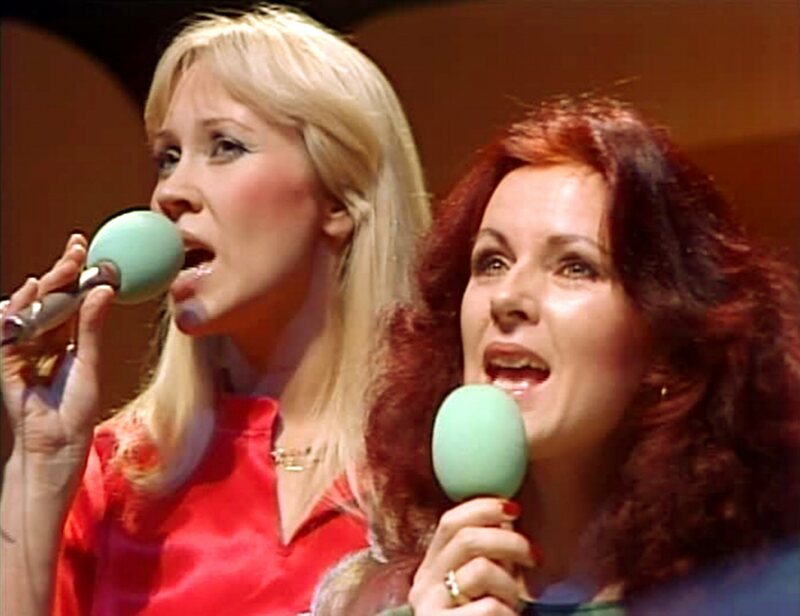 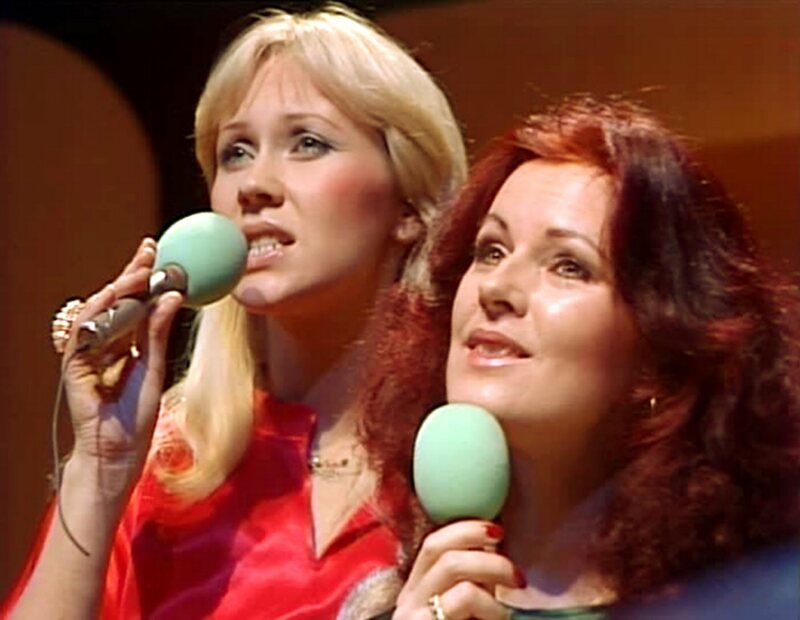 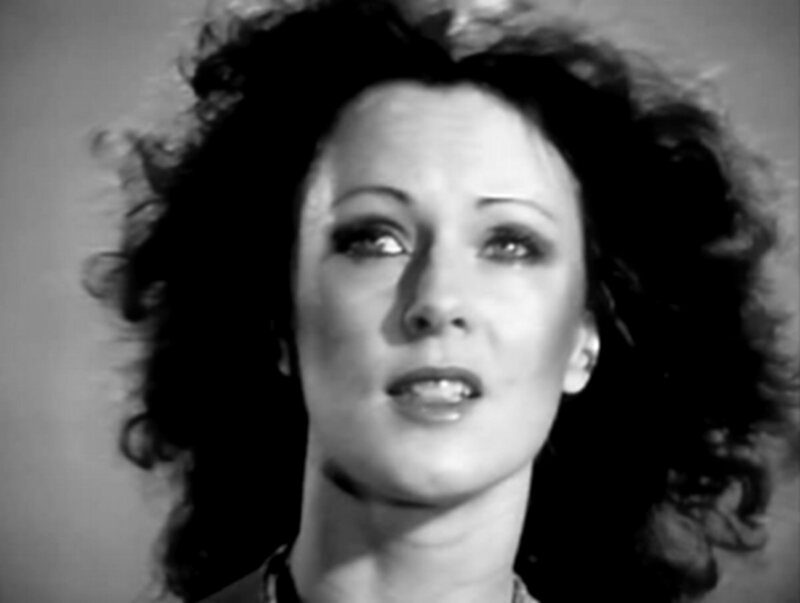 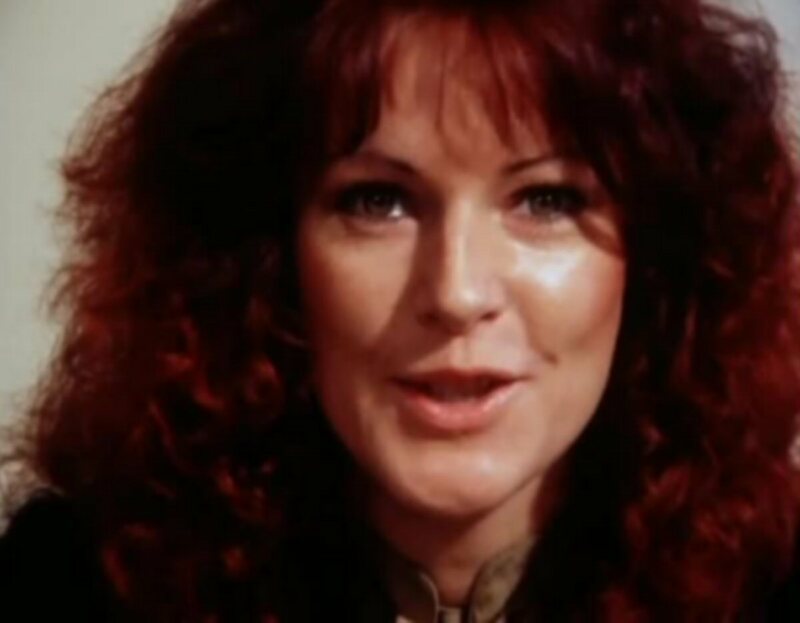 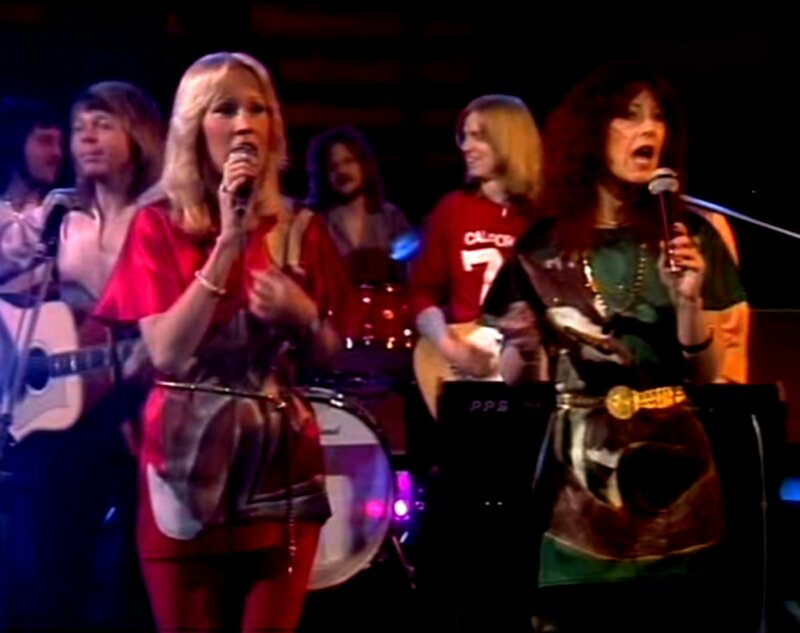 Daily Mail wrote: "One good reason for devoting a whole 95 minute film to these Swedish idols is that they project a wholesome, natural vitality and look as if they wash. Another is that they sing better music than most of their British rivals and also whenever their shrill electronic accompaniment allows us to hear the words, better English." 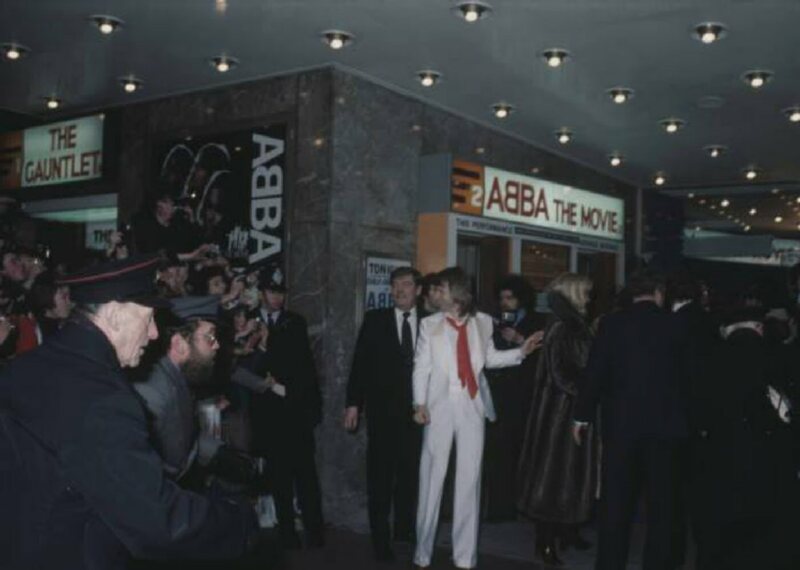 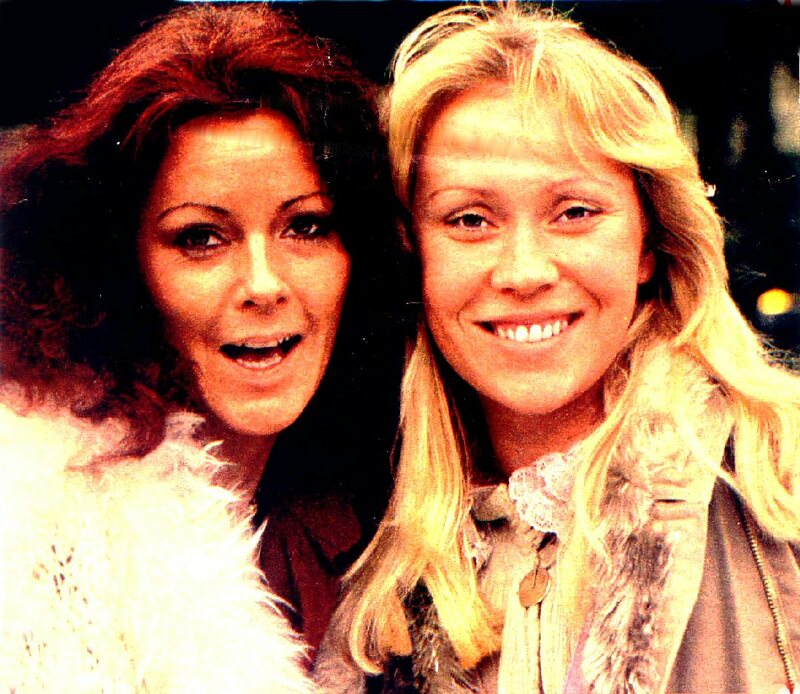 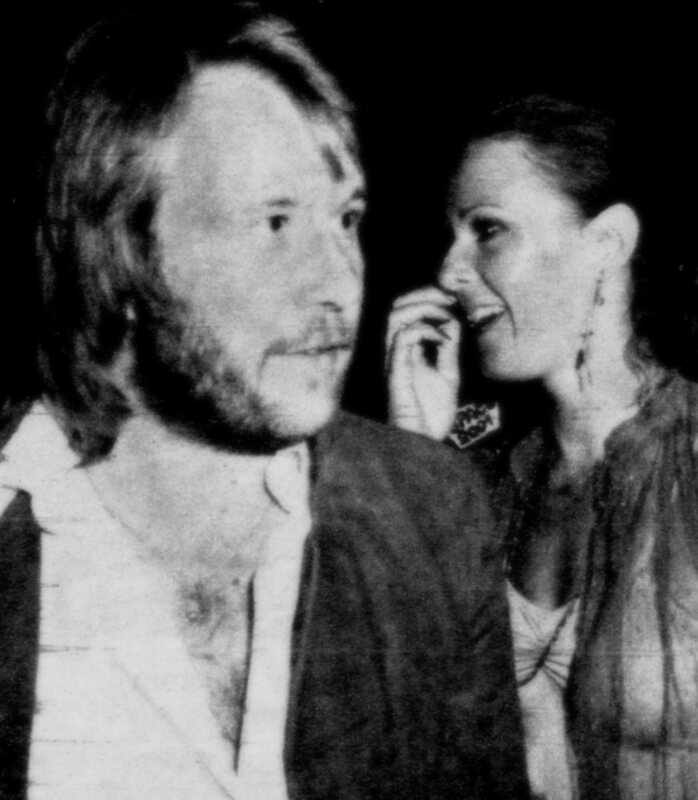 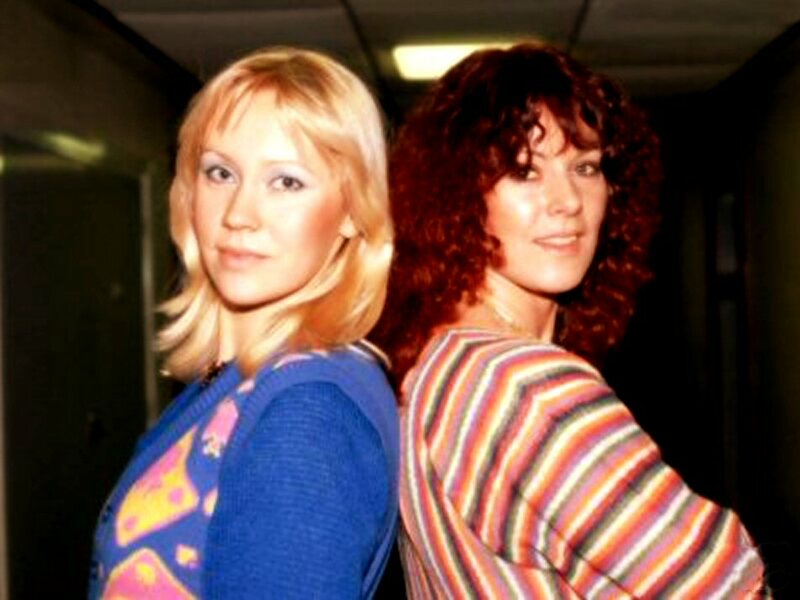 The British press reported: "Young and not-so-young, they'd come in their thousands to see Björn and Benny, Agnetha and Frida arrive for the gala premiere of "ABBA - The Movie", at the world-renowned Warner Cinema. 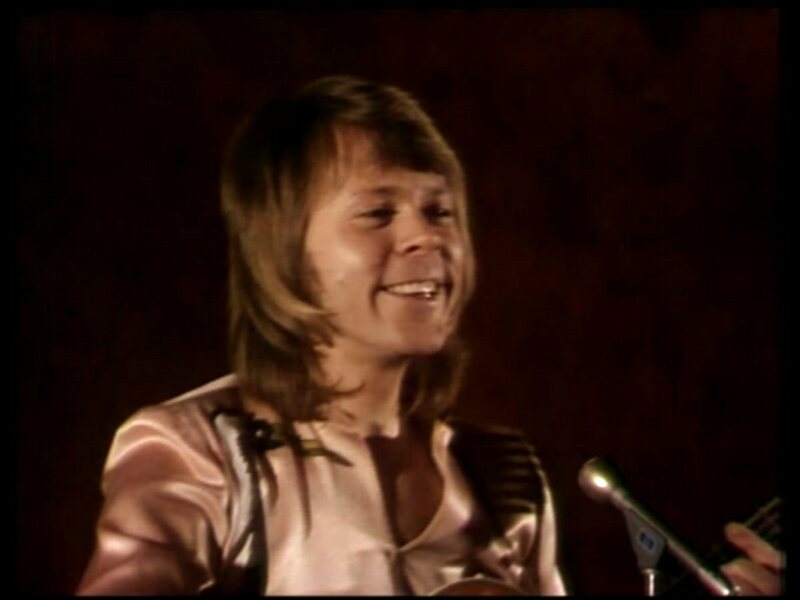 At last, it happened - the voice boomed out through the public address -Ladies and gentlemen! 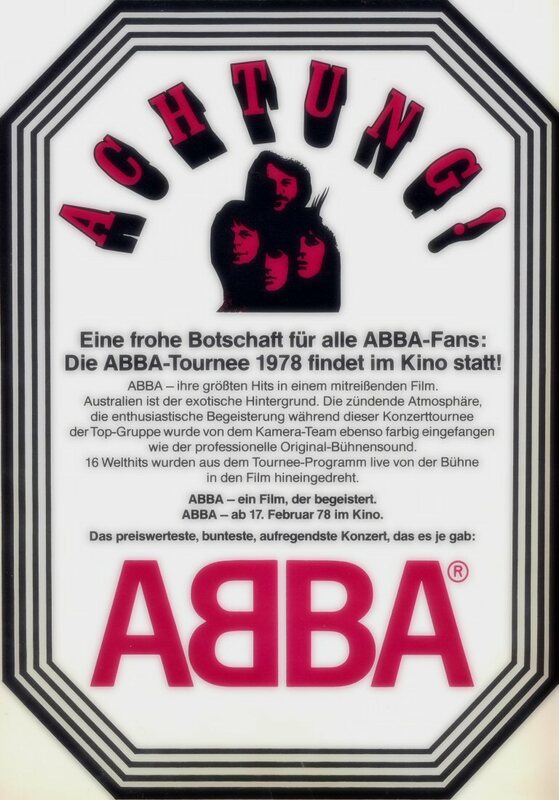 The moment you've been waiting for! 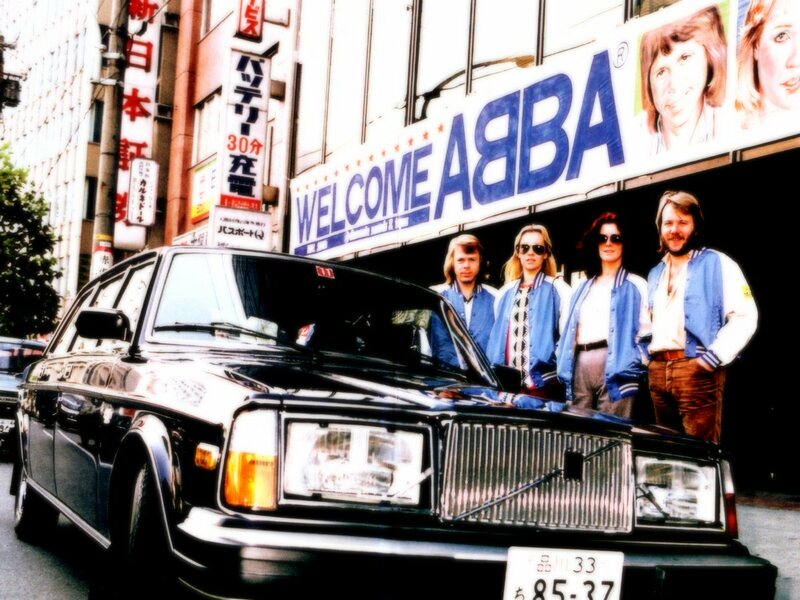 Will you welcome... ABBA! 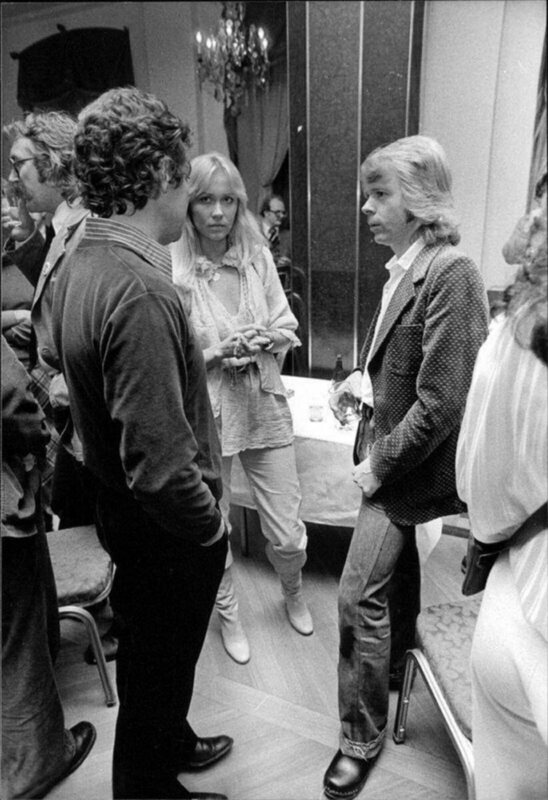 A battery of spotlights turned on one of the entrances, and there, caught in the glare, staring about them in utter bewilderment stood a party of guests. 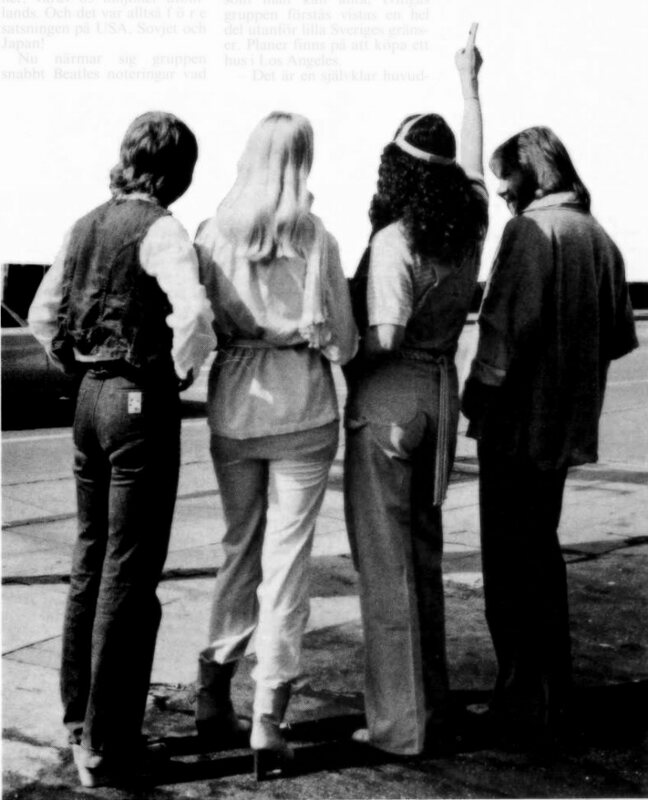 And suddenly, there they were. 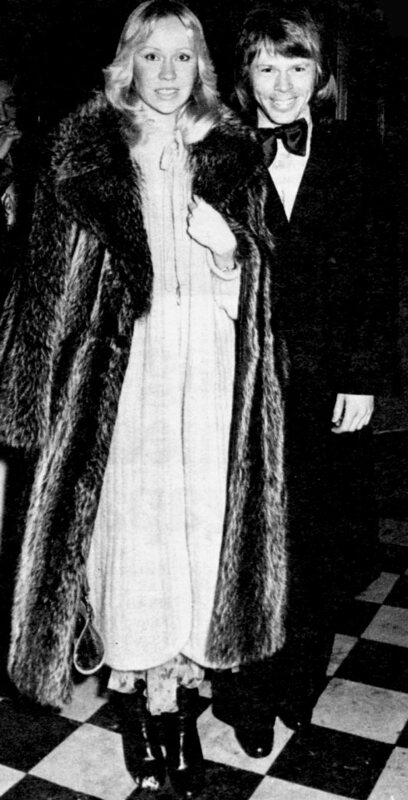 Nicely suited and immaculate, unflappably acknowledging the applause that swelled up from the onlookers. 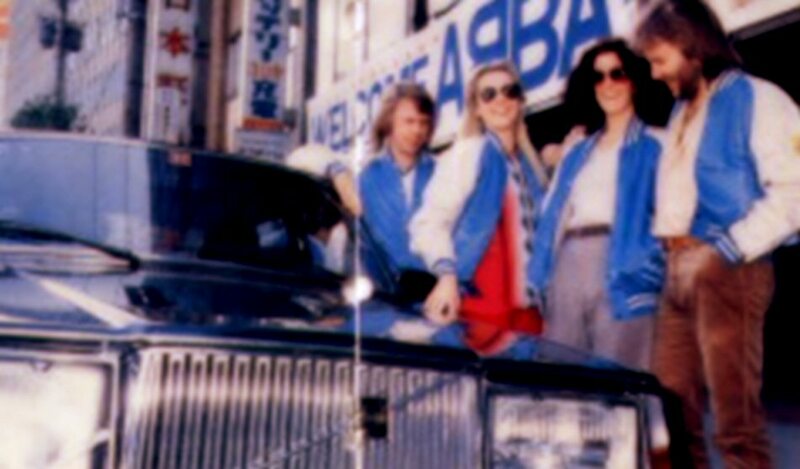 Waving and smiling like true showbiz royalty as they made unhurriedly for the special seats reserved for them. 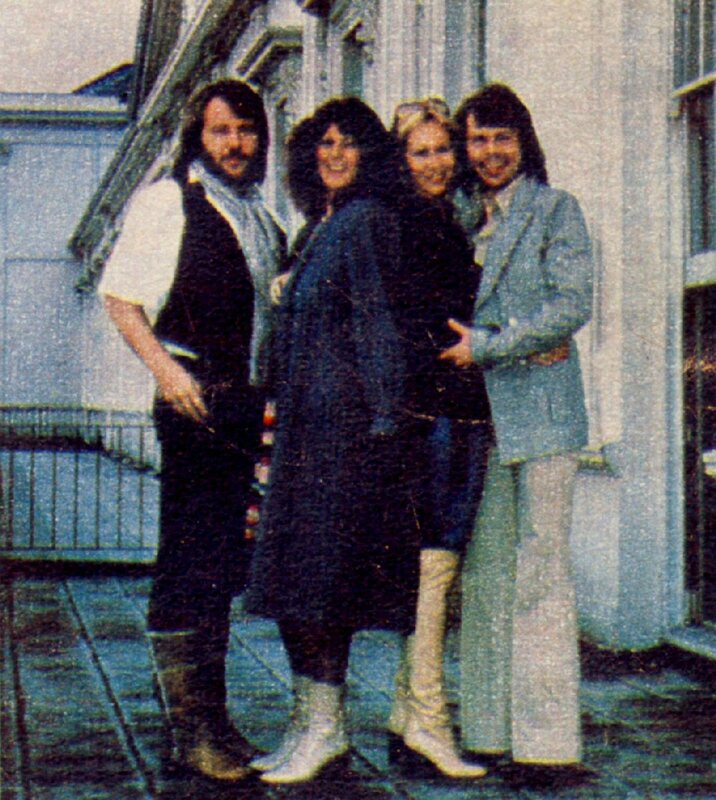 Four totally relaxed people with that indefinable something - that charisma that sets apart the stars from the strugglers. 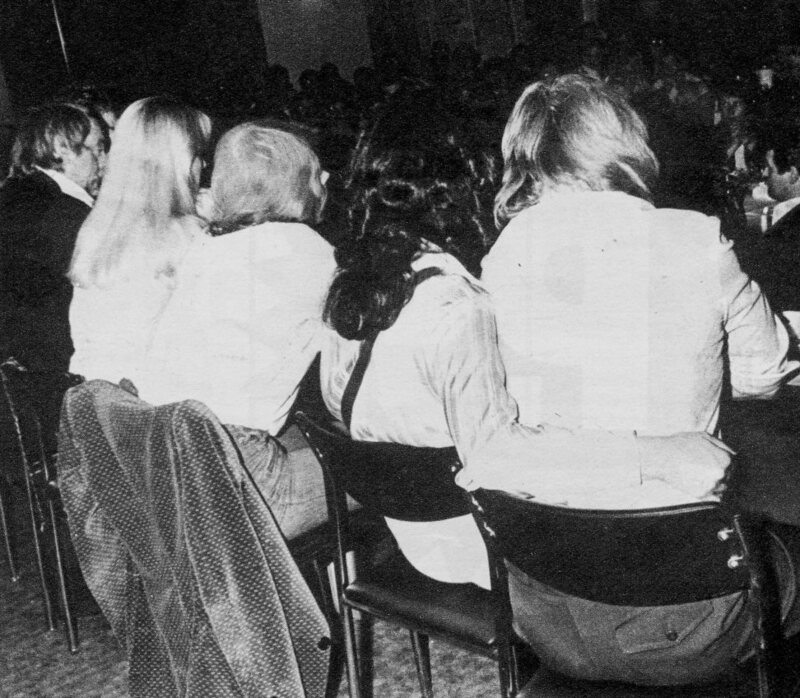 Now the lights dimmed, and the audience settled down for two hours of thrue spectacle. 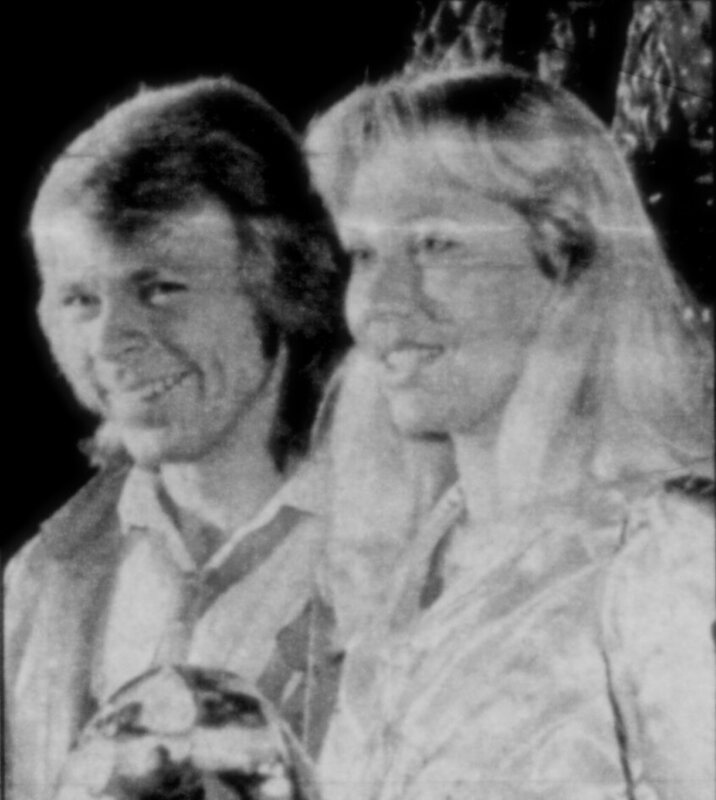 A film beautifully directed and photographed, which as it goes from cinema to cinema around the country, will amply fulfil its declared aim. 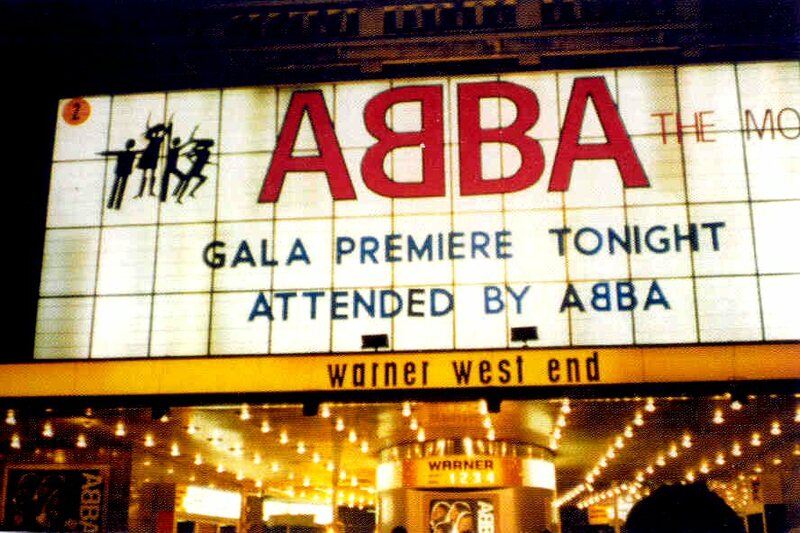 To quote Benny: -You can say that the film will take the place of an ABBA concert tour this year. 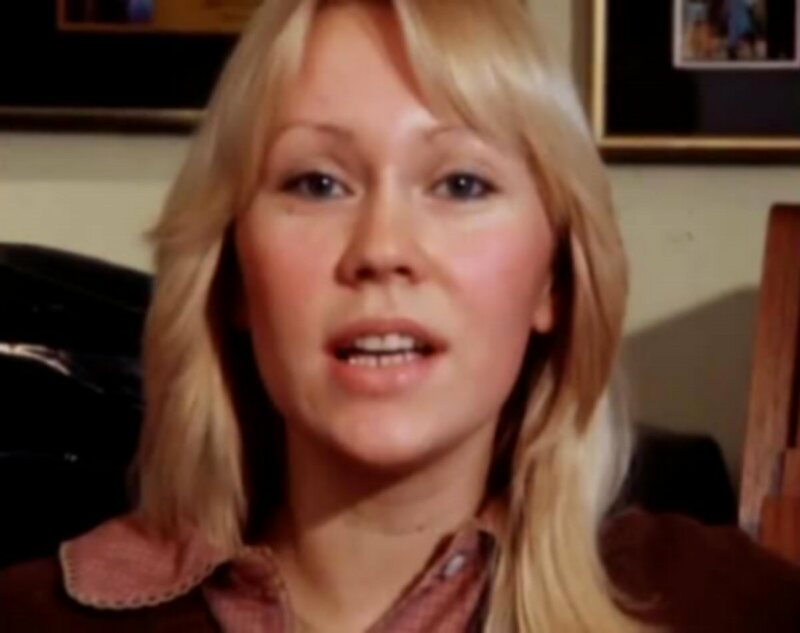 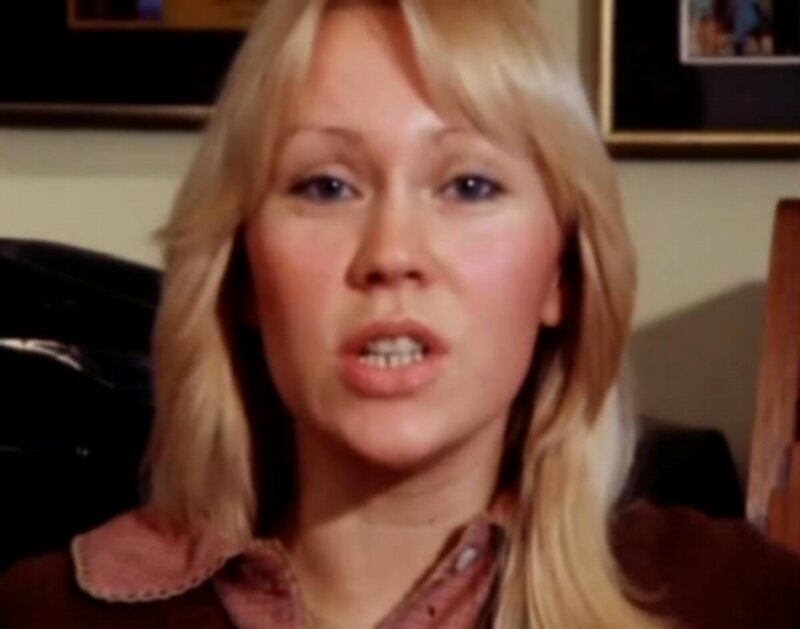 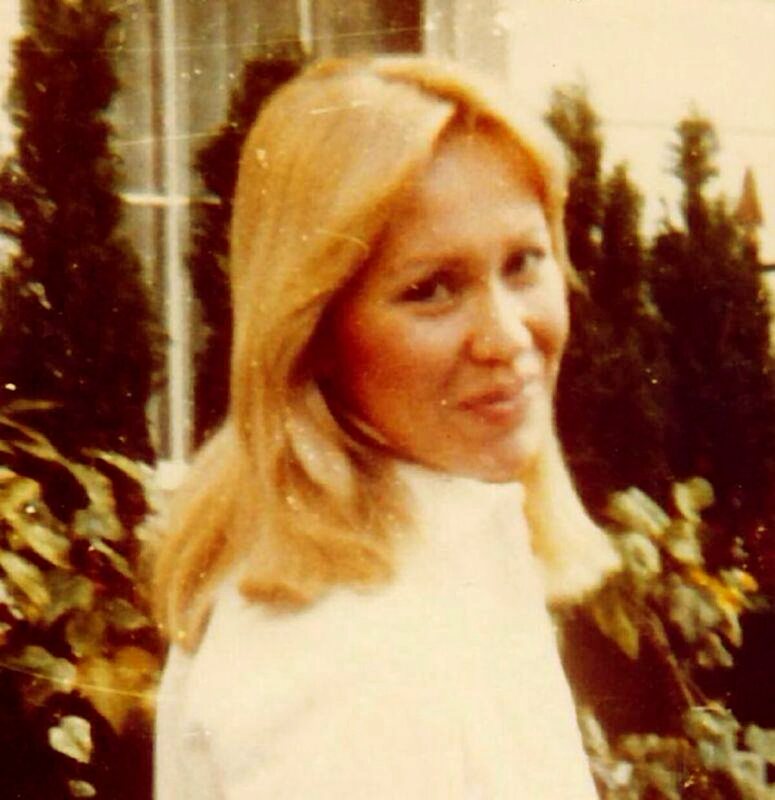 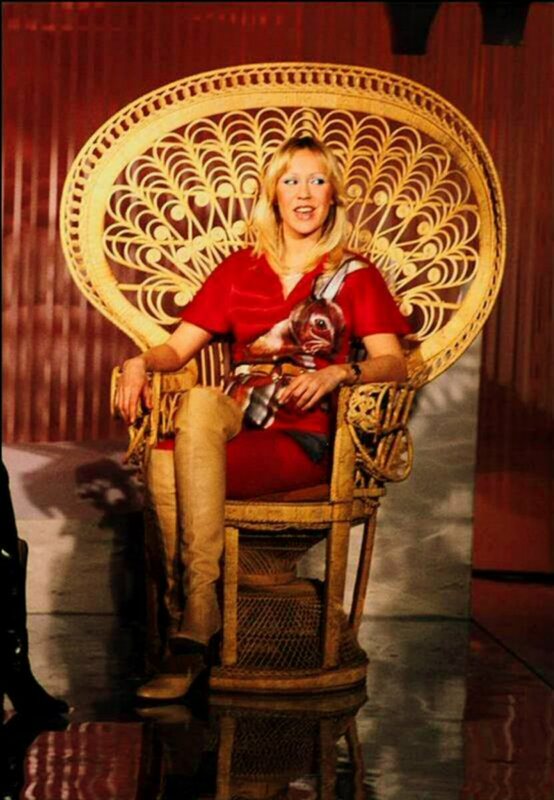 Says Agnetha: - We really do need a rest this year, and the movie will provide it for us. 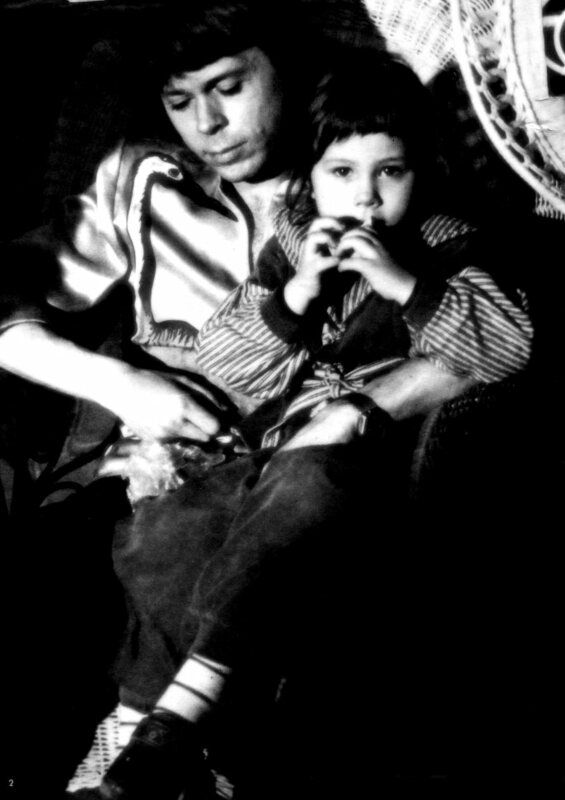 There is a limit to what we can take in the way of touring, and just to grab ourselves some releaxation, some family life, will be pure heaven. 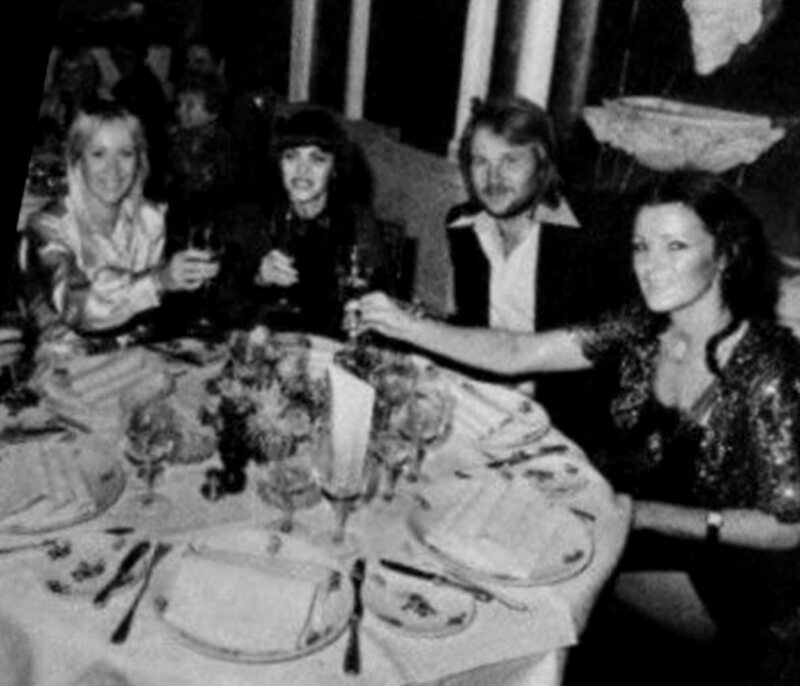 After the film, there was a reception in one of the largest suites in the Cafe royal, Regent Street. 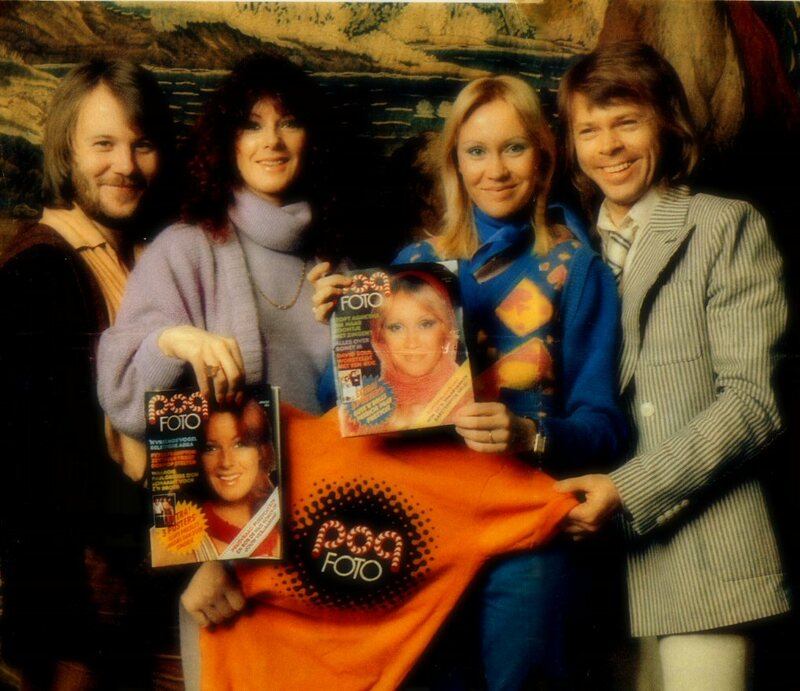 Familiar faces from the pop world seemed to be everywhere. 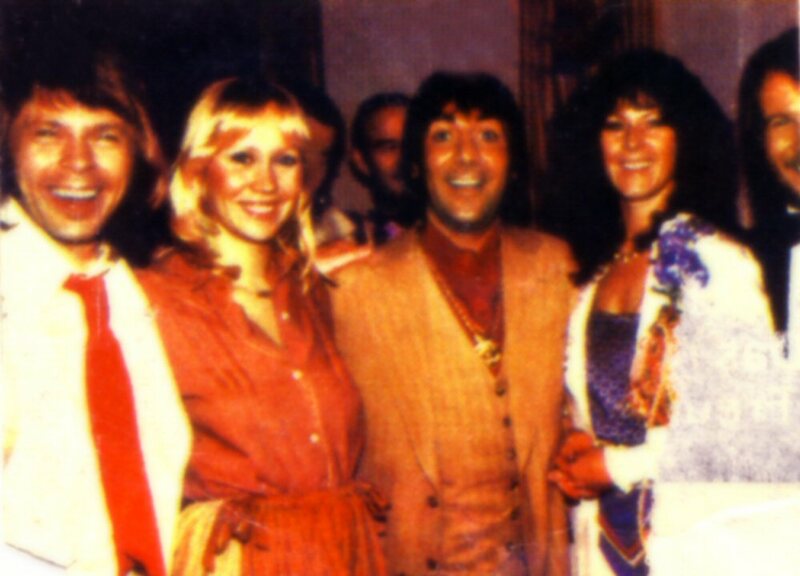 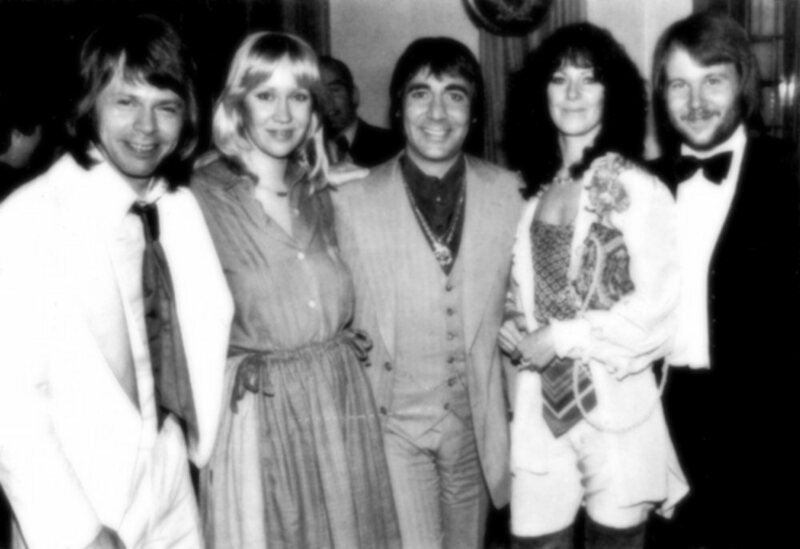 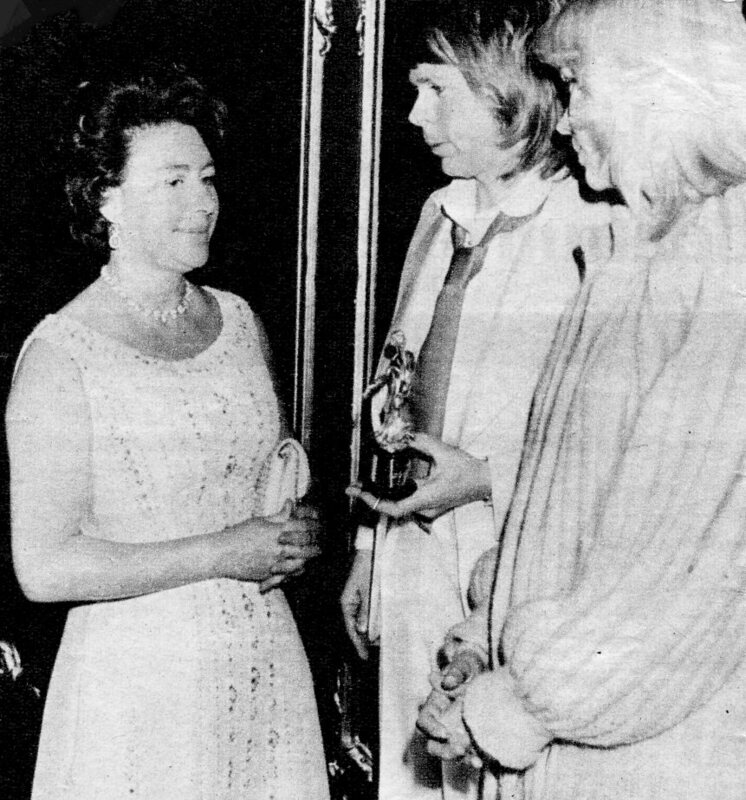 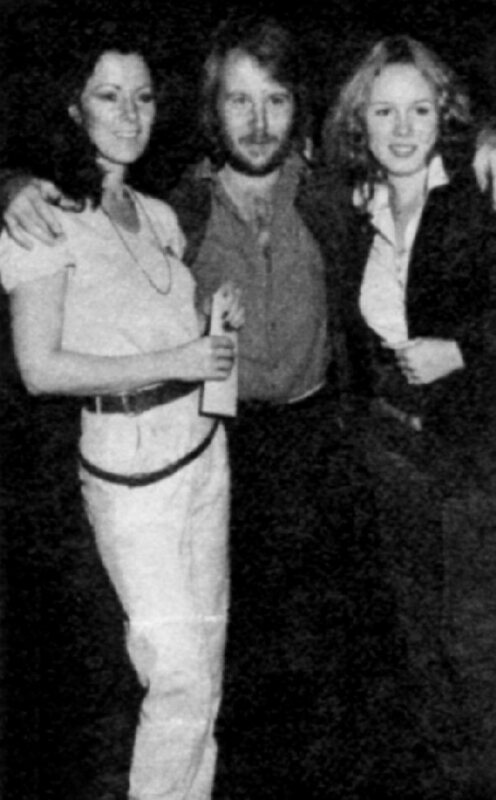 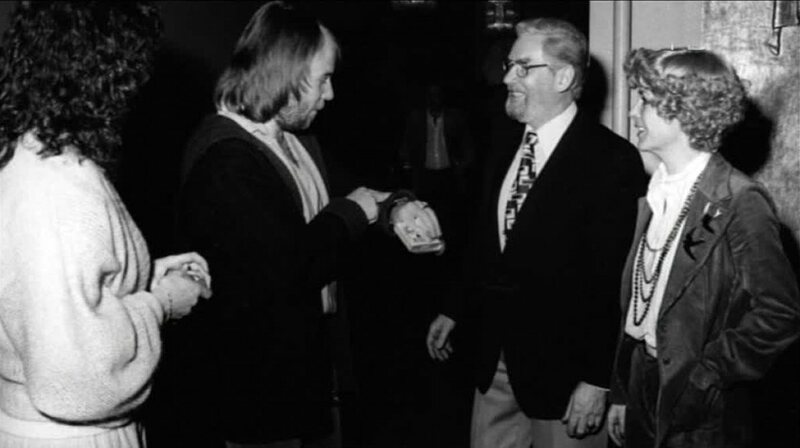 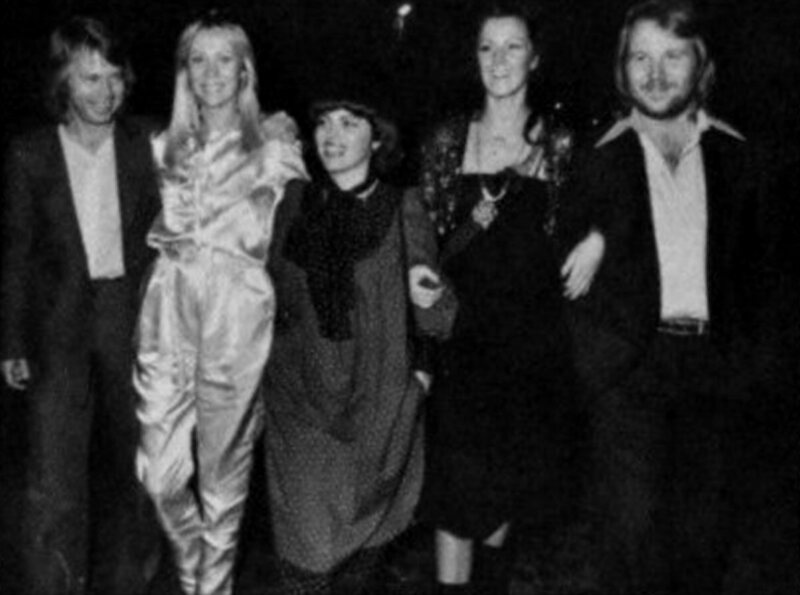 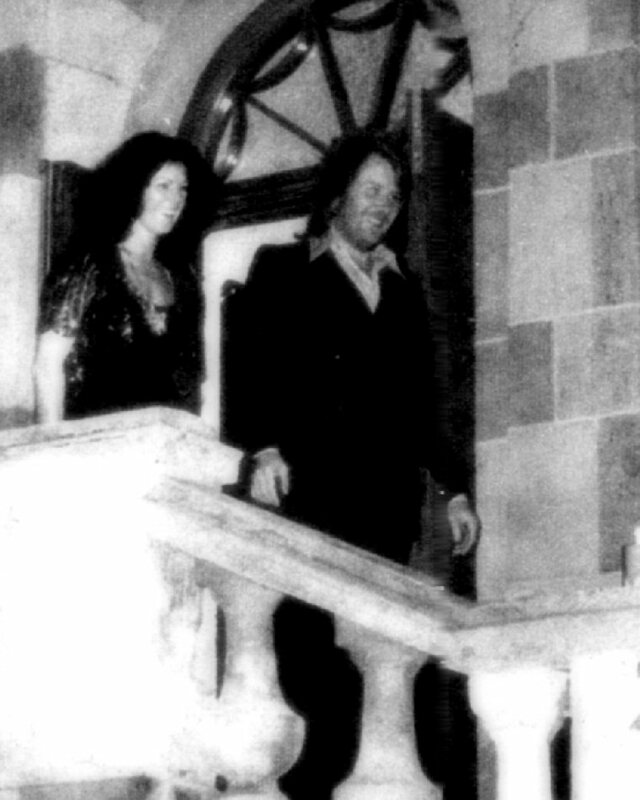 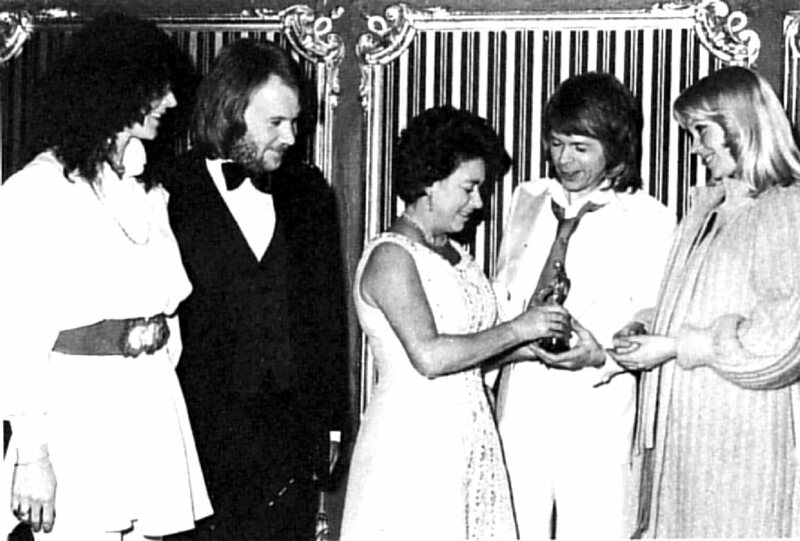 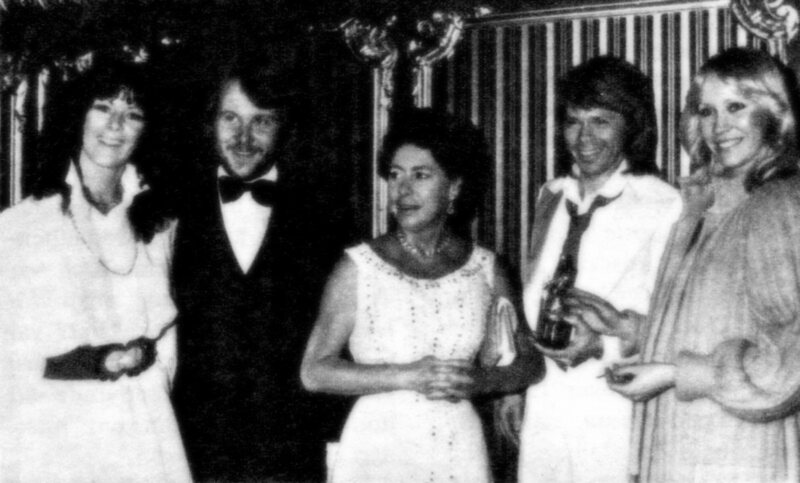 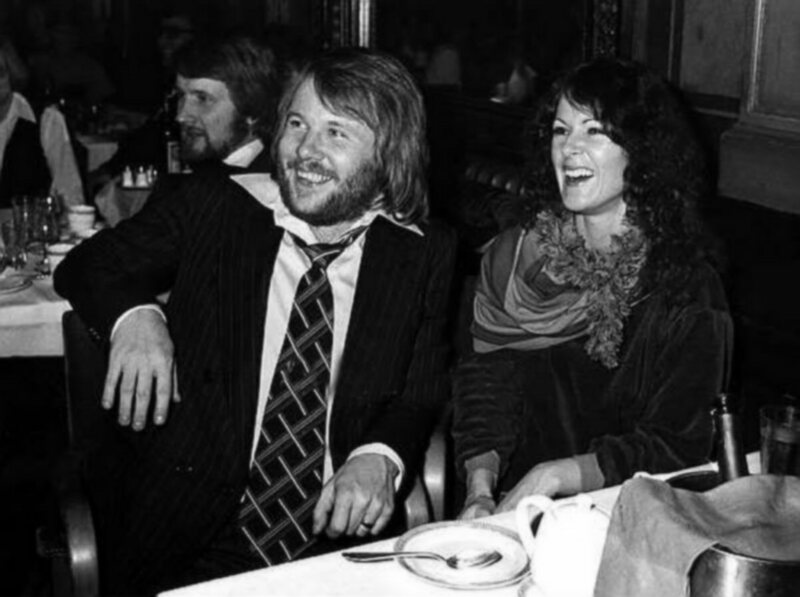 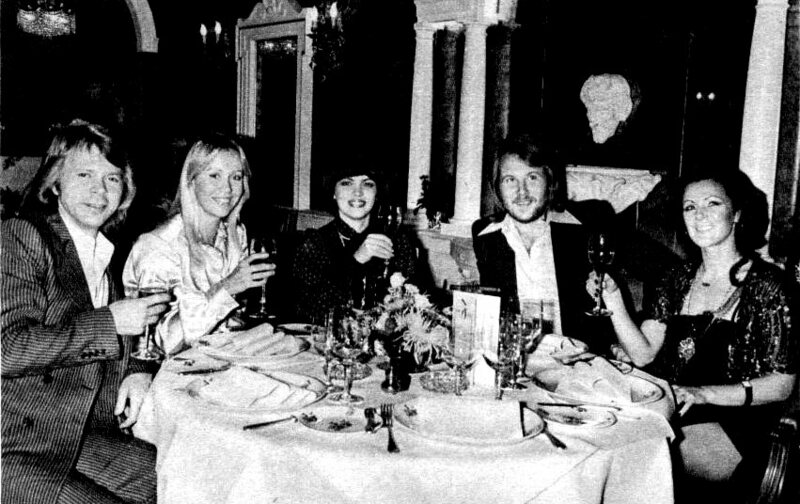 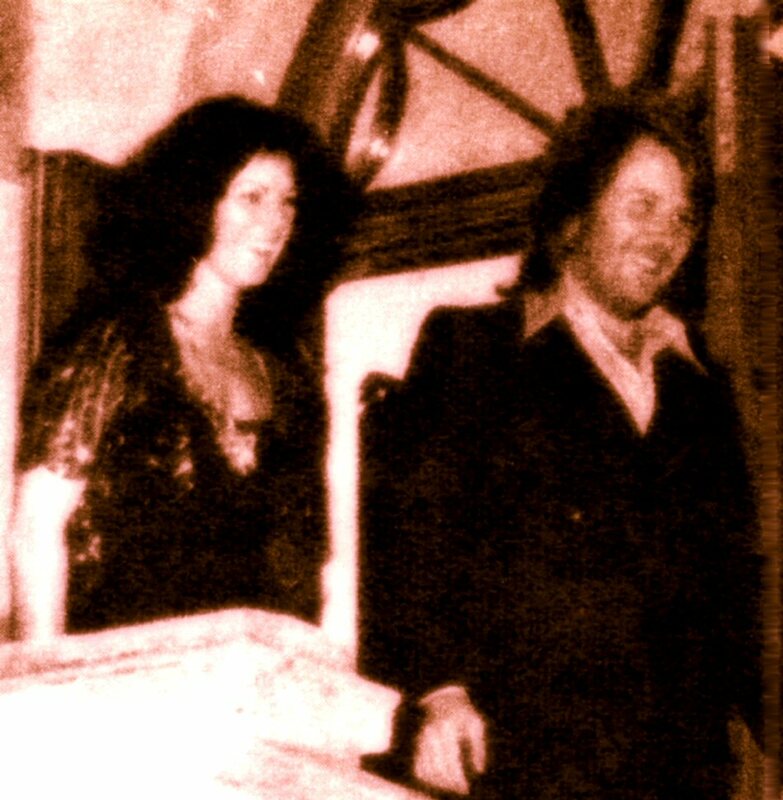 ABBA's brief trip to the UK for the launch of "ABBA The Movie" included a visit to the Lyceum Ballroom where Princess Margaret presented them with the Carl-Alan award for top group of 1977. 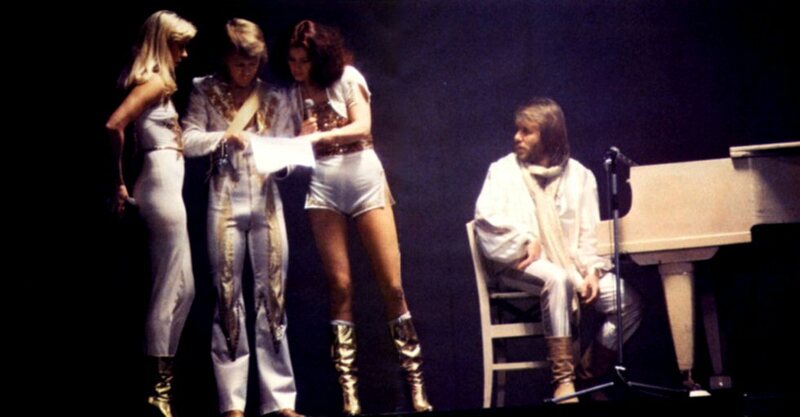 "She was very nice," commented Björn. 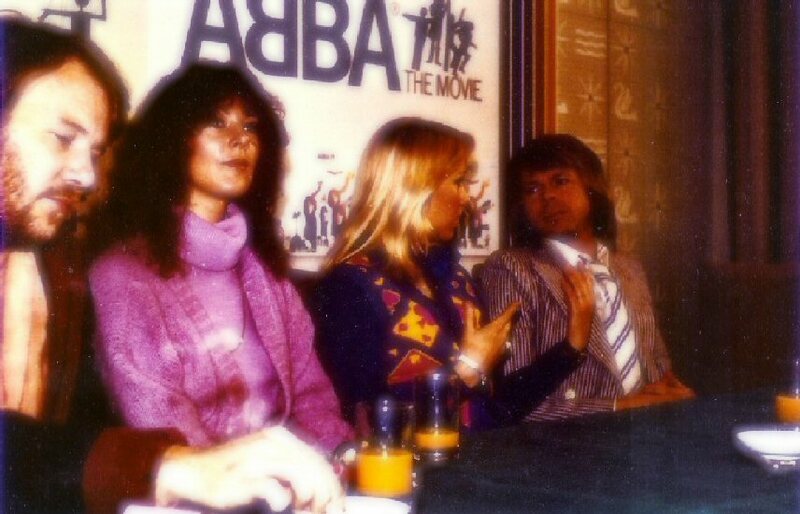 "But she didn't say whether or not she was an ABBA fan!" 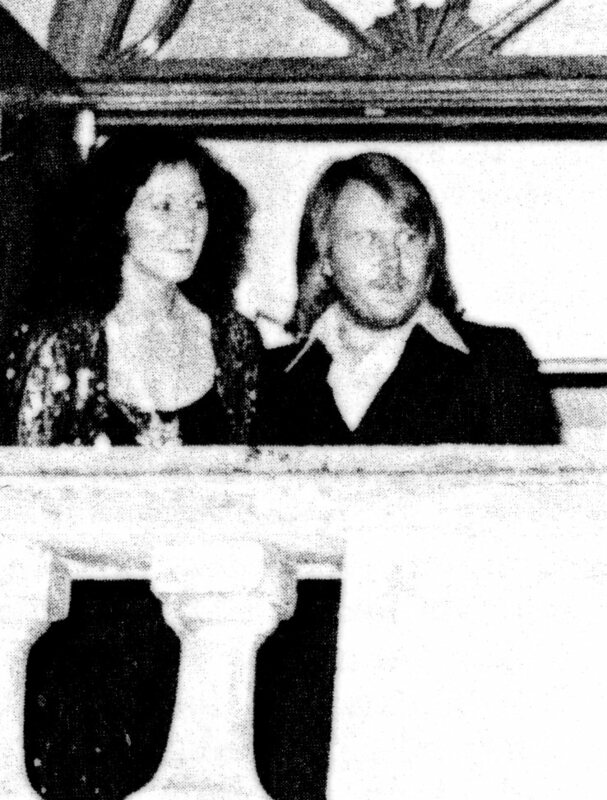 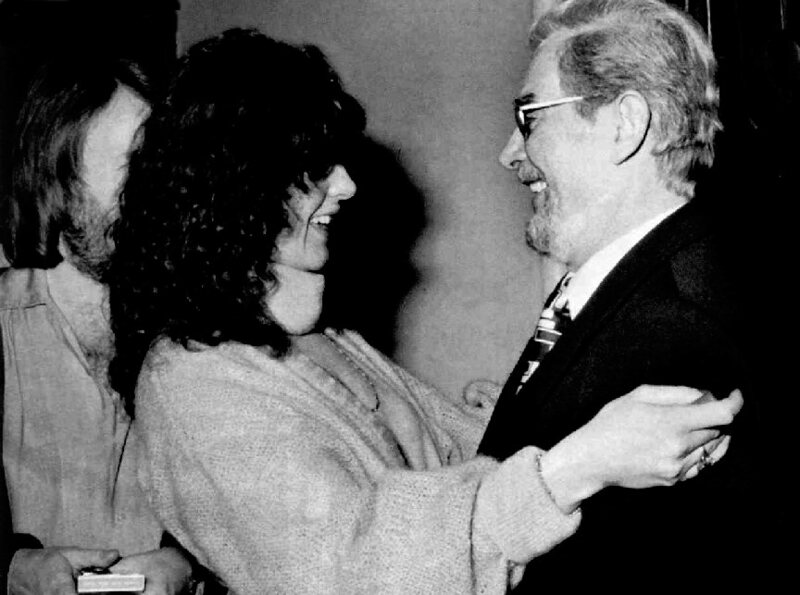 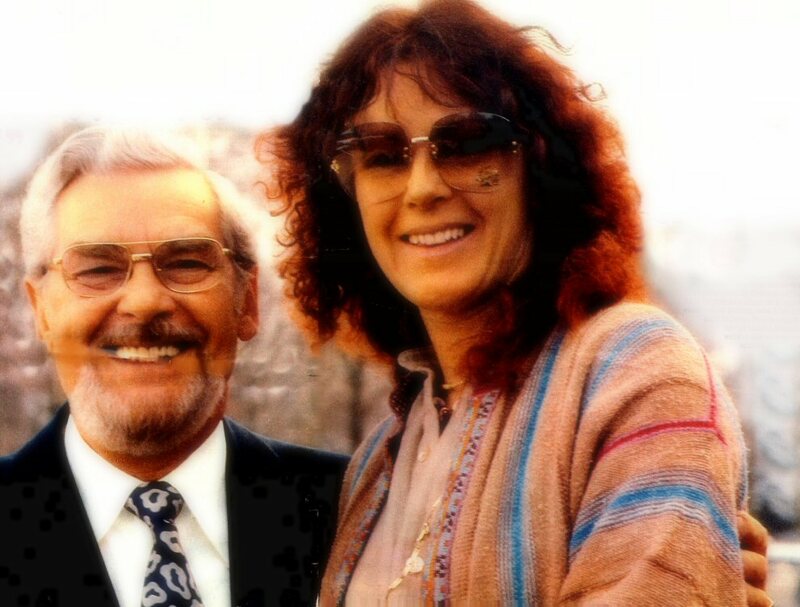 Frida and Benny attended the Swedish premiere of Steven Spielberg's movie "Close Encounters of the Third Kind" in February 1978. 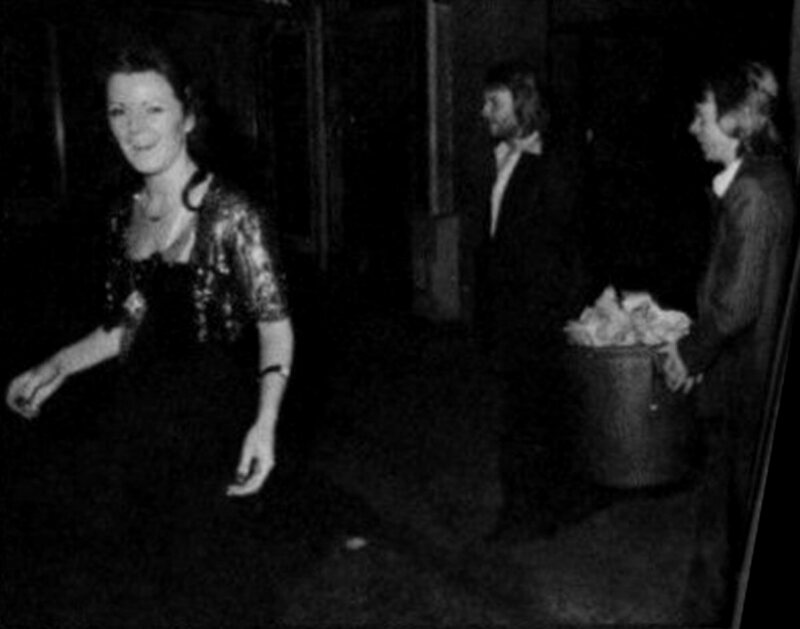 The party after the premiere was arranged at the night-club "Atlantic" in Stockholm. 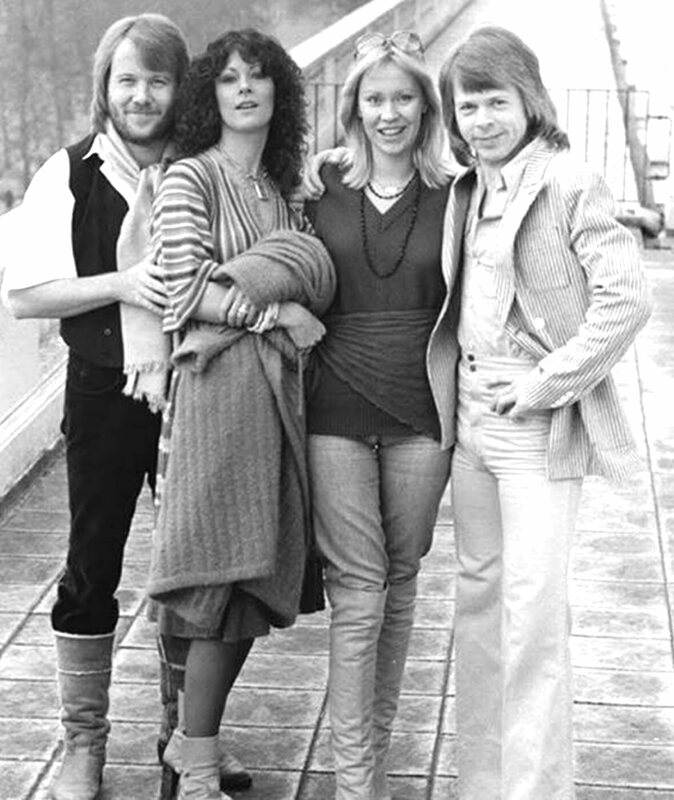 ABBA posed for photographers in Nybrokajen in Stockholm one day in February. 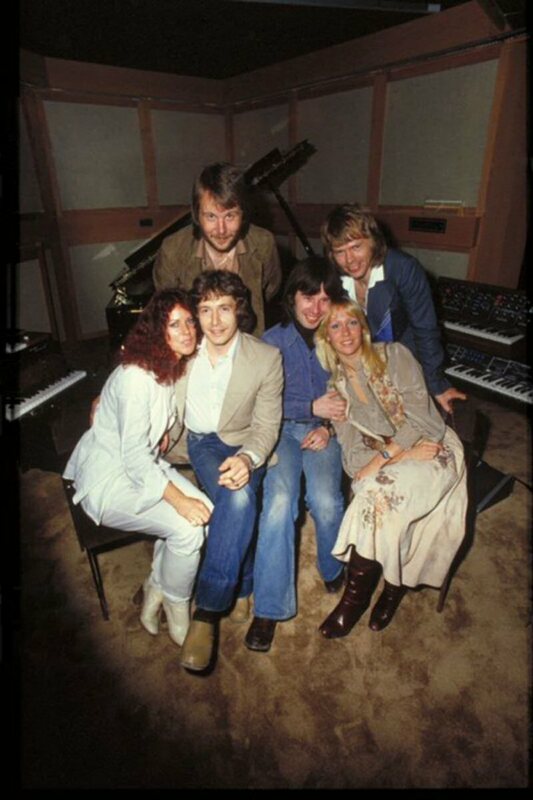 This session was taken at the beginning of 1978 possibly in connection to the group's promo visit in London. 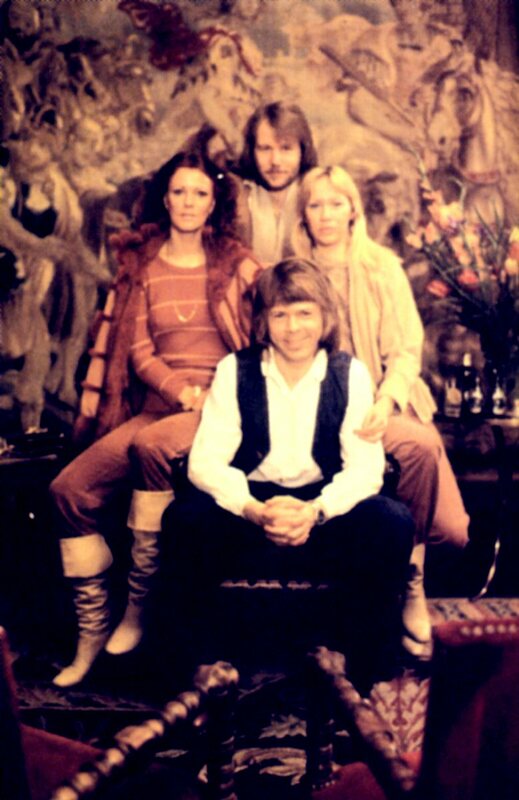 Alternative photo sessions featuring faces and profiles of the four ABBA members. 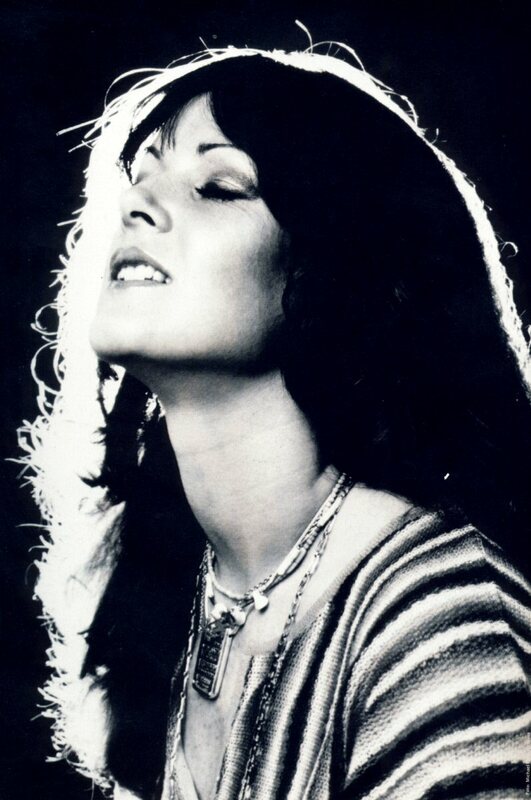 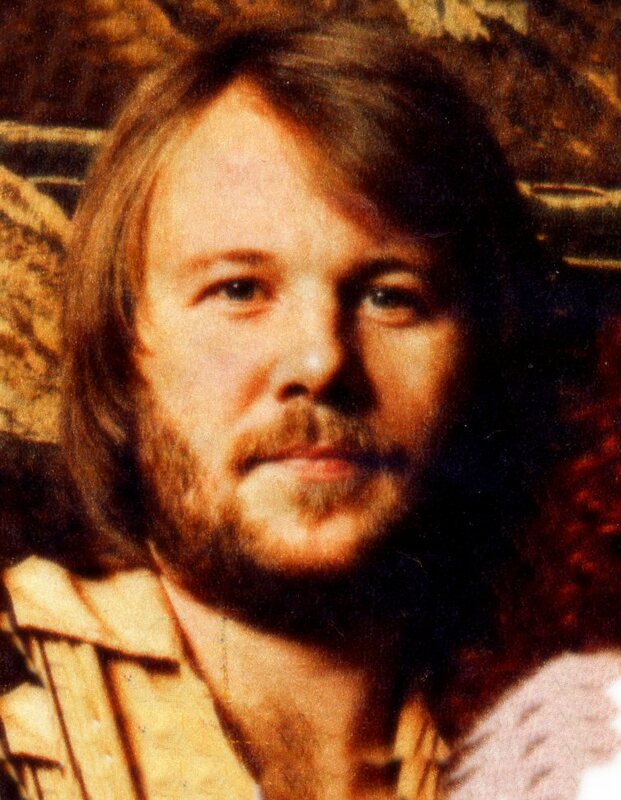 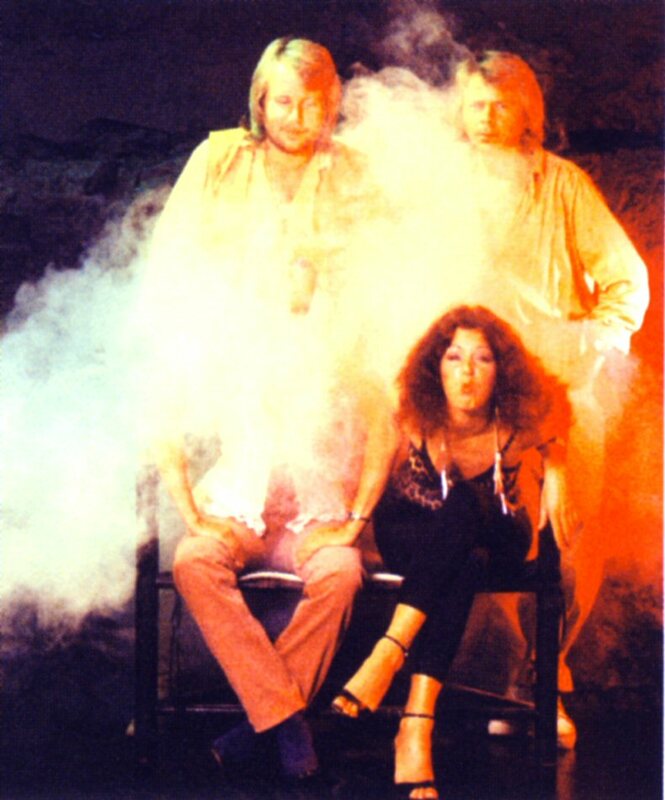 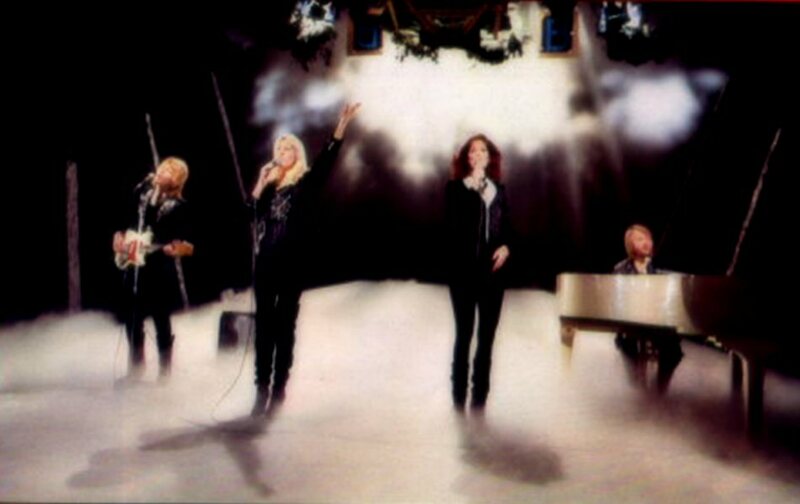 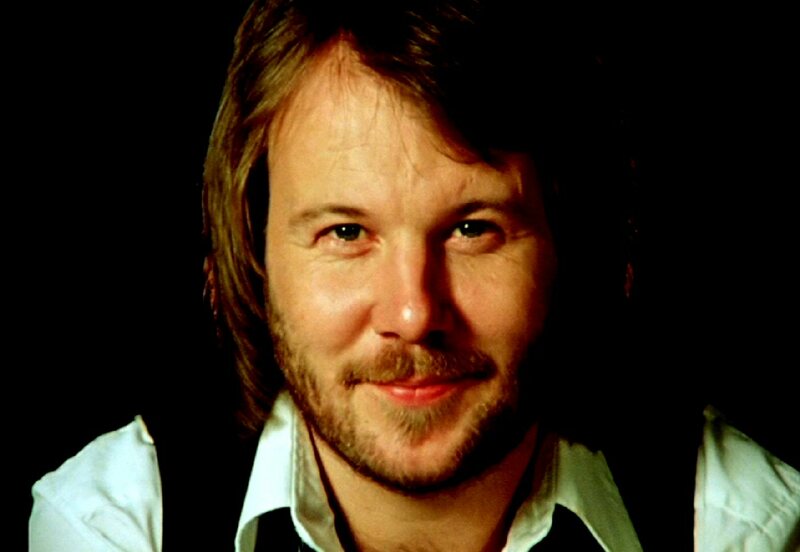 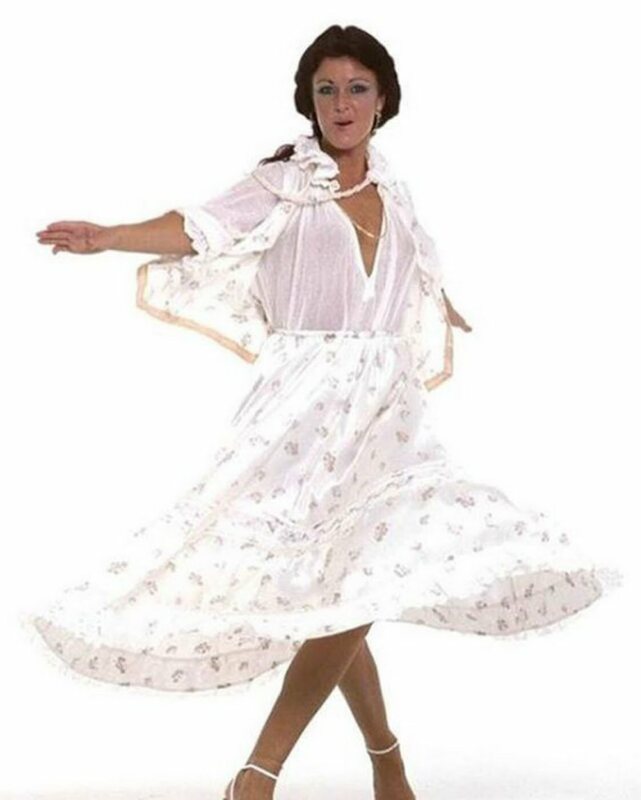 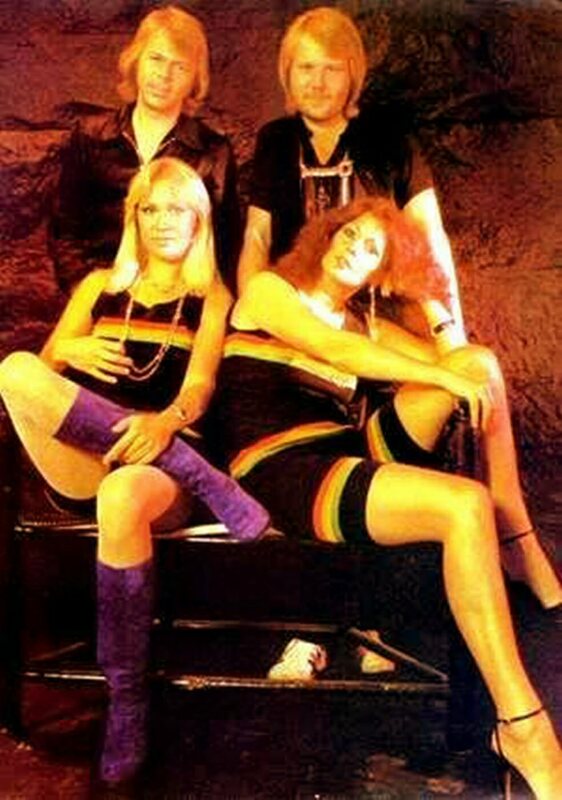 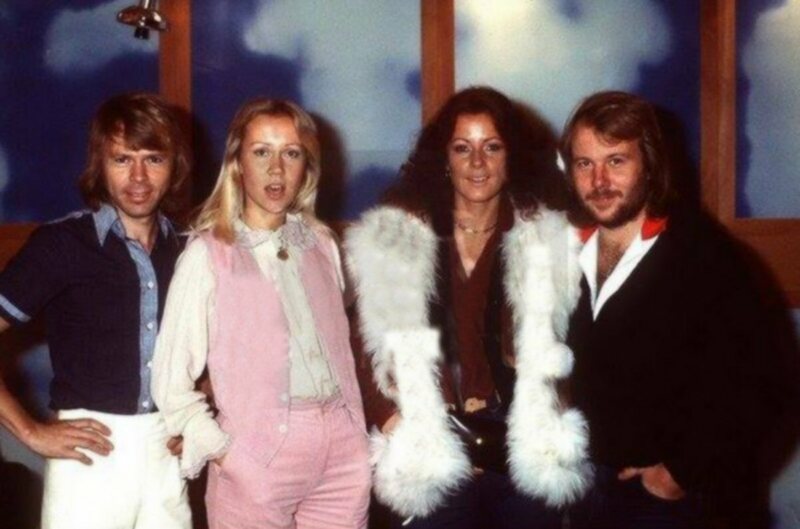 Shots from this session were used on the cover of the single "Eagle"
Directly from England ABBA came to Germany to made promotion for both their new SP "Take A Chance On Me" and "ABBA The Movie". 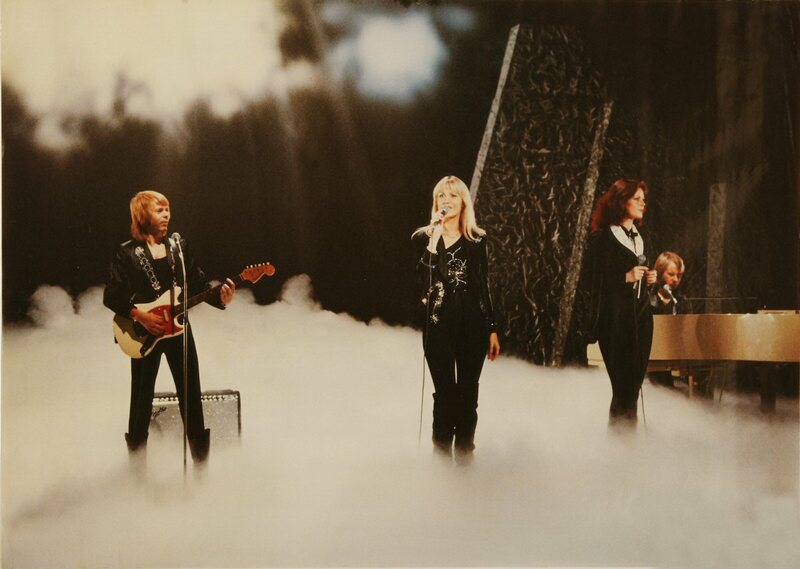 They performed in the TV show "Auf laufenden Band". 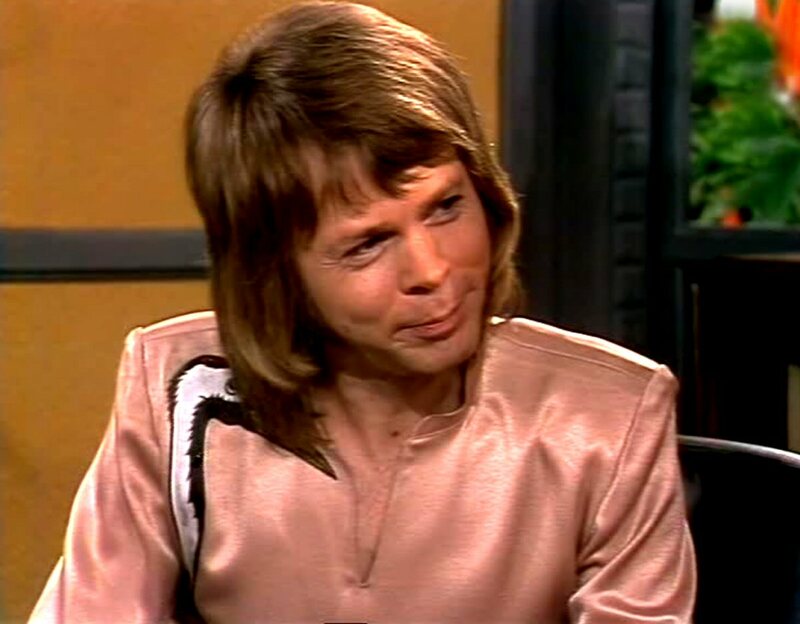 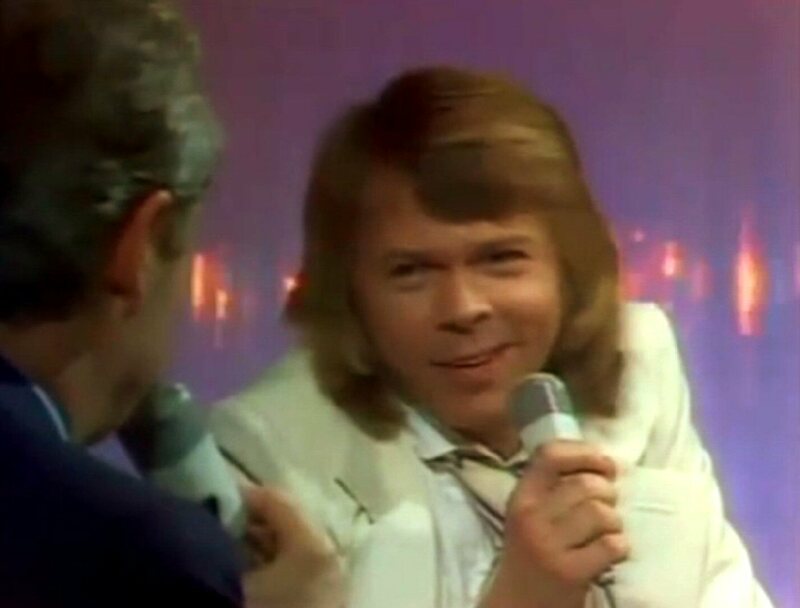 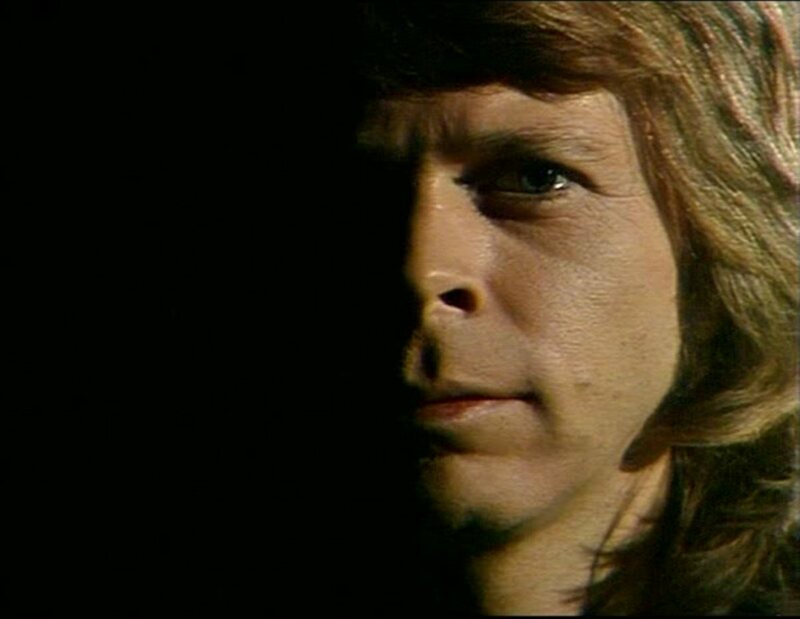 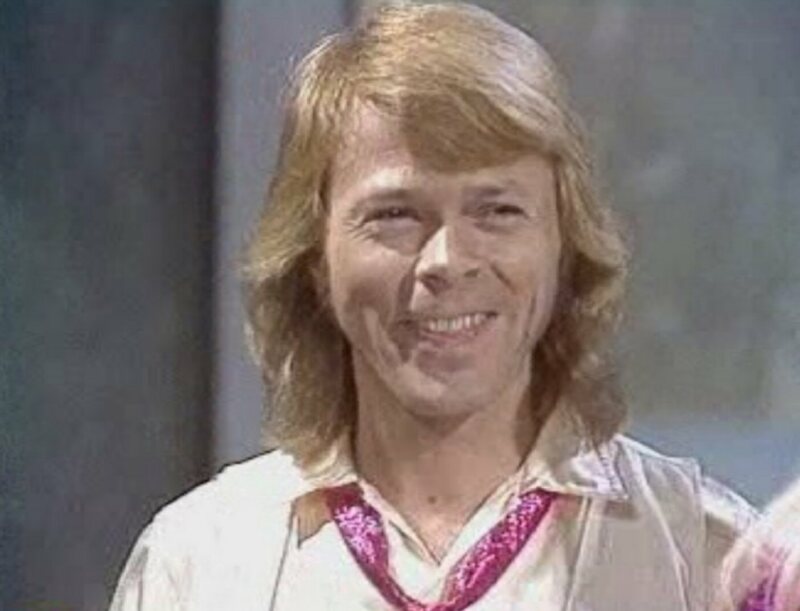 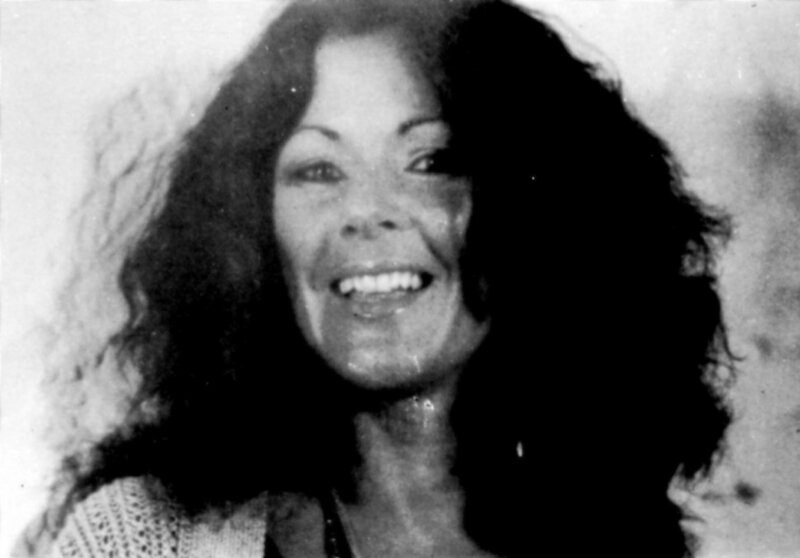 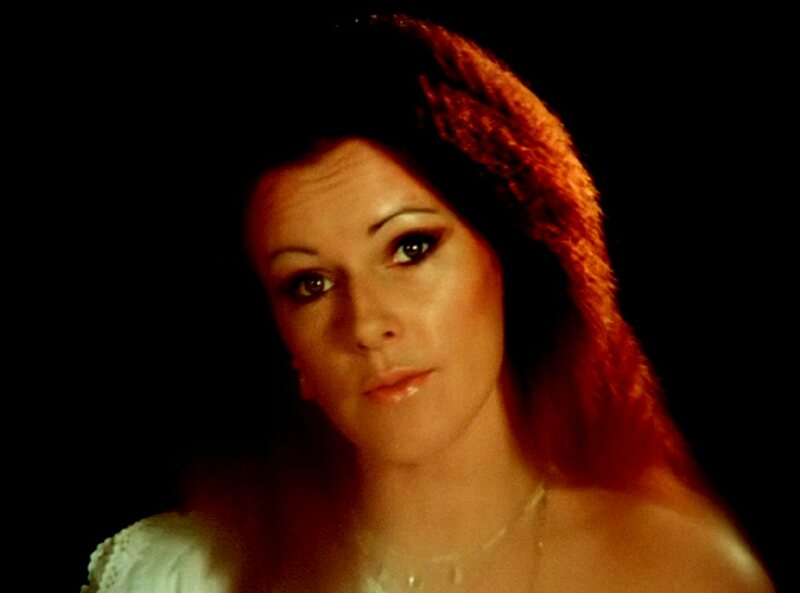 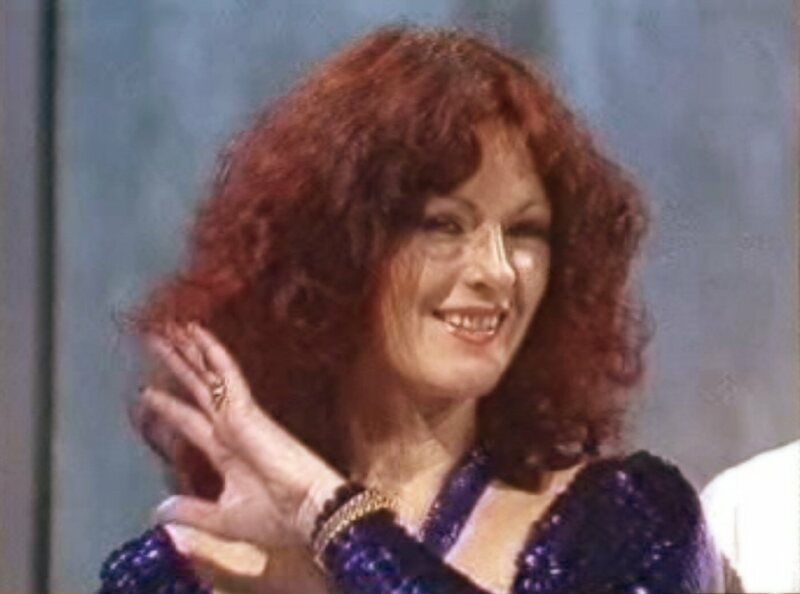 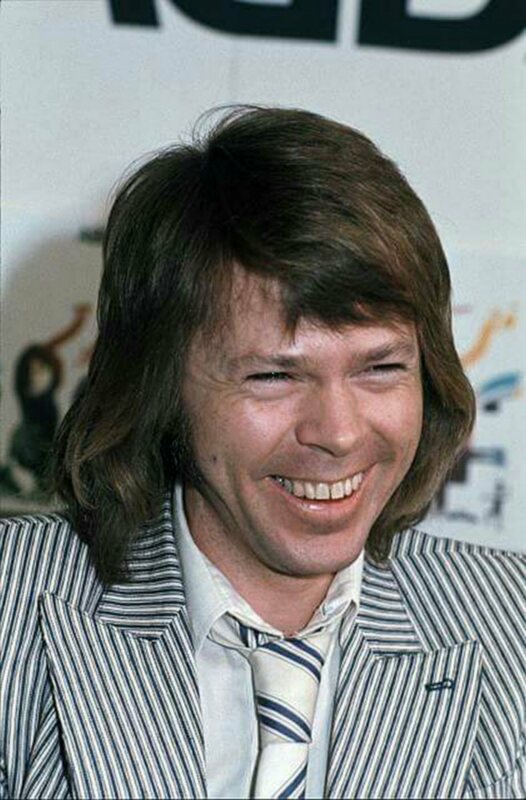 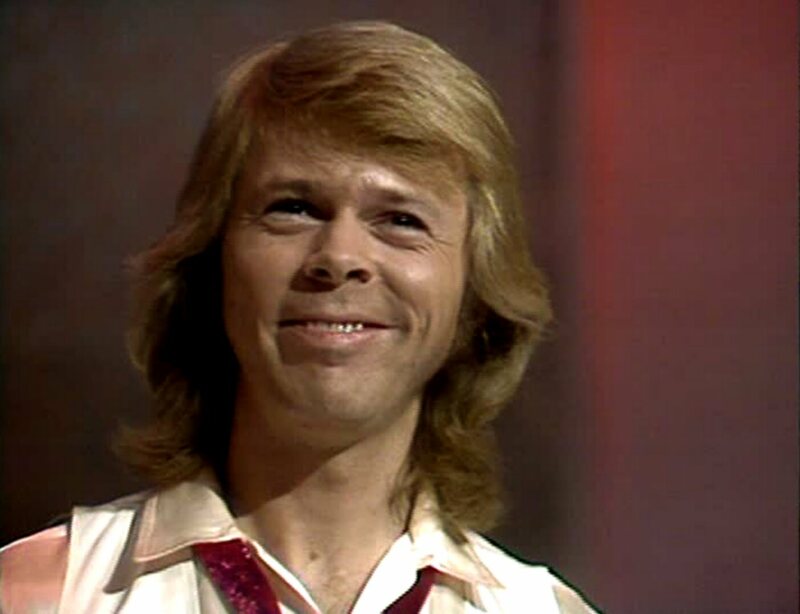 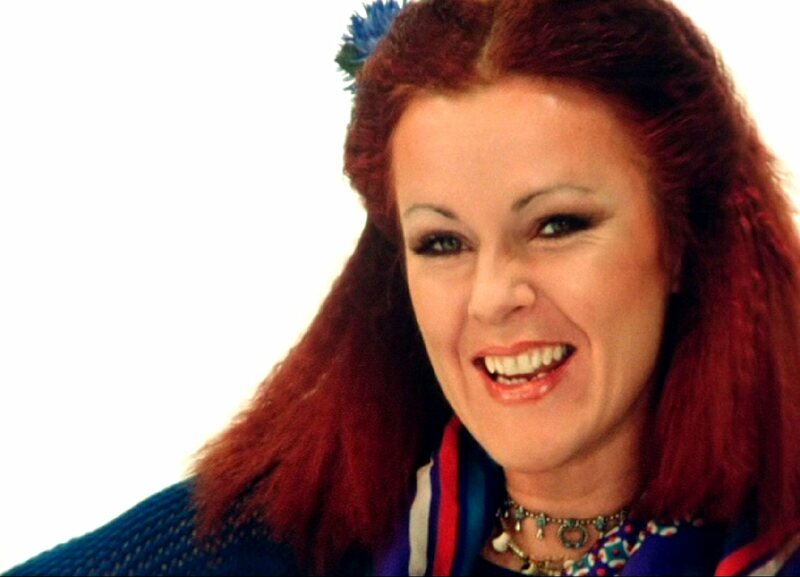 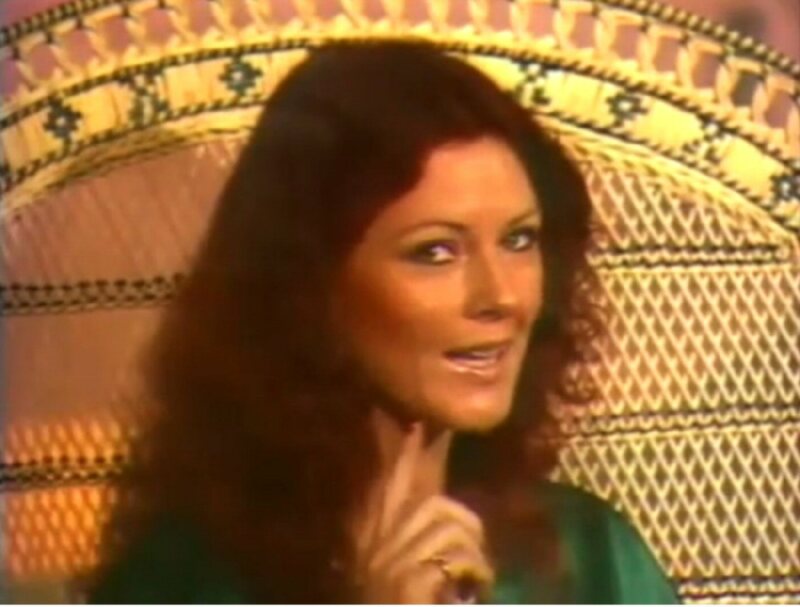 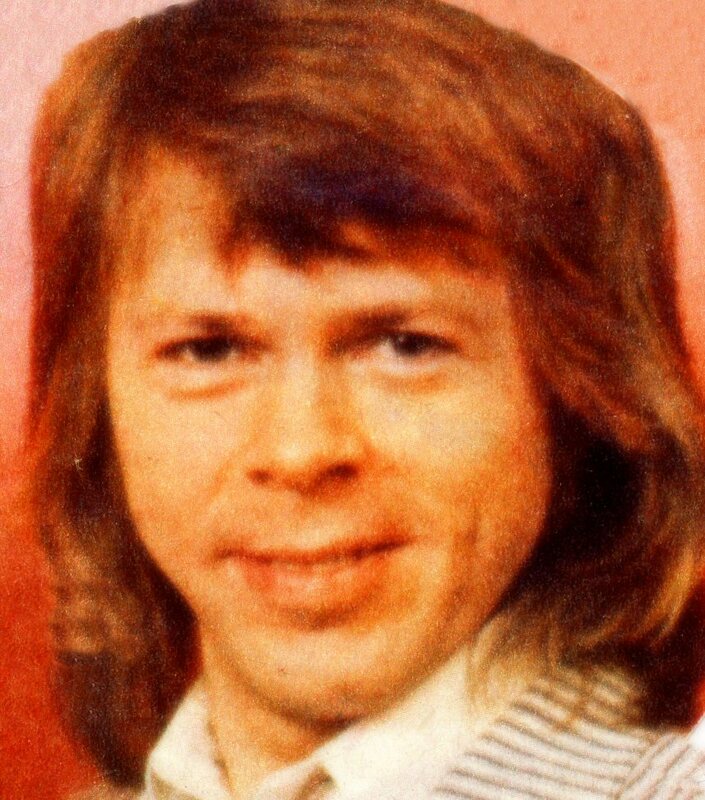 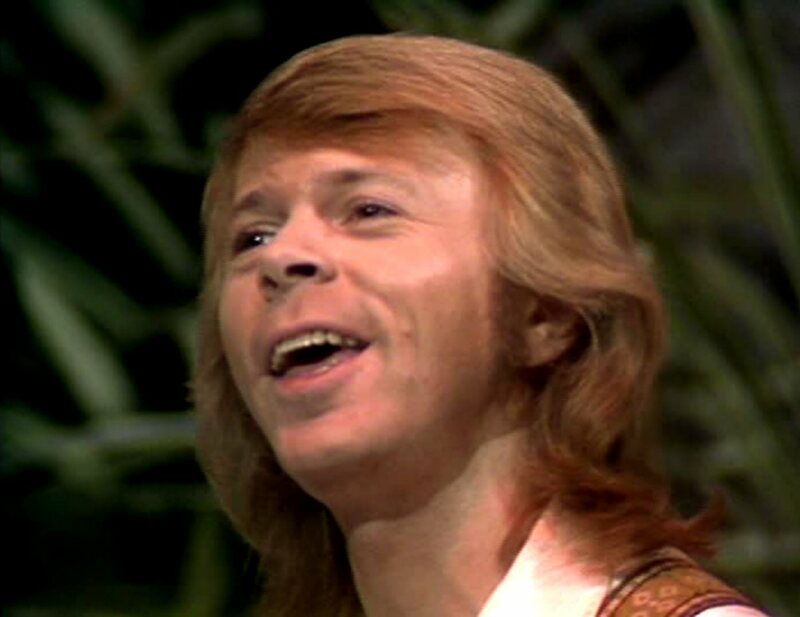 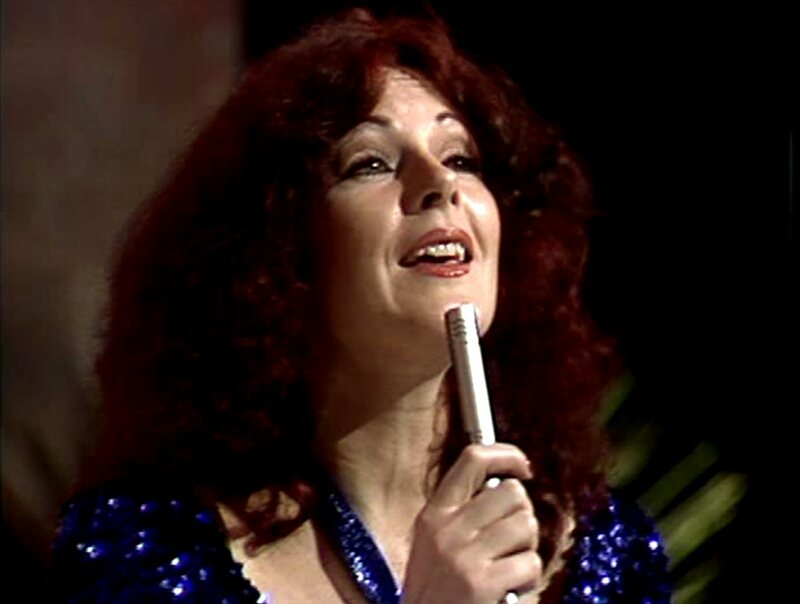 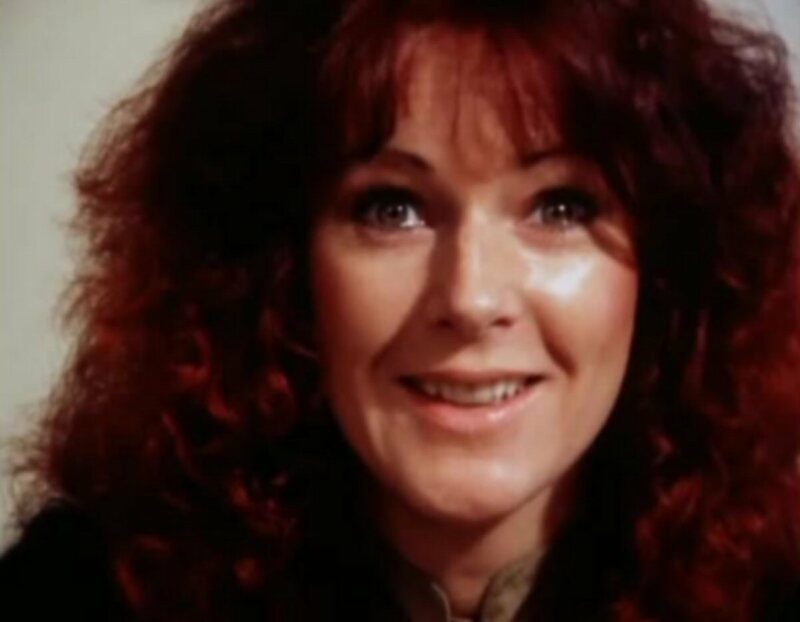 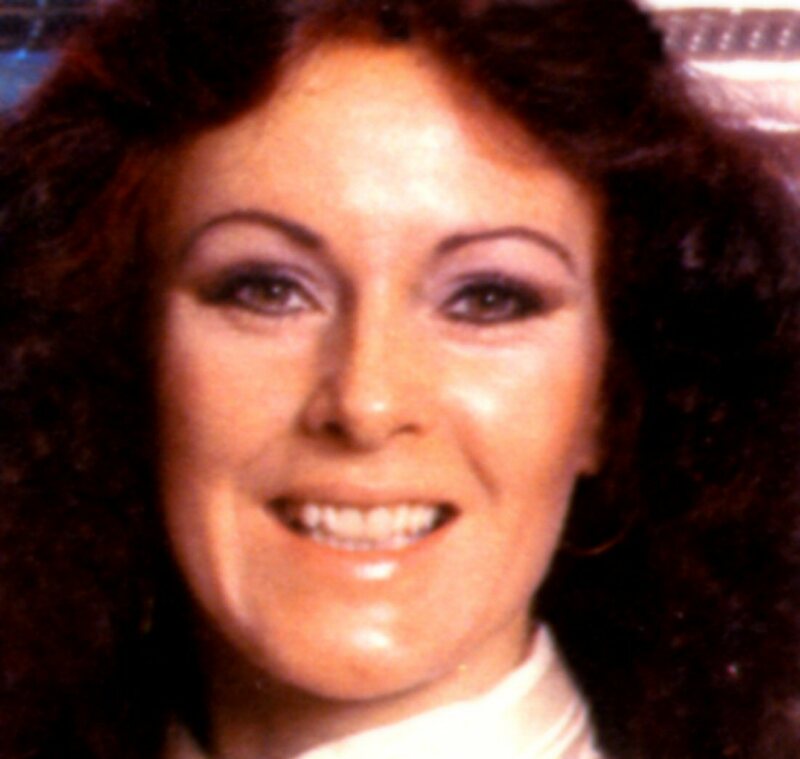 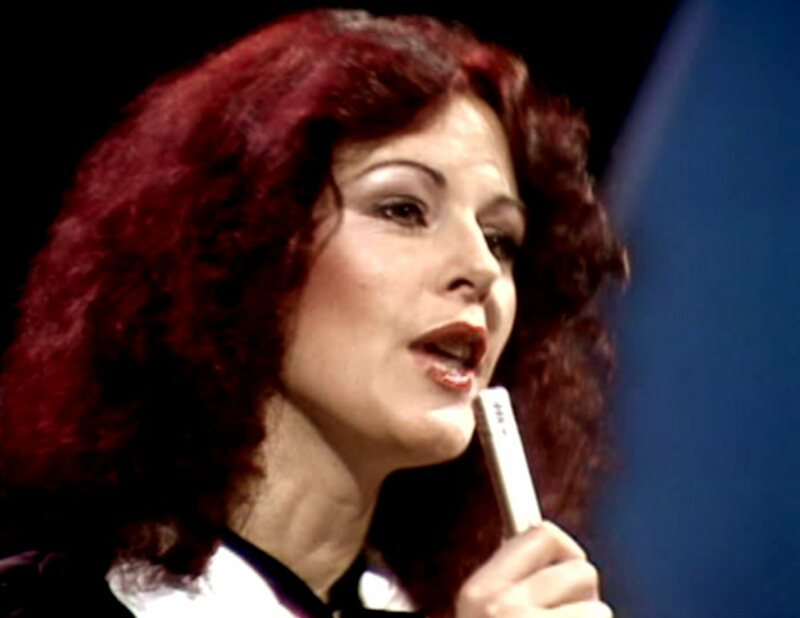 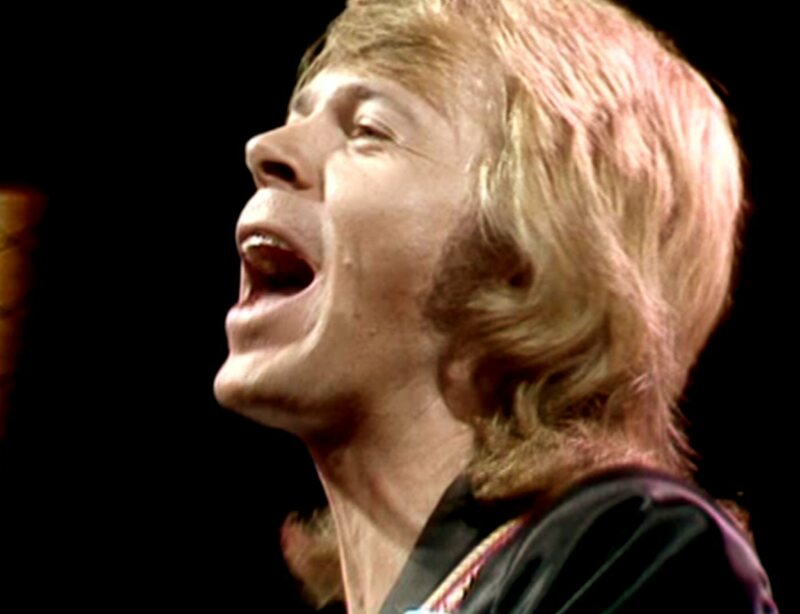 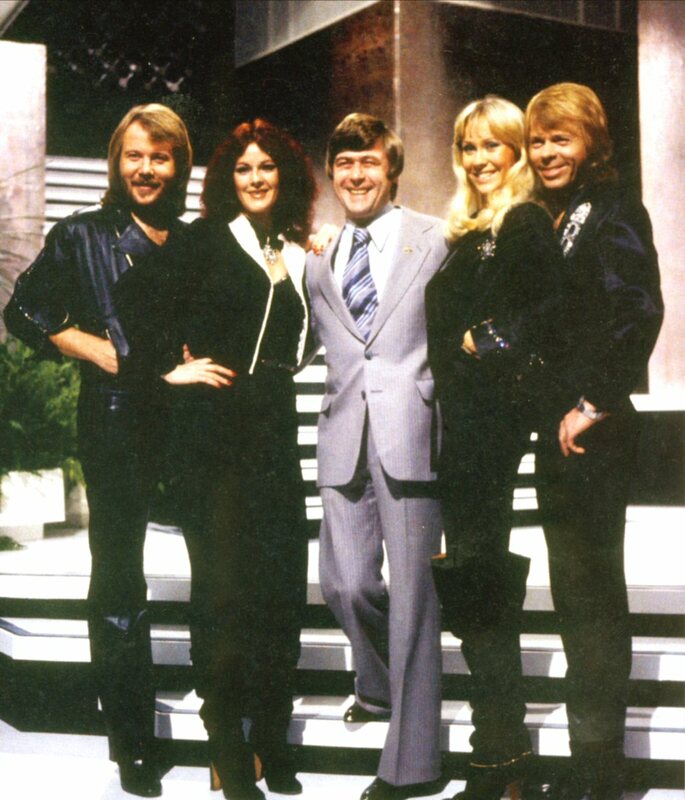 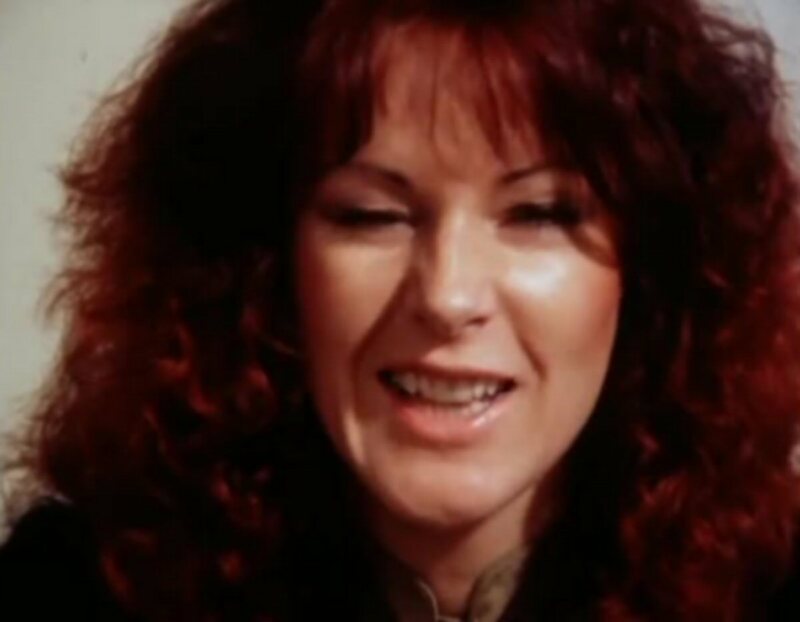 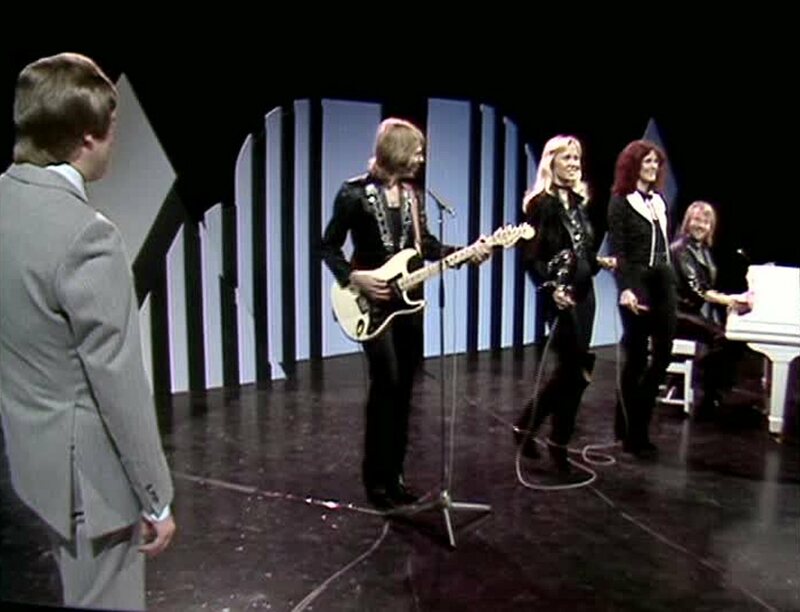 Anni-Frid's father was in the audience in the TV studio when ABBA performed their latest smash hit "Take a Chance On Me". 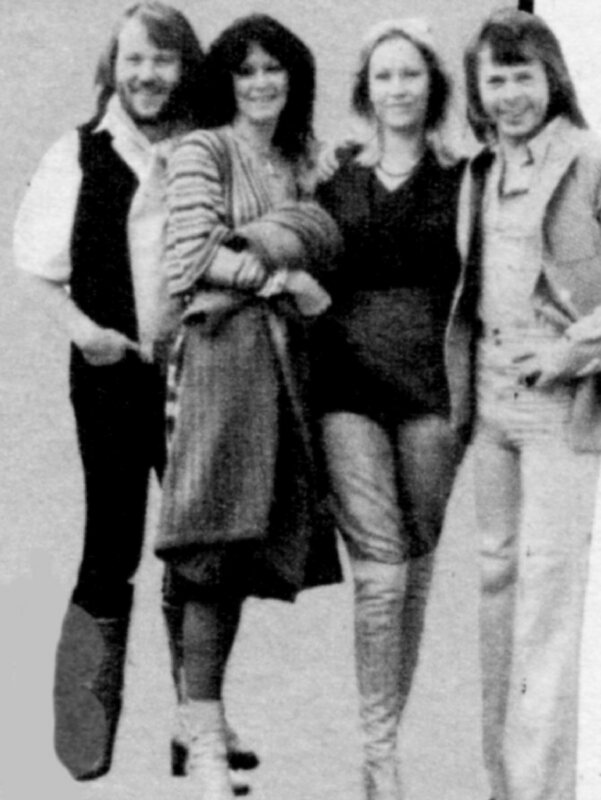 Several photo sessions were taken on different spots. 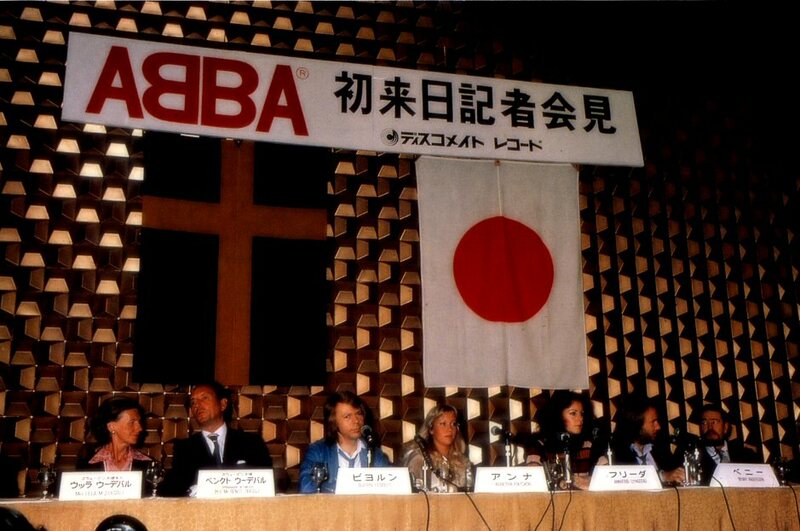 A press conference was arranged at the hotel where the group stayed. 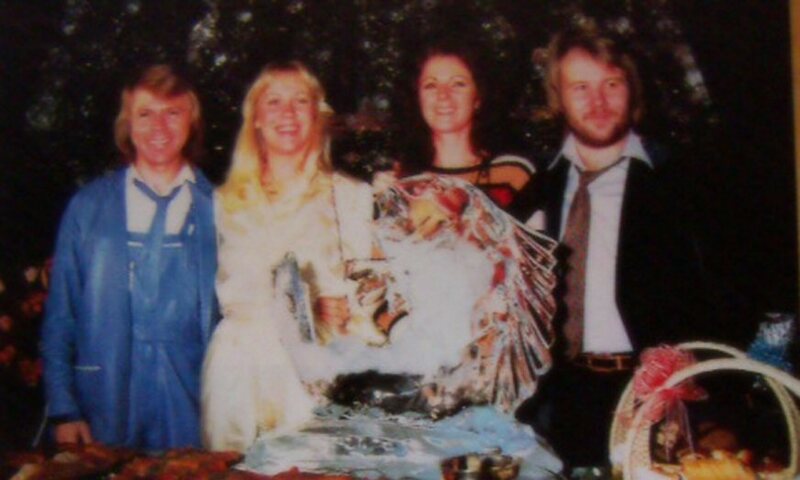 The new show of Björn Skifs had its premiere in Åre in northern Sweden. 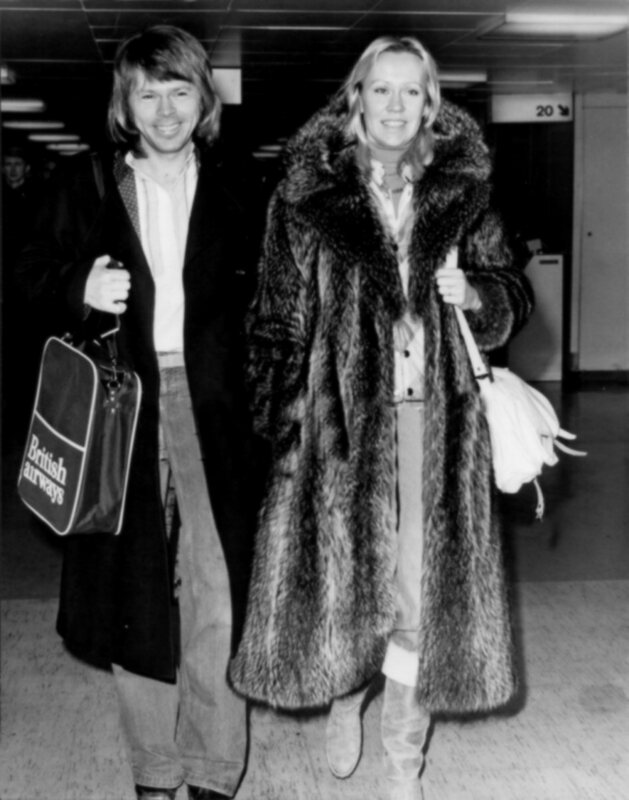 Benny and Frida arrived with helicopter. 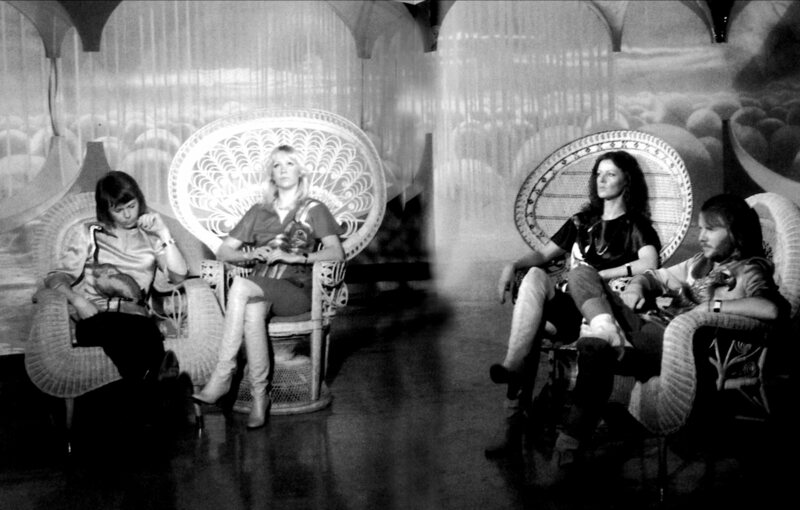 At the end of February Swiss TV-team arrived in Stockholm and interviewed the group at the Polar Music Office. 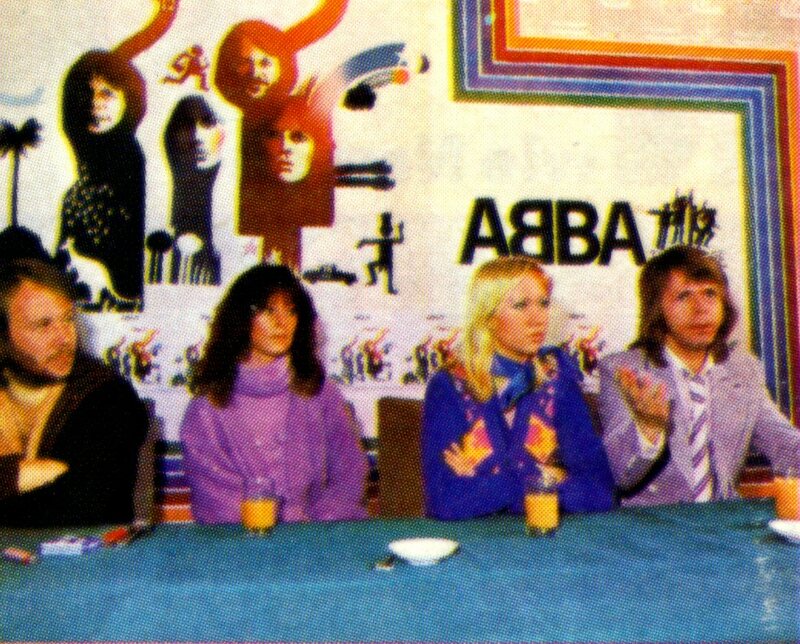 Even Finnish press met ABBA the same day. 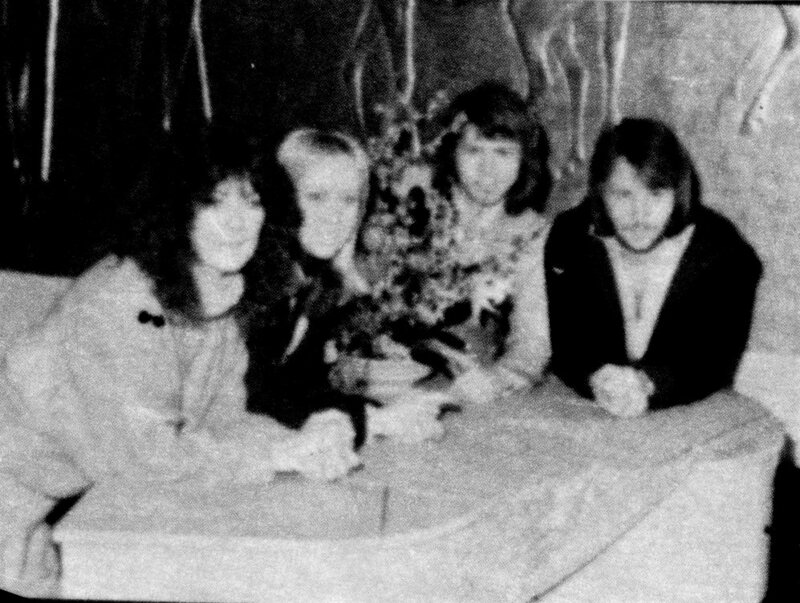 One more interview was done and several photos taken. 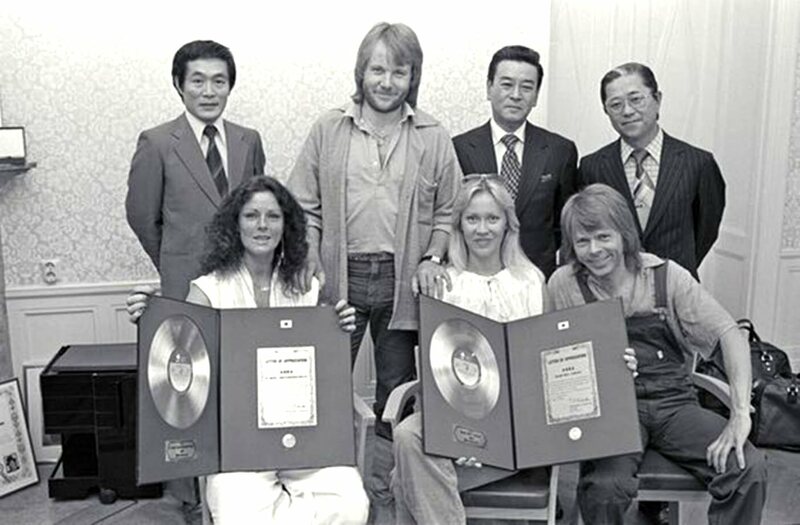 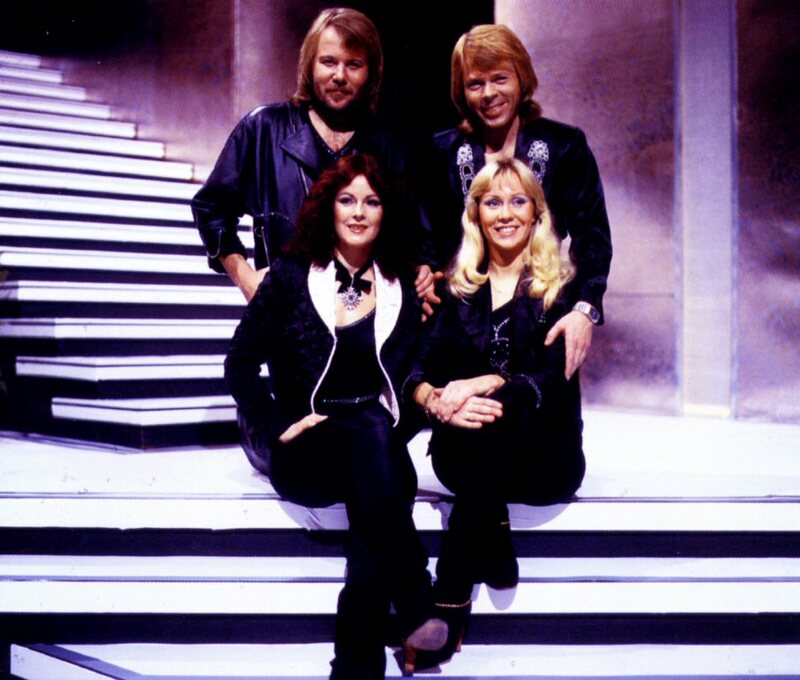 The Finnish team awarded ABBA with gold records for "ABBA The Album". 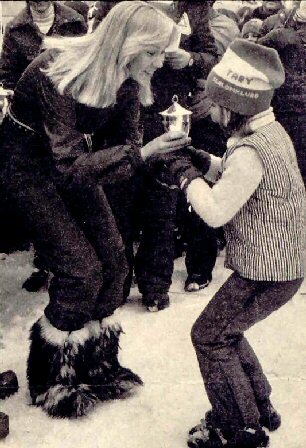 The group sponsored the junior skiing competition in Stockholm in 1978. 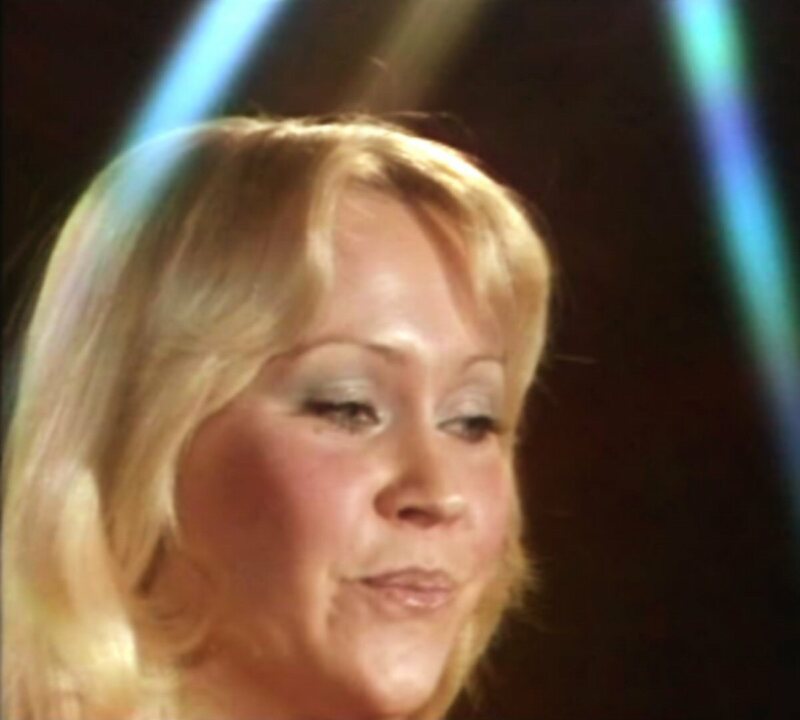 The winner was seven-year-old Agneta Hjort who was awarded with a trophy and a cheque by Agnetha and Björn on 4 March. 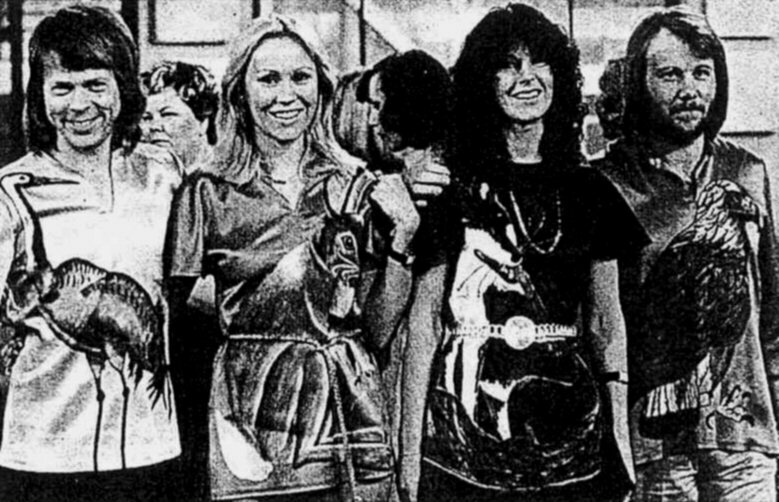 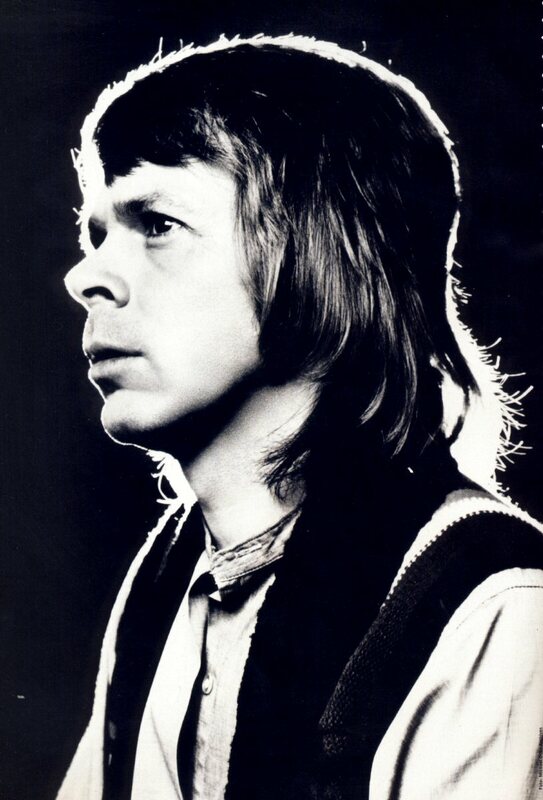 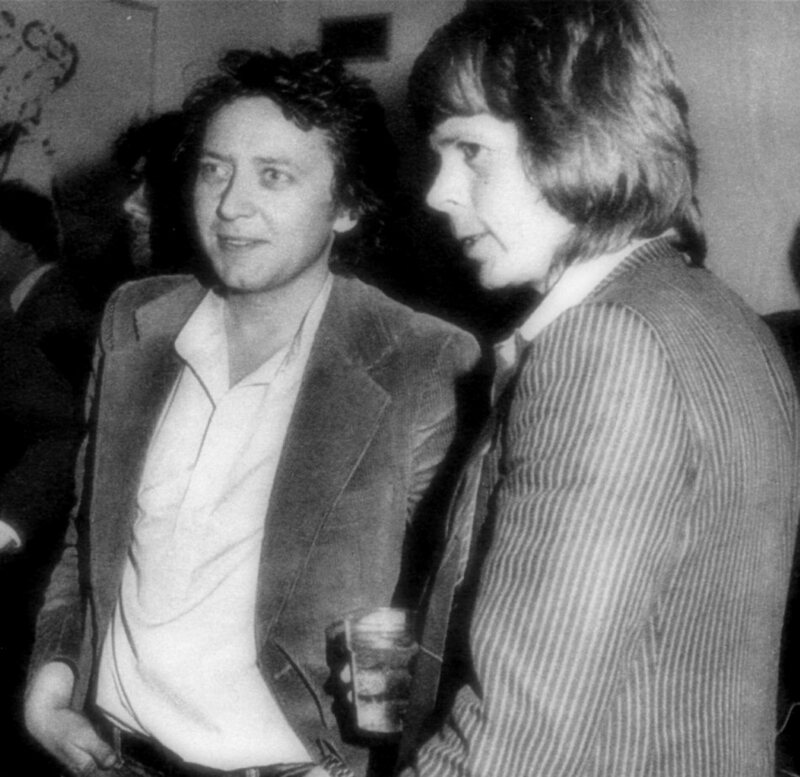 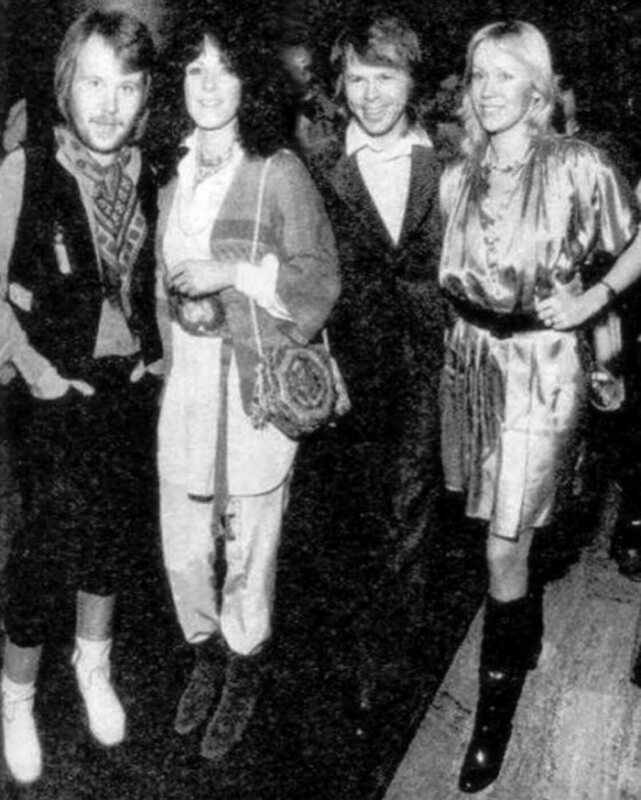 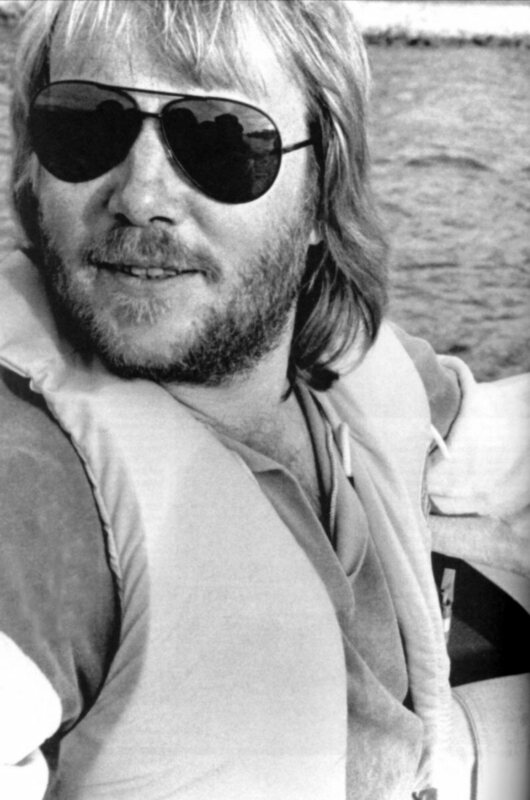 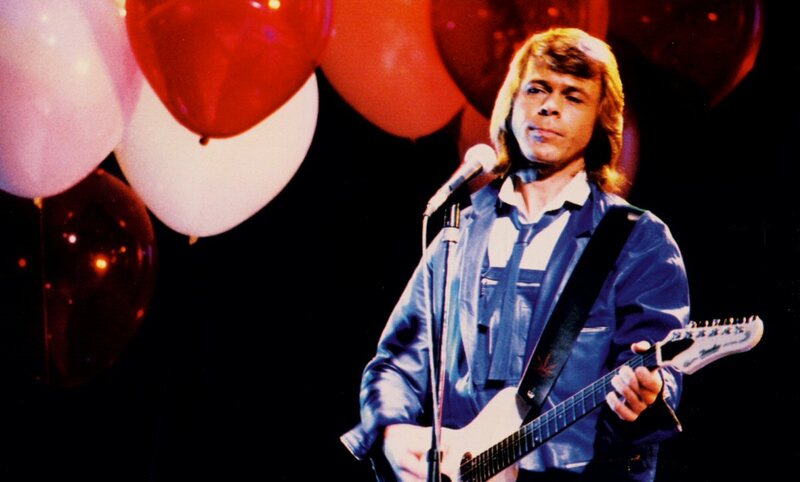 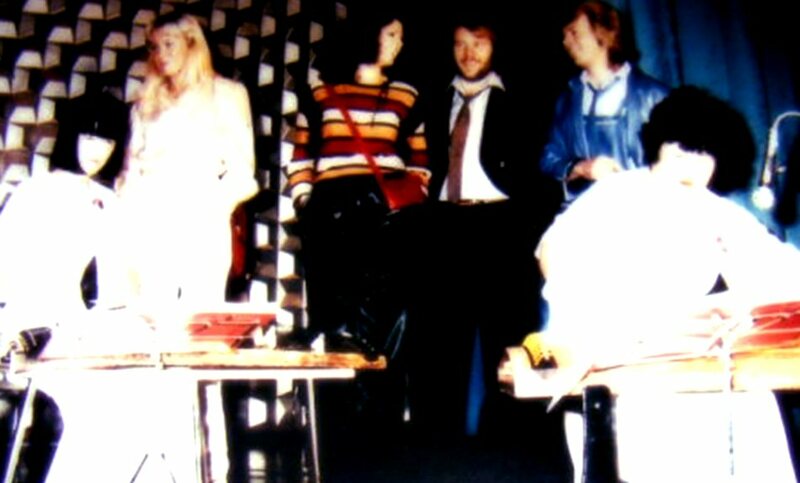 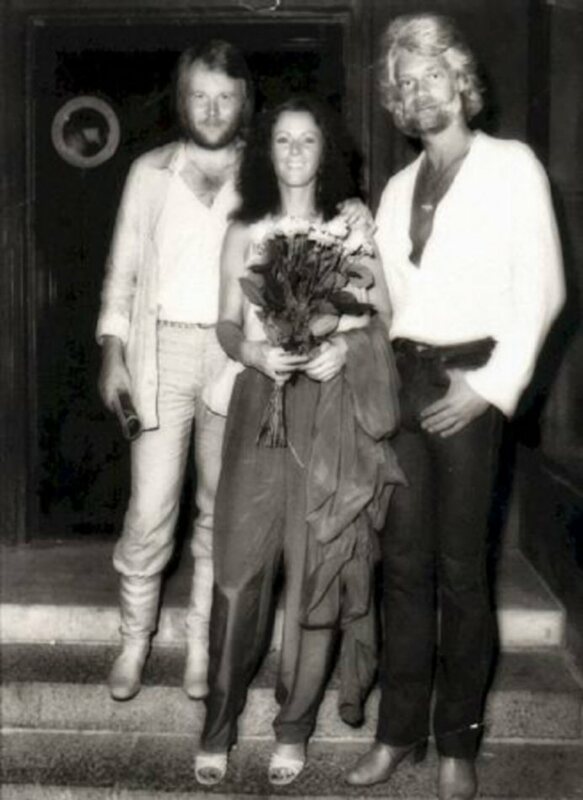 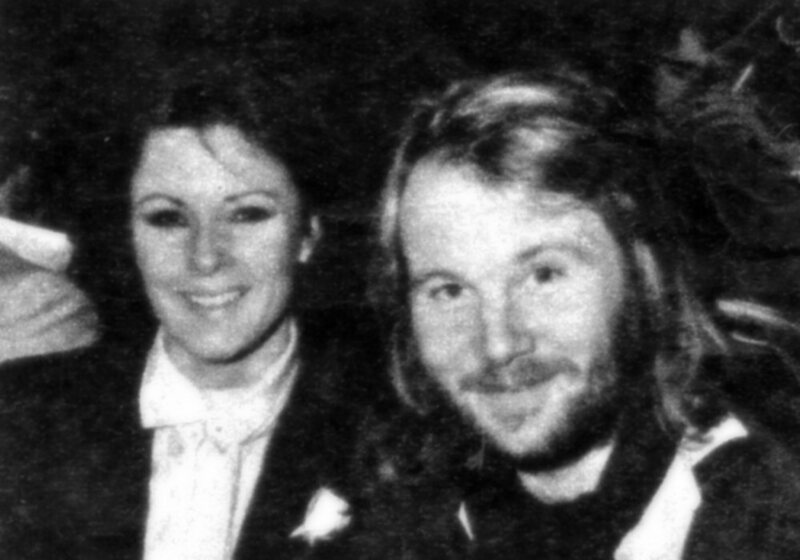 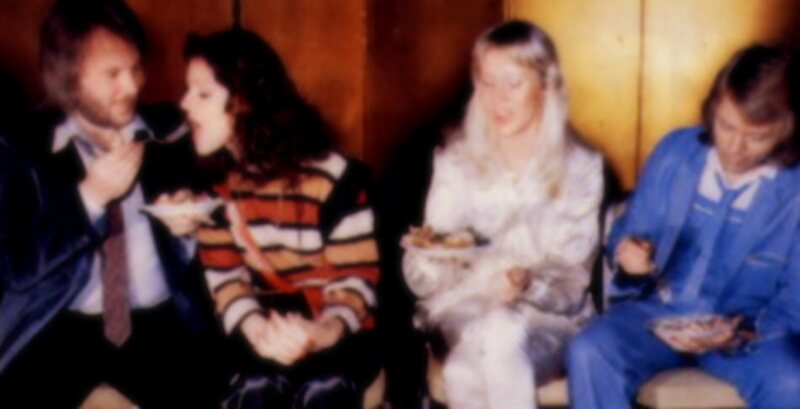 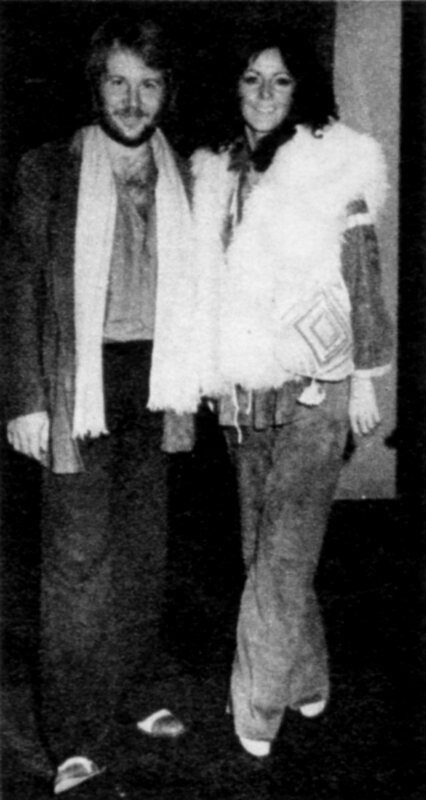 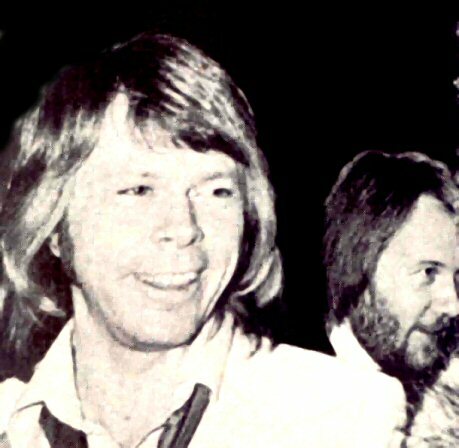 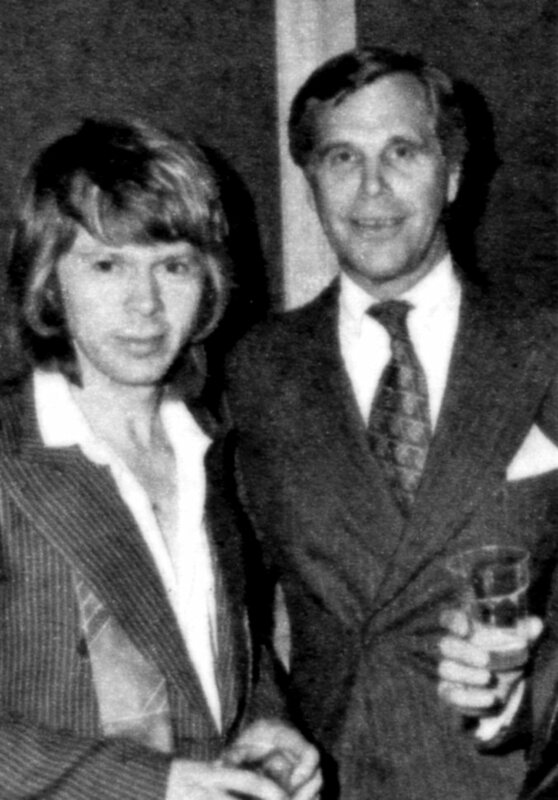 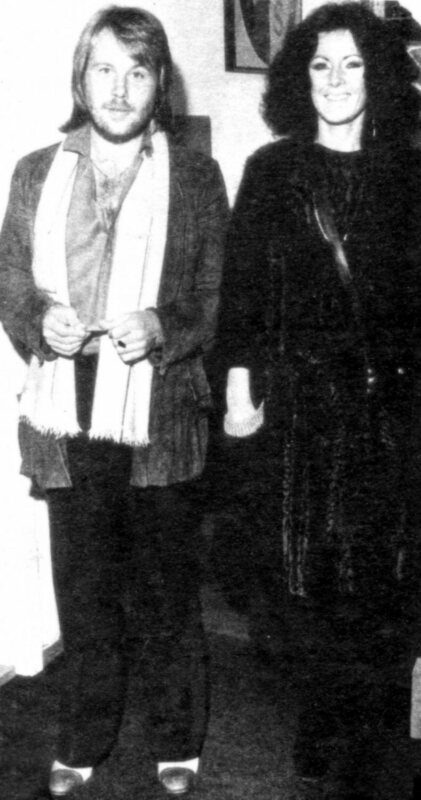 All members of ABBA were there at the Björn Skifs' show at Hamburger Börs in Stockholm on March 1st, 1978. 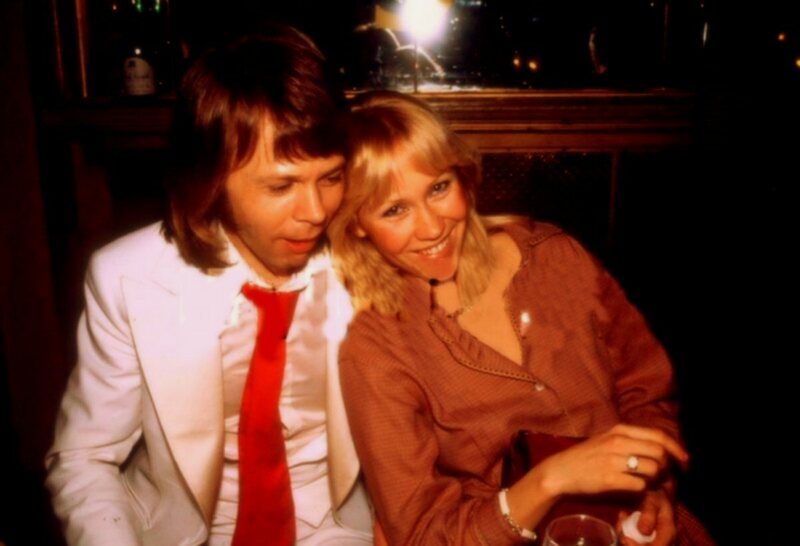 Benny and Frida were two of the many guests at Berns in Stockholm when Lill-Babs celebrated her 40th birthday with a big show at the beginning of March. 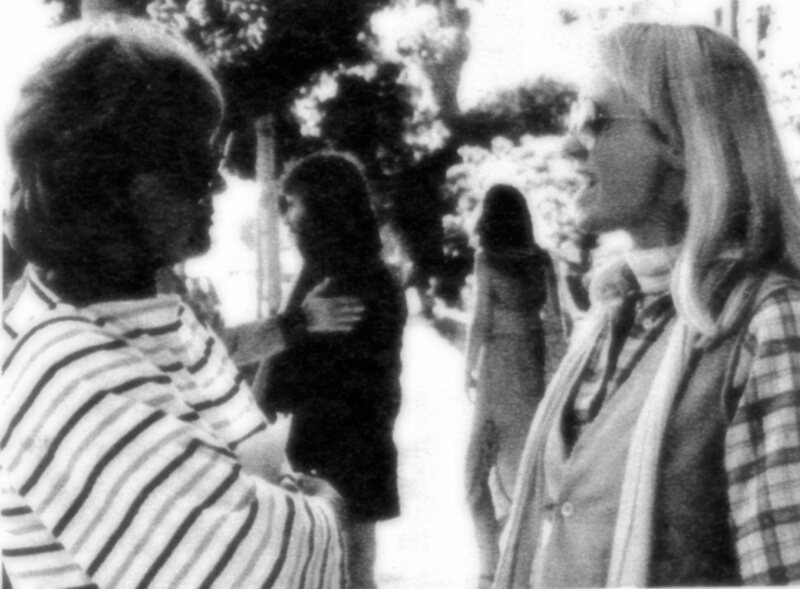 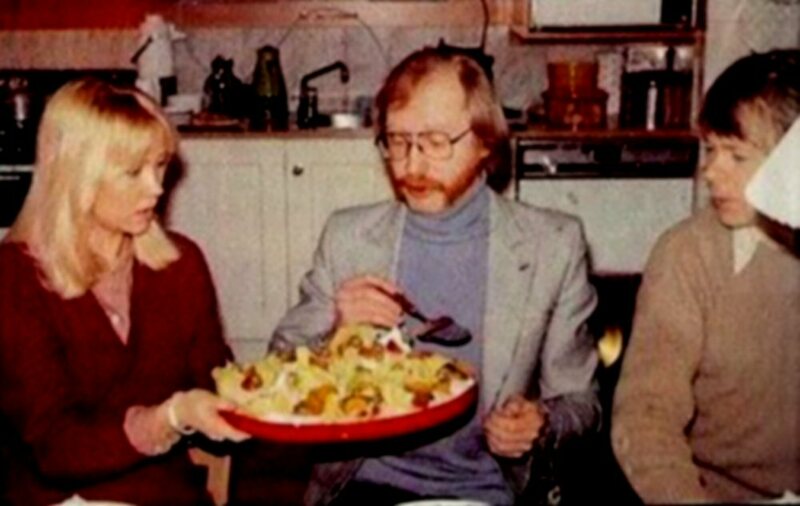 Agnetha and Björn at the same time attended the home-coming-party arranged by a good friend to the Queen Silvia, Beata Magnuson. 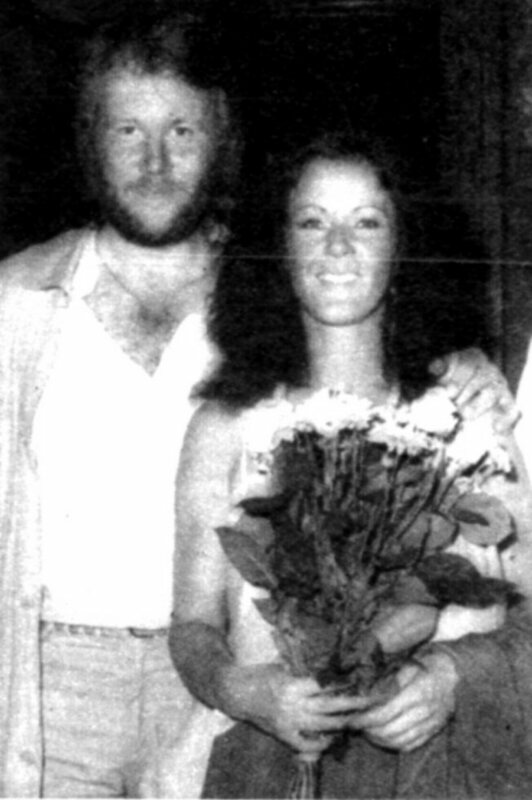 Frida and Benny attended even Lill-Babs' private 40th birthday celeberation. 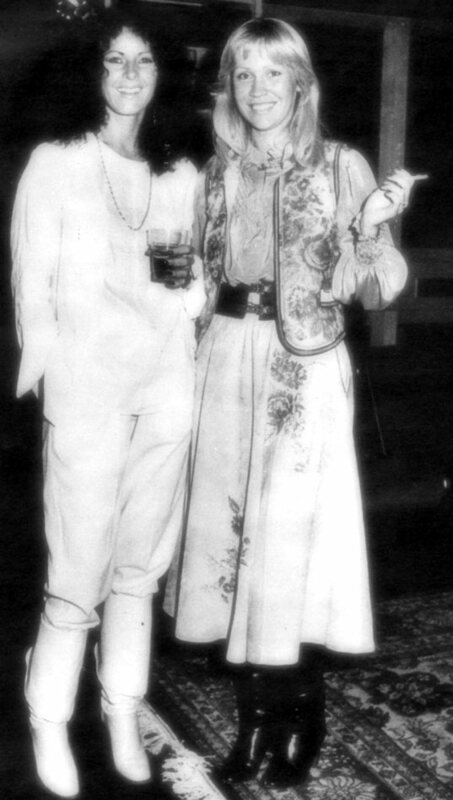 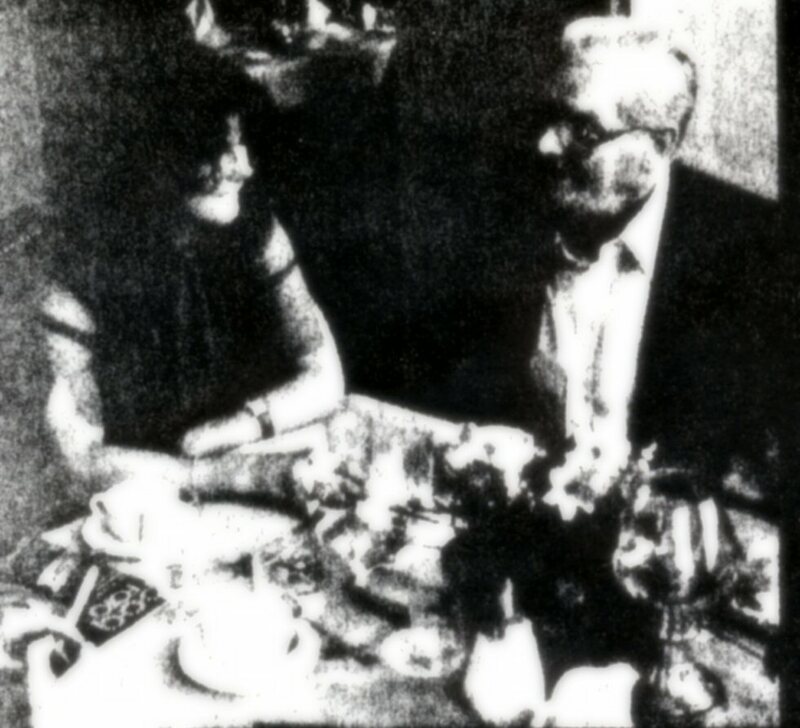 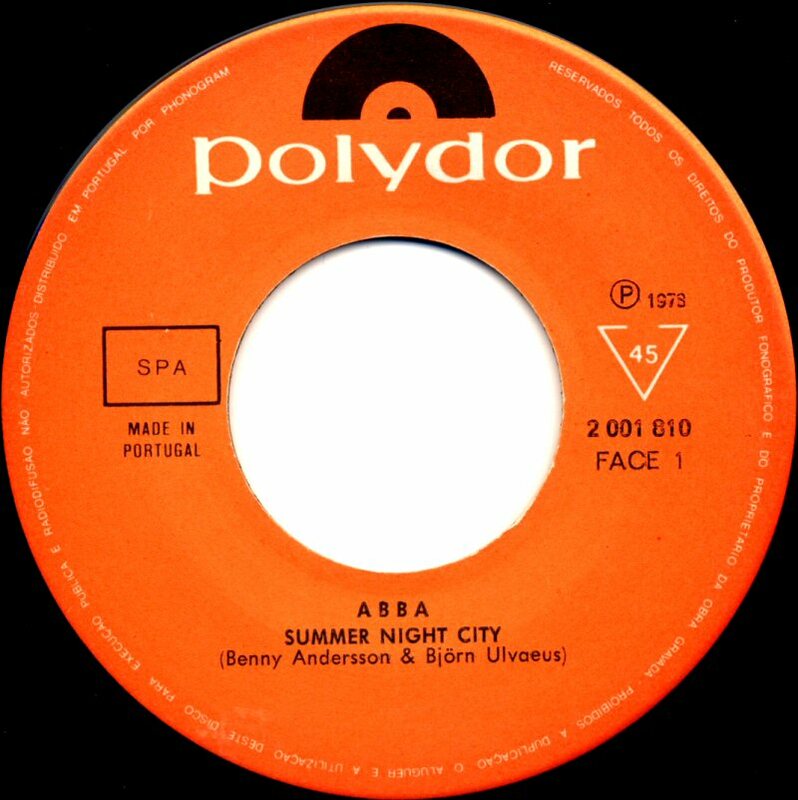 Benny and Frida were frequent guests at the night club "Atlantic" in Stockholm which was the biggest rival to the well-known "Alexandra" night club. 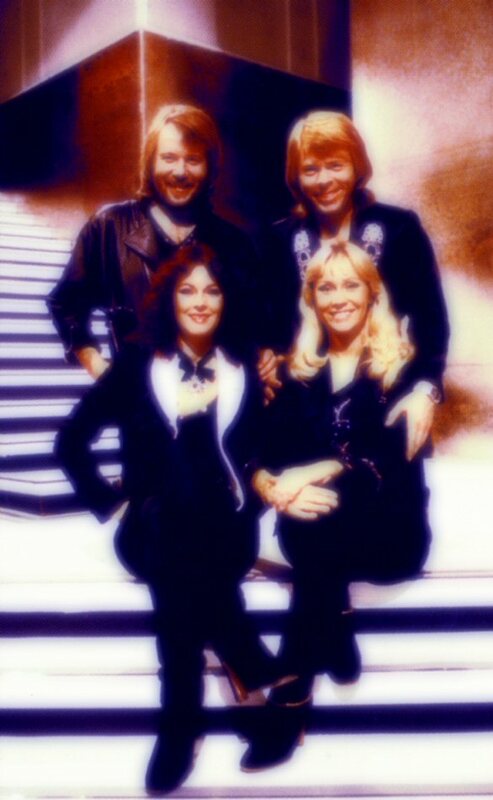 The "Bravo" team came to Stockholm at the beginning of April and took several photo sessions which would be published in "Bravo" in West Germany and lots of other musical publications all over the world. 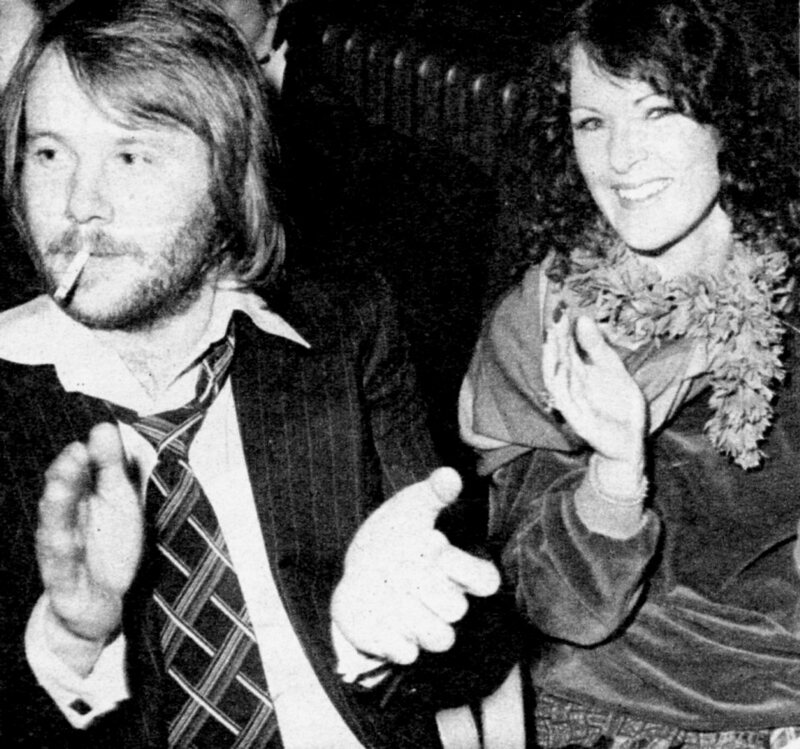 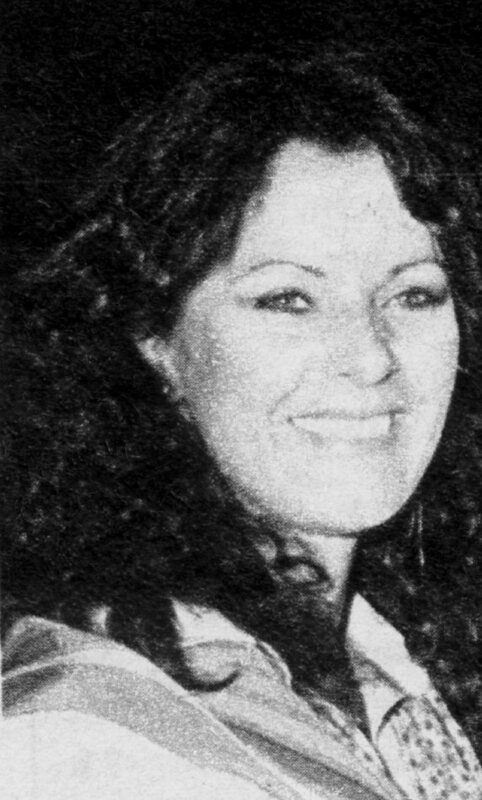 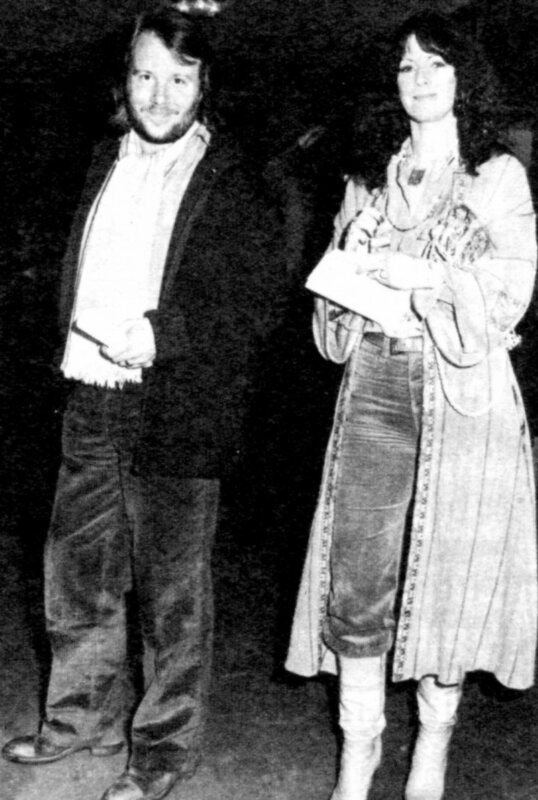 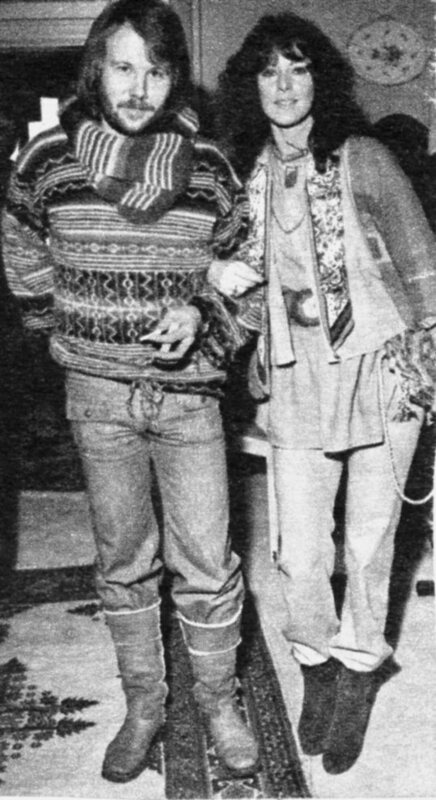 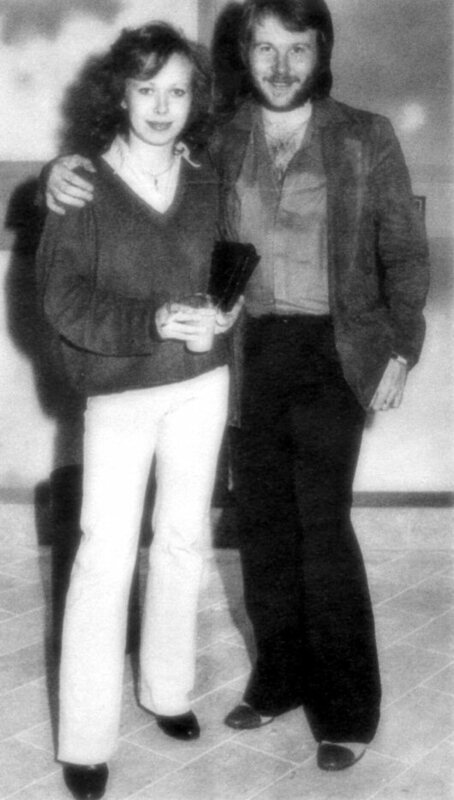 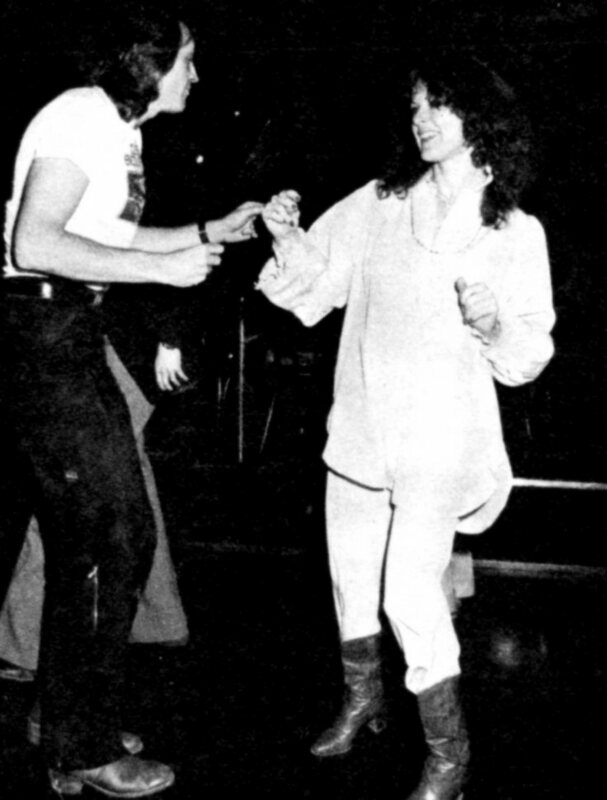 At the beginning of April 1978 Frida and Benny attended the first Swedish disco dance competition at the night-club "Atlantic" in Stockholm. 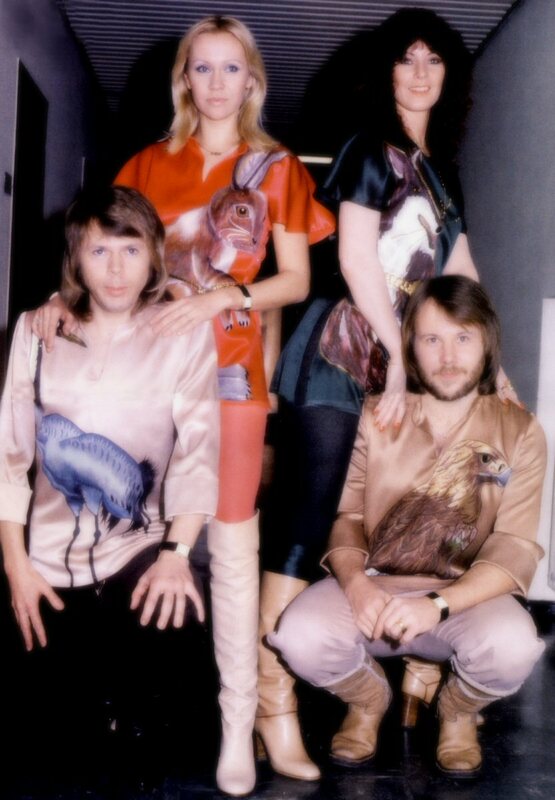 Quite crazy photo sessions taken by Torbjörn Calvero in April 1978. 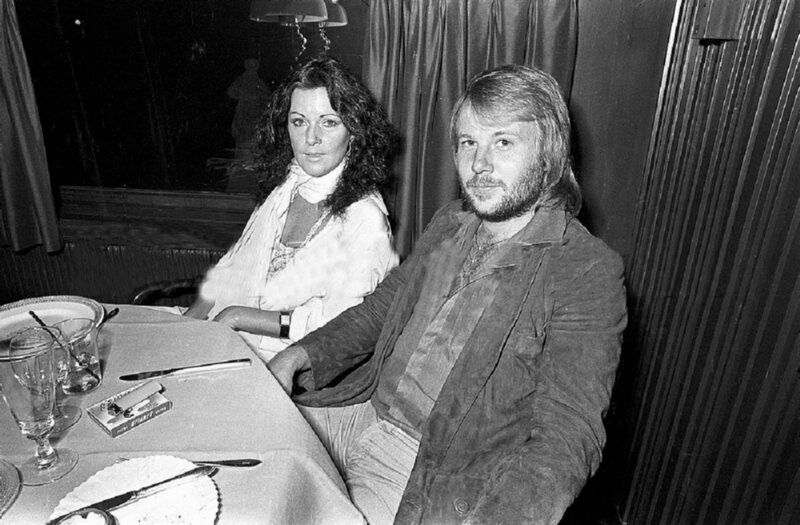 Frida and Benny attended the show of Lasse Berghagen at Berns at the beginning of April. 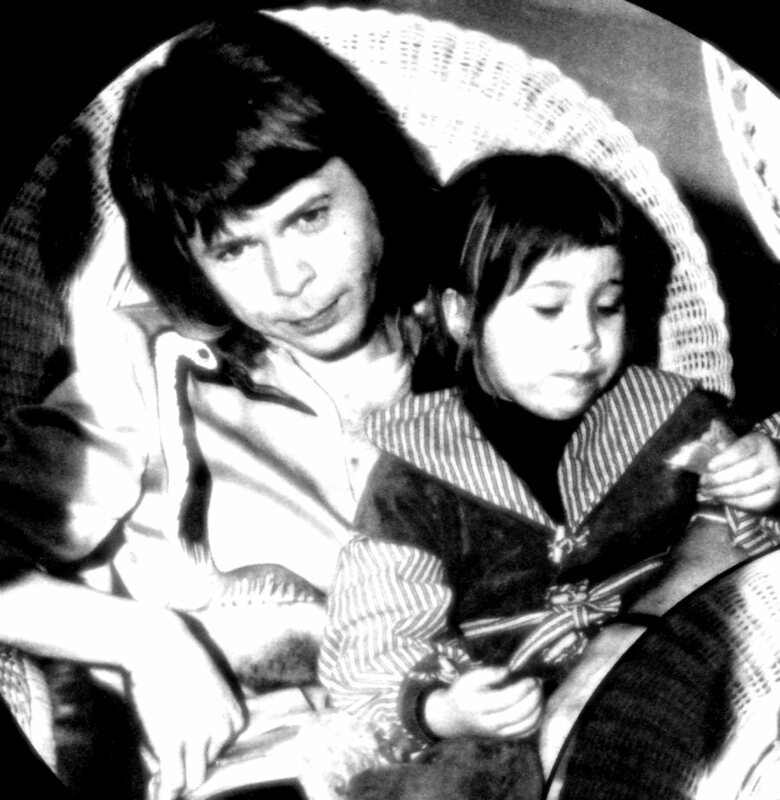 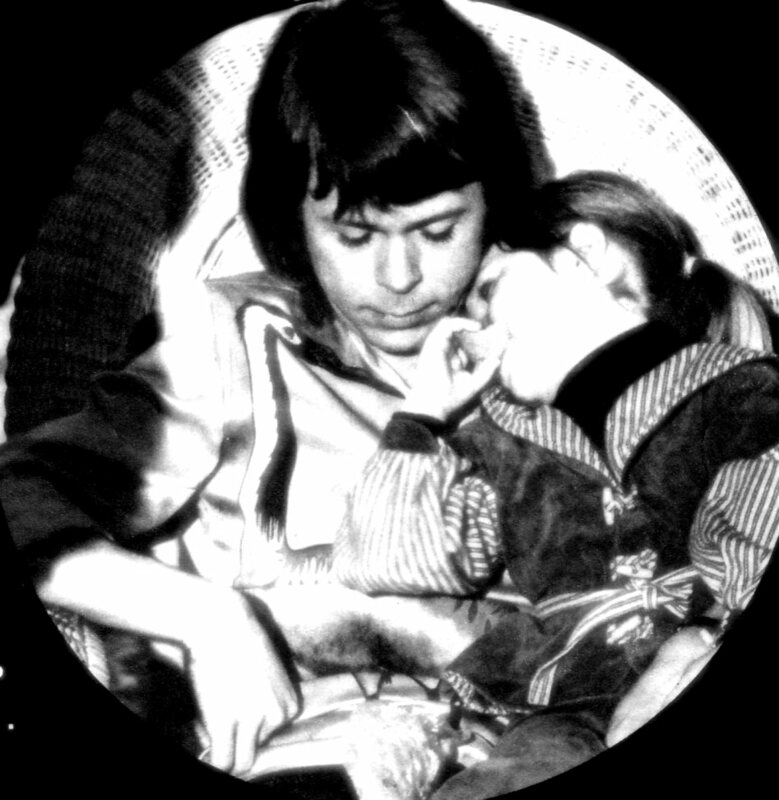 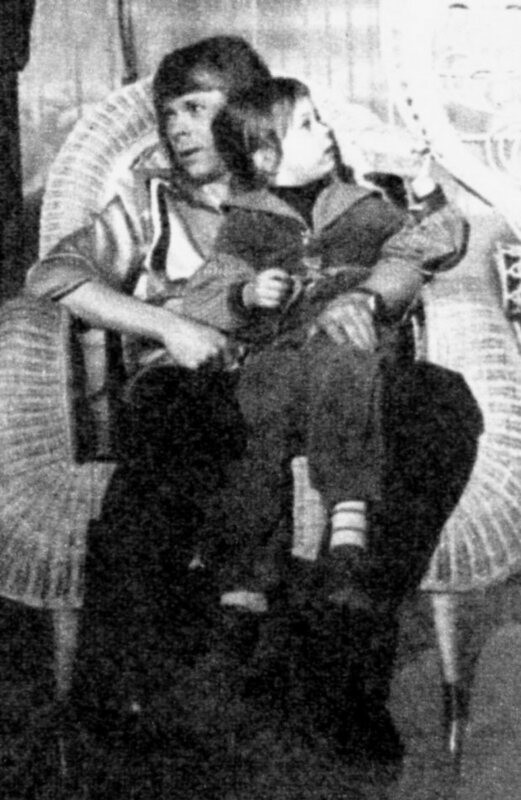 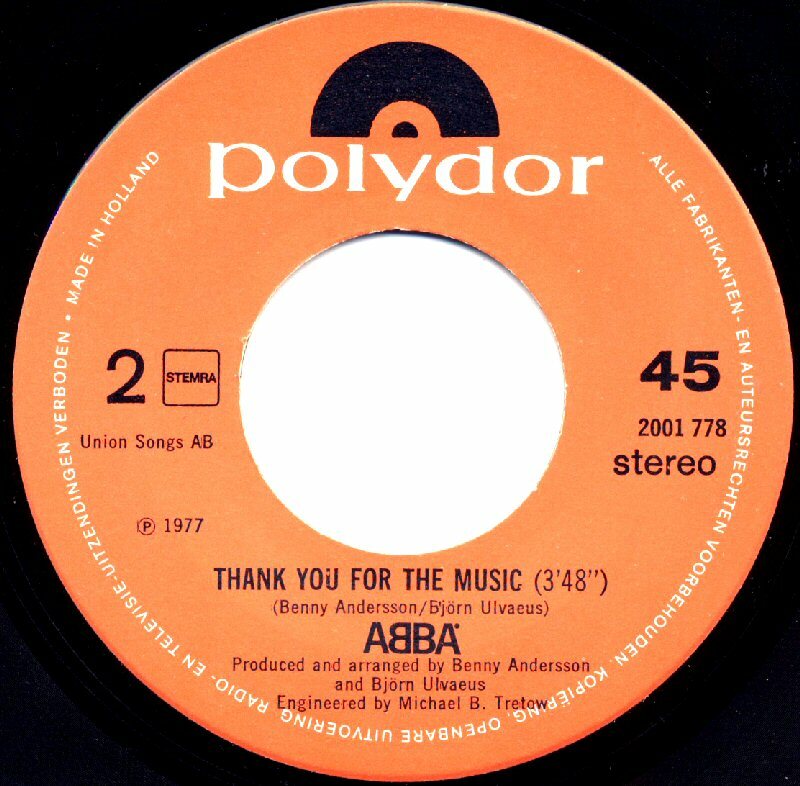 The video for "Thank You For The Music" was filmed in the studio with young audience. 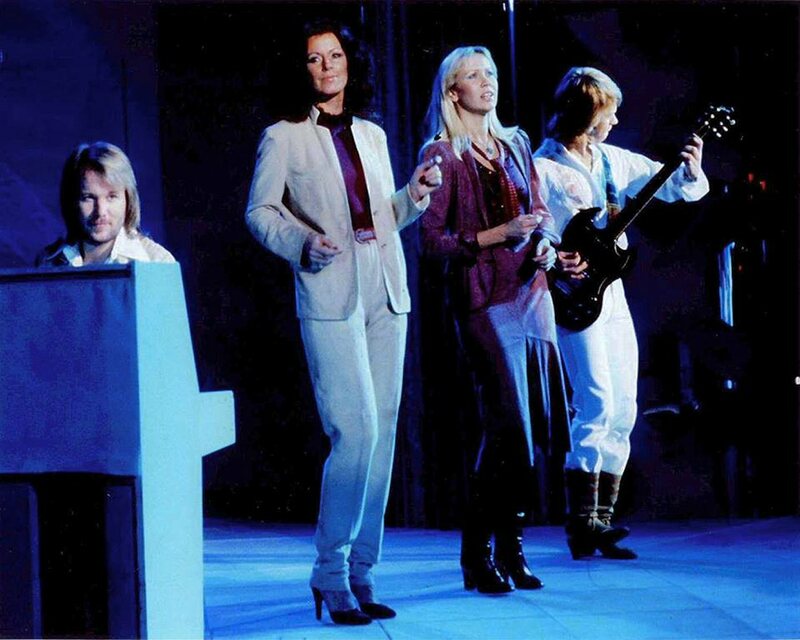 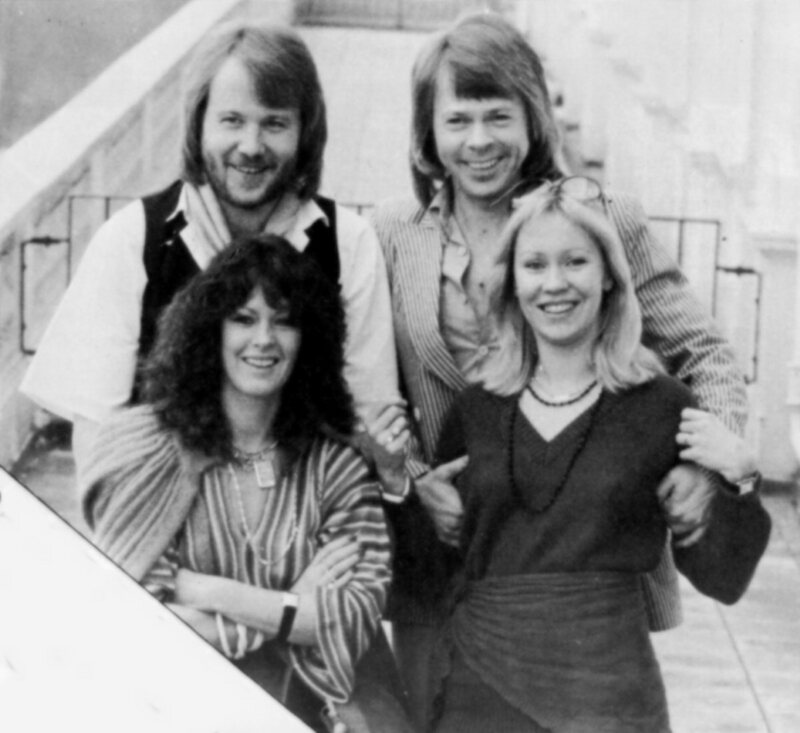 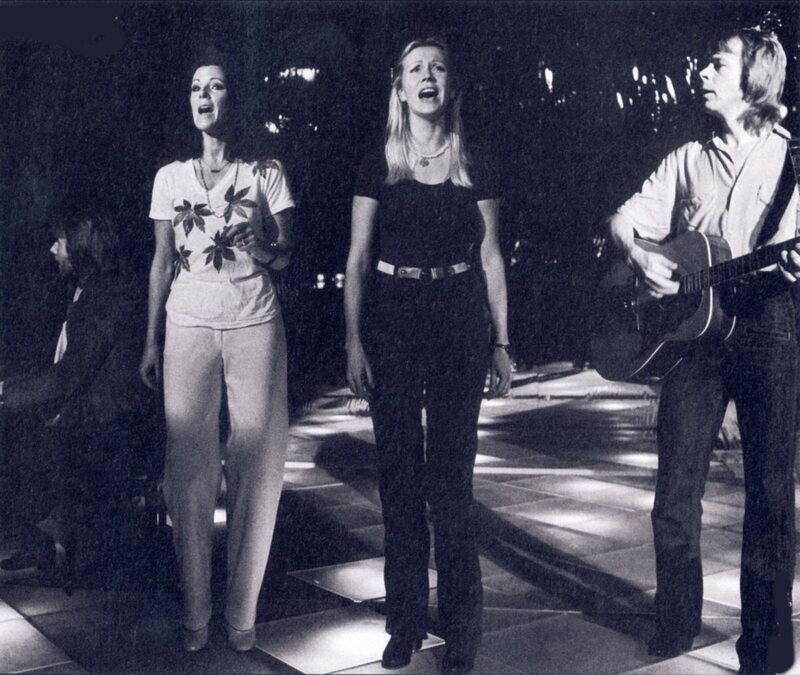 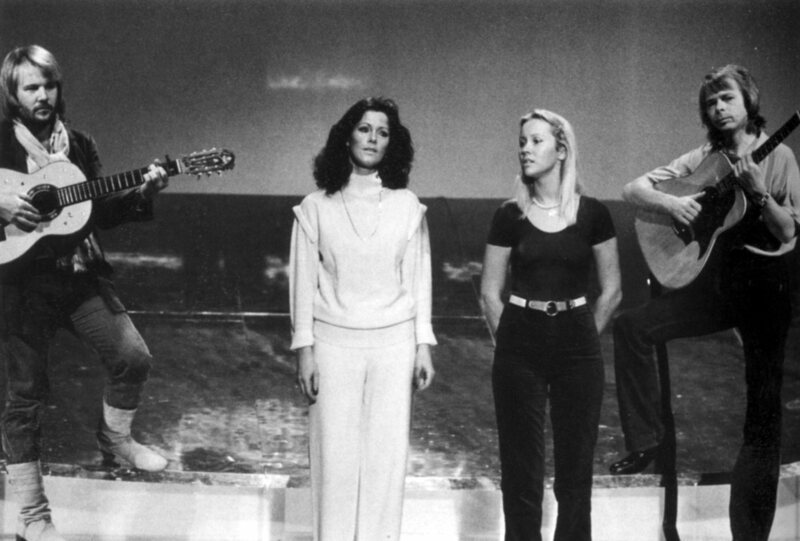 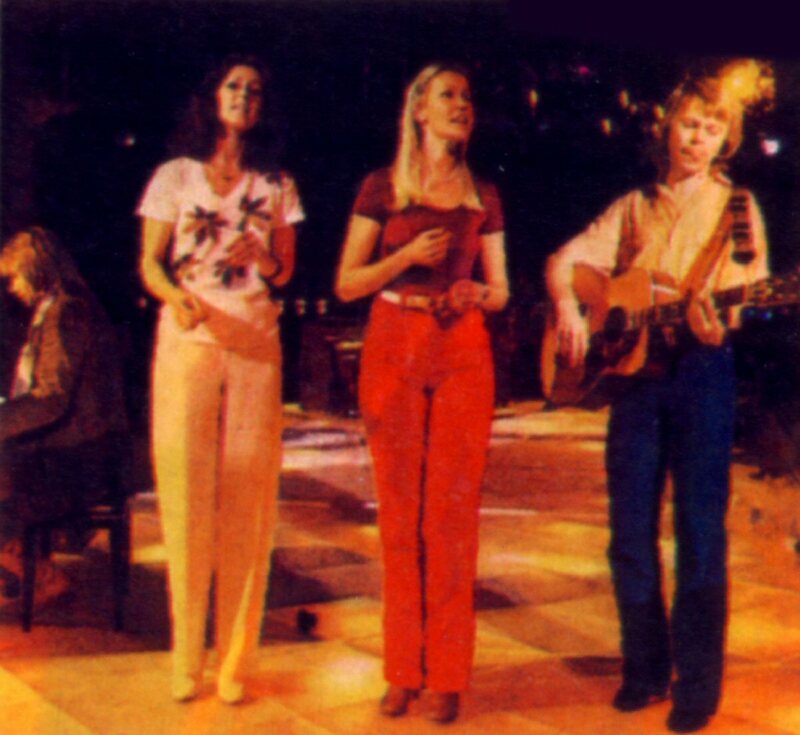 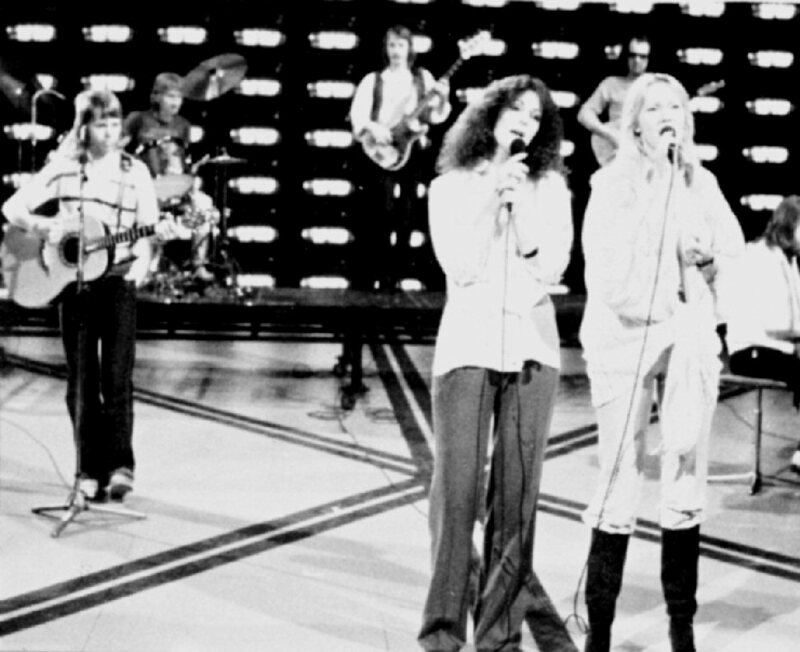 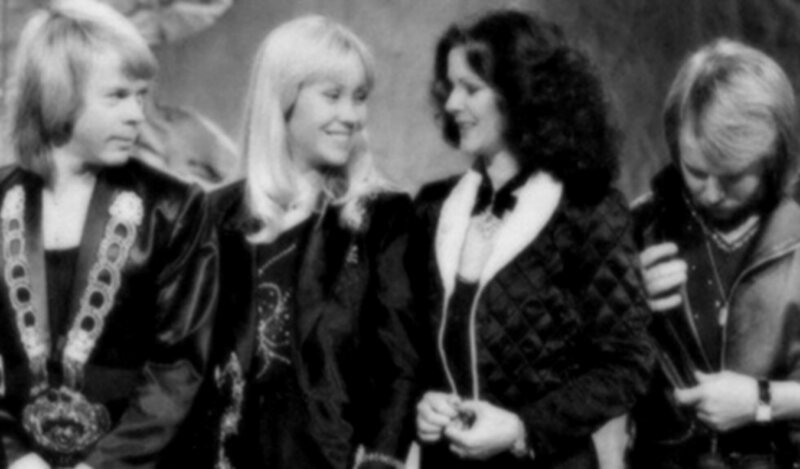 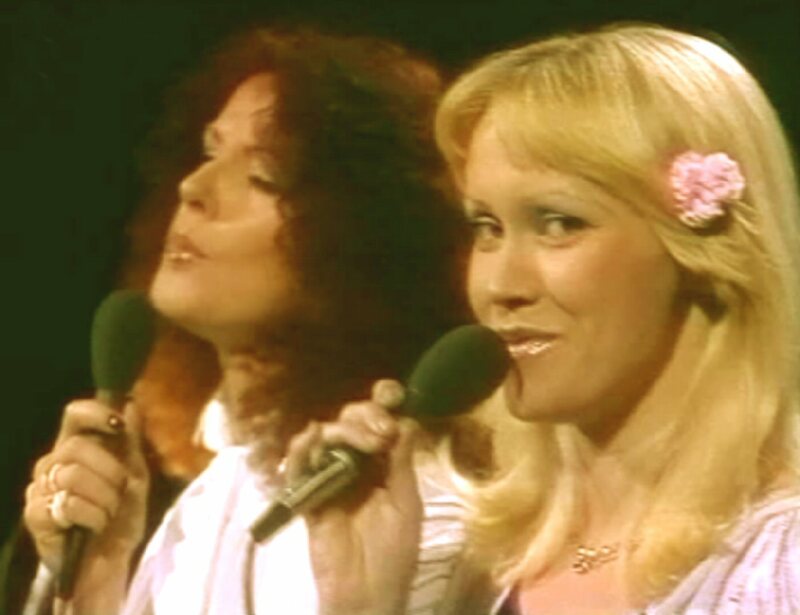 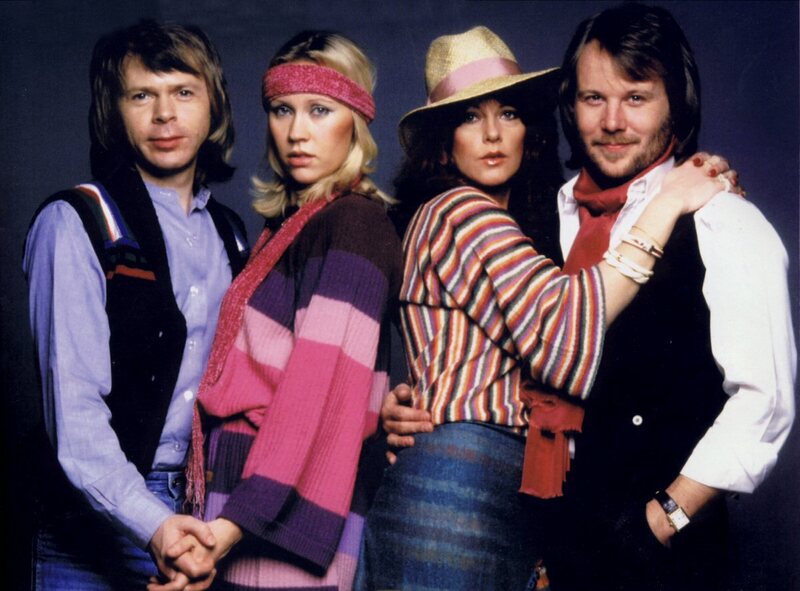 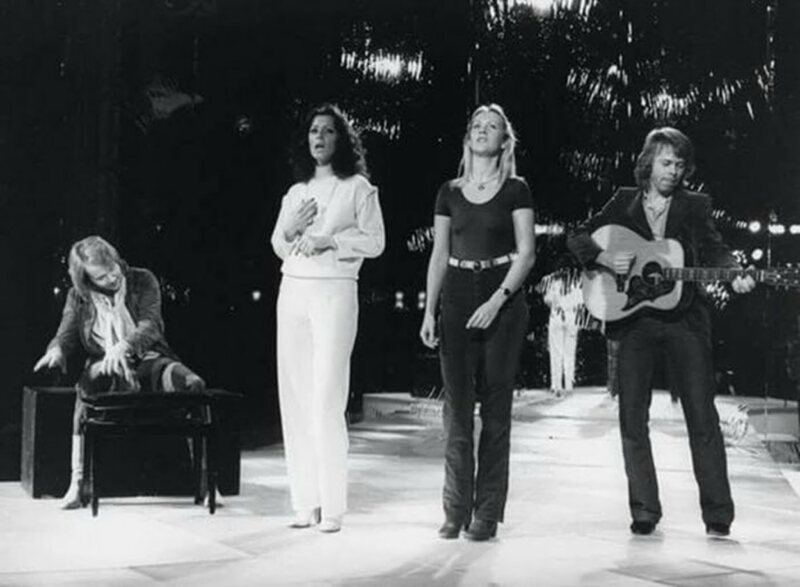 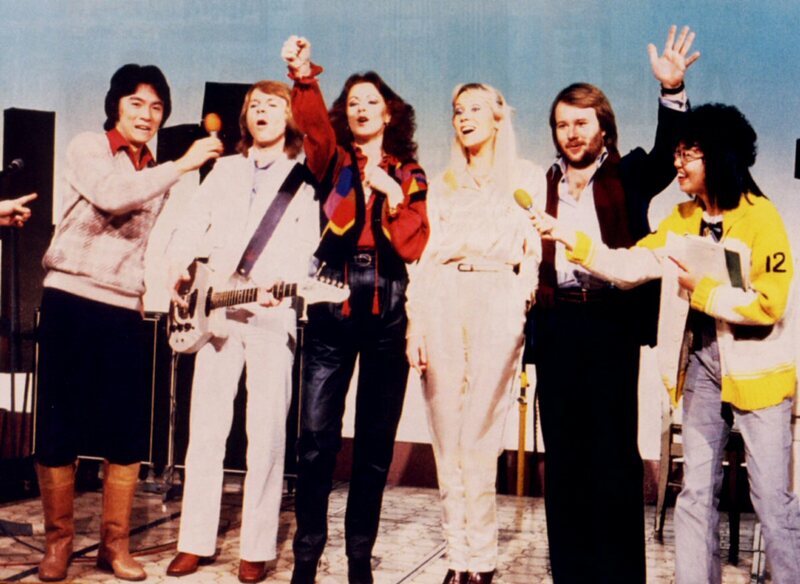 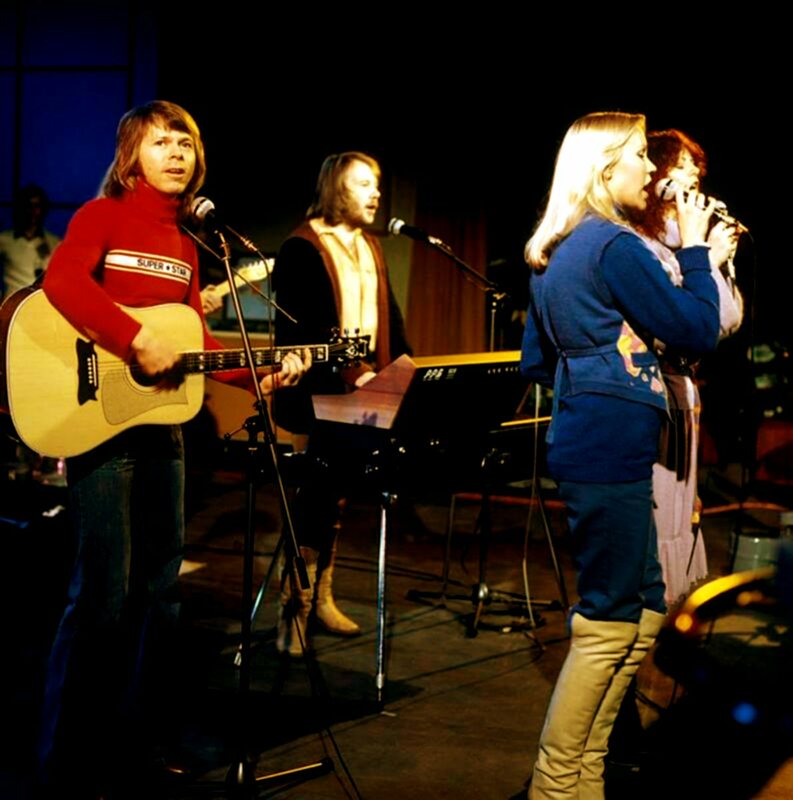 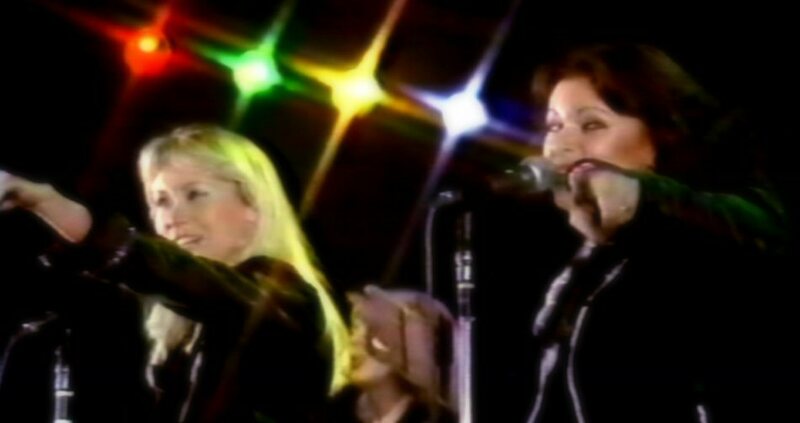 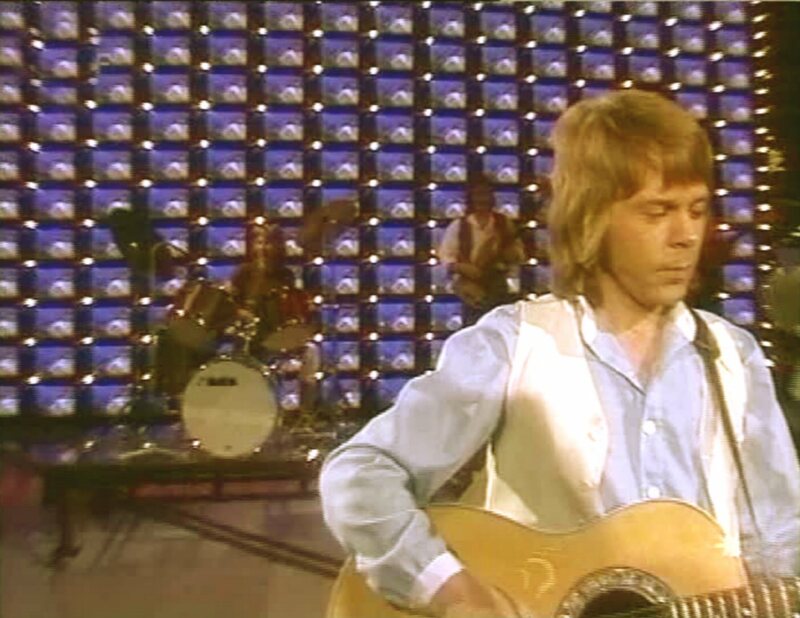 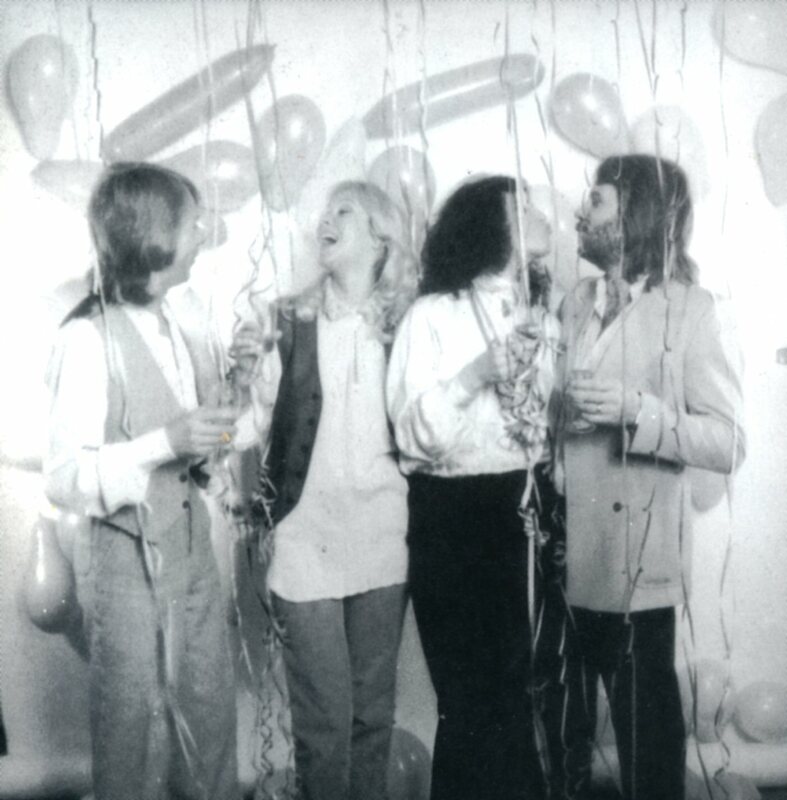 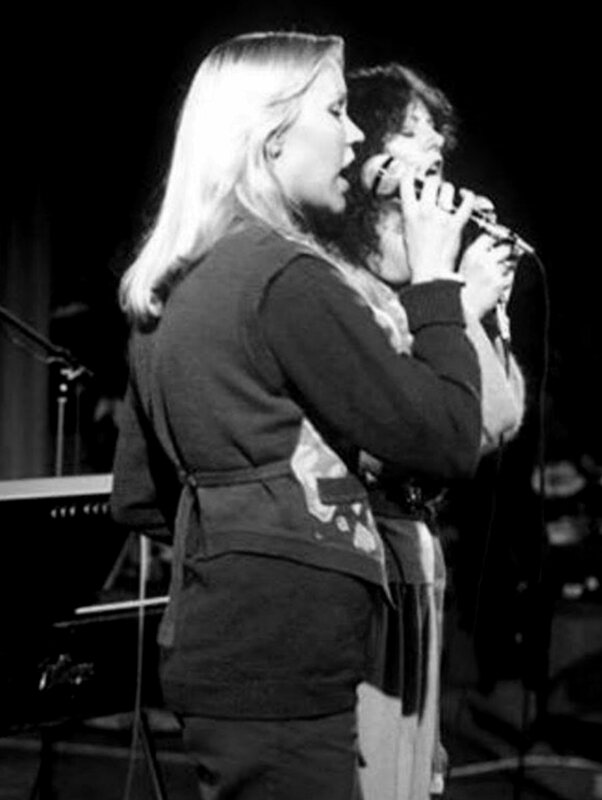 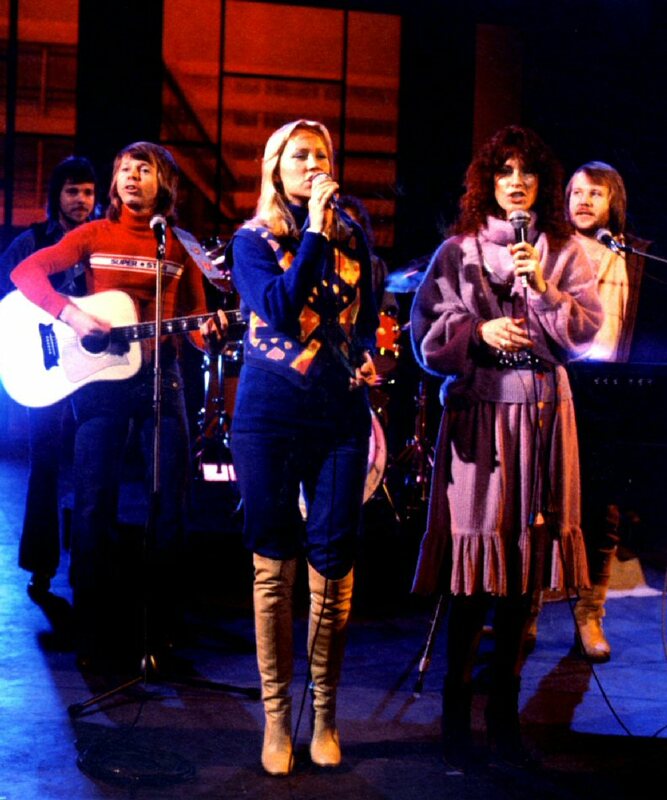 The group performed the song in the traditional way featuring Agnetha on the lead vocals, Frida joining in choir, Björn playing guitar and Benny playing piano. 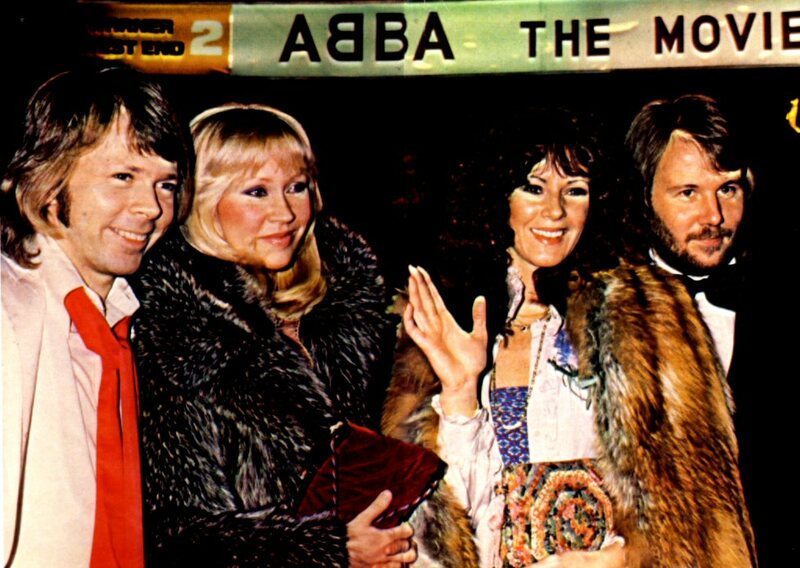 One of the least exciting ABBA videos. 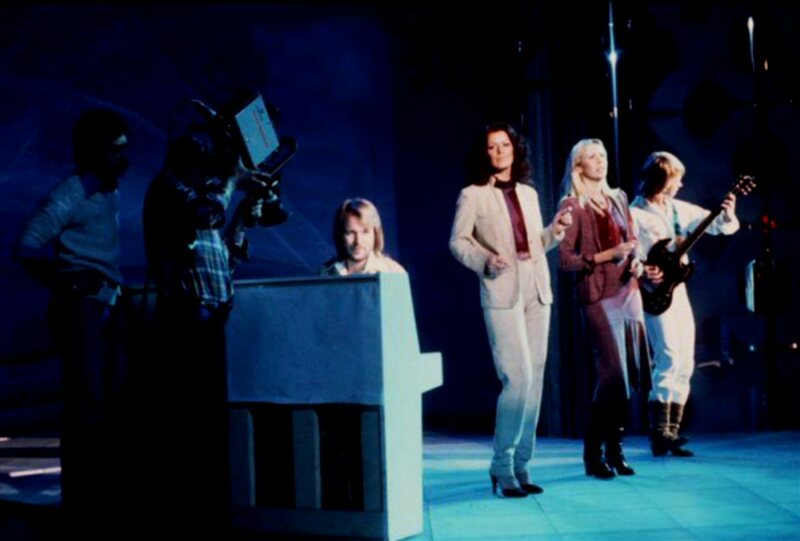 The video for "One Man One Woman" was filmed at the same time in the same studio as "Thank You For The Music". 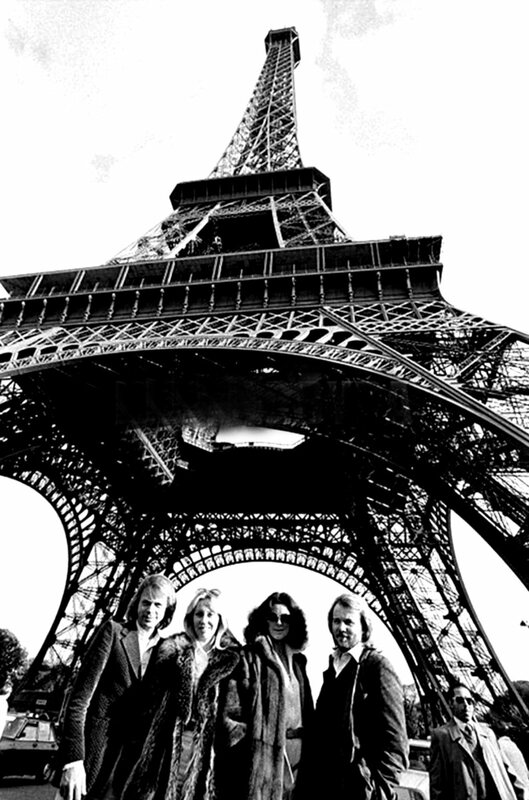 On April 12th the group arrived in Paris. 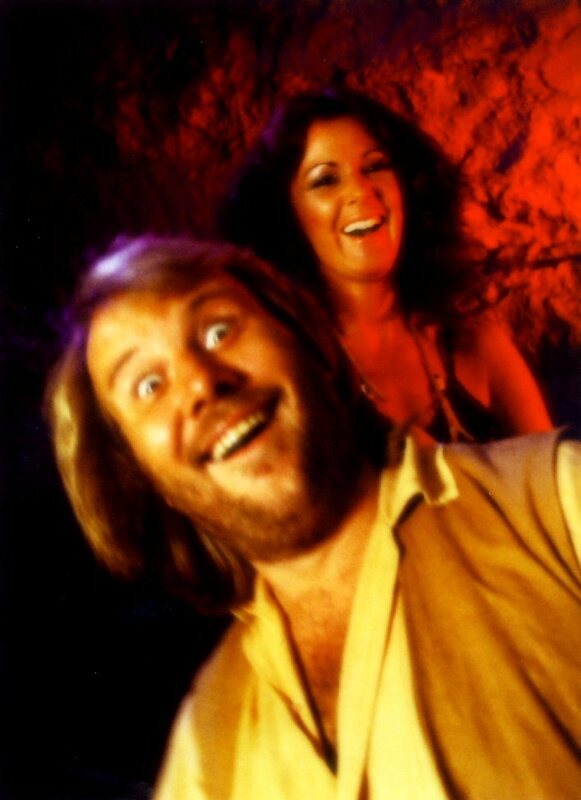 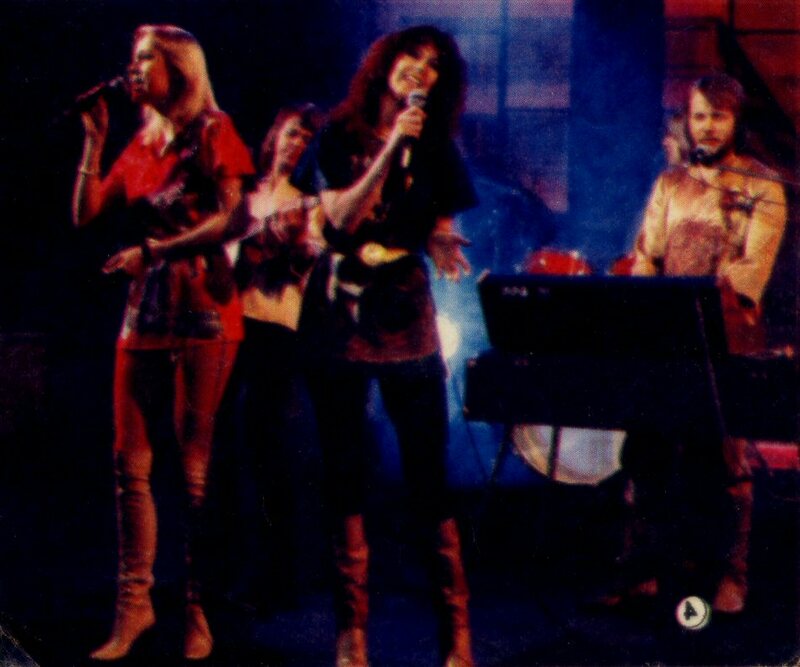 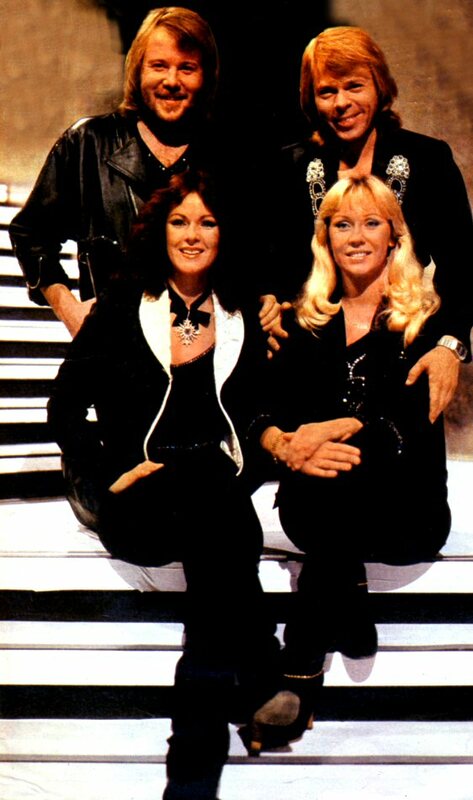 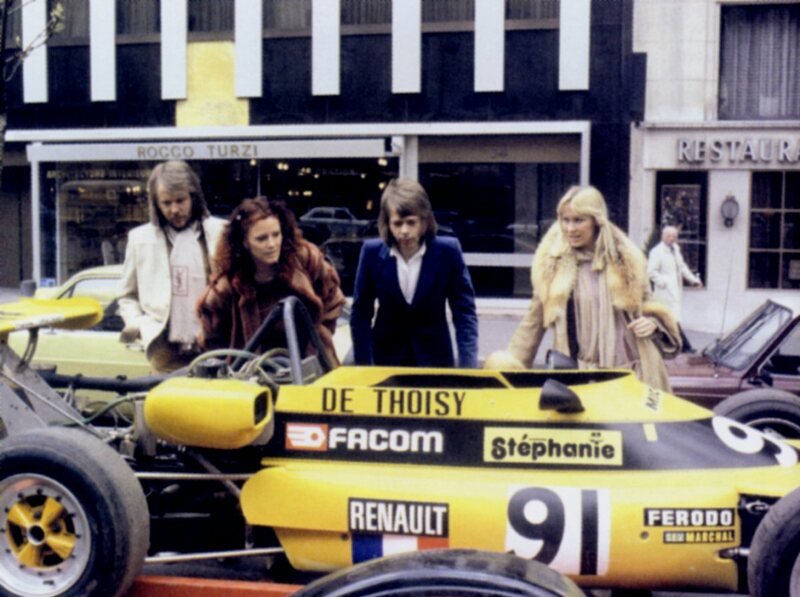 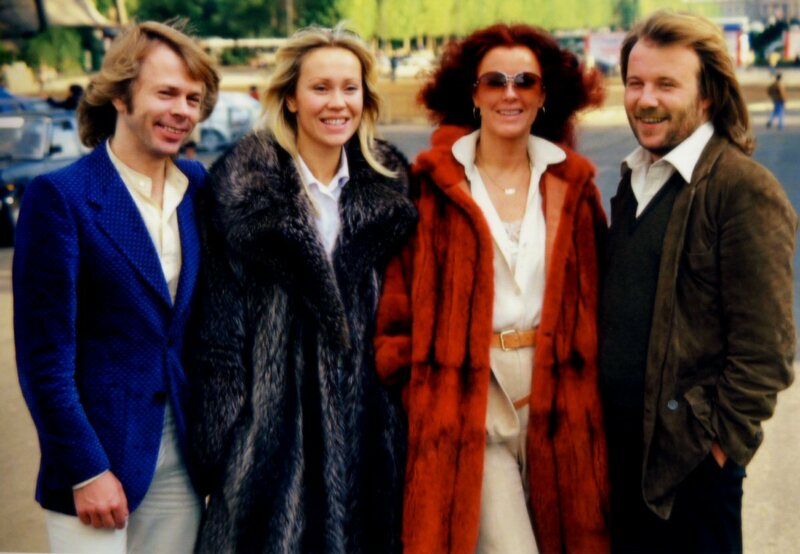 In the TV show "Rendez-Vous du Dimanche" ABBA promoted their film which in France was entitled "Vive ABBA". 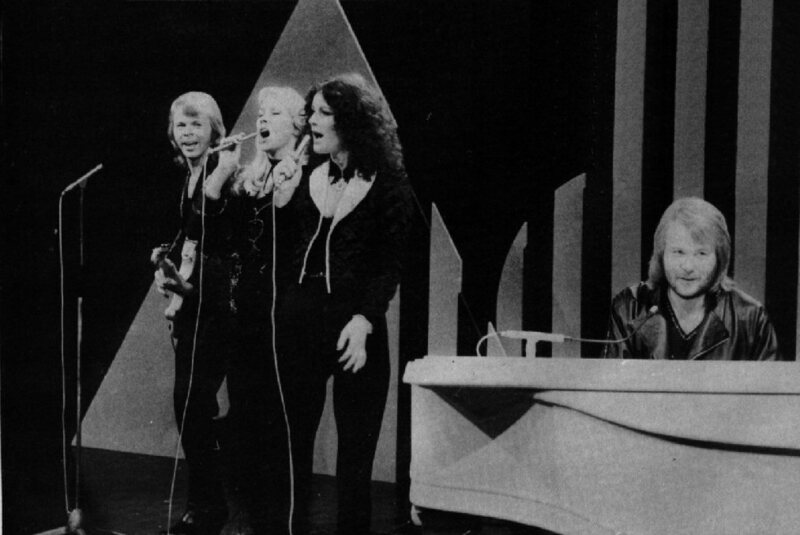 The group performed their latest single "Take A Chance On Me". 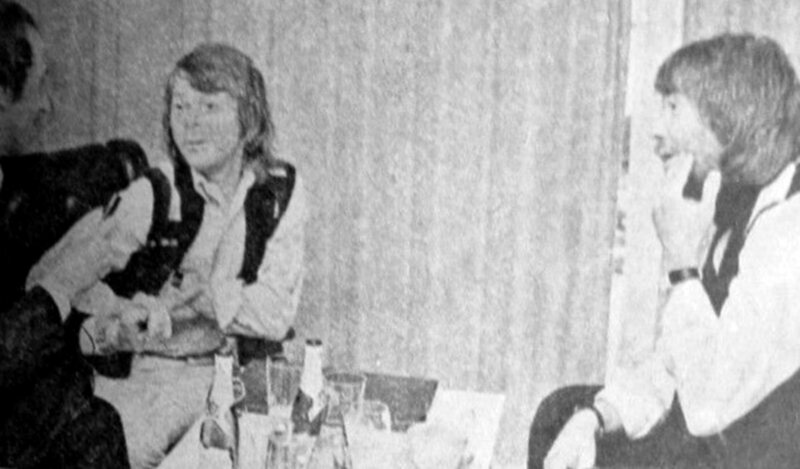 Michael Druckner did an interview with the group. 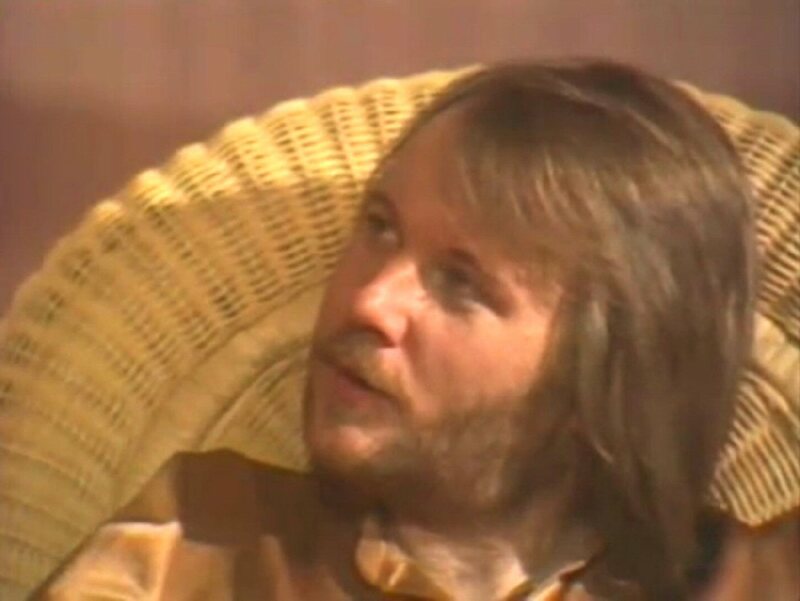 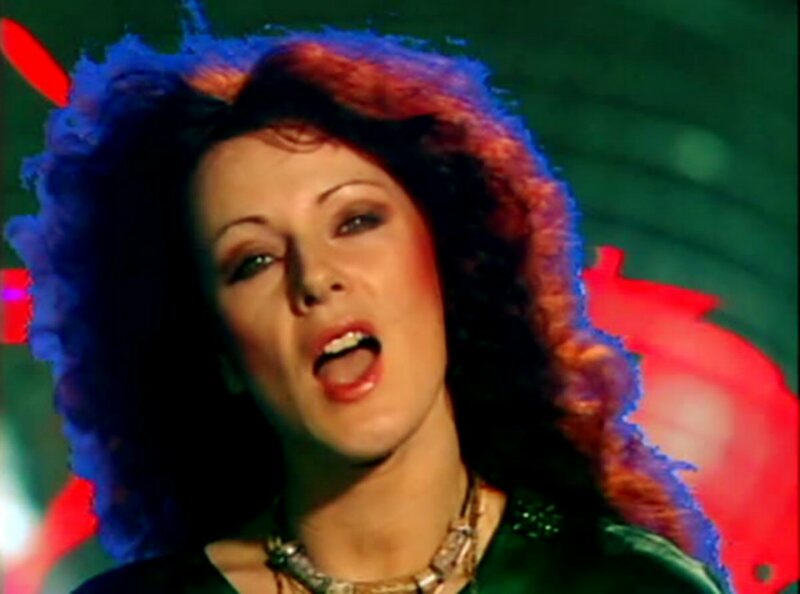 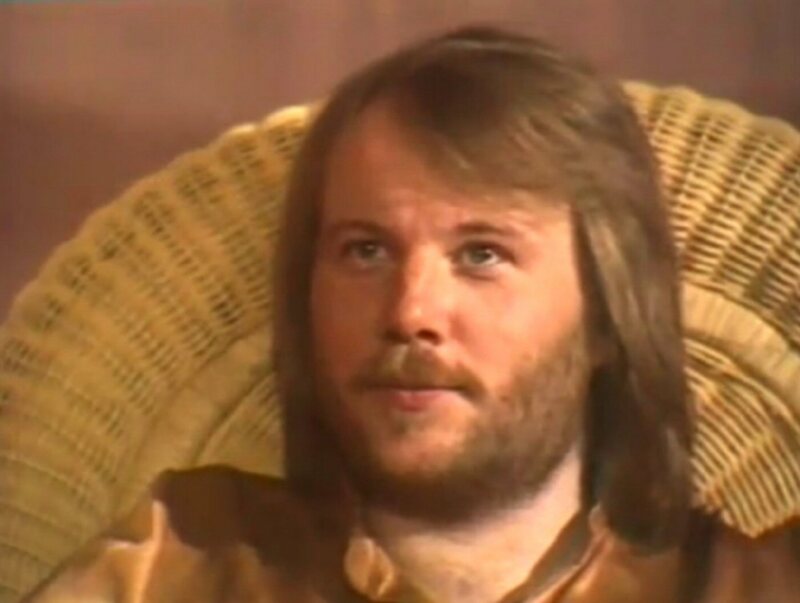 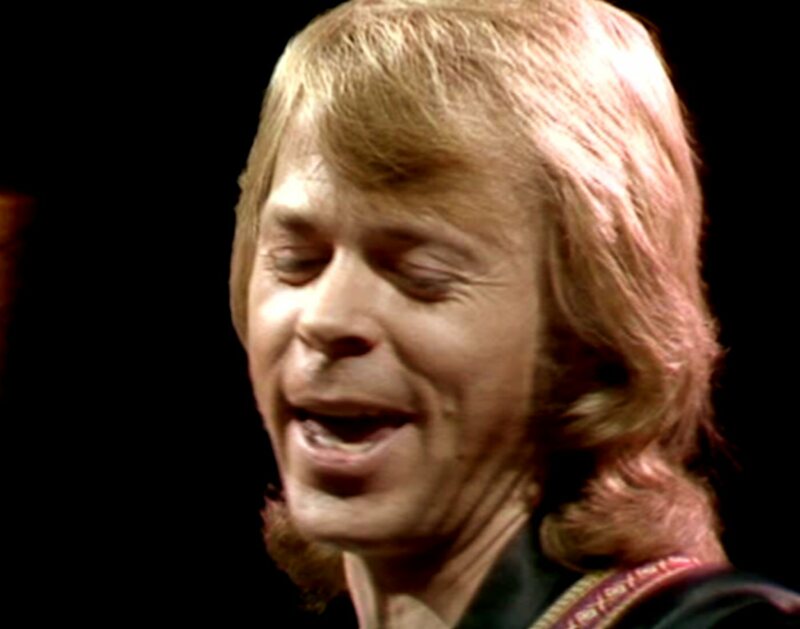 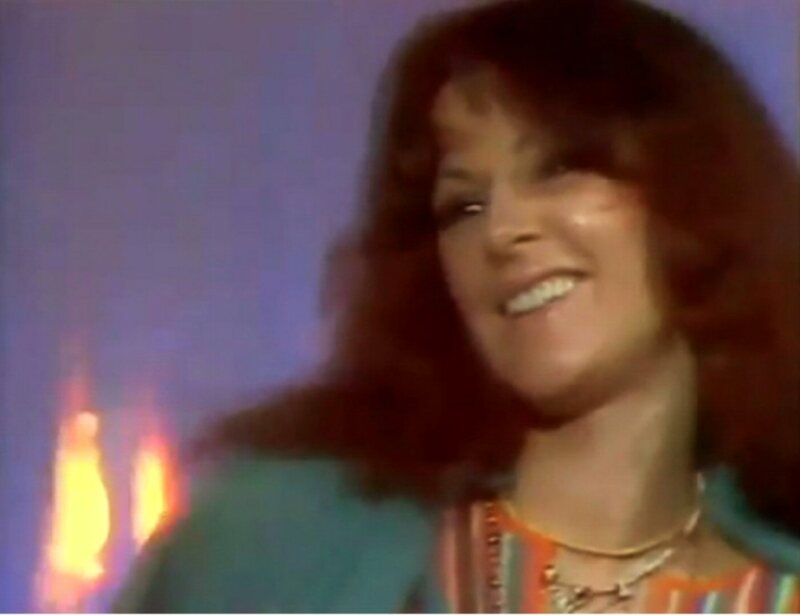 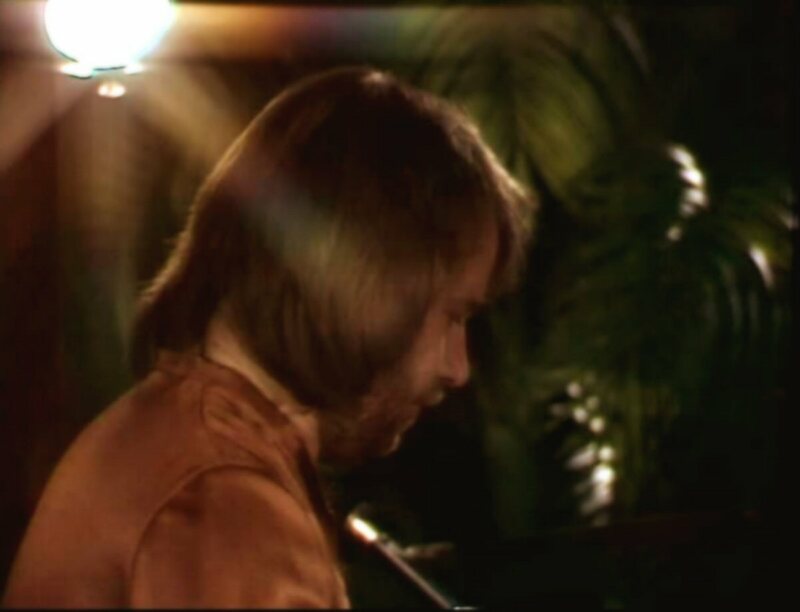 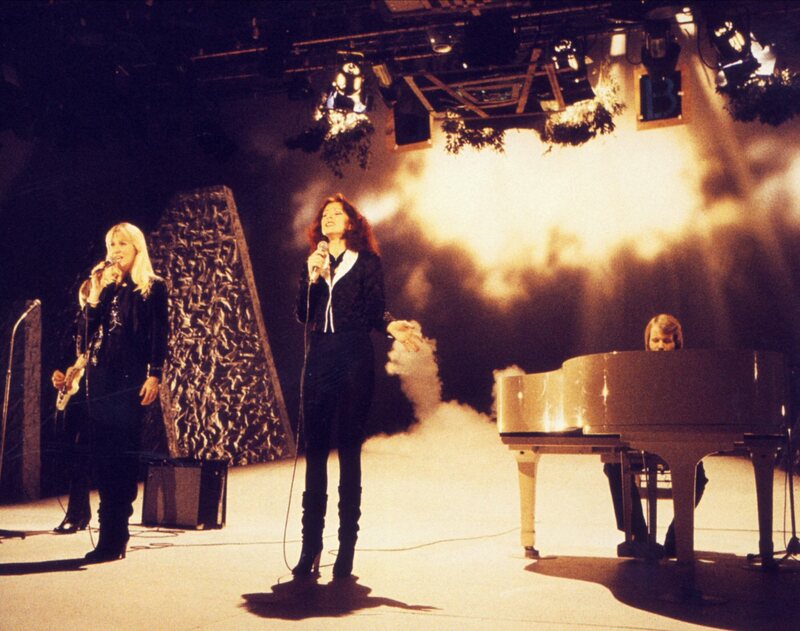 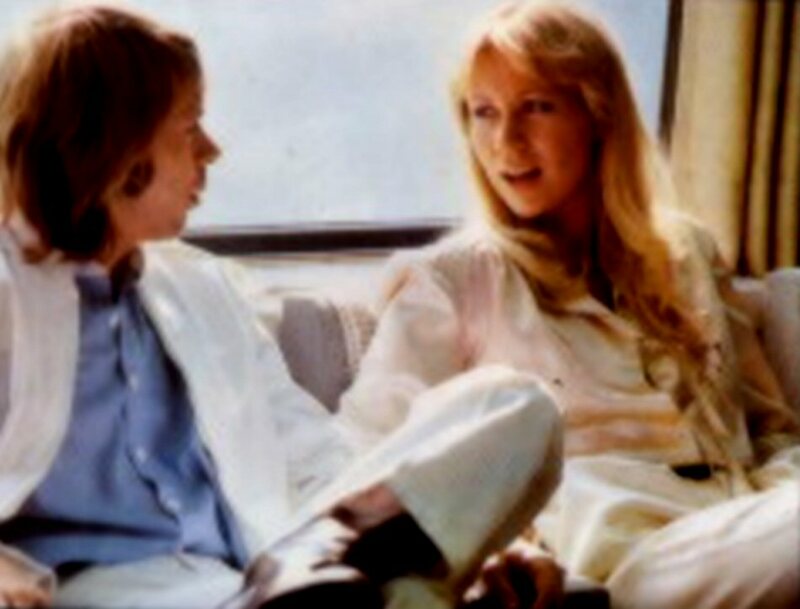 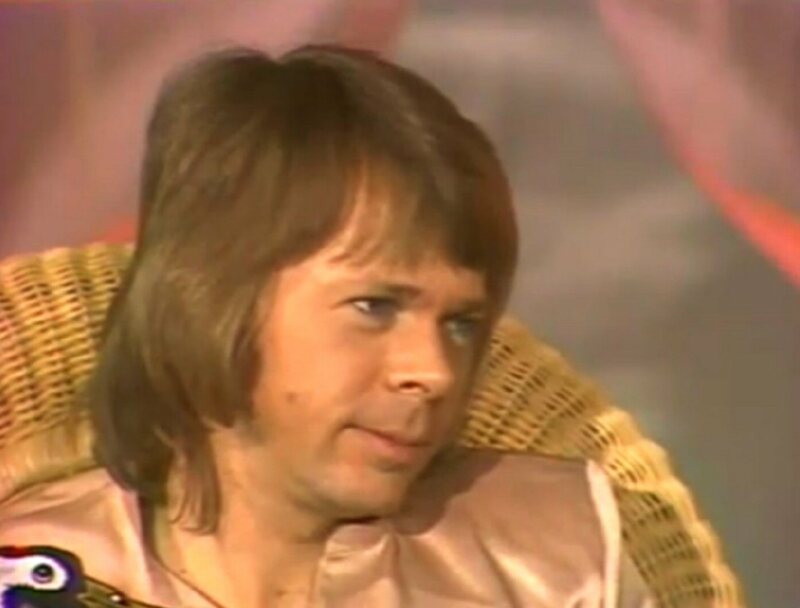 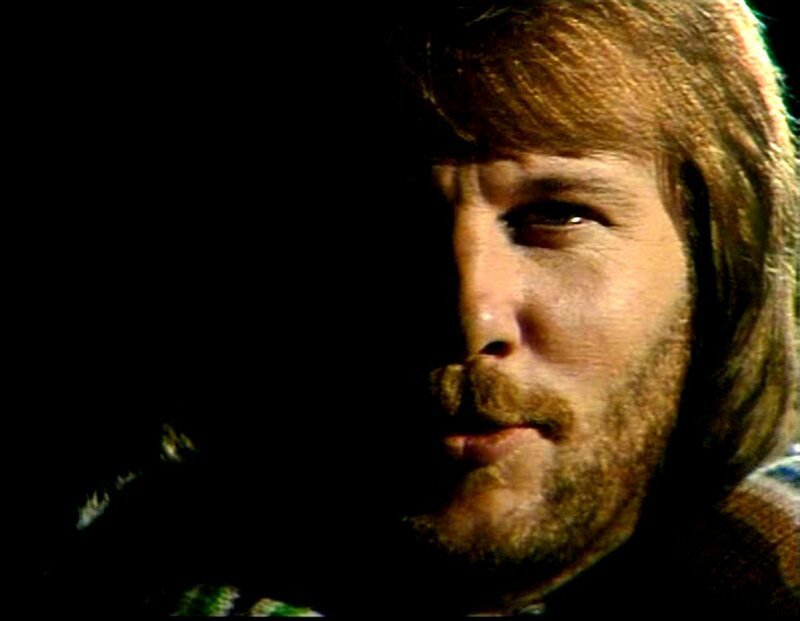 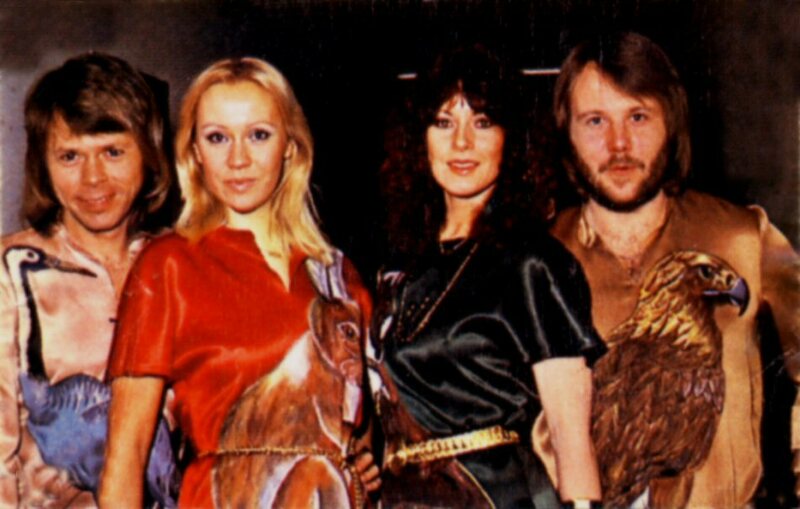 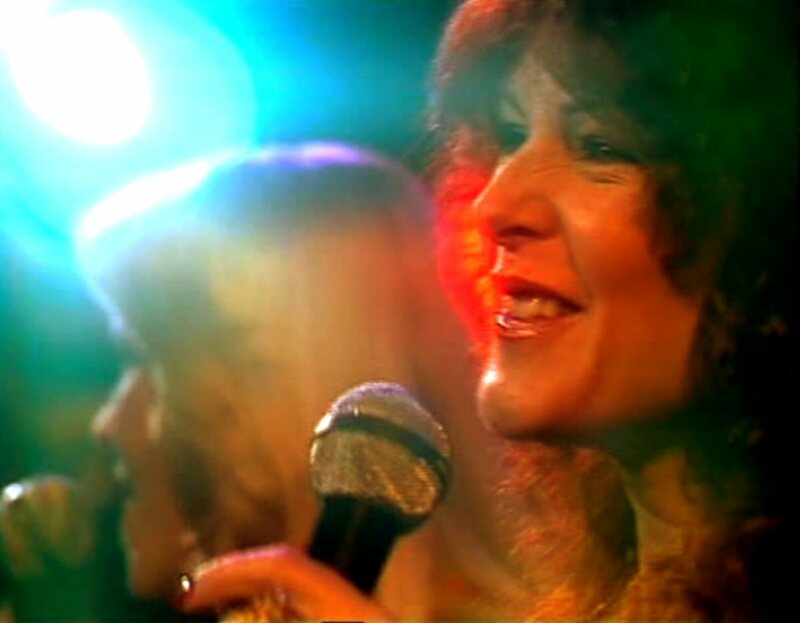 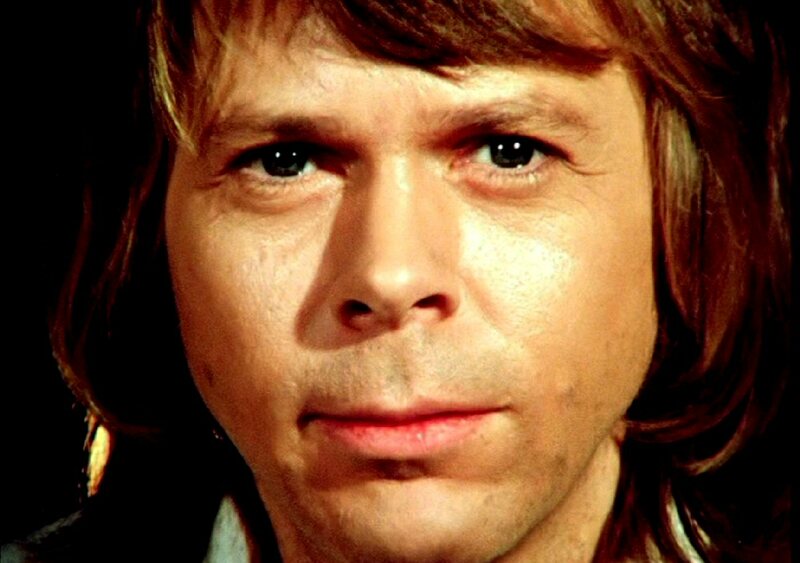 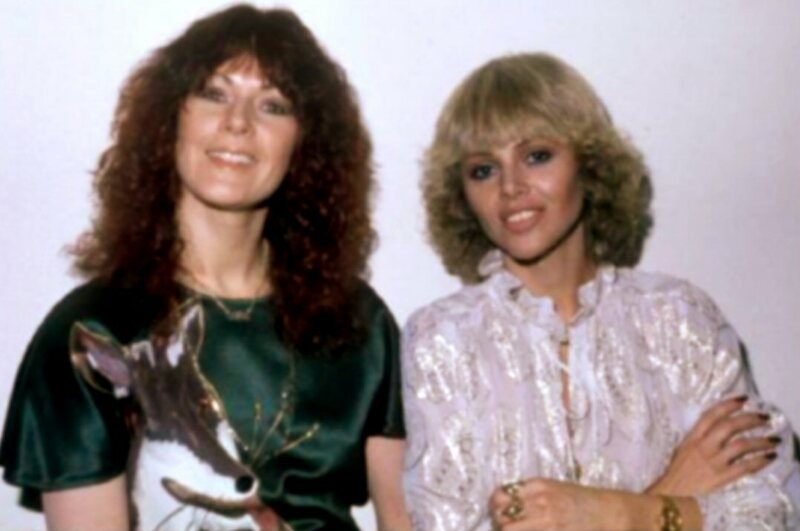 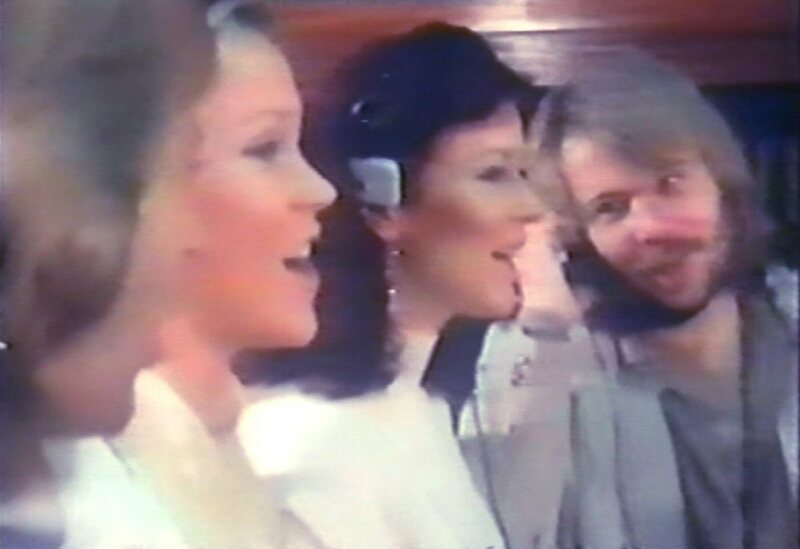 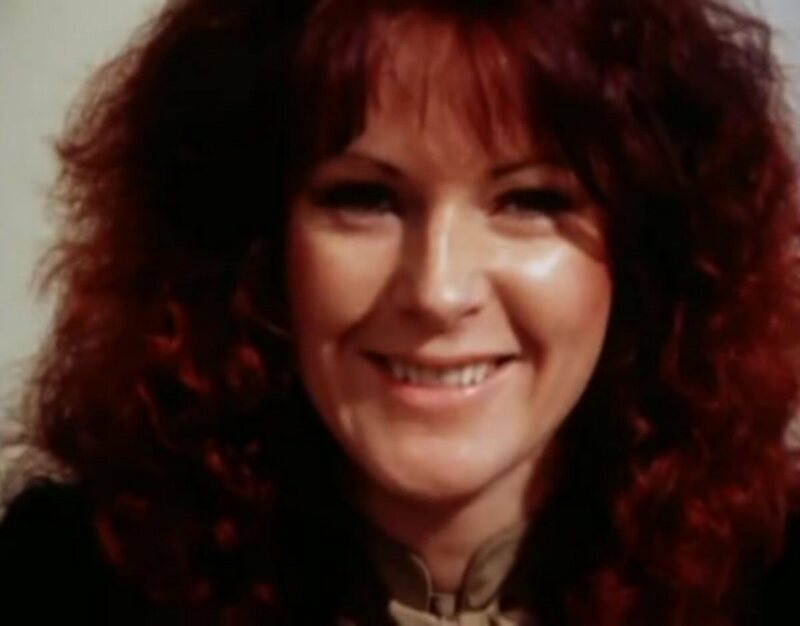 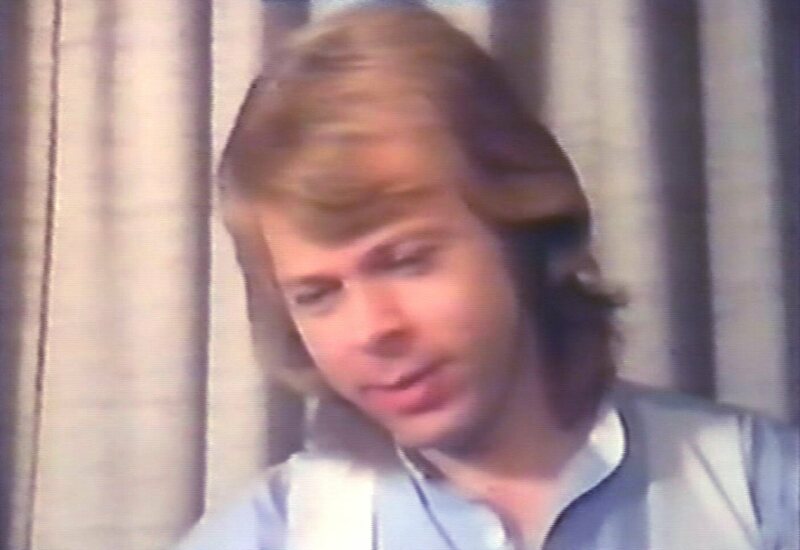 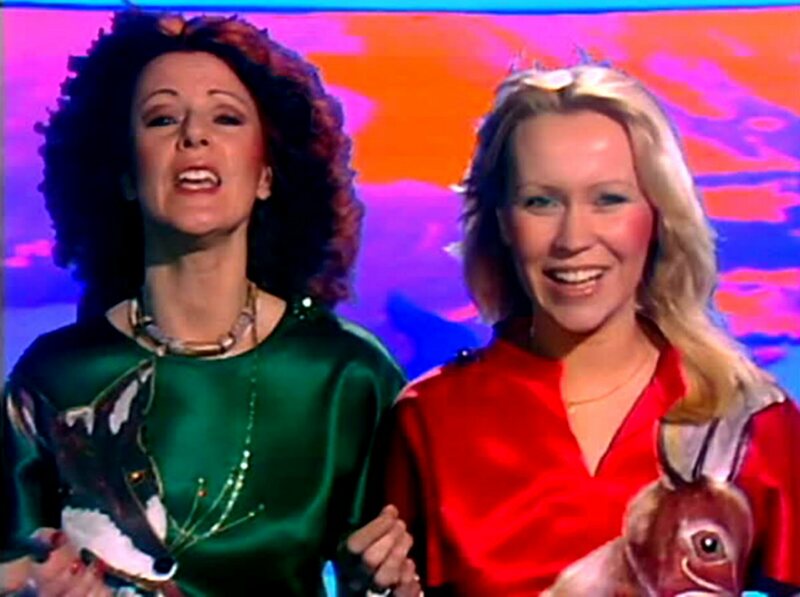 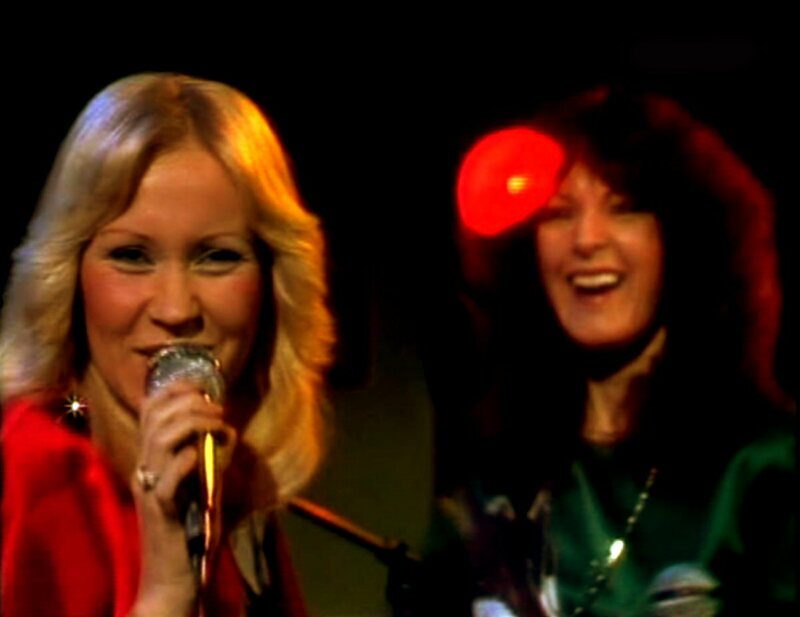 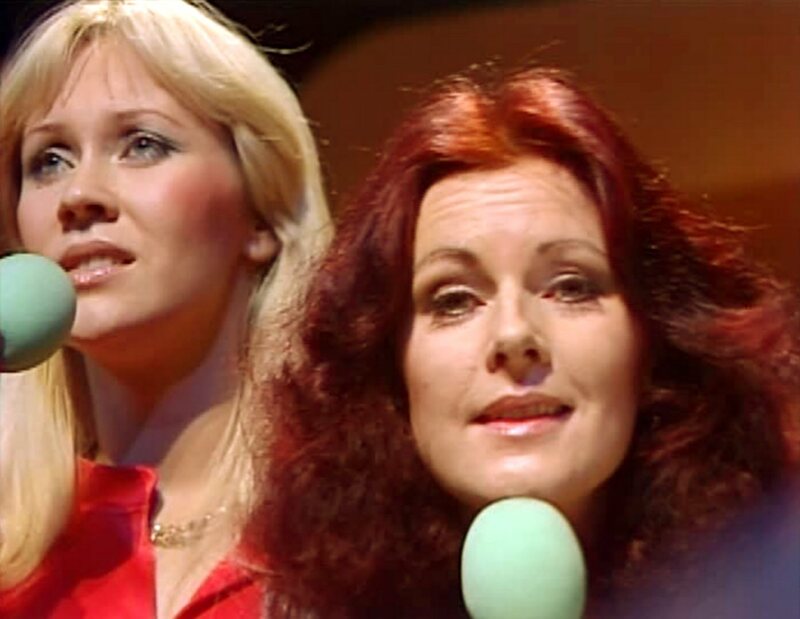 The video for "Eagle" which would be the forthcoming third single release from "ABBA The Album" was filmed in the Swedish TV studios on April 17th-18th, 1978. 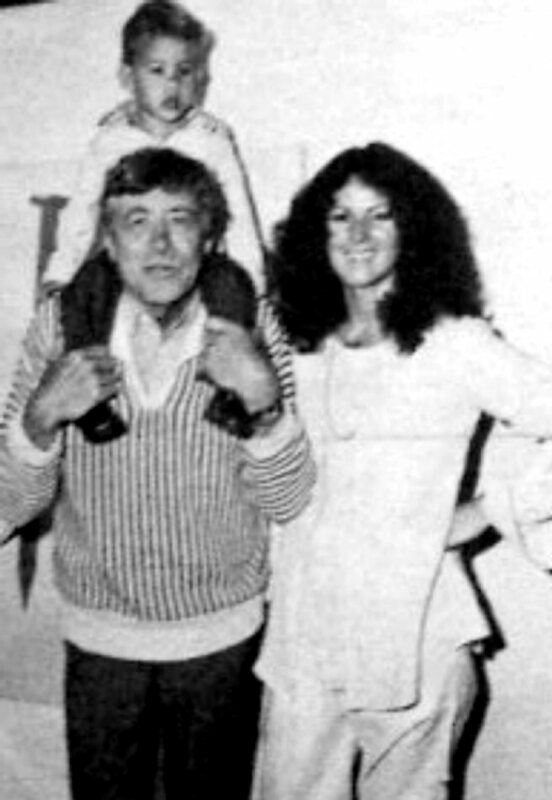 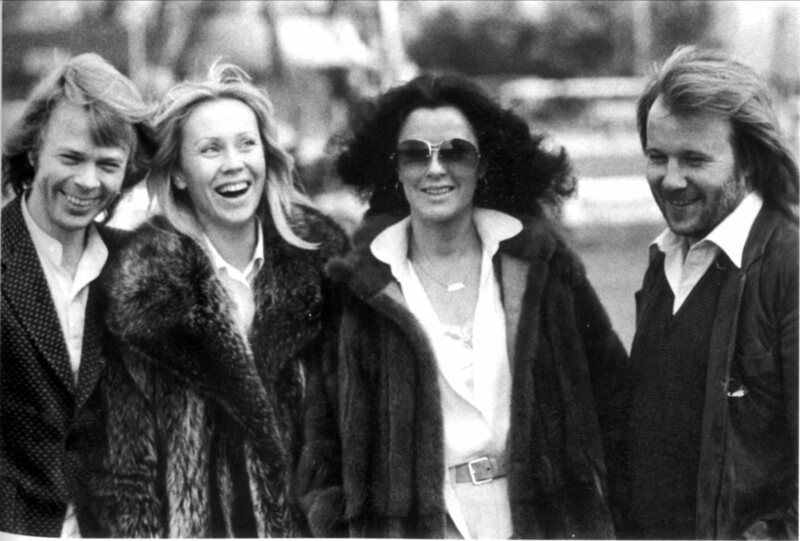 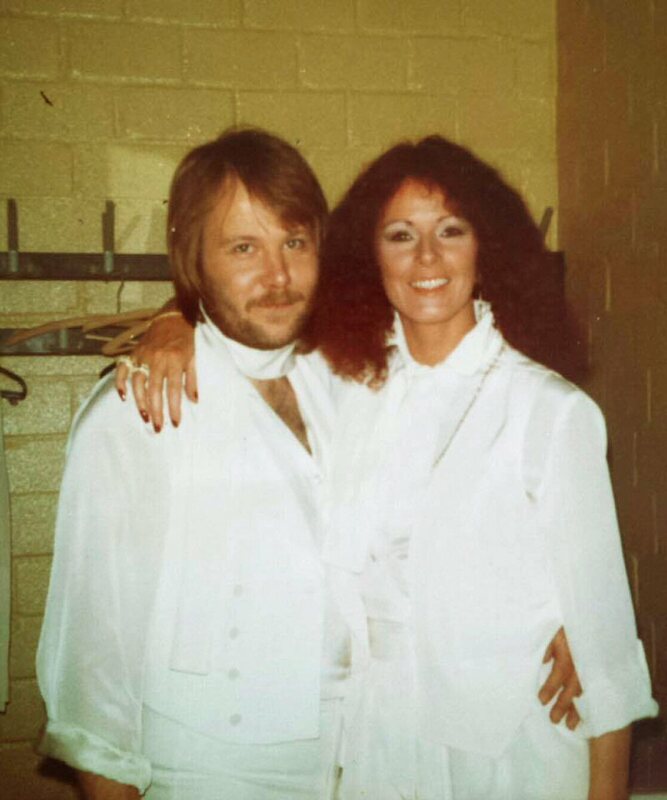 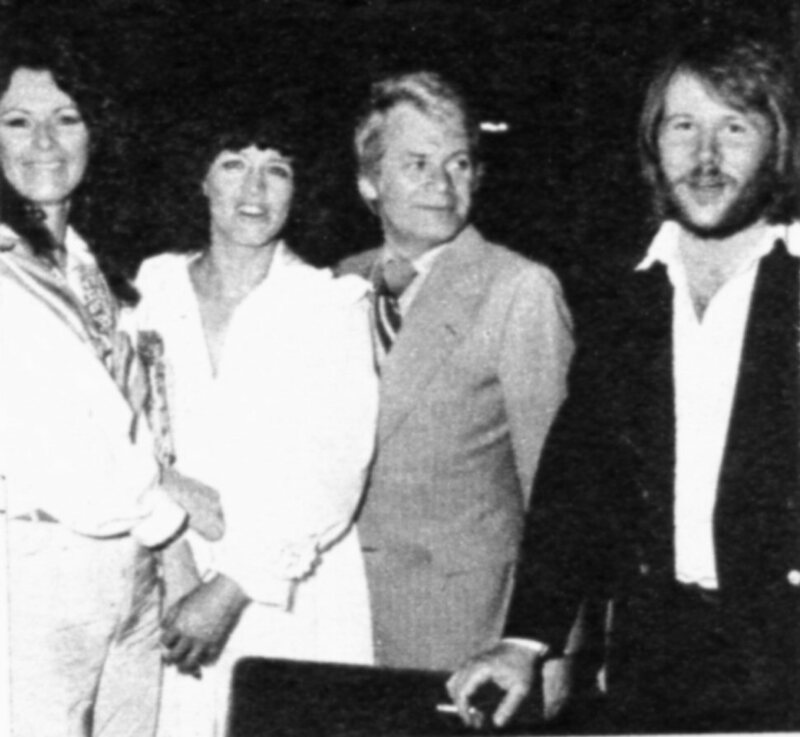 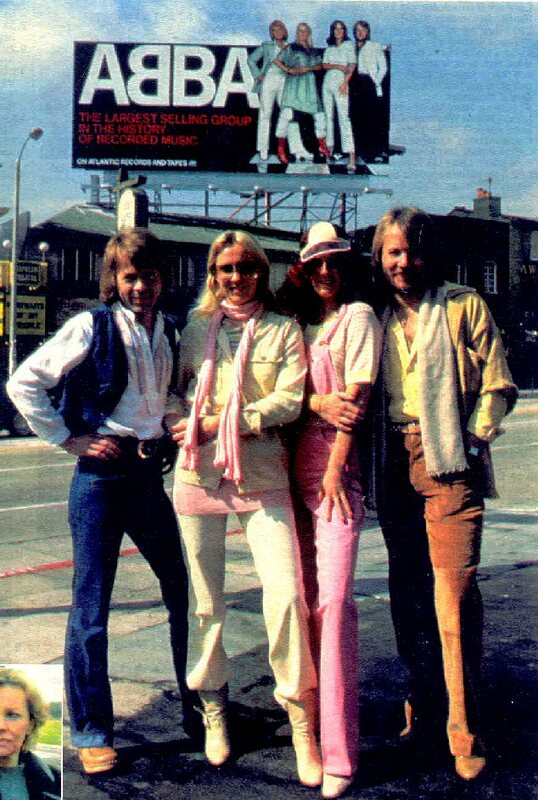 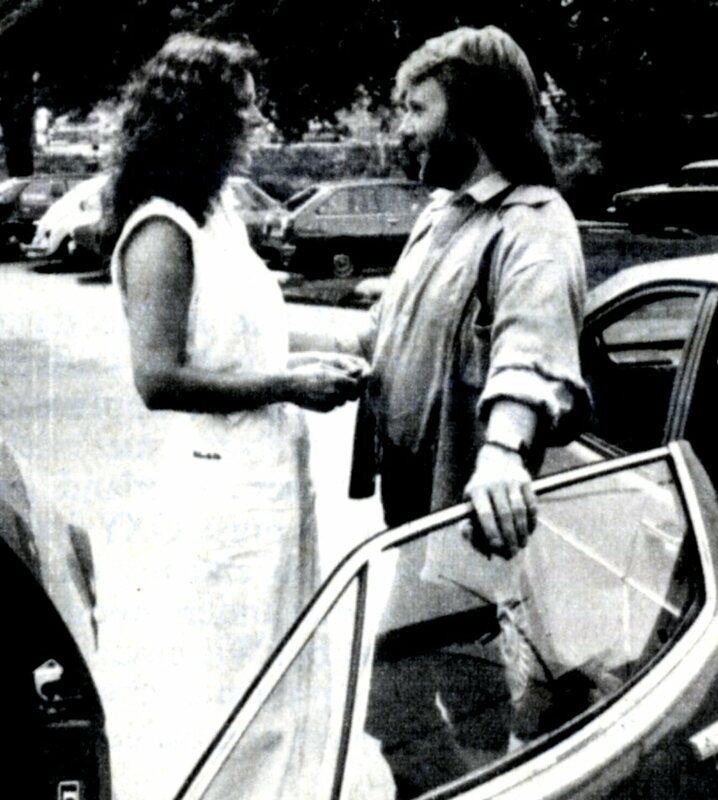 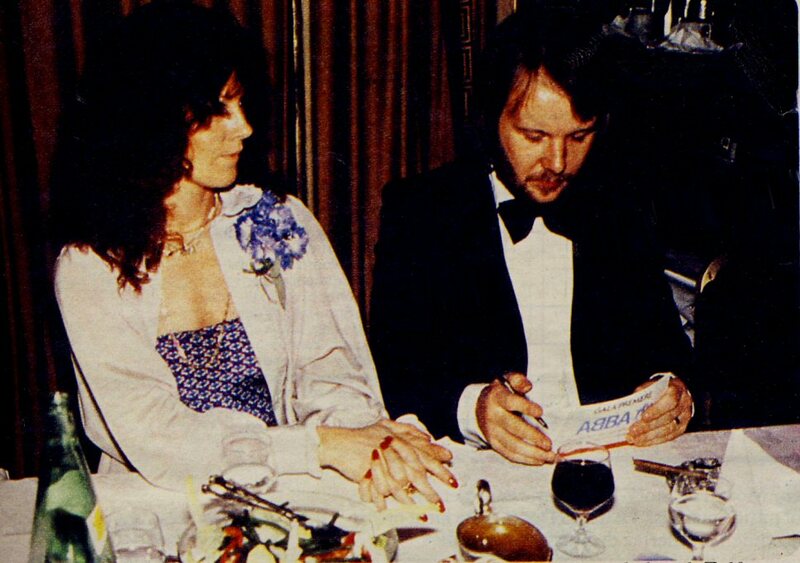 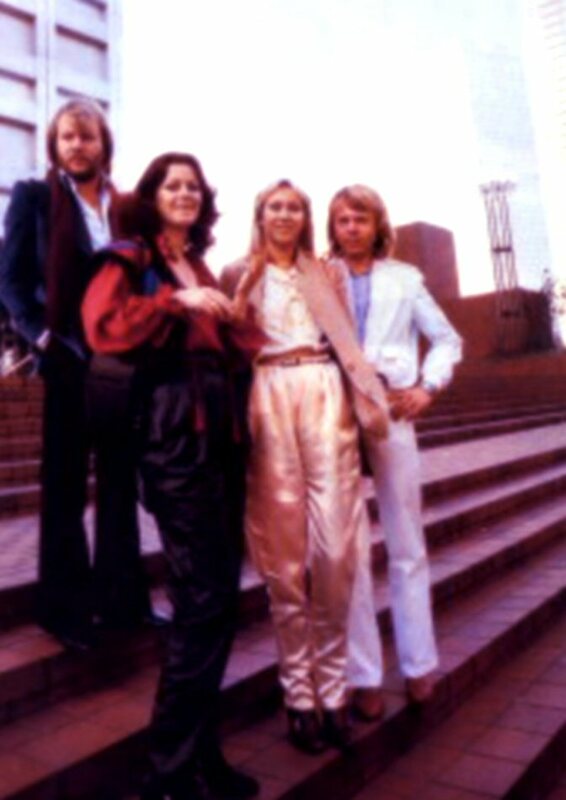 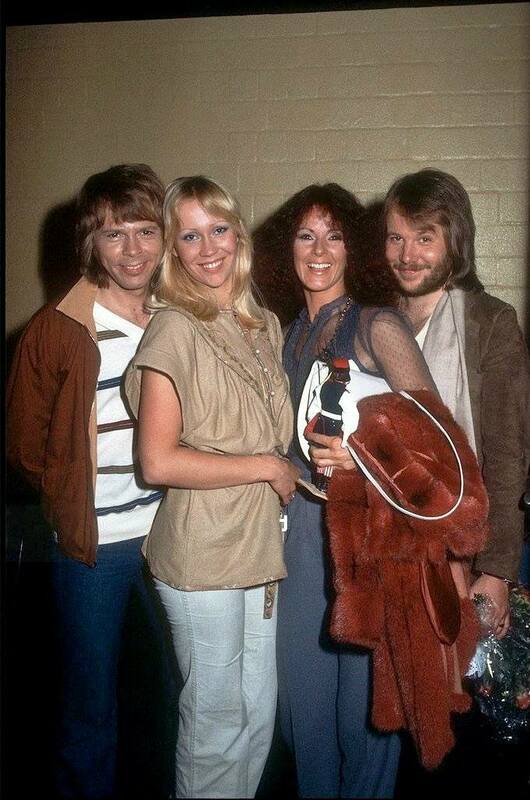 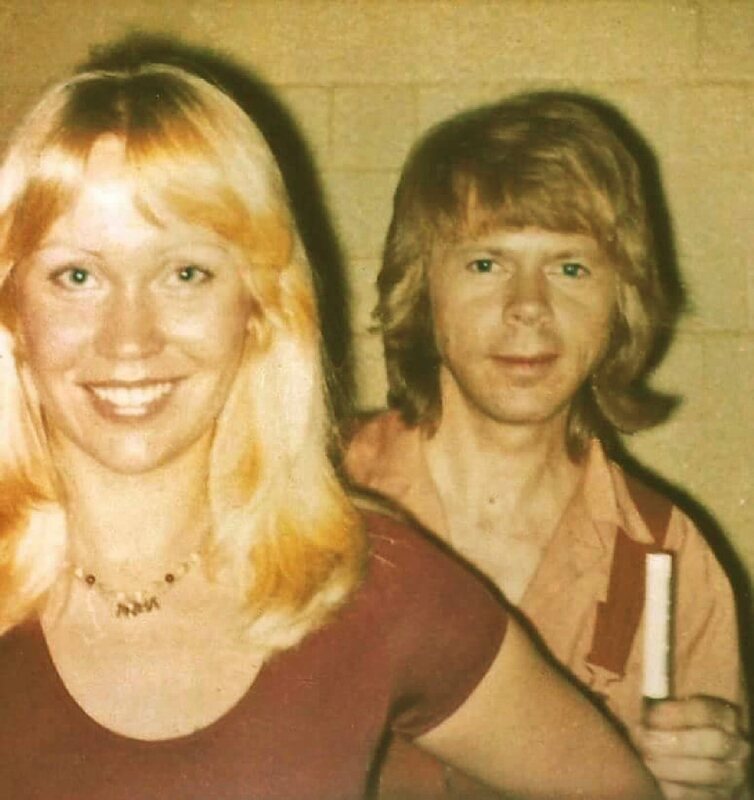 At the beginning of May 1978 ABBA went to USA for a big promotion trip. 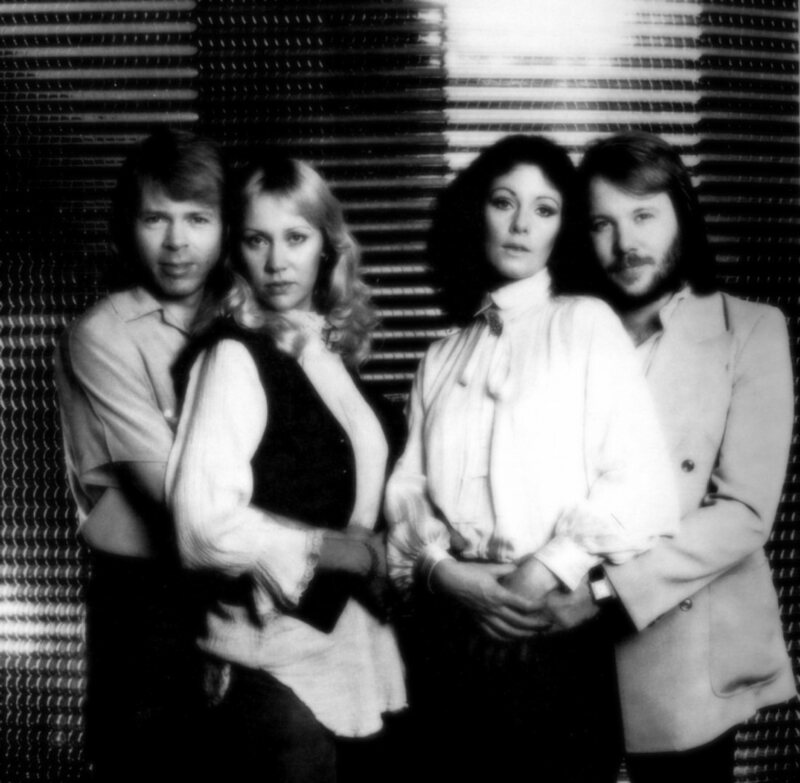 Even if the group had already lots of fans in USA they still weren't successful enough on the US charts with up-to-date only one #1 hit: "Dancing Queen". 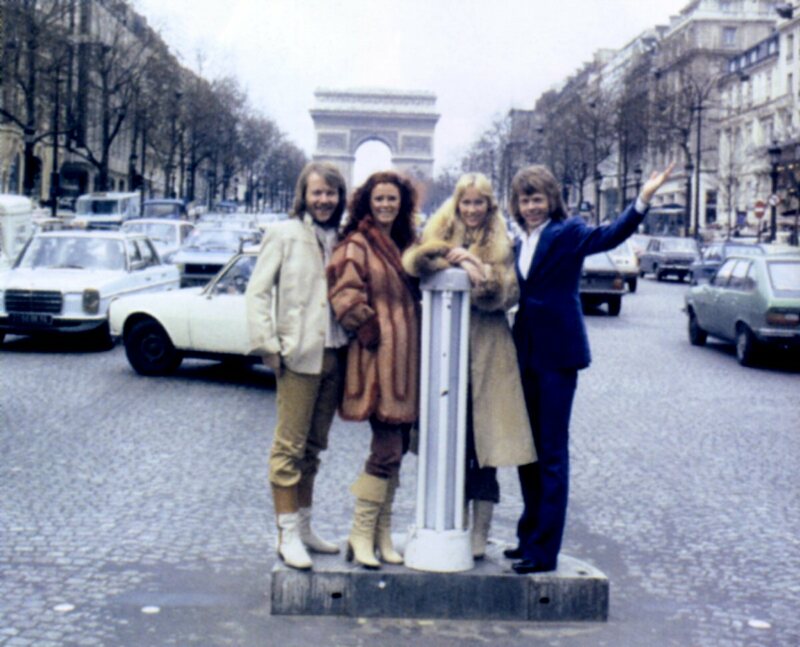 This trip was thought as the biggest promotional investment in 1978. 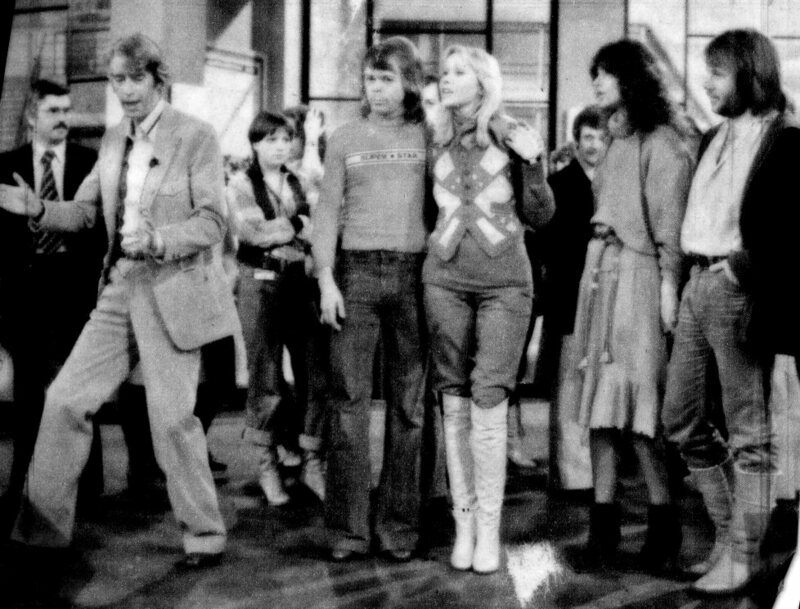 The highlight was a TV special with Olivia Newton-John and Andy Gibb. 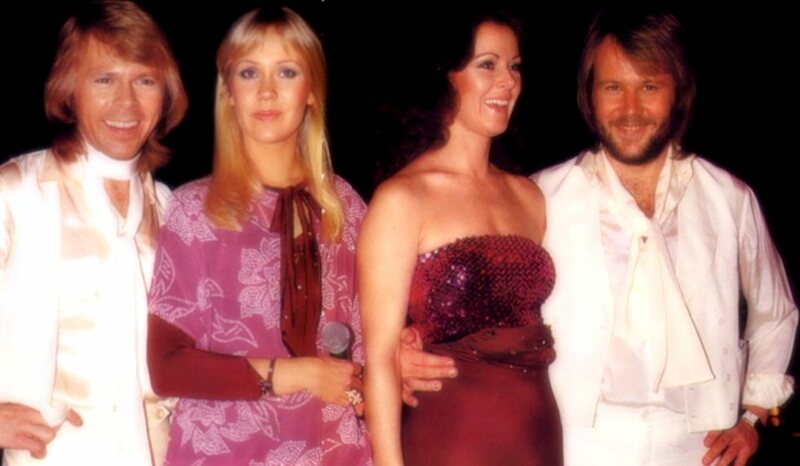 ABBA performed their greatest hits and sang together with Olivia and Andy. 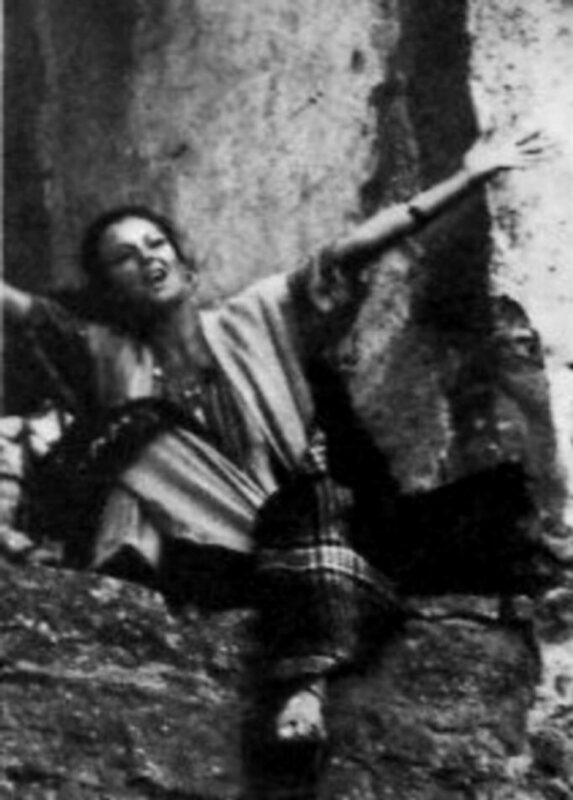 They had a jamming session and Frida sang opera. 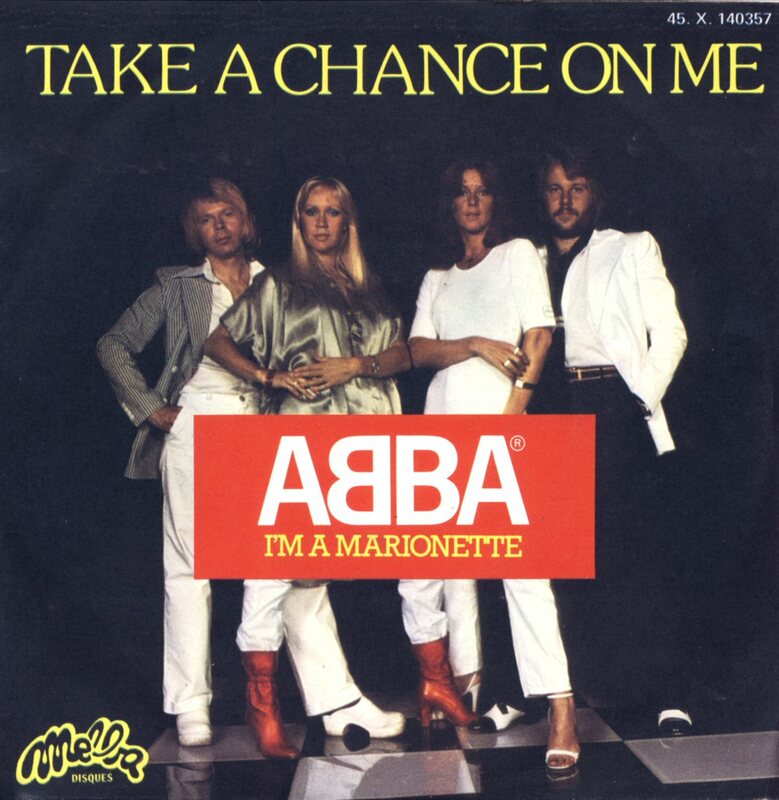 All the promotion made that ABBA's latest single "Take A Chance On Me" reached number 3 on the Billboard chart. 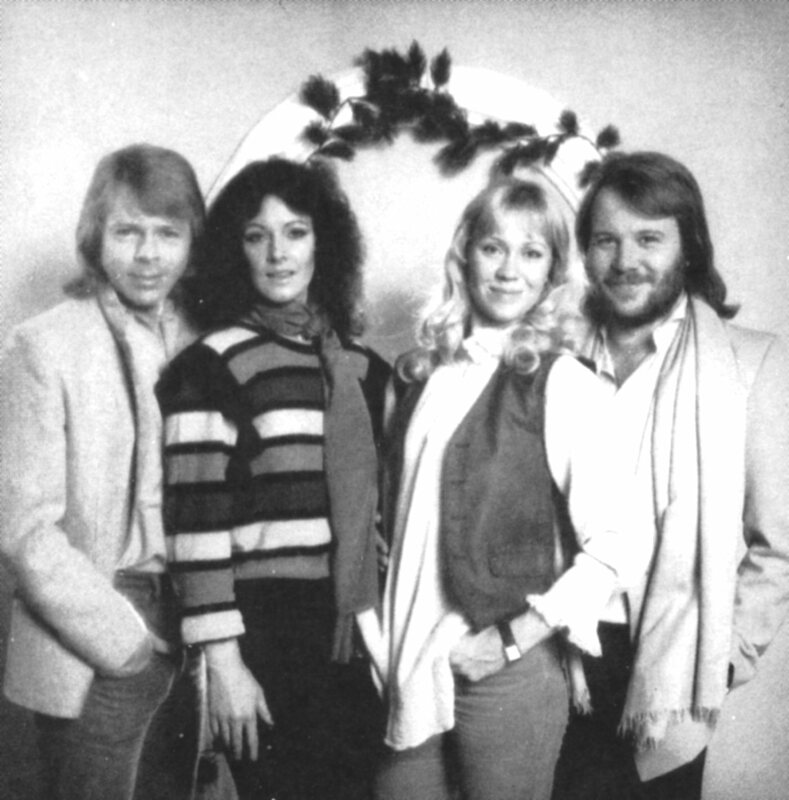 The third and the last single from "ABBA The Album" was released in May in an edited version in some European countries (Austria, West Germany, France, Holland, Switzerland, Belgium and Spain). 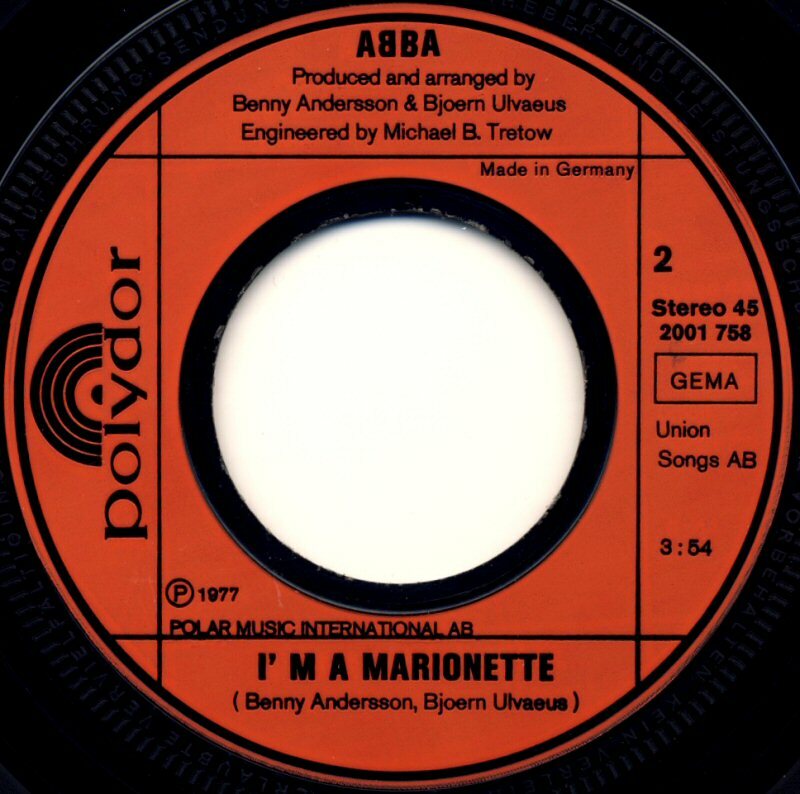 There were two alternative versions of the single in West Germany. 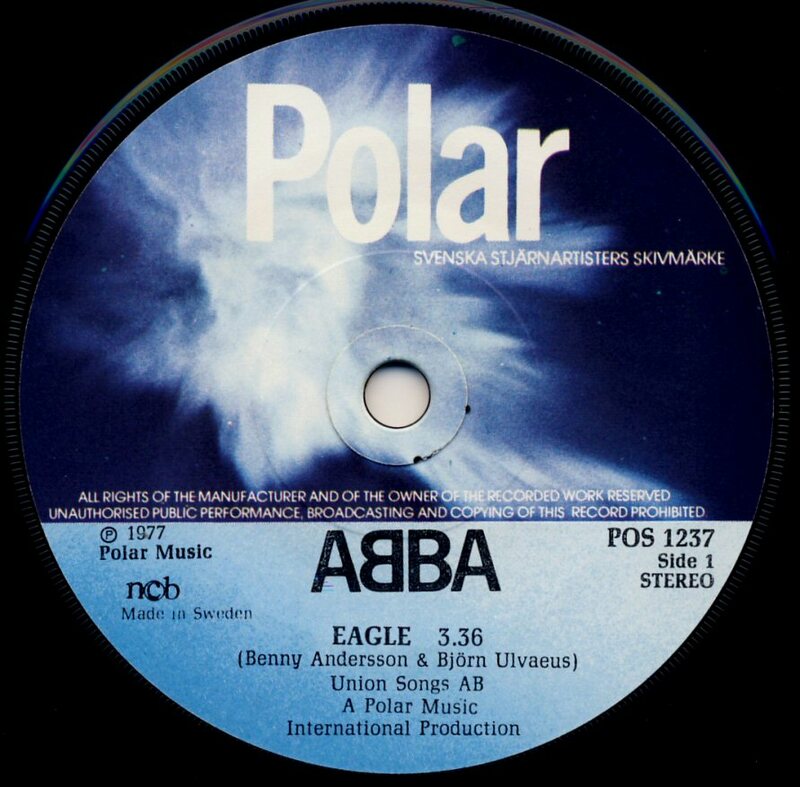 The first version of the single featured a remixed version of "Eagle" which was shortened to 4.23 and the second one 4.28. 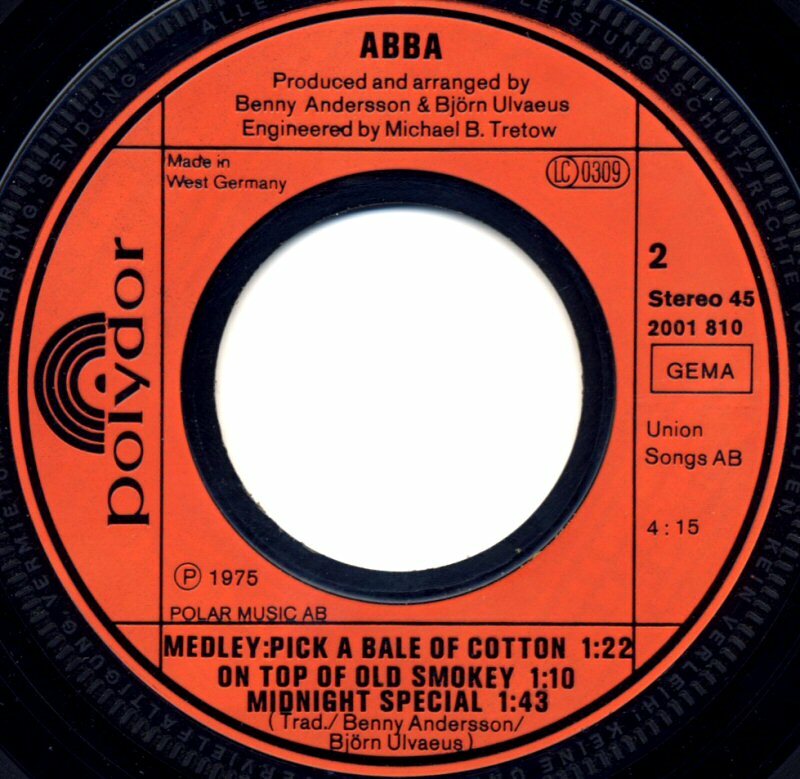 The single entered the German chart on May 22nd, 1978 where it reached #6. 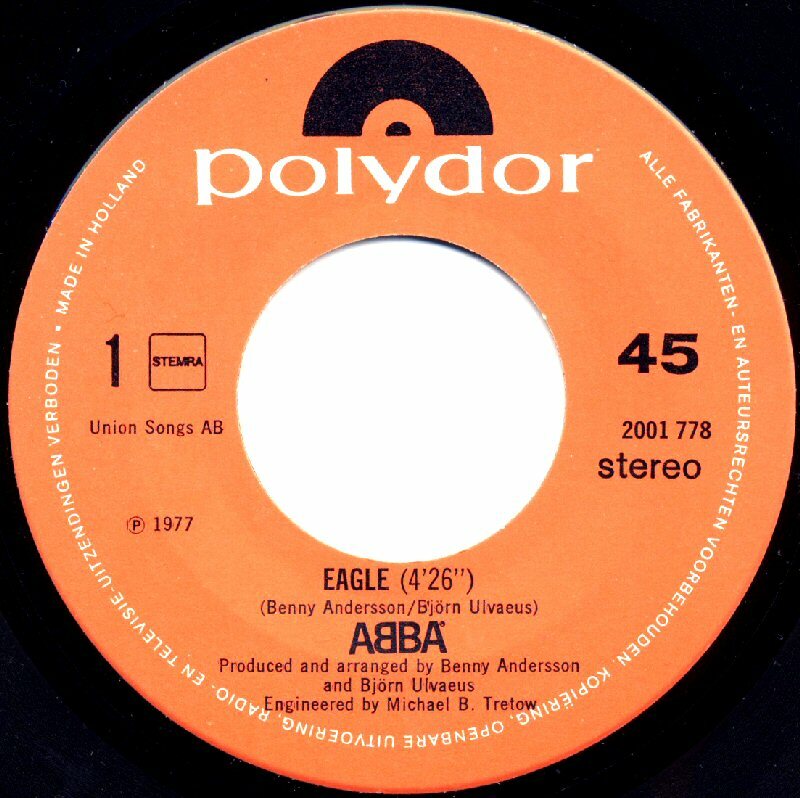 In Holland the single featured shorter version of "Eagle" which was 4.26. 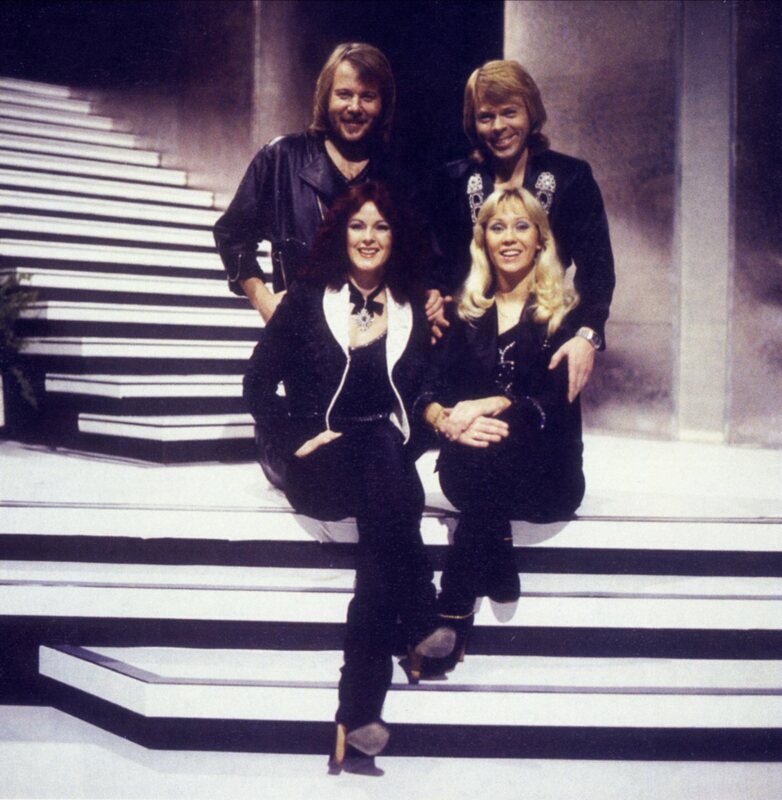 The single peaked at #4 on the Dutch chart. 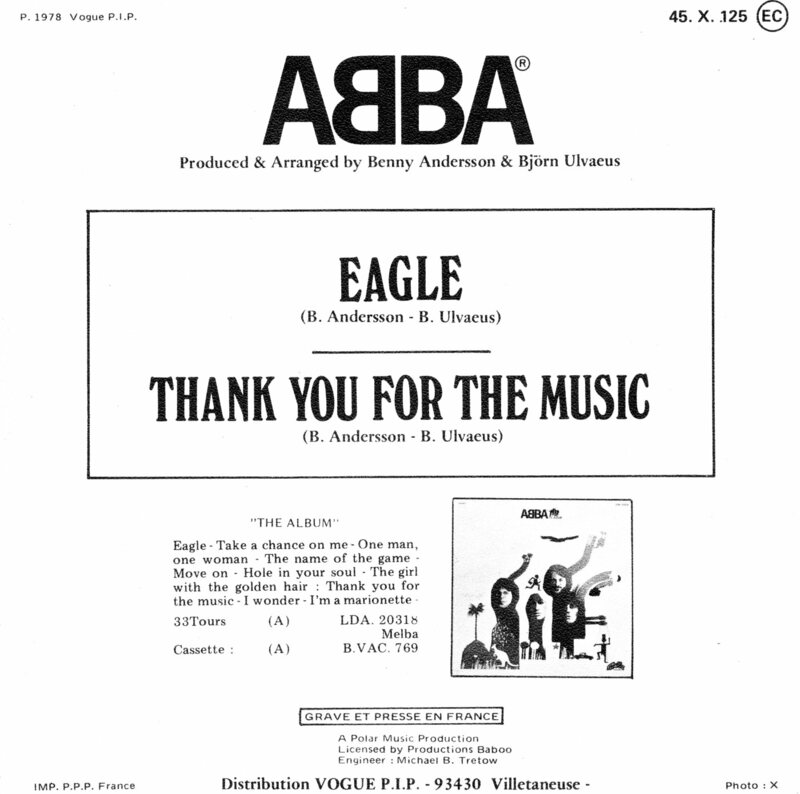 In France "Eagle" (3.36-edit) entered the chart in May 1978 and stayed there for 6 weeks peaking at #36. 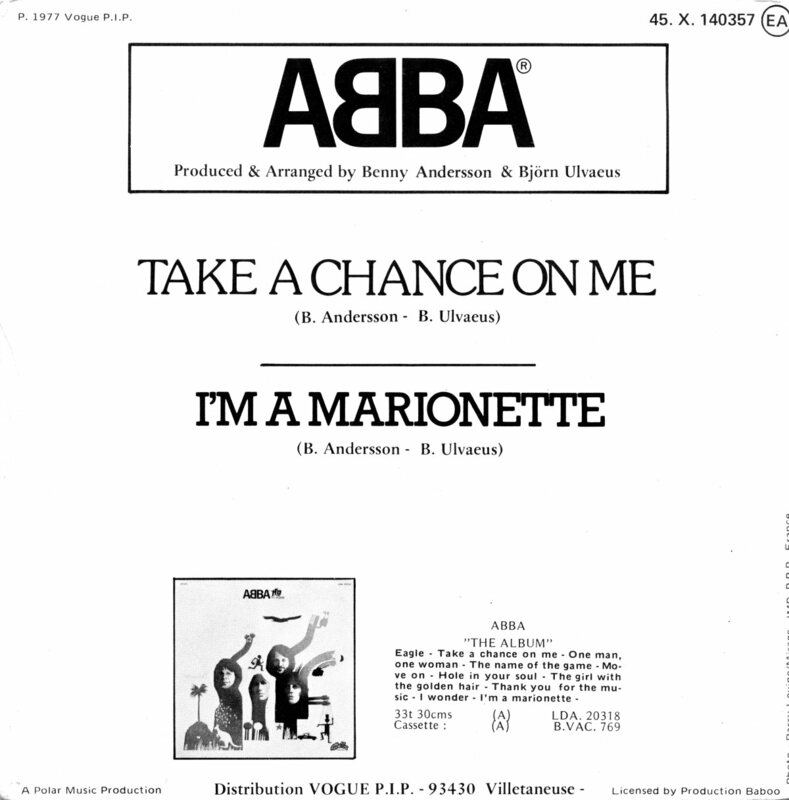 The single was not released either in UK or USA. 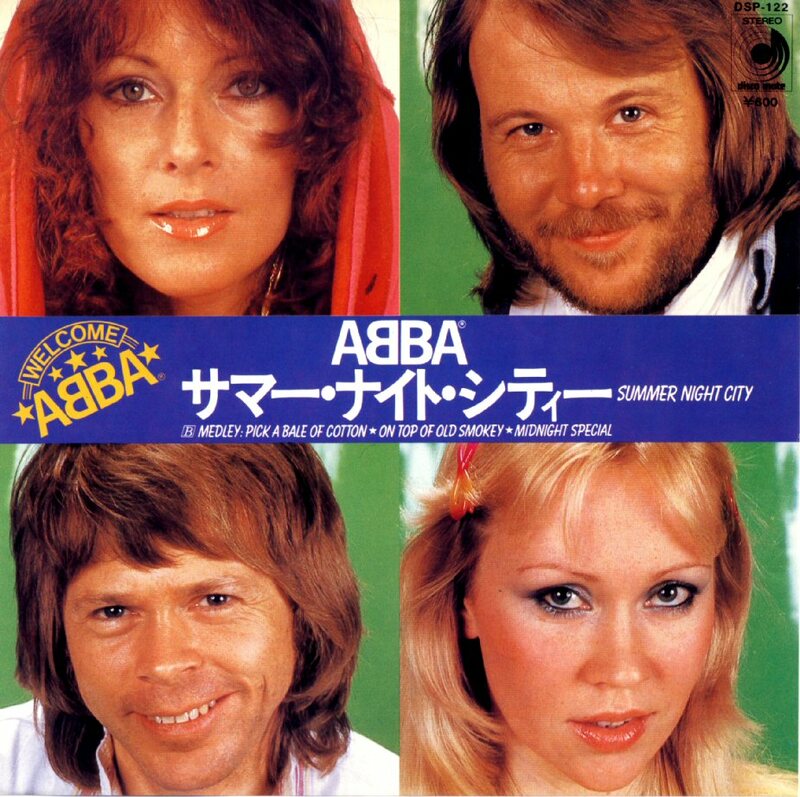 In Australia it reached no 82, in Japan no 62. 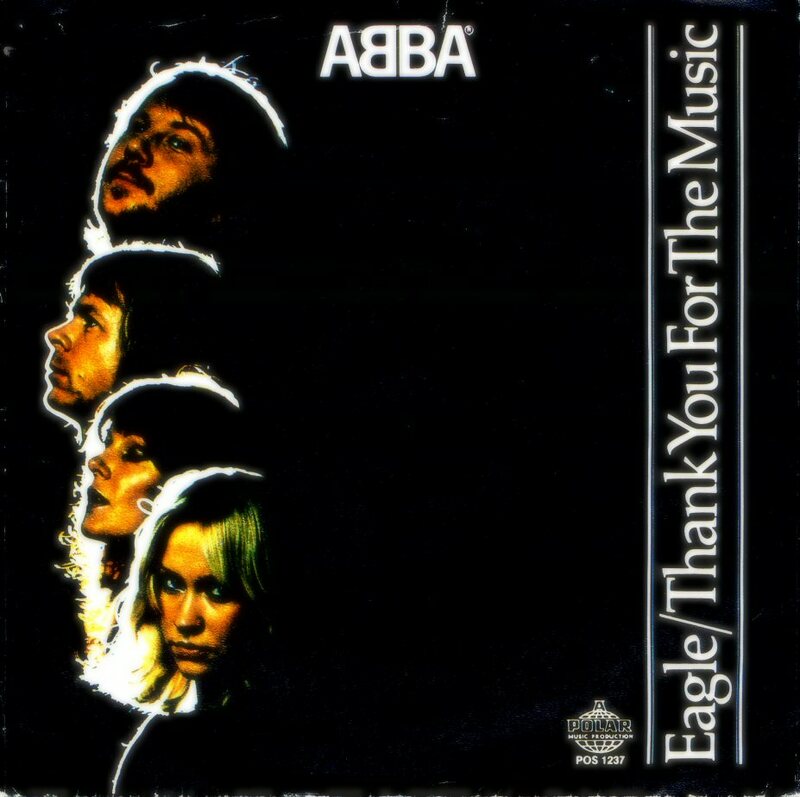 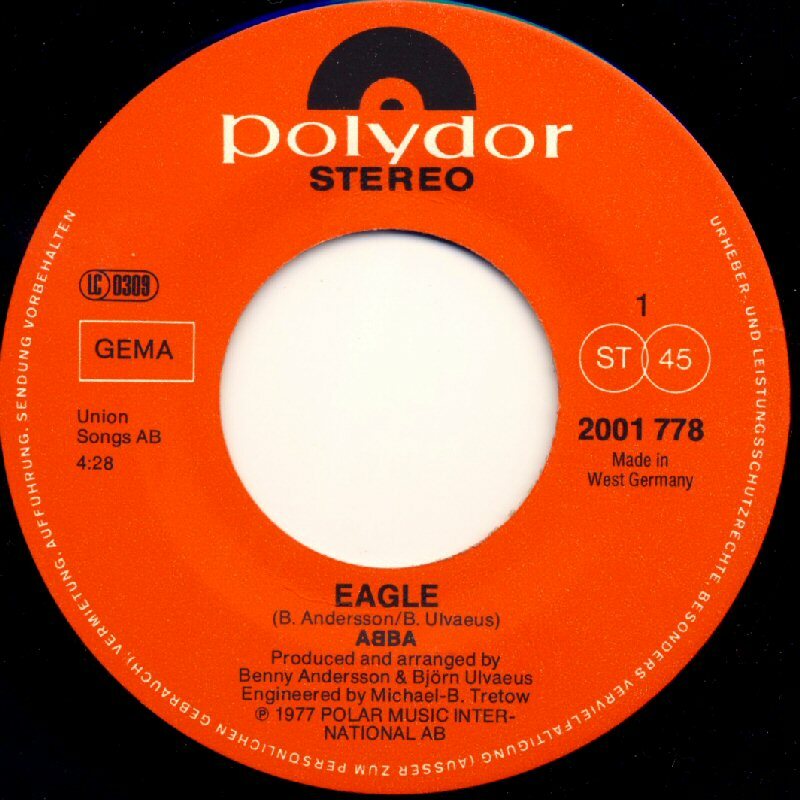 Polar Music in Sweden released the single "Eagle" b/w "Thank You For The Music" in May 1978 and it is probably the rarest single release by Polar. 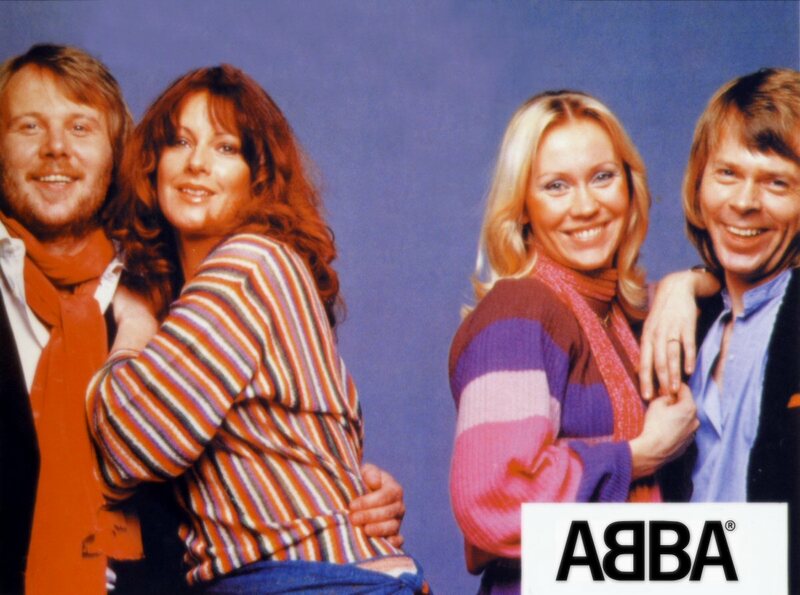 The single was released in limited edition and it disappeared almost immediately without entering any Swedish chart. 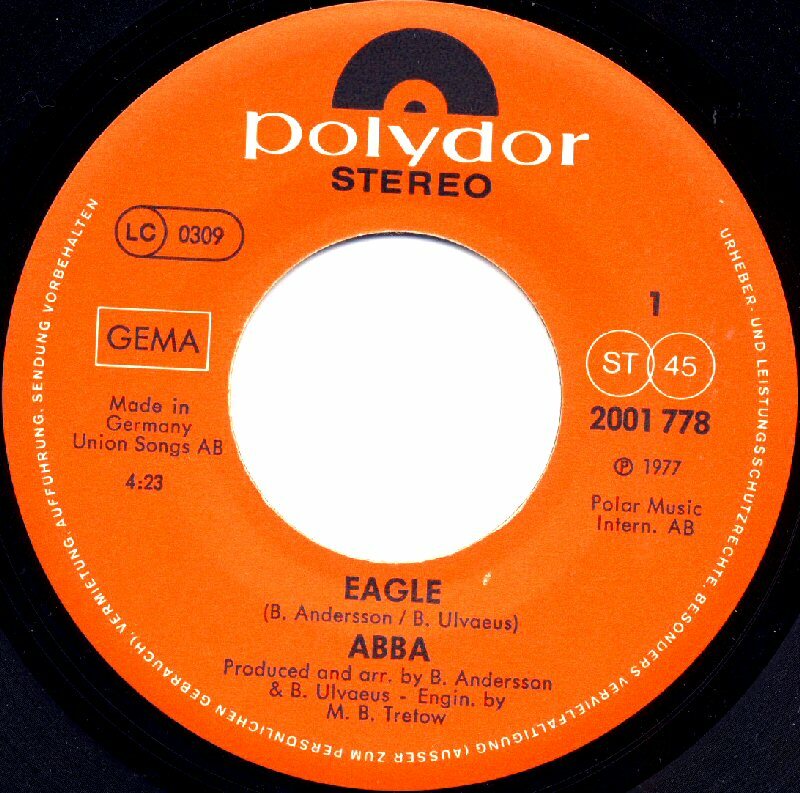 The single contained an alternative short mix of "Eagle" which was 3.36. 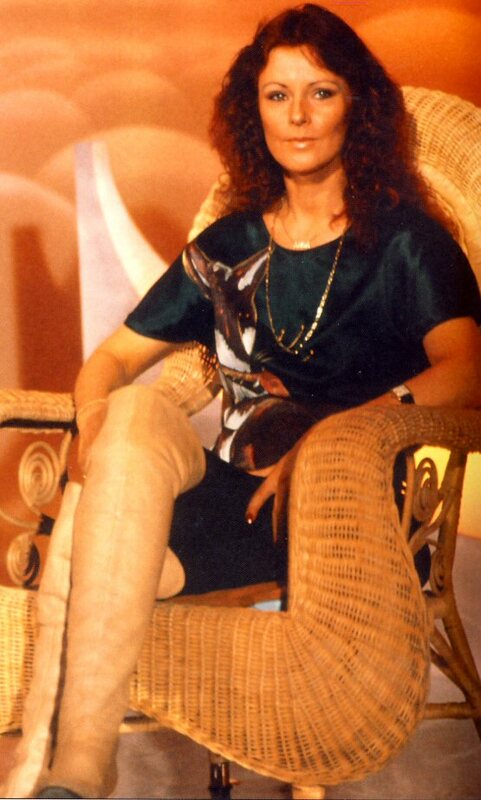 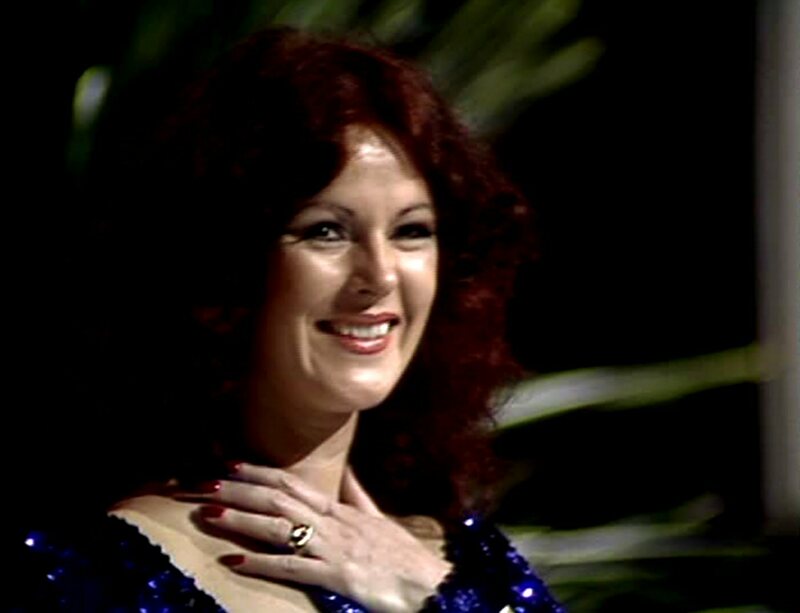 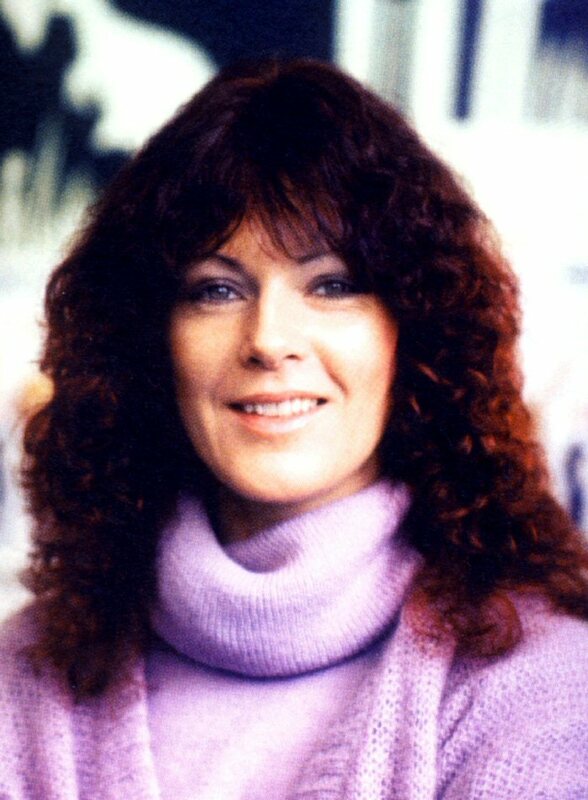 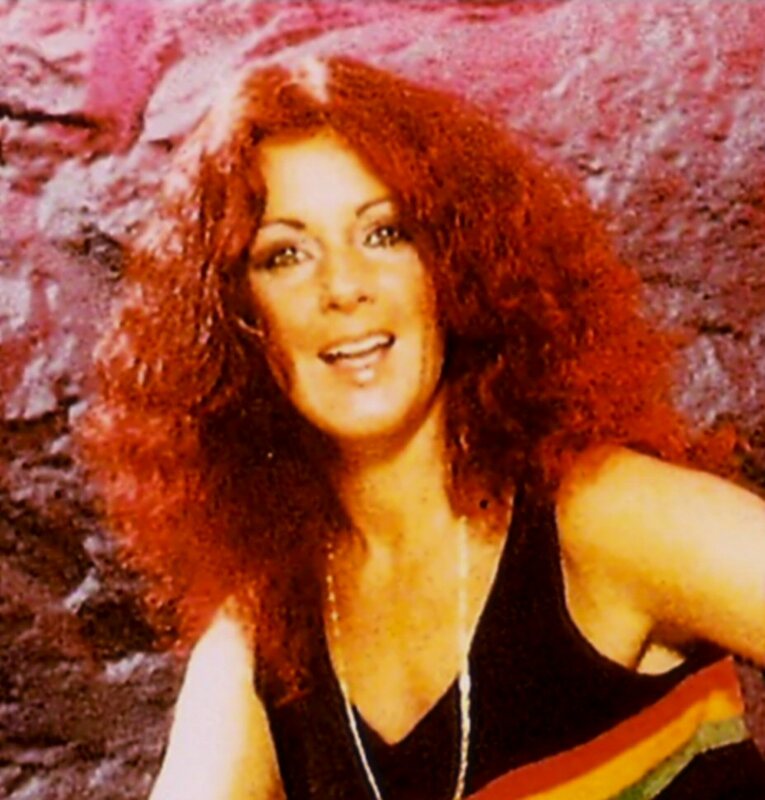 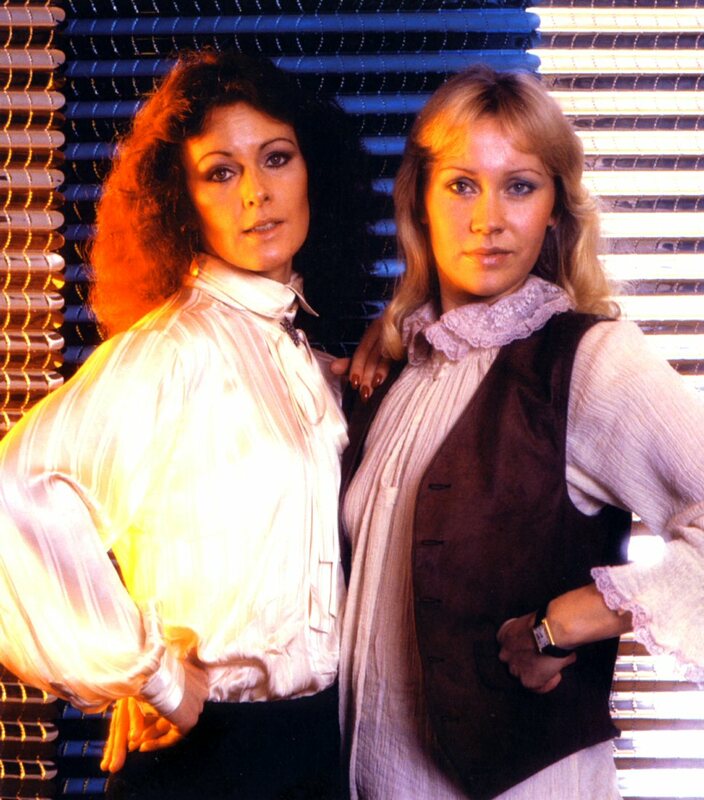 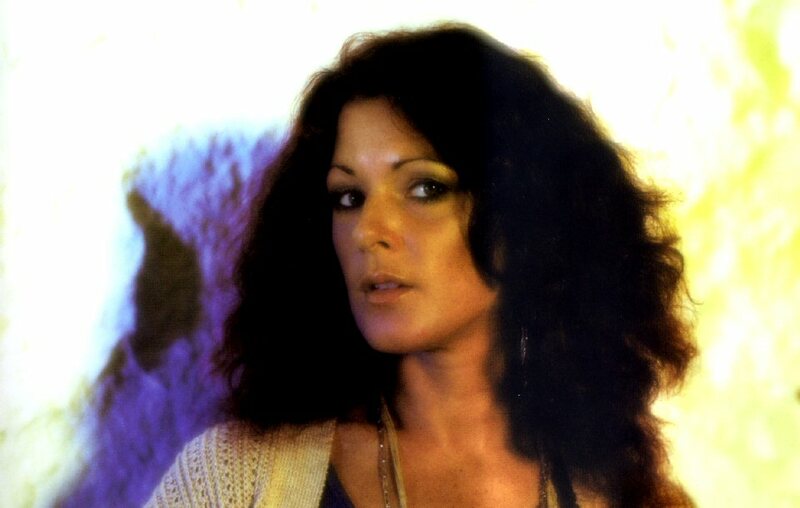 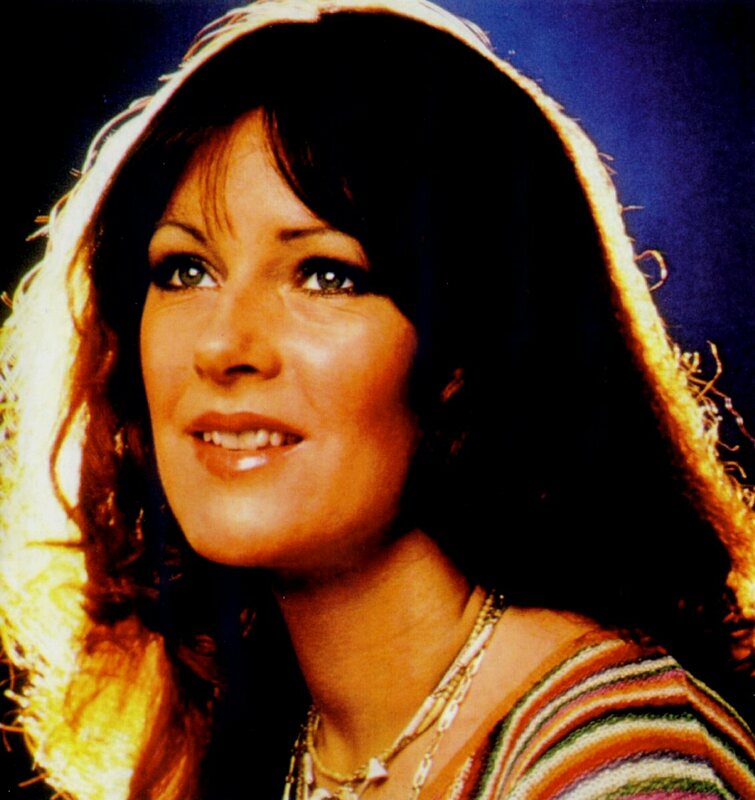 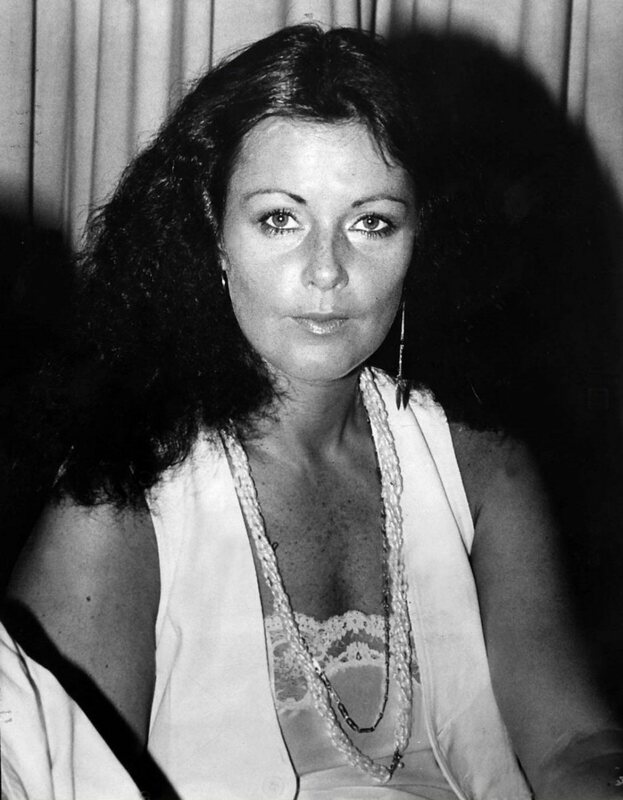 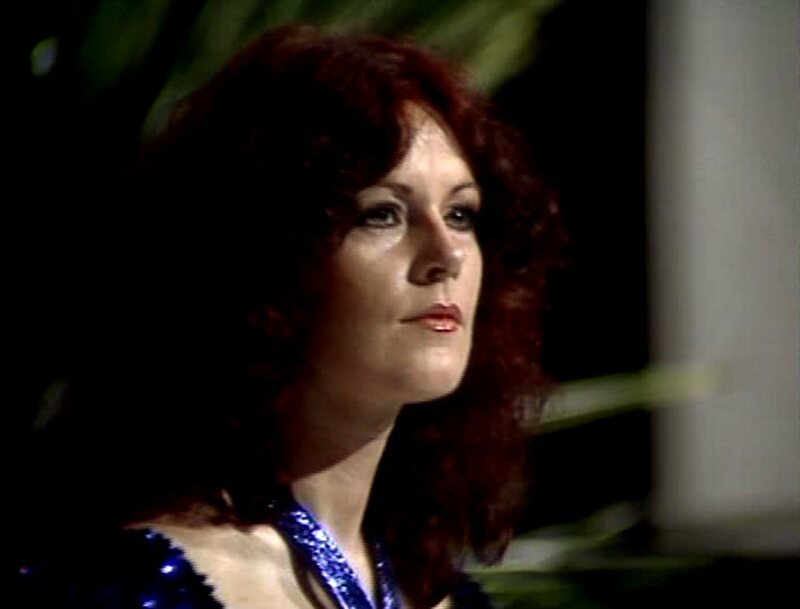 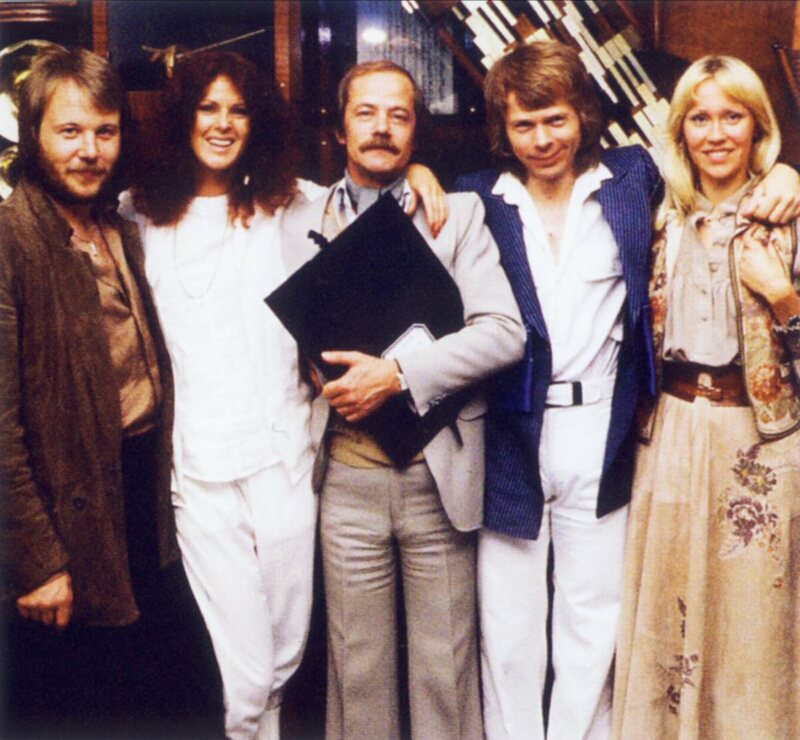 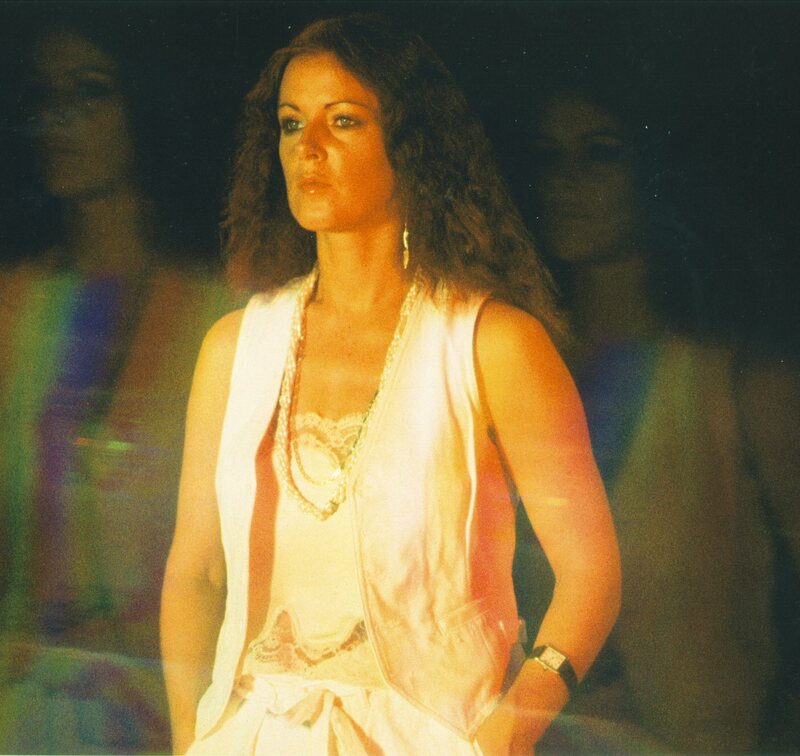 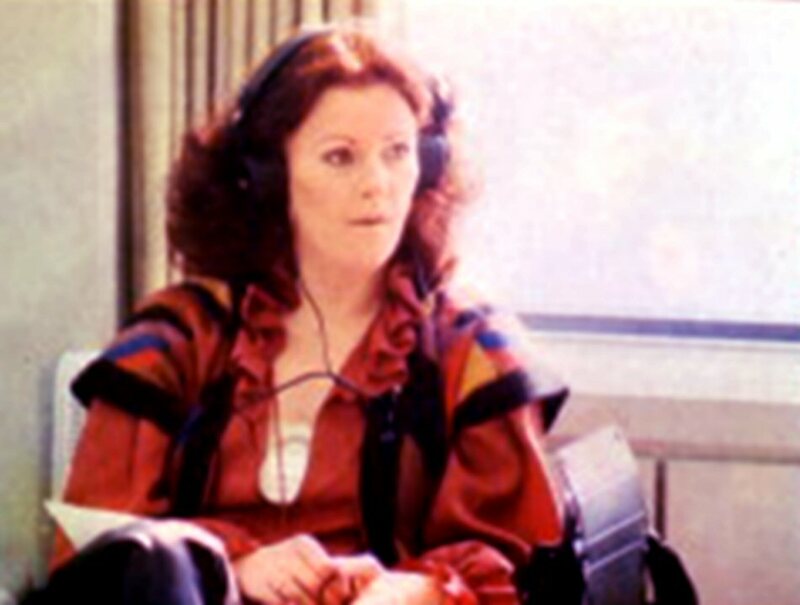 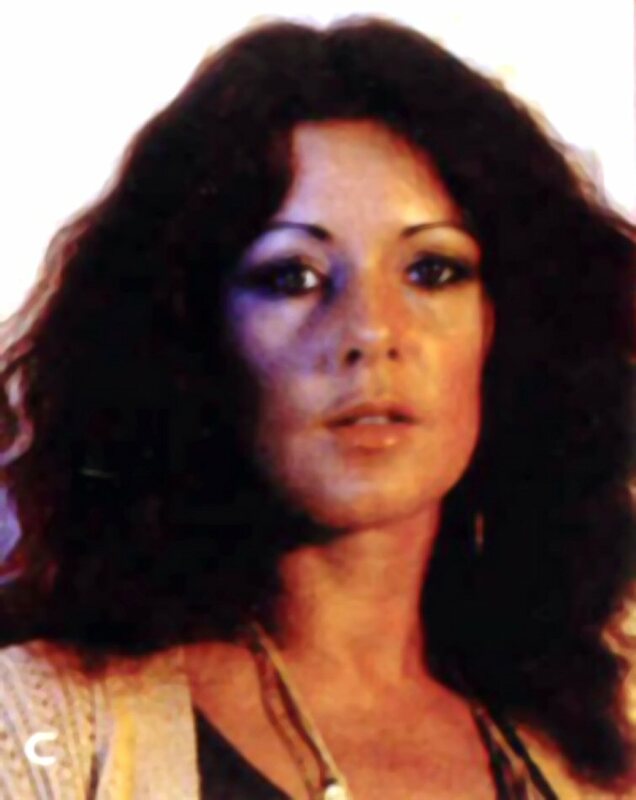 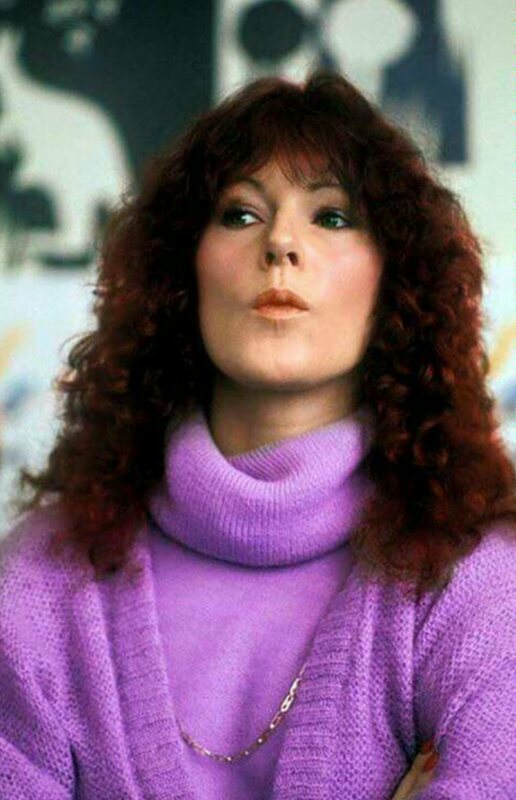 At the beginning of May Frida participated in the recording of the radio show "Pick up" featuring ABBA music. 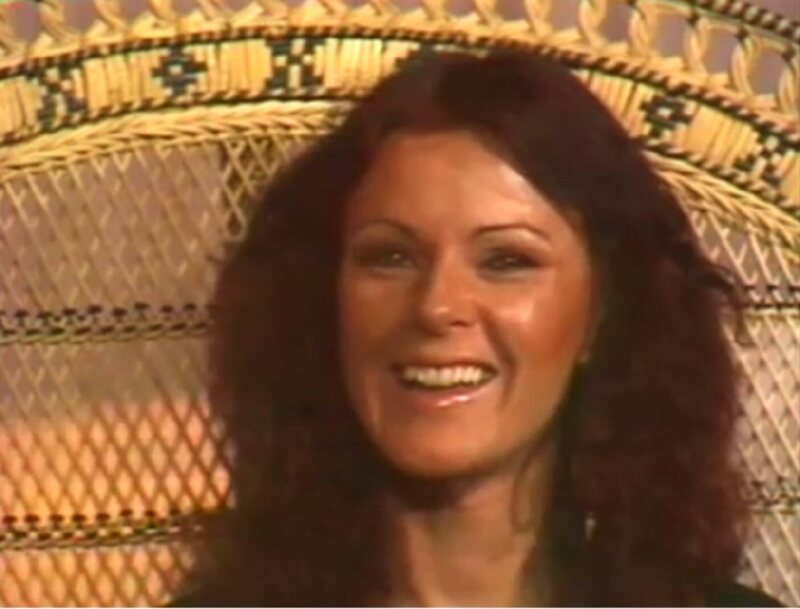 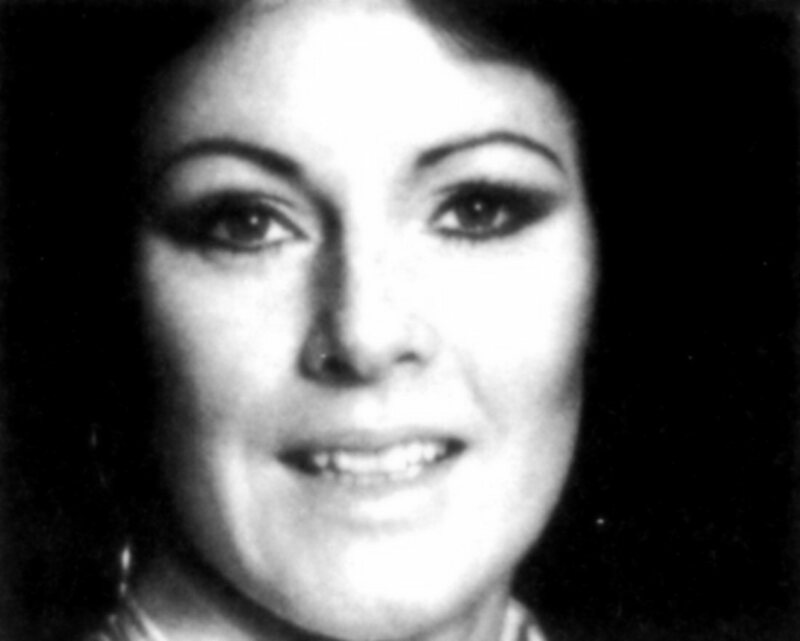 The opera diva Birgit Nilsson gave her opinion about the ABBA music and Frida replied. 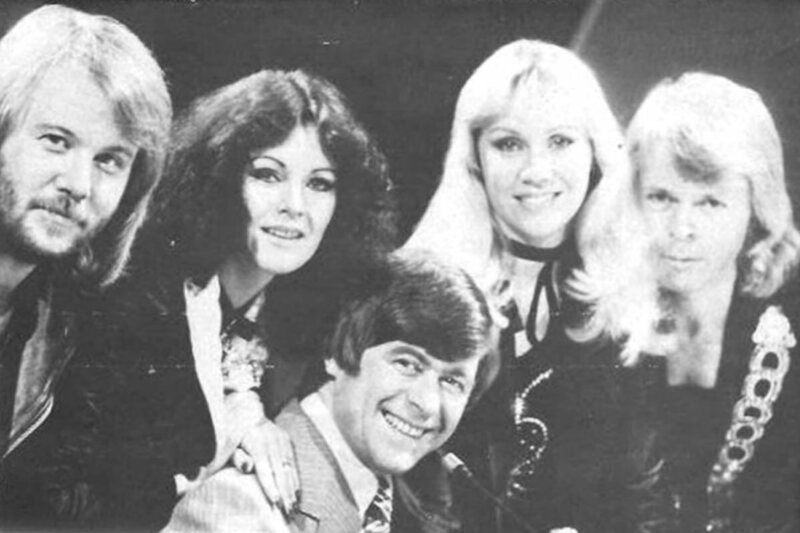 The show was aired in September 1978. 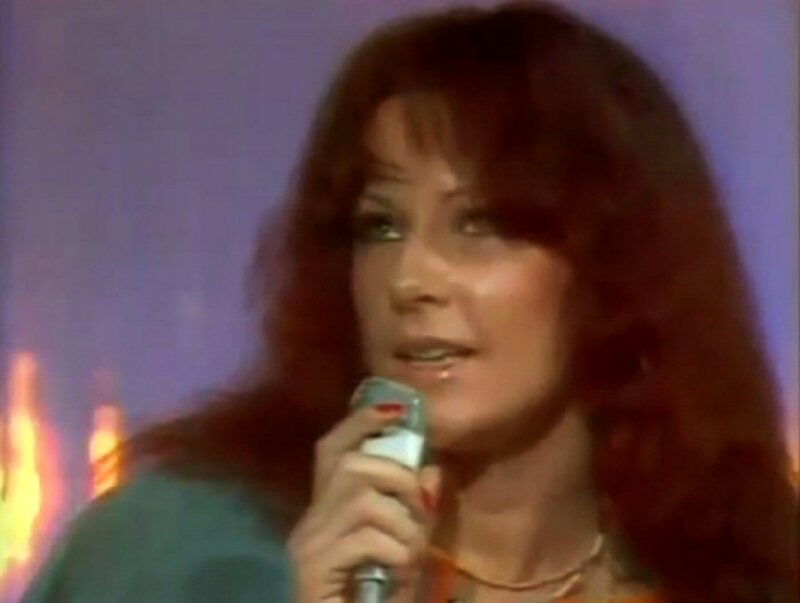 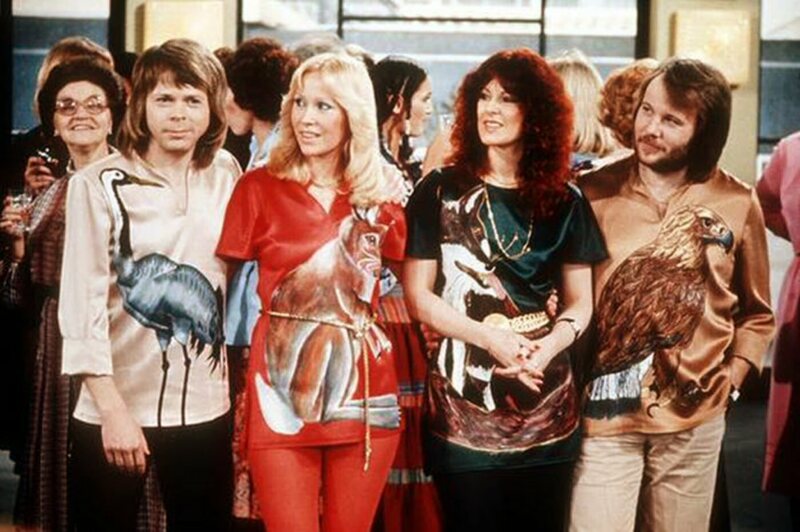 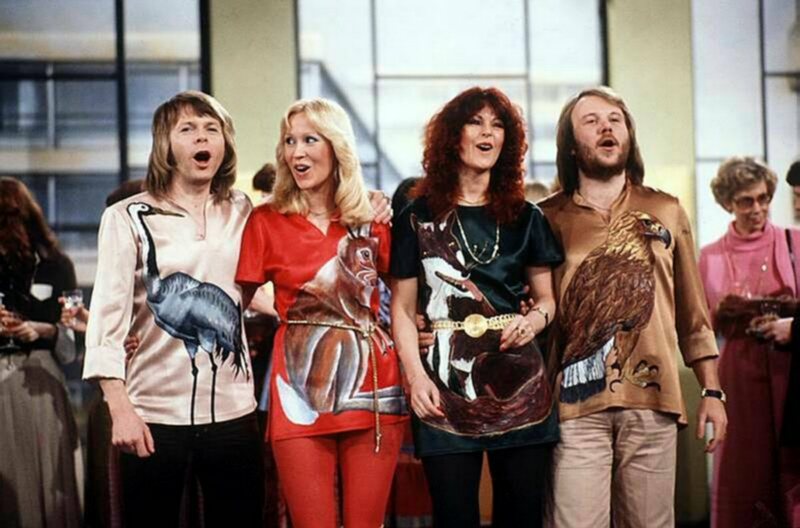 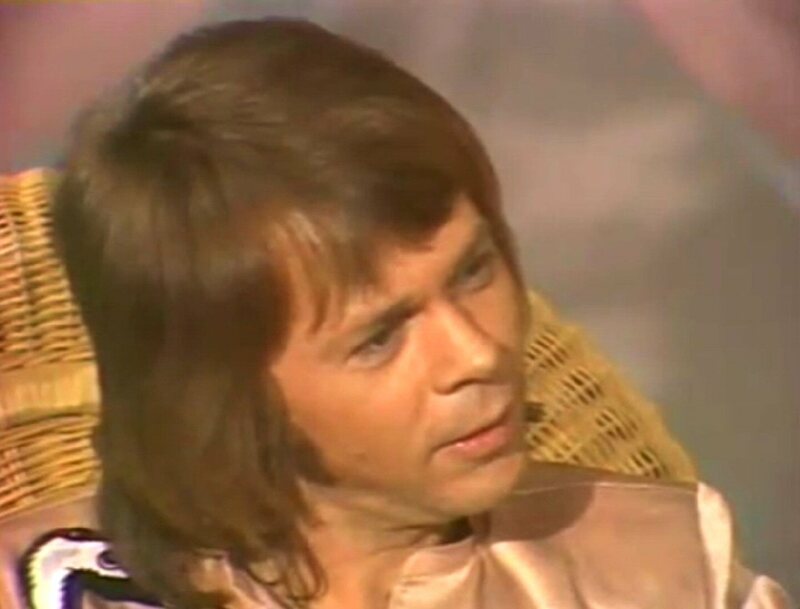 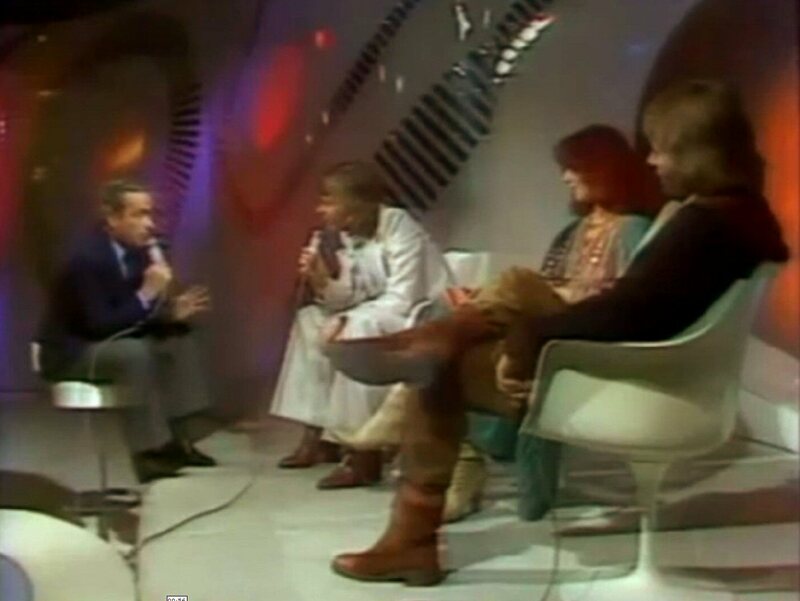 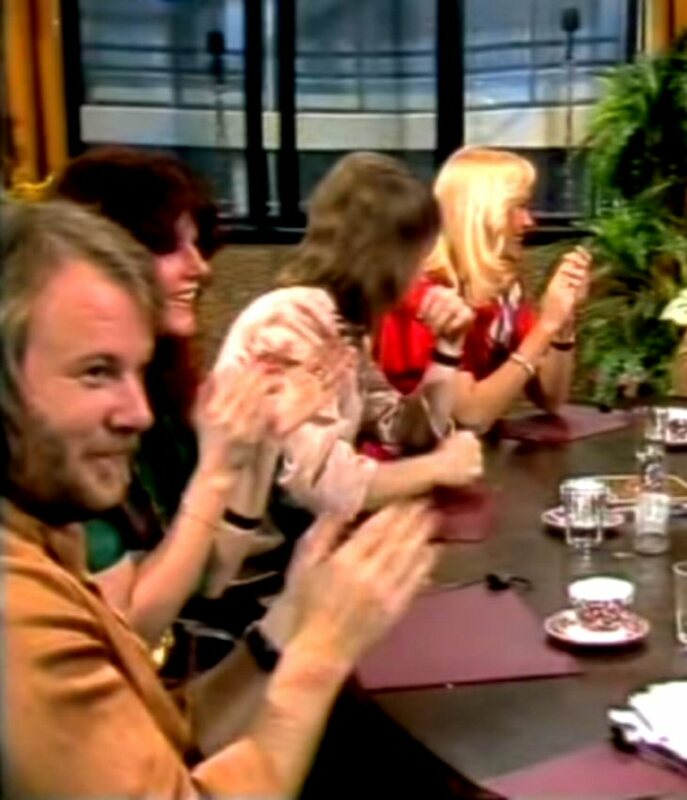 ABBA made a promotional appearance on German TV on May 11. 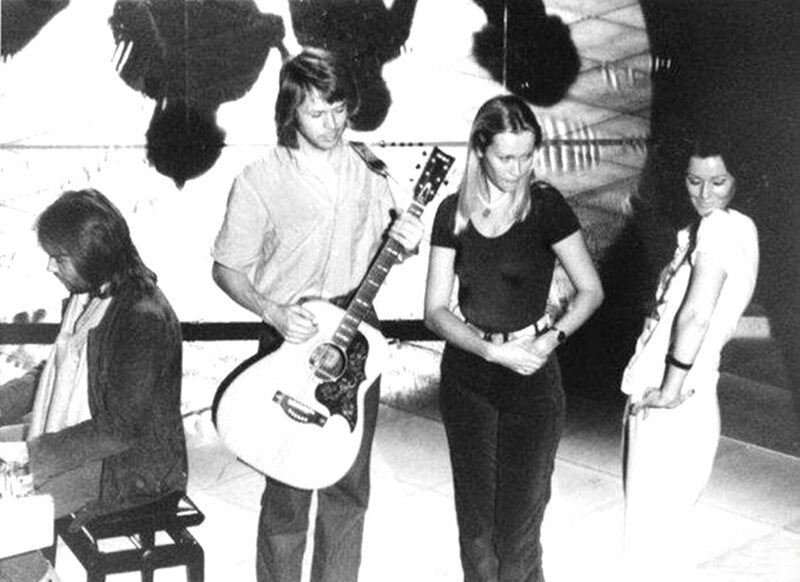 They performed "Take A Chance On Me", "Eagle" and "Thank You For The Music". 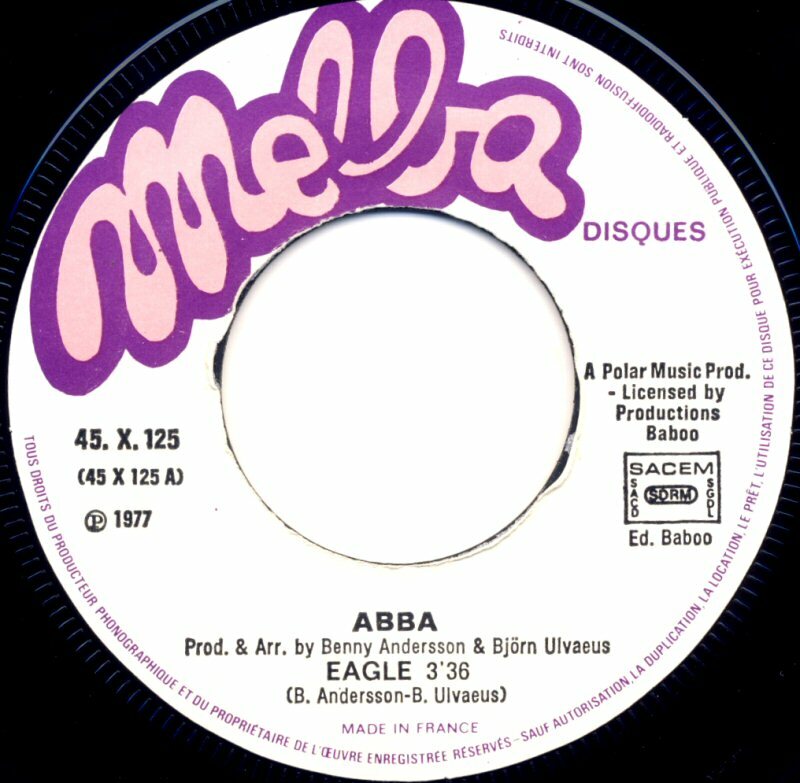 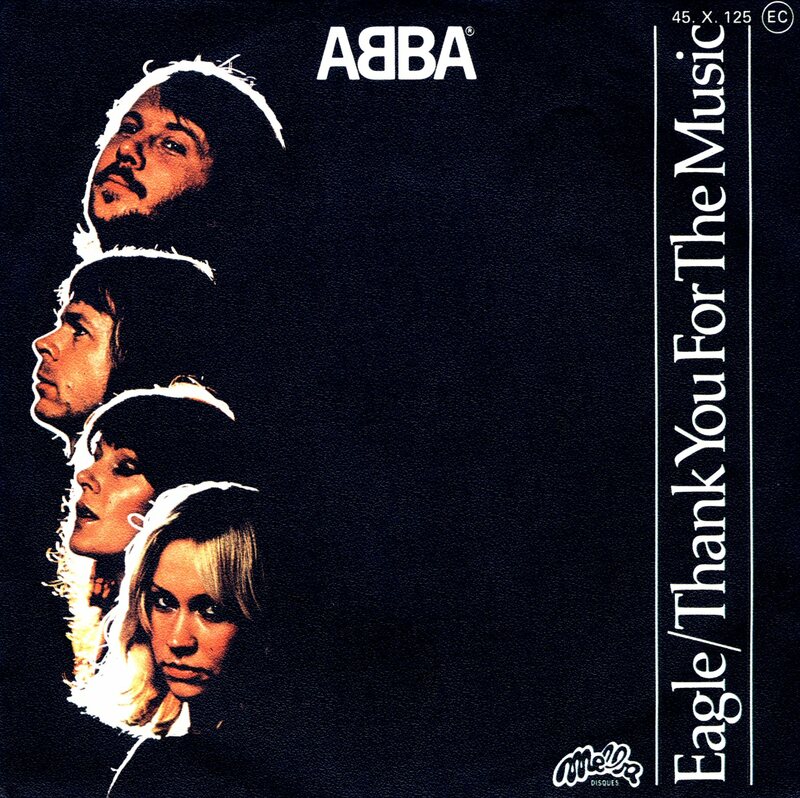 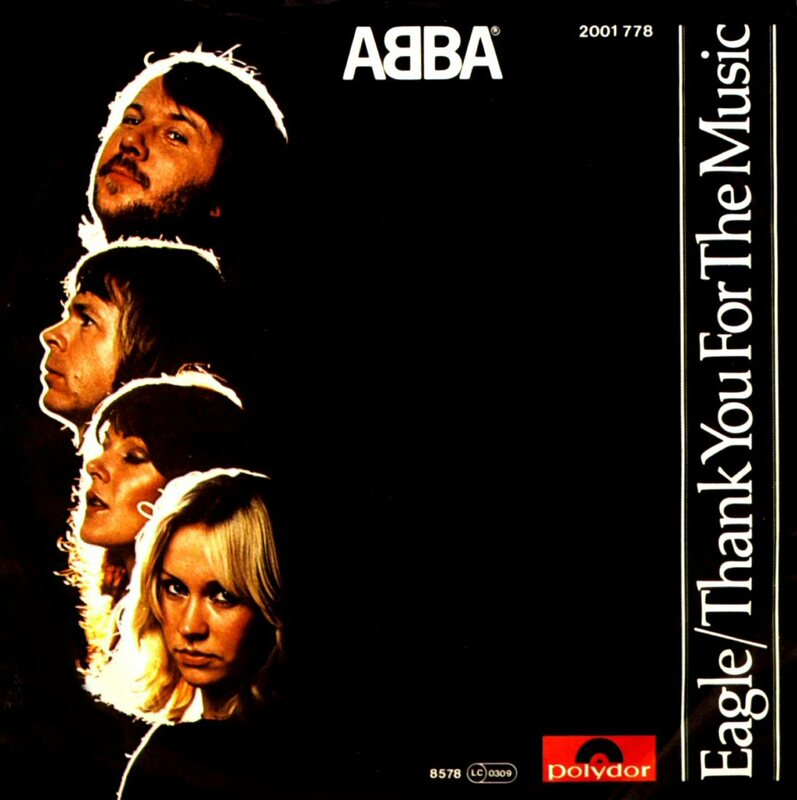 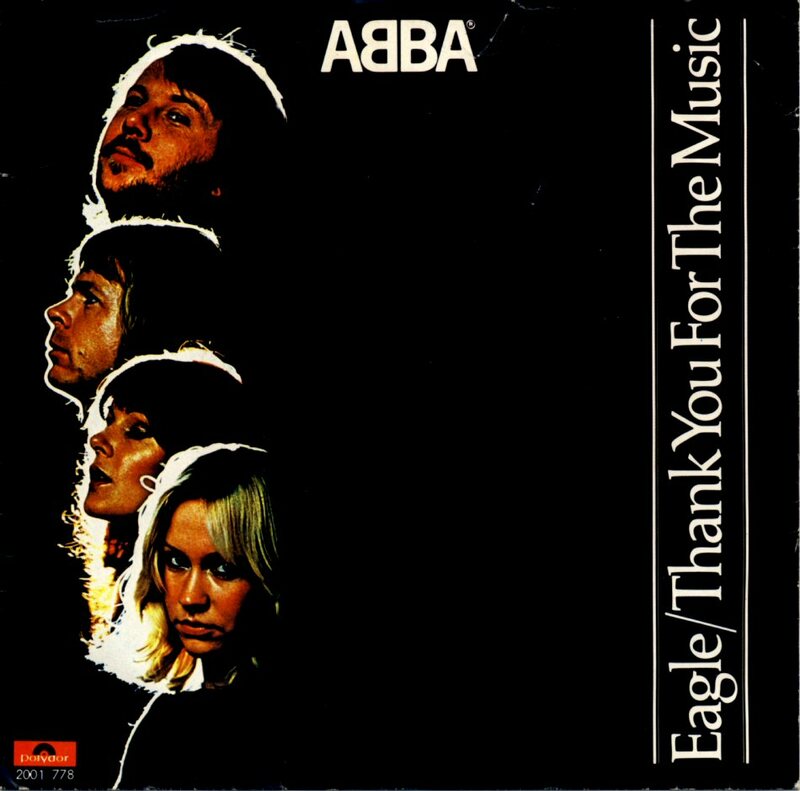 "Eagle" was ABBA's latest single at the time. 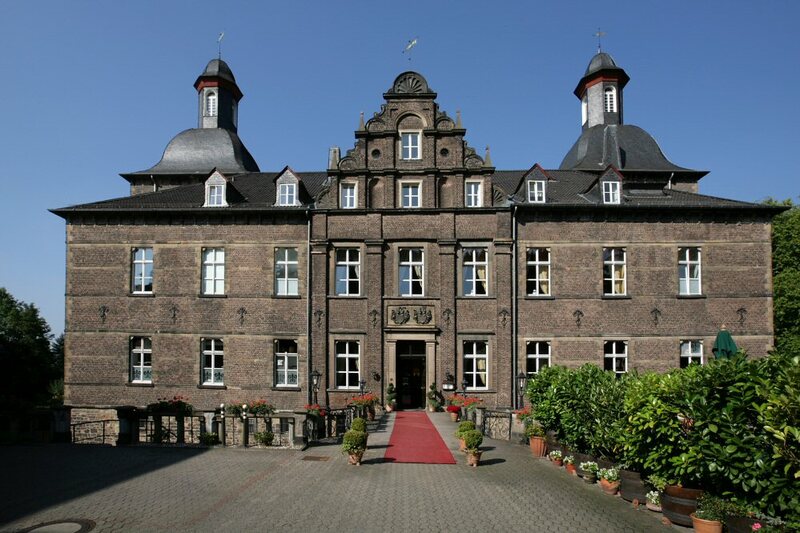 The group stayed at the castle hotel "Hugenpoet". 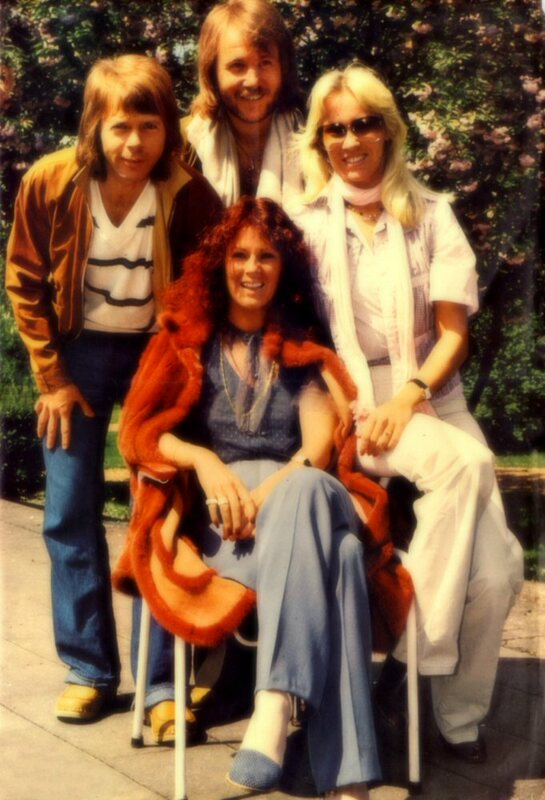 An exclusive photo session for German press was taken in the park outside the hotel. 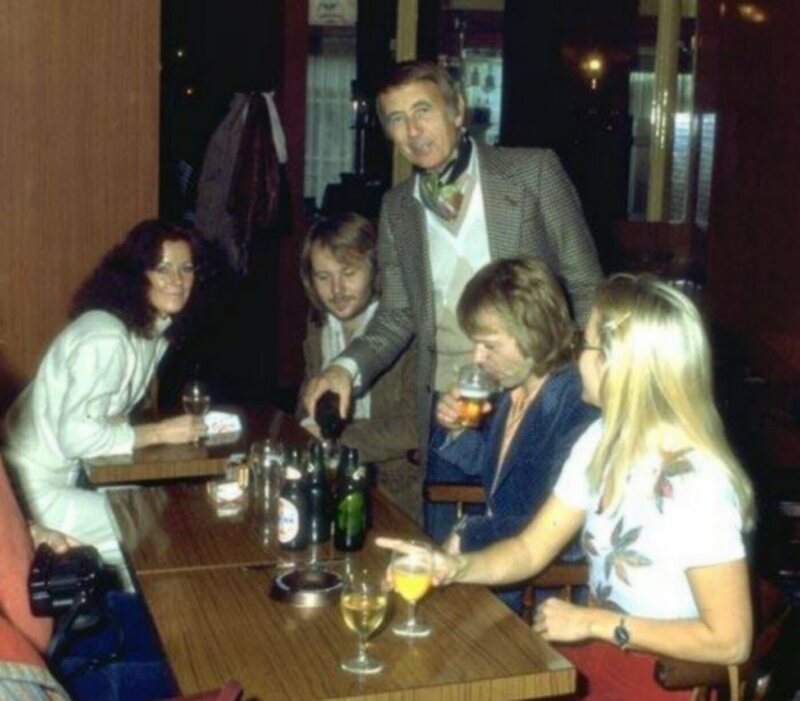 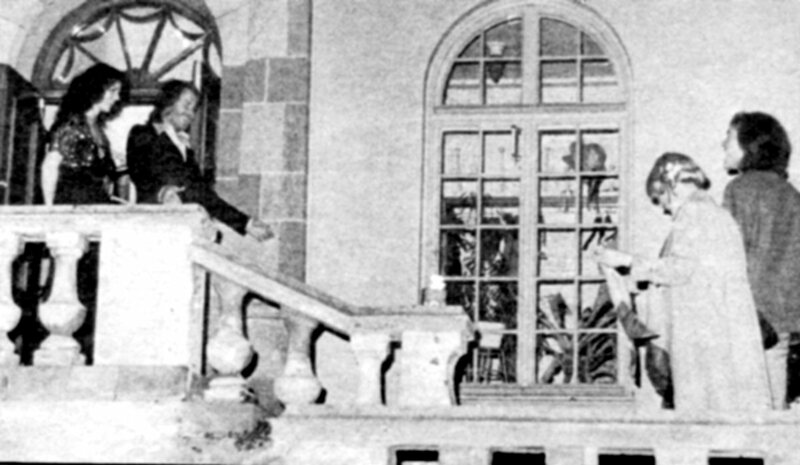 Anni-Frid's father Alfred Haase together with his wife and daughter paid a visit at the hotel as well. 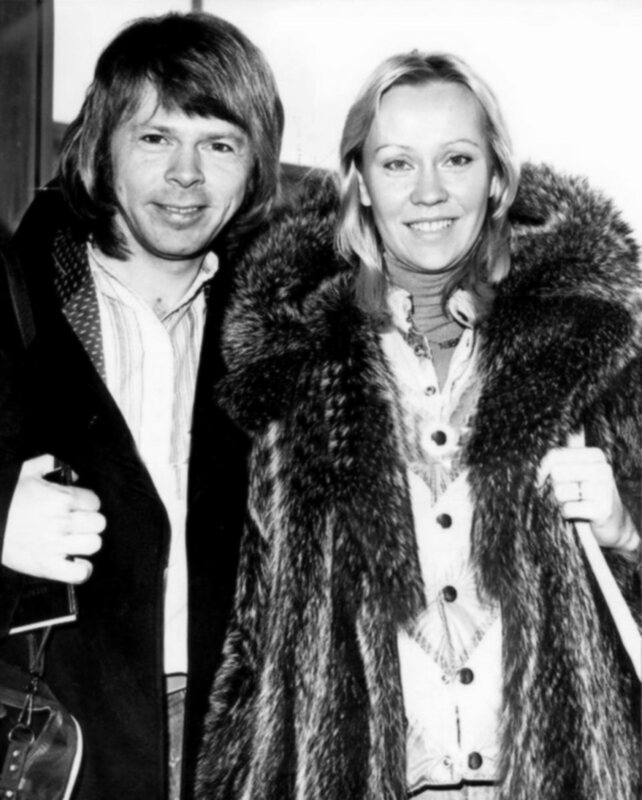 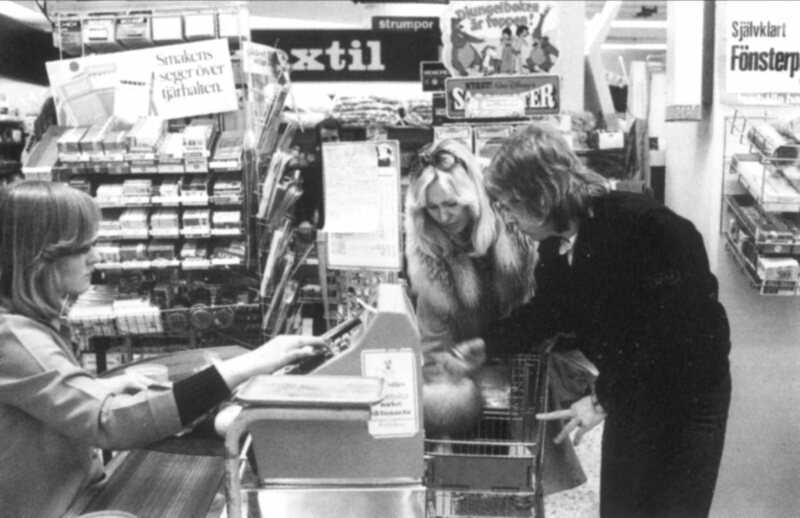 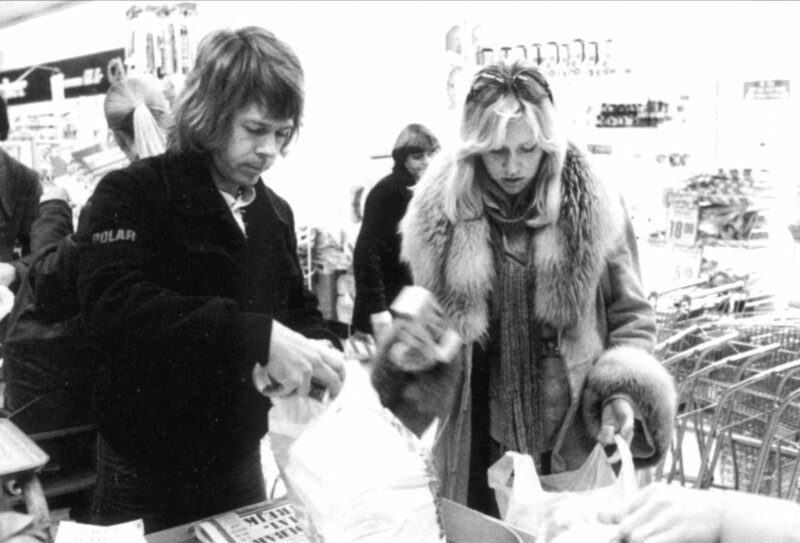 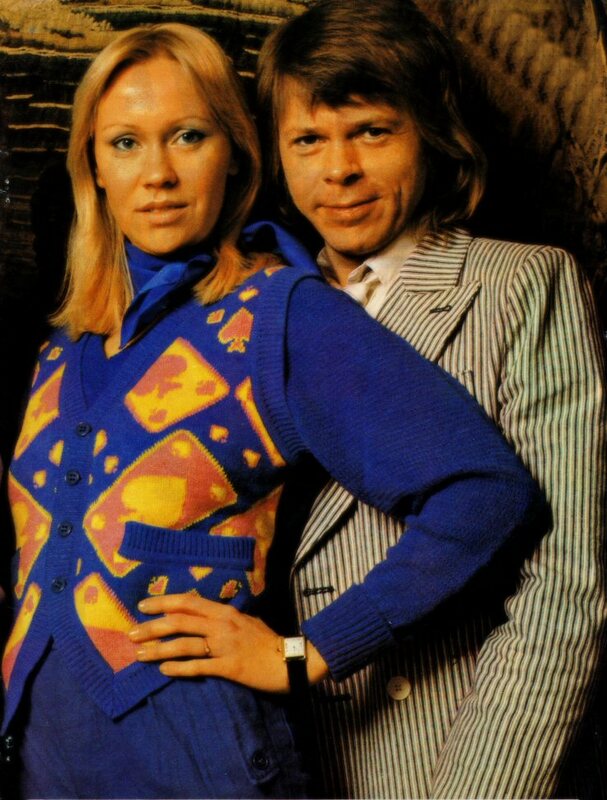 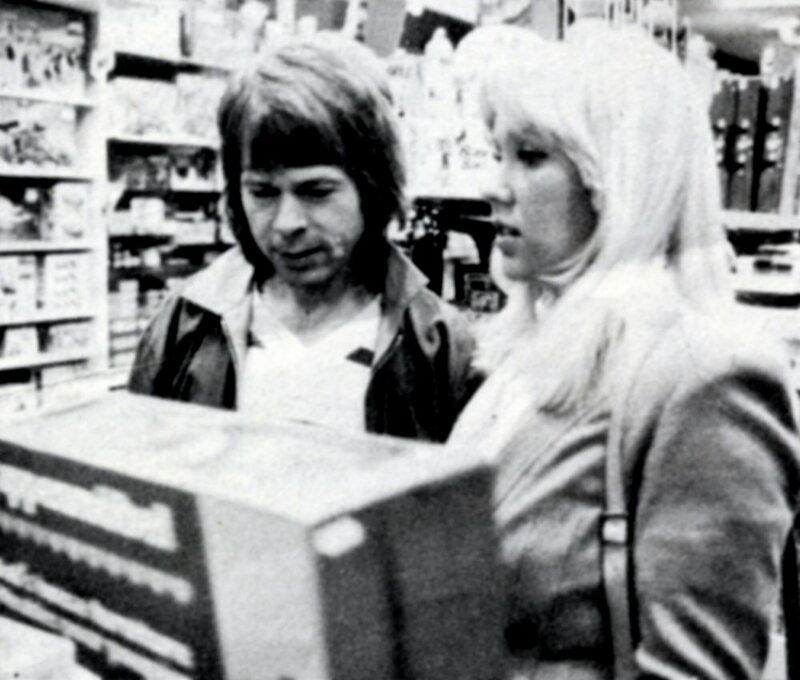 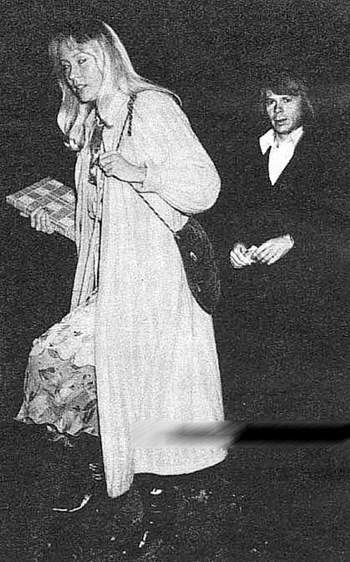 Agnetha and Björn went for a shopping to the main streets in Düsseldorf Kö. 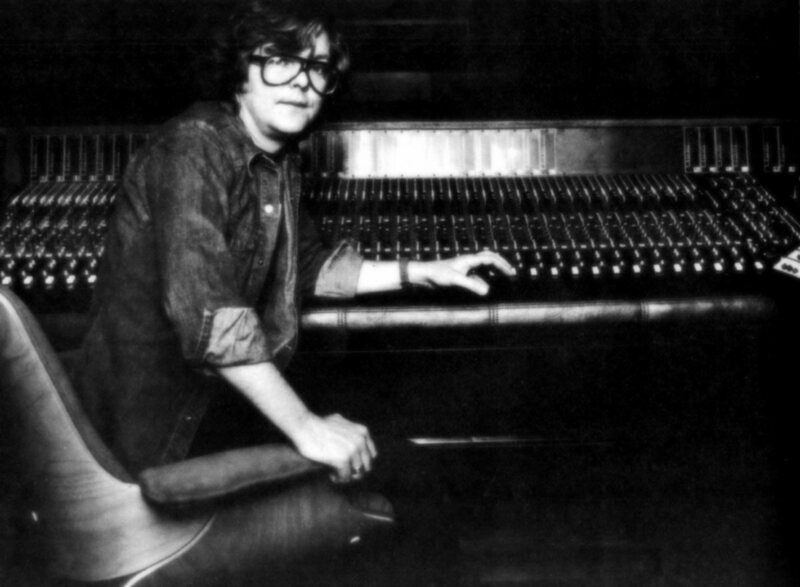 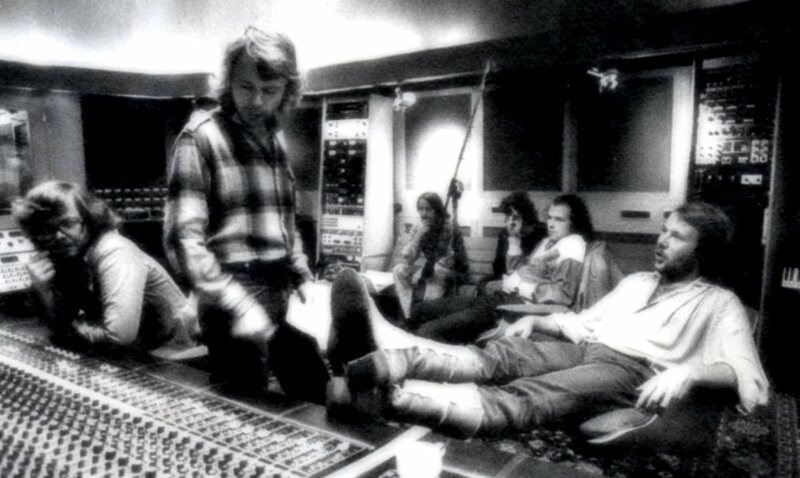 One of the most classical '78 sessions with several alternative. 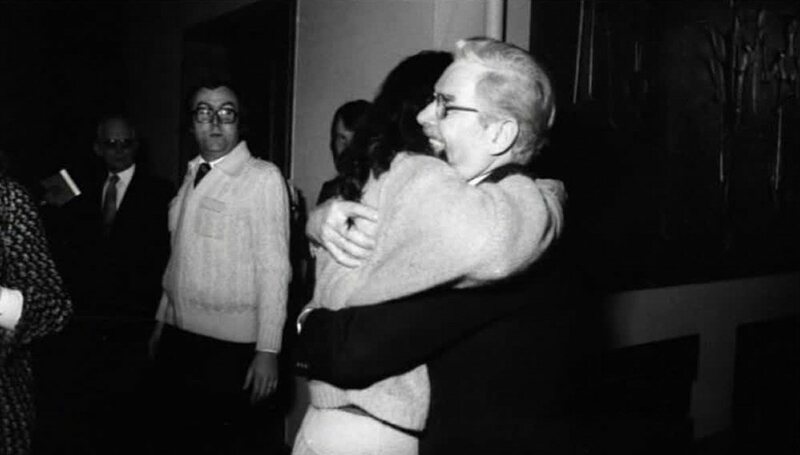 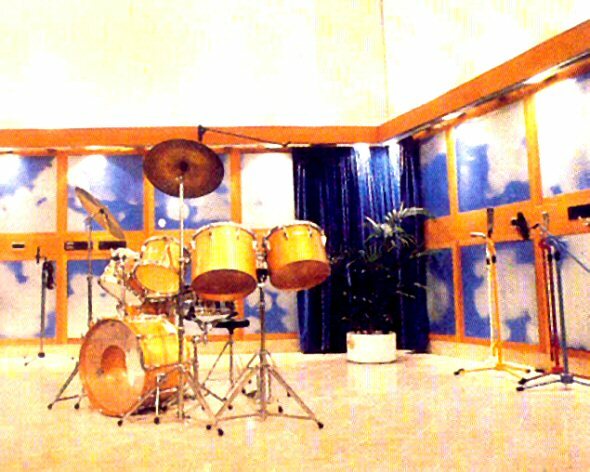 The new studio inauguration took place on 18 May 1978. 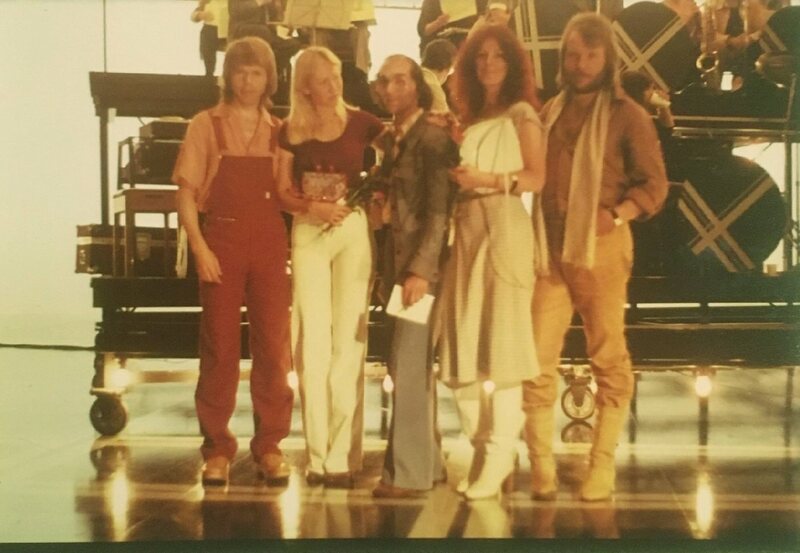 ABBA & Stikkan invited 300 guests to Sankt Eriksgatan in Stockholm. 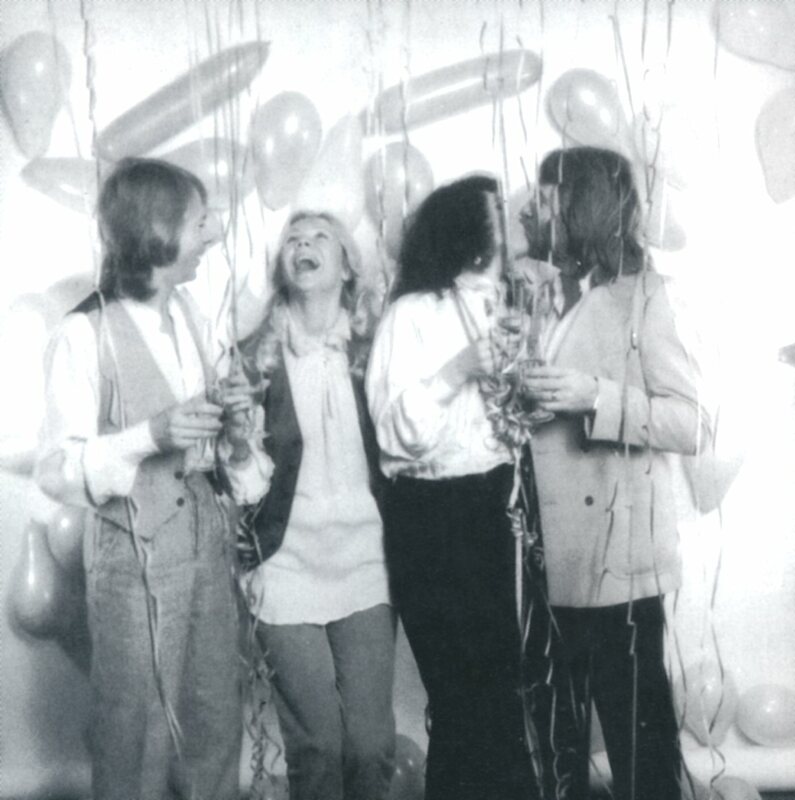 There were speaches and lots of champagne. 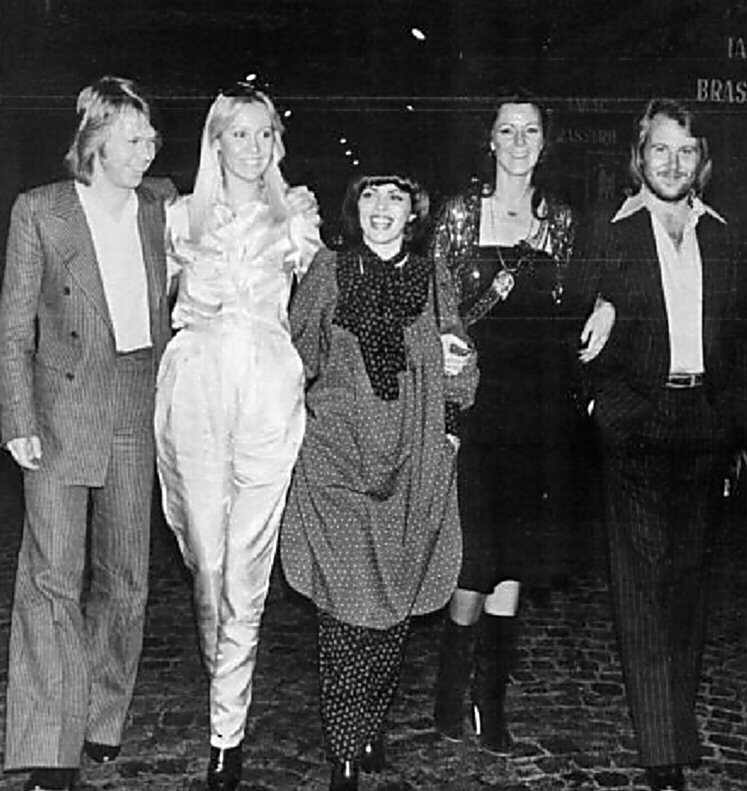 Among the guests were: Ulf Lundell, Frida's daughter Lise-Lotte, Anders Glenmark and Lena Andersson. 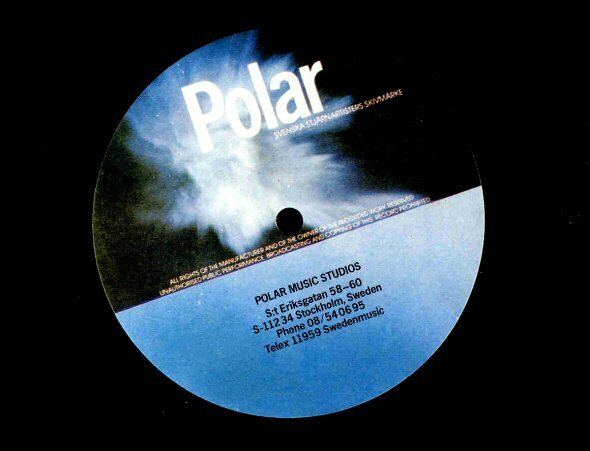 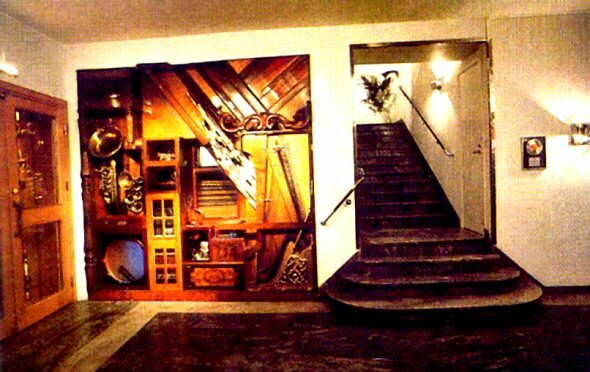 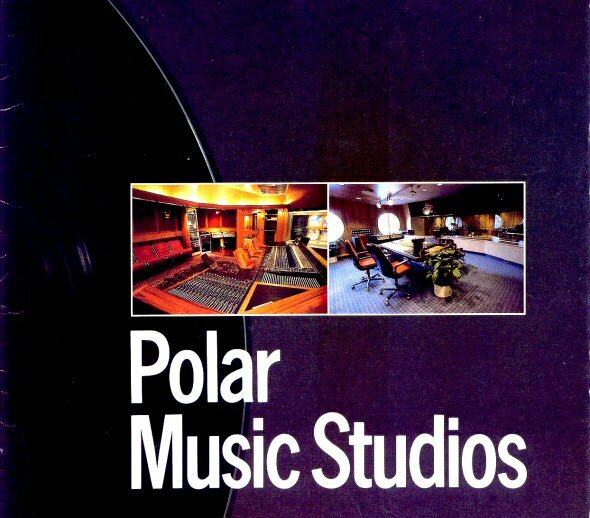 Polar Music Studios in Stockholm belonged to the most modern recording studios in the world from the very beginning to the end in 2003. 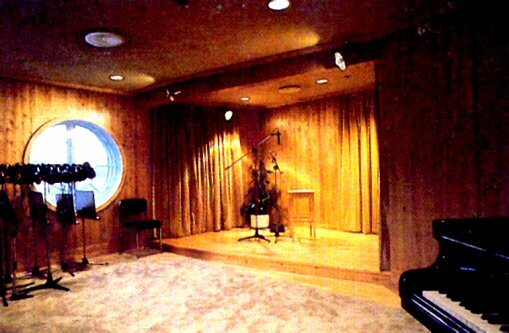 On the 300 square metre area of this studio, five acoustical rooms were grouped around the control room, which had glass walls providing full vision from room to room. 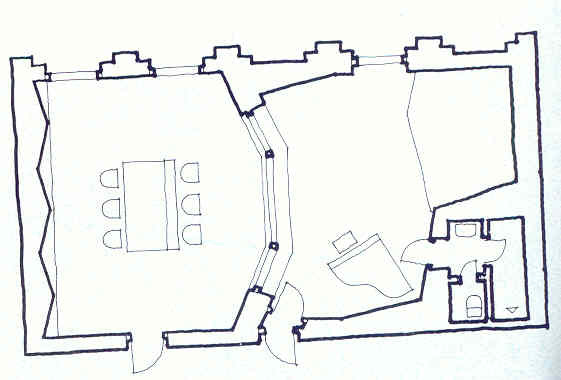 This division into five rooms gave optimal rendition of all various typer of instruments without changing furnishings. 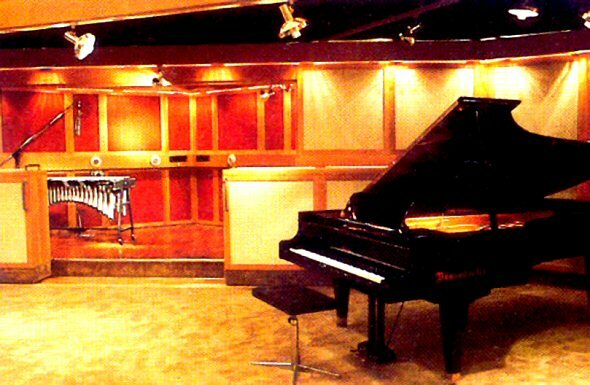 The control room, with its panorama view over the whole studio could comfortably accommodate 15 persons who could work comfortably there in a fresh, air-conditioned atmosphere. 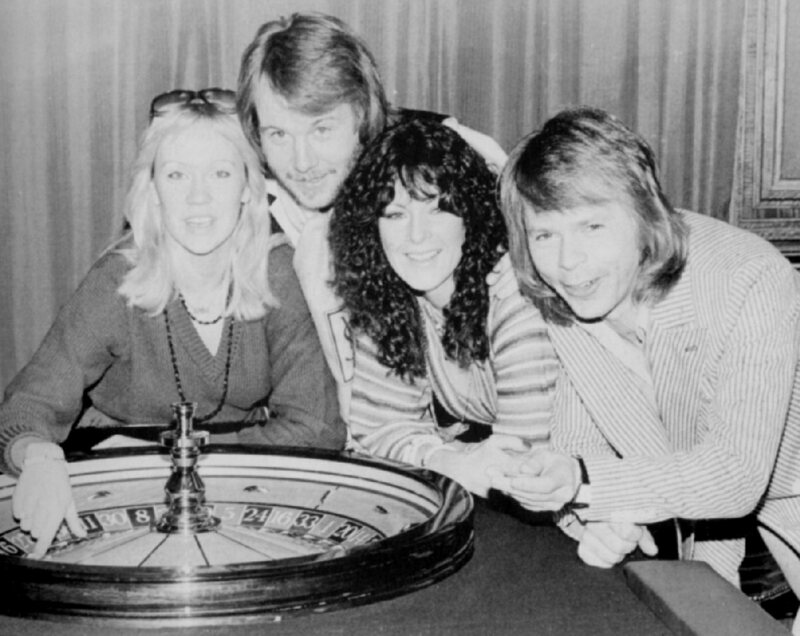 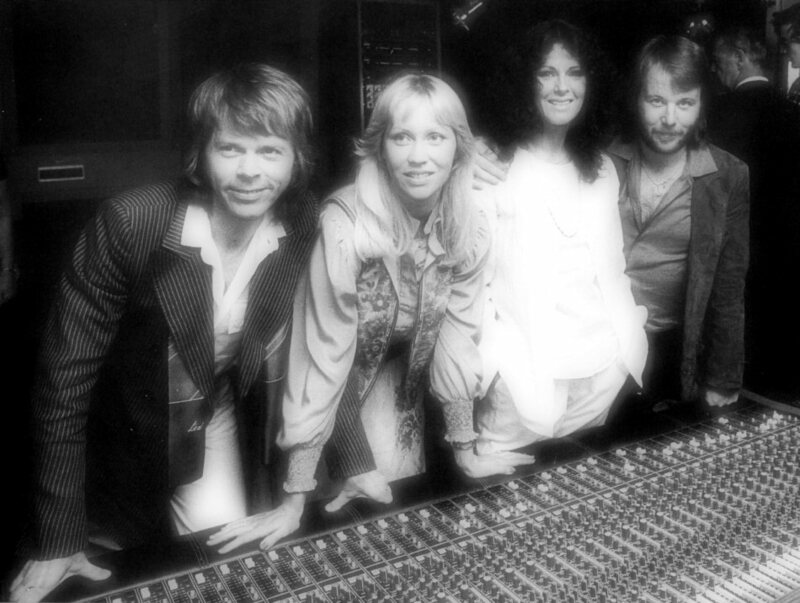 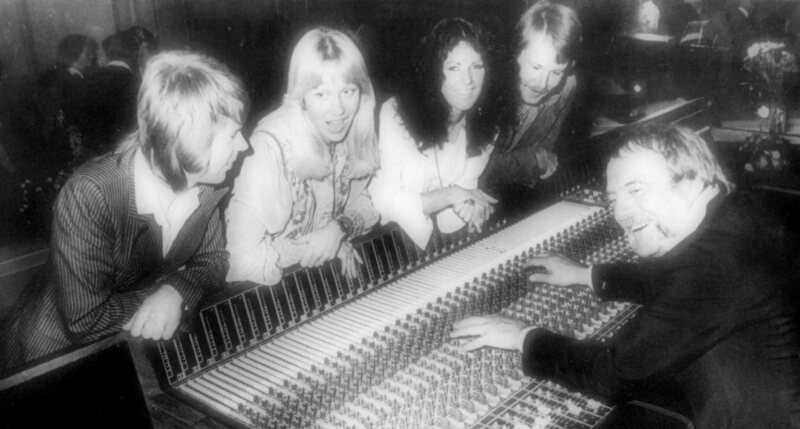 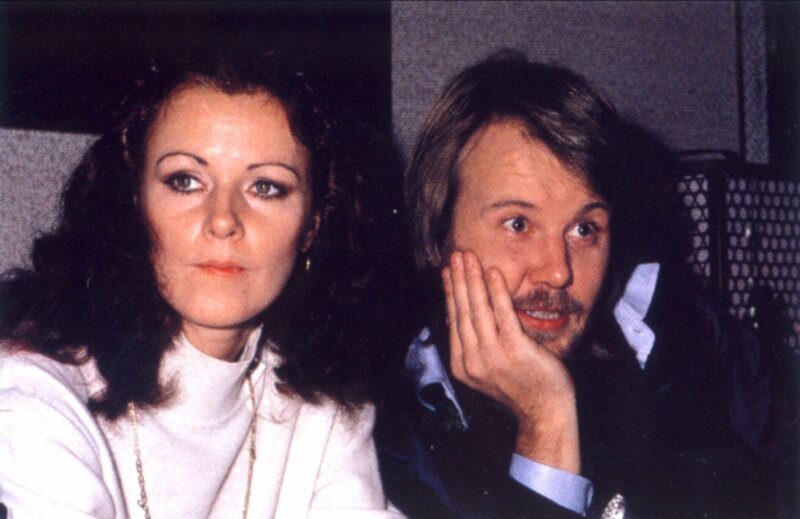 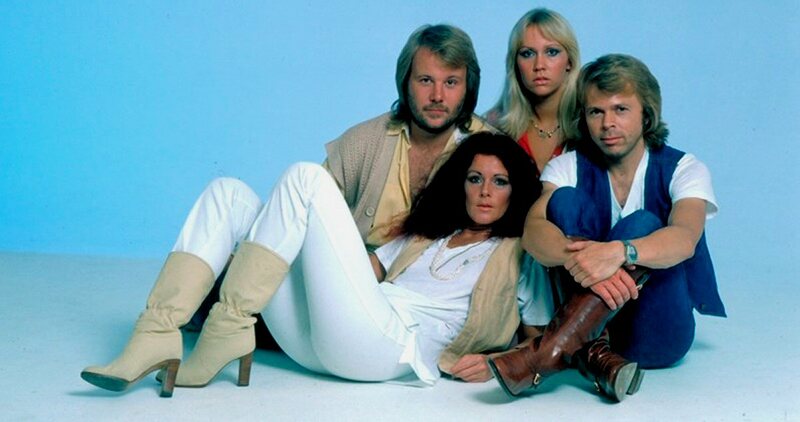 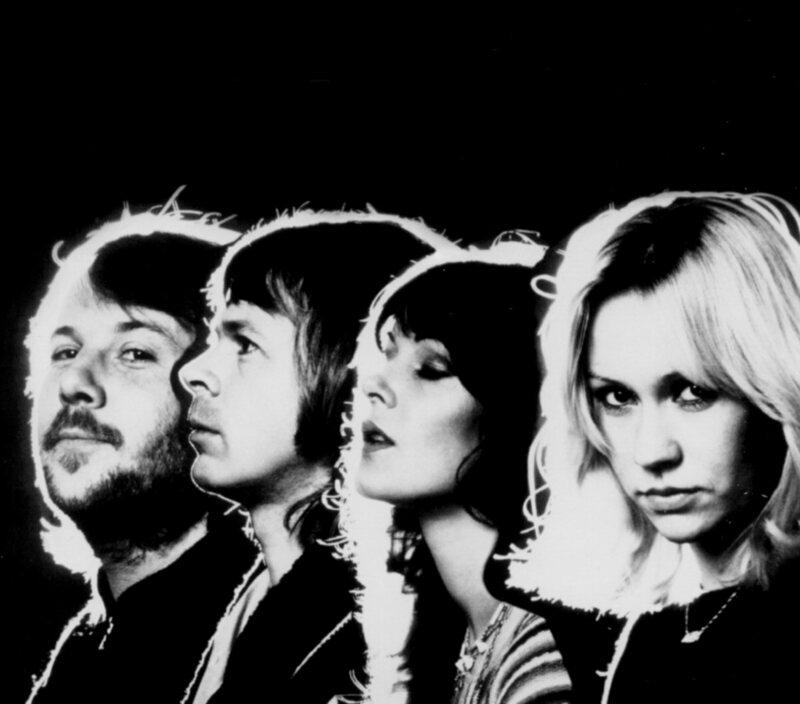 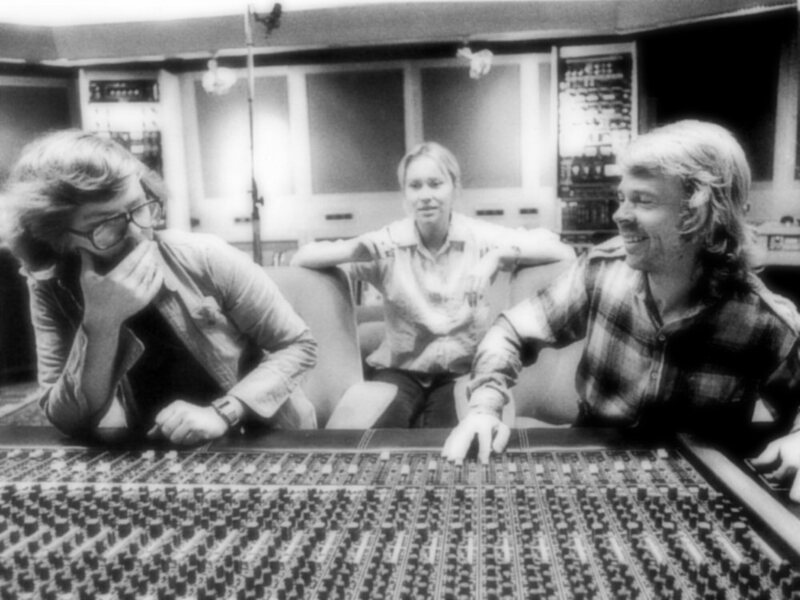 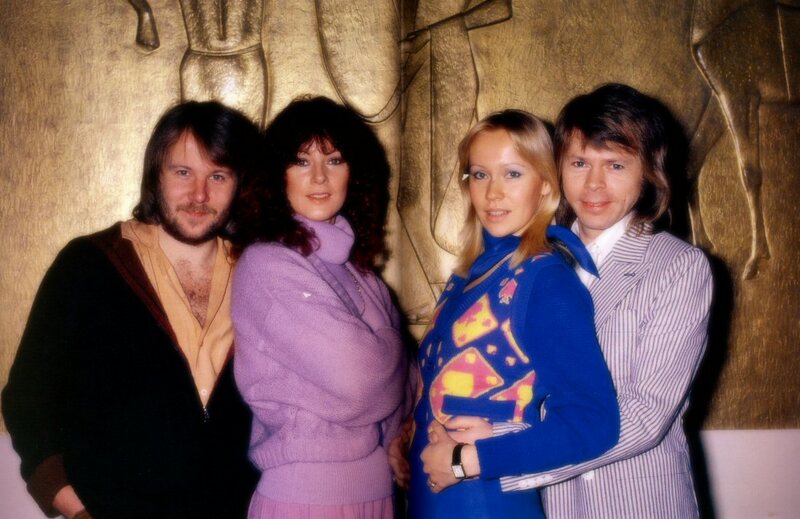 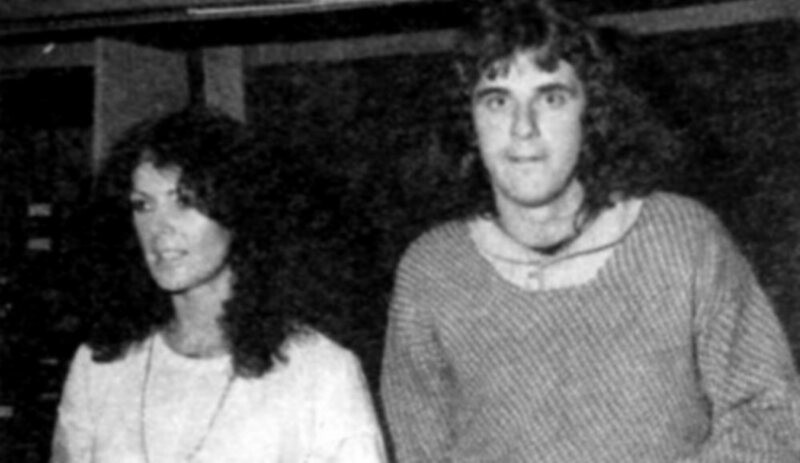 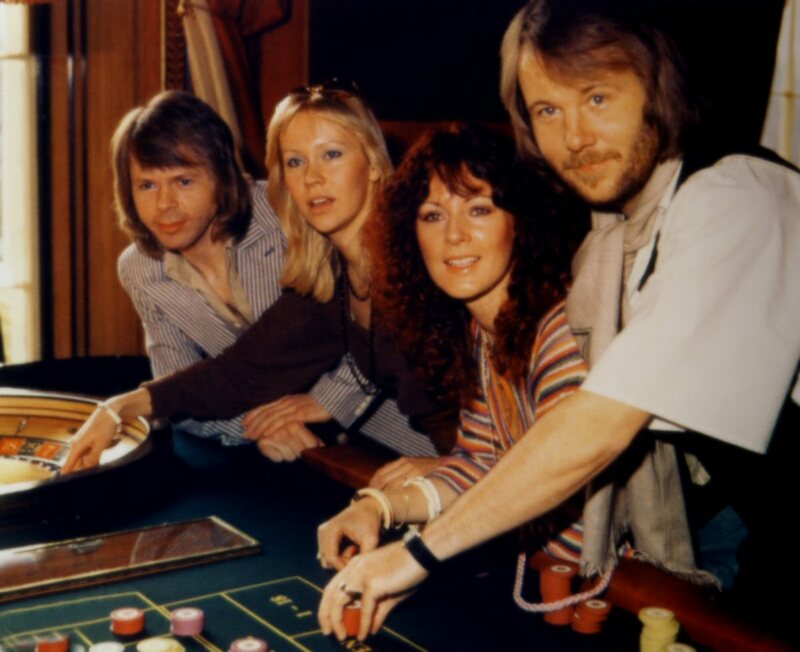 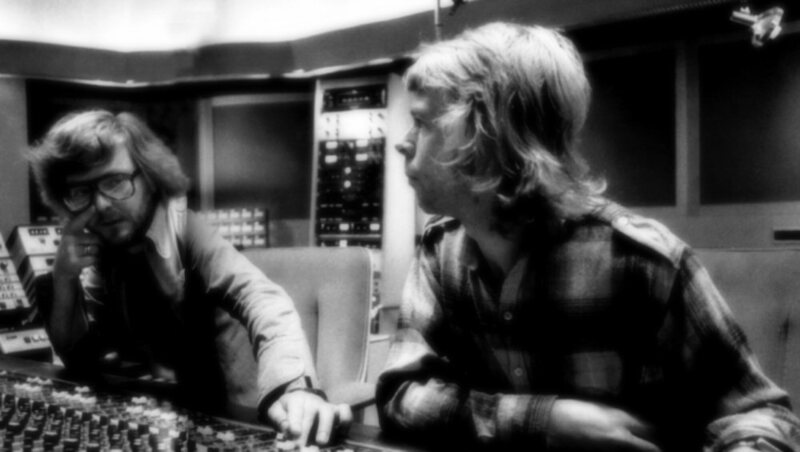 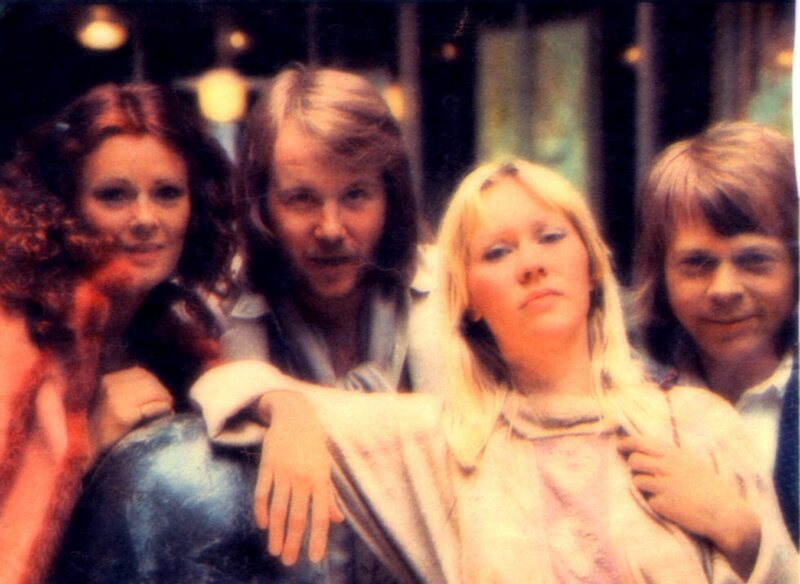 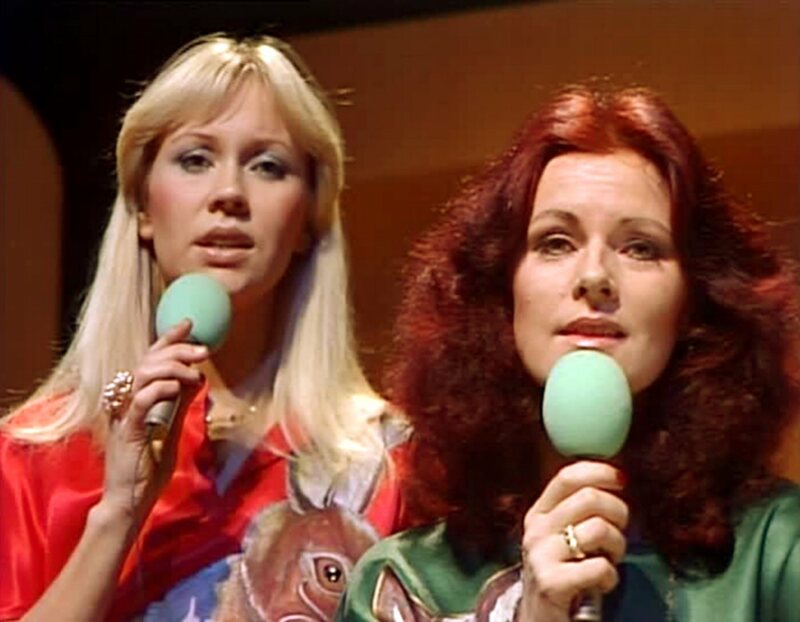 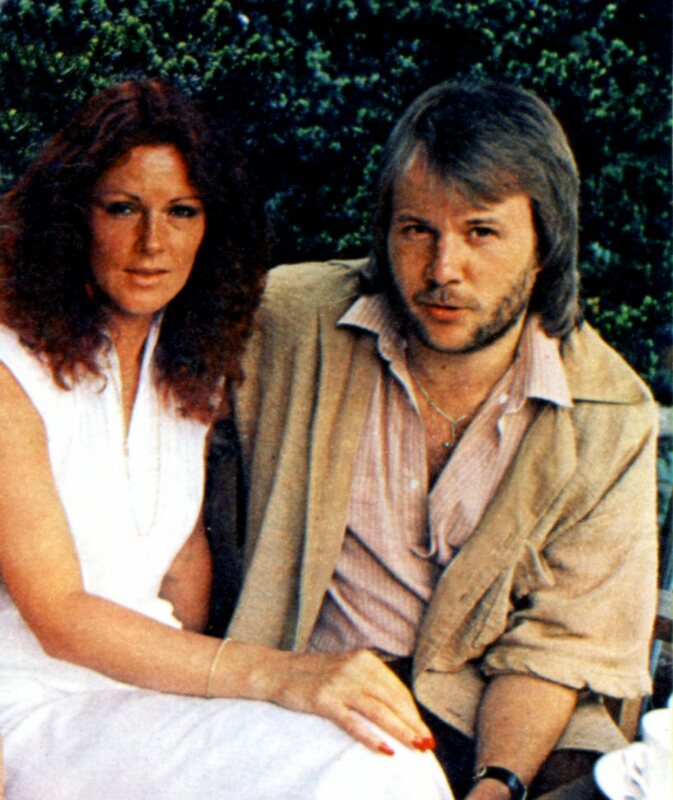 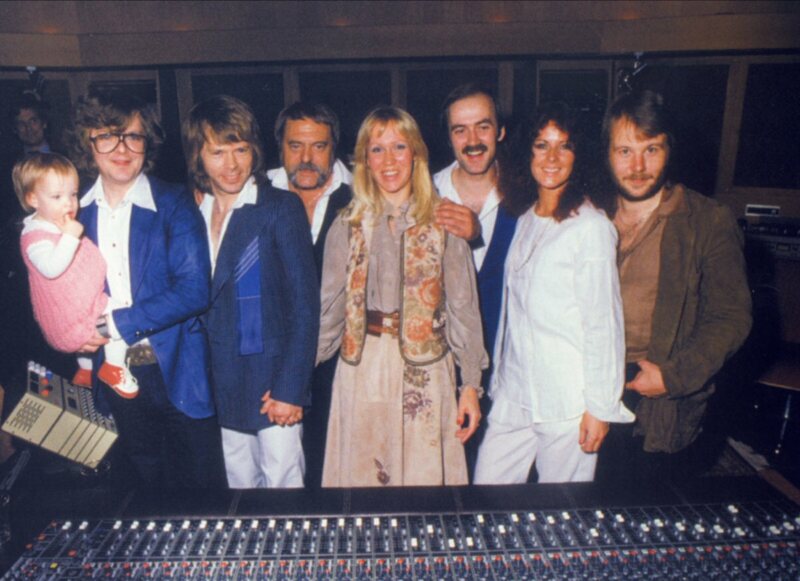 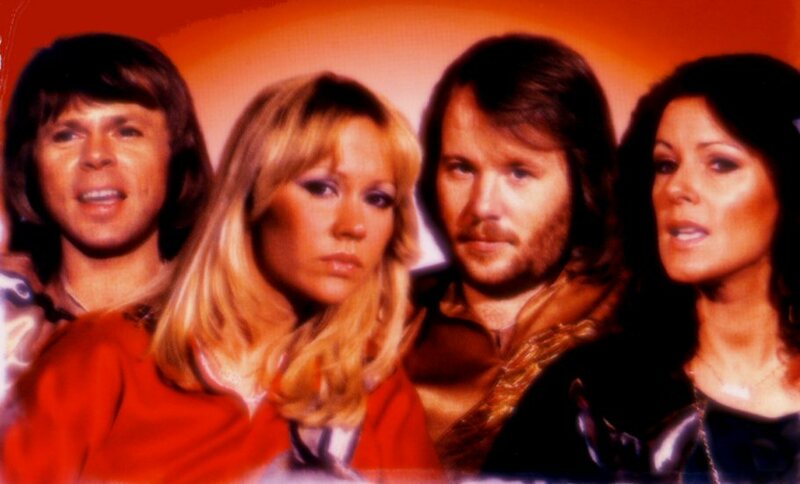 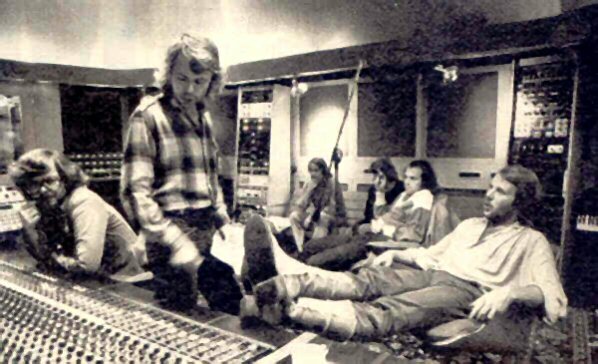 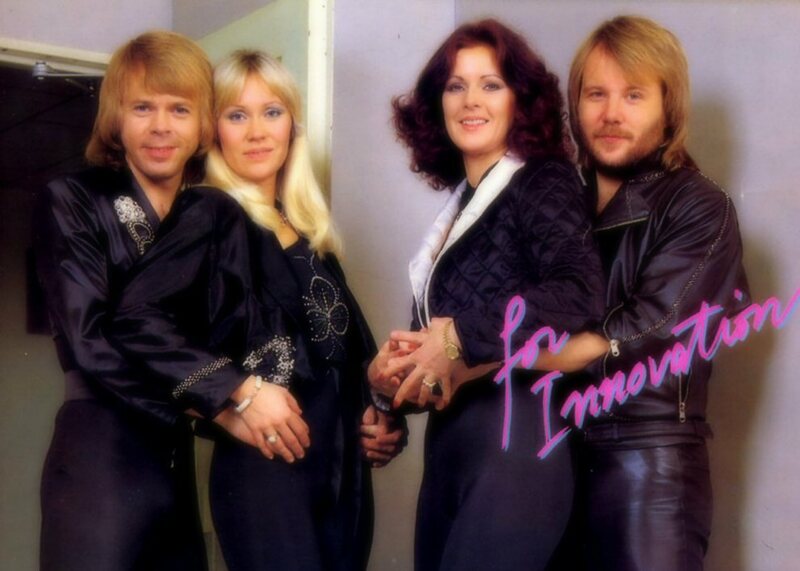 ABBA recorded all their songs in the Studio A (between 1978-82). 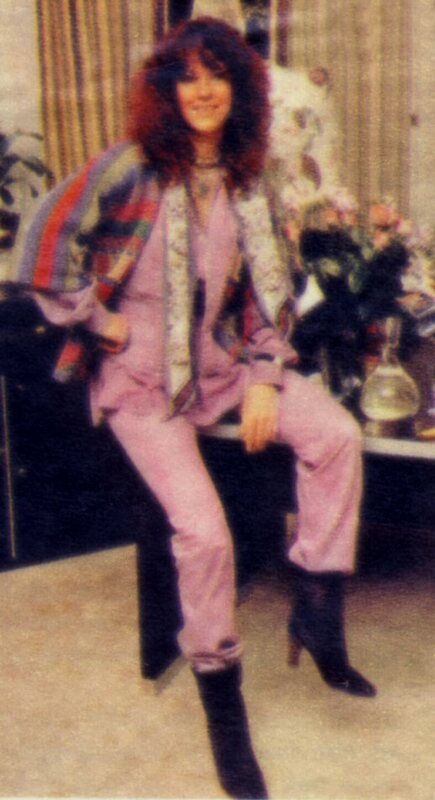 Even Frida recorded her solo album "Something's Going On" in the spring of 1982. 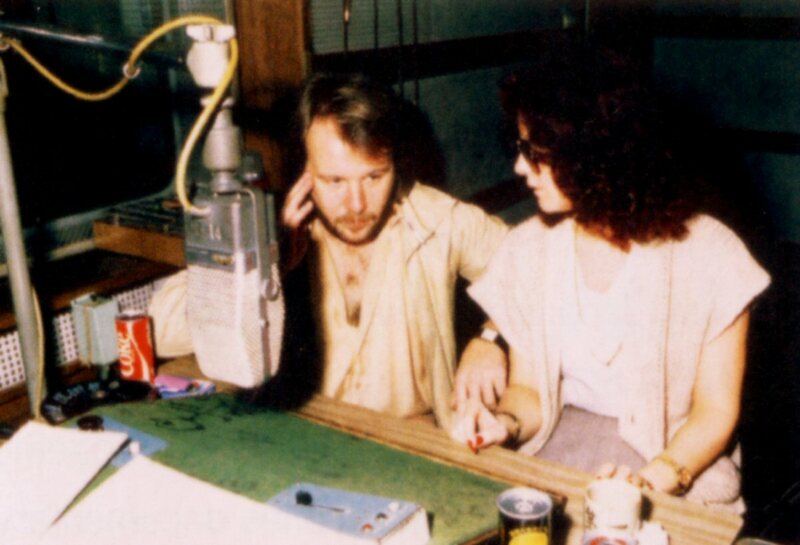 Thinking about Phil Collins' heavy smoking and drinking during the recording sessions it was good for Frida and her voice to be in a air-conditioned studio. 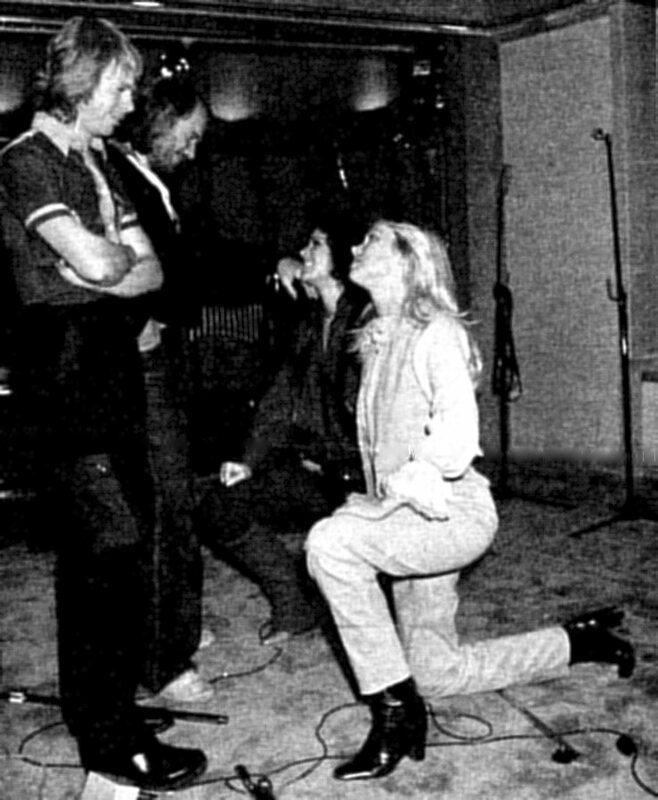 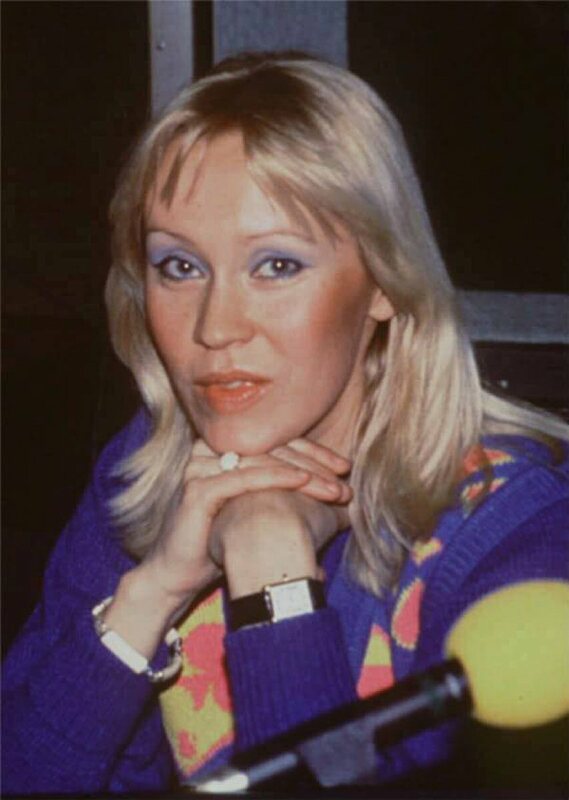 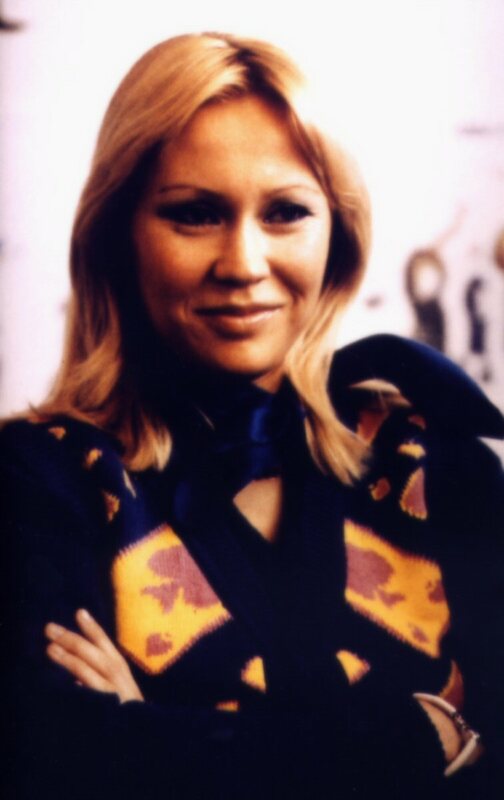 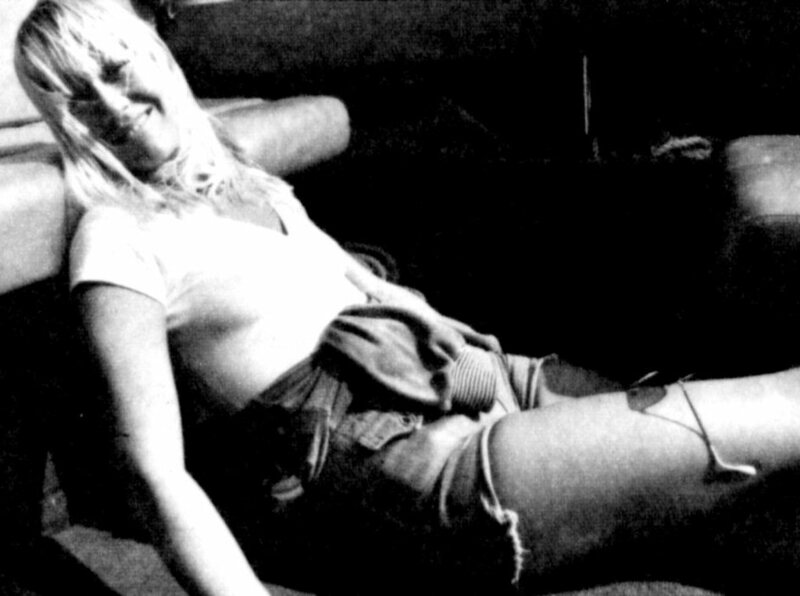 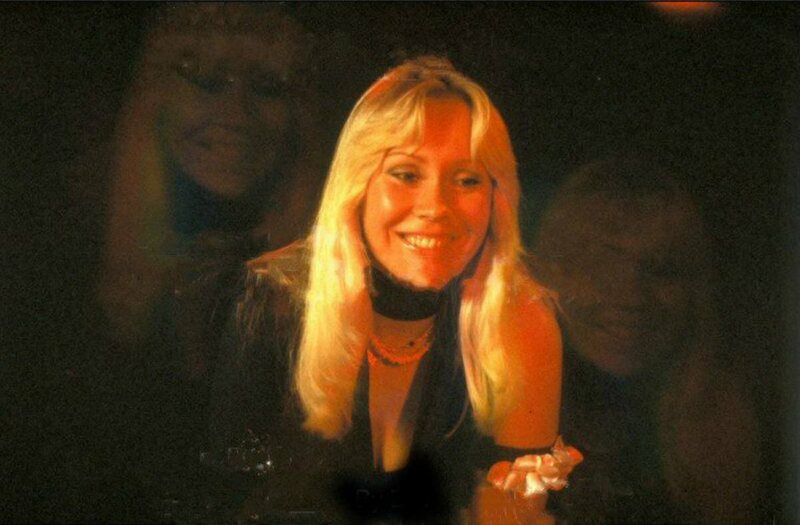 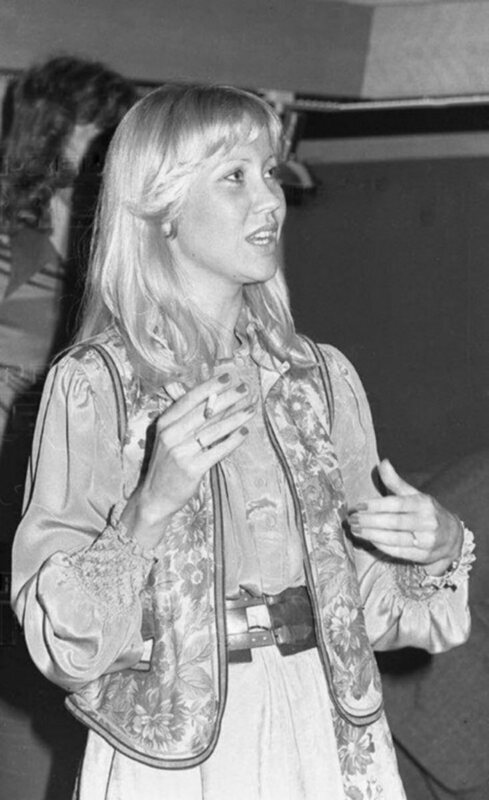 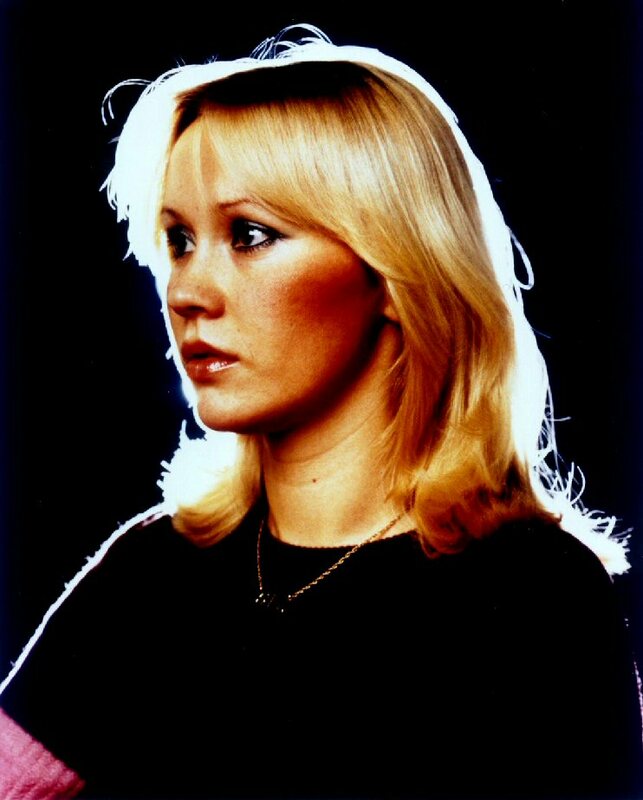 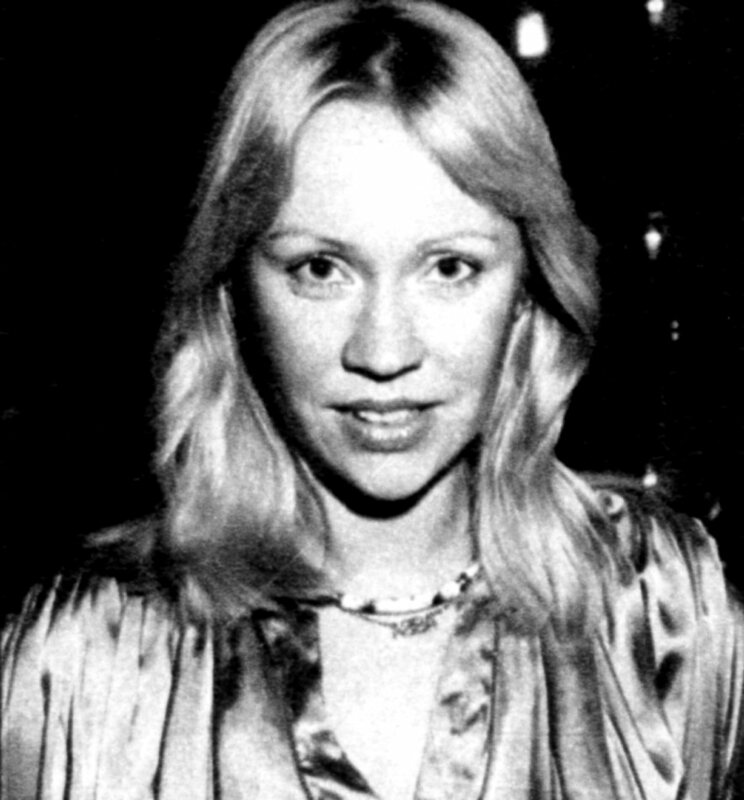 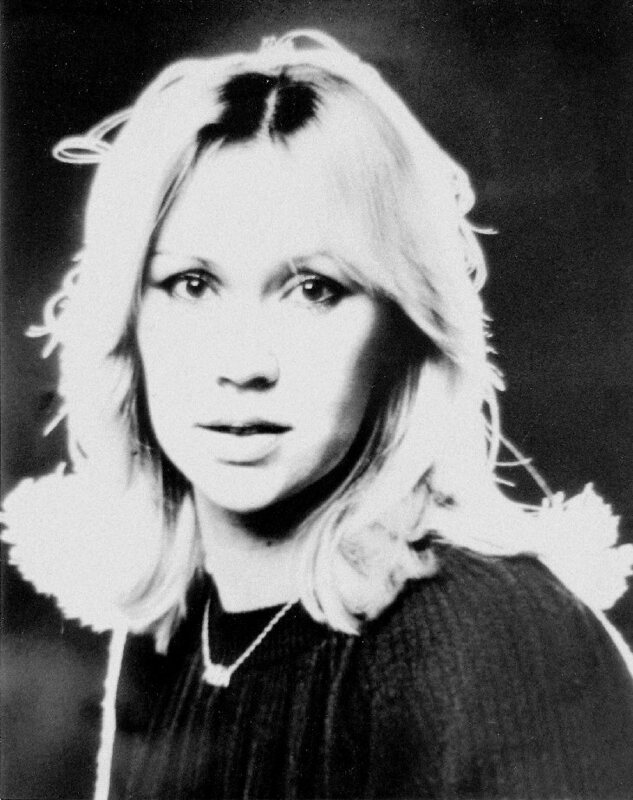 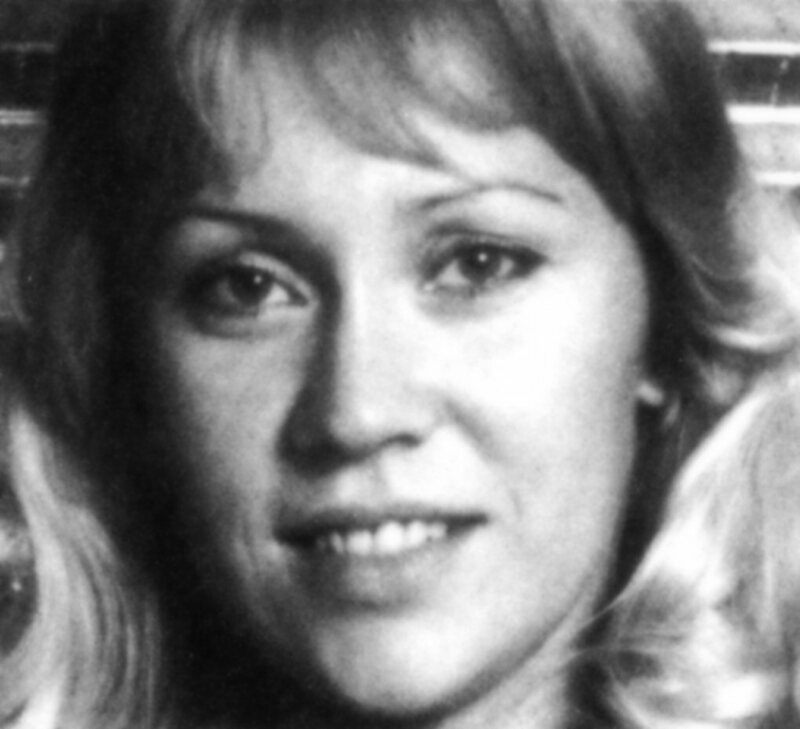 Even Agnetha Fältskog recorded her albums "Wrap Your Arms Around Me" and "Eyes of a Woman" in Studio A. 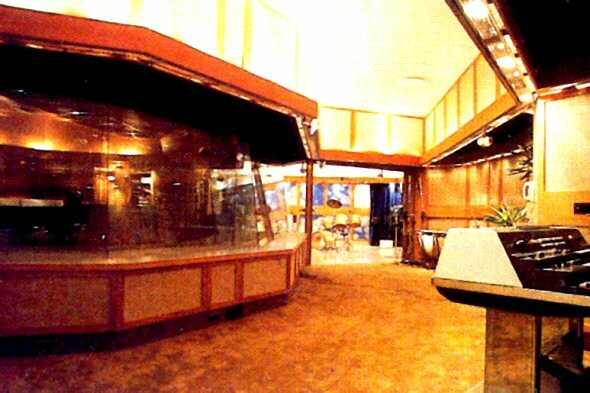 Studio B was actually a smaller version of Studio A with essentially the same equipment of the same quality. 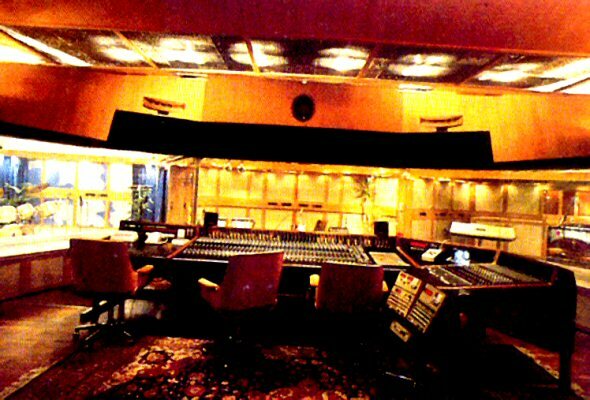 The total area - including control room - was 85 square metres. 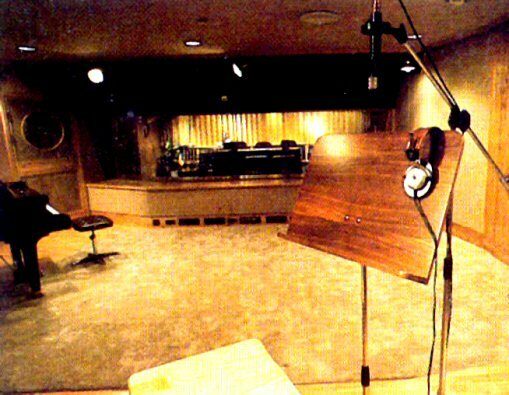 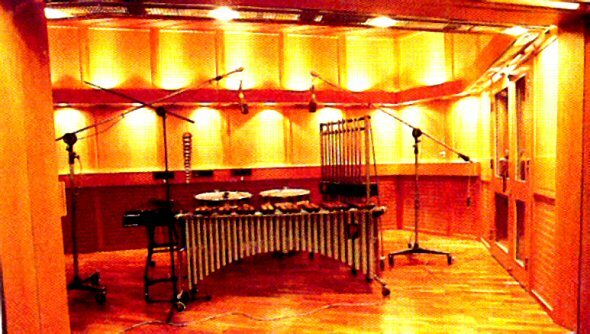 Studio B was used separately but could also serve as a complement for Studio A recordings which did not require the greater possibilities of the larger studio. 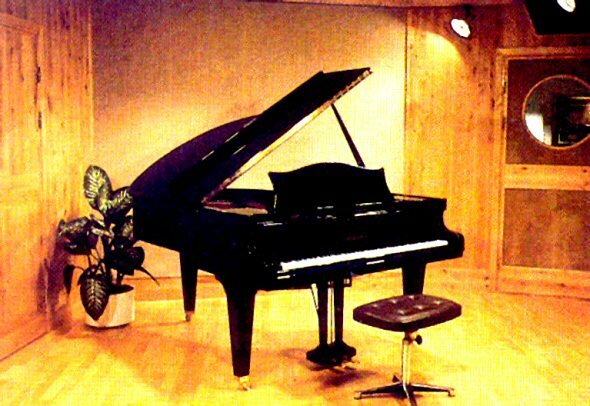 Frida's 1996 album "Djupa andetag" was mainly recorded in this studio. 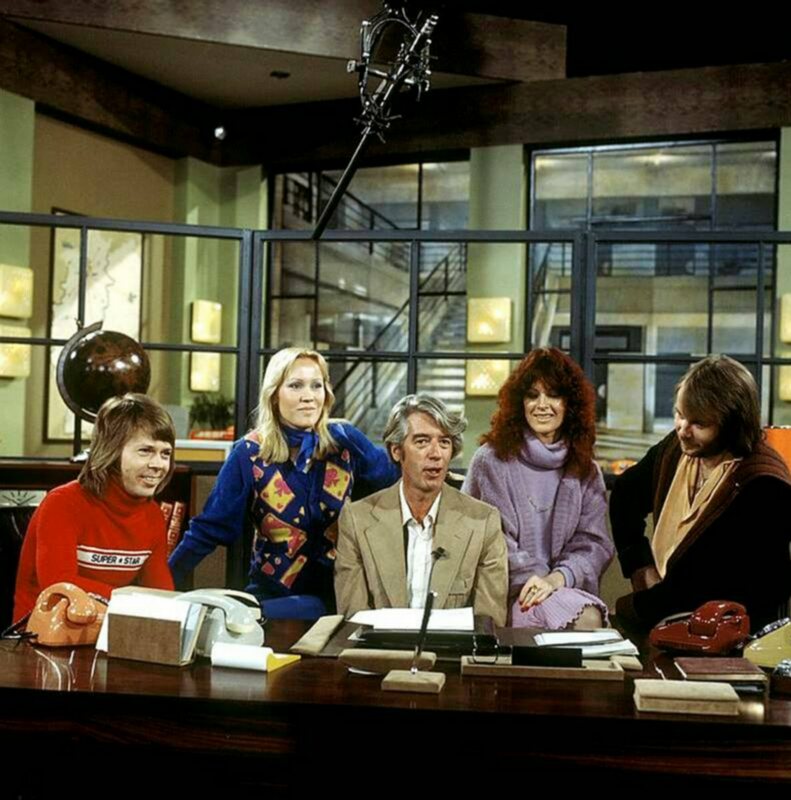 Journalists from all over the world were invited to the new studio. 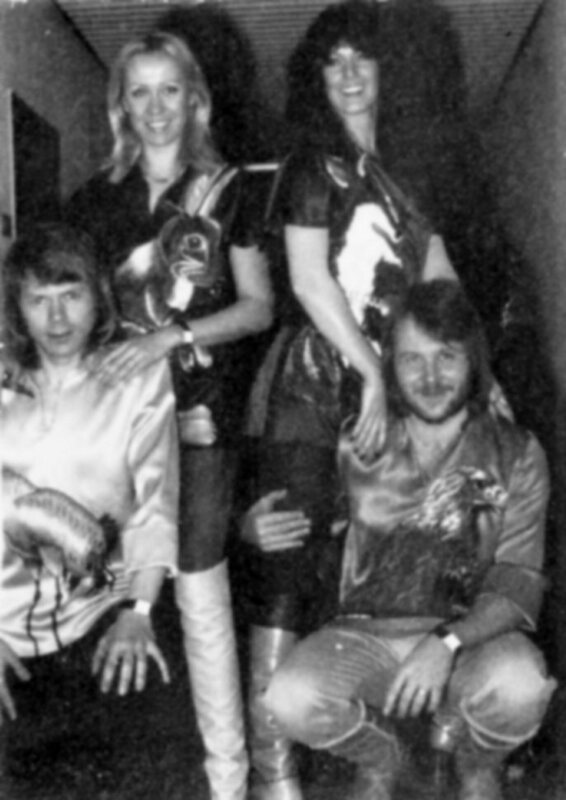 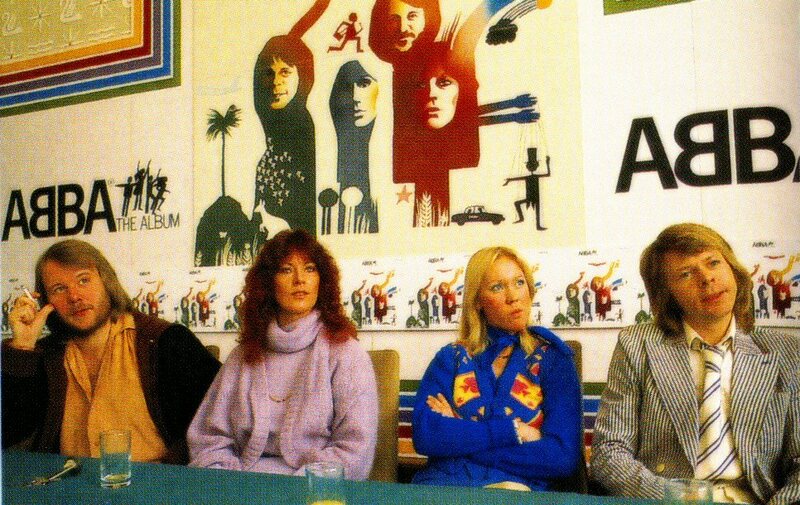 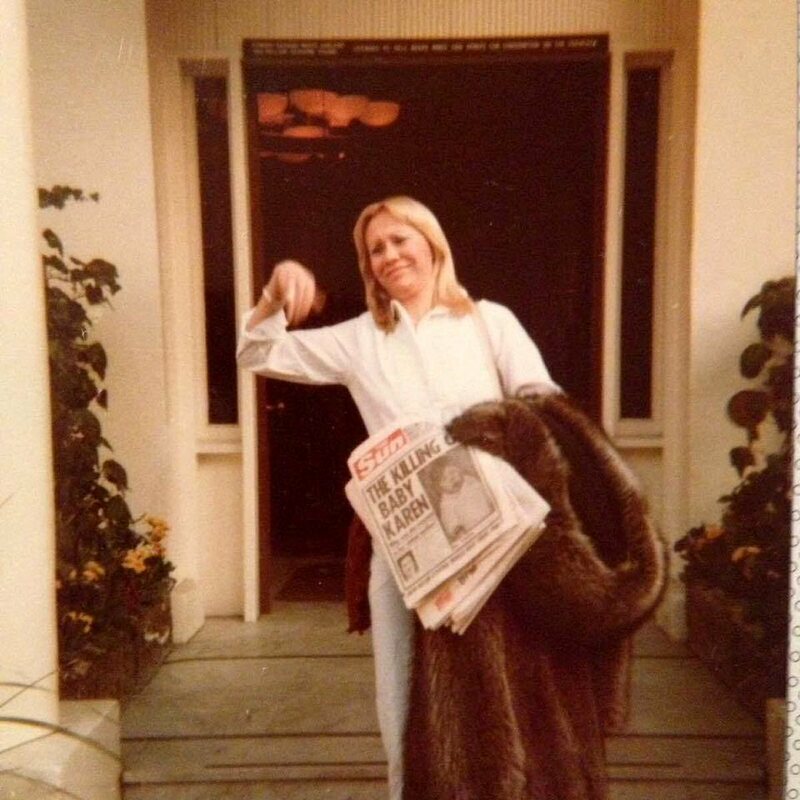 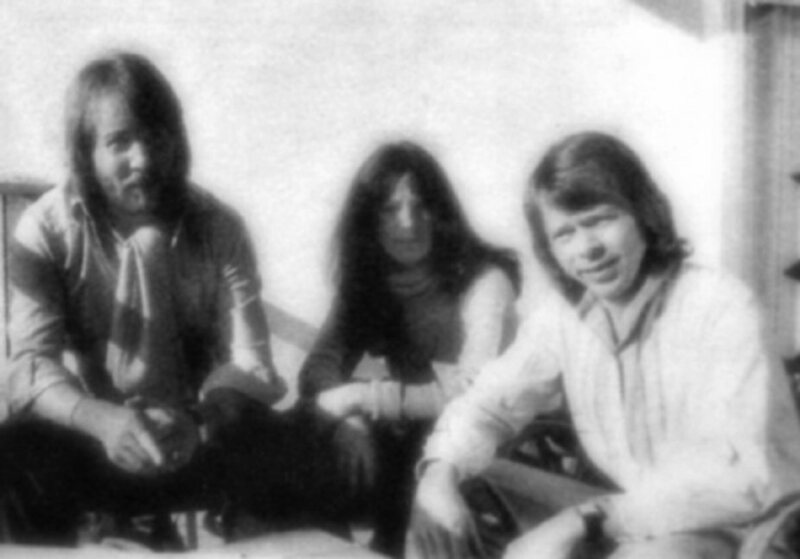 The German press were one of the first that took pictures of ABBA in the Polar Studios. 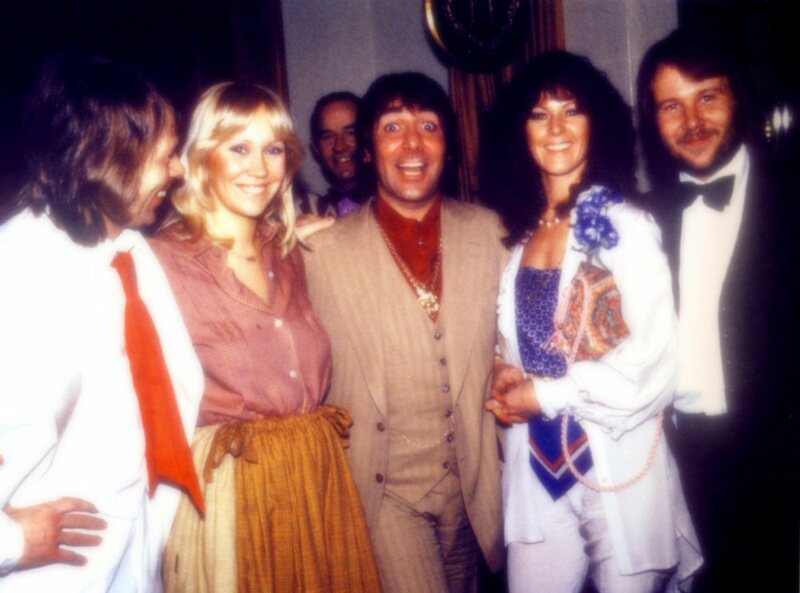 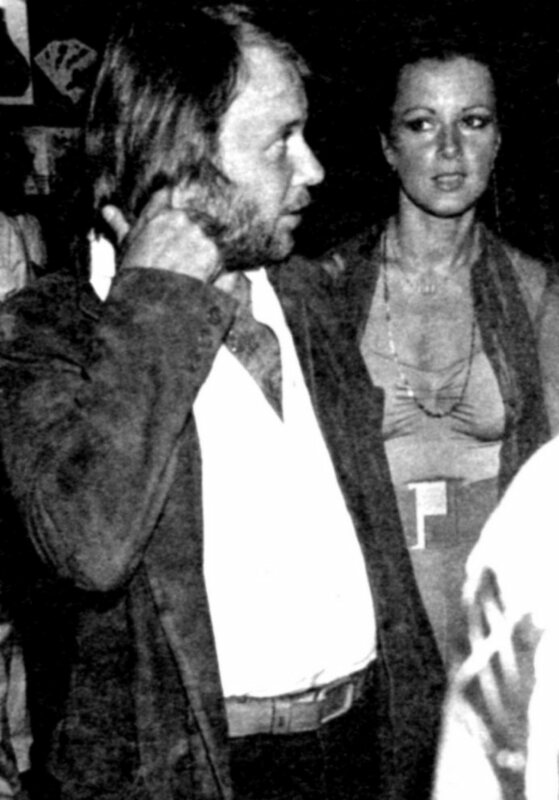 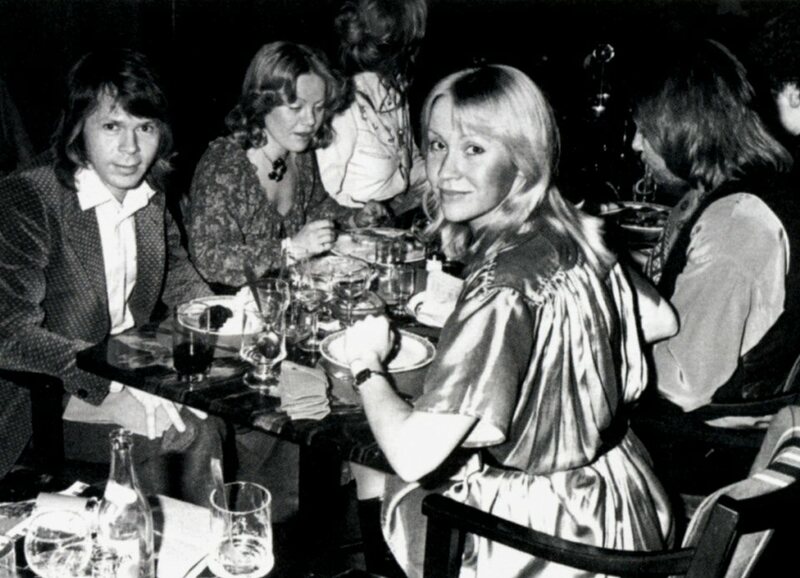 When the Swedish Association of Pop Composers (SKAP) had its spring party, Agnetha was one of the guests of honour. 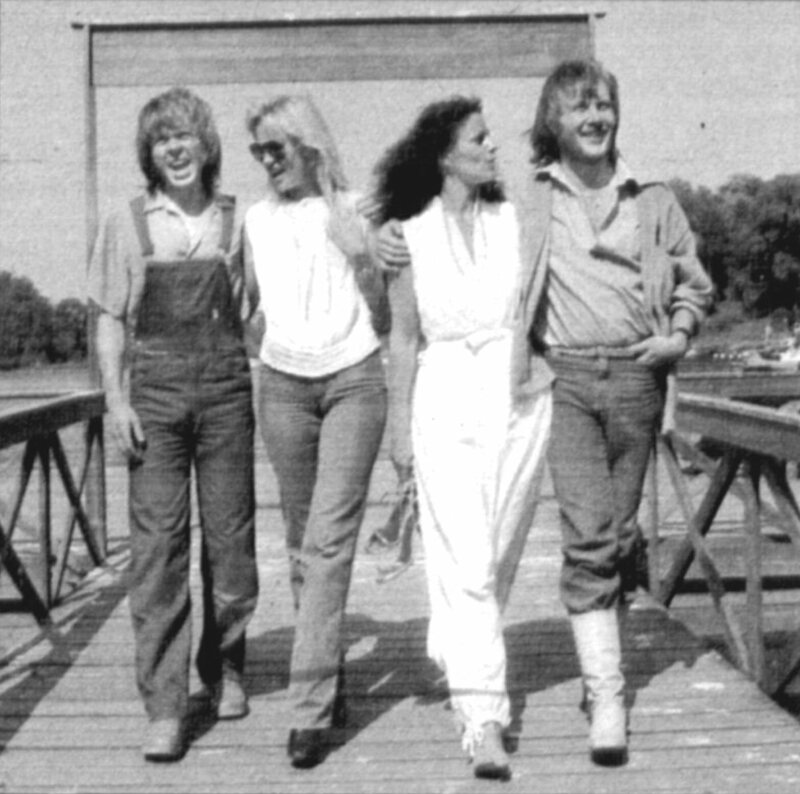 The party took place at the end of May in Lidingö outside Stockholm. 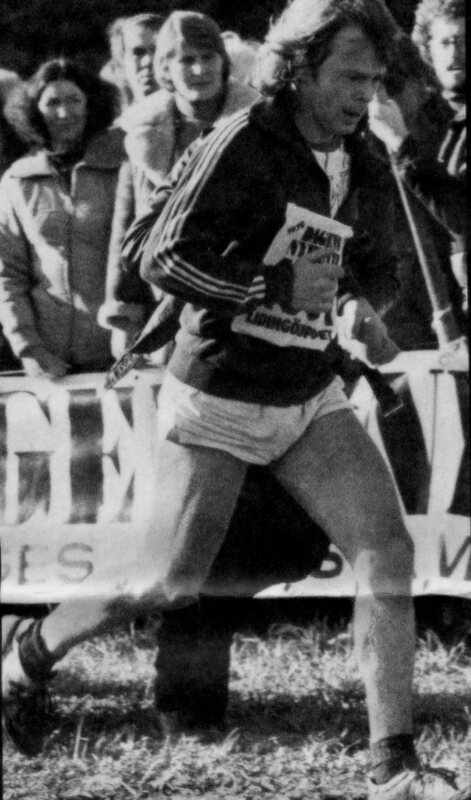 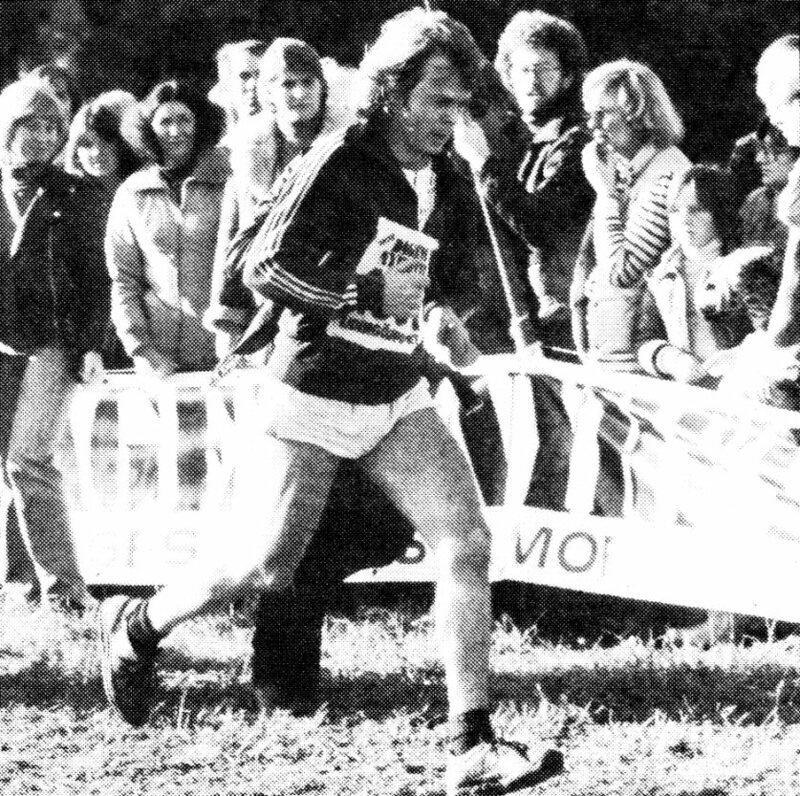 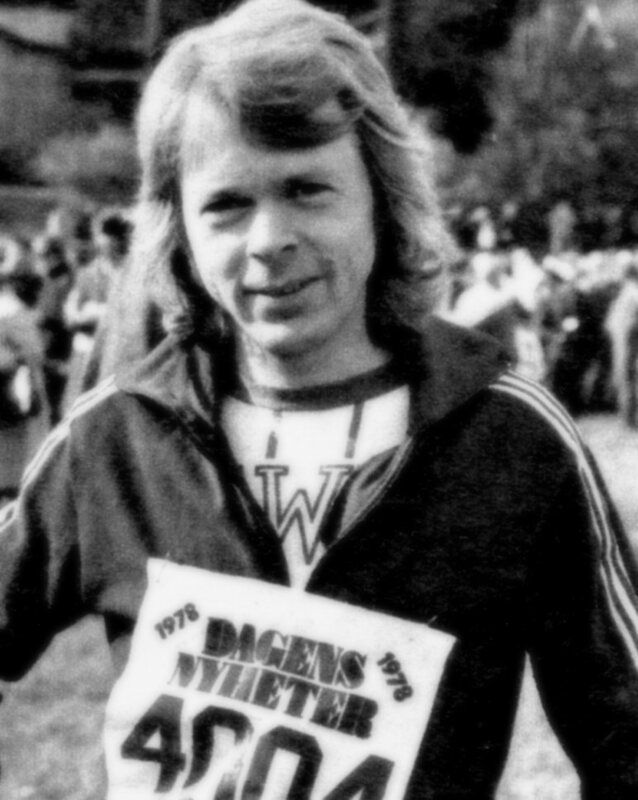 Björn participated in the traditional 30-km-long marathon on the home island Lidingö outside Stockholm. 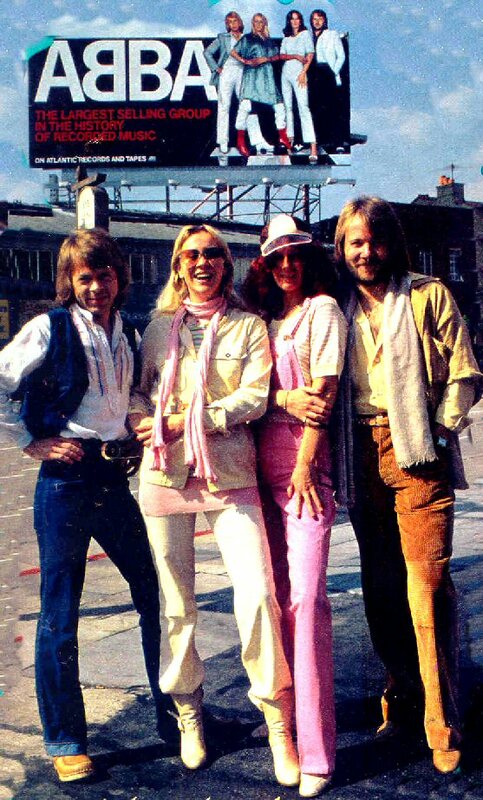 The Swedish Tourist Board released a promotional booklet presenting Sweden as a tourist destination and featuring a picture of ABBA taken in... the Old Town in Warsaw/Poland in October 1976. 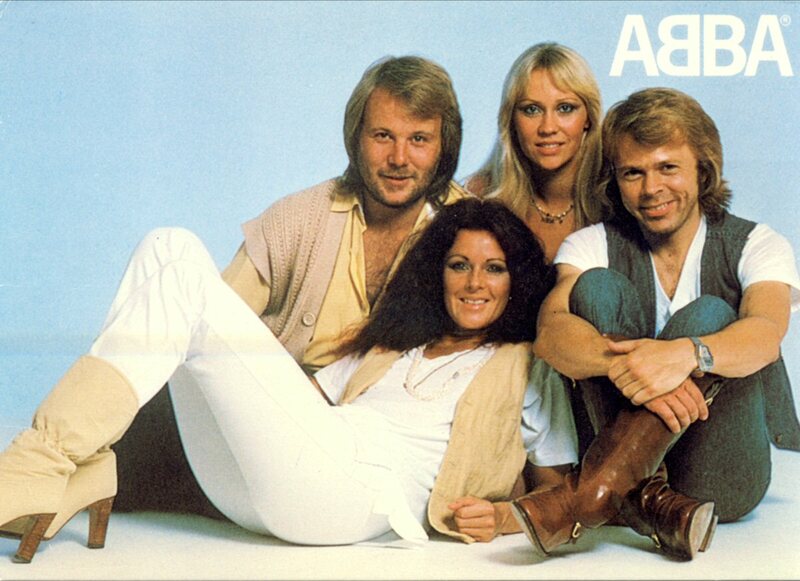 In the middle of June ABBA started their holidays. 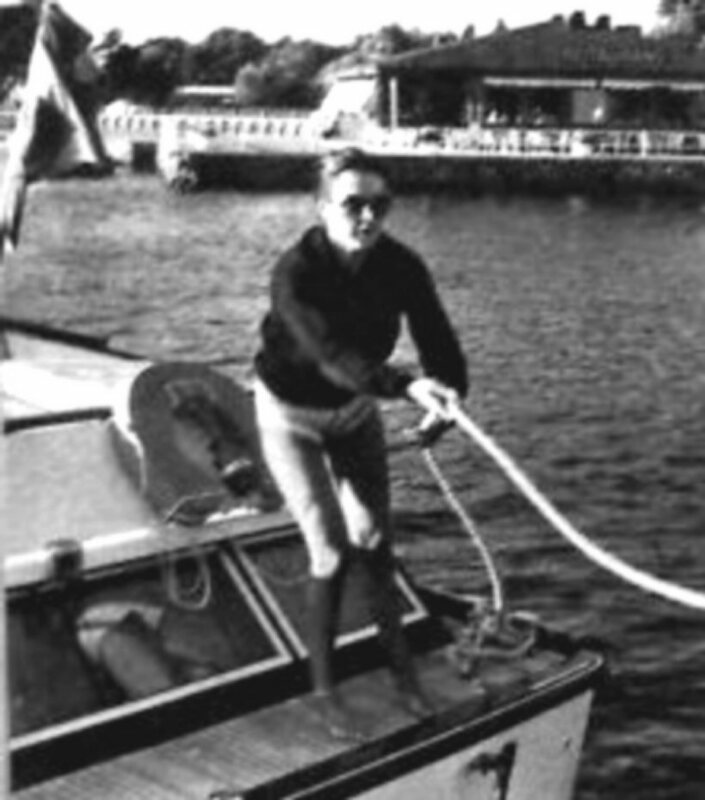 At the beginning of July Benny bought a new boat which was 12 meters long. 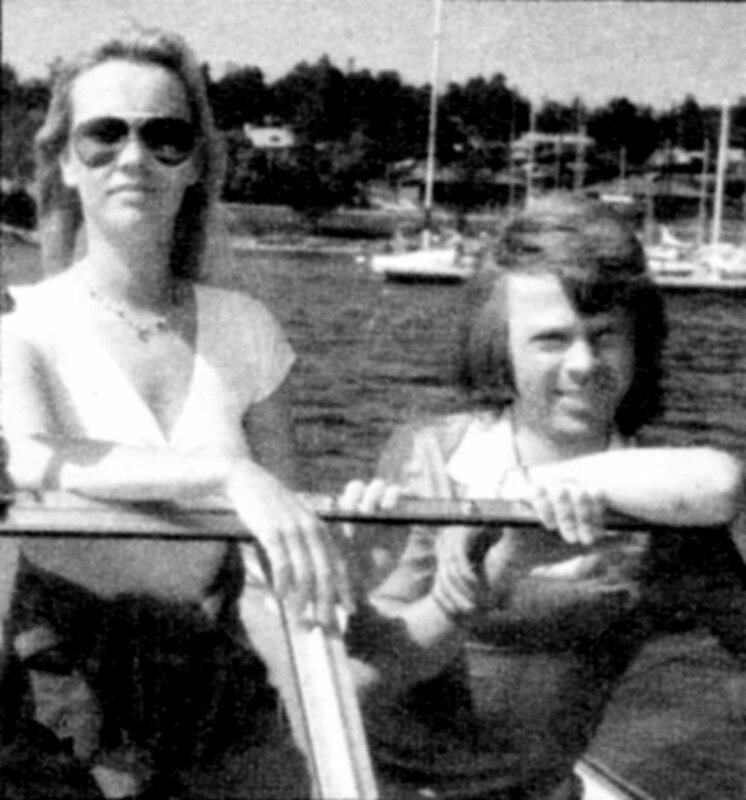 Under the rest of July Benny and Frida sailed around Sweden. 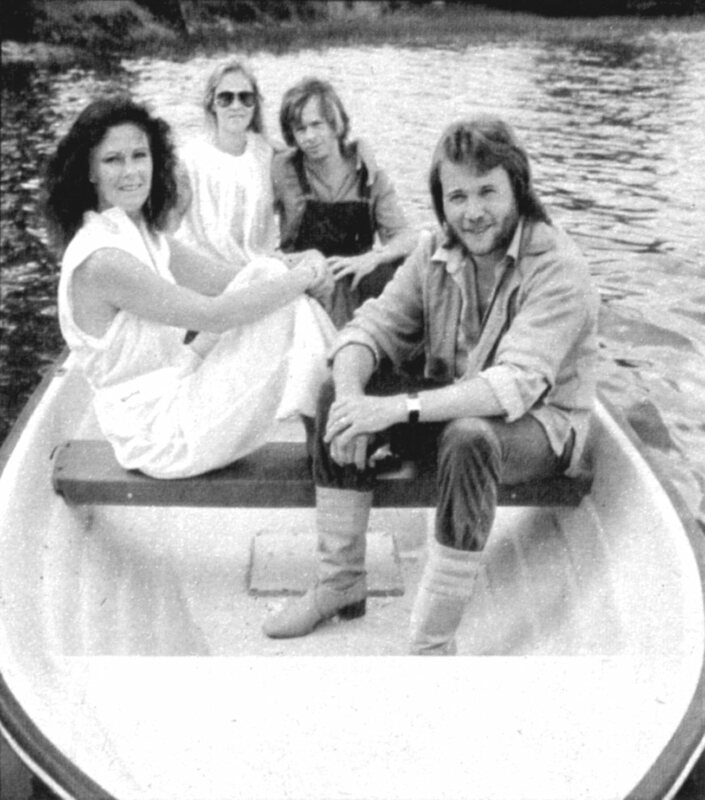 All ABBA members posed for photographers on Benny's boat in the middle of July. 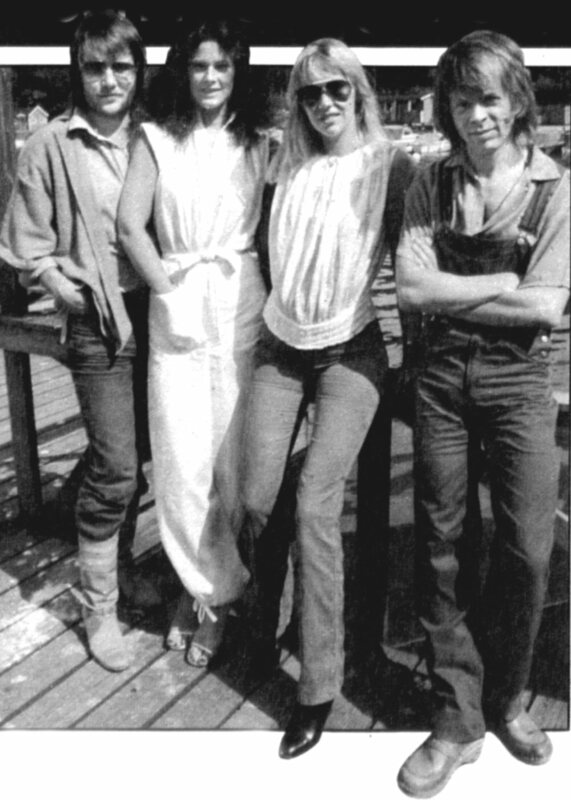 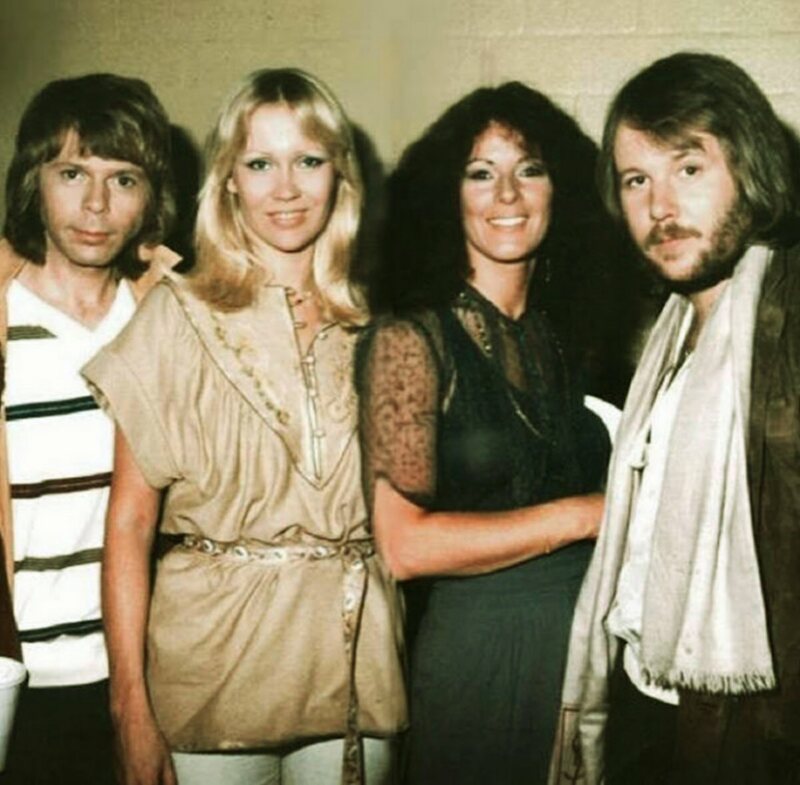 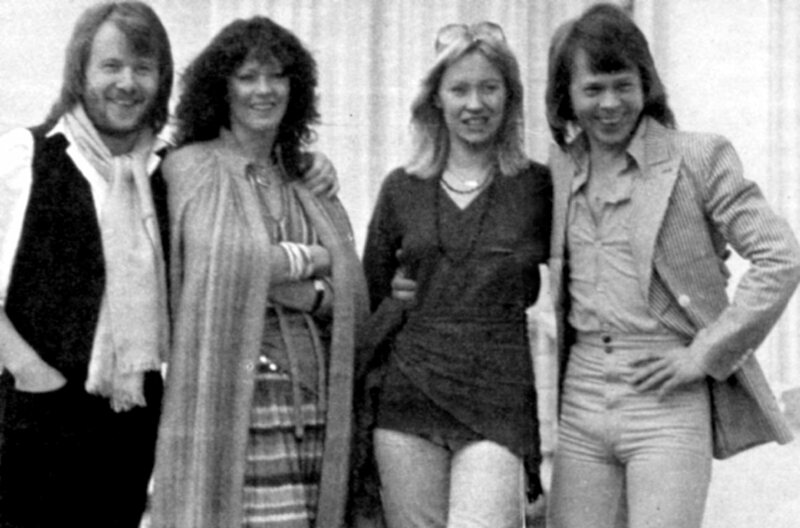 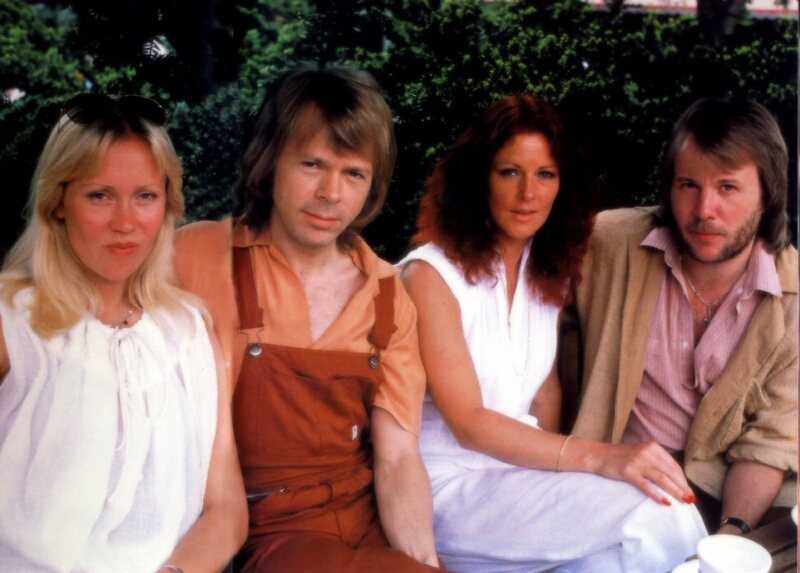 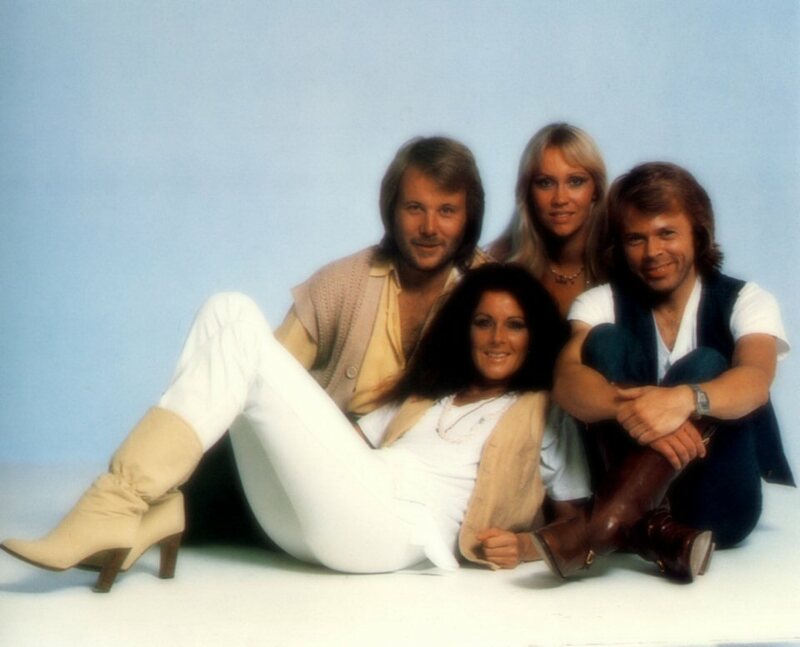 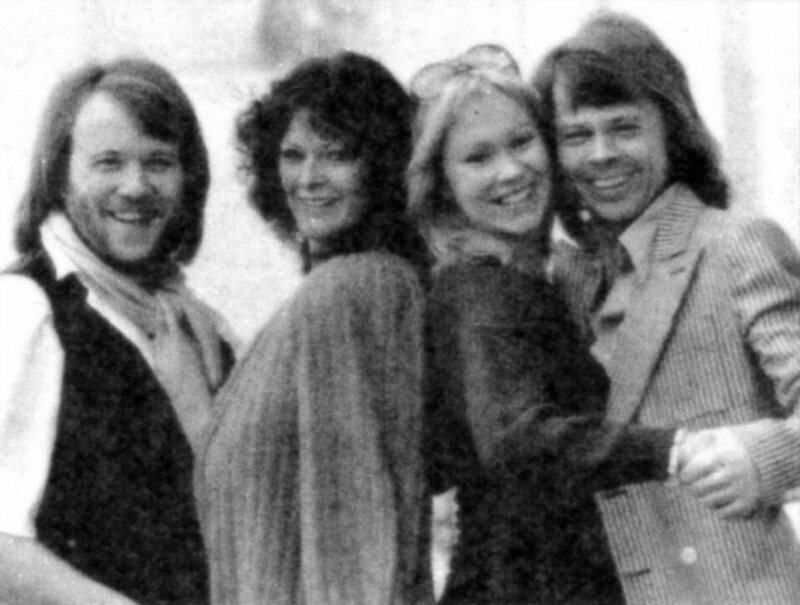 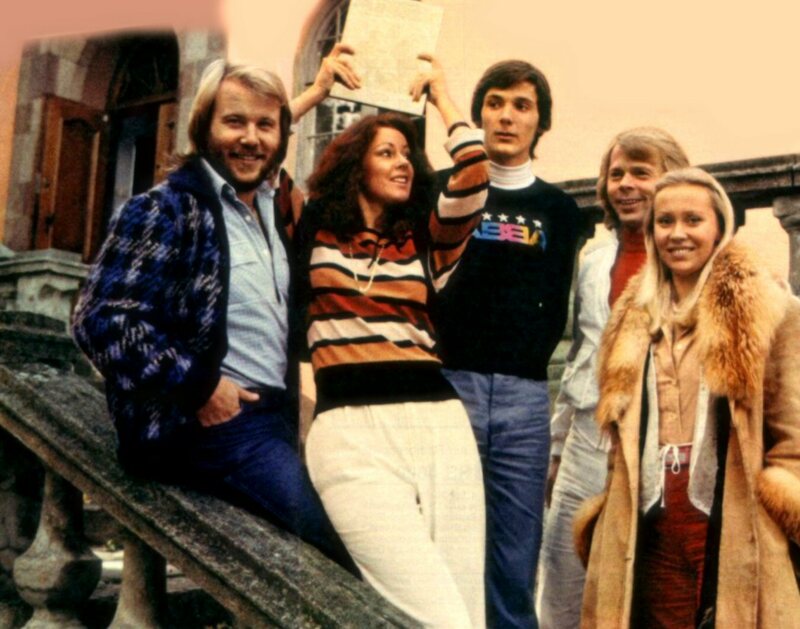 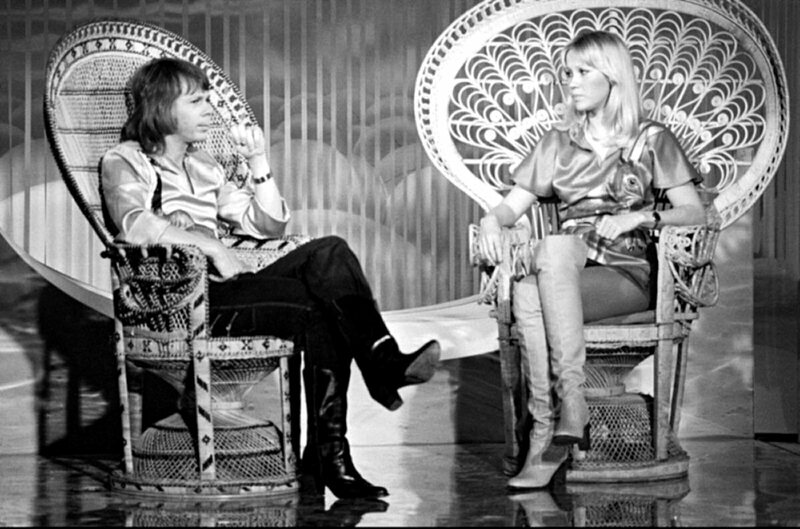 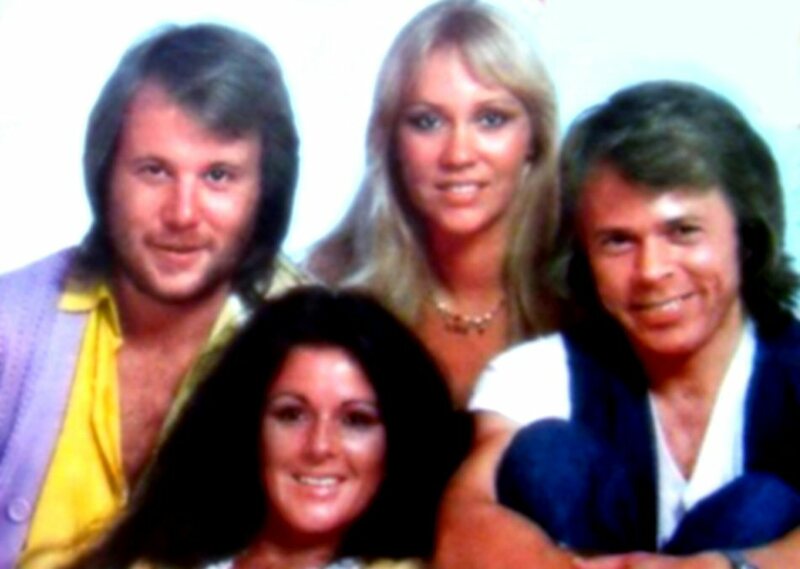 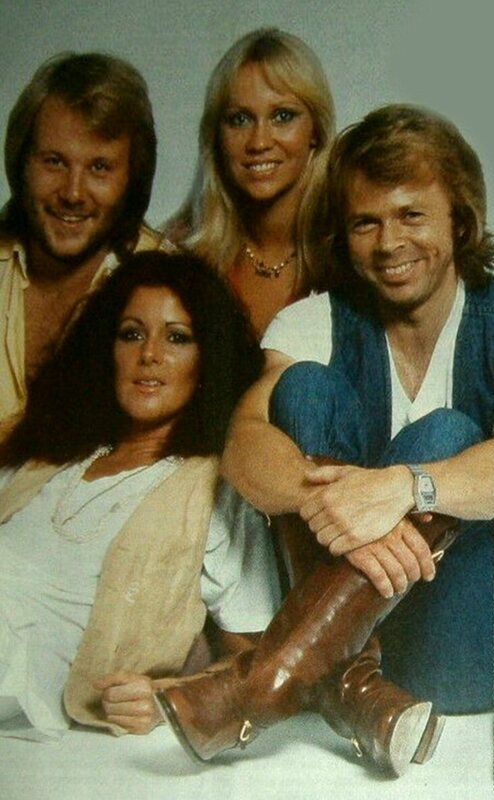 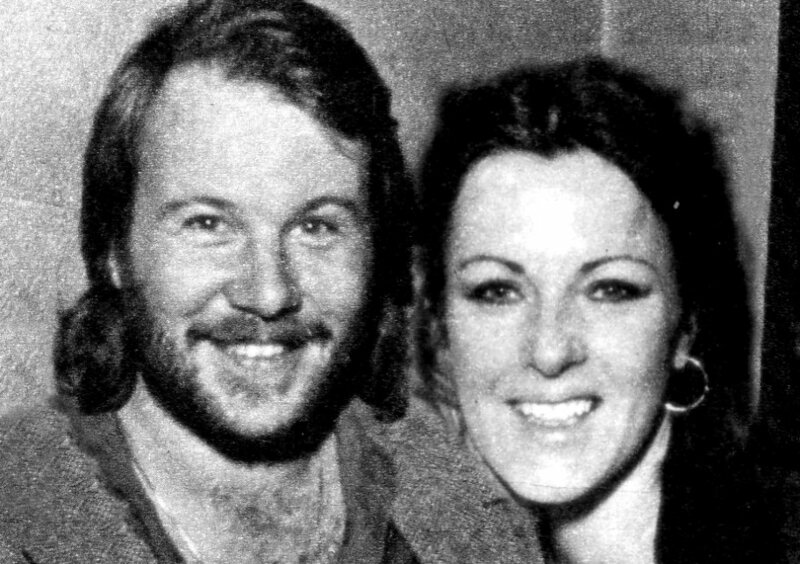 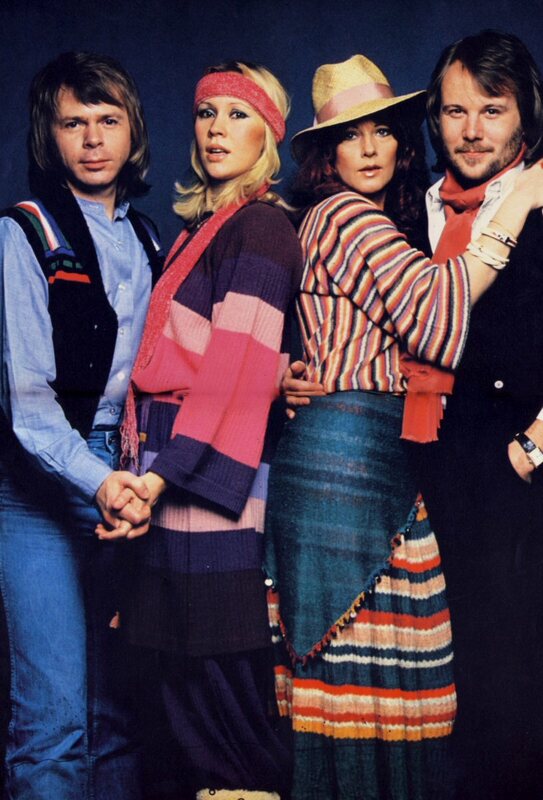 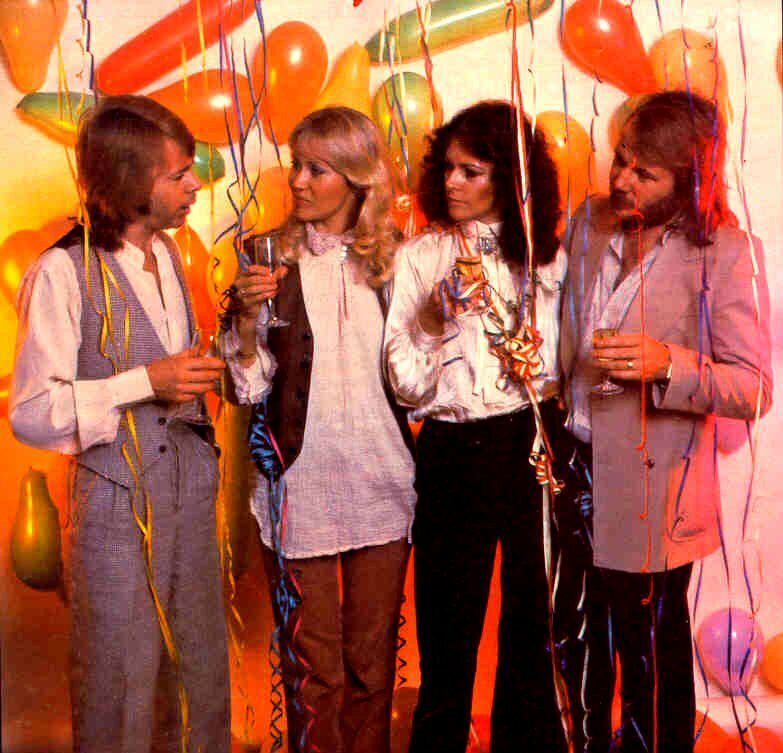 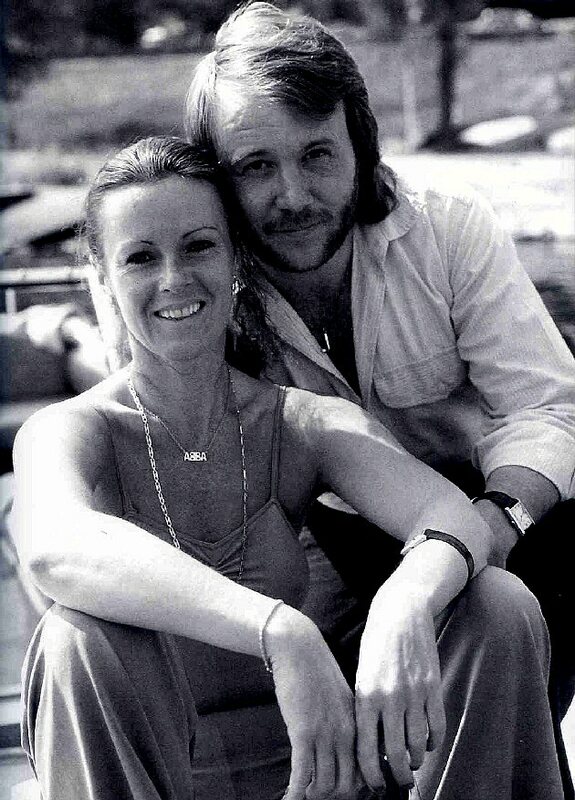 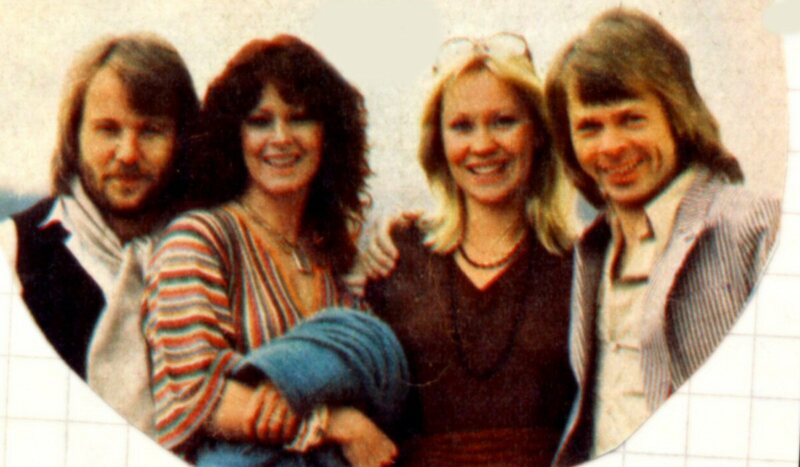 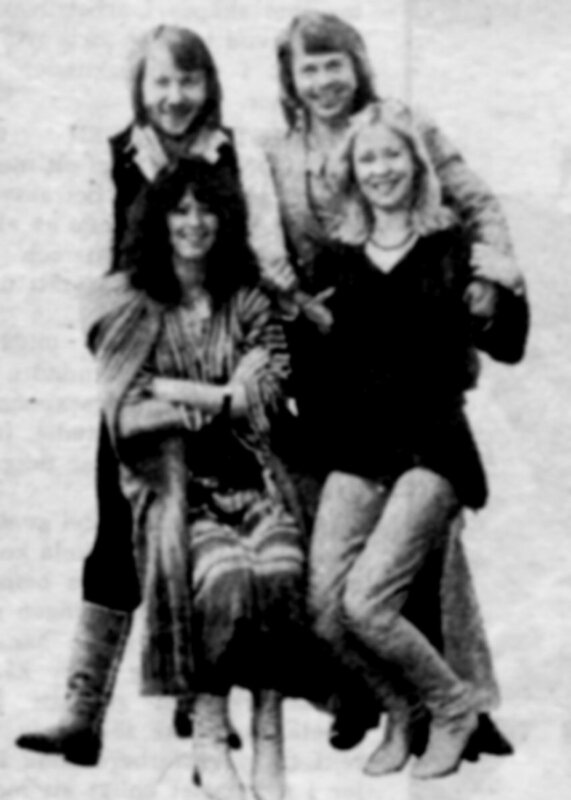 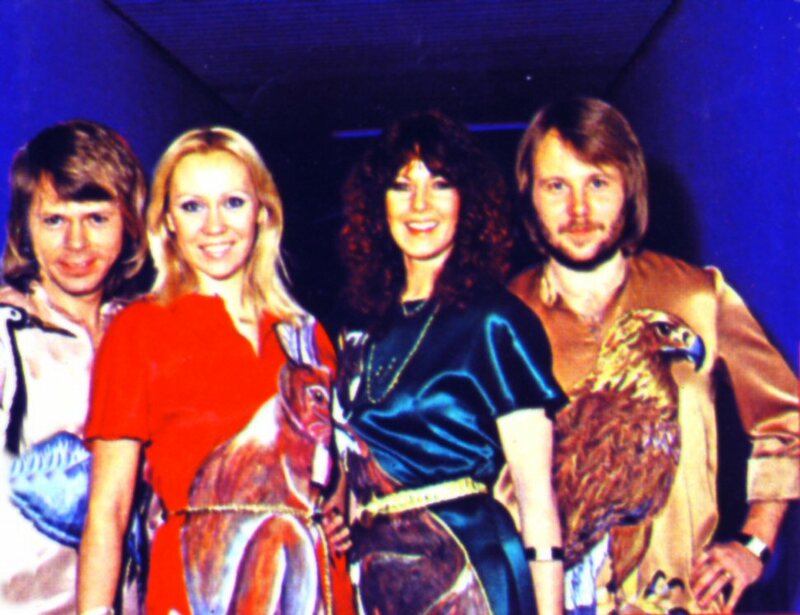 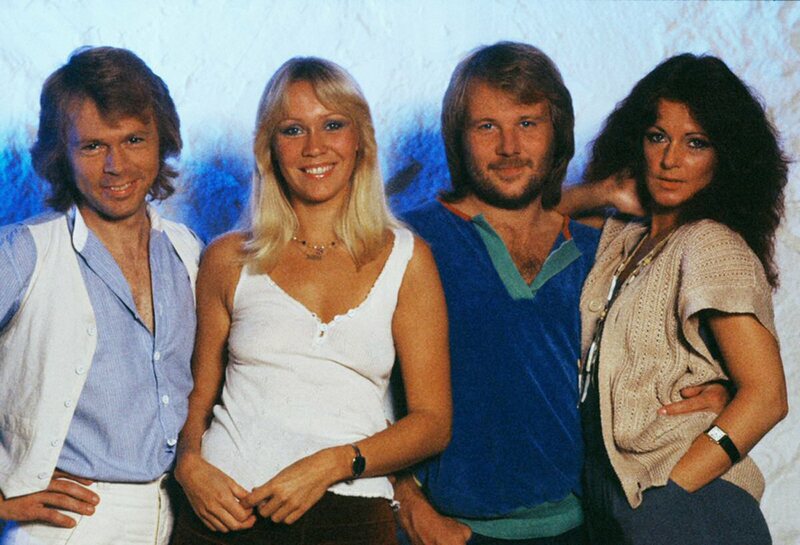 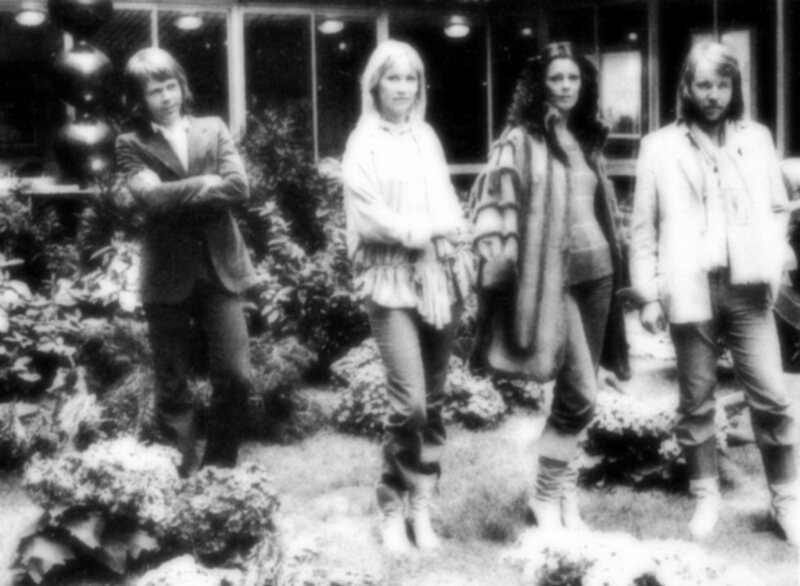 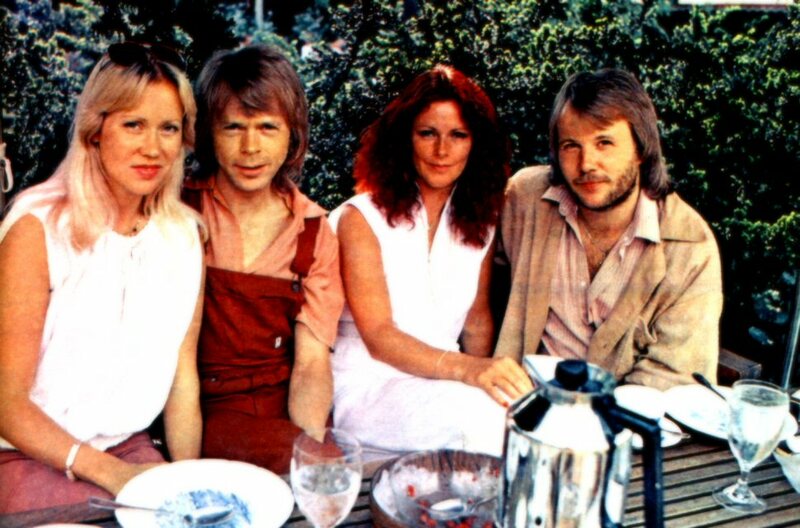 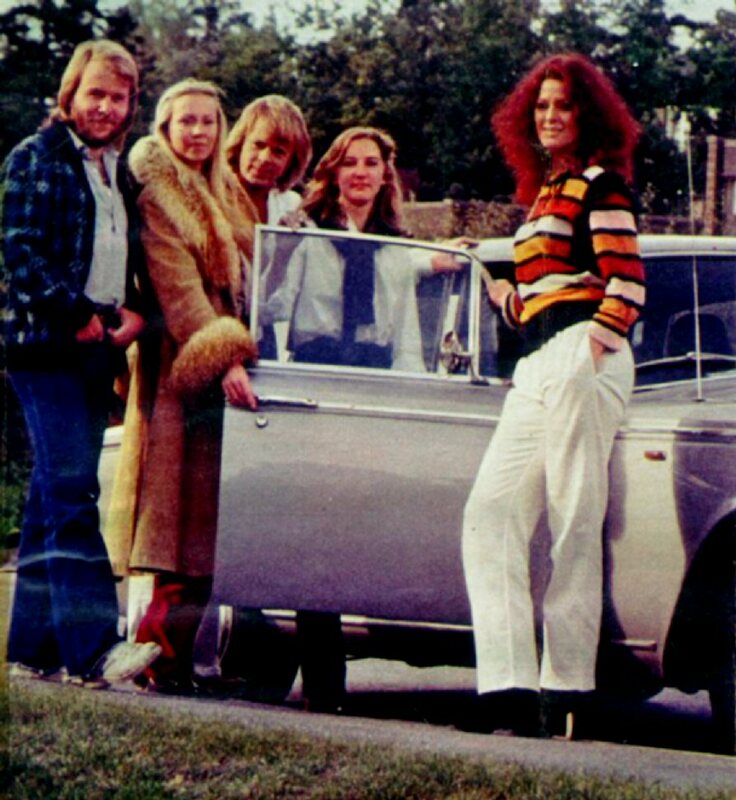 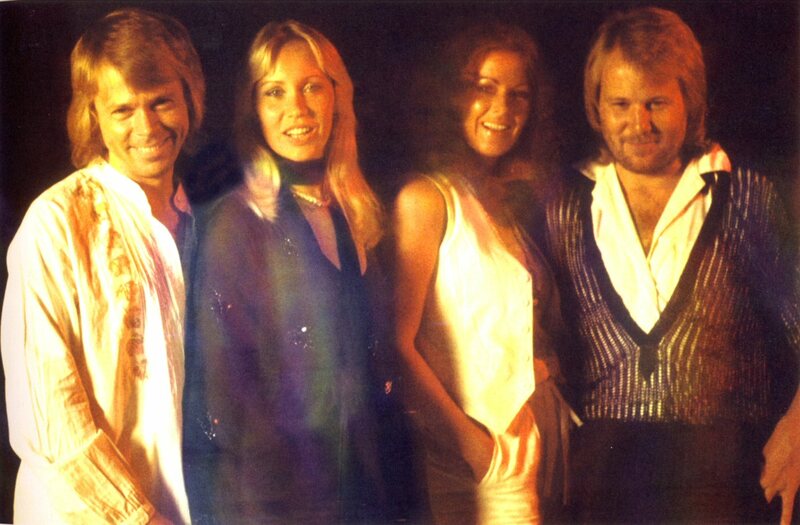 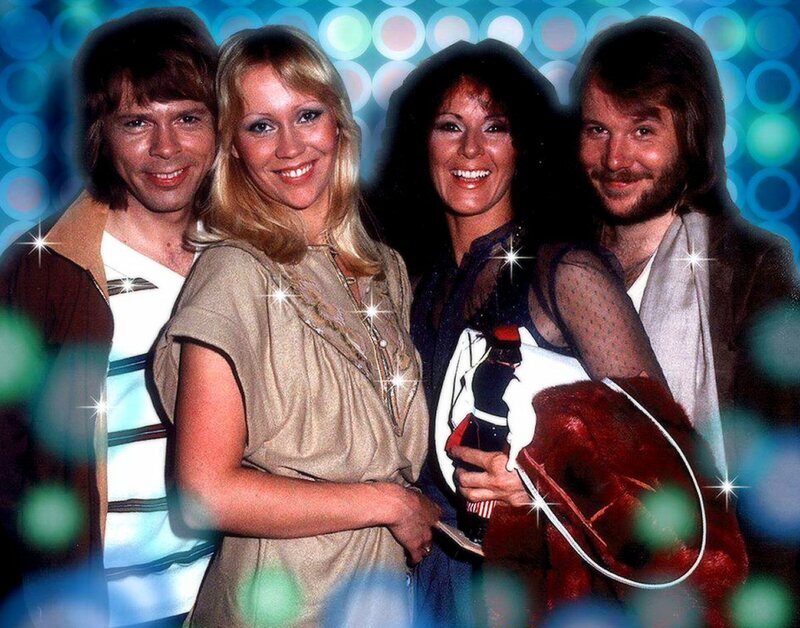 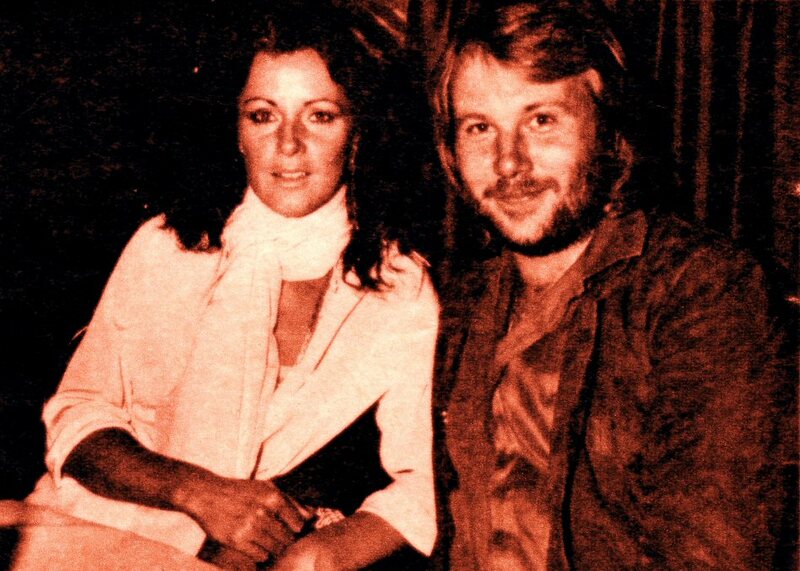 In the summer ABBA gave an interview for the Swedish magazine "Husmodern". 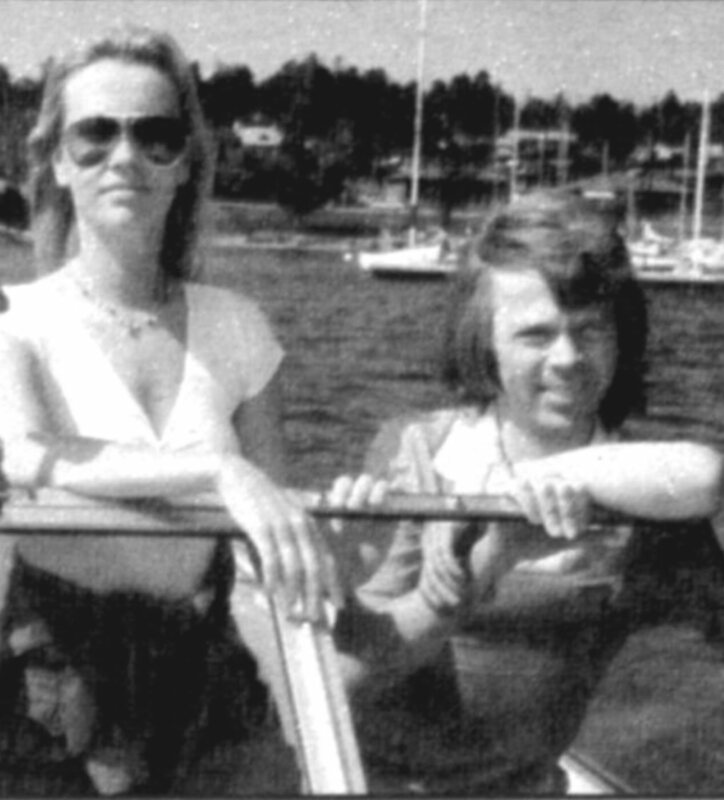 Lots of pictures had been taken at this occasion in the Stockholm archipelago. 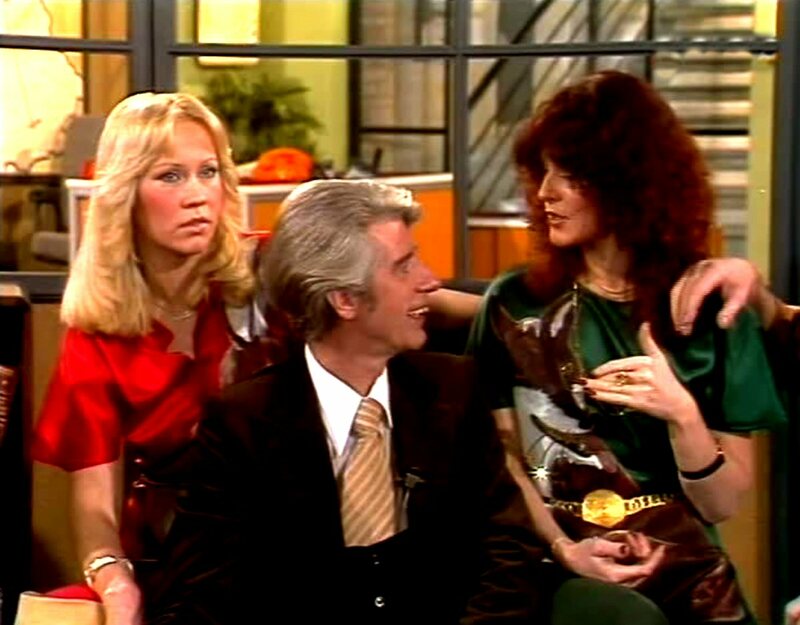 The interview would be published in October 1978. 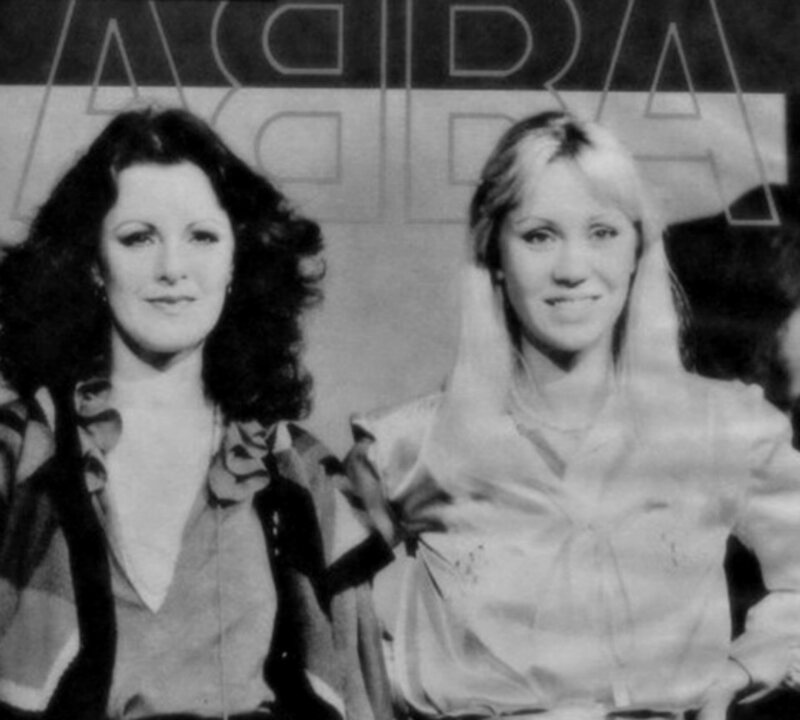 The pictures were sold to magazines around the world - among others to West German "Bravo". 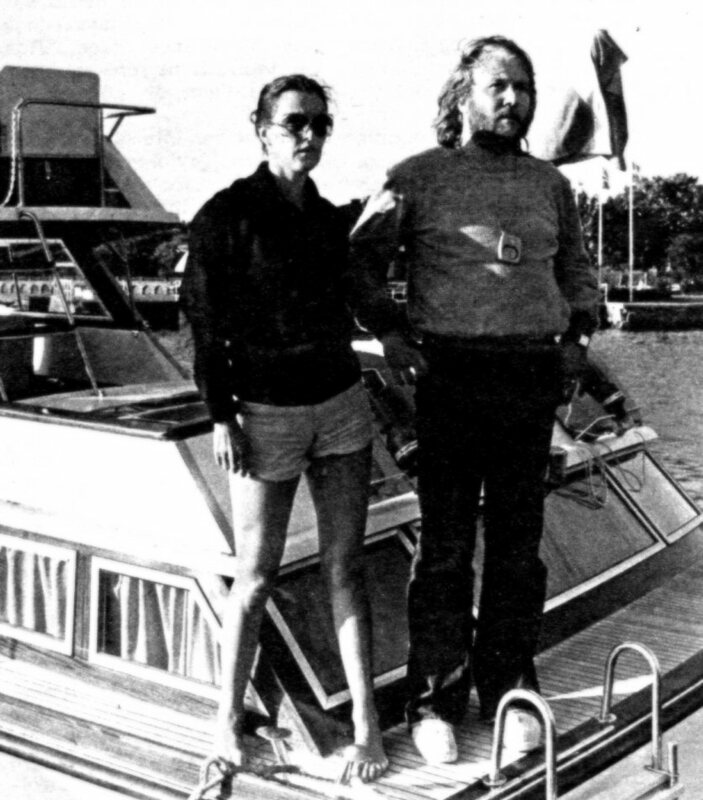 At the beginning of July Benny and Frida bought a new boat. 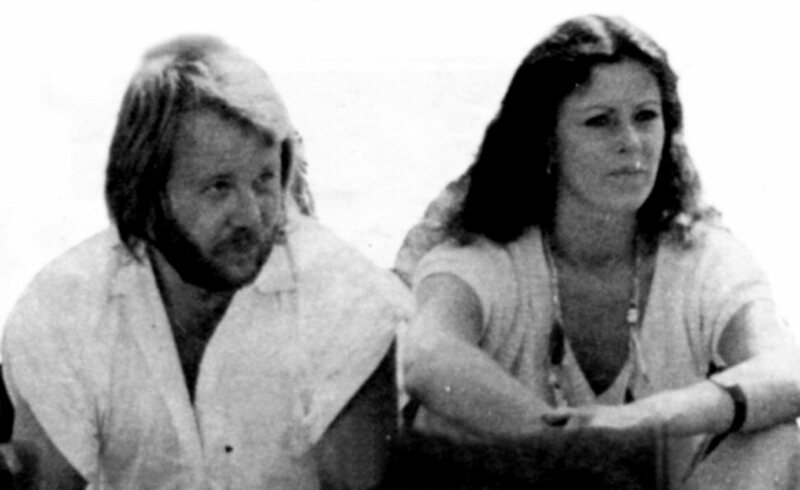 In July 1978 the couple spend their holidays cruising along the Swedish coast. 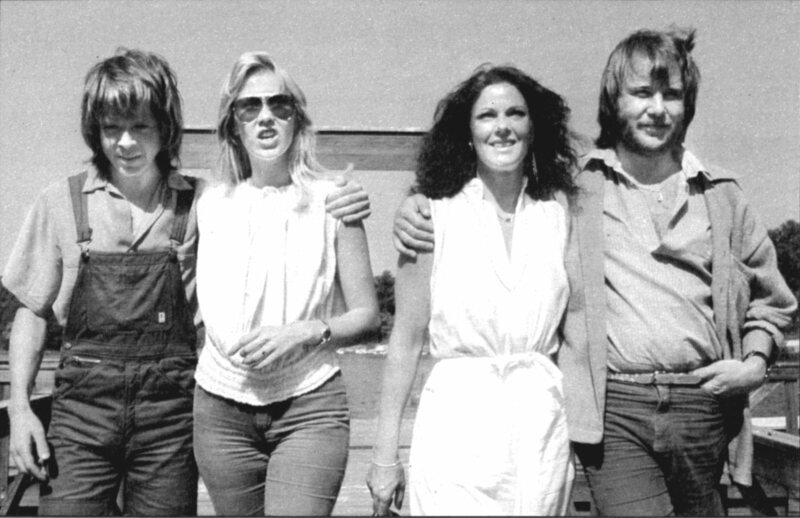 They were seen among others in Borgholm (Öland island) and Båstad (West Coast). 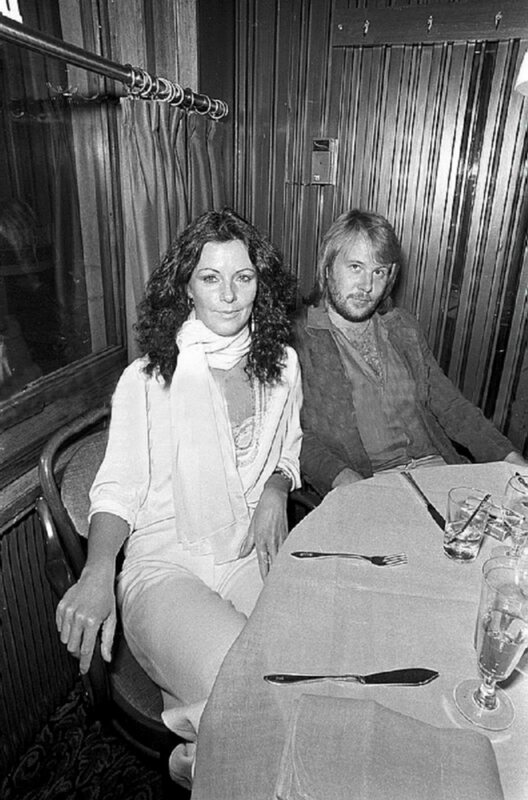 At the end of July Frida and Benny arrived in Båstad in south-west Sweden where the annual tennis cup "Swedish Open" took place. 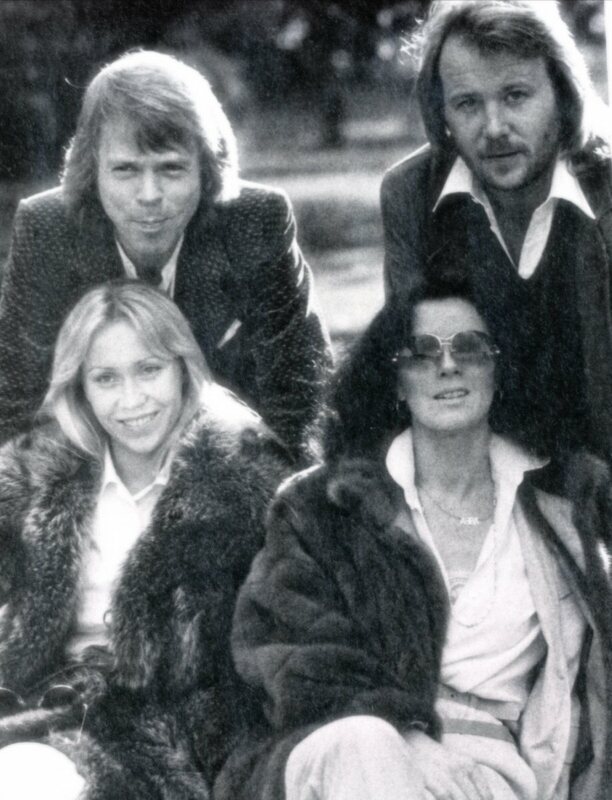 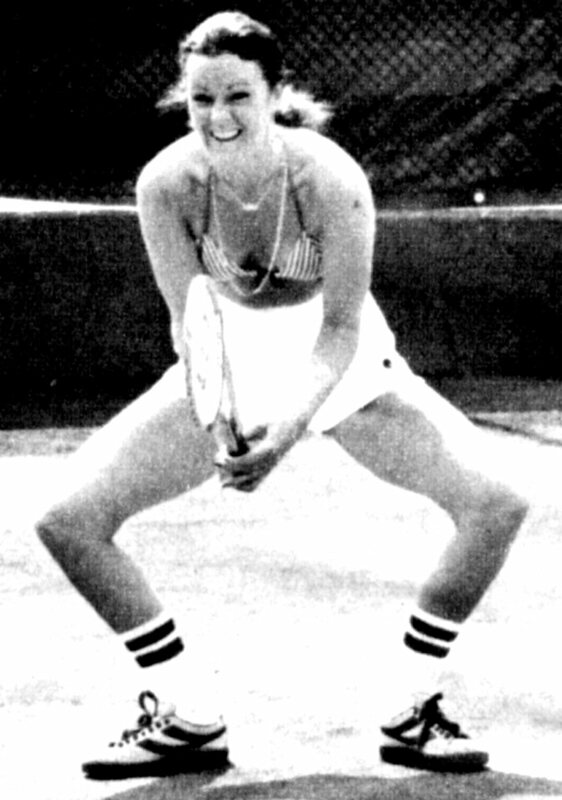 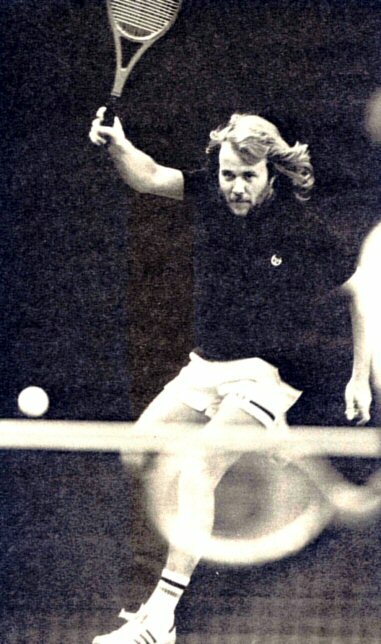 Frida and Benny were paid more attention than the main tennis star Björn Borg. 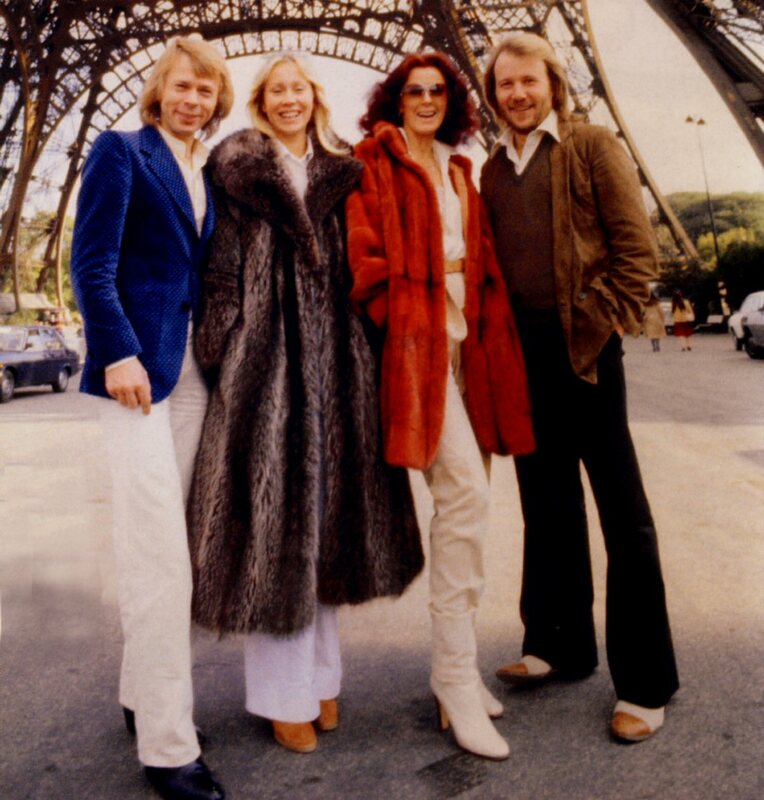 In 1978 the well-known French orchestra leader Franck Pourcel recorded a whole album with ABBA covers in jazzy re-arranged versions. 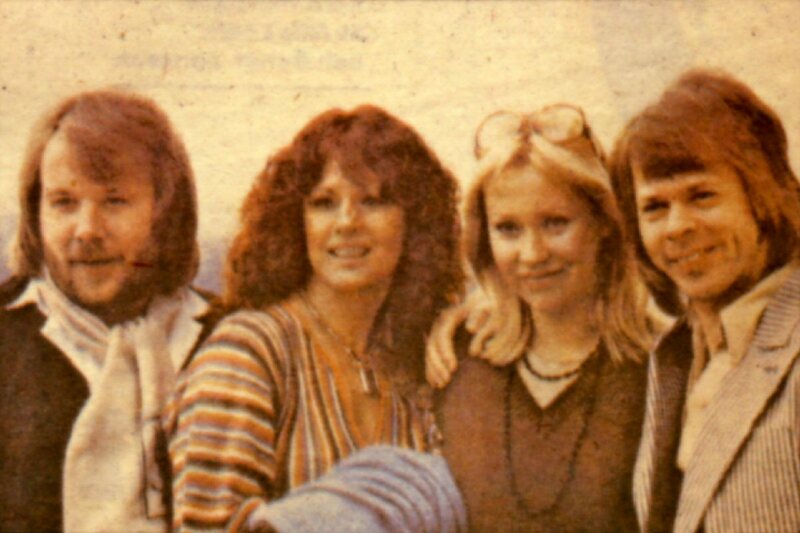 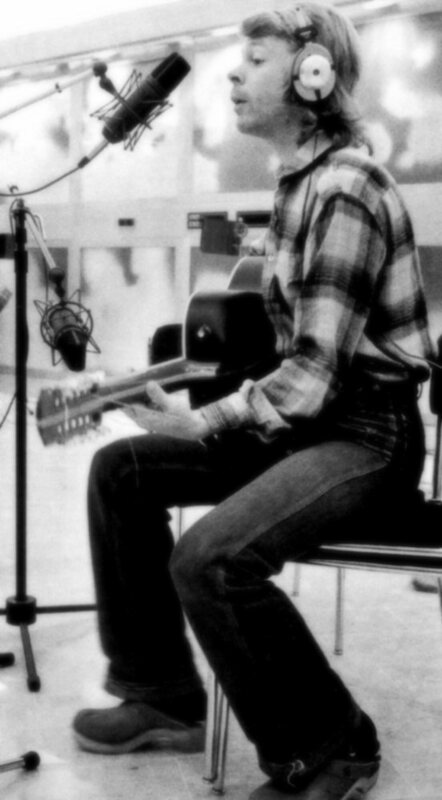 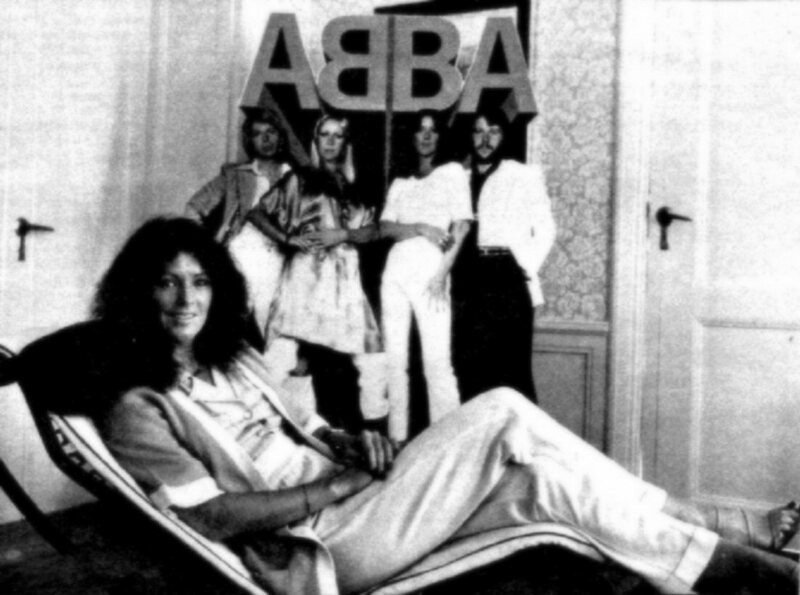 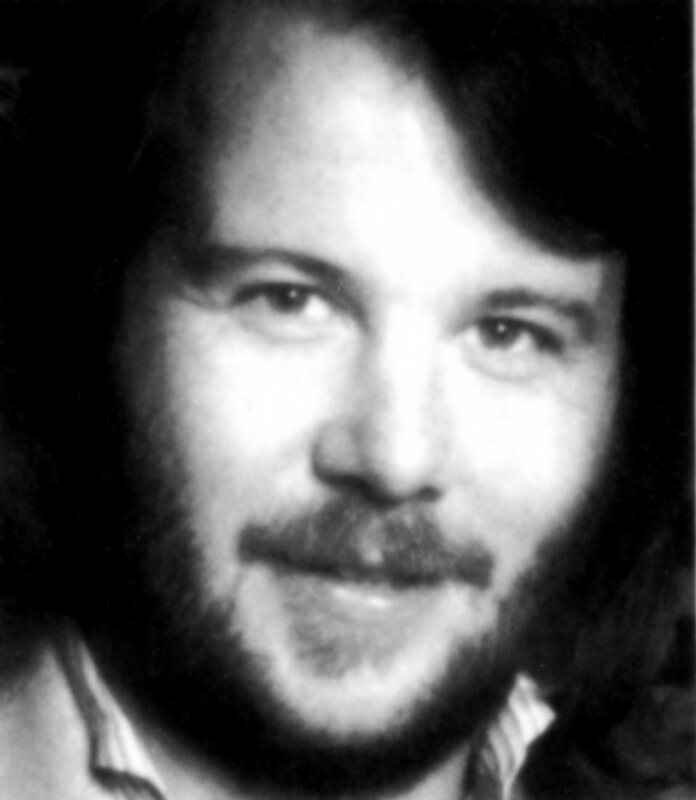 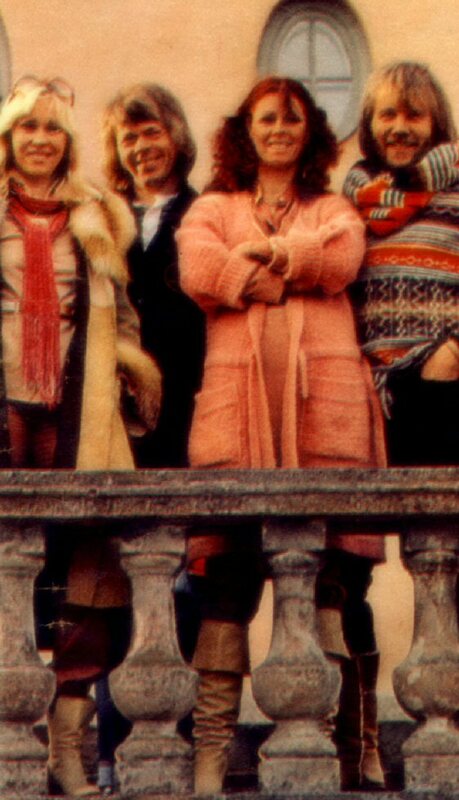 He met ABBA in Stockholm at Polar Music Studios someday in the middle of August (probably 17 or 18 as the group was working with the song "Just a Notion"). 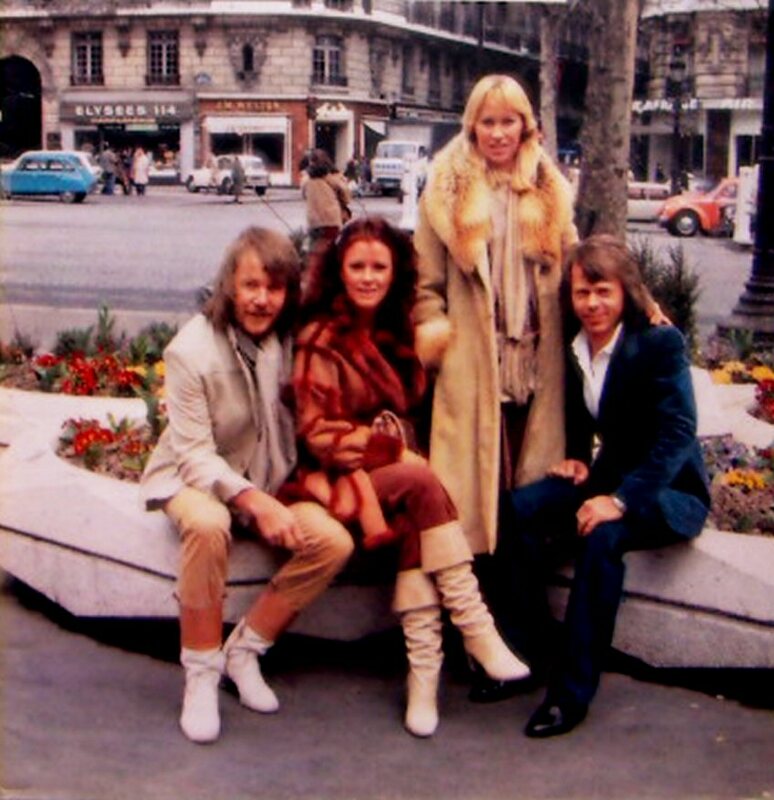 The album "Franck Pourcel plays ABBA" contained 11 ABBA songs and it was released later in 1978. 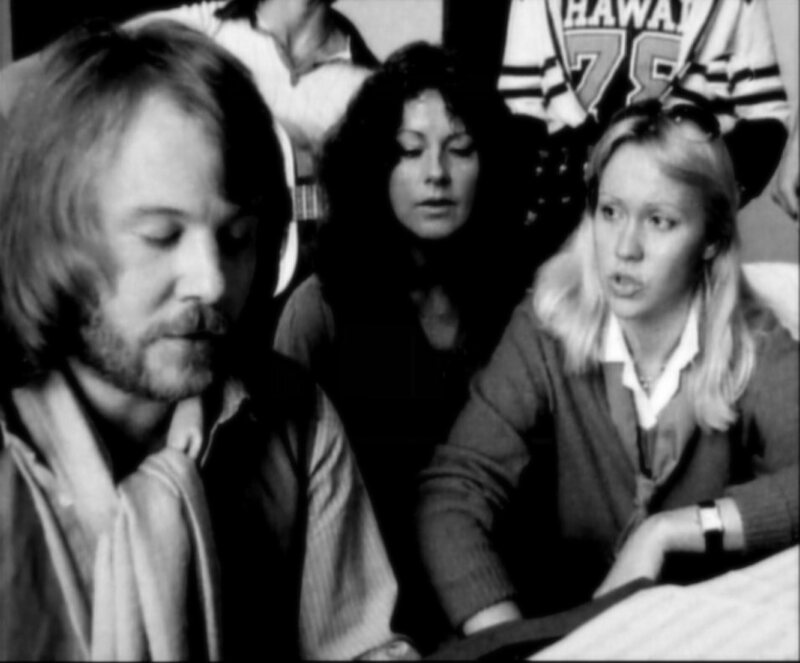 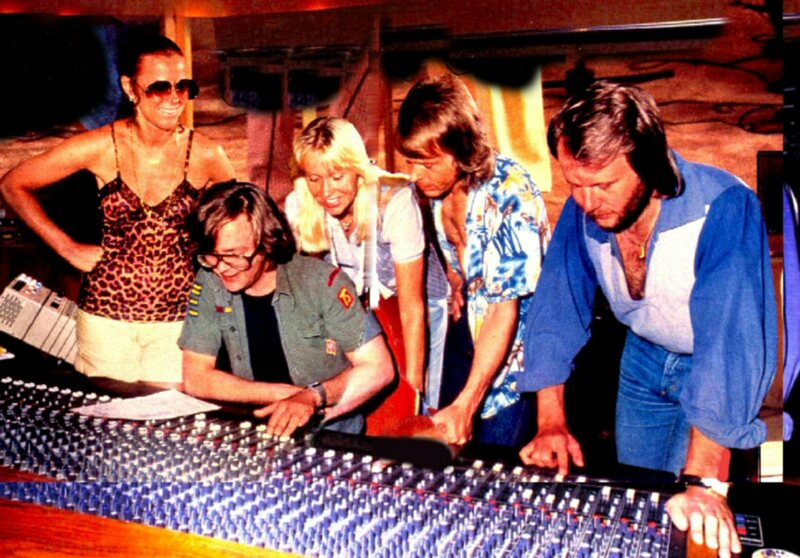 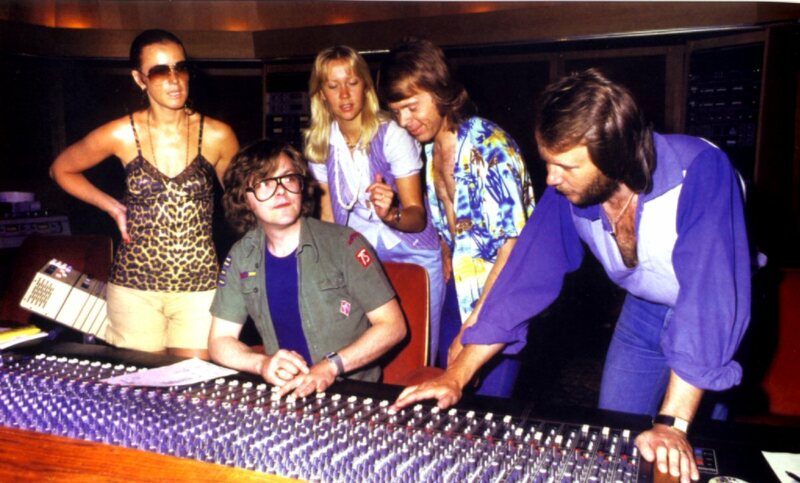 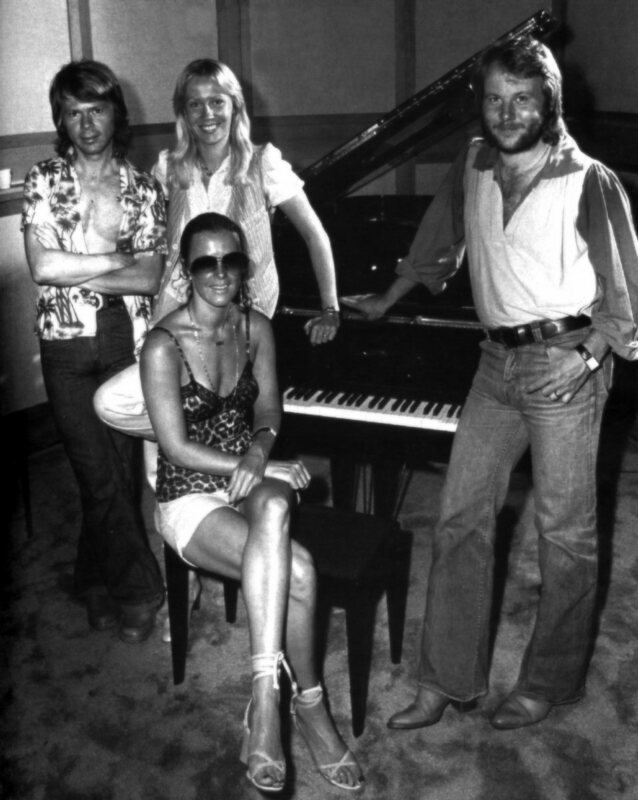 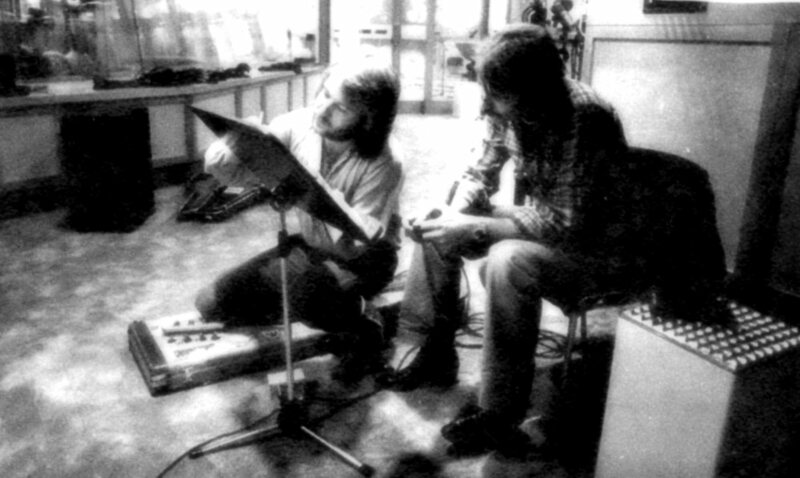 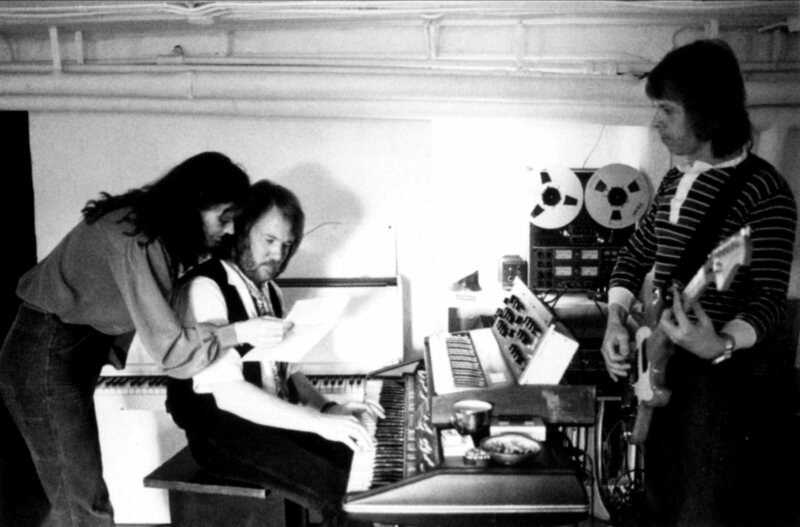 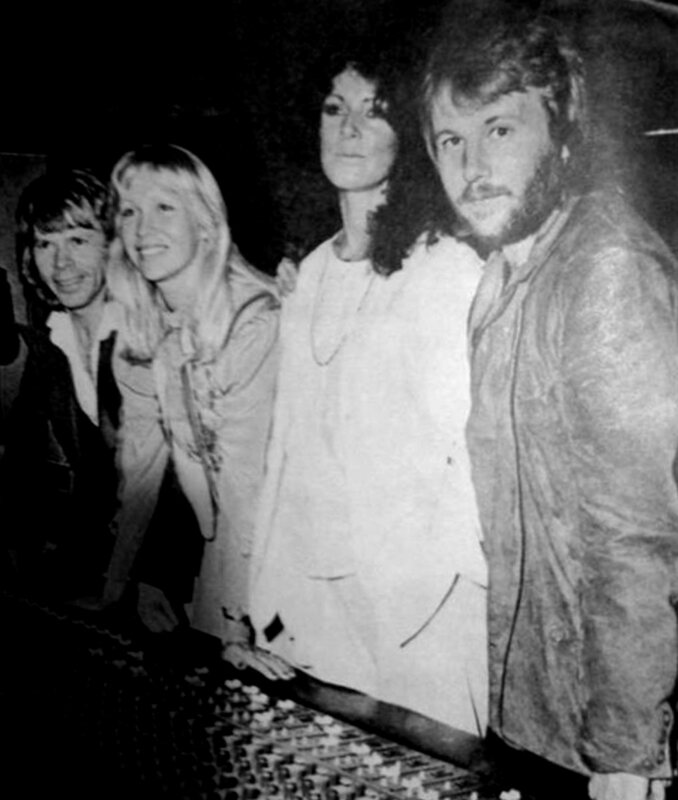 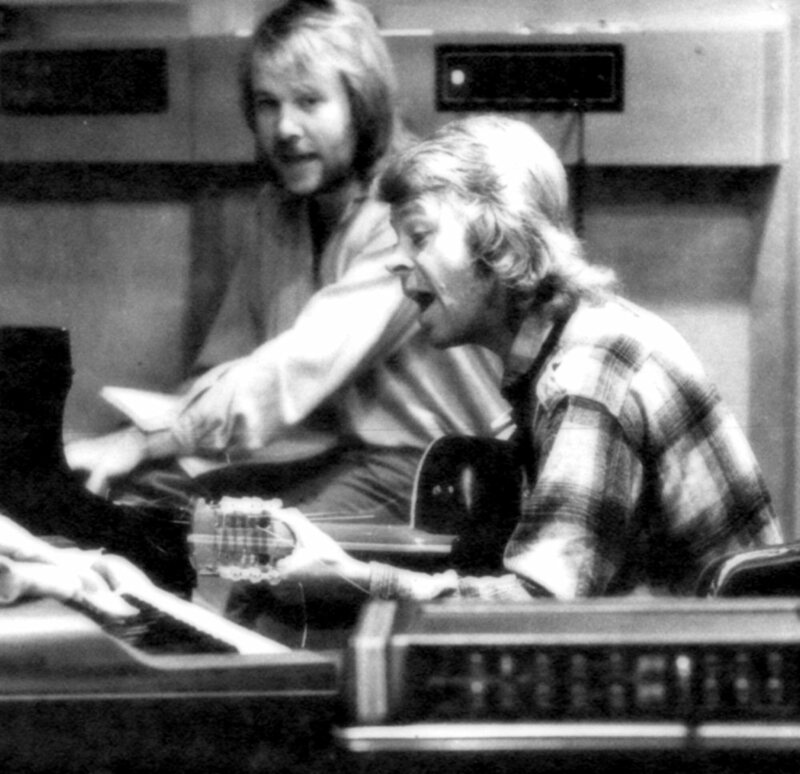 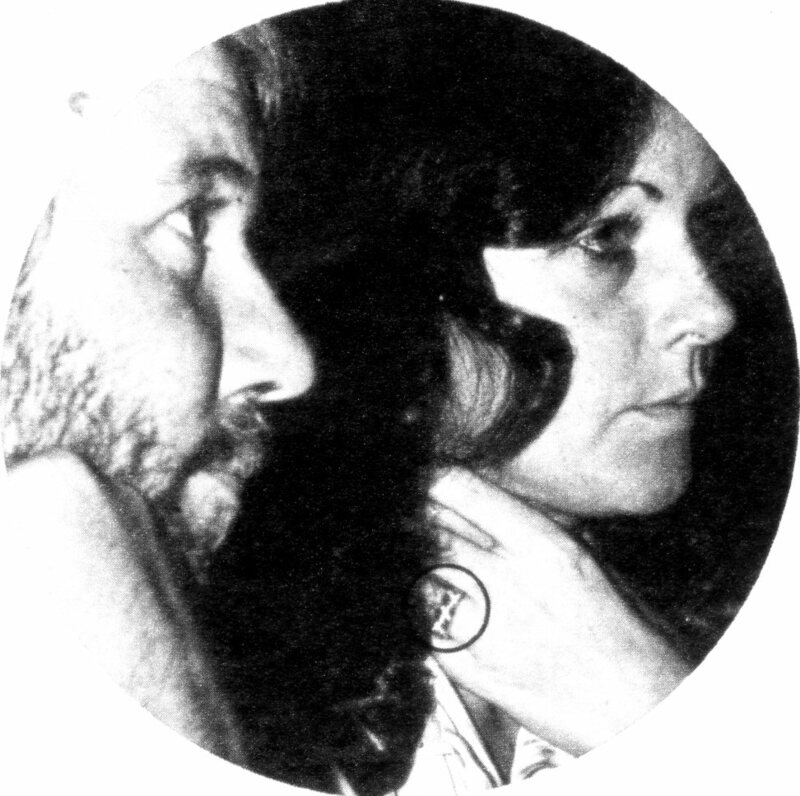 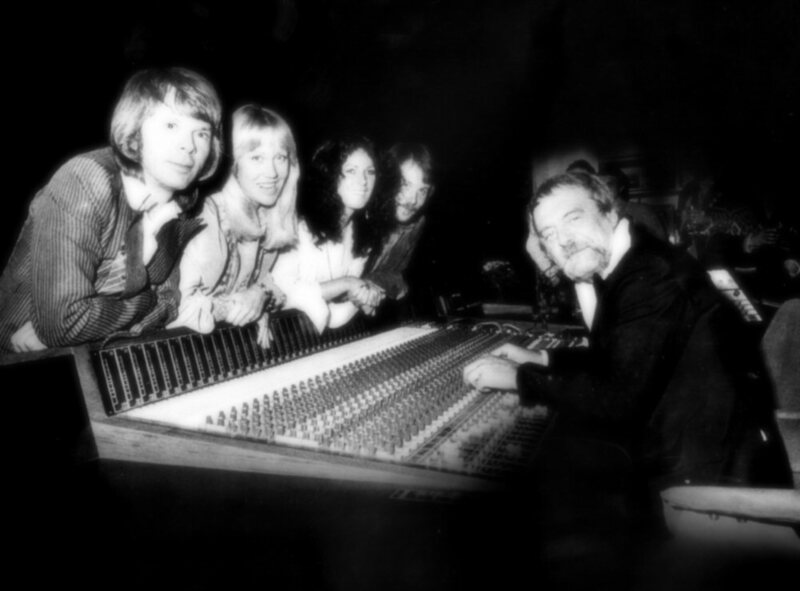 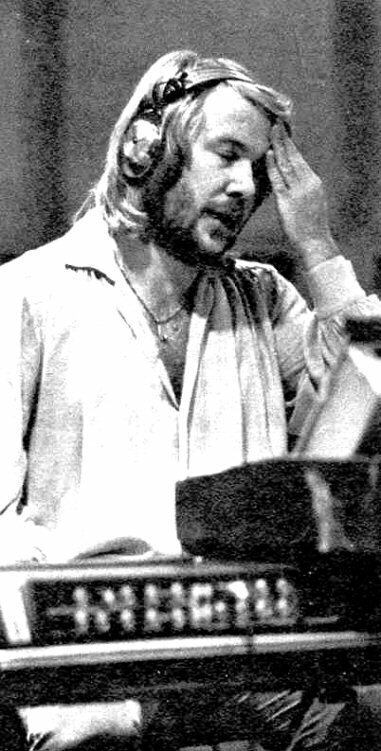 In August ABBA continued their recording sessions. 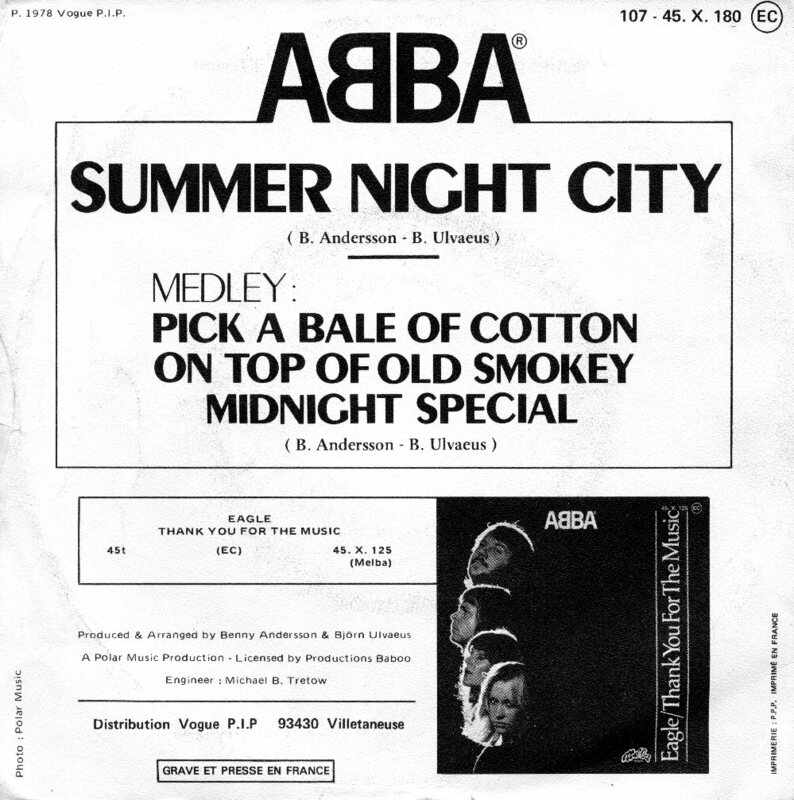 Several tracks were recorded among them "Summer Night City". 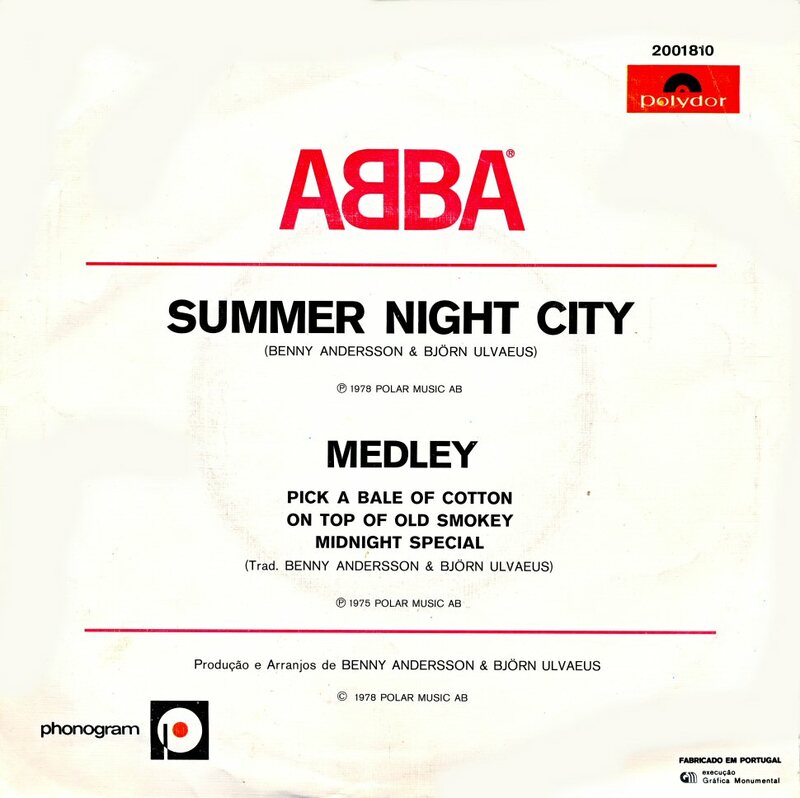 The single "Summer Night City"/"Medley" was released in Europe on September 6th, 1978. 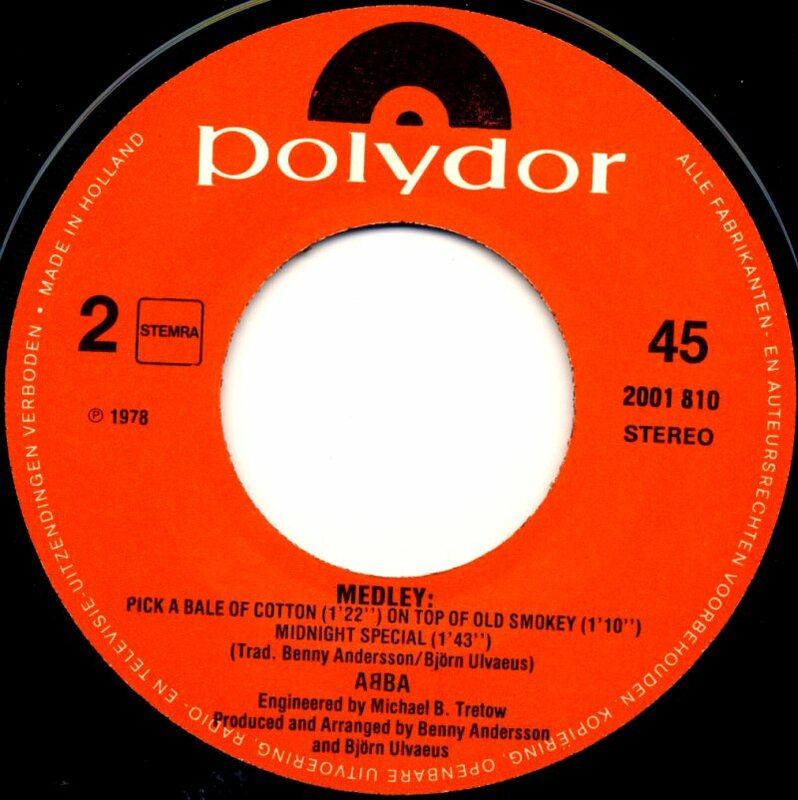 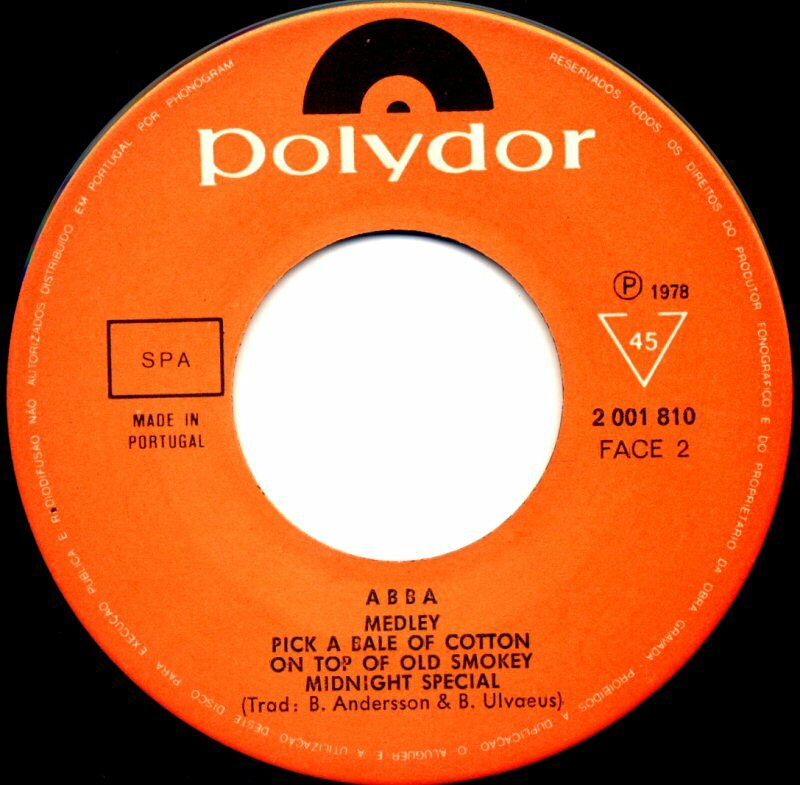 The B-side of the single featured "Medley" recorded for a German charity LP in 1975. 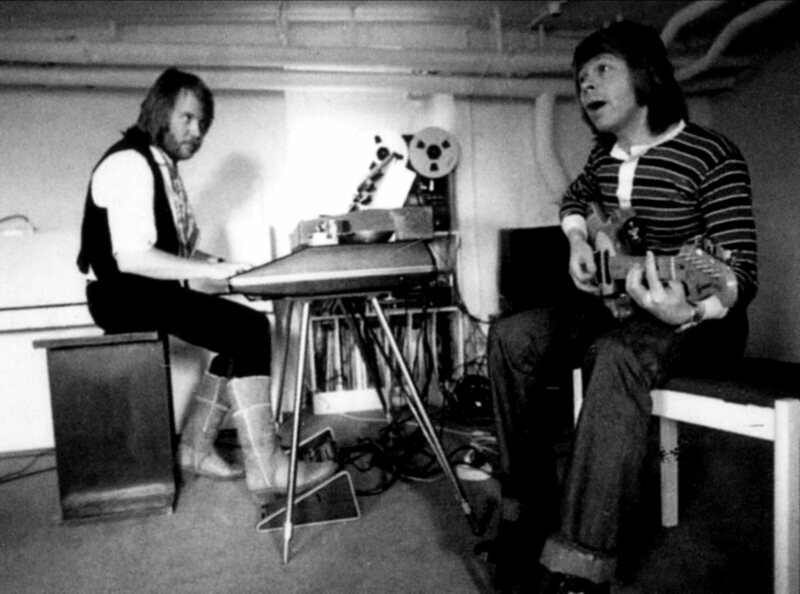 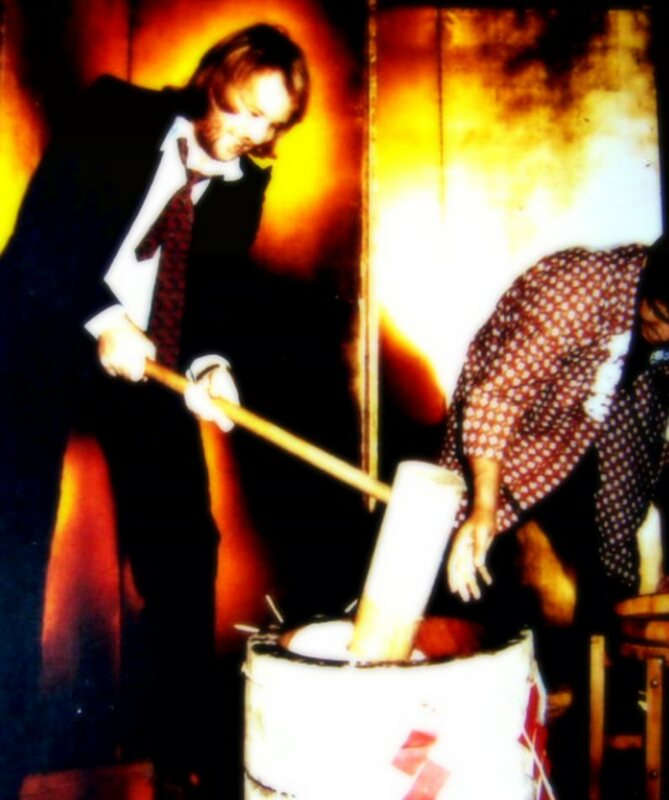 Björn and Benny did not have so much new stuff that could be released by the time of the single release. 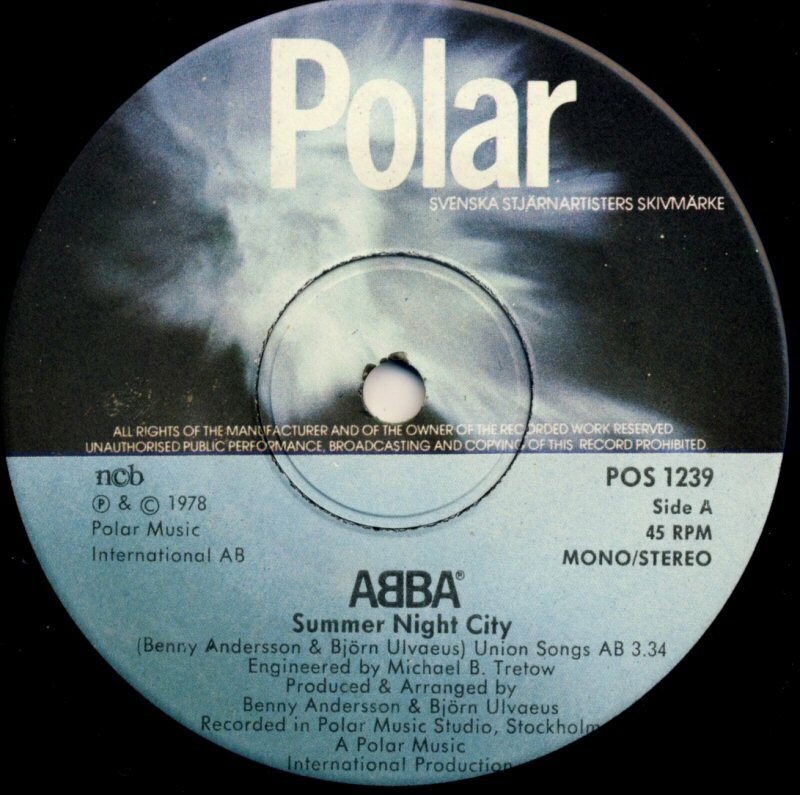 "Summer Night City" was the first song completed at the Polar Music Studios in Stockholm which opened in May 1978. 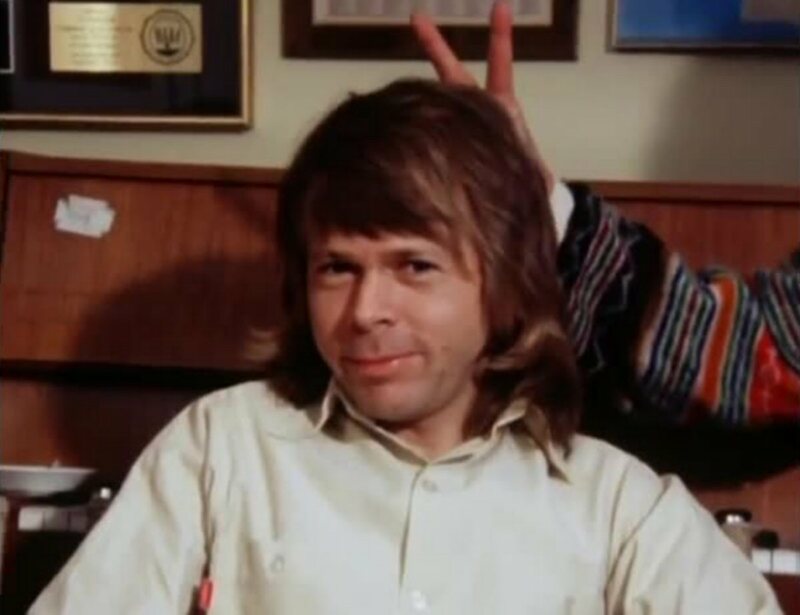 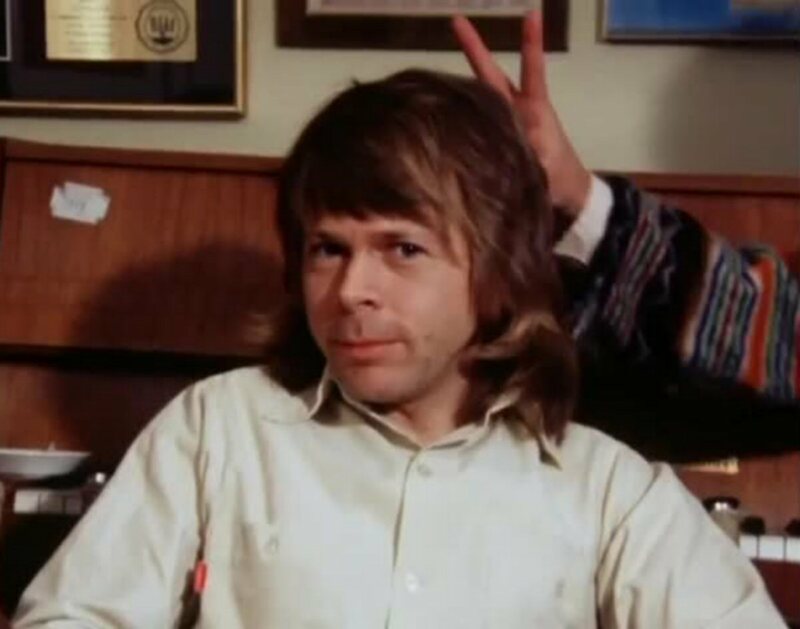 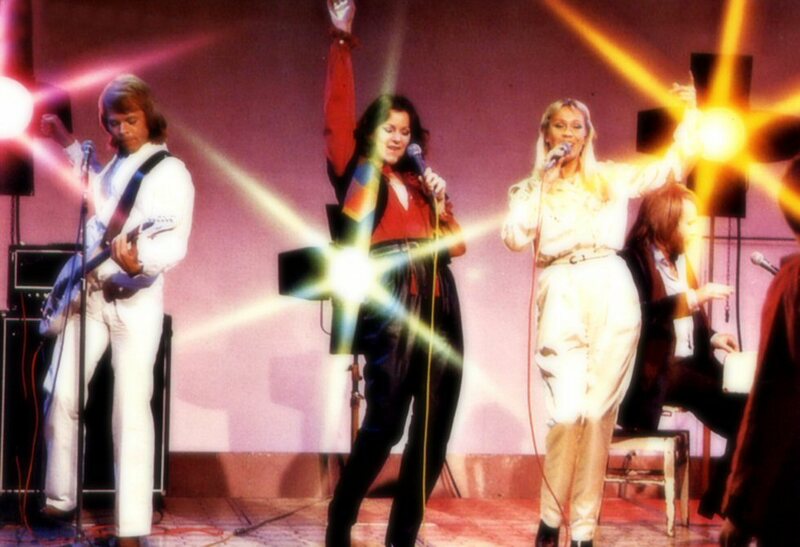 The song was originally meant to be included on the forthcoming album "Voulez-Vous" but Björn, Benny and Michael B. Tretow were not quite happy with the result even if they had tried to mix the song in 50 different ways. 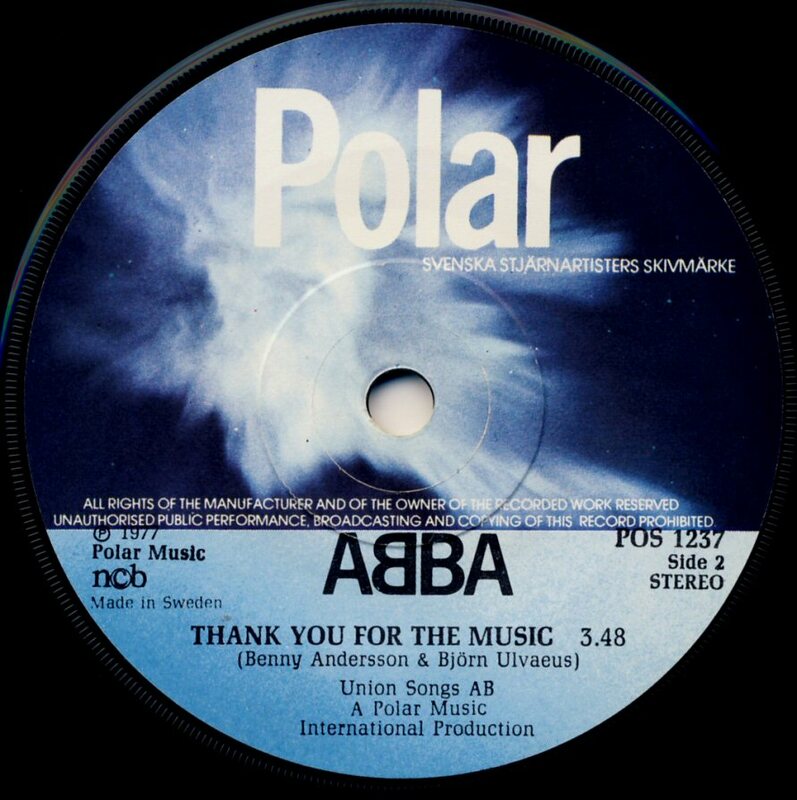 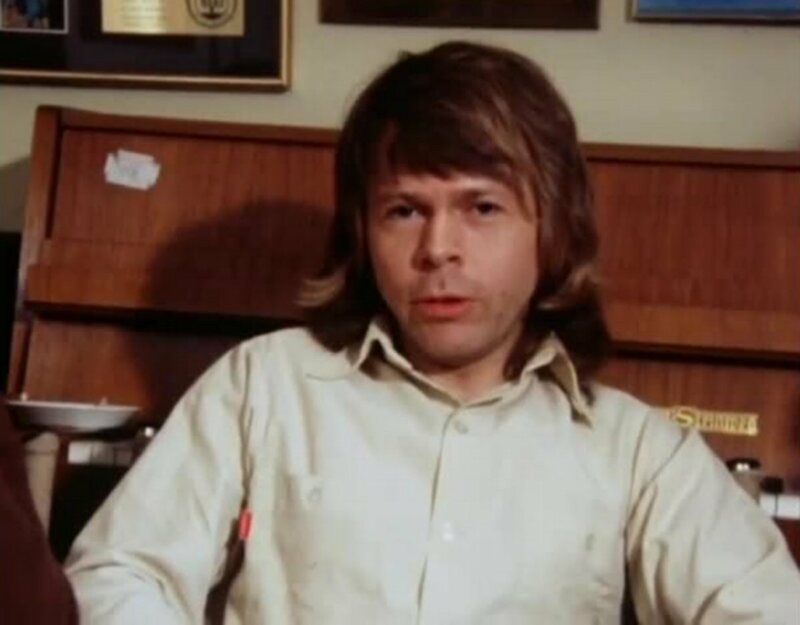 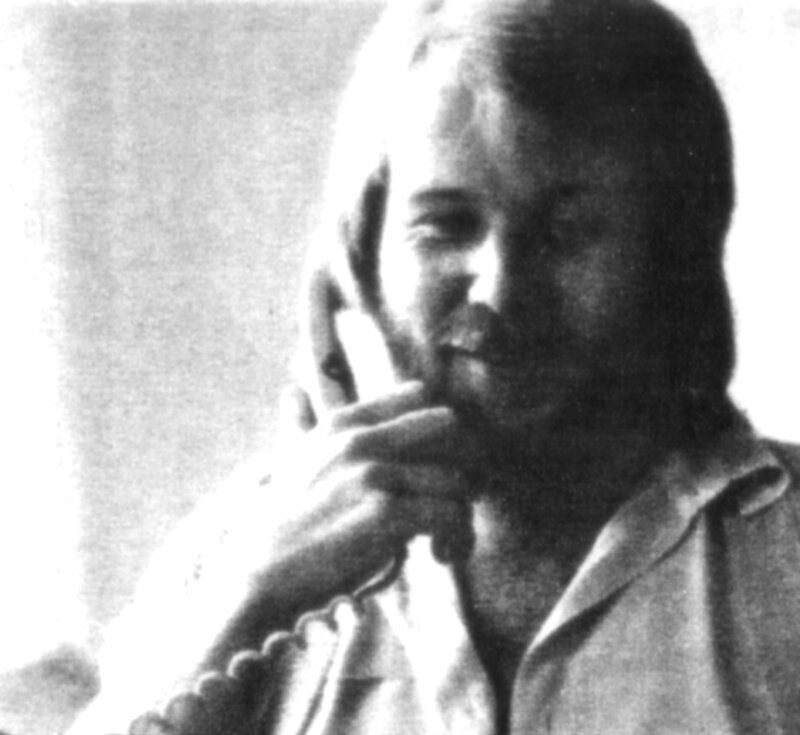 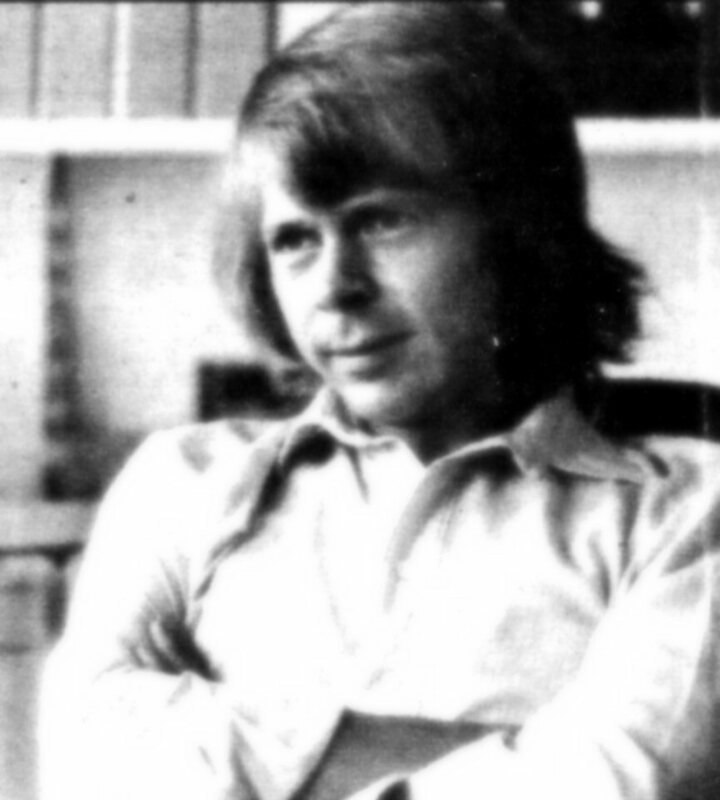 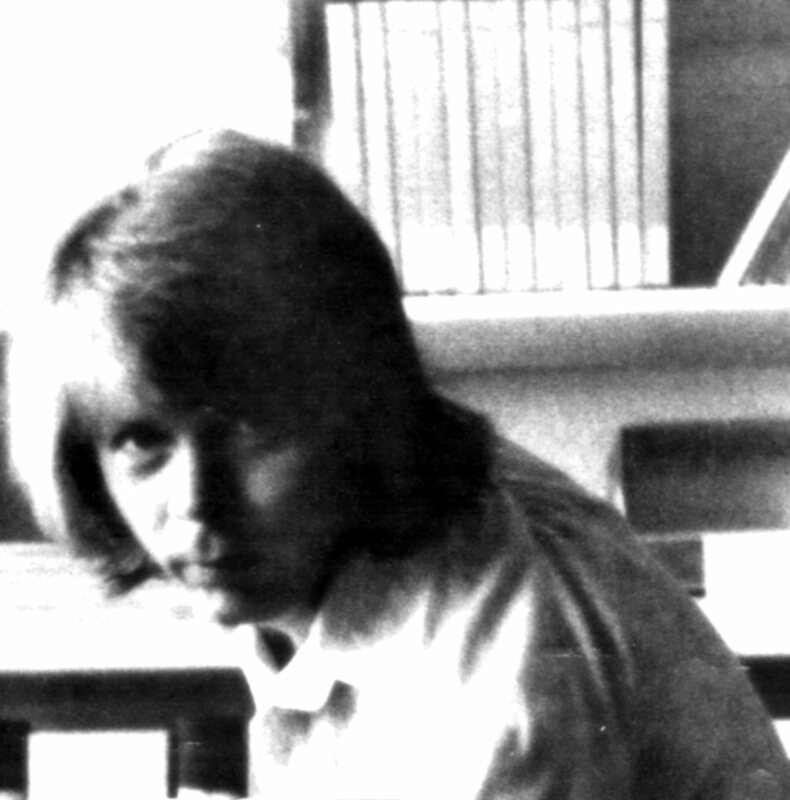 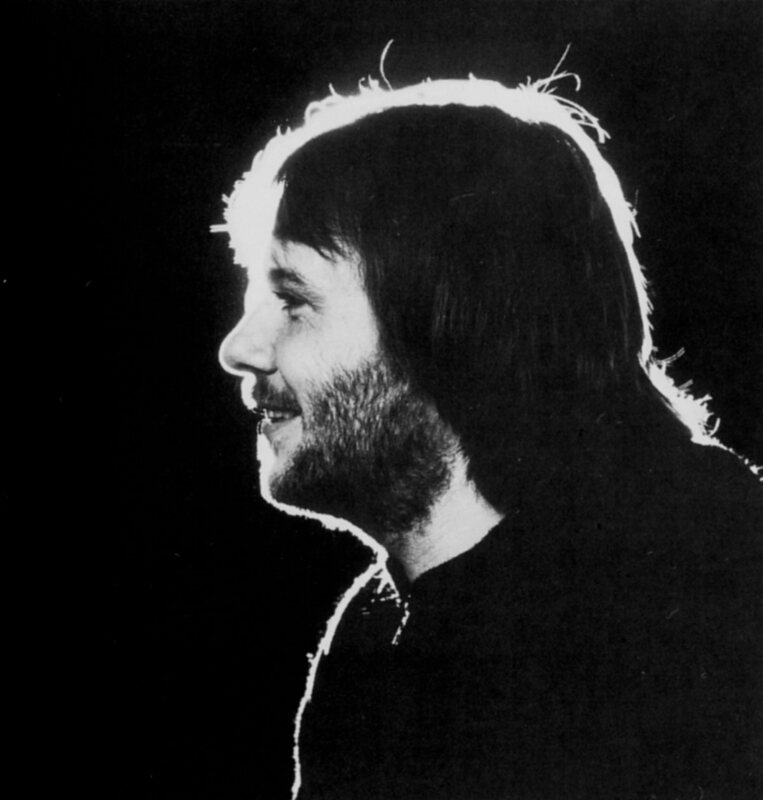 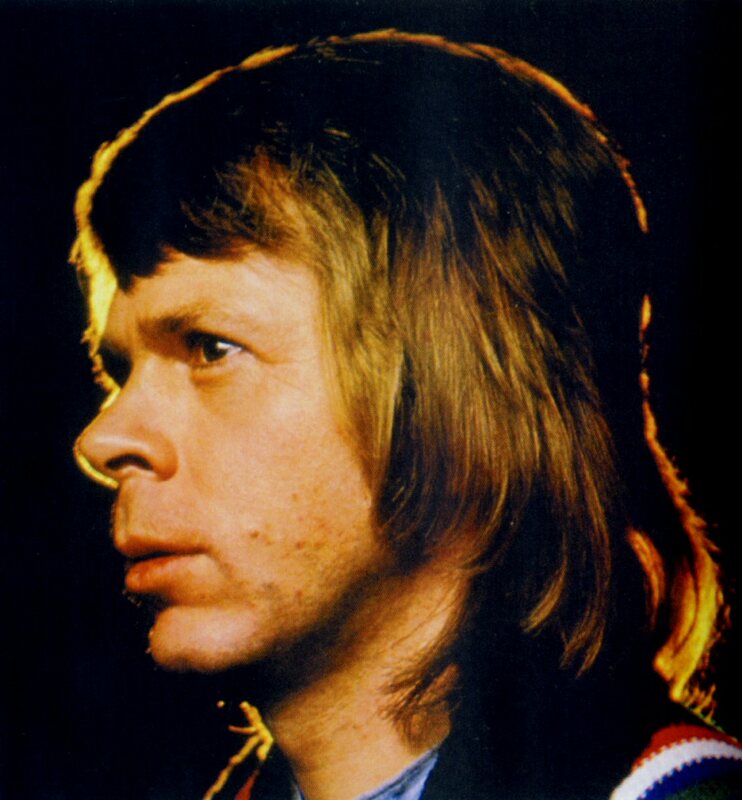 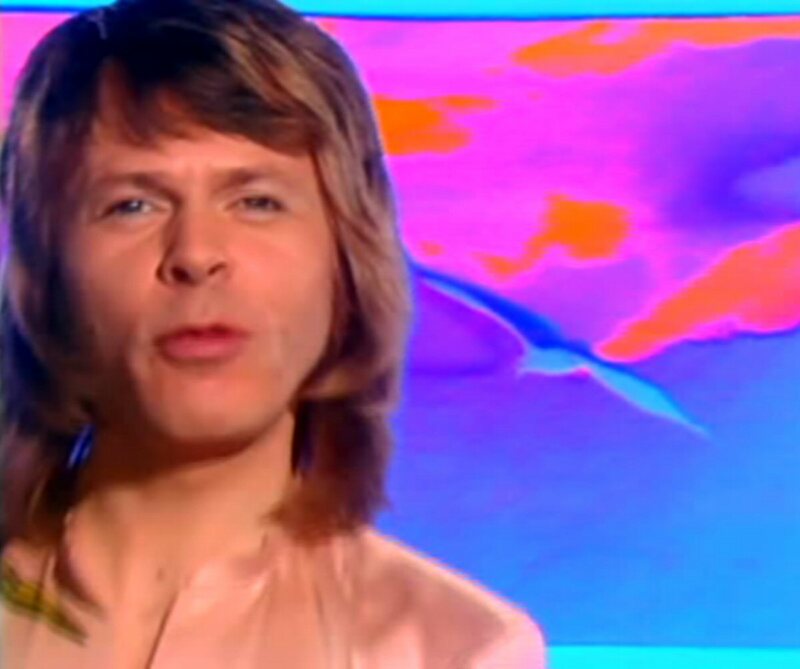 A 45-second-long introduction singing by Björn was finally cut out from the final version. 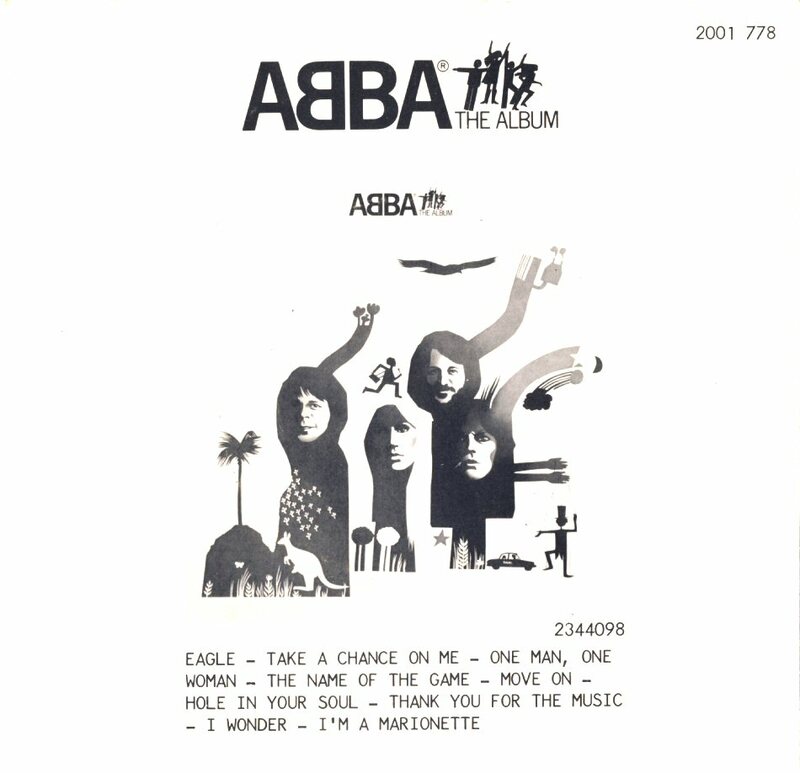 The cover was the same in all countries. 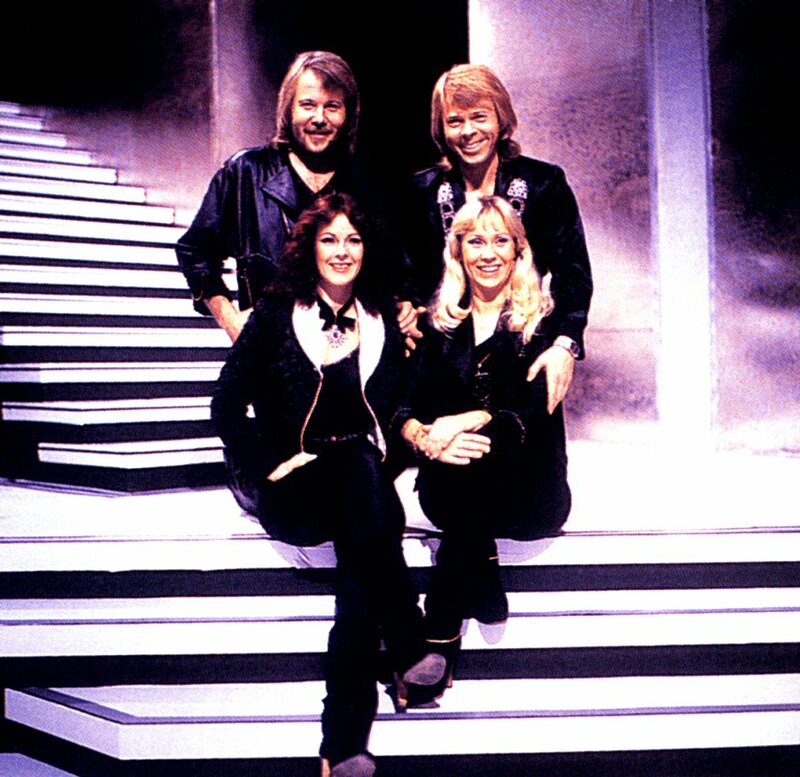 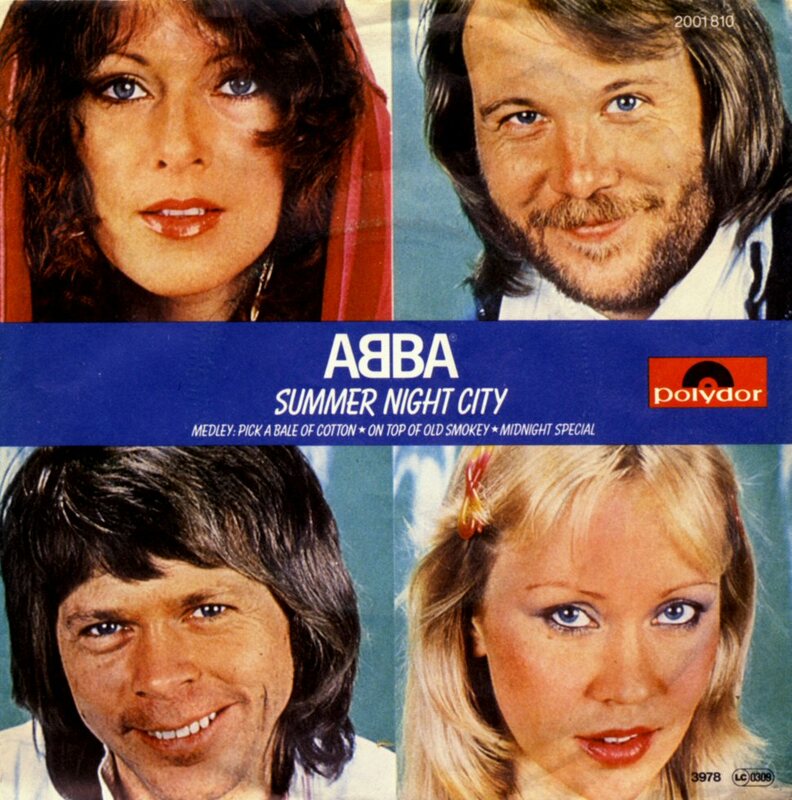 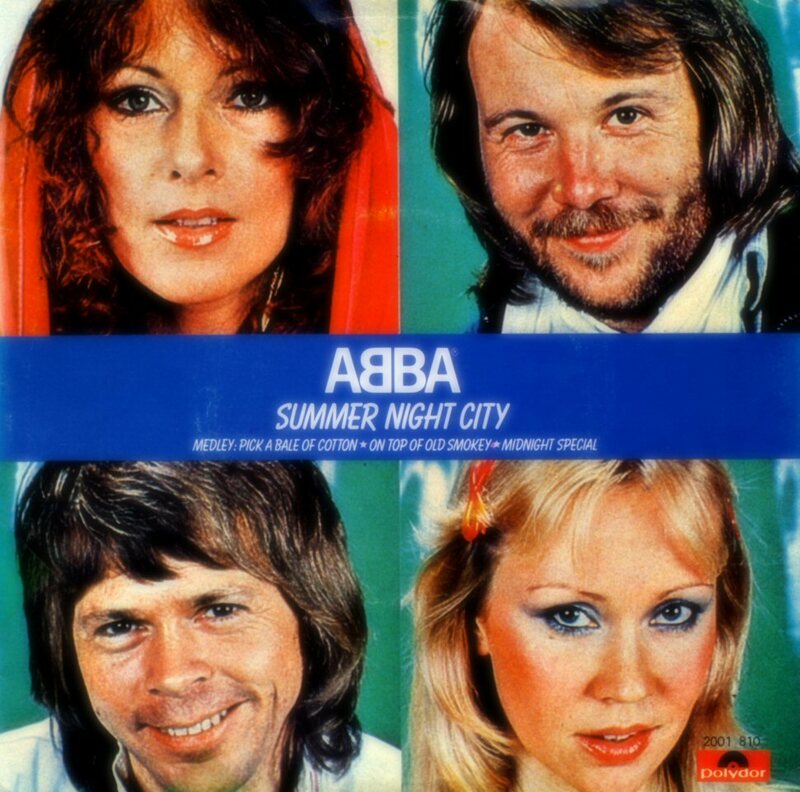 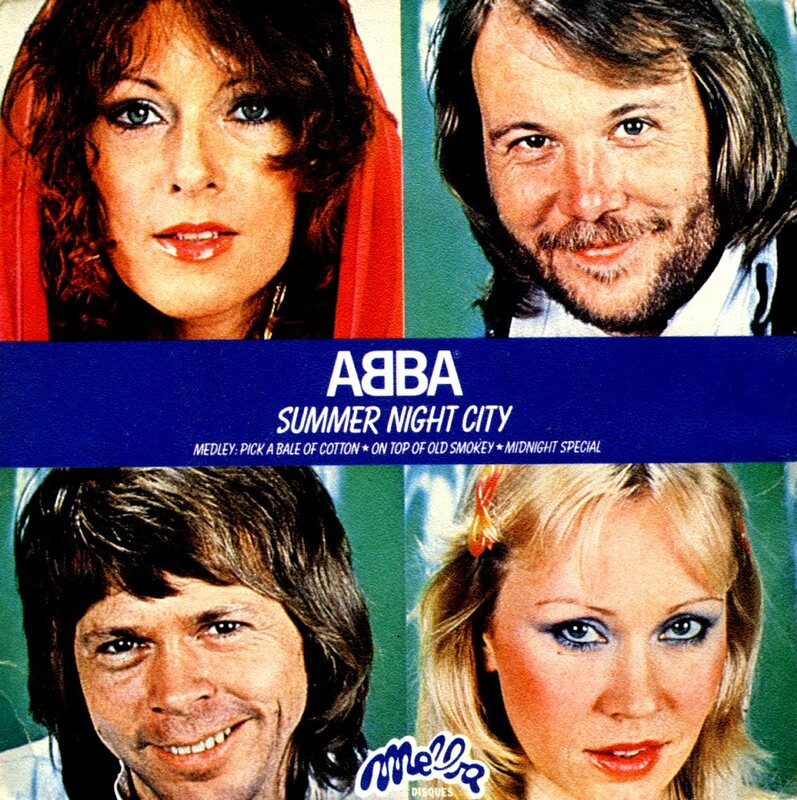 "Summer Night City" became ABBA's non-album track but it was included on the band's official compilation "Greatest Hits Vol. 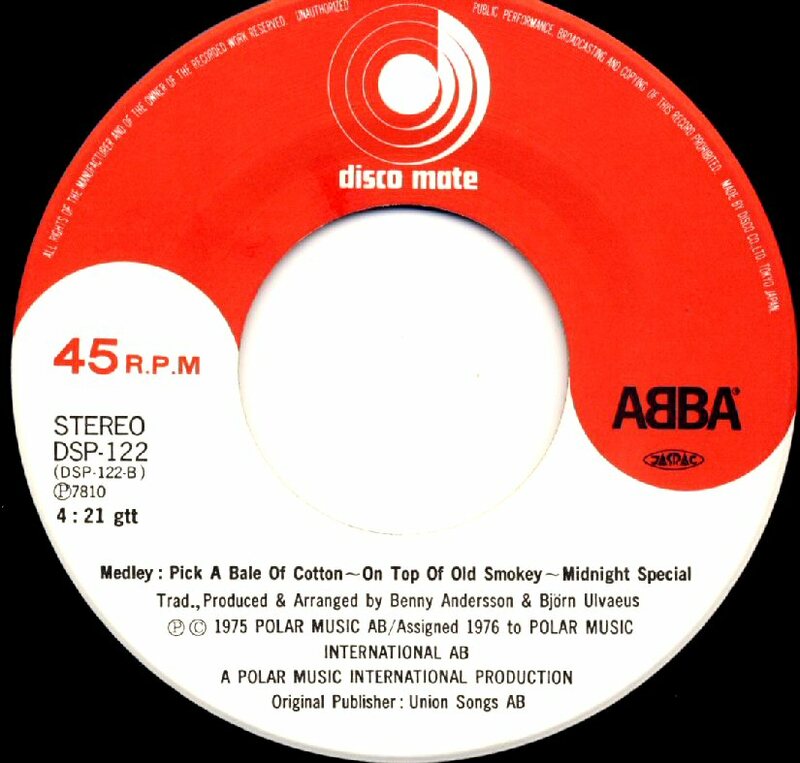 2" released in autumn 1979. 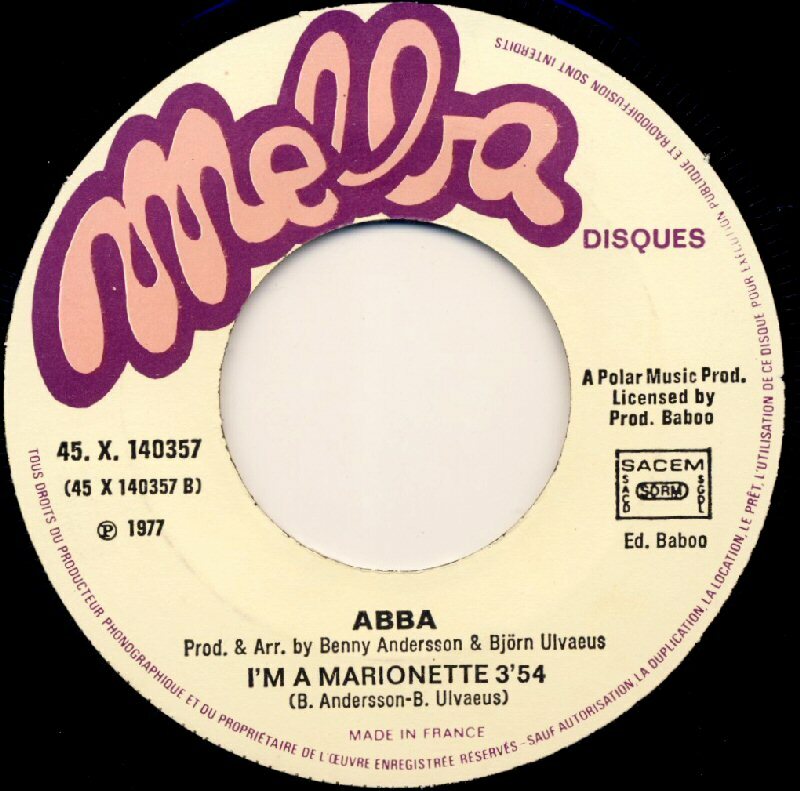 The single entered the Swedish chart on September 22nd, 1978 and it stayed there for 20 weeks reaching #1. 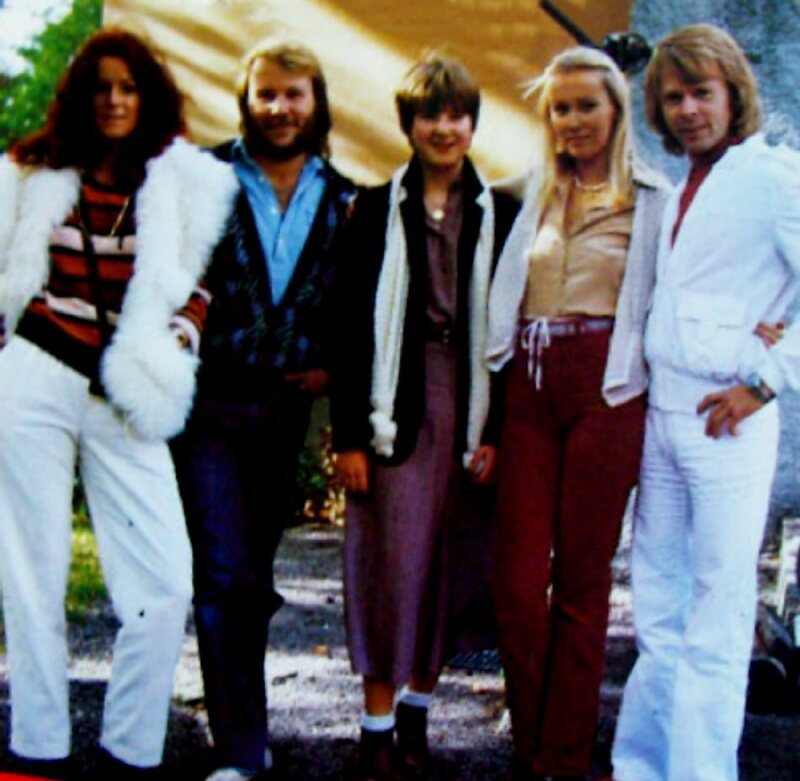 Even in Finland and Ireland the single topped the charts. In the UK it entered the chart on 16 September and it stayed there for 9 weeks reaching #5. 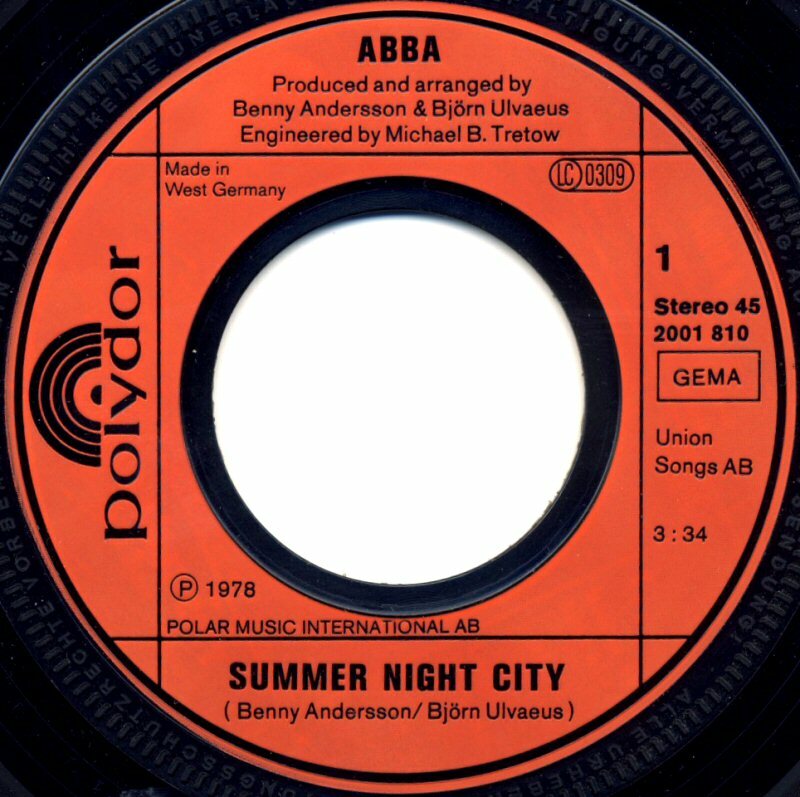 "Summer Night City" on the UK chart: 16 Sep #21, 23 Sep #7, 30 Sep #8, 7 Oct #5, 14 Oct #12, 21 Oct #20, 28 Oct # 34. 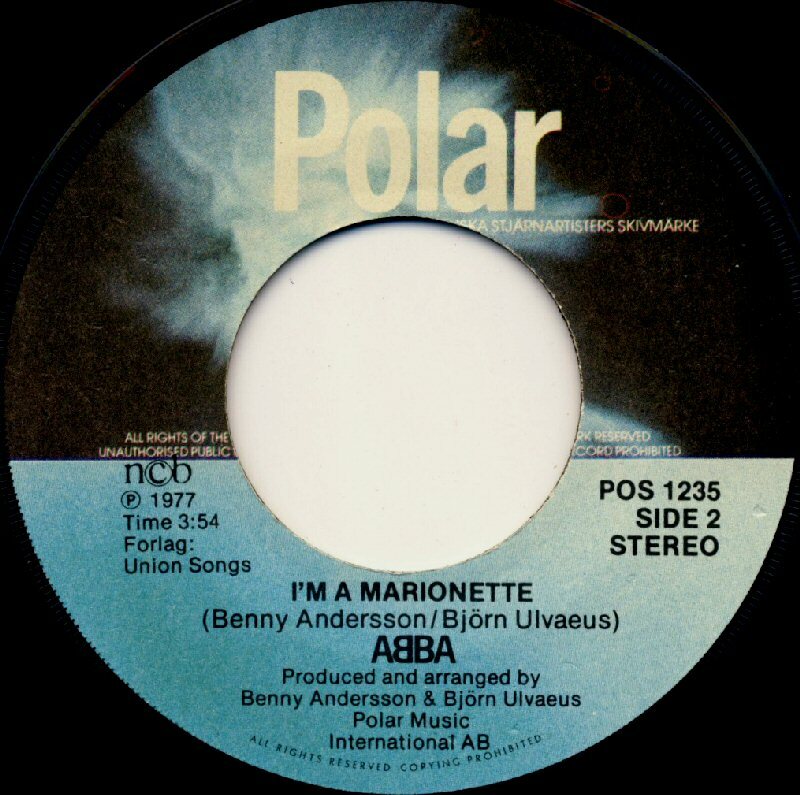 In West Germany the single debuted on the chart on September 25th, 1978 and stayed there for coming 18 weeks reaching #6. 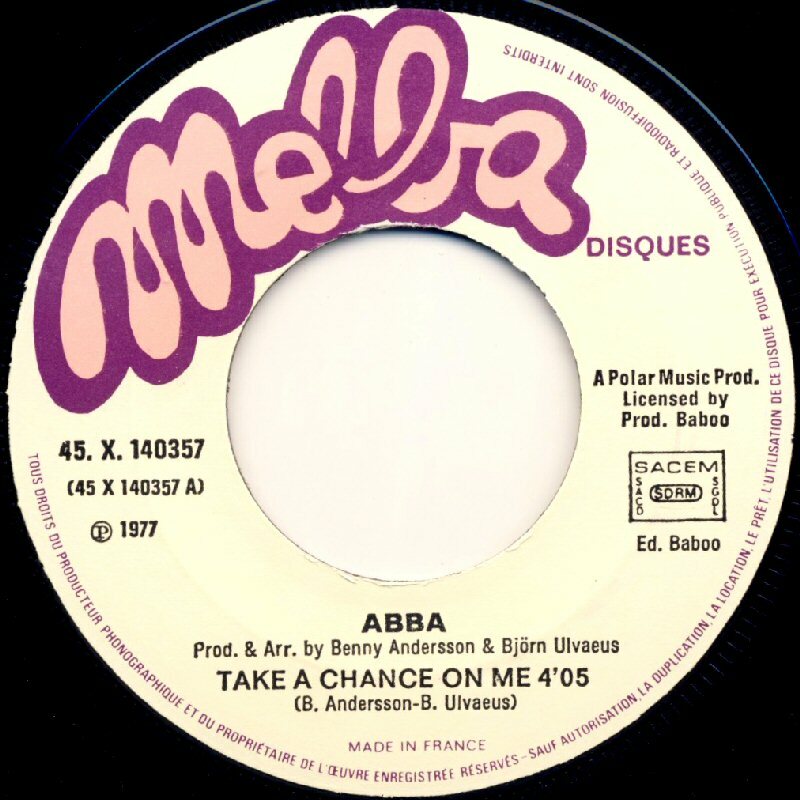 In Holland the single was 9 weeks on the chart reaching #5, in Belgium #2. 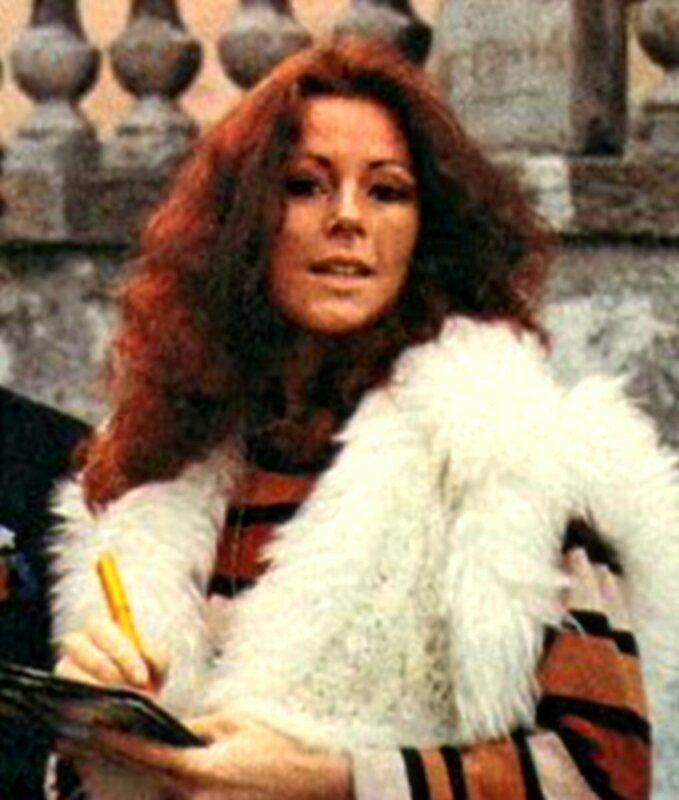 The single was not successful in Spain, Portugal, Italy. 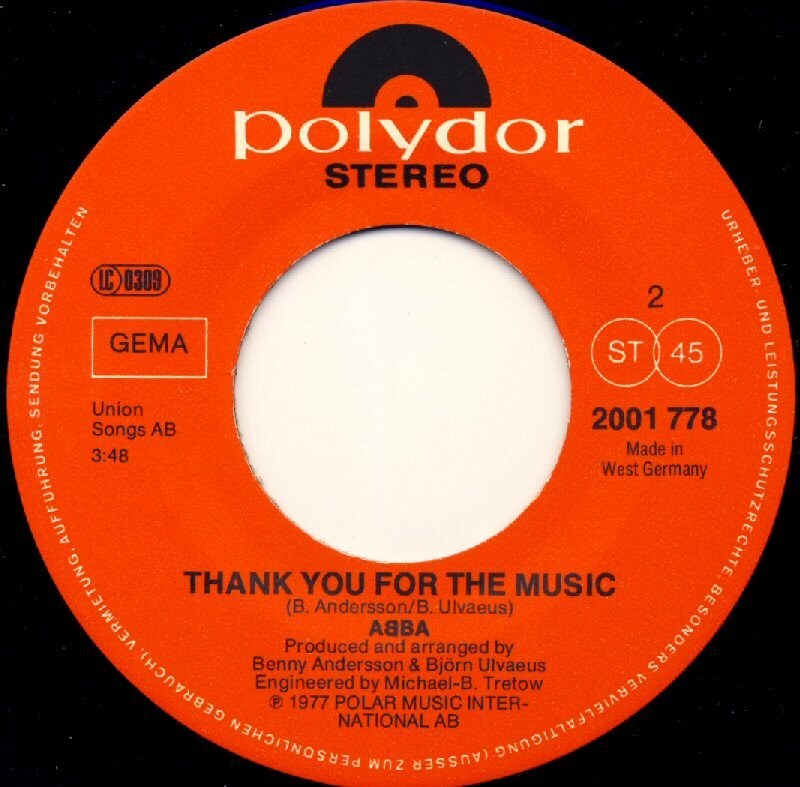 In Austria it reached #18 and in Switzerland #5. 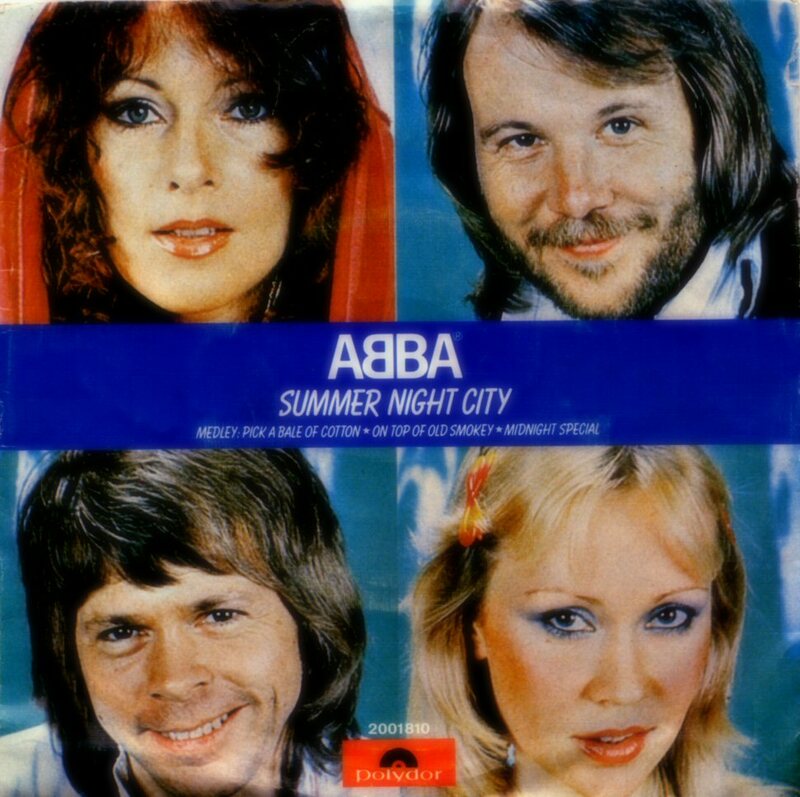 The single was not released in USA but in Mexico "Summer Night City" became #10. 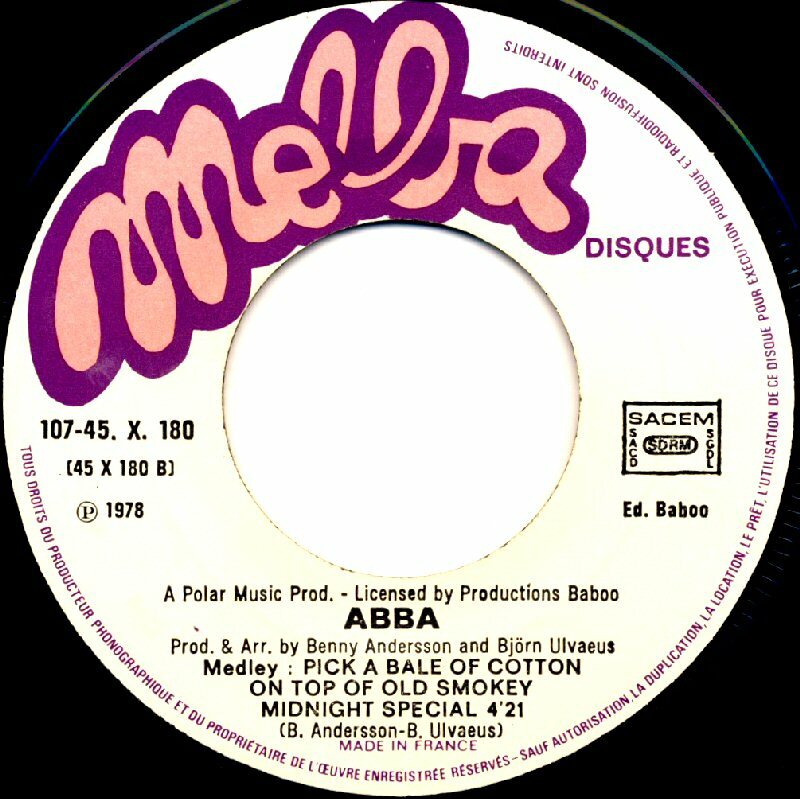 Canada waited with release of the single until February 1979. 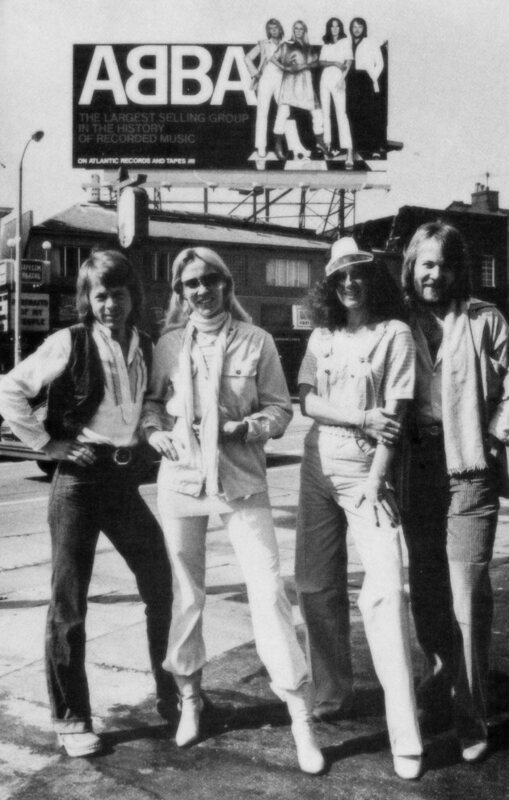 It stayed on the Canadian chart 4 weeks reaching no 34. 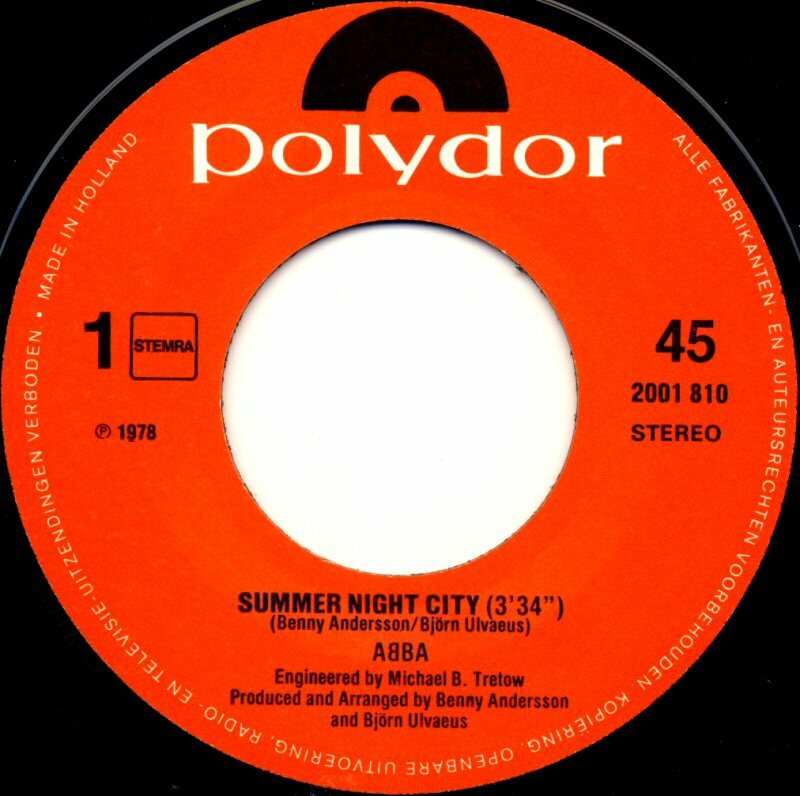 In France "Summer Night City" entered the chart in November 1978 and stayed there for 9 weeks peaking at #15. 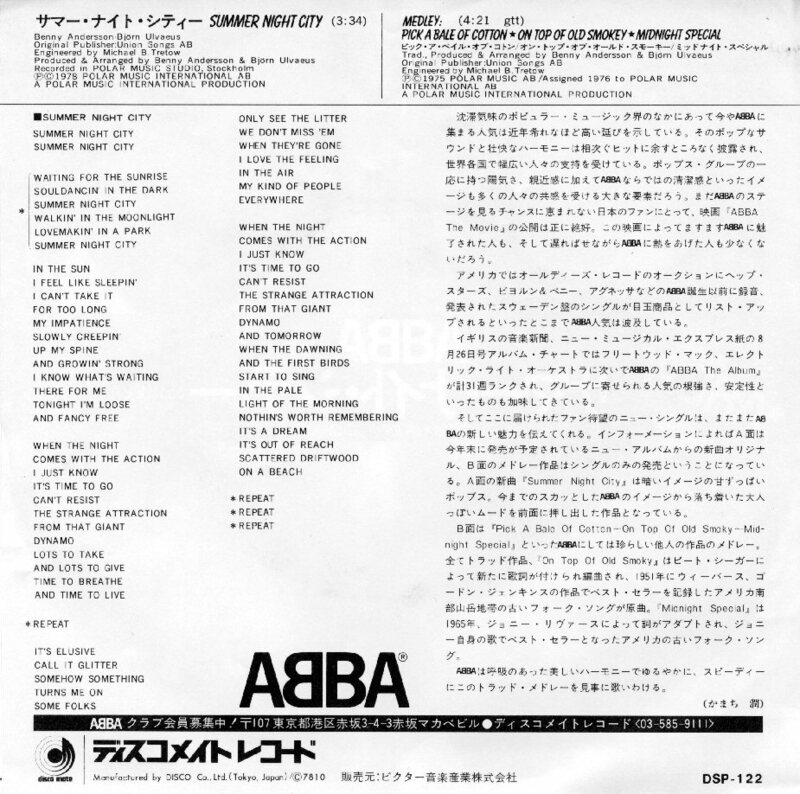 In Japan "Summer Night City" entered the single chart at the beginning of October about one month before the group's arrival to the country on their promotional trip. 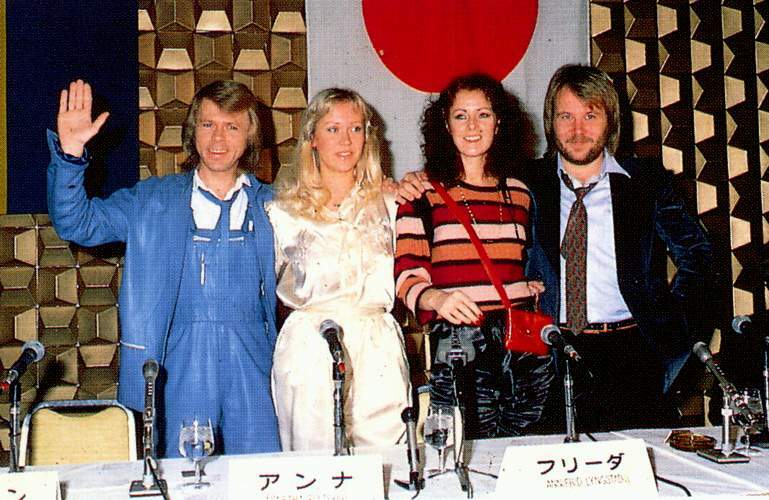 Even if the single reached only #24 on the Japanese hit list it stayed there for whole 26 weeks and became the third best selling ABBA single in Japan. 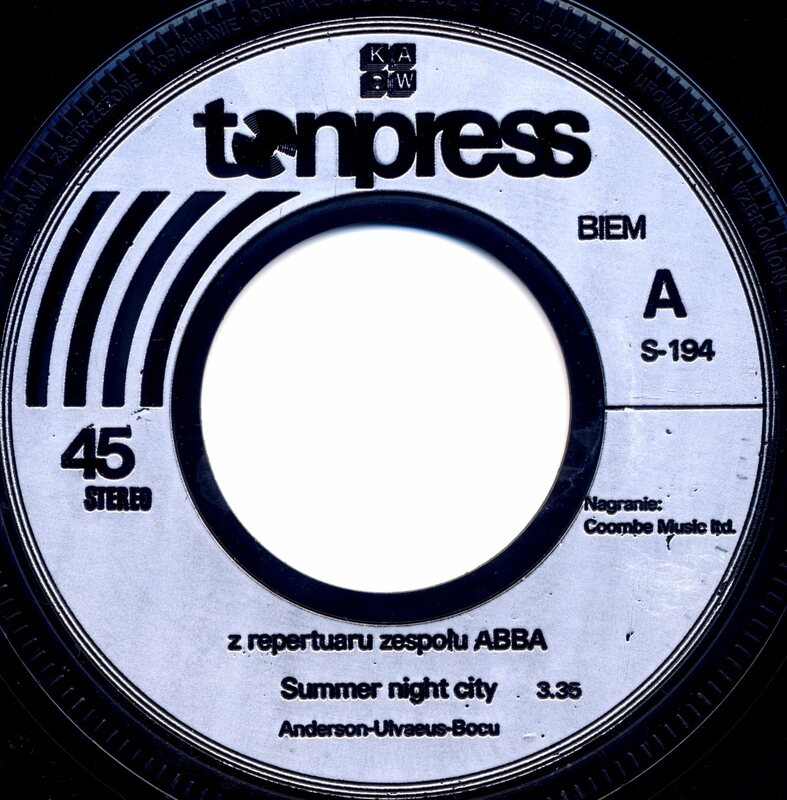 "Summer Night City" was released as a limited edition single in Poland. 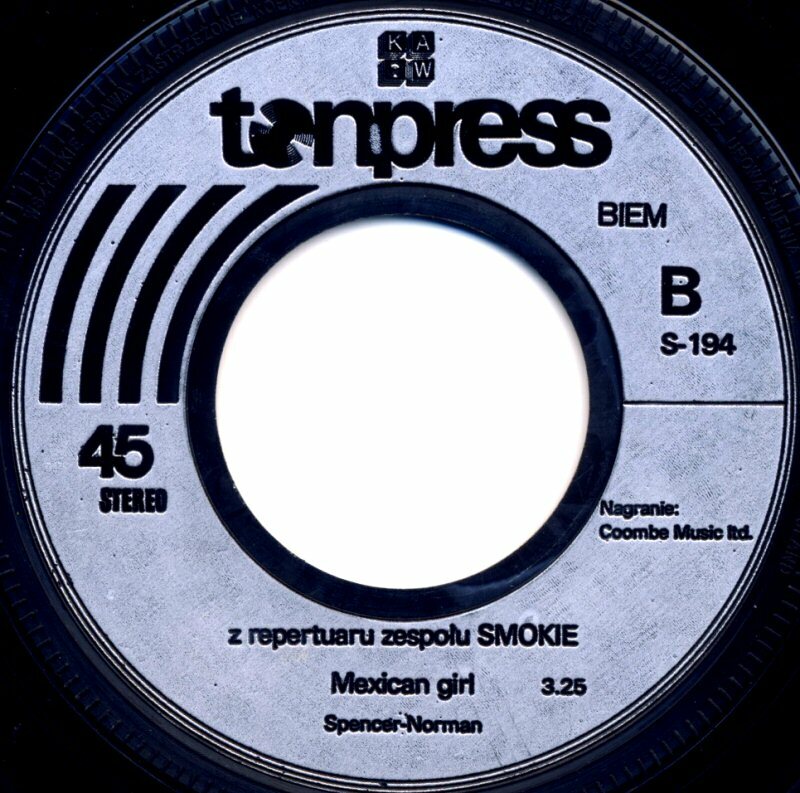 Surprisingly the B side featured "Mexican Girl" performed by Smokie. 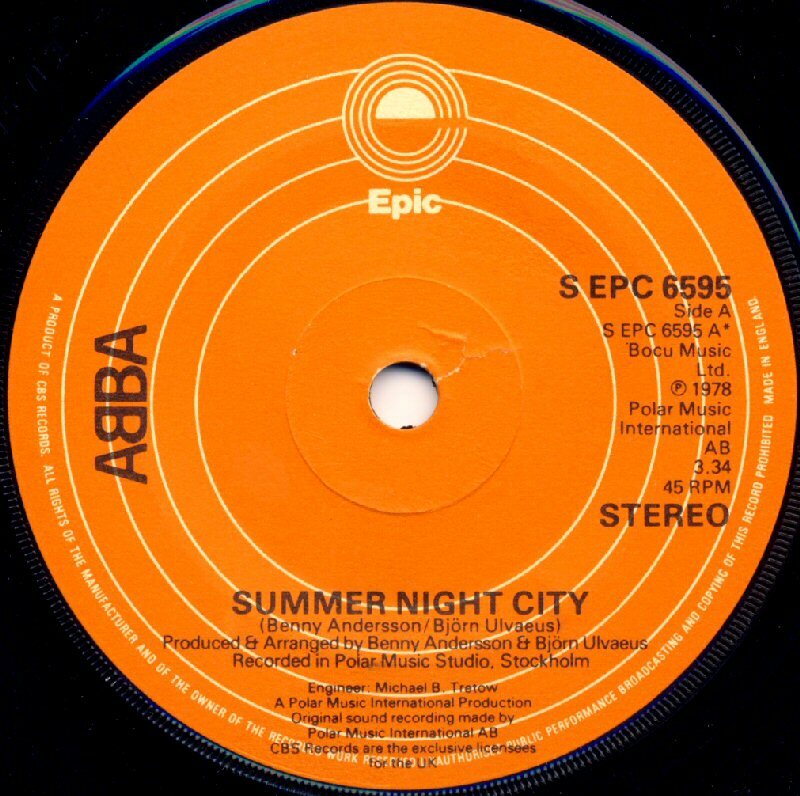 The video Summer Night City was filmed on different spots in Stockholm. 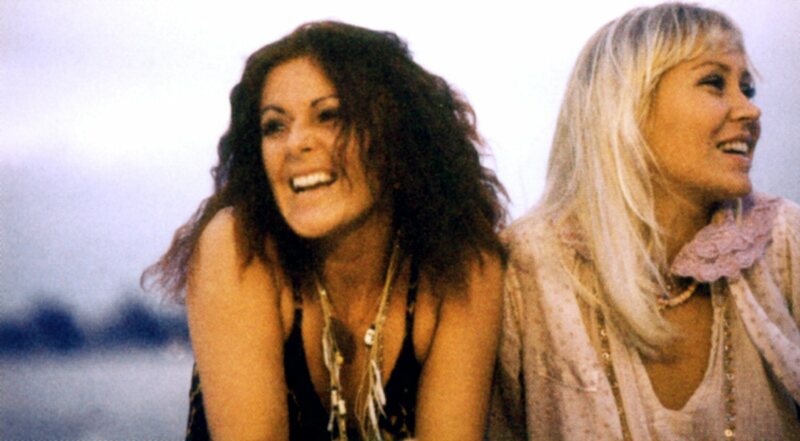 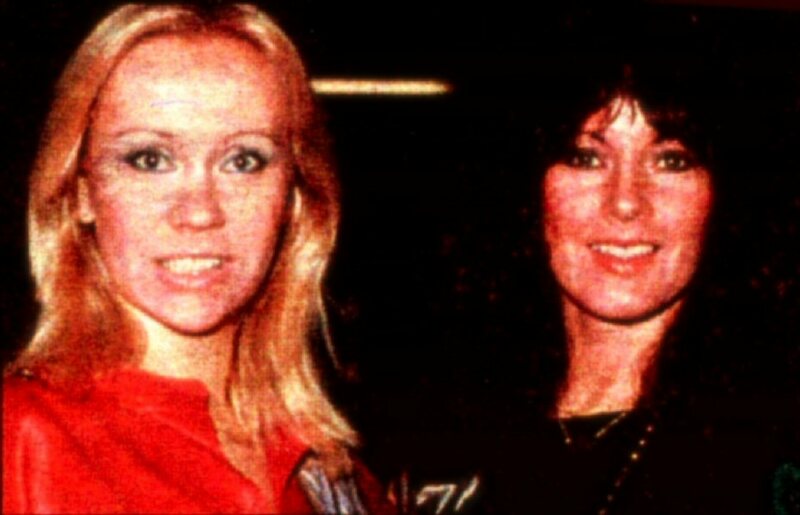 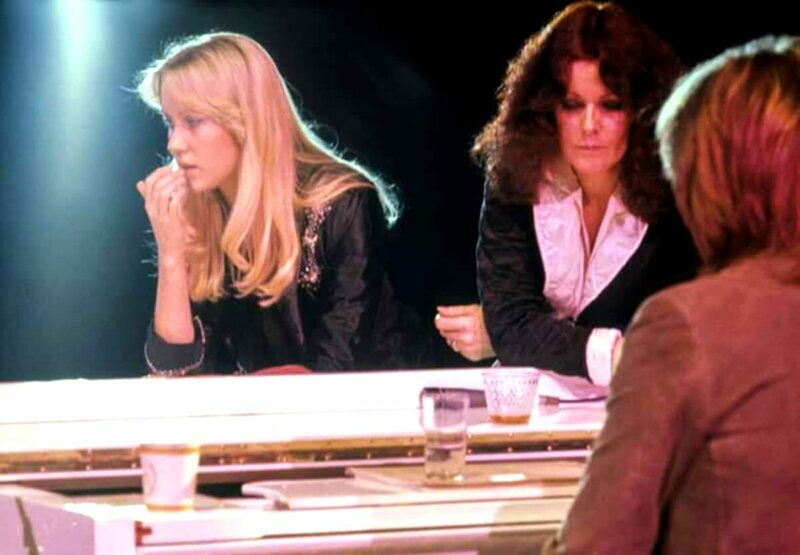 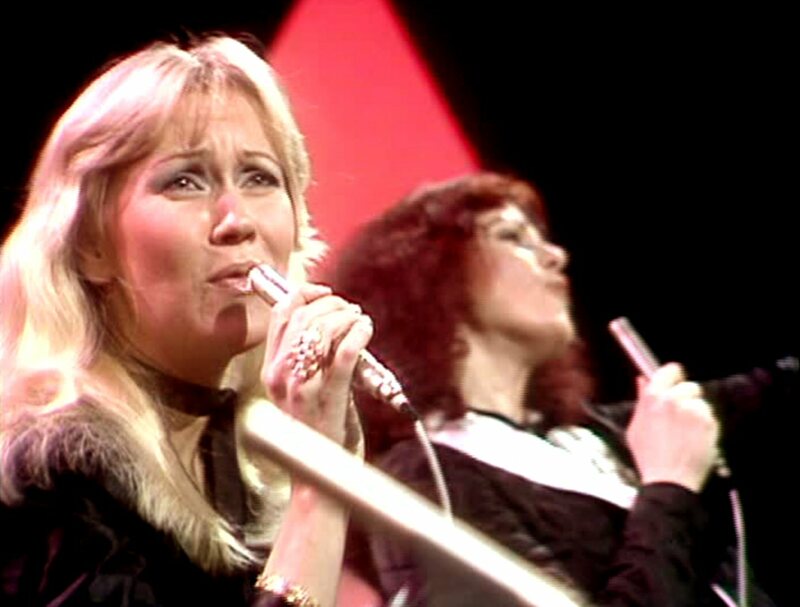 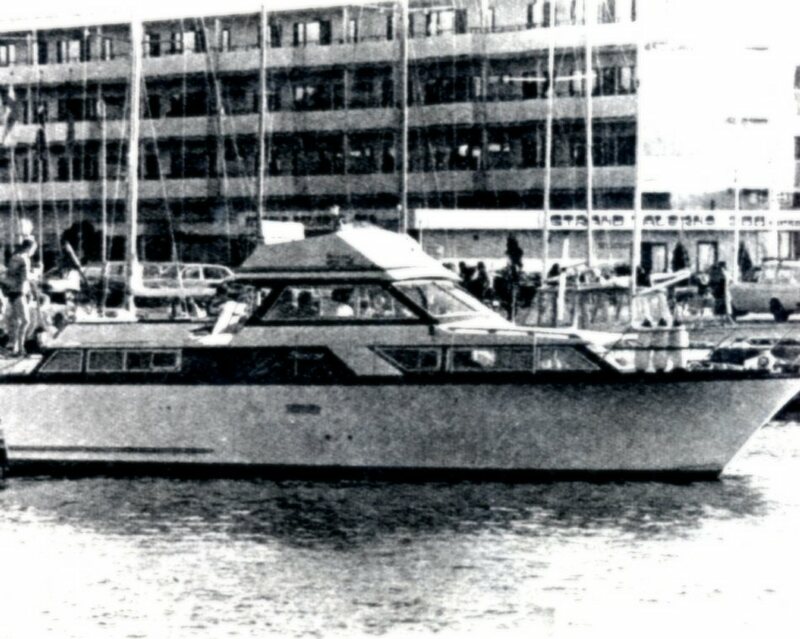 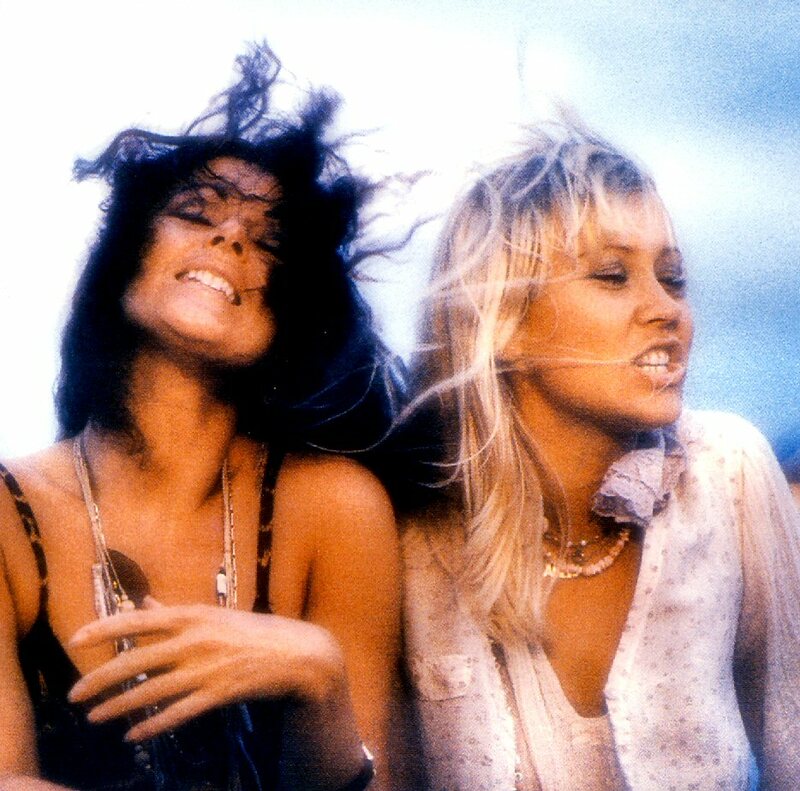 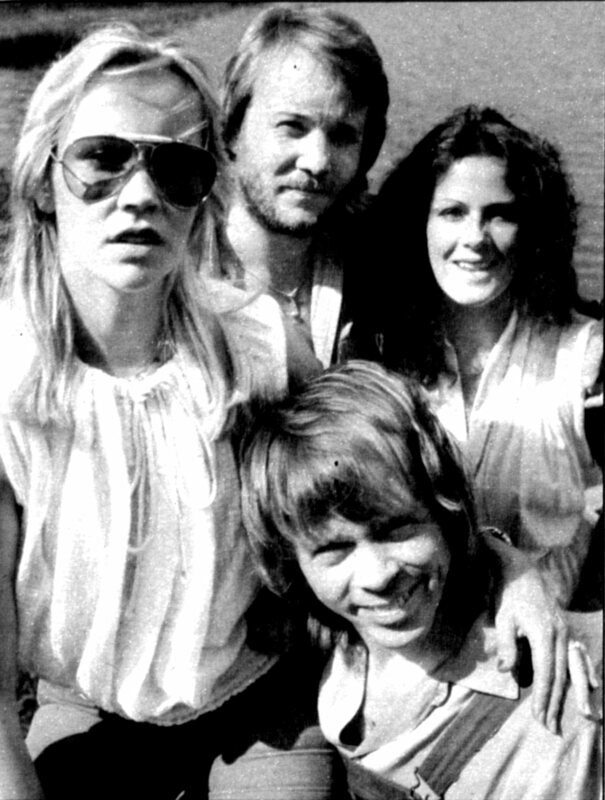 ABBA were filmed at the Alexandra night club, Agnetha and Frida on a boat in Stockholms harbour (outside the islands Kastellholmen and Skeppsholmen). 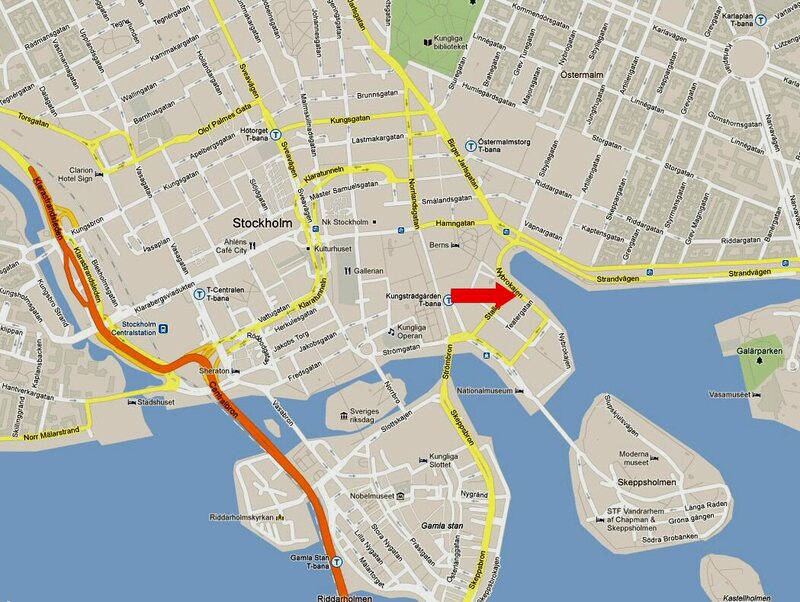 Additional filming took place outside the Castle and some other spots in the center of Stockholm. 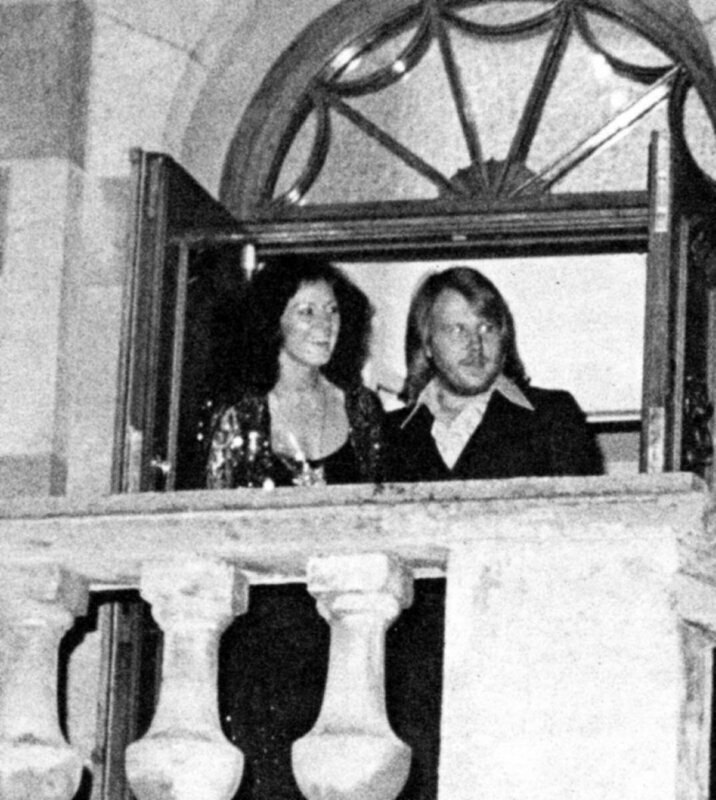 At the beginning of September Frida and Benny were seen at Berns in Stockholm on the premiere of the show about love with lyrics and music written by famous Swedish composers and poets. 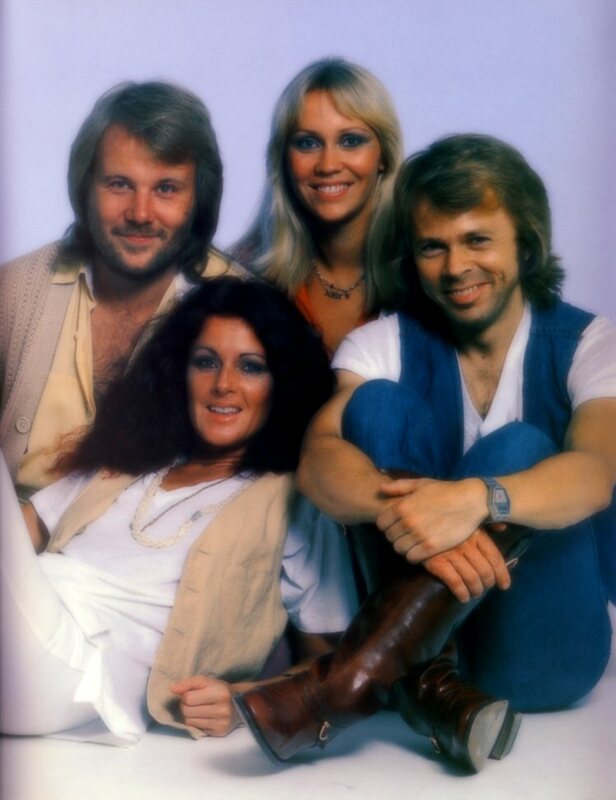 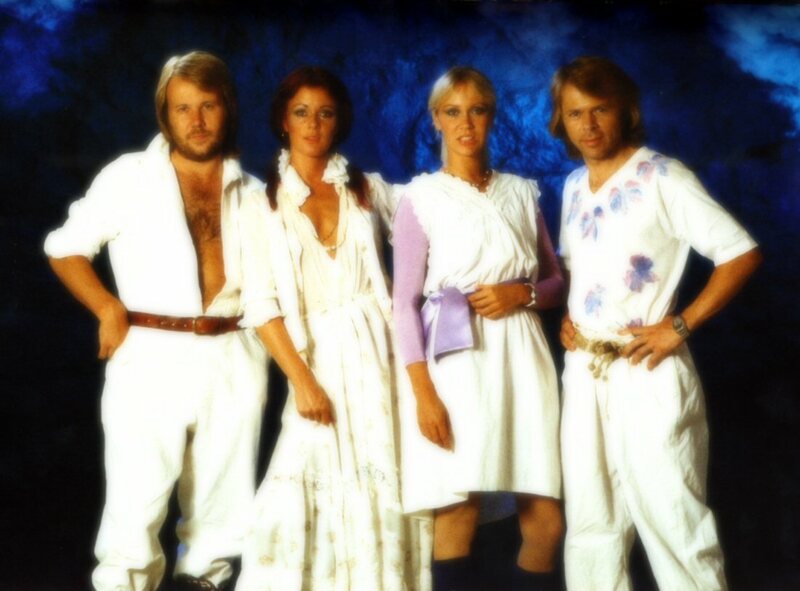 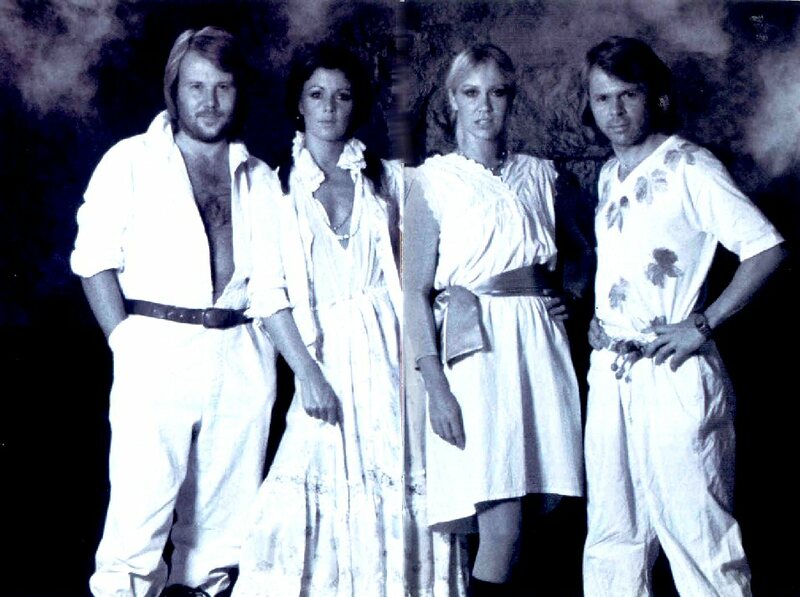 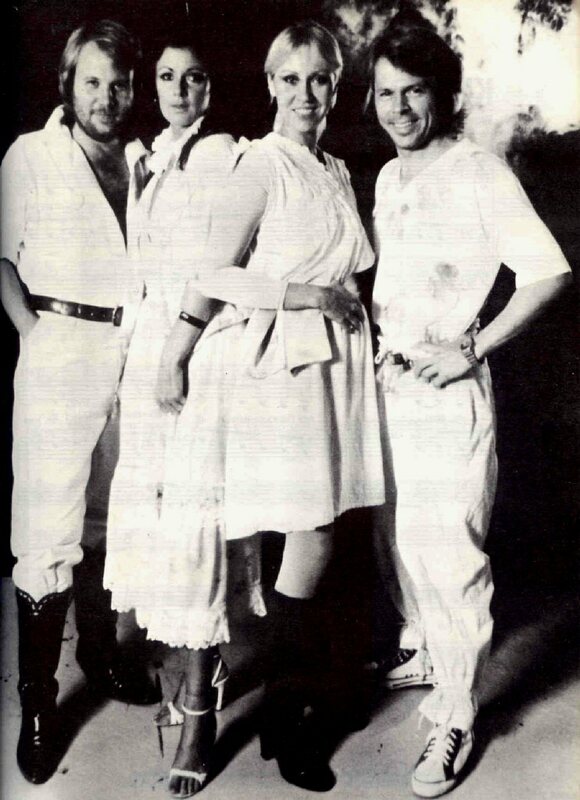 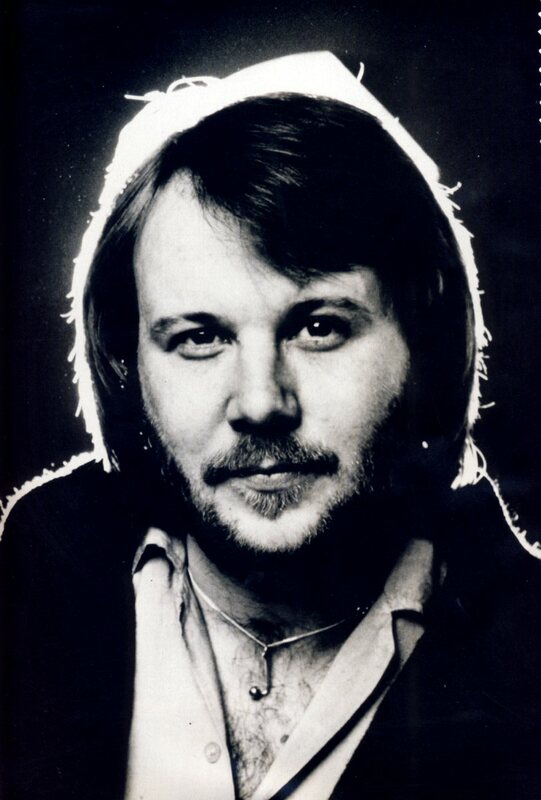 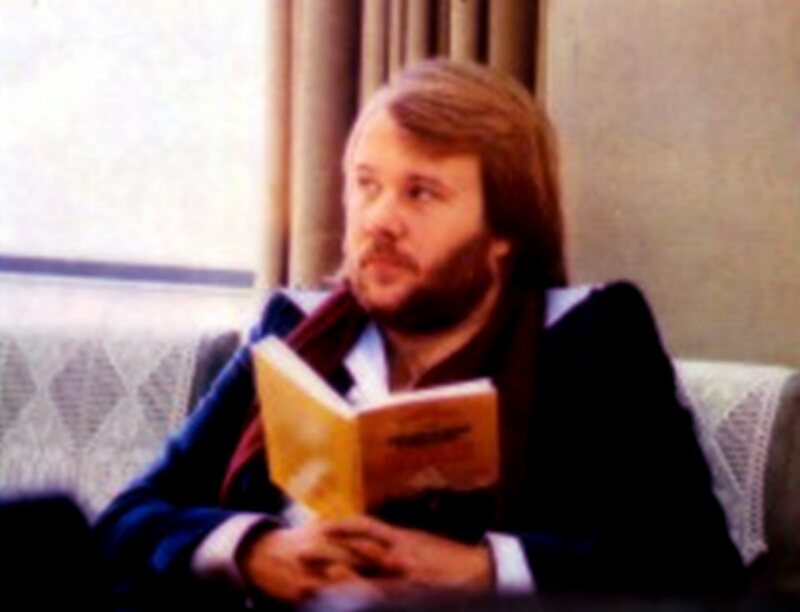 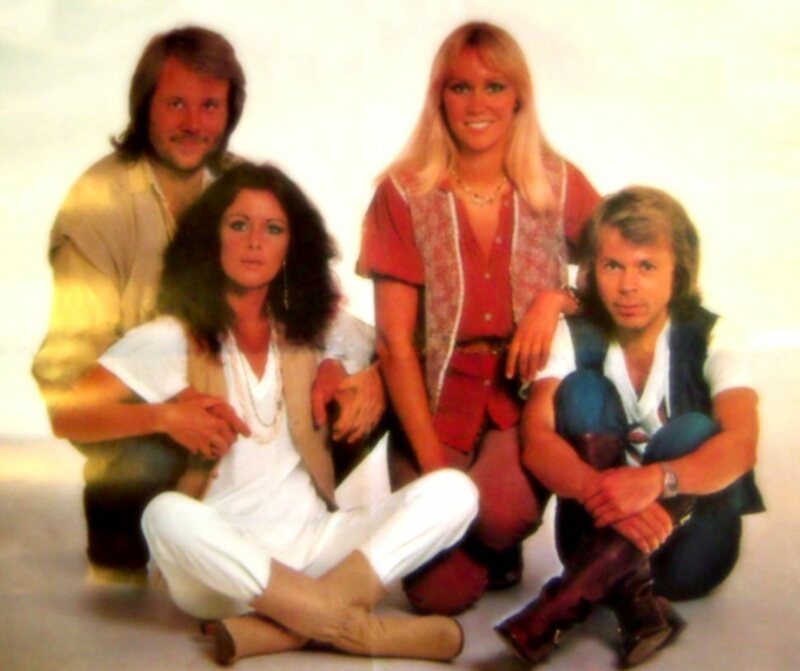 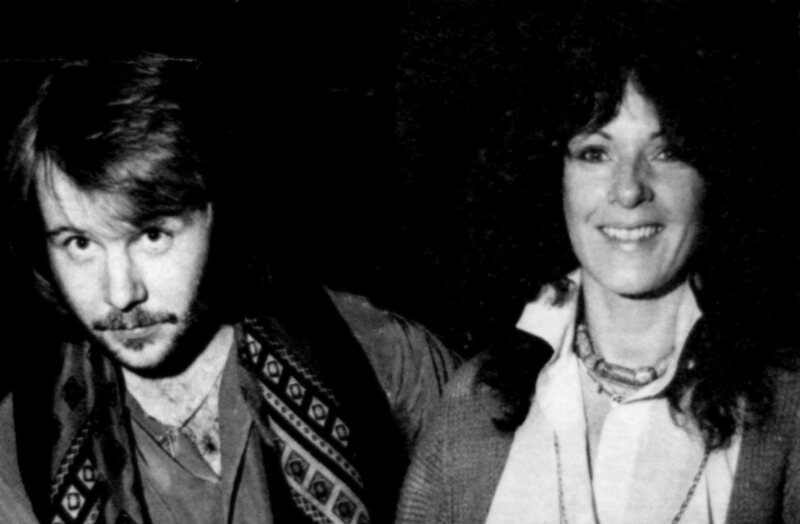 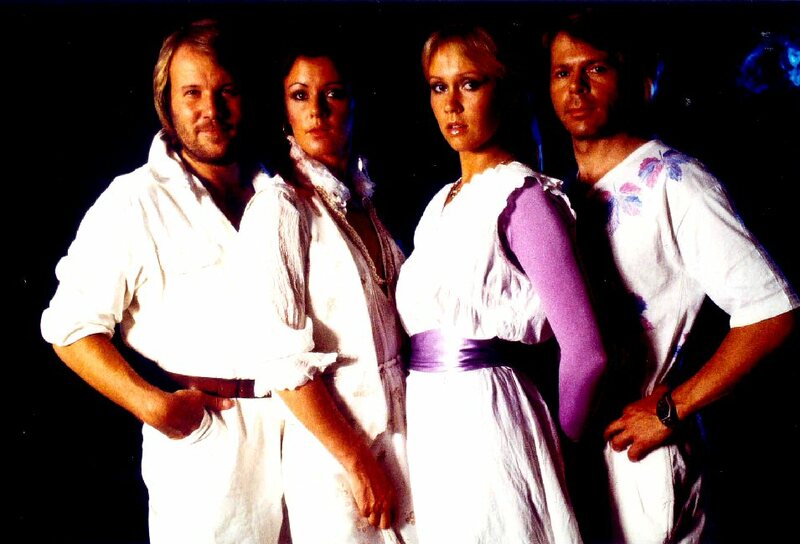 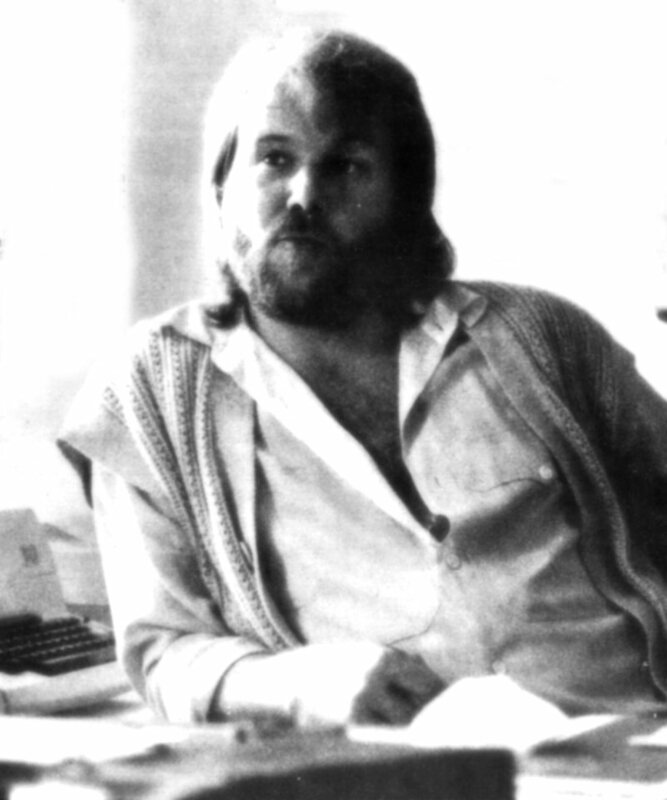 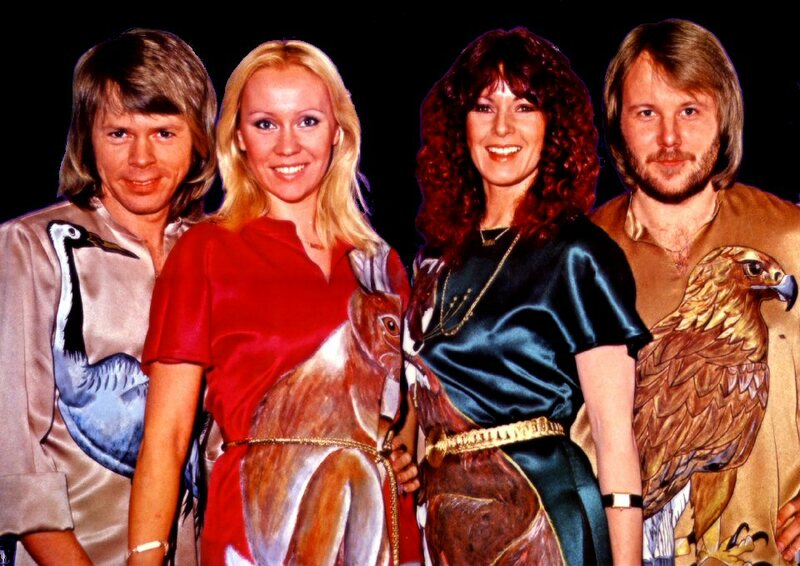 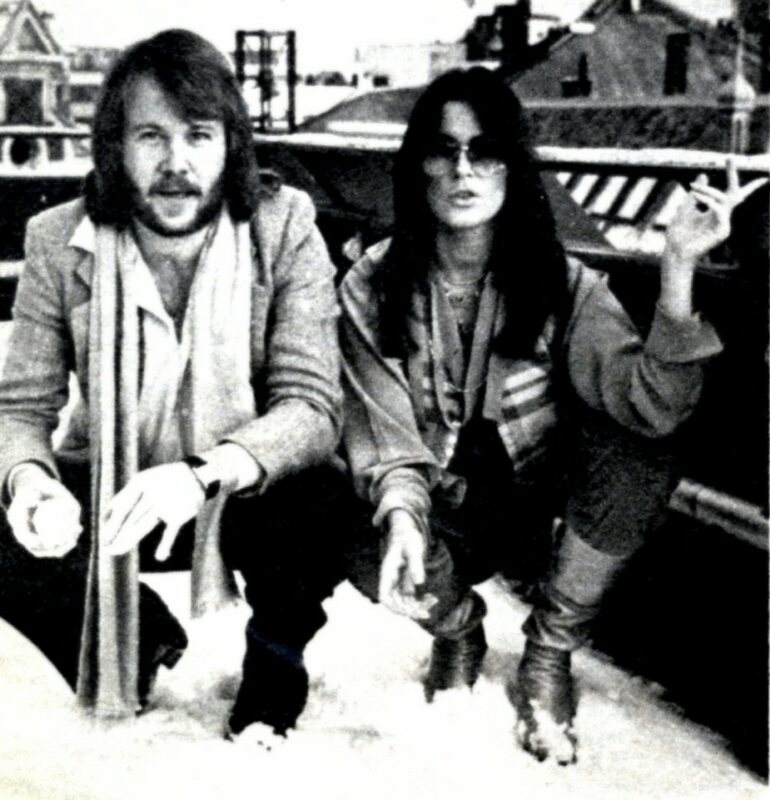 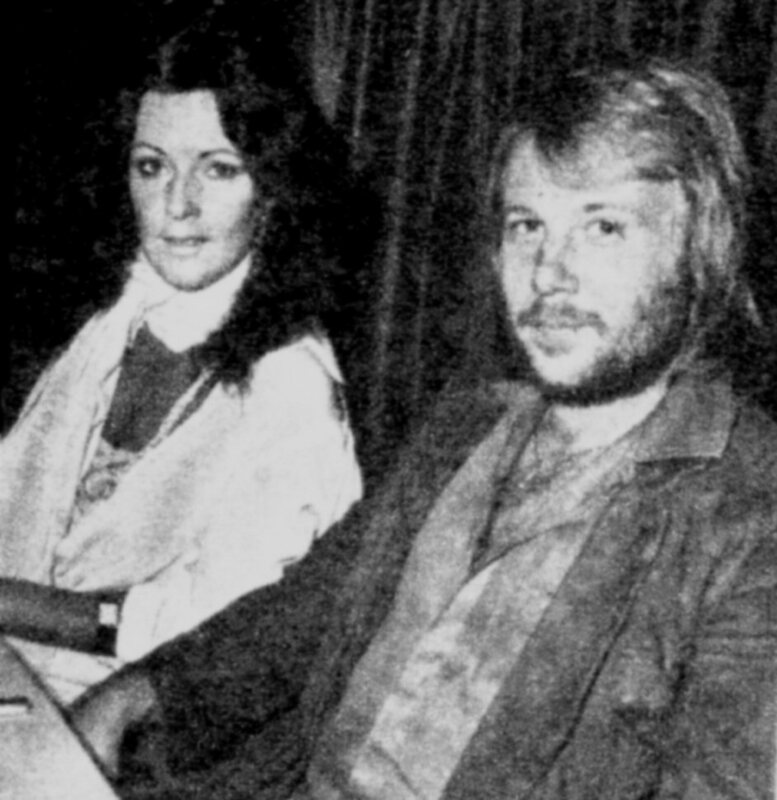 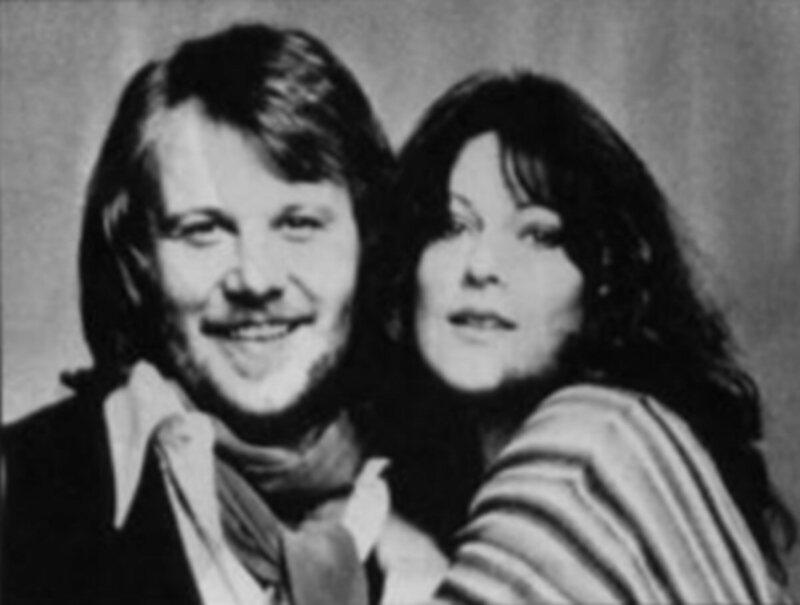 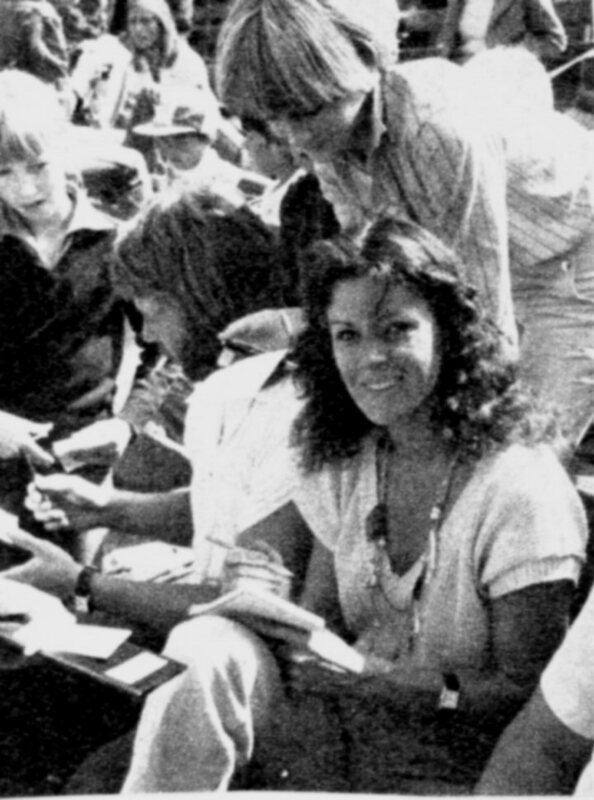 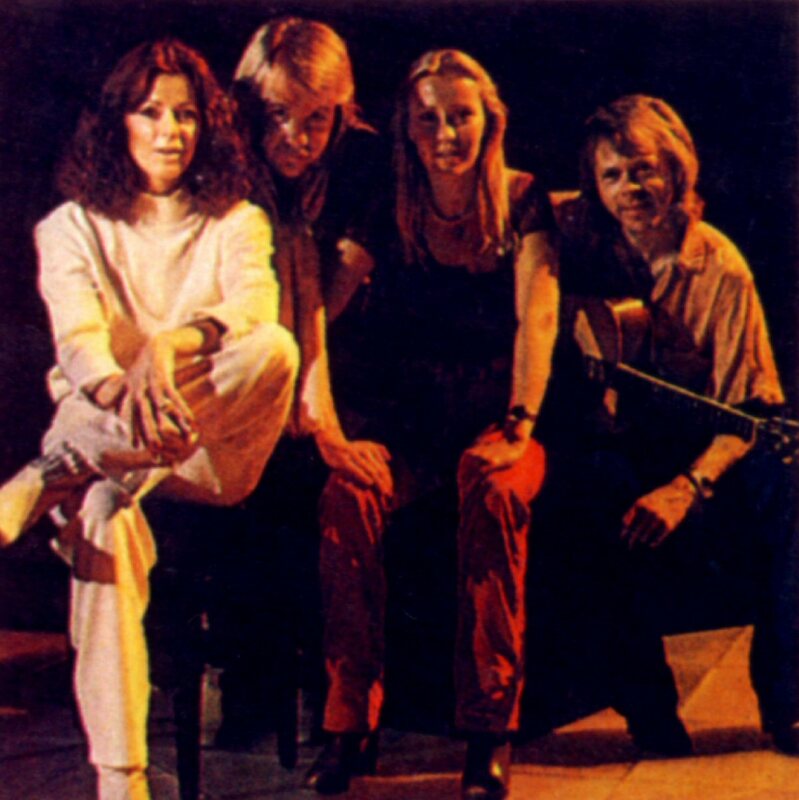 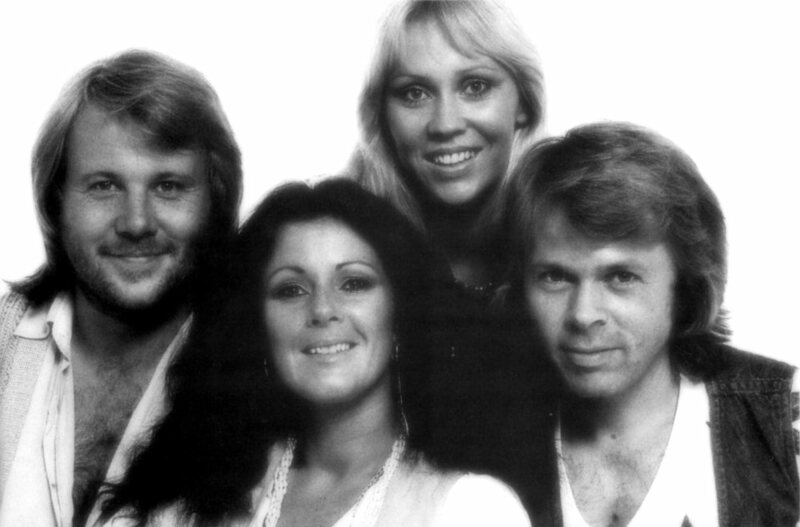 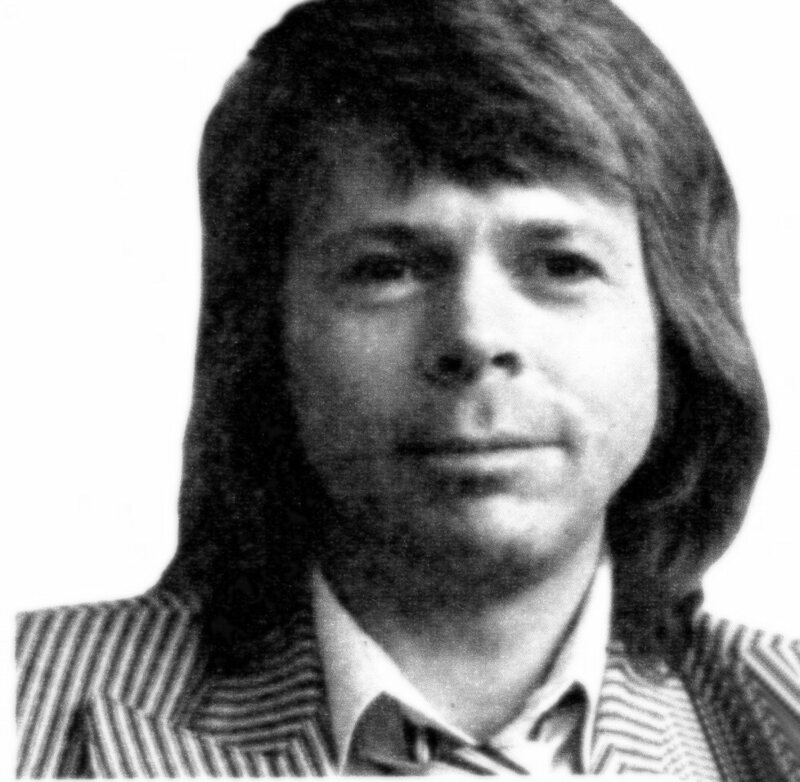 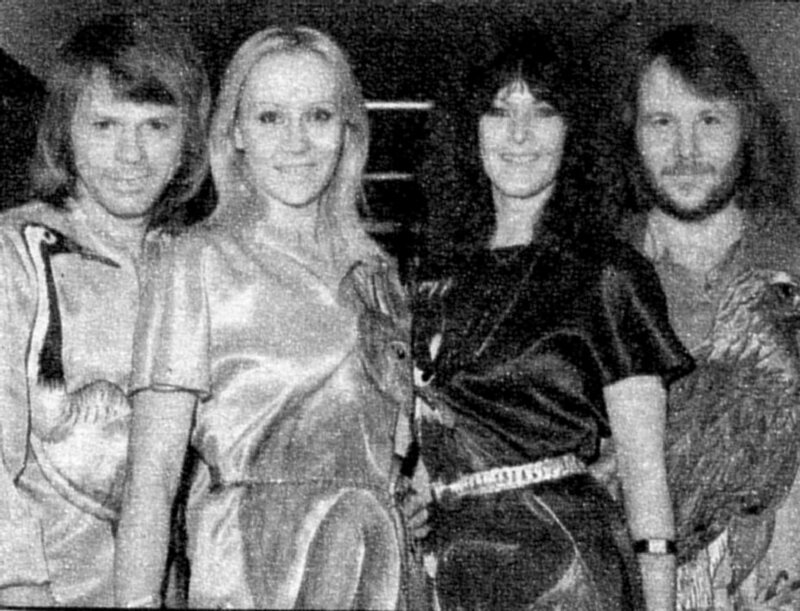 At the end of September 78 the Swedish weekly "Veckorevyn" followed the group during several days for an article about how hard ABBA work for their success. 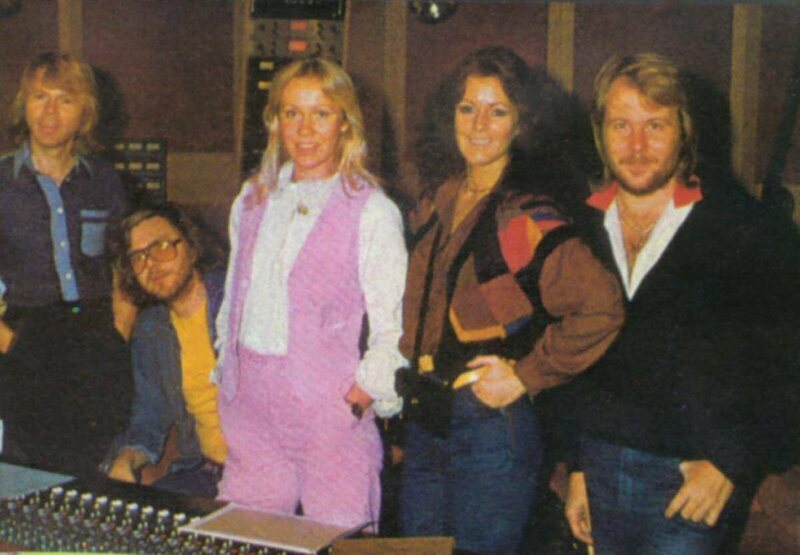 The pictures featured Frida doing gymnastics, Agnetha practising her voice with the teacher Inga Sundström, Benny playing tennis and Björn and Benny in the studio doing recordings for the upcoming album "Voulez-Vous". 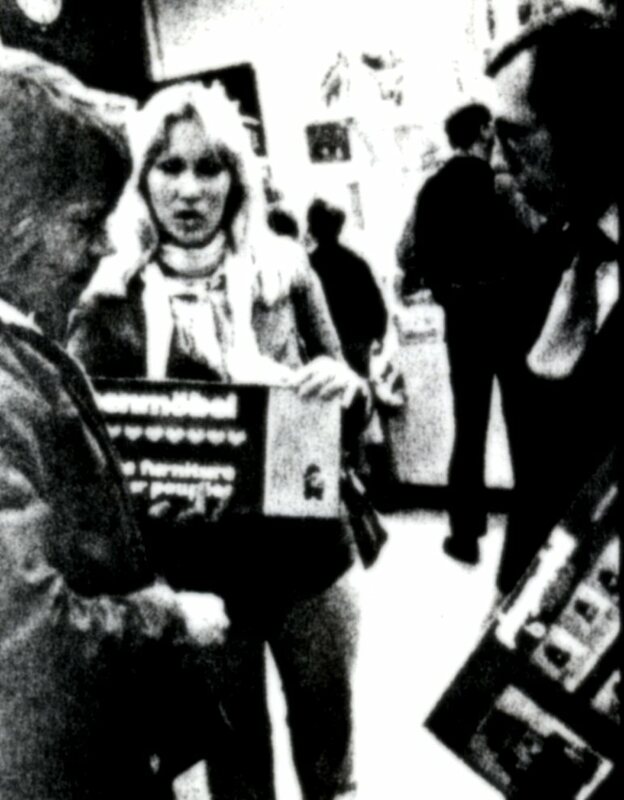 Hundreds of pictures were taken and published not only in "Veckorevyn" but in papers all over the world. 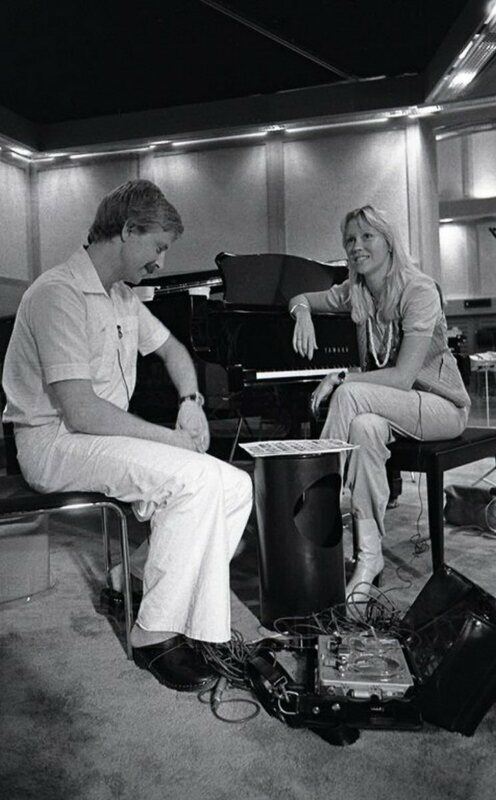 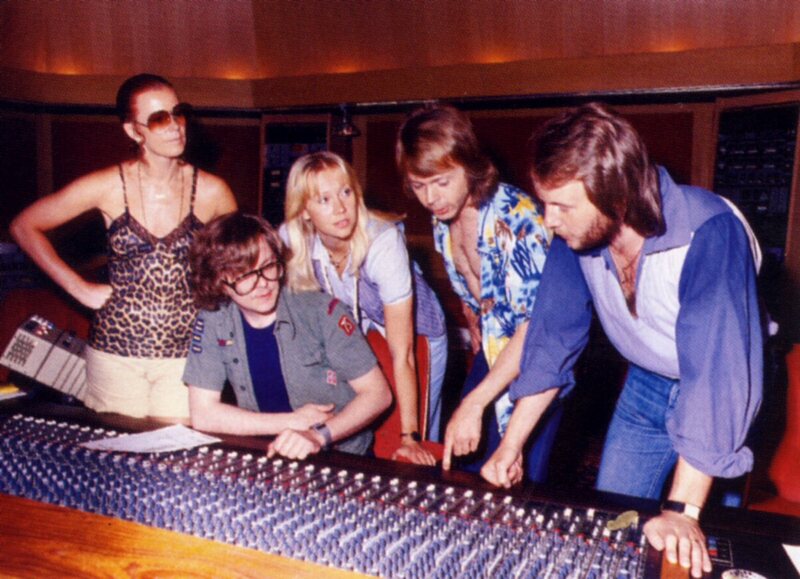 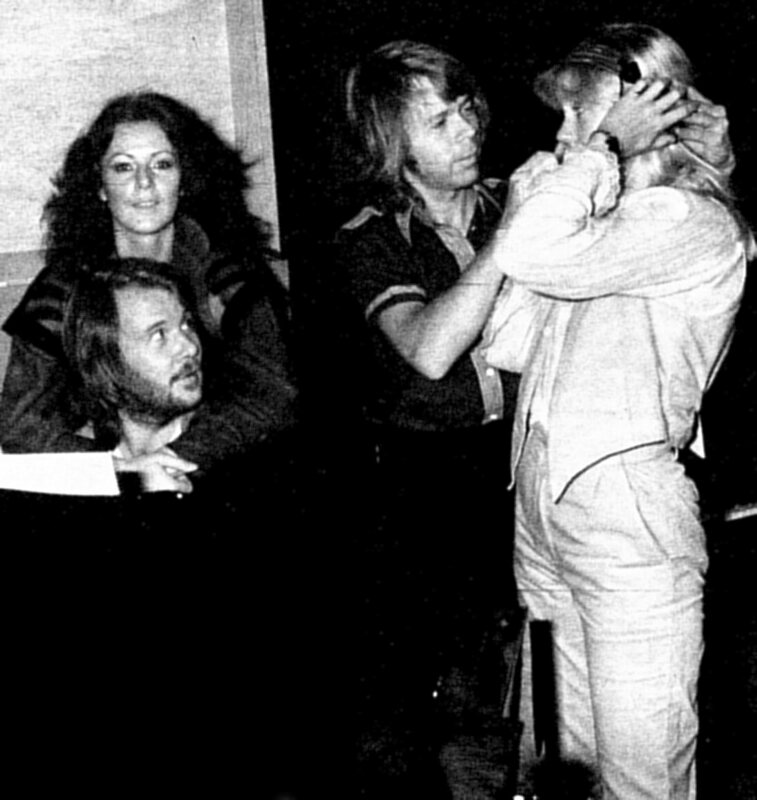 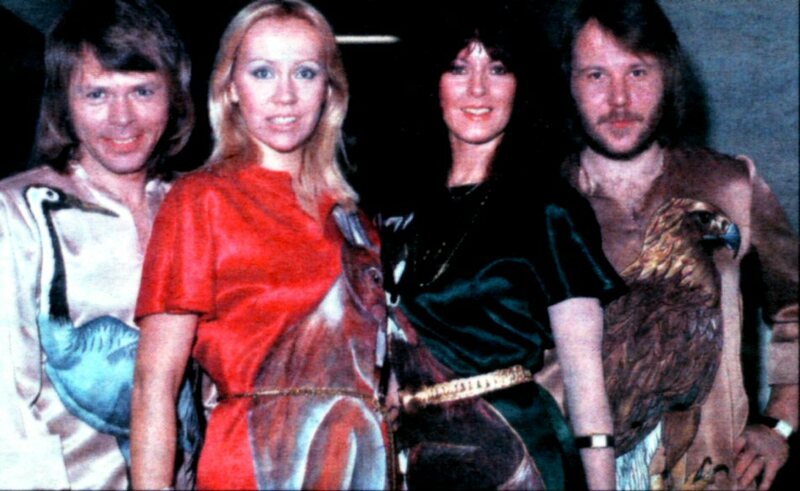 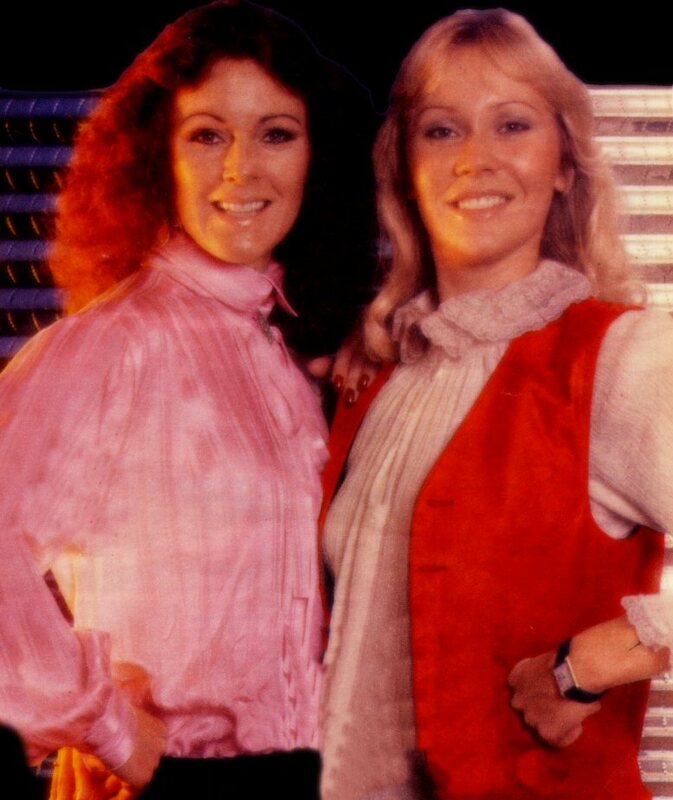 At the end of September 1978 ABBA were in the studio recording "Dream World" which by that time had a working title "Dream Land". 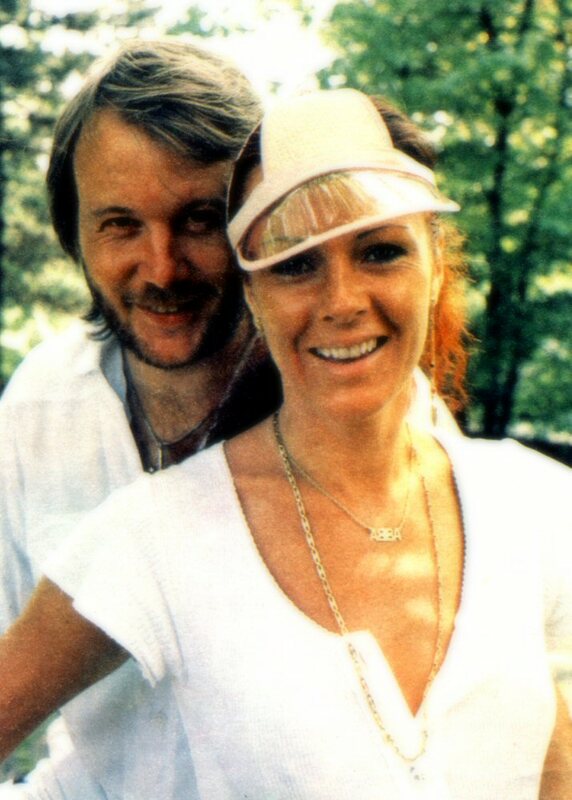 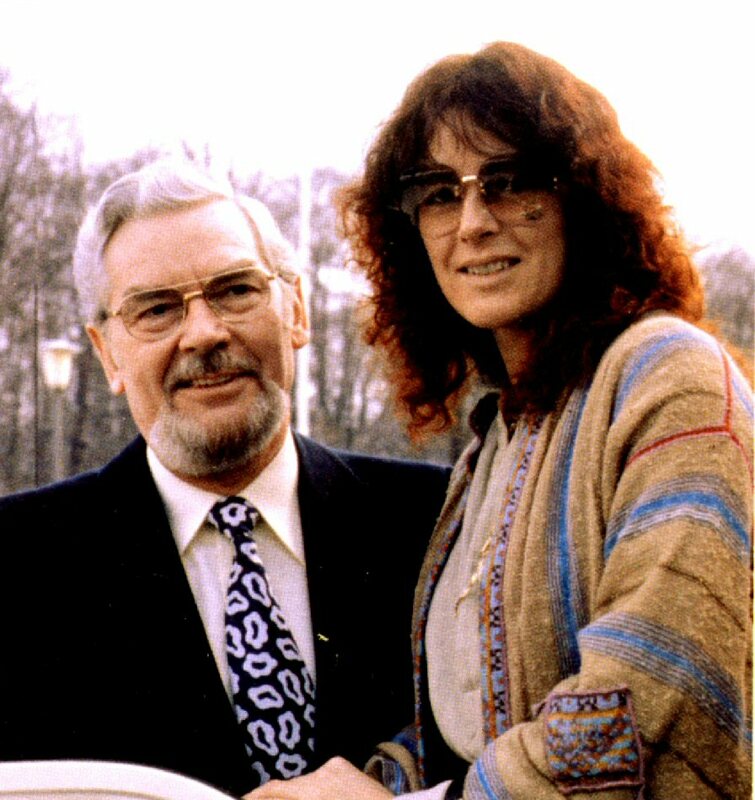 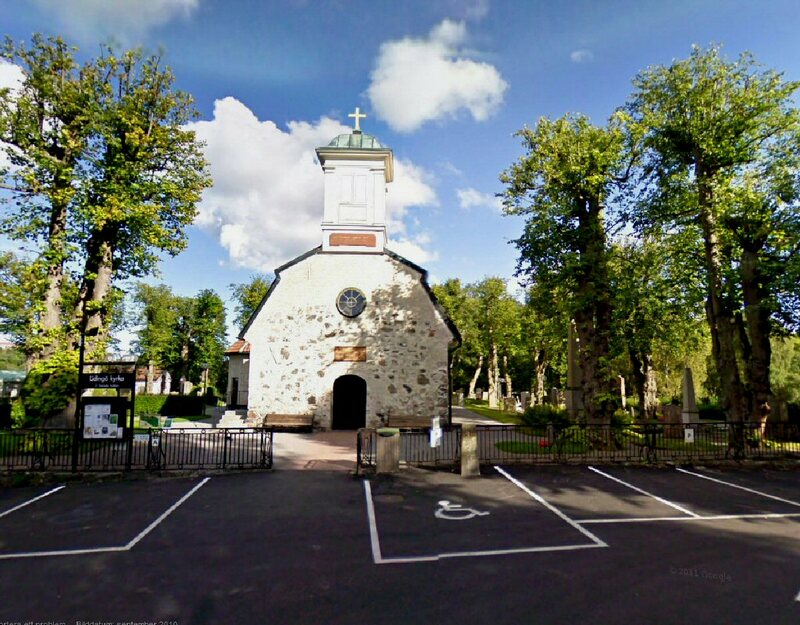 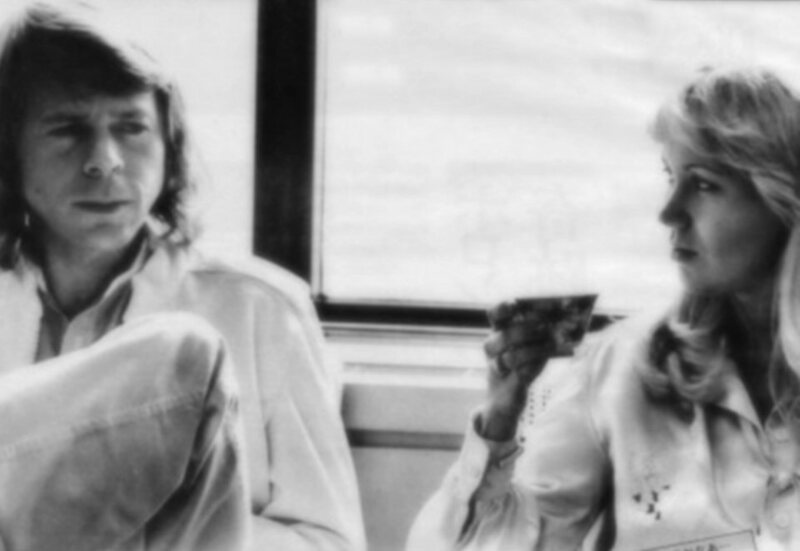 On October 6th, 1978 Benny and Anni-Frid got married in Lidingö church. 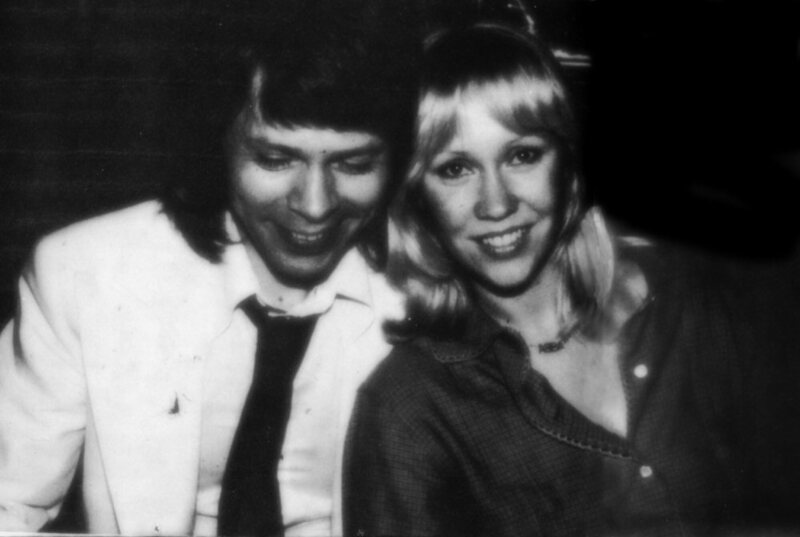 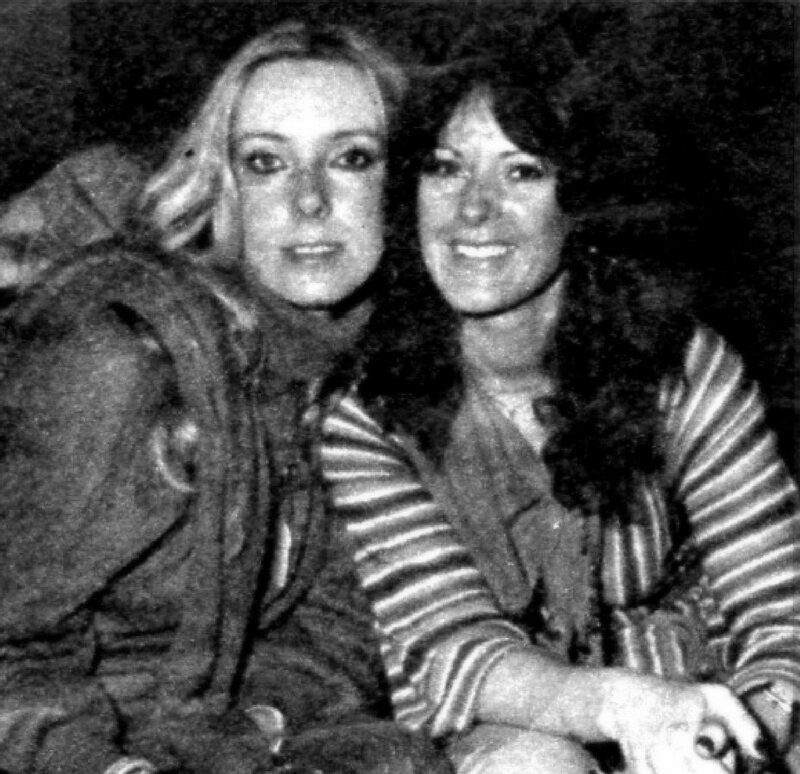 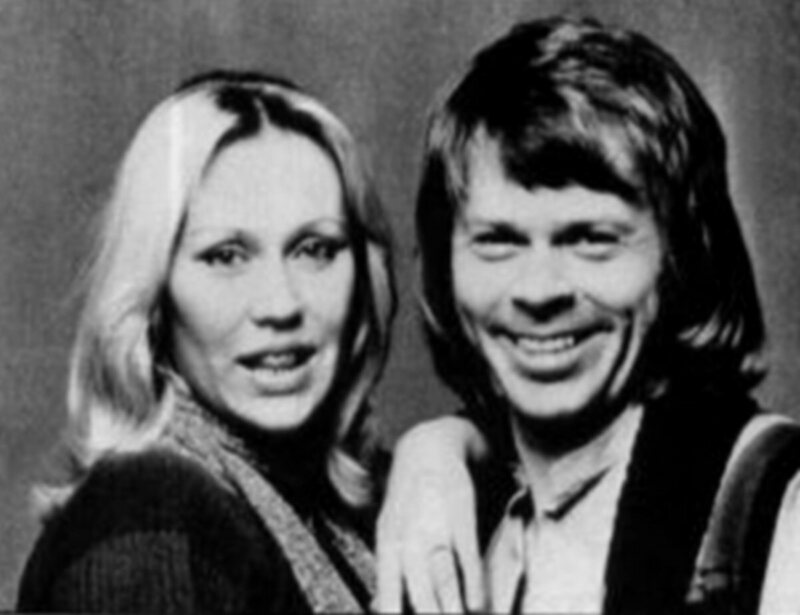 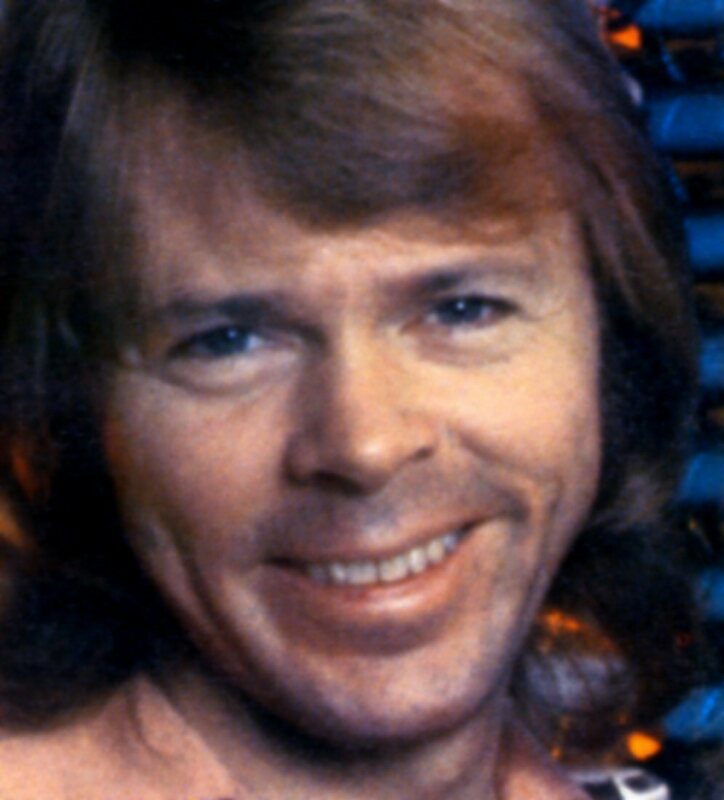 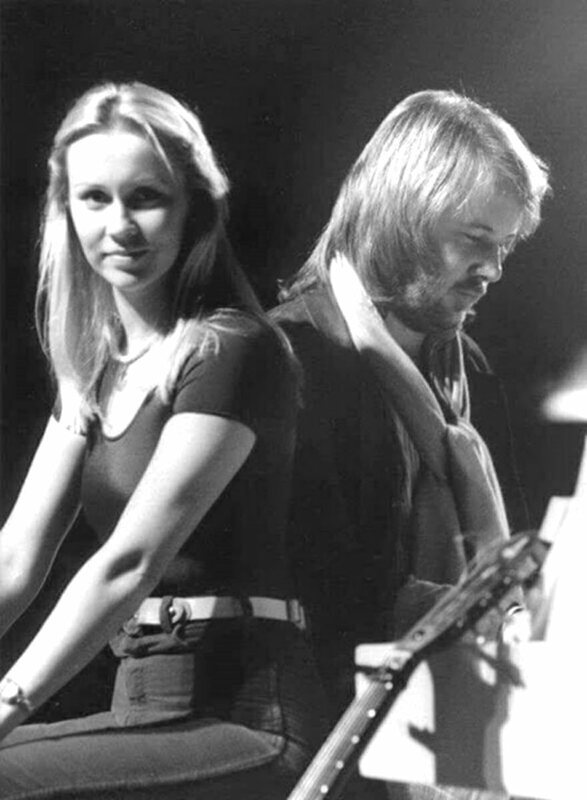 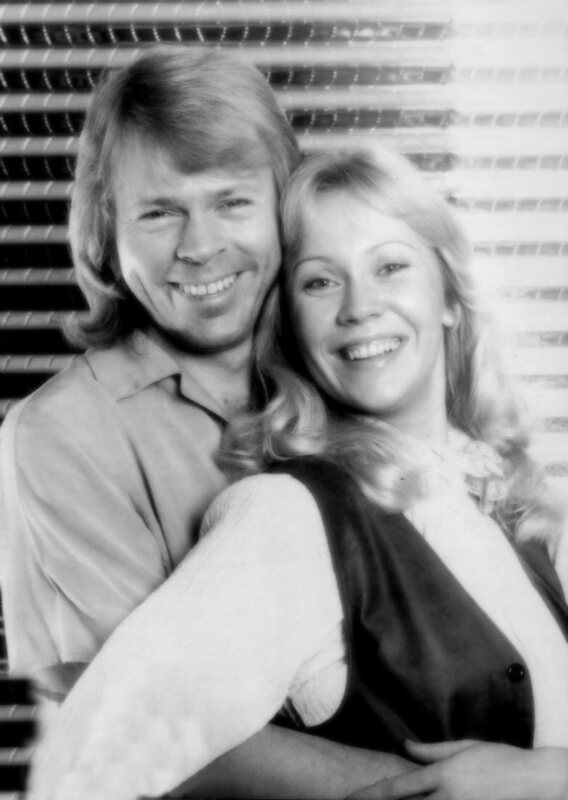 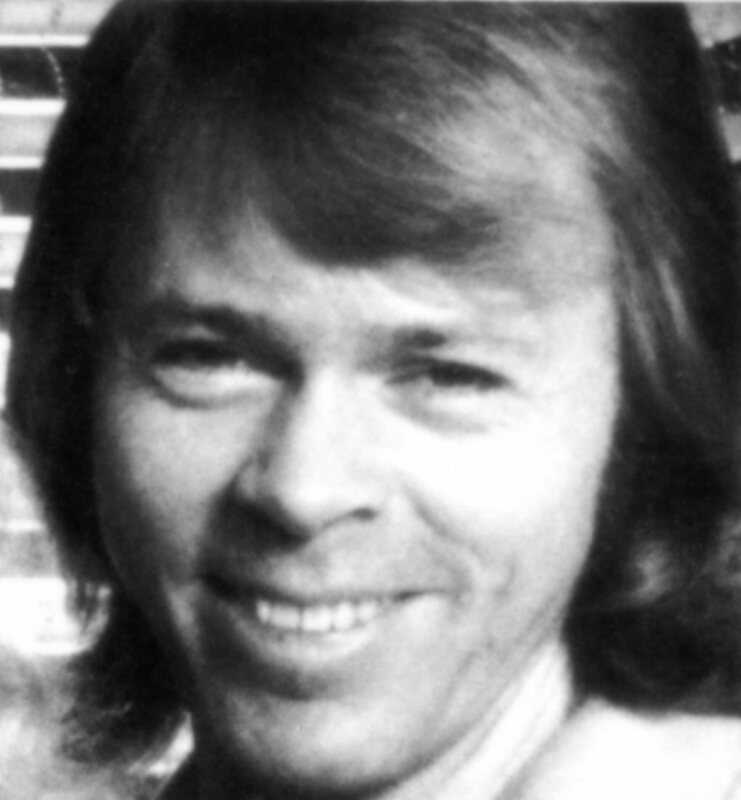 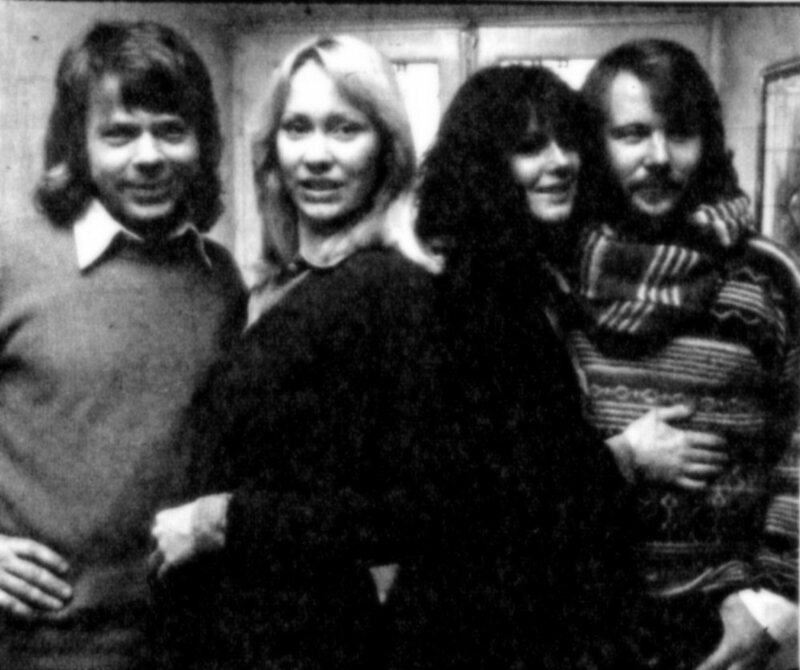 Their closest friends were there including: Agnetha Fältskog and Björn Ulvaeus, Stikkan, Gudrun, Görel Johnson, Björn Skifs and Claes af Geijerstam. 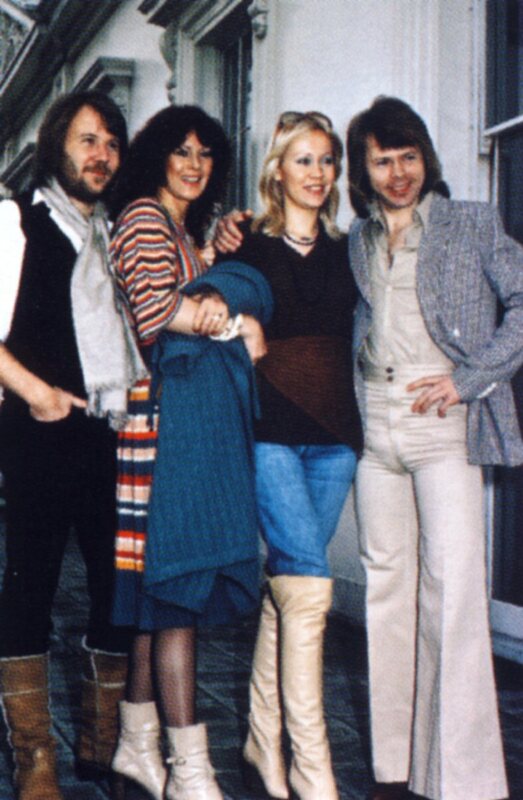 German press together with some ABBA fans arrived in Stockholm for an extended photo sessions both outside Frida and Benny's house in Lidingö and Polar offices. 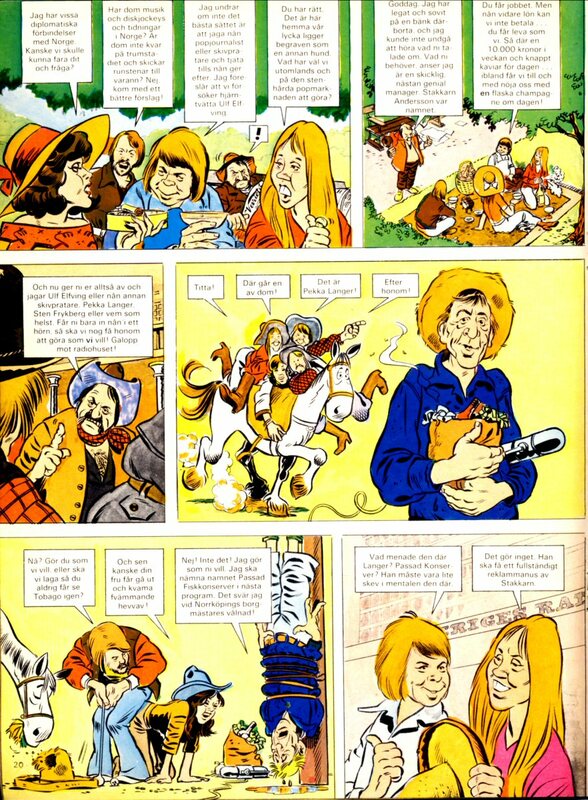 The pictures were published in West Germany in October 1978. 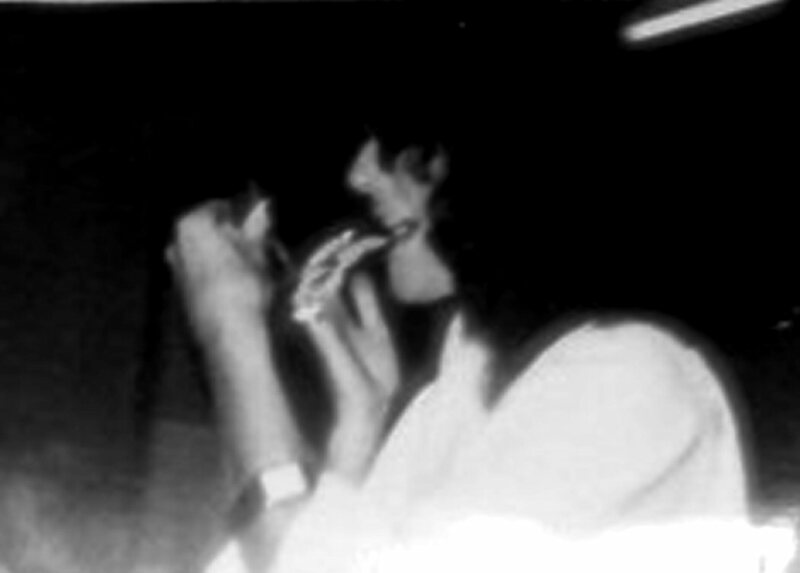 Relatively unknown shots taken sometime in the autumn 1978. 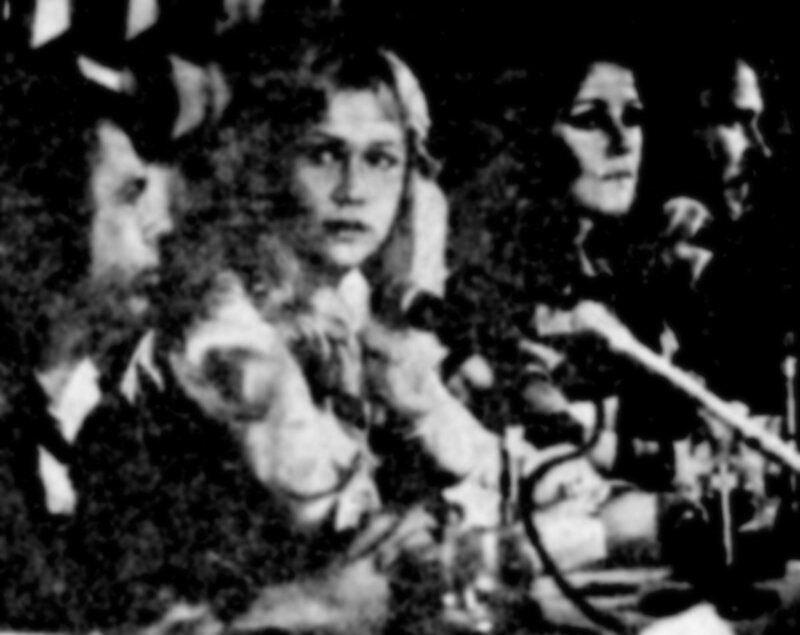 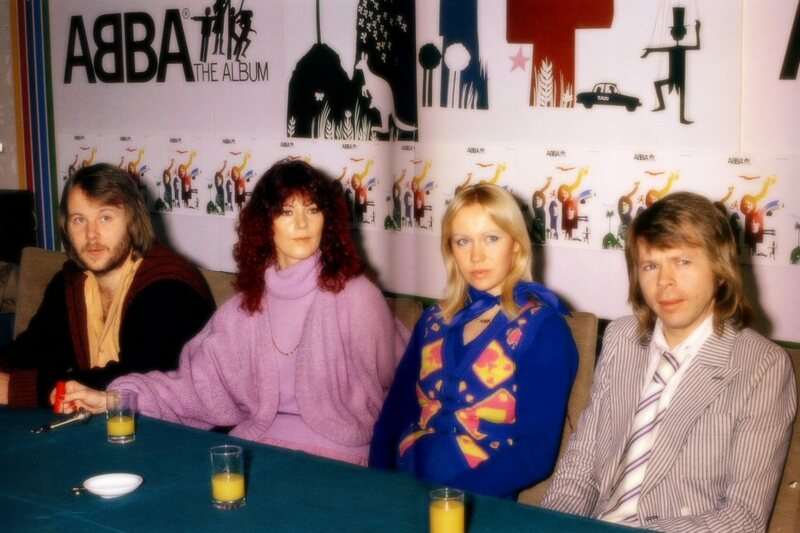 On 12 October ABBA gave a press conference in Stockholm. 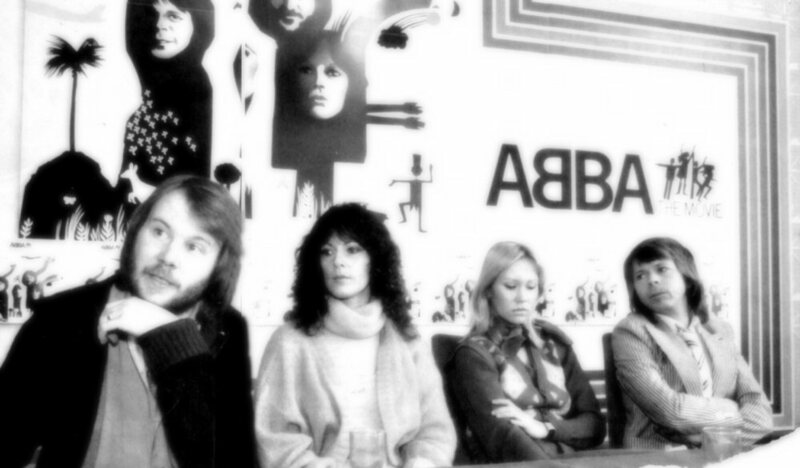 The group was talking about the music and the money - the latter probably the most interesting thing for Swedish press... 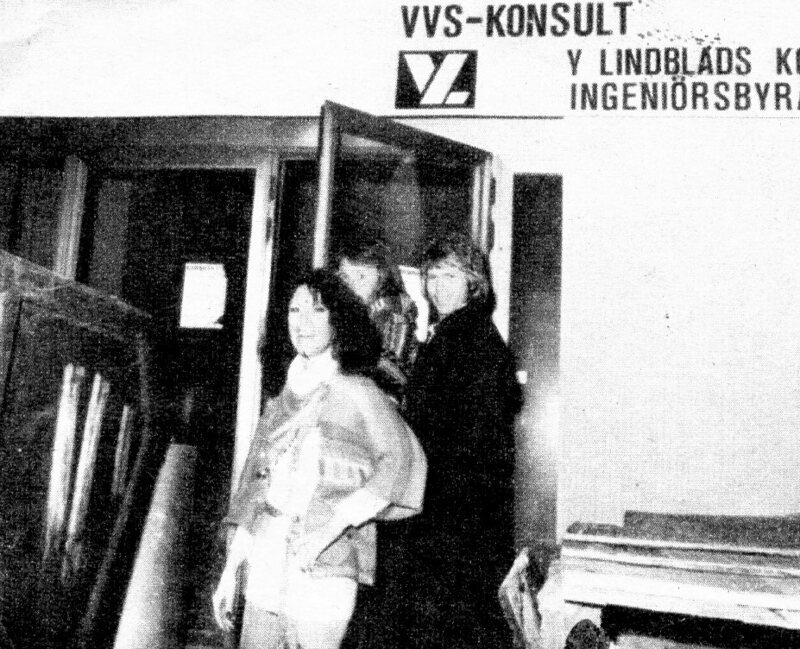 According to the Swedish weekly "Veckorevyn" Frida was asked what made her tired. 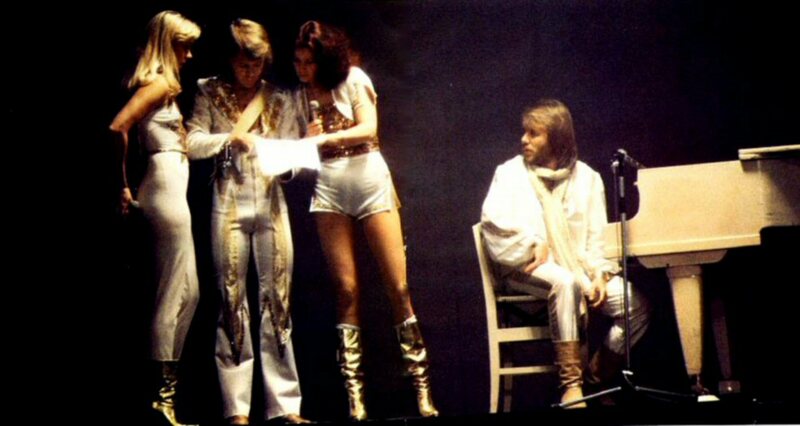 The answer was: "Focus on Agnetha's bottom." 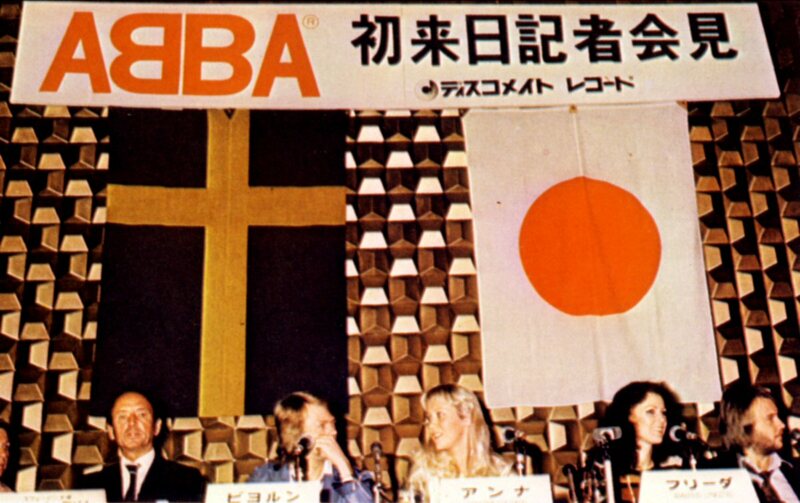 The ABBA schedule for the nearest future was presented and it included two trips to USA as well as promotion trips to Paris and Tokyo. 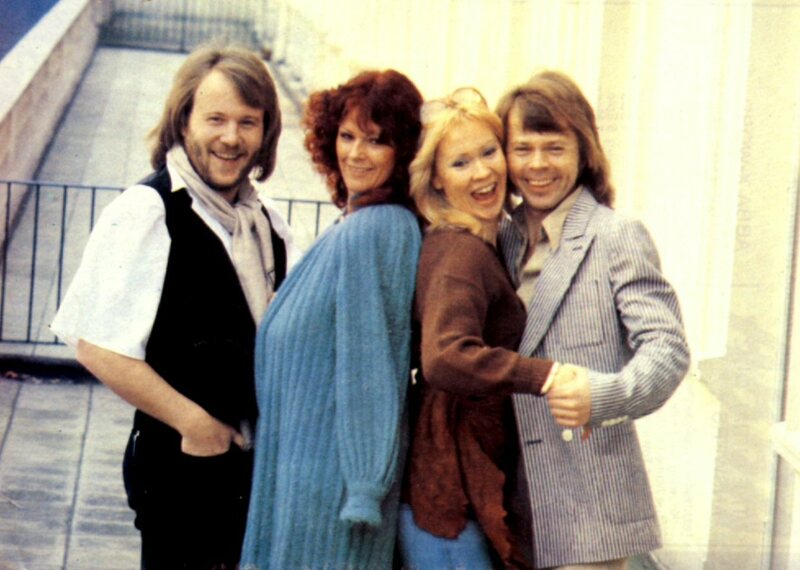 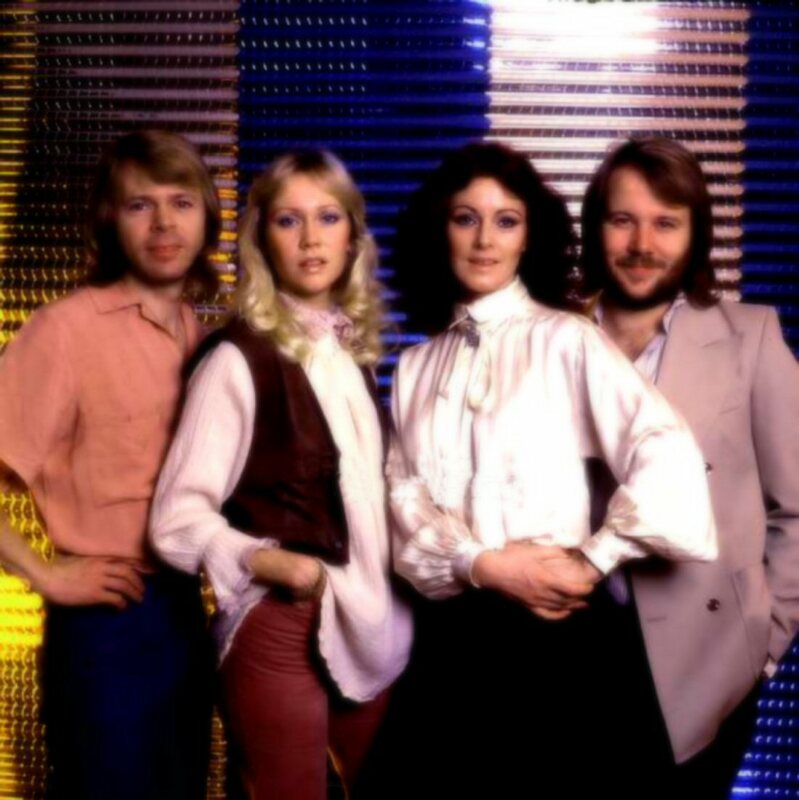 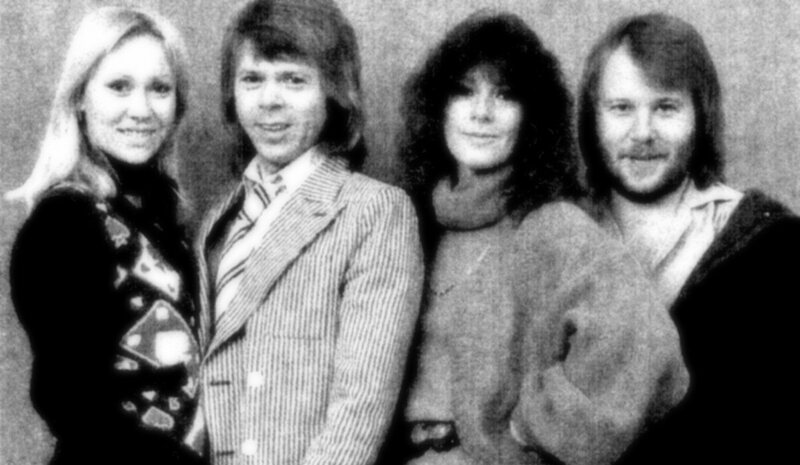 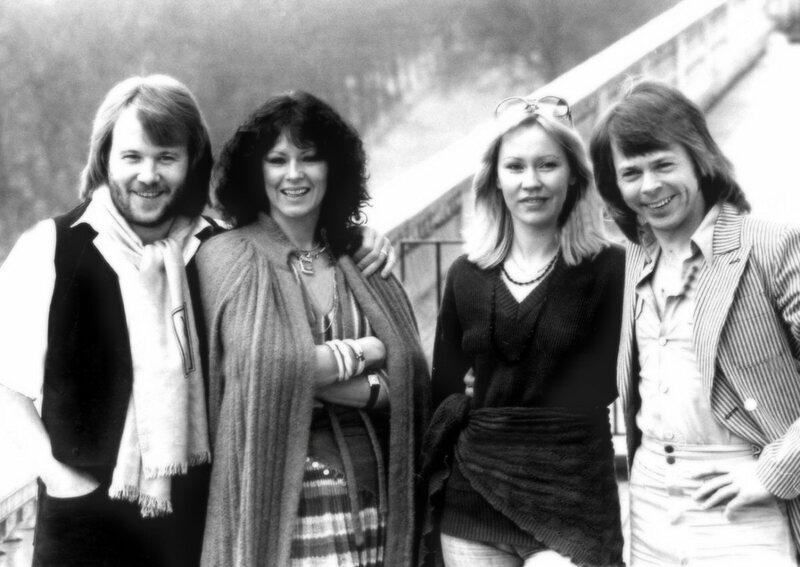 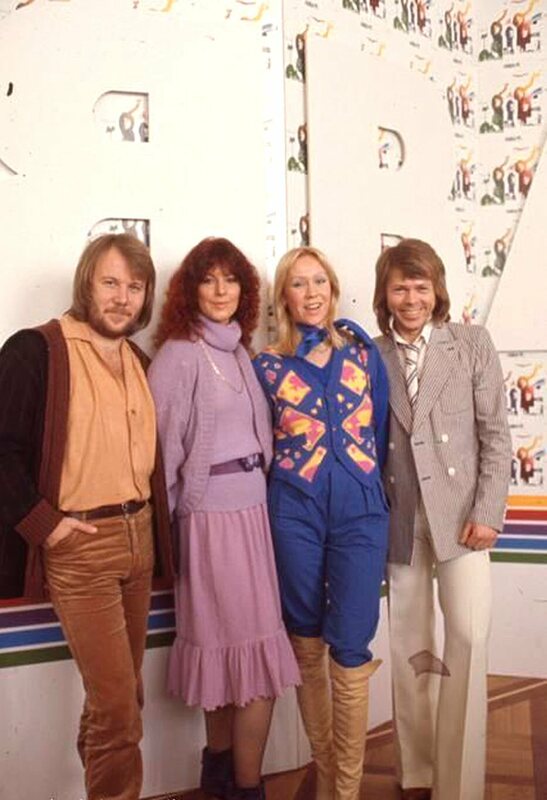 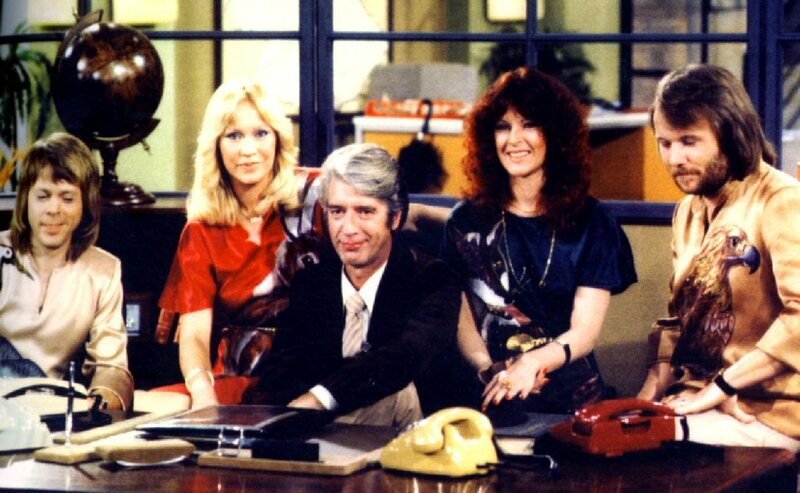 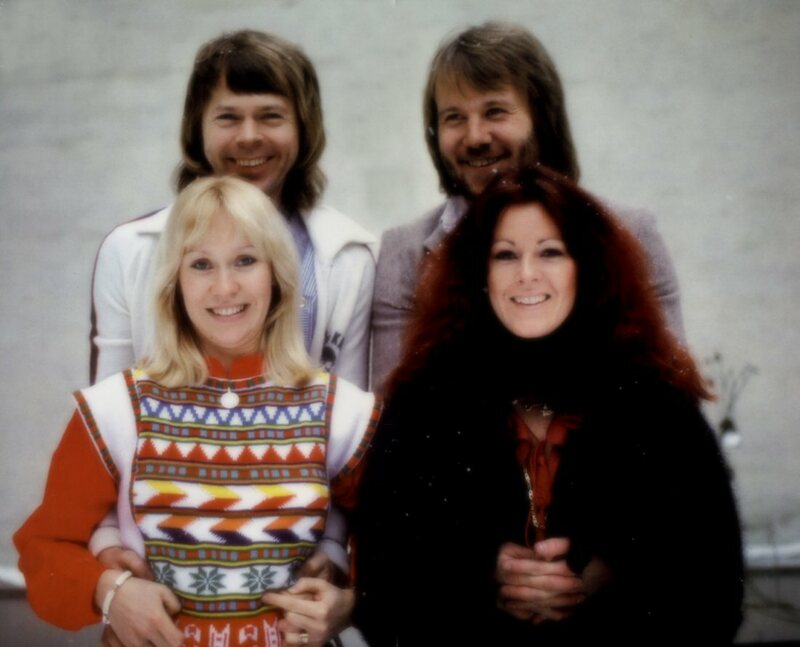 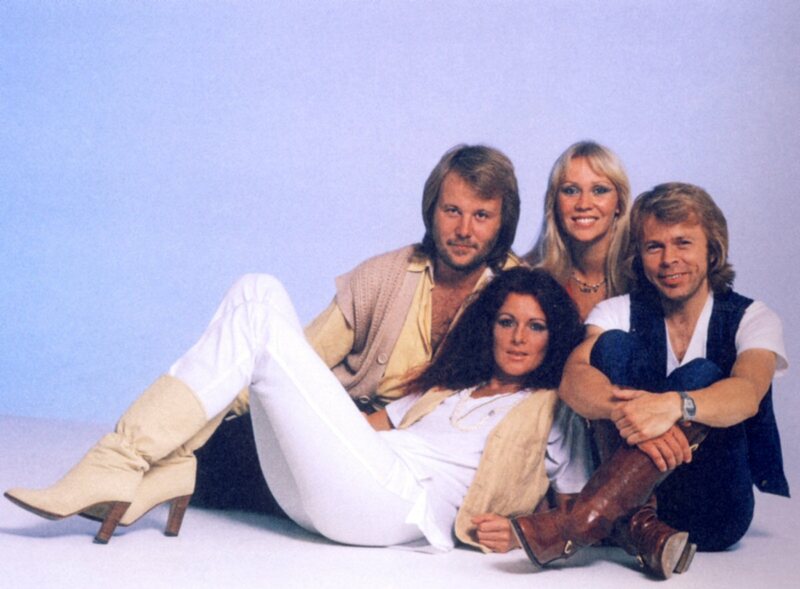 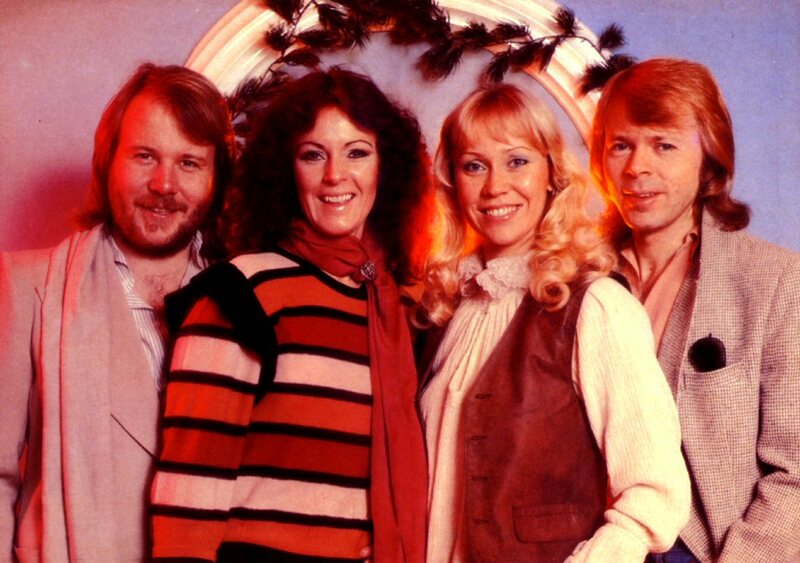 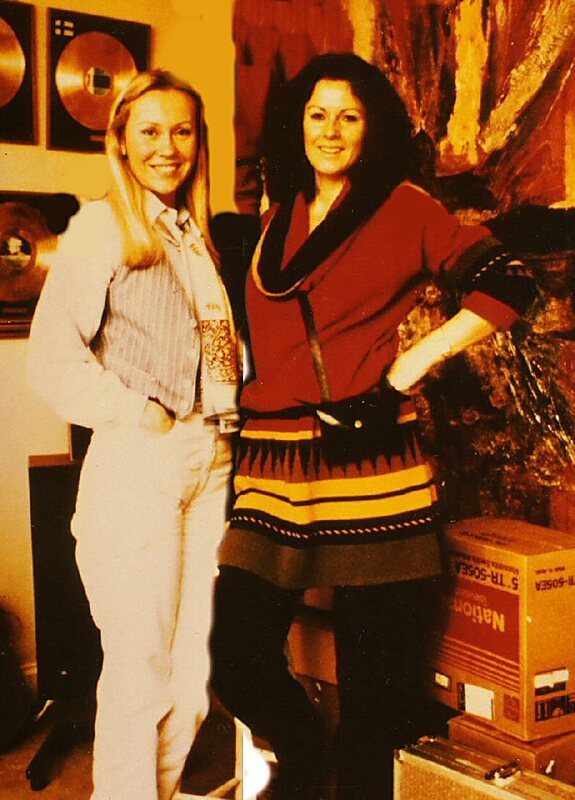 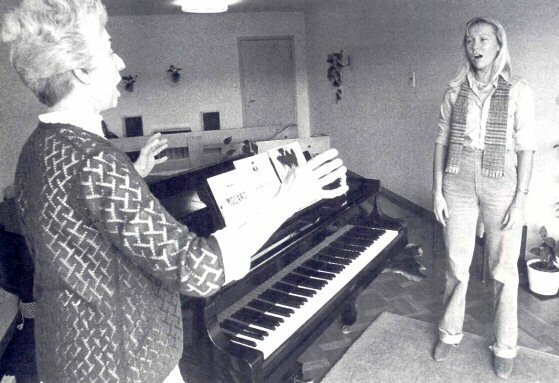 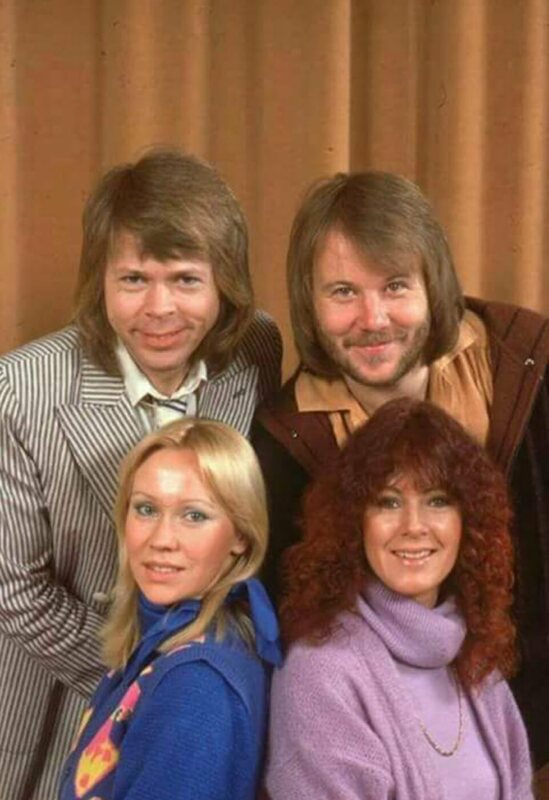 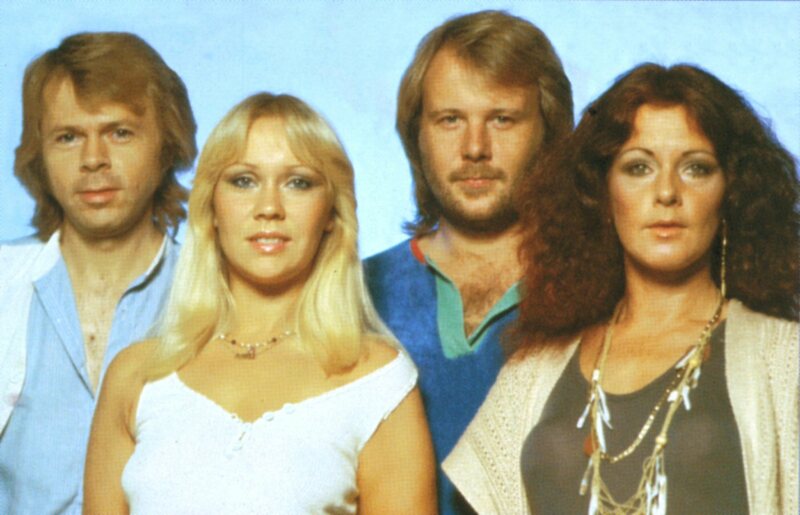 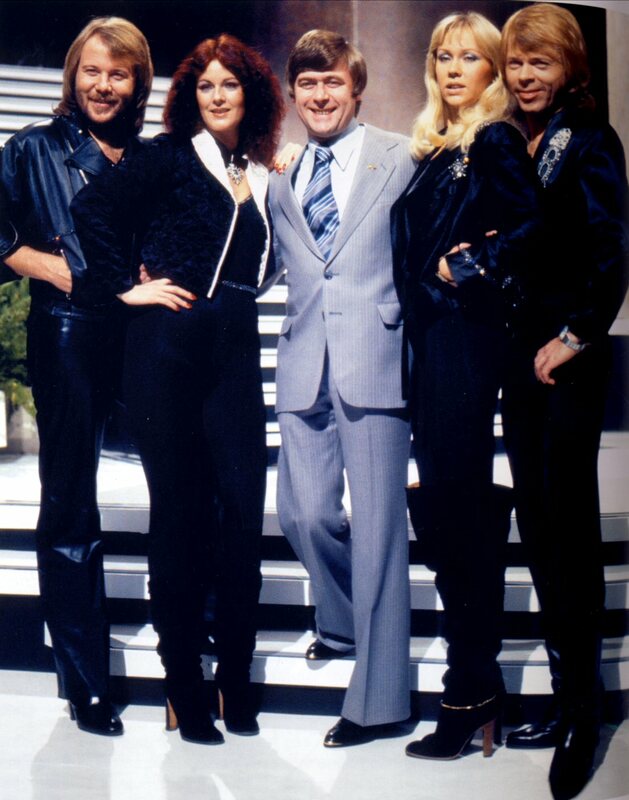 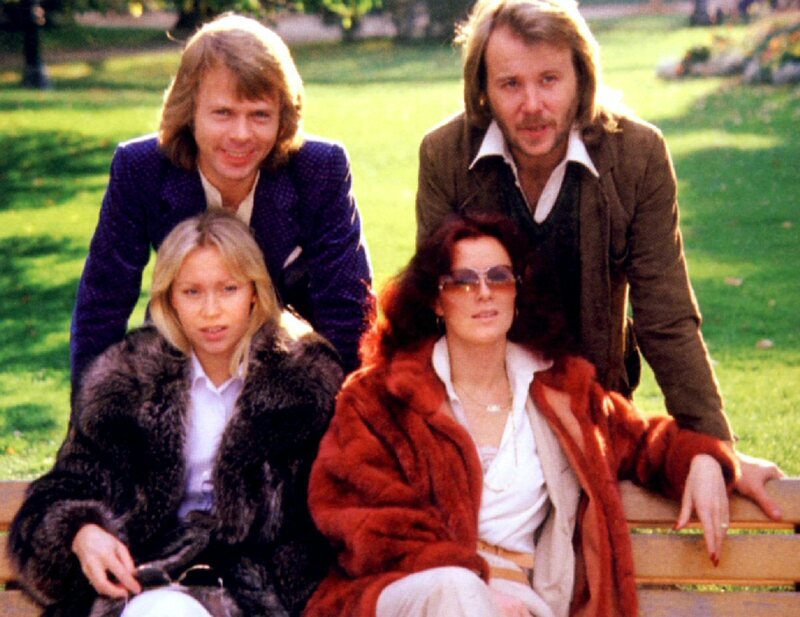 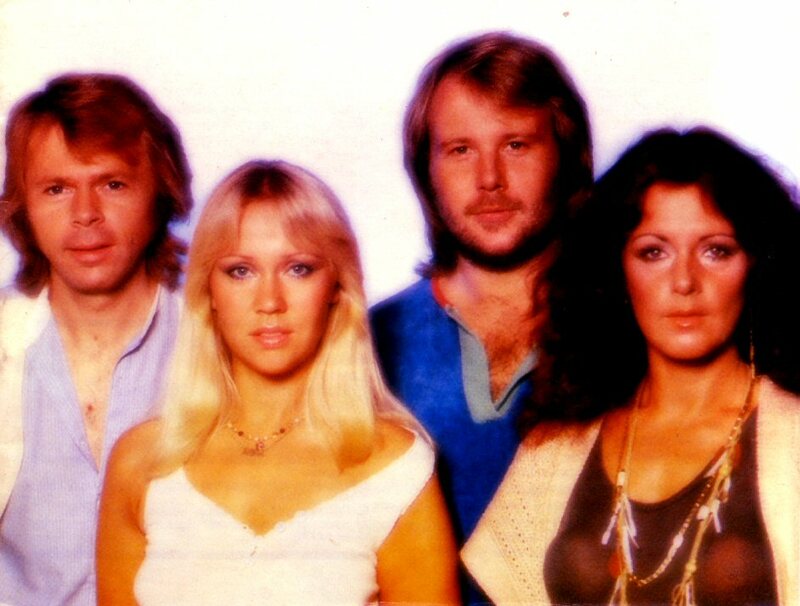 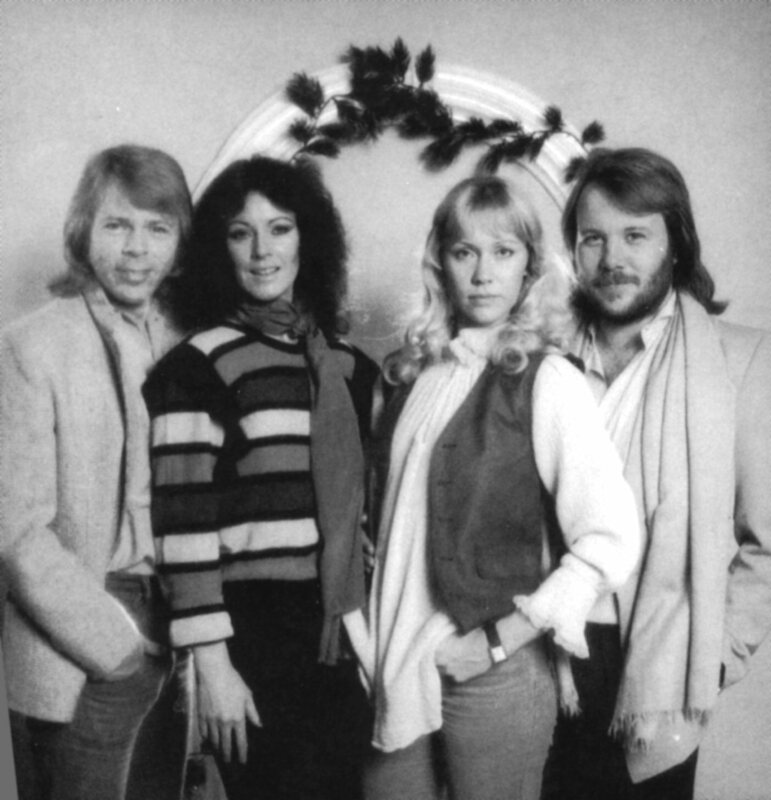 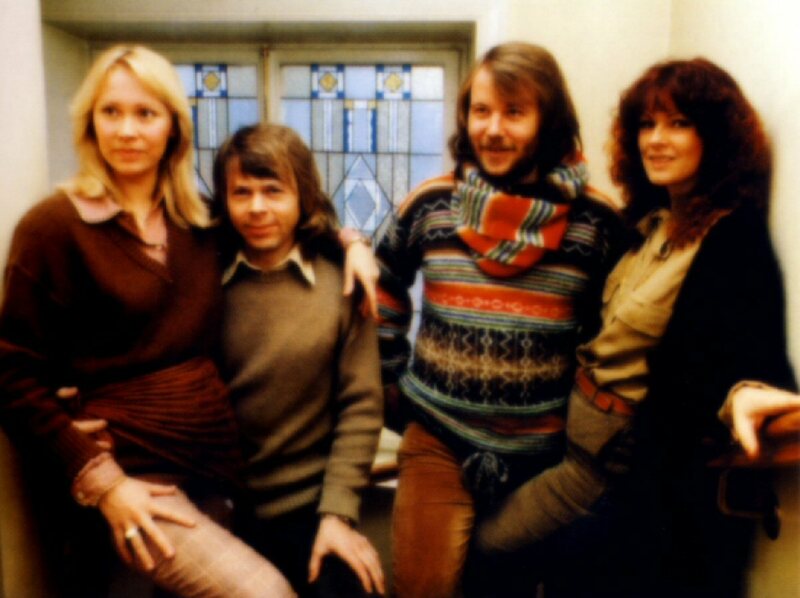 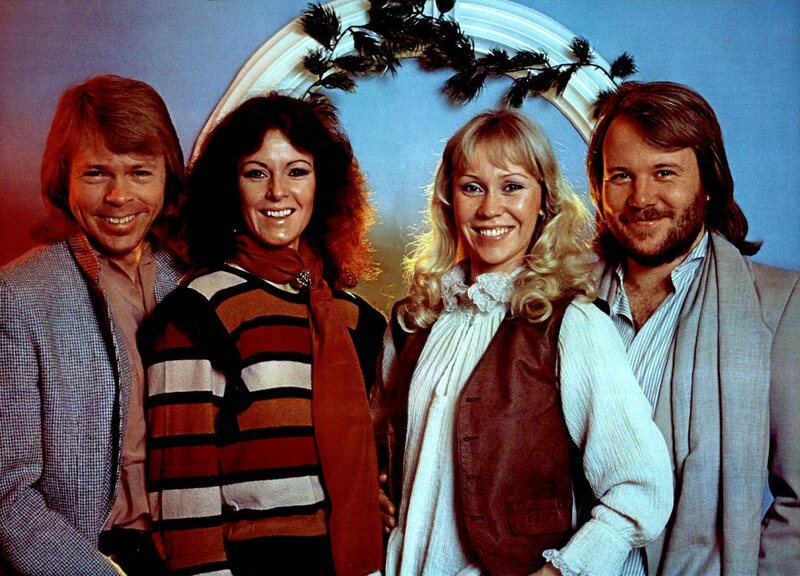 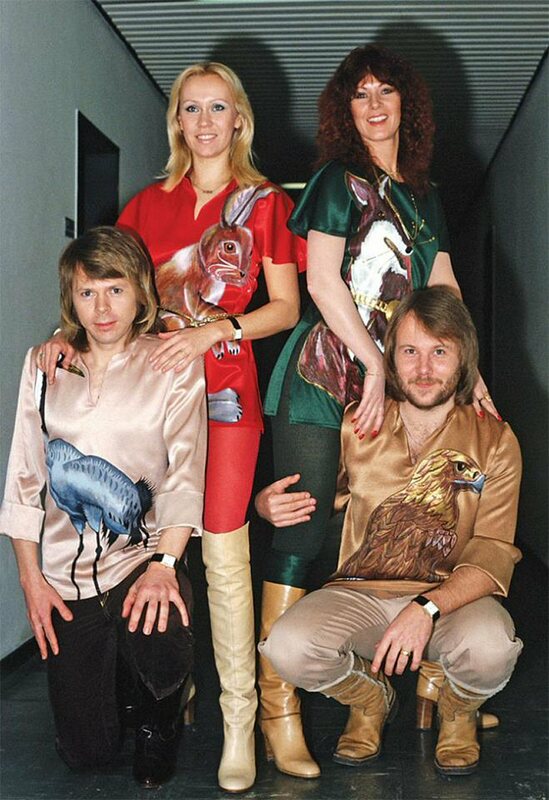 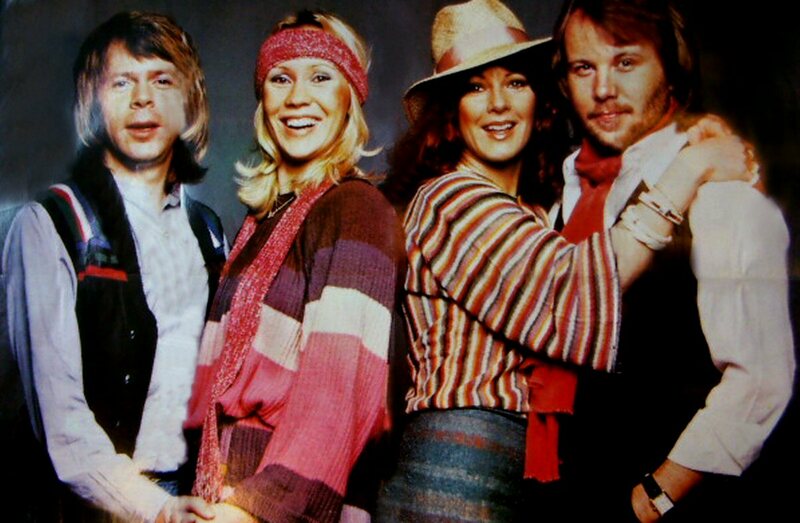 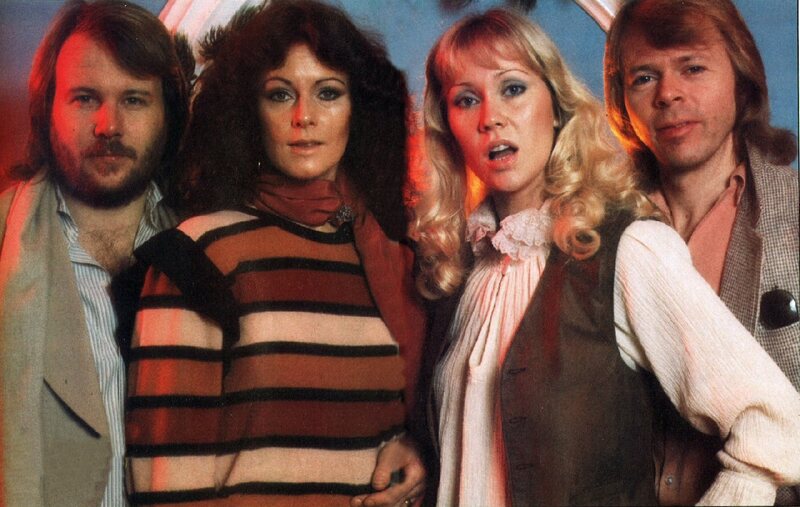 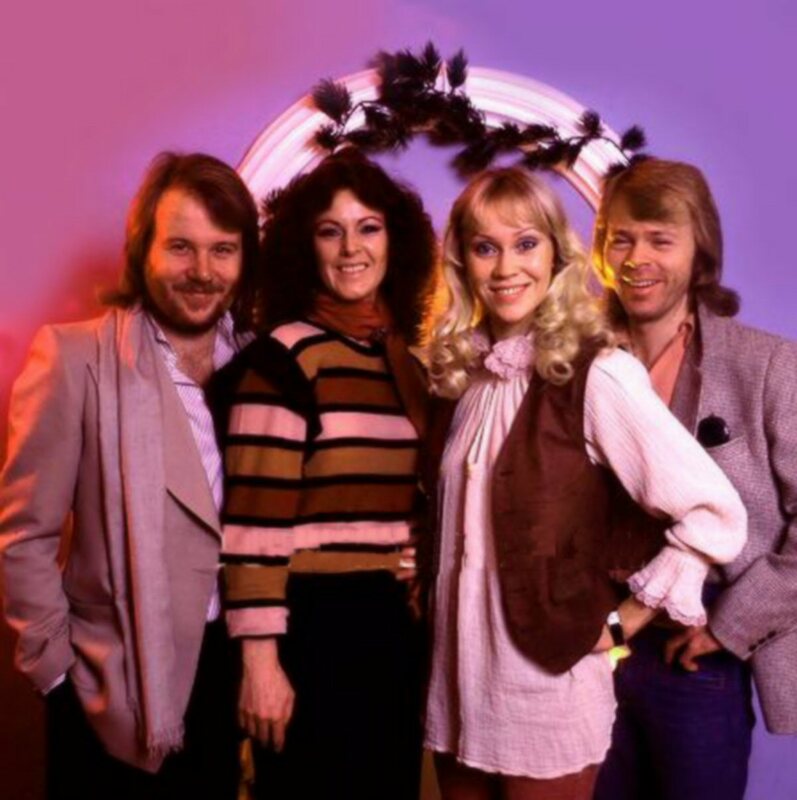 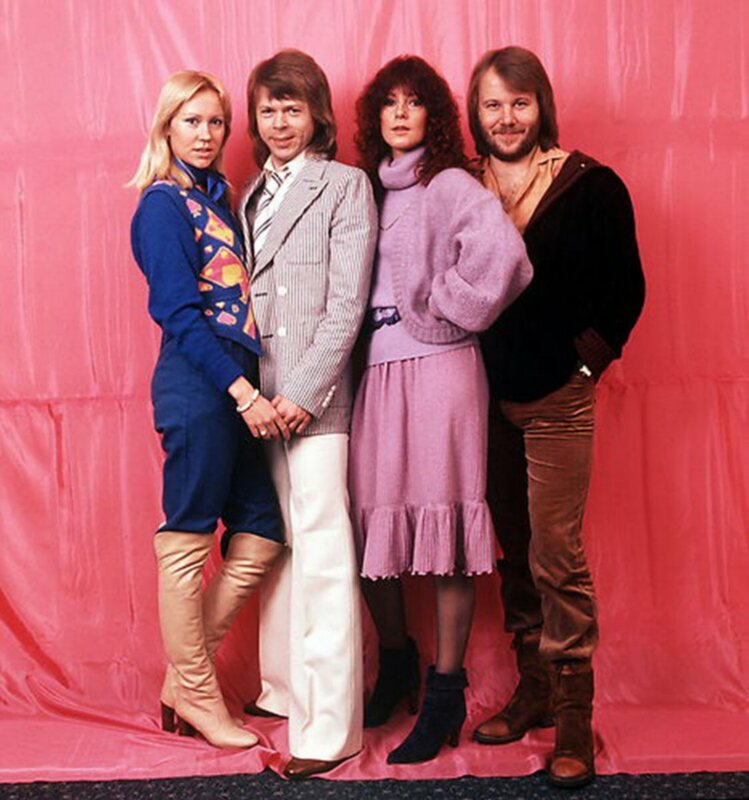 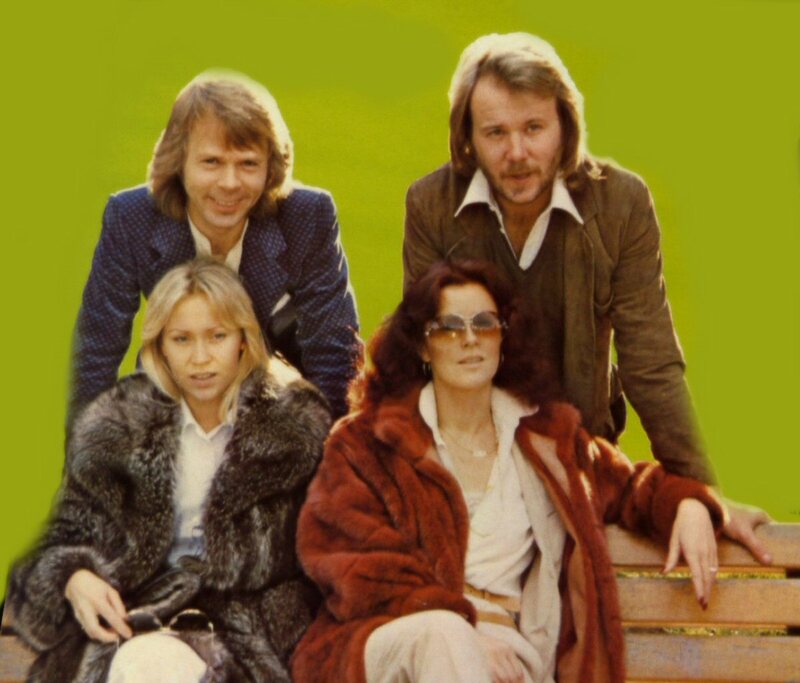 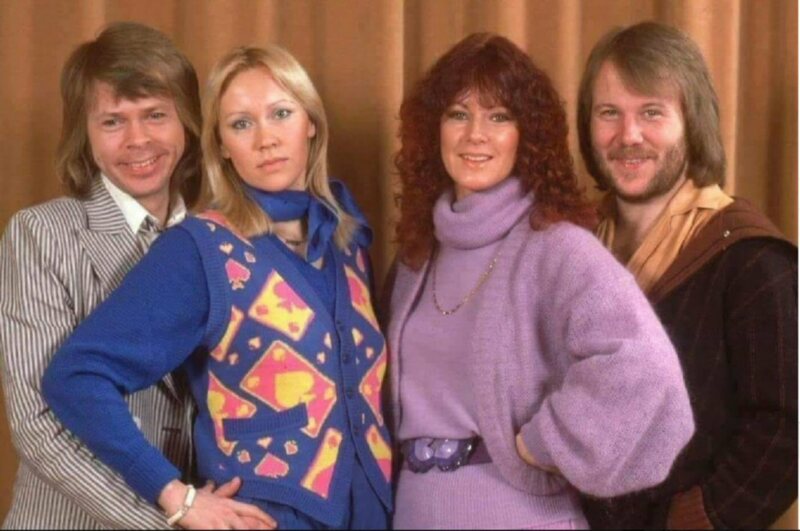 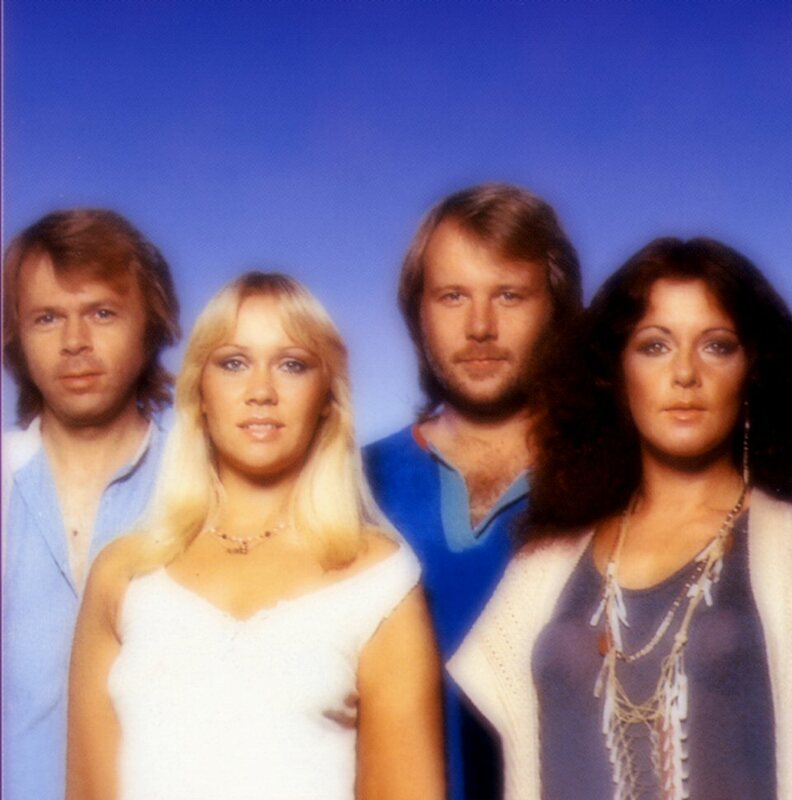 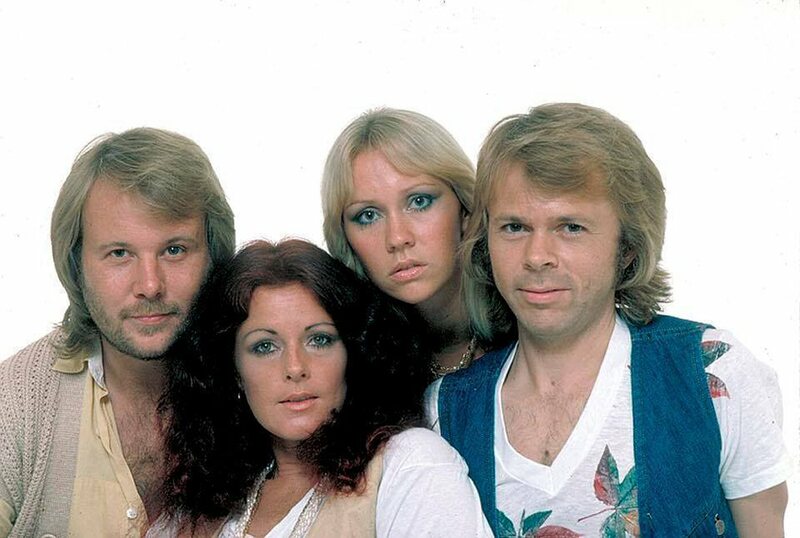 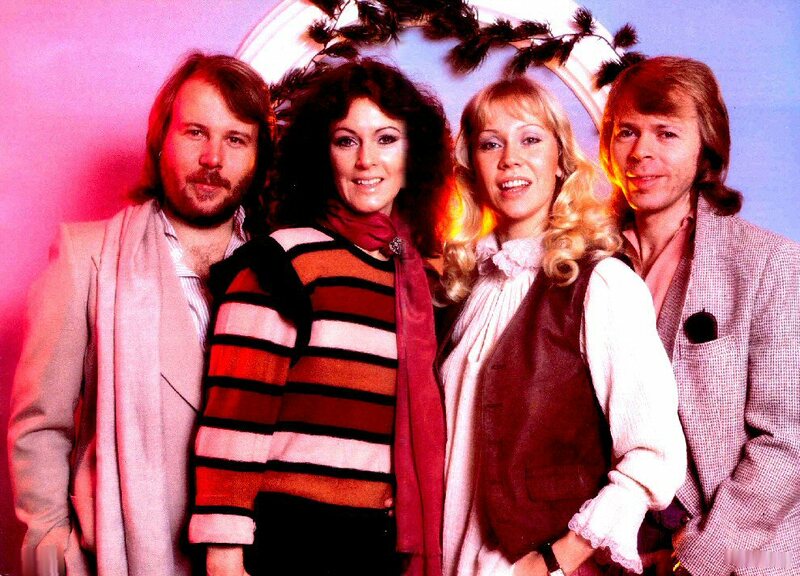 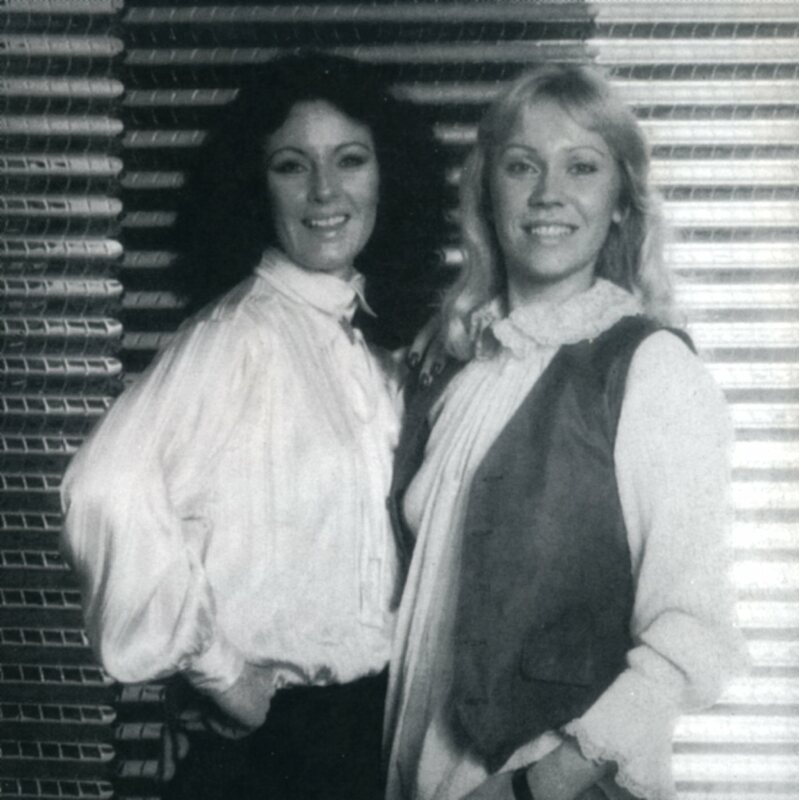 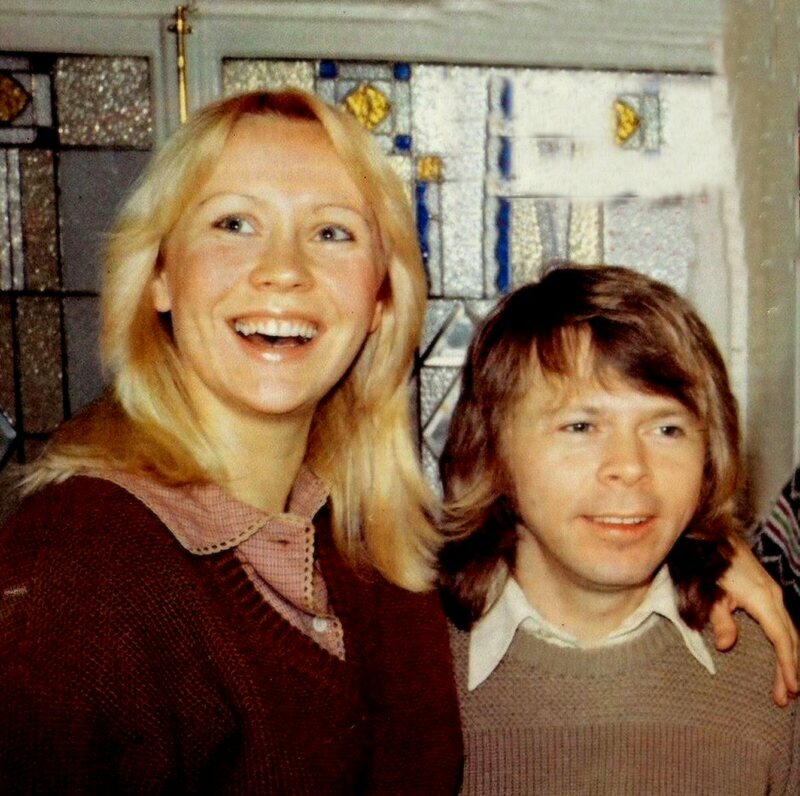 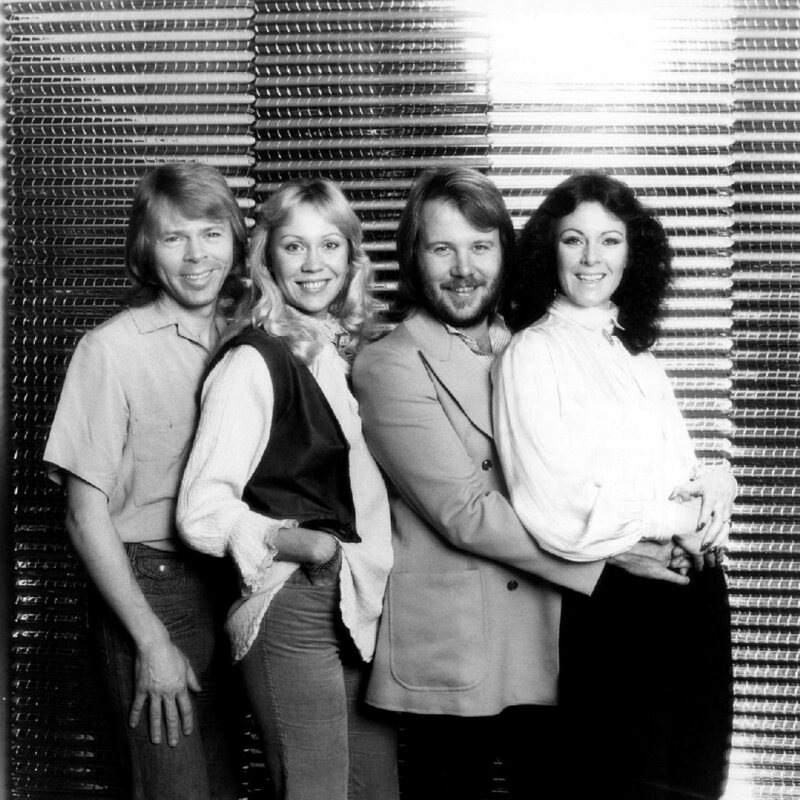 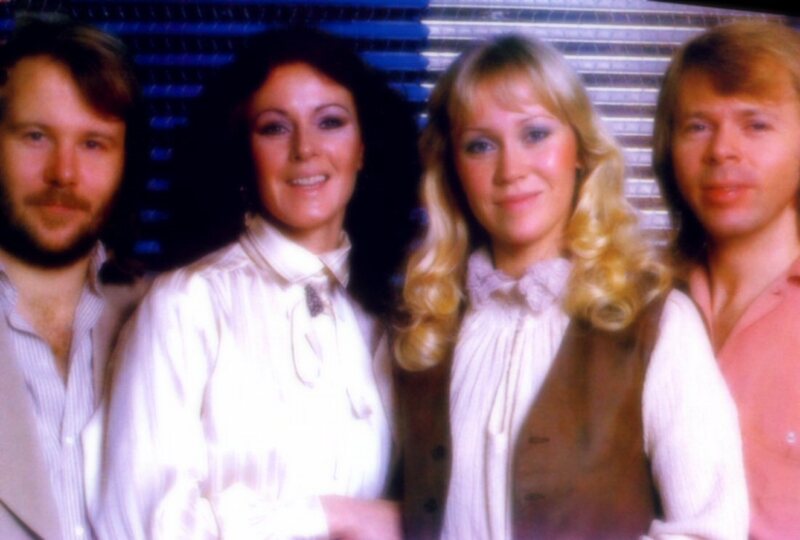 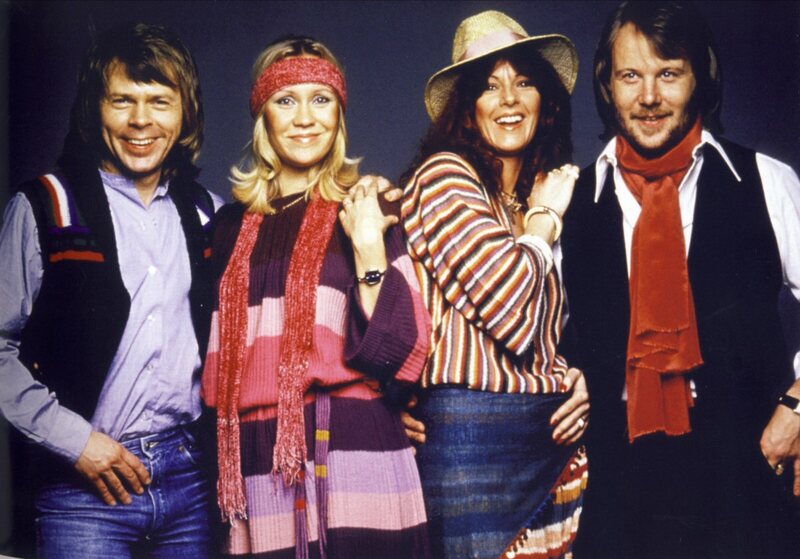 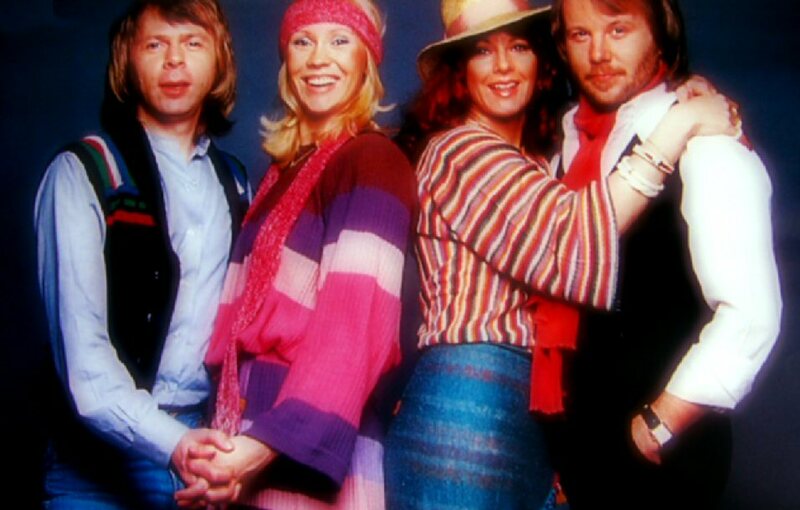 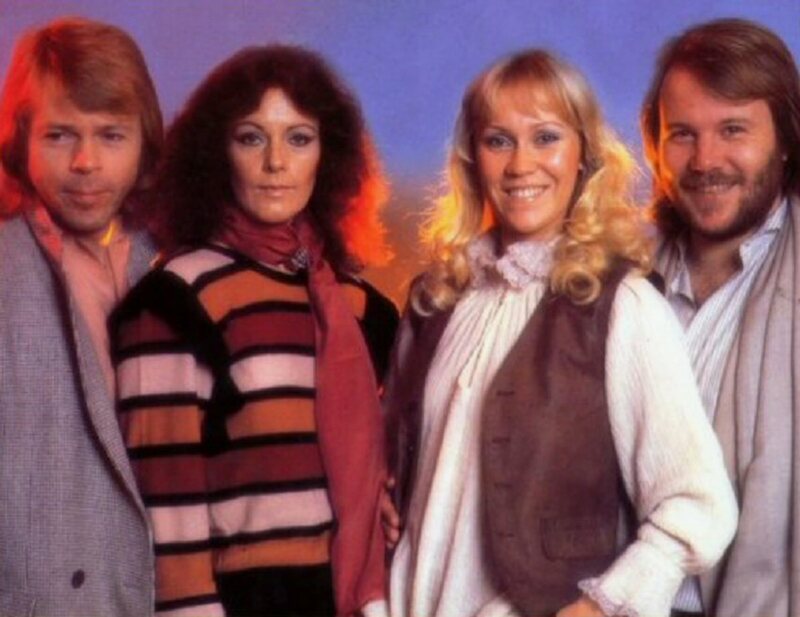 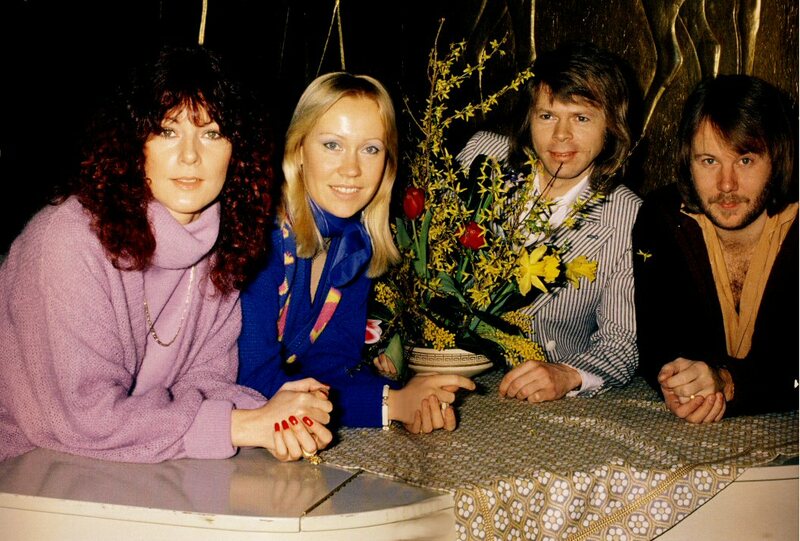 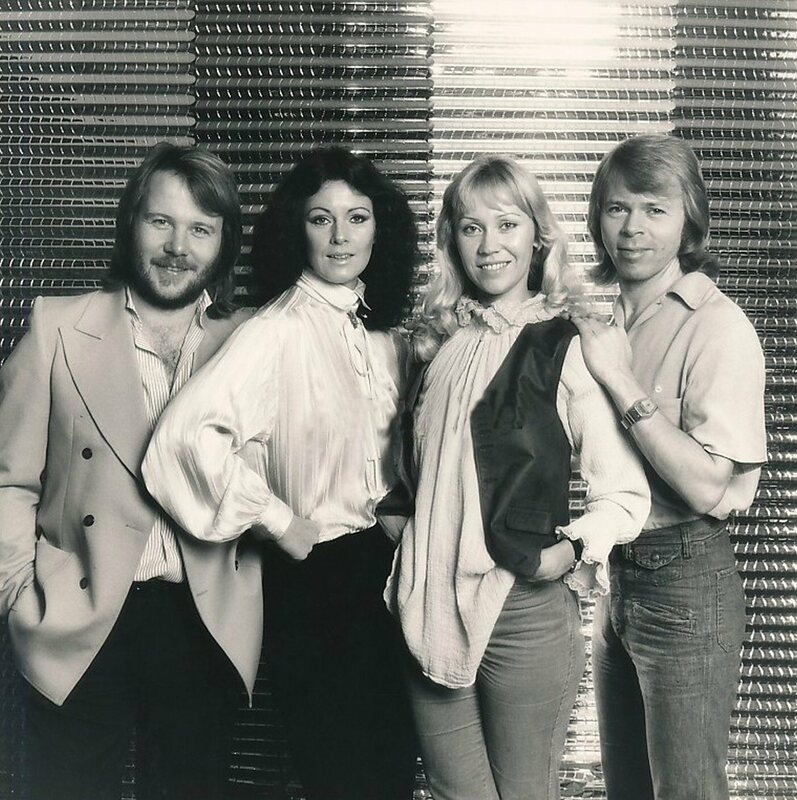 In the late autumn of 1978 ABBA were photographed at their office. 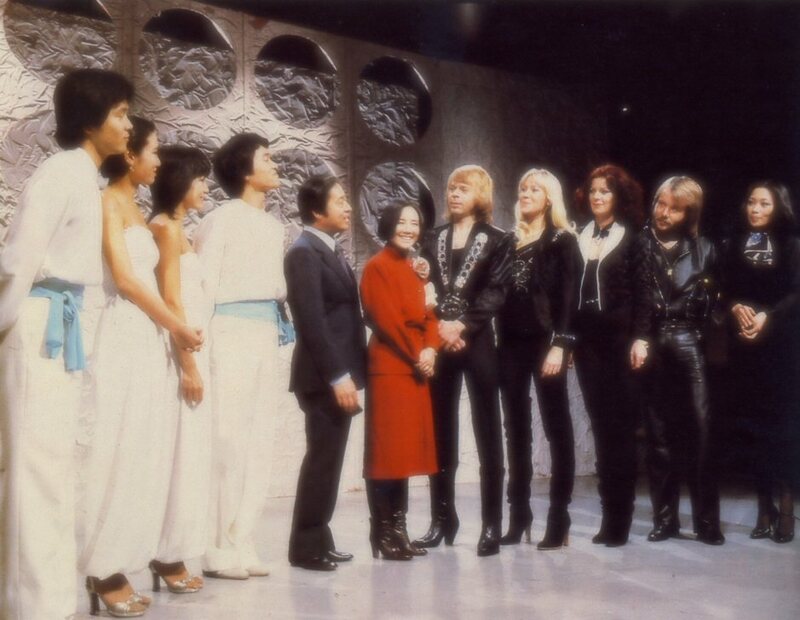 A new official photo session was taken as well. 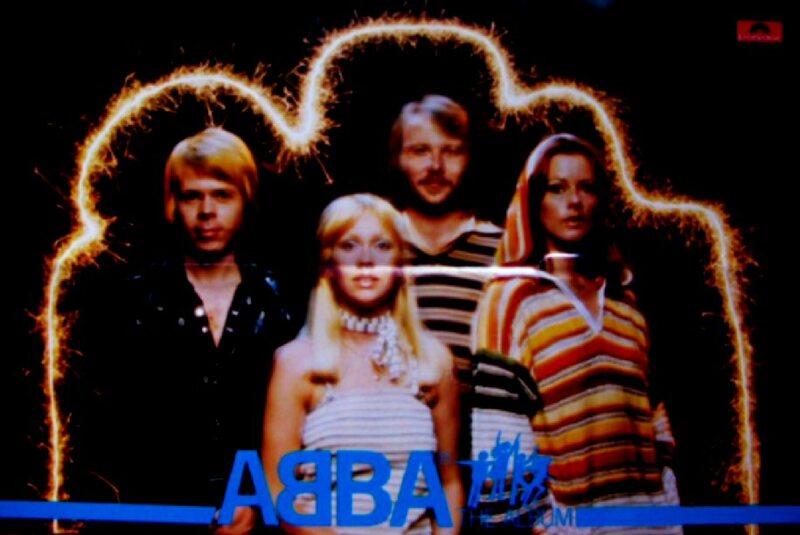 One of the shots from this session would be chosen some months later for the cover of the new single "Chiquitita" in January 1979. 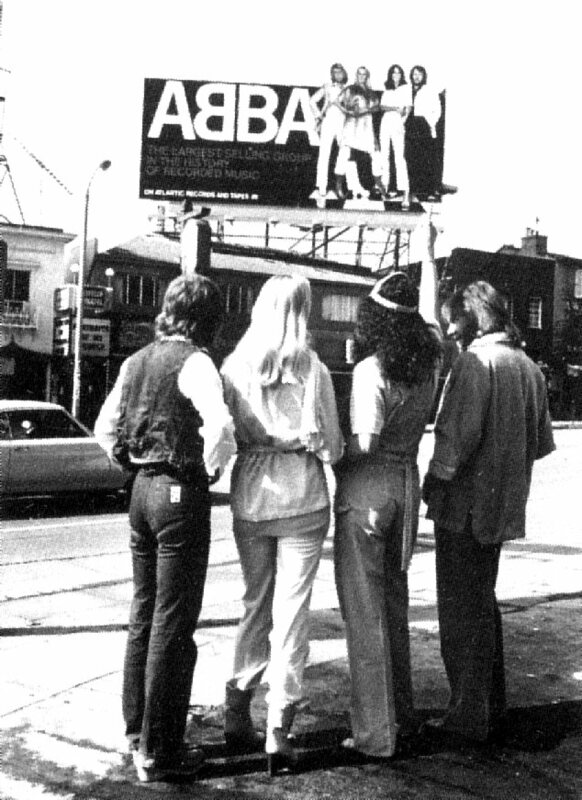 More ABBA pictures taken the same day. 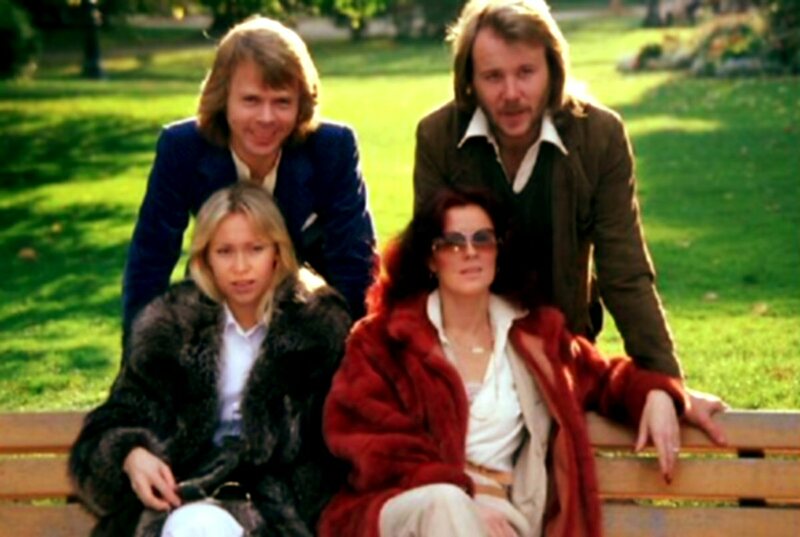 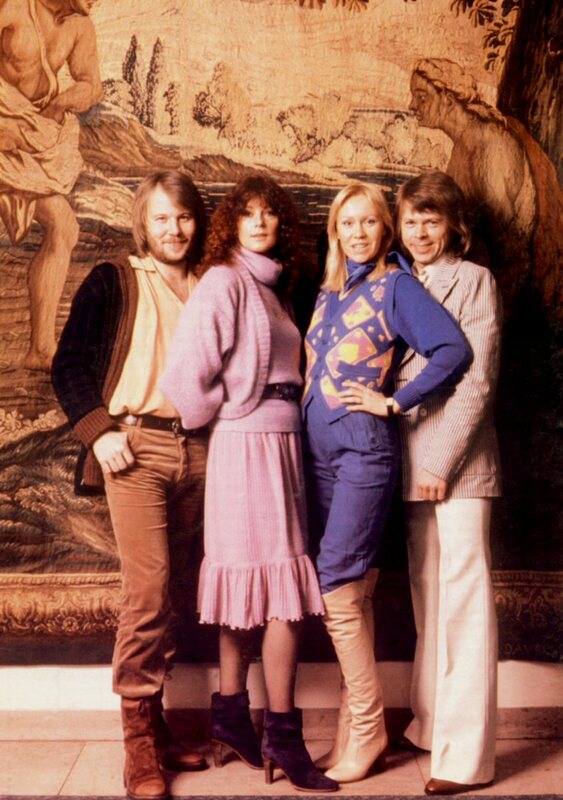 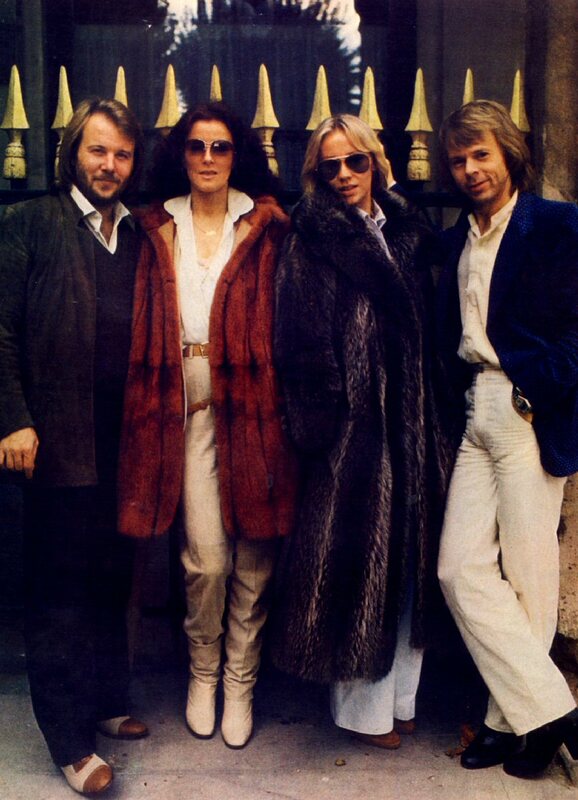 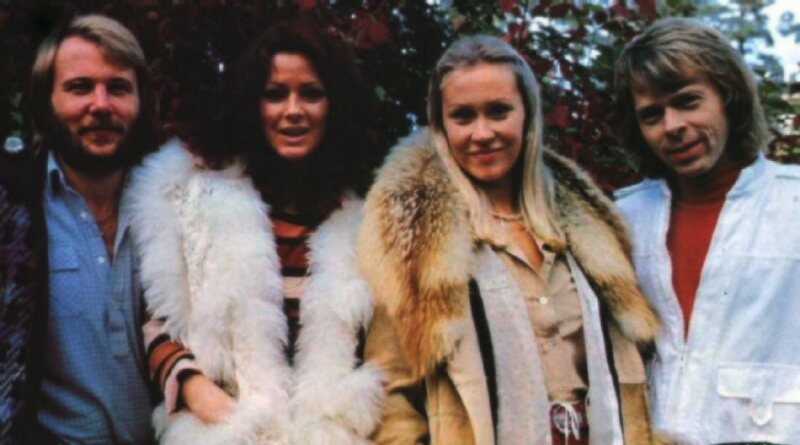 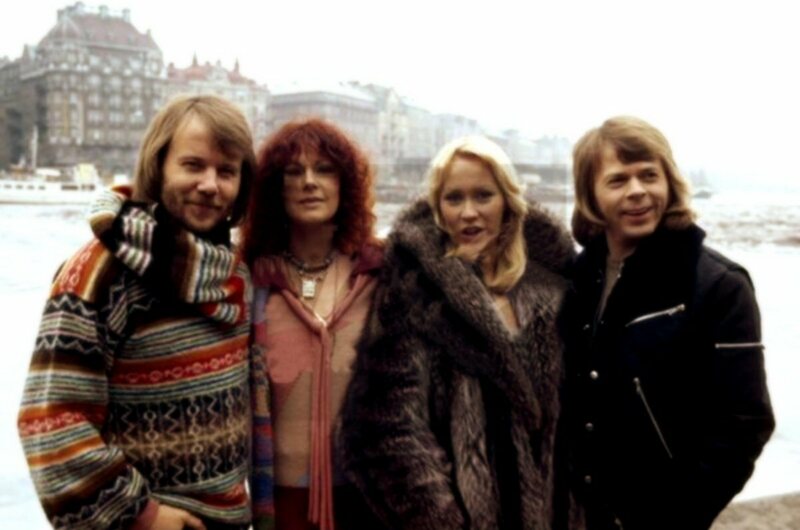 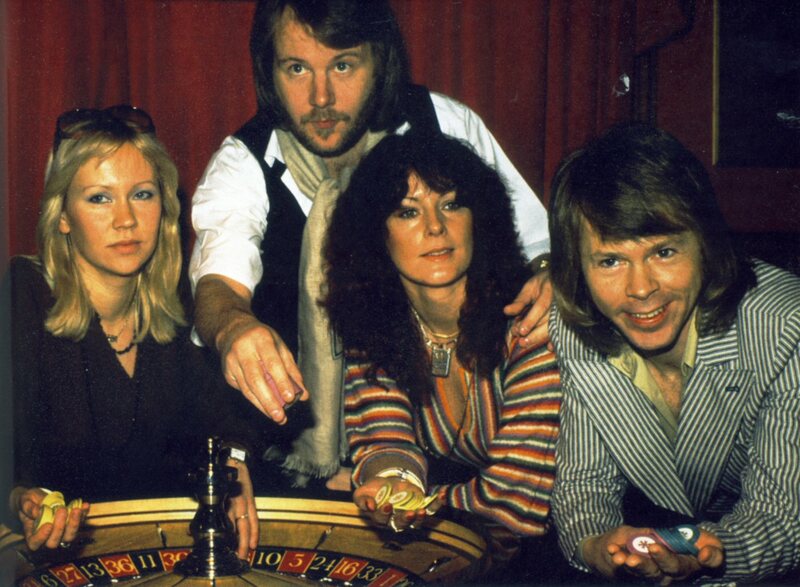 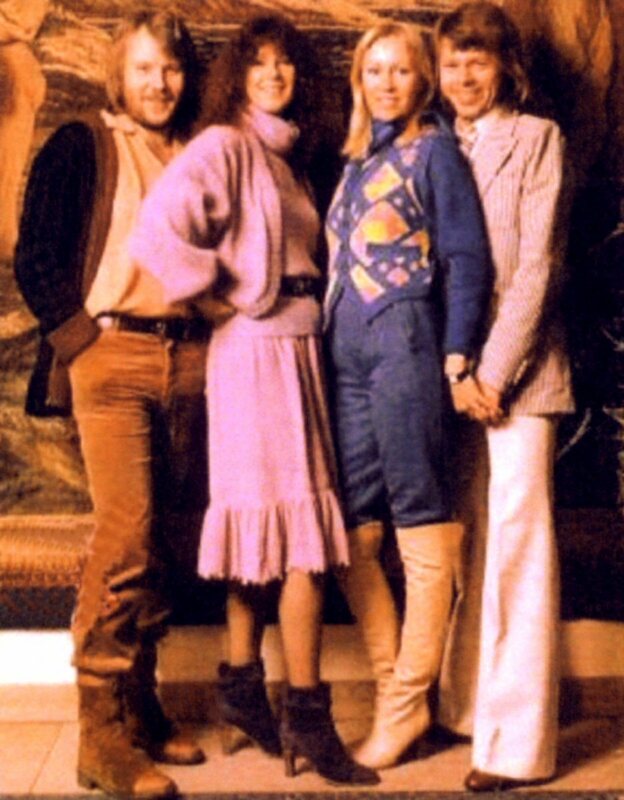 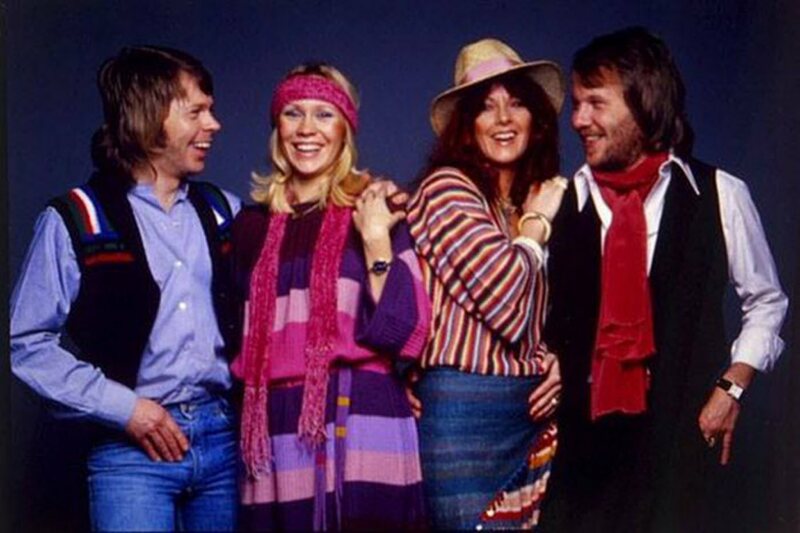 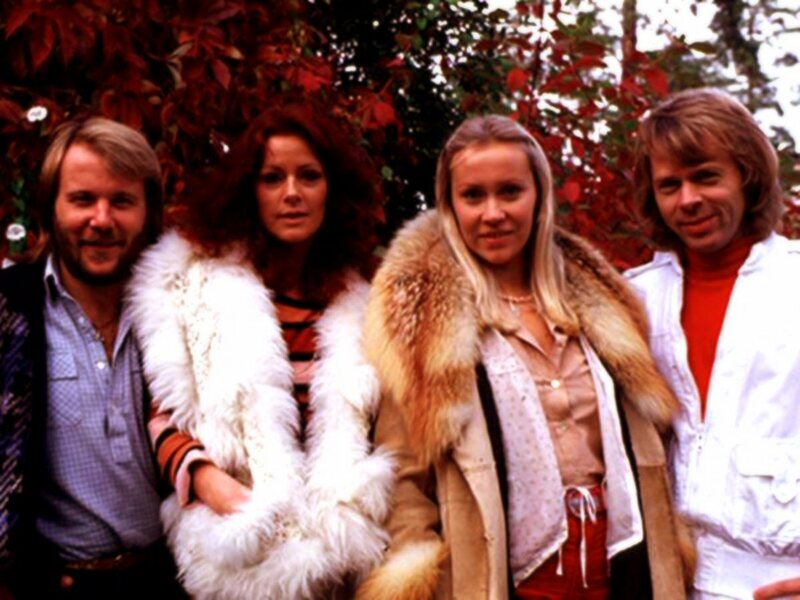 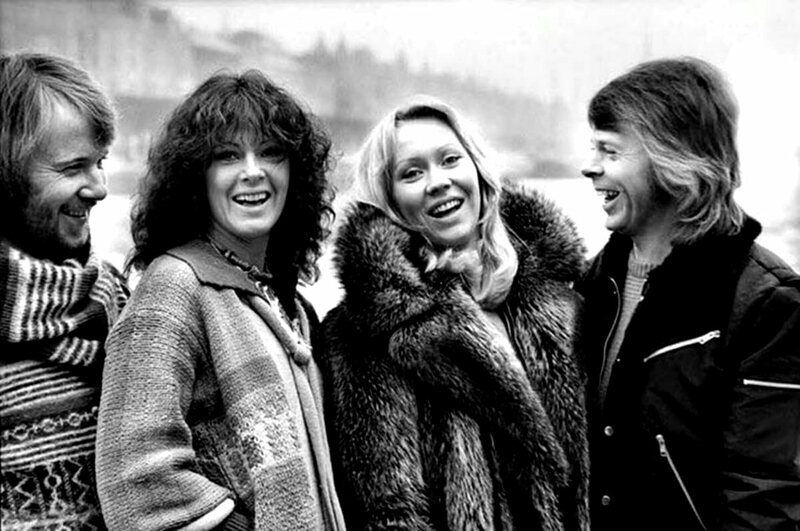 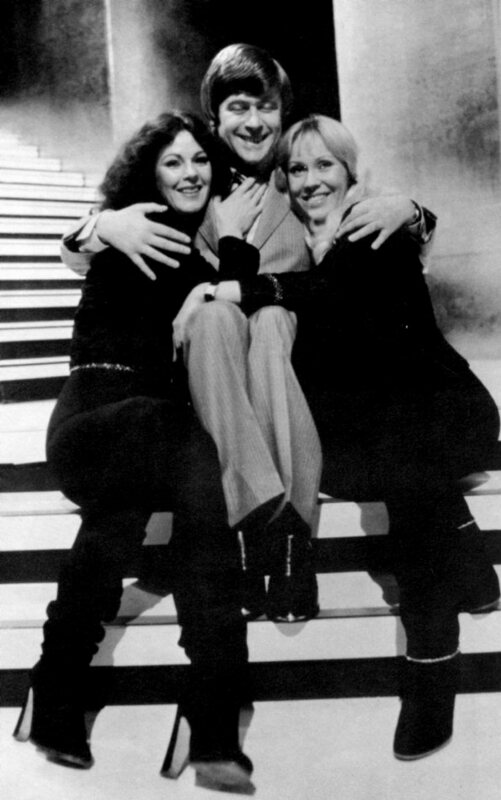 During autumn and winter 1978 ABBA continued with their recording sessions for the album "Voulez-Vous" as well as they posed for international photographers in Stockholm. 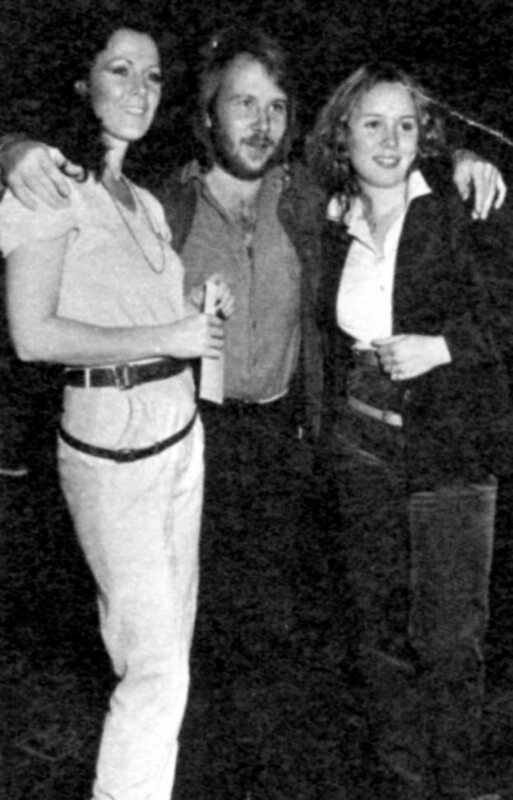 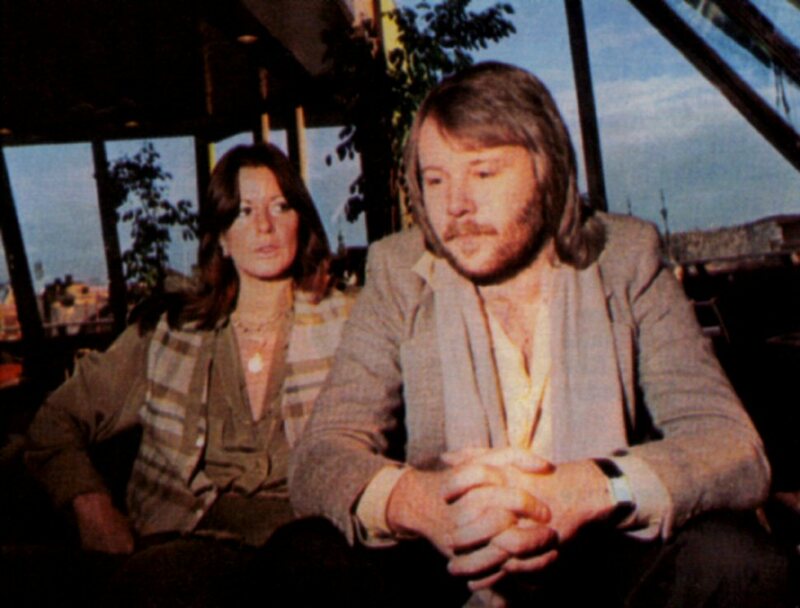 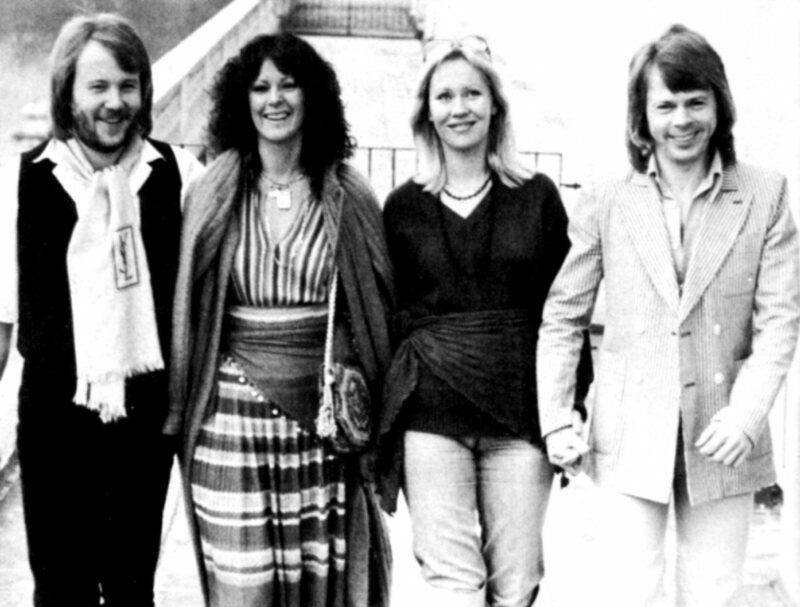 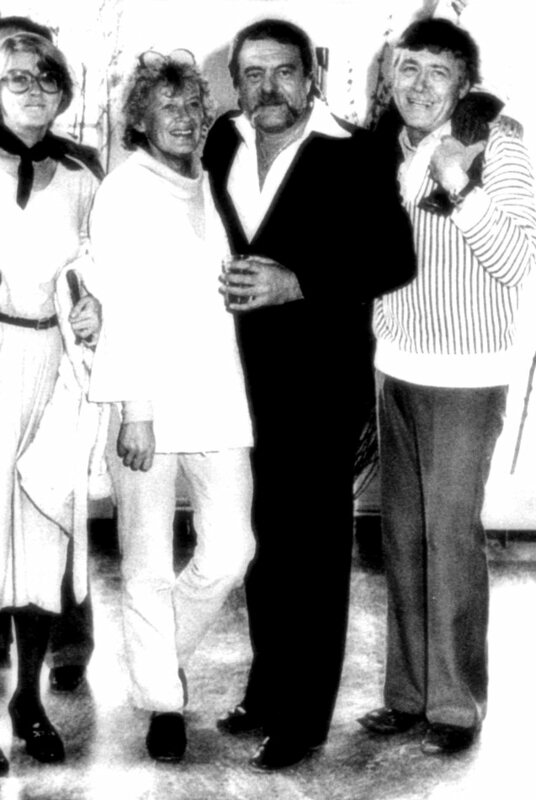 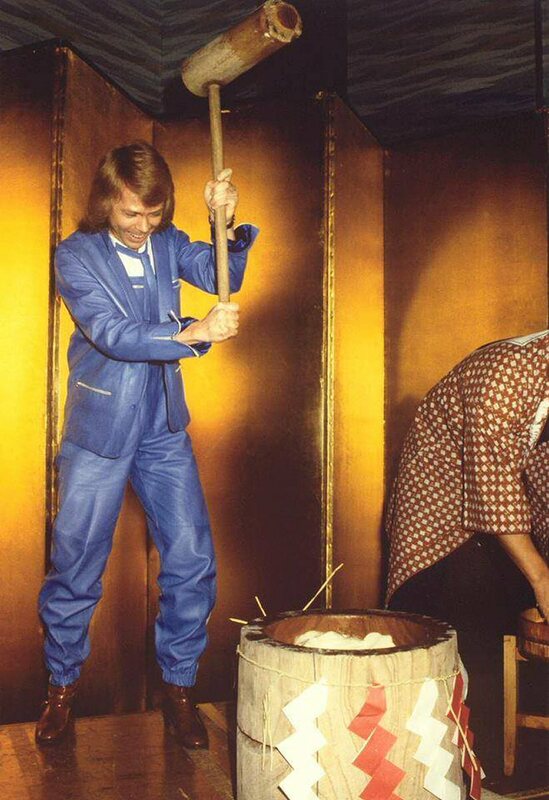 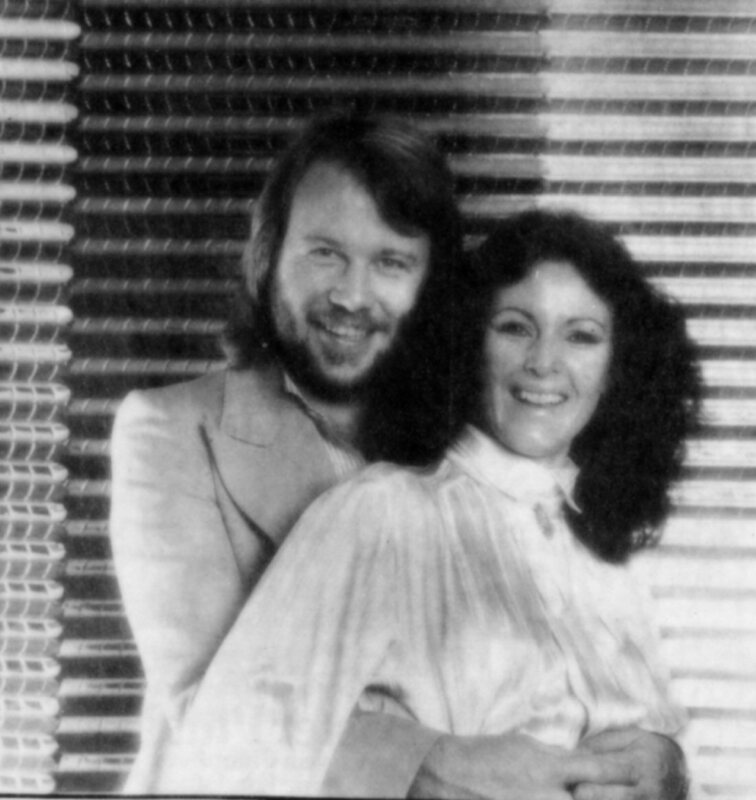 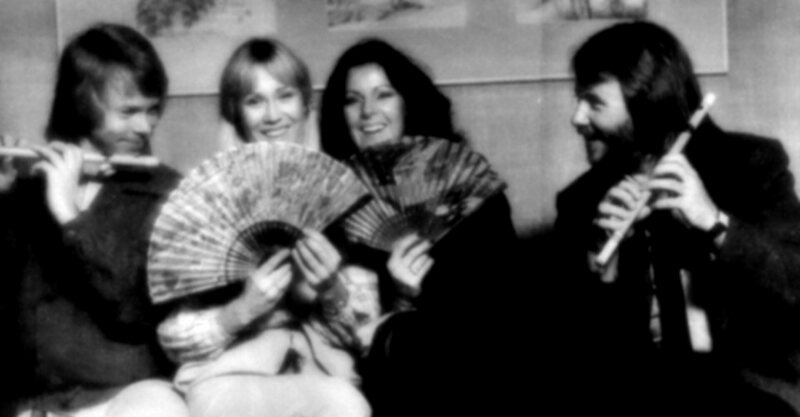 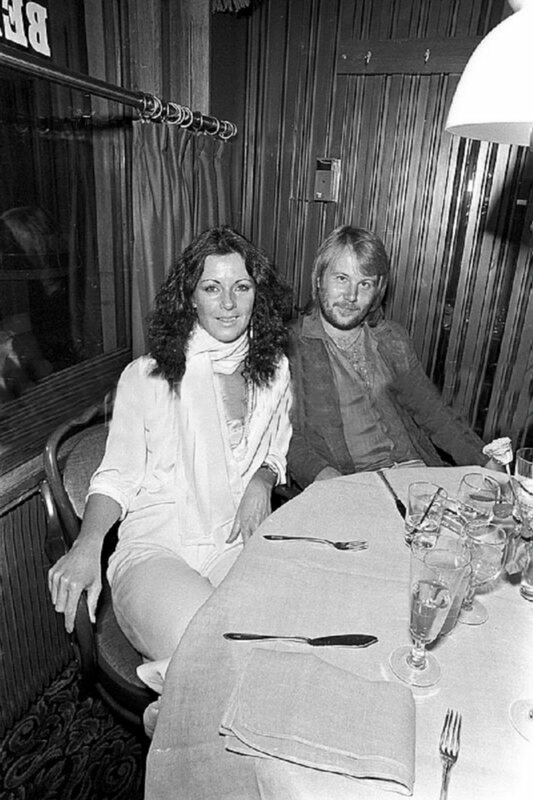 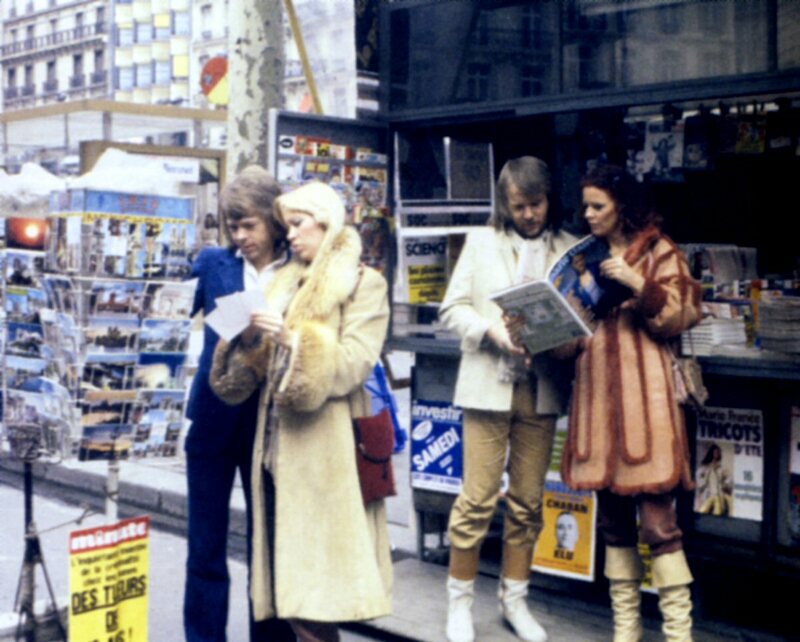 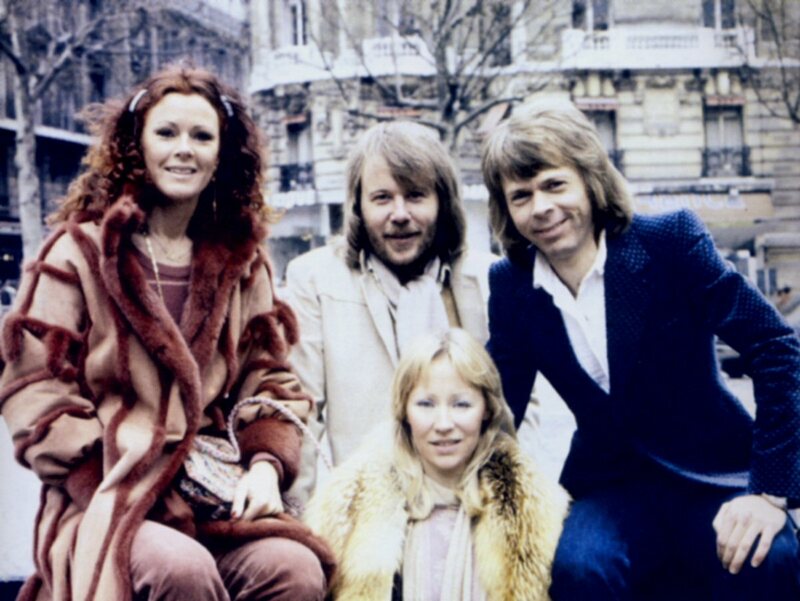 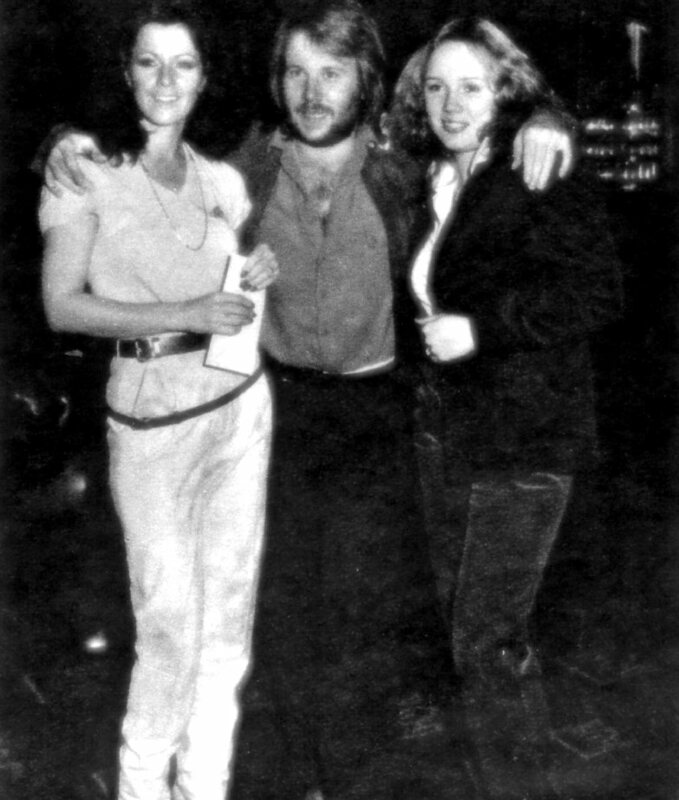 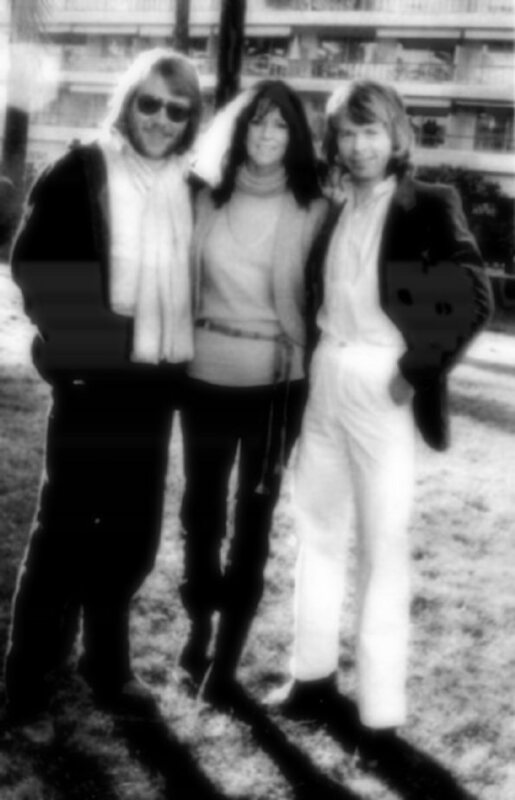 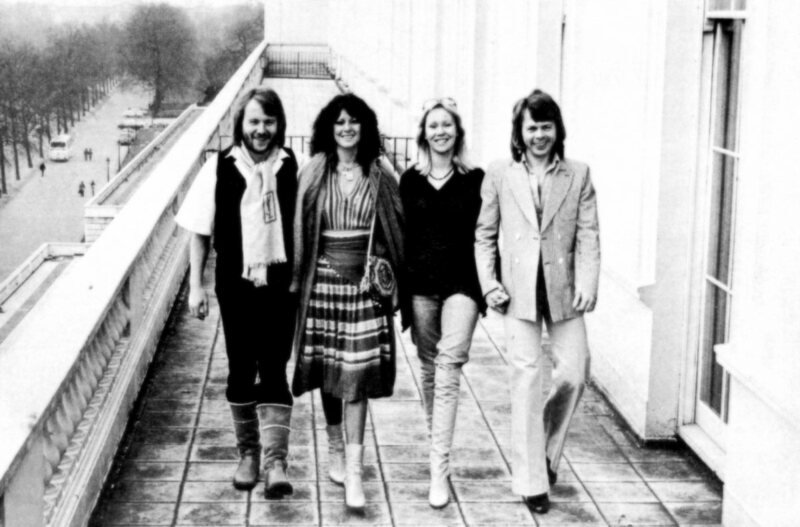 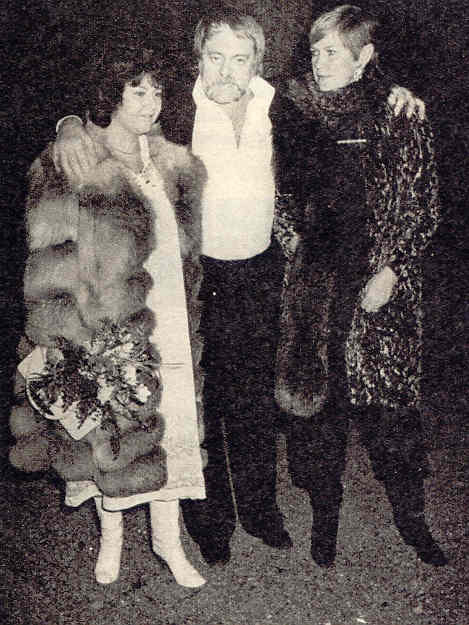 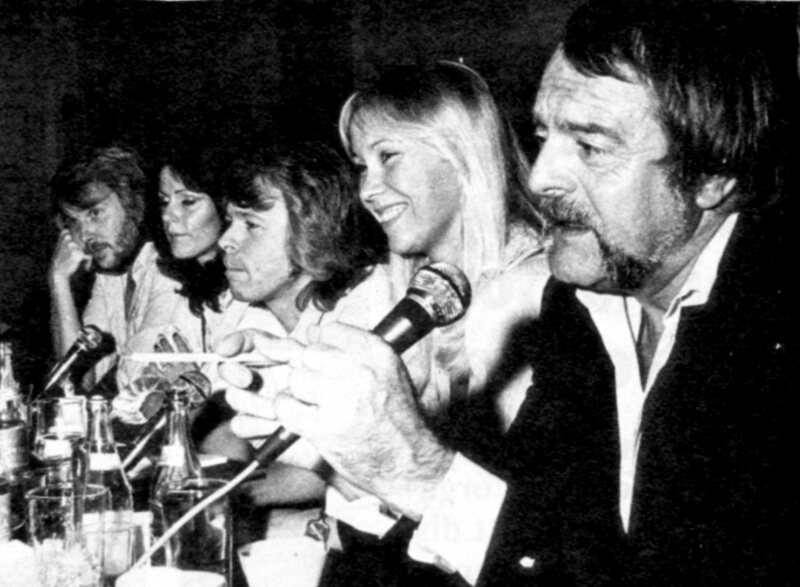 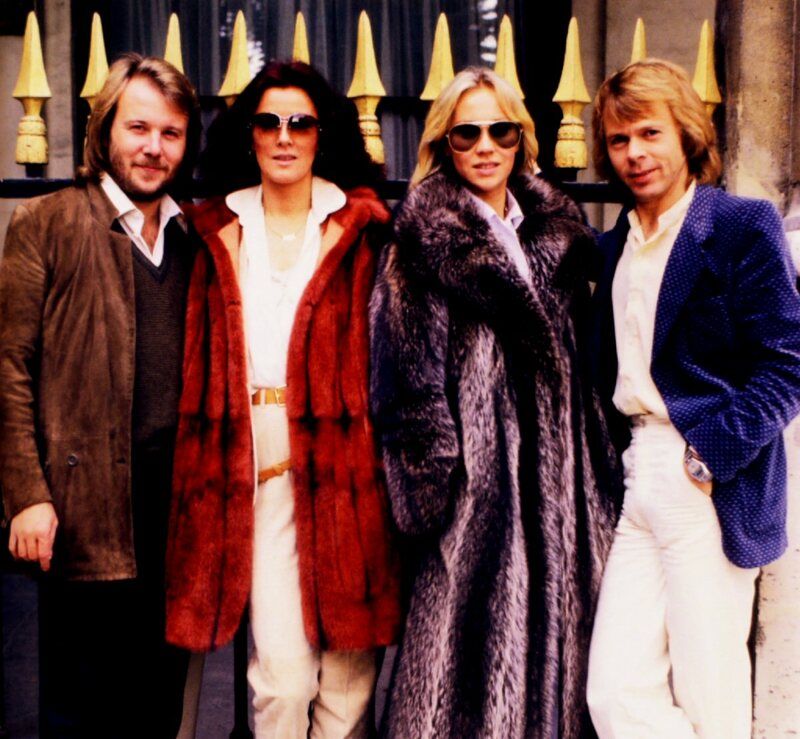 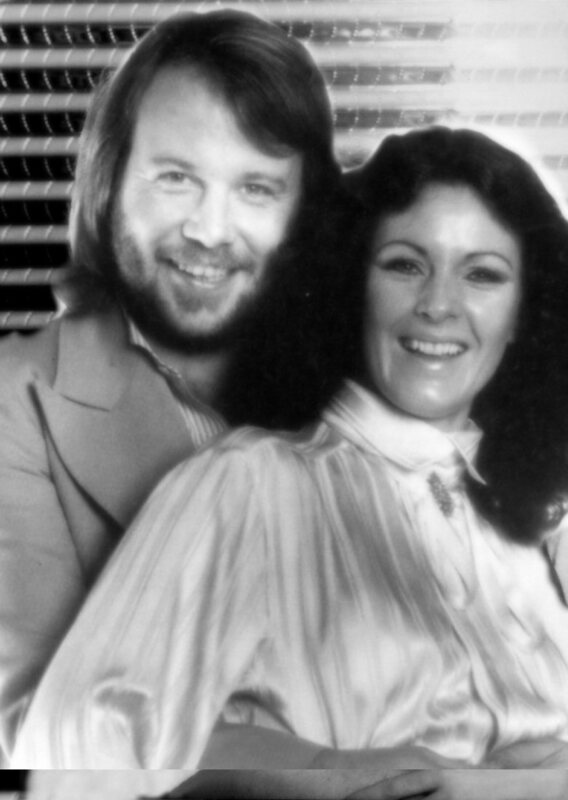 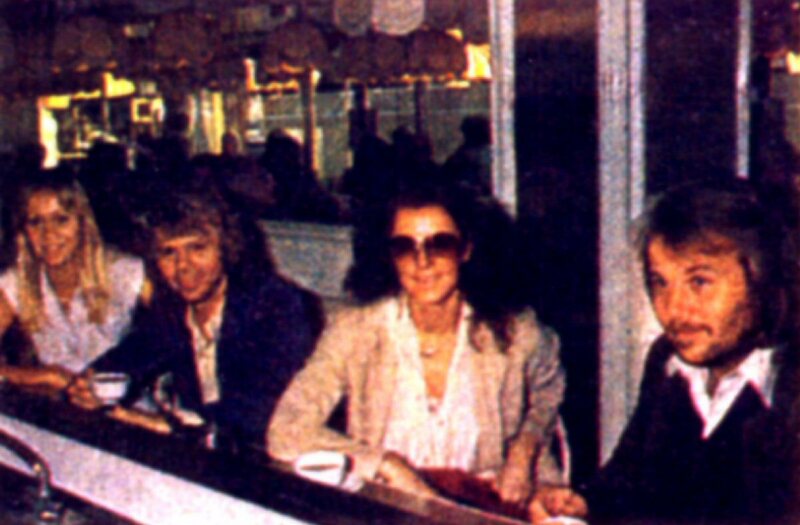 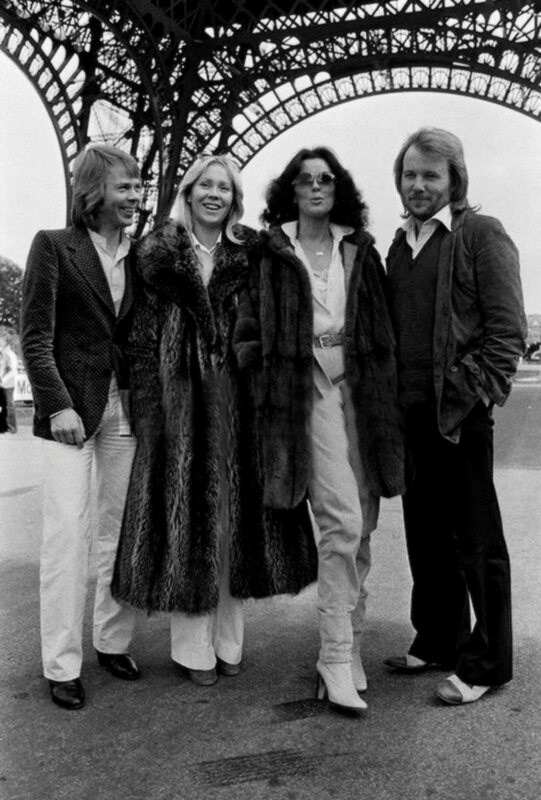 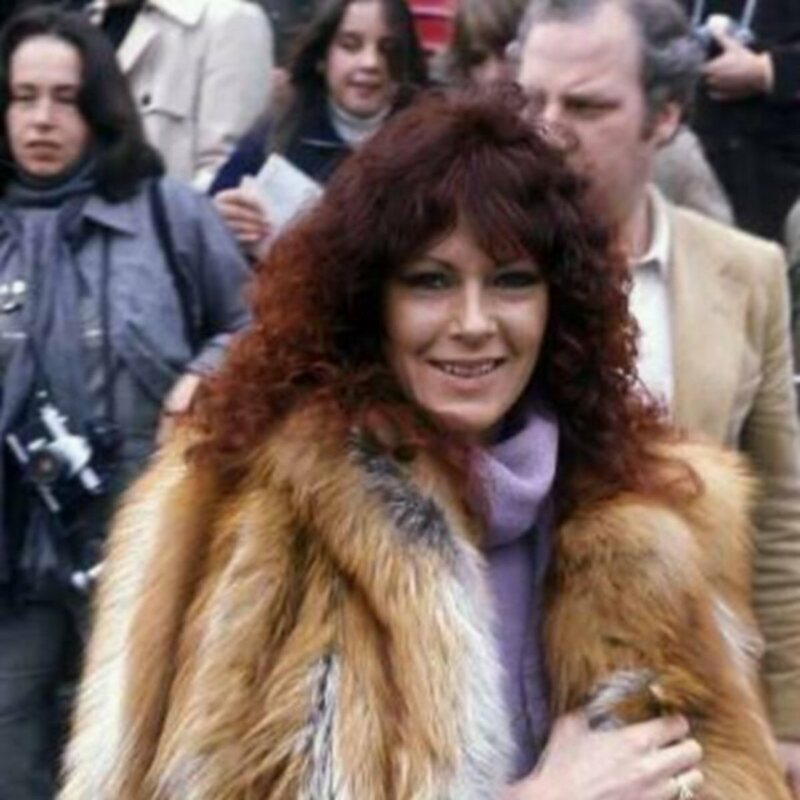 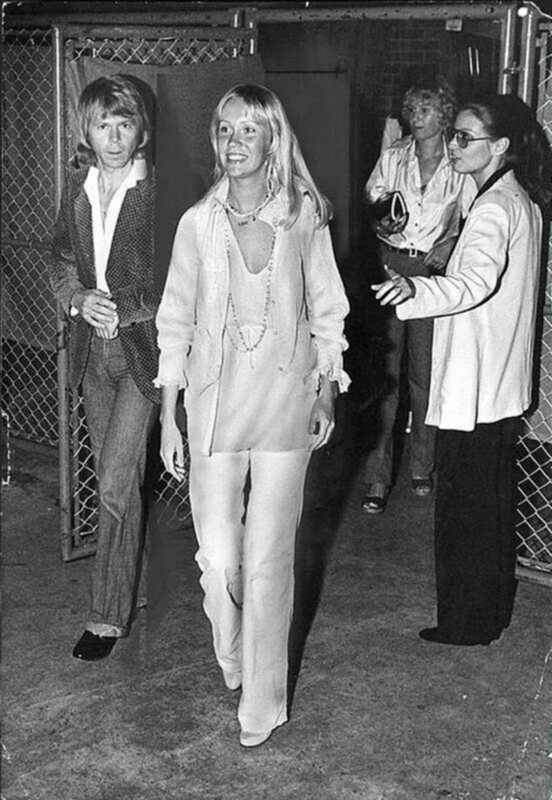 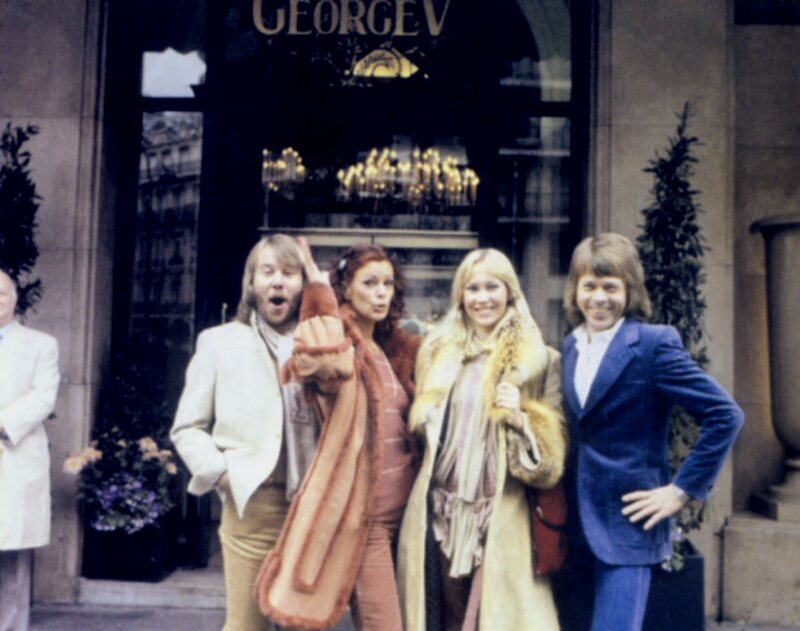 ABBA went to Paris for a short promotional trip on 18 October 1978. 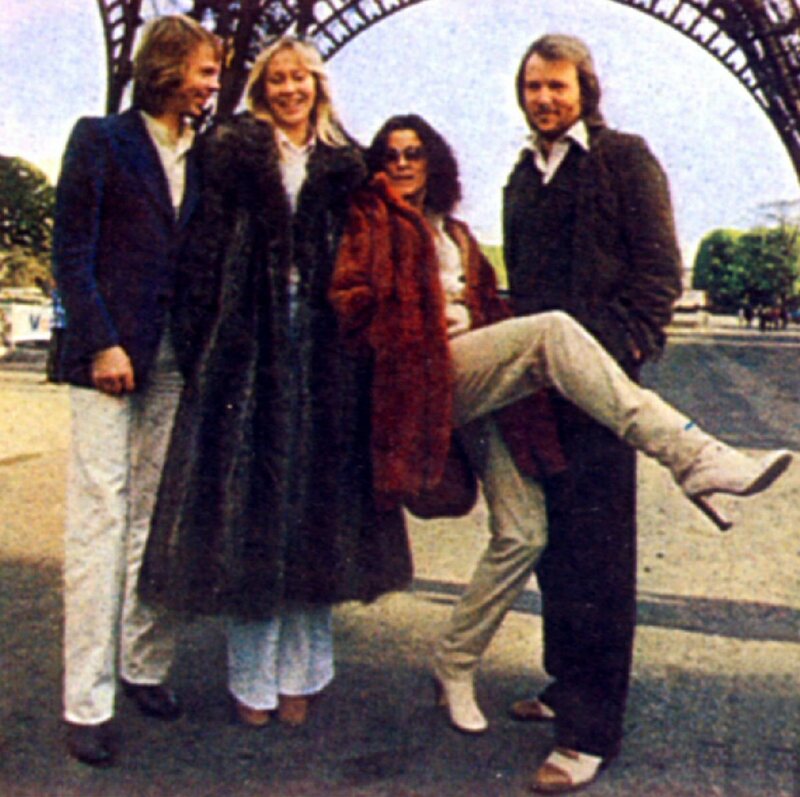 They participated in a TV show and posed for photos on various spots in the capital of France. 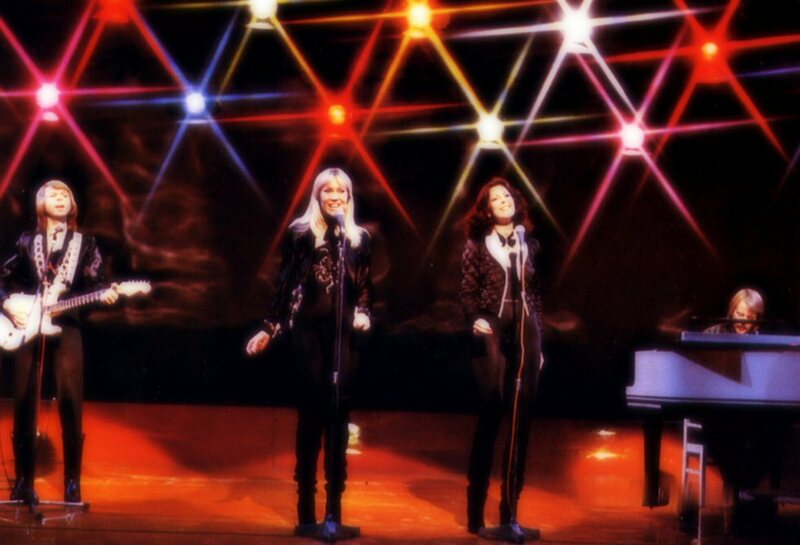 On the TV special "Top Club" they performed 6 songs. 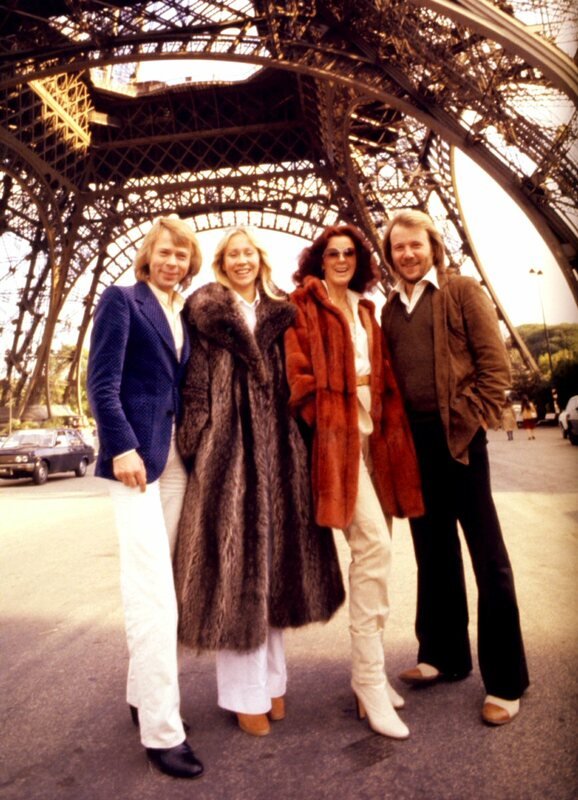 The French pop star Mireille Mathieu became ABBA's guide in Paris. 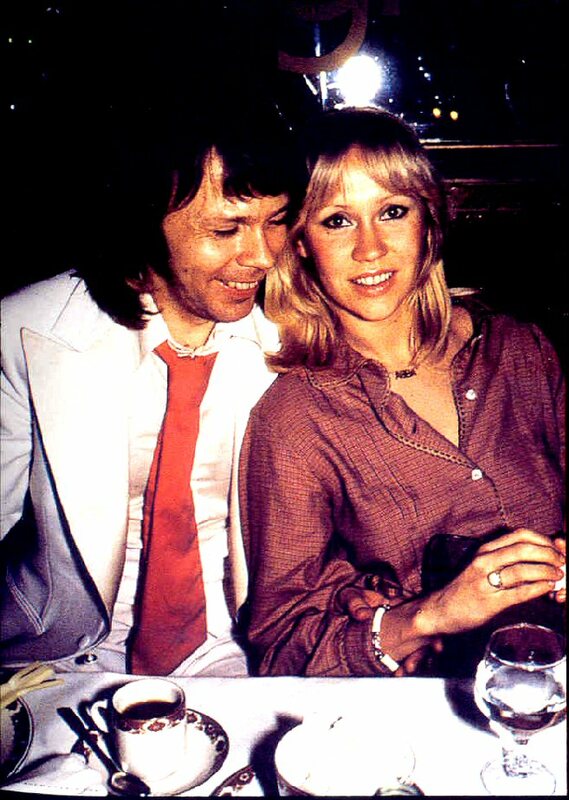 At the end of October Frida and Benny attended a special party in Stockholm at restaurant "Atlantic" which celebrated 1 year. 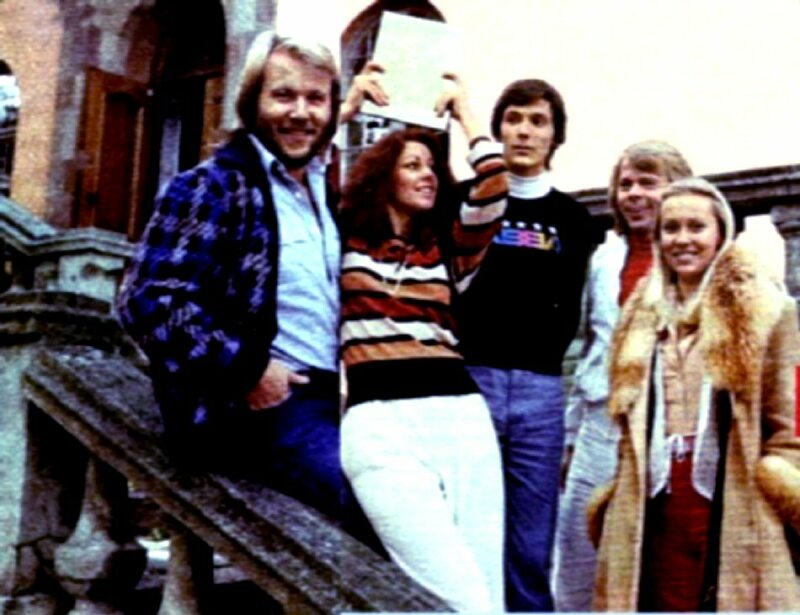 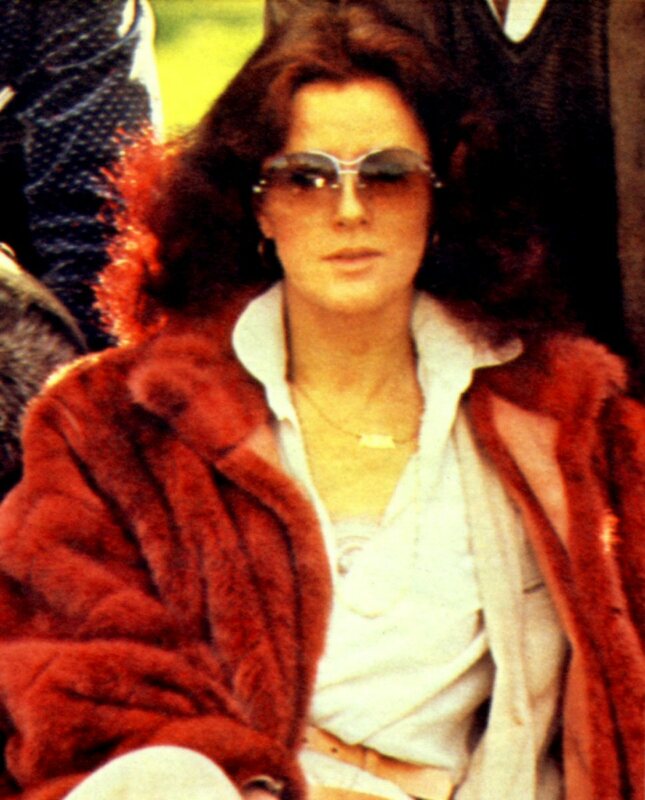 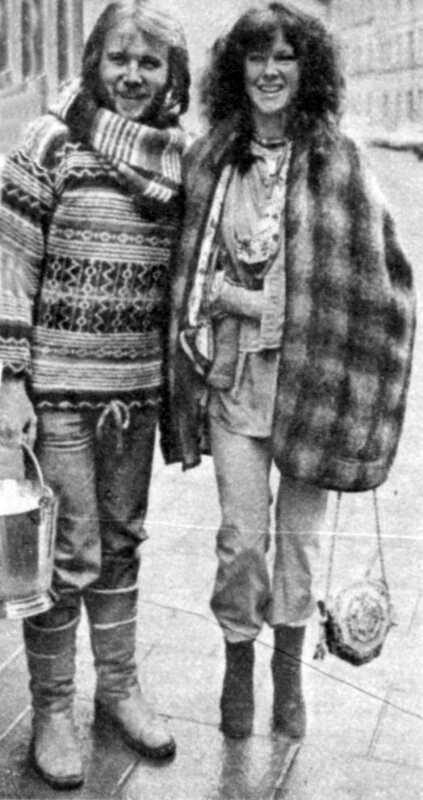 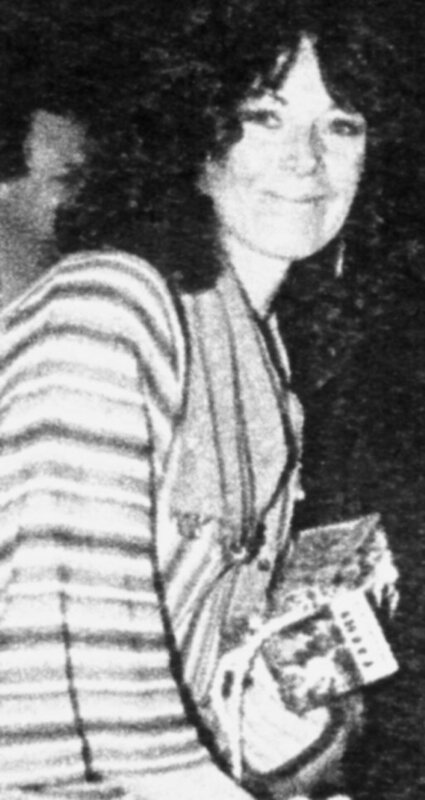 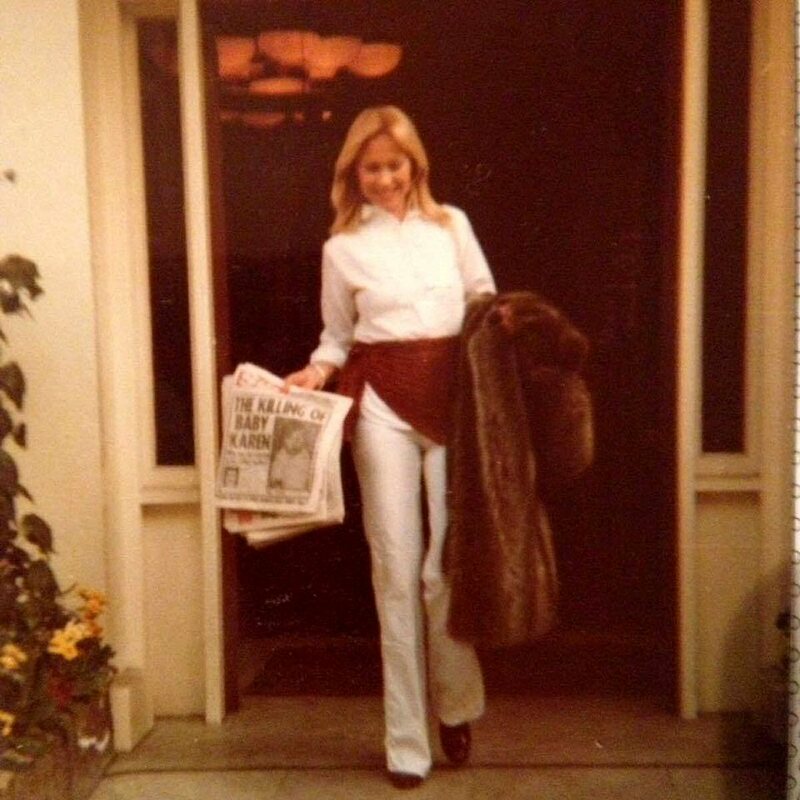 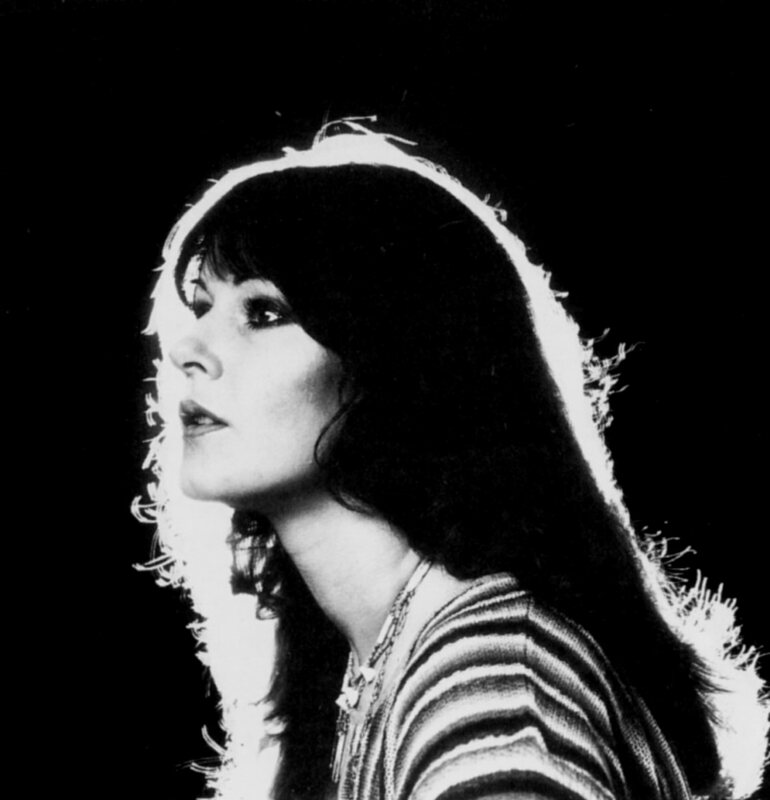 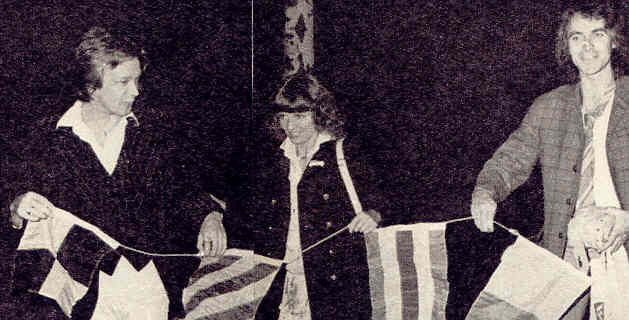 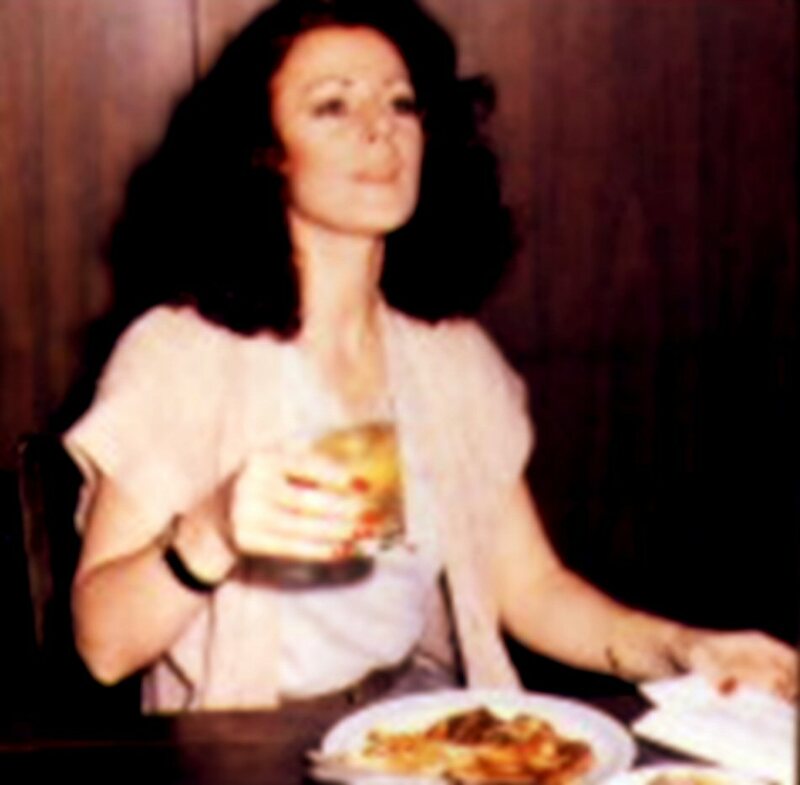 The American magazine "Time" followed the group members with camera in Stockholm in the late autumn 1978. 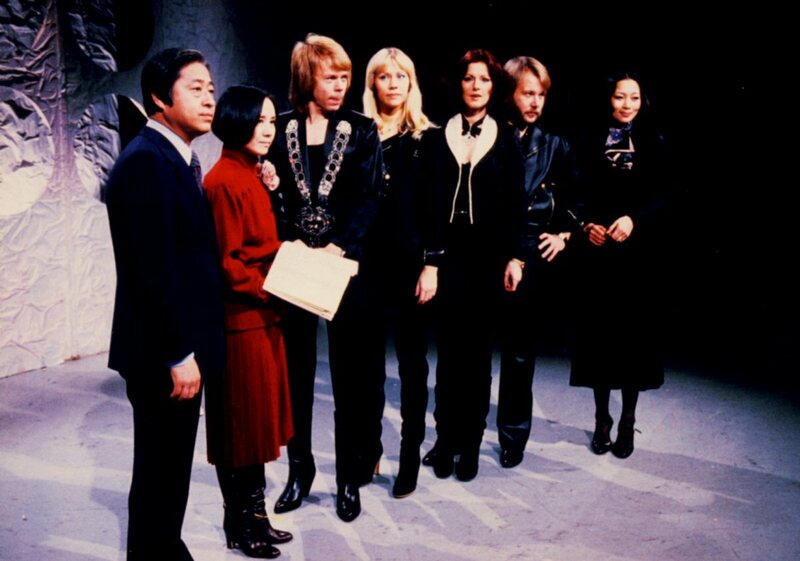 The Japanese press and TV followed the group during their stay in Japan and the group participated in different TV shows as well as they had a big press conference and talked in live radio shows. 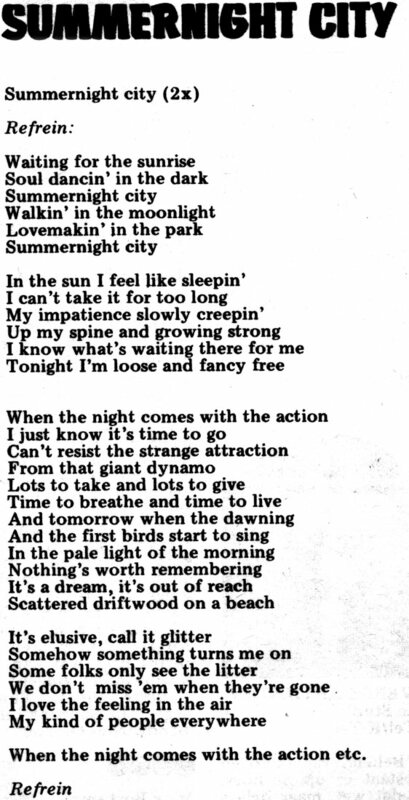 At that time "If It Wasn't For The Nights" was planned to be the first single announcing the upcoming new album in 1979. 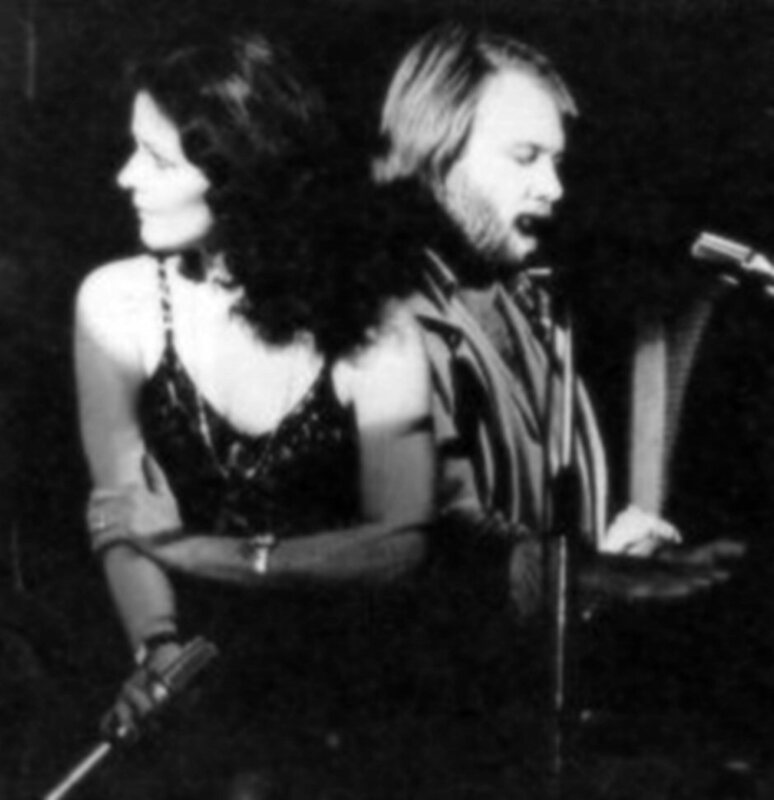 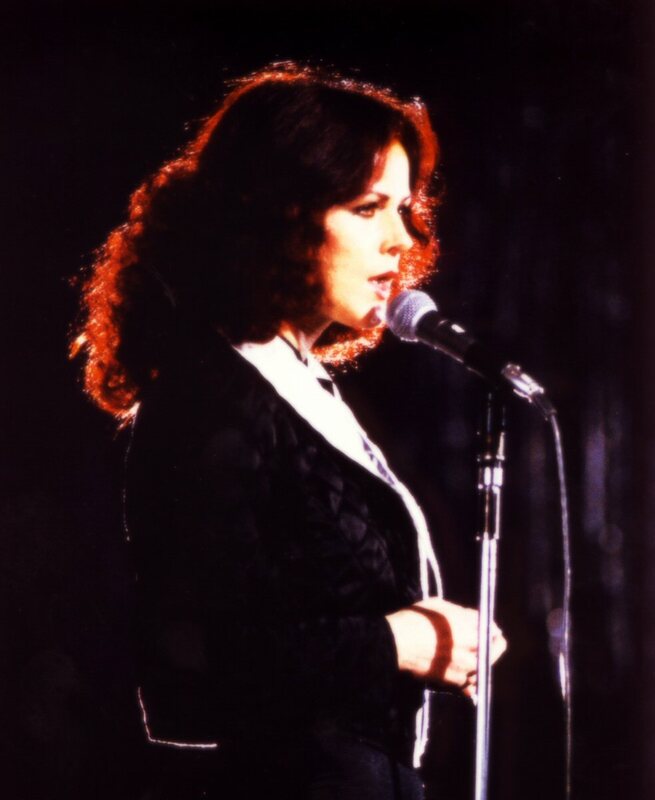 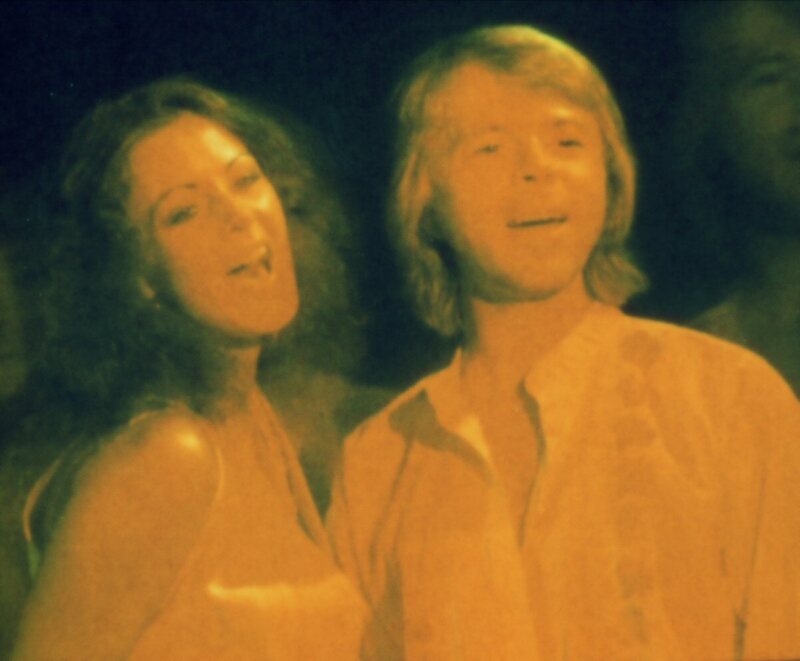 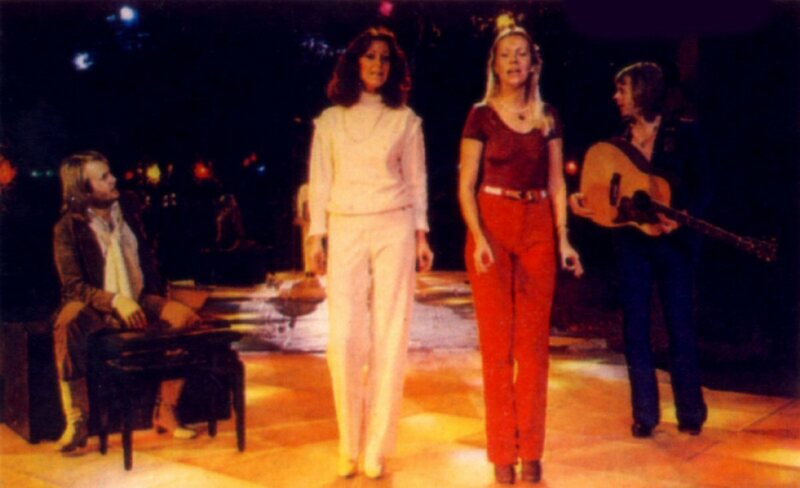 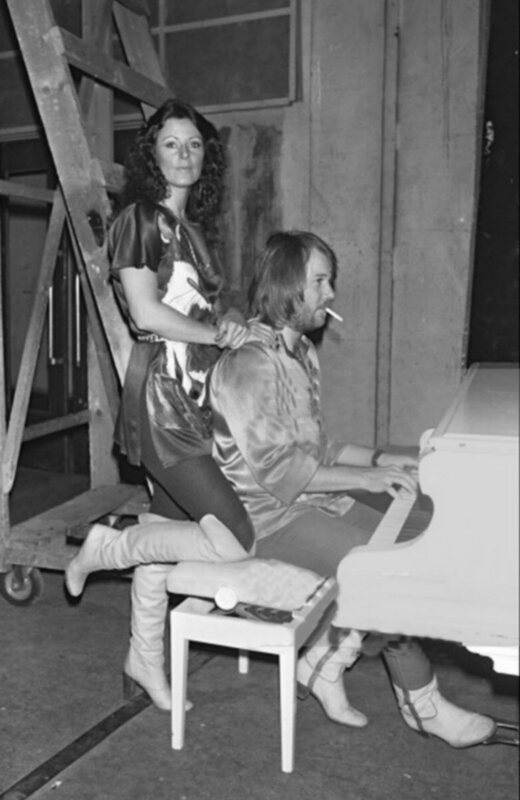 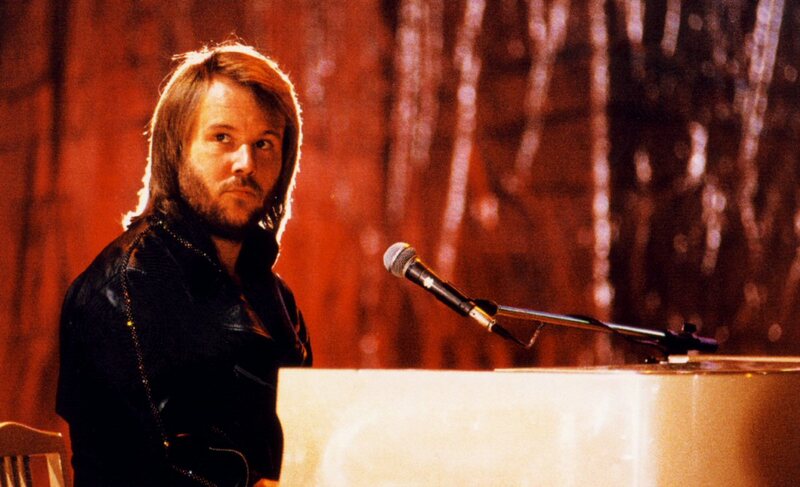 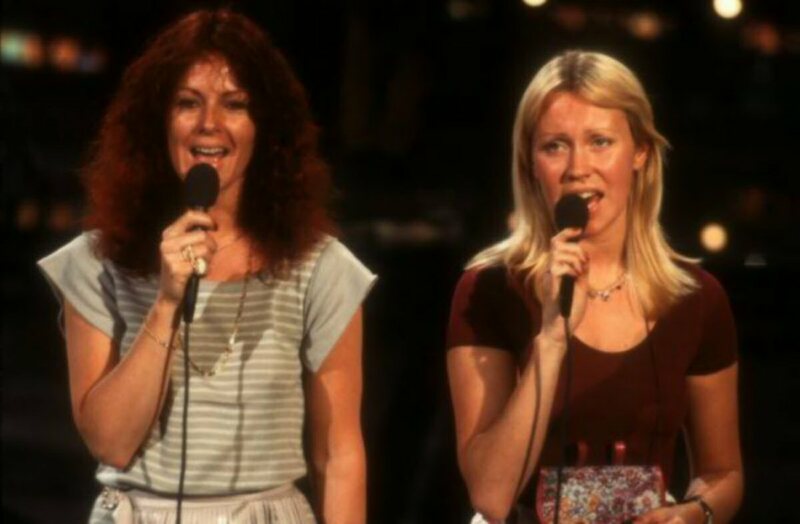 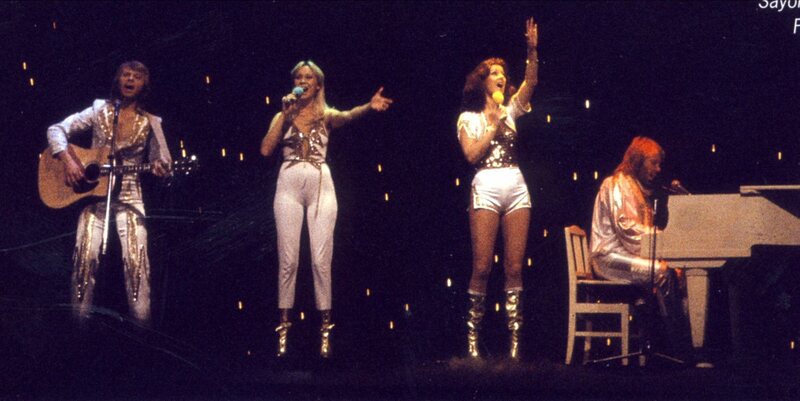 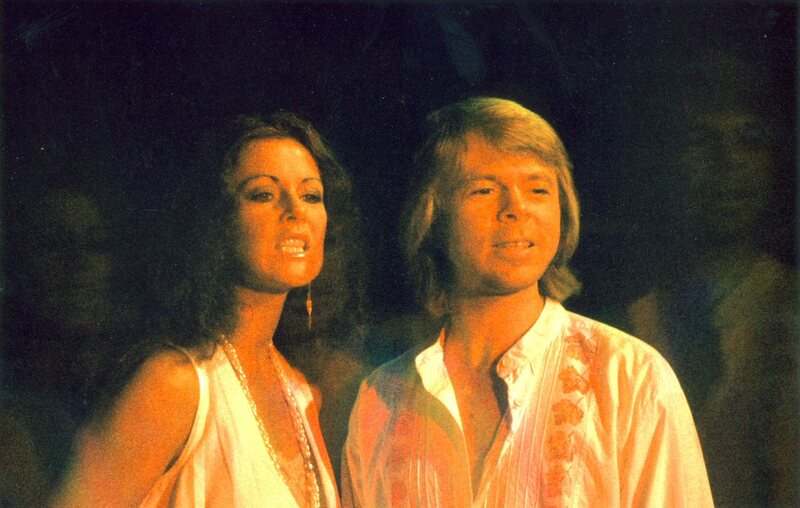 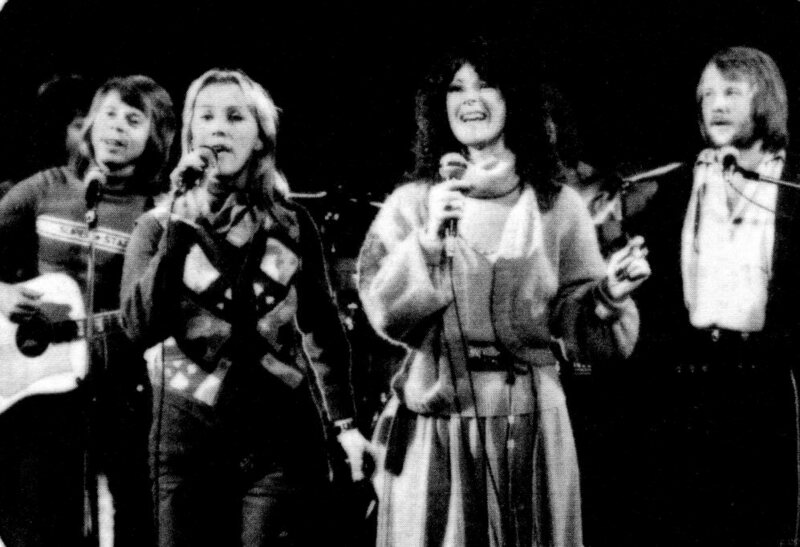 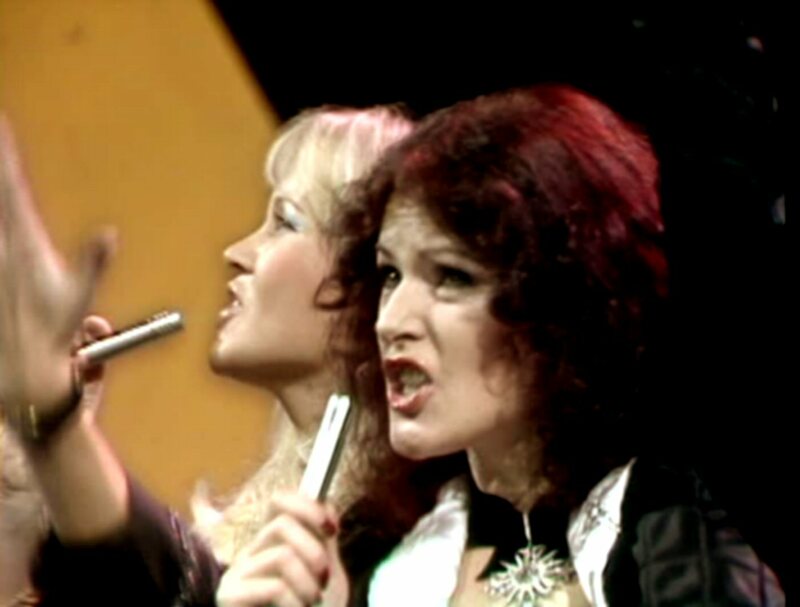 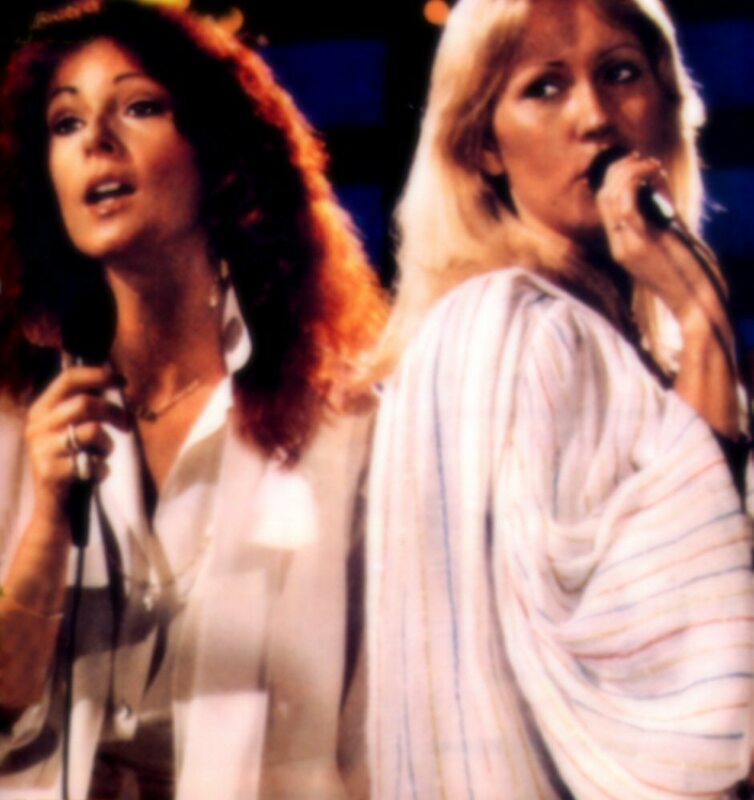 ABBA performed the song many times which was quite unusual as the song had not been released yet. 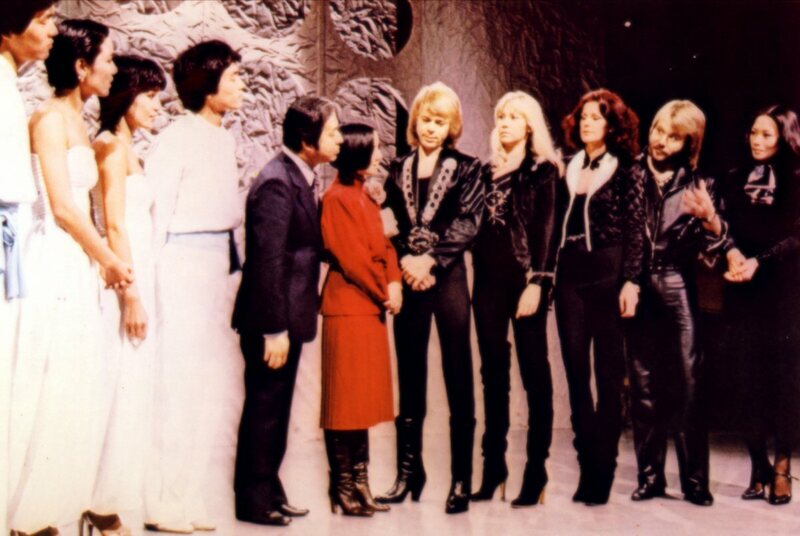 The mood was very relaxed and the group members were both drinking some national Japanese drinks as sake as well they were smoking a lot which was filmed by the Japanese TV cameras. 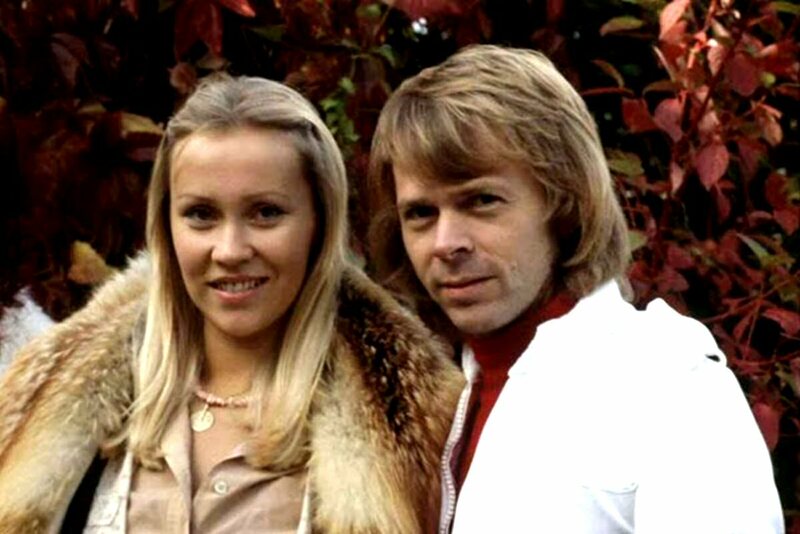 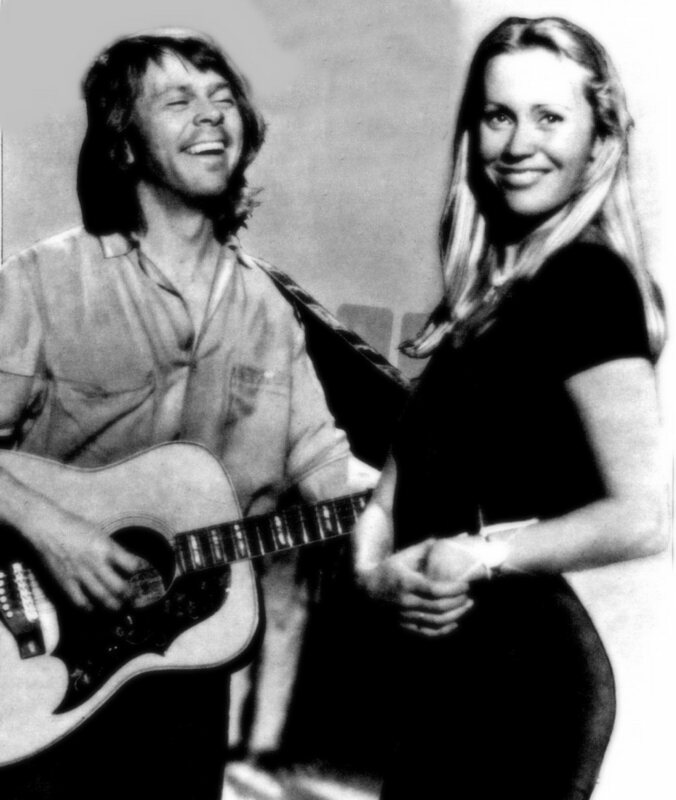 Nobody suspected any problems in Agnetha and Björn's marriage. 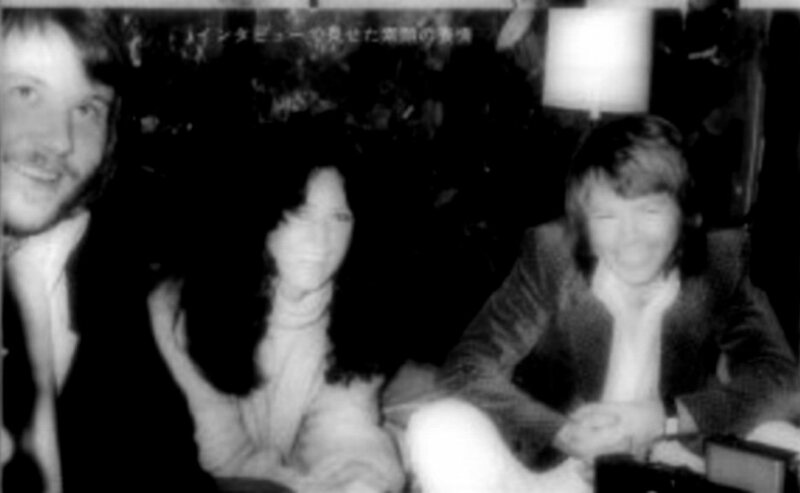 The pair seemed to have a good time in Japan together. 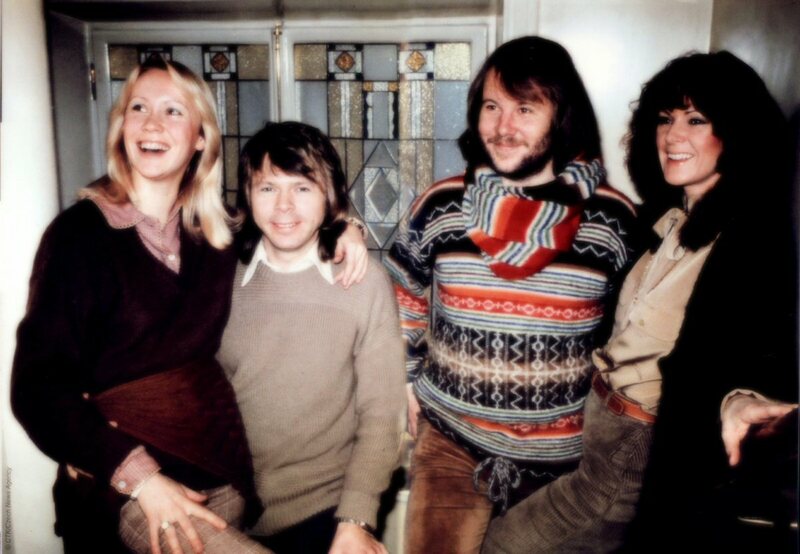 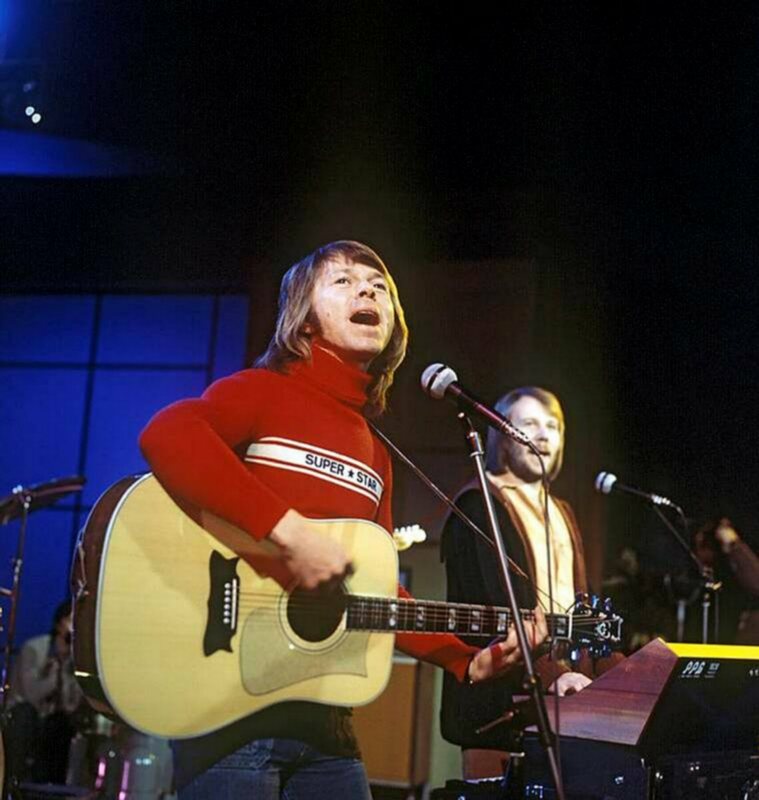 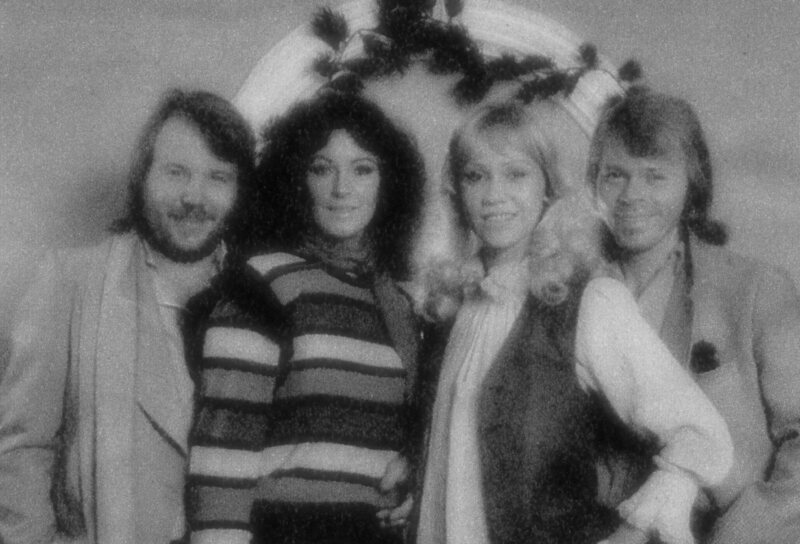 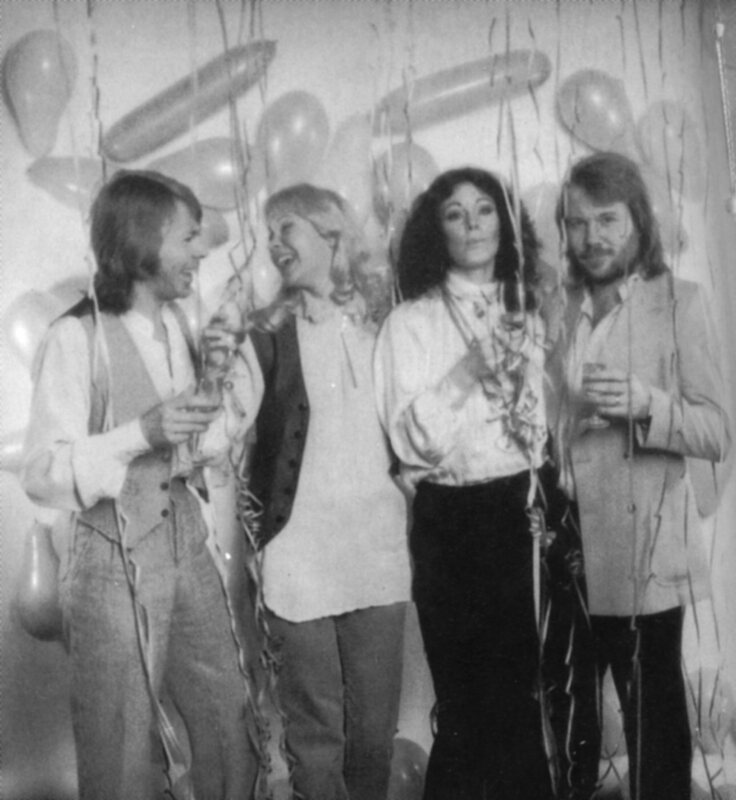 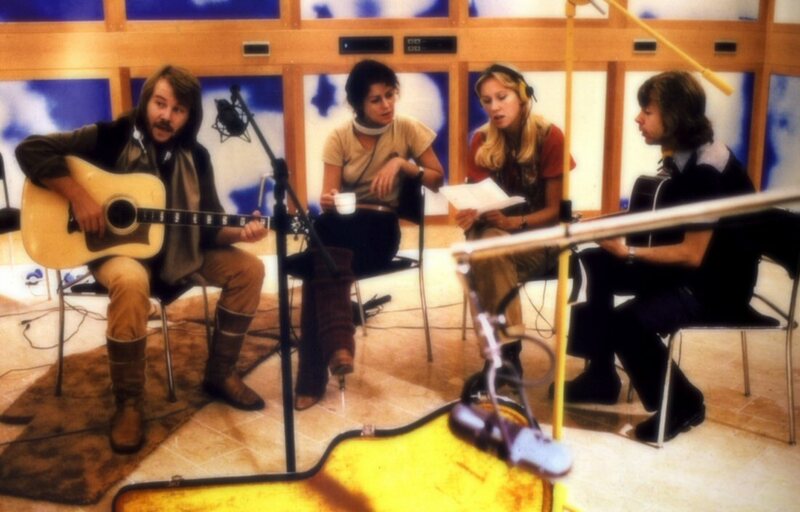 In November and December ABBA worked in their new studio with new songs. 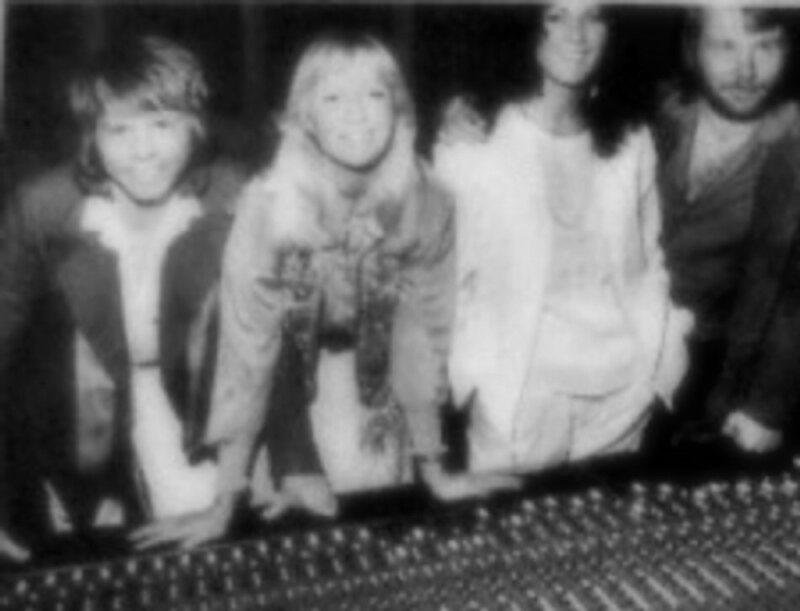 The group recorded: Chiquitita, Angeleyes and If It Wasn't for The Nights. 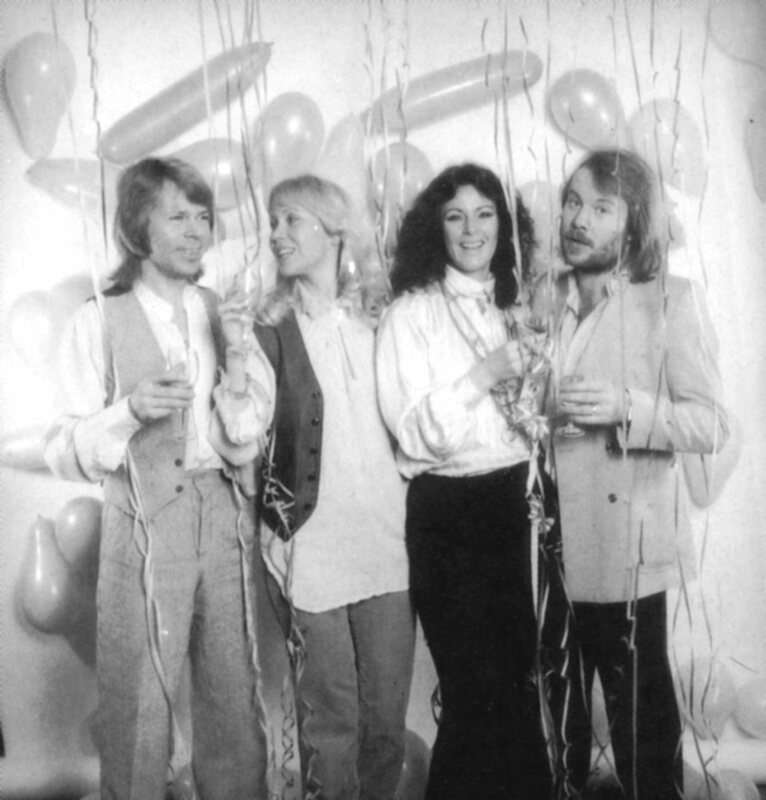 Frida and Benny attended a party in Stockholm just before the promo trip to London. 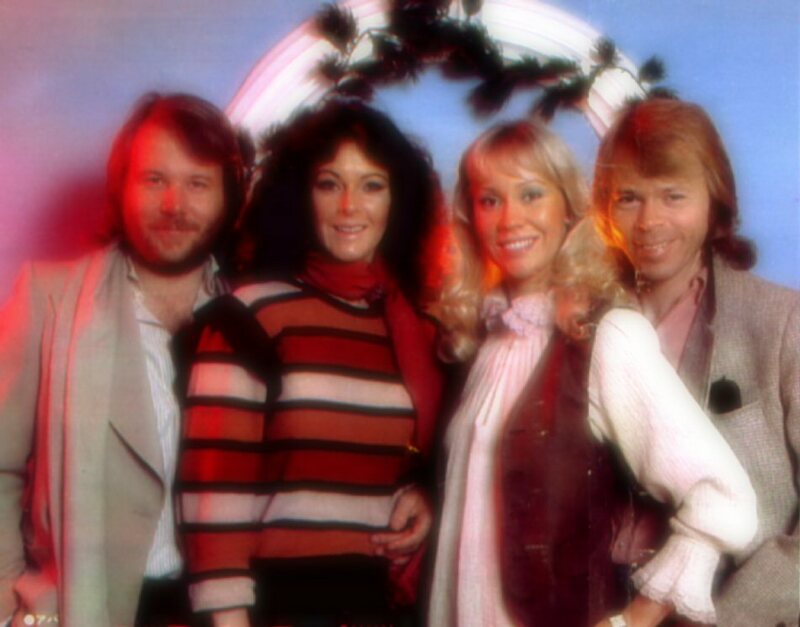 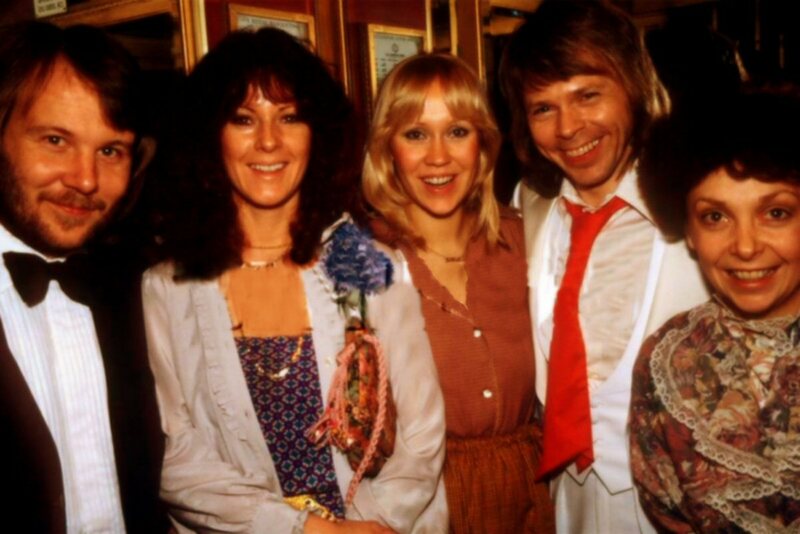 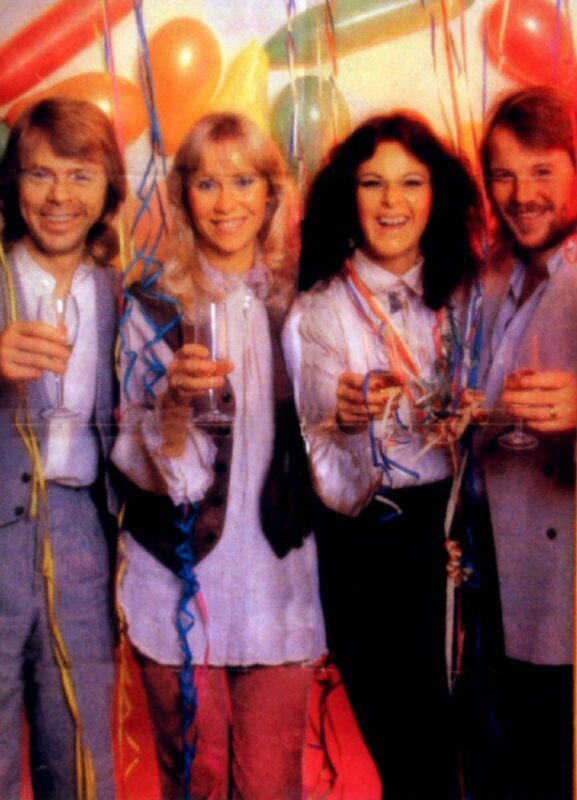 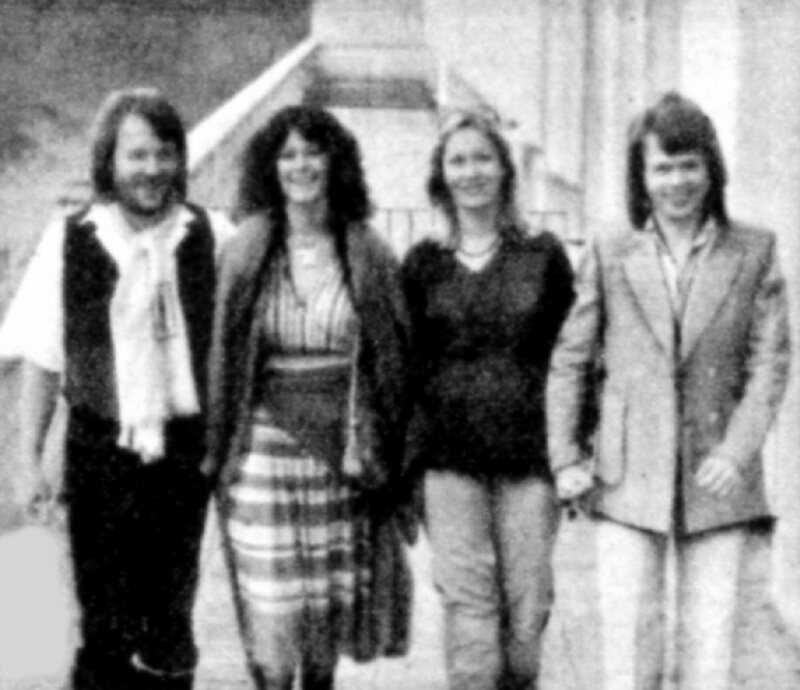 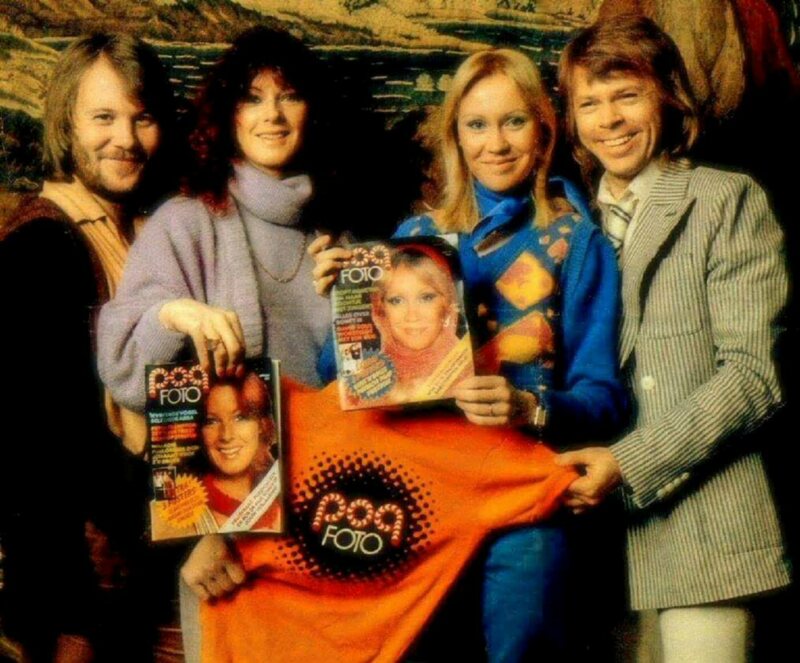 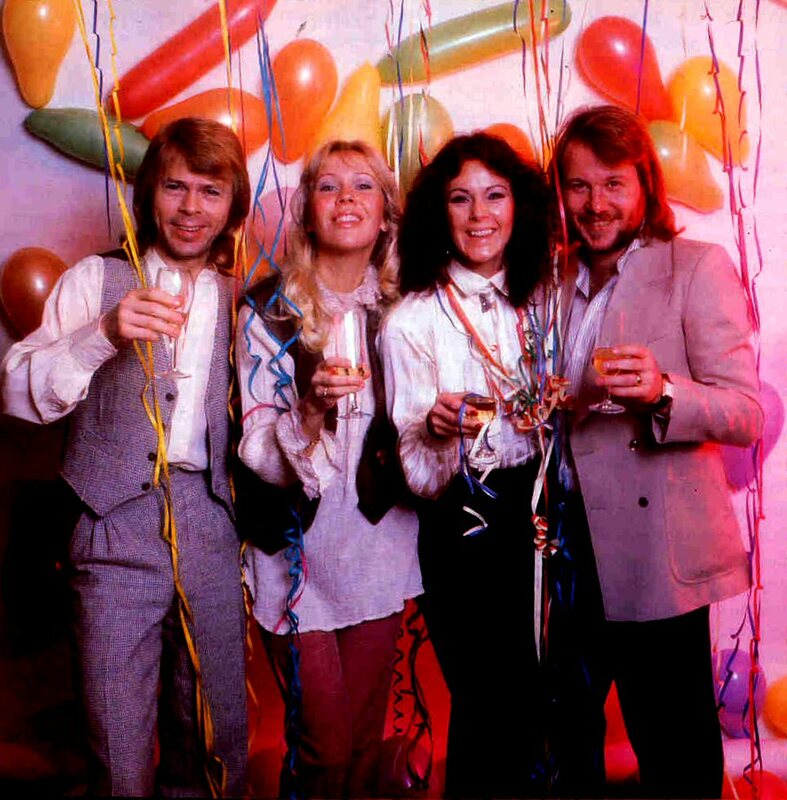 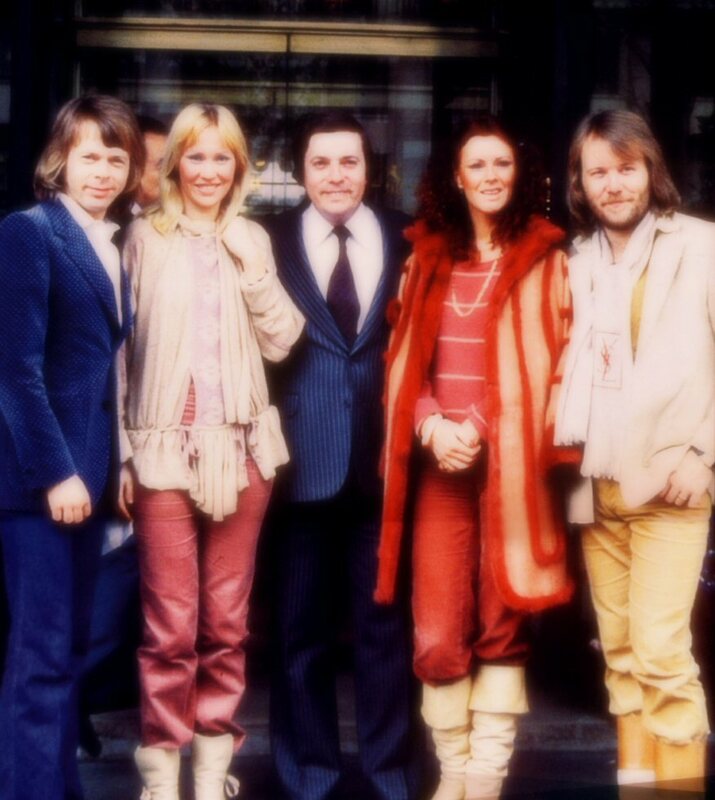 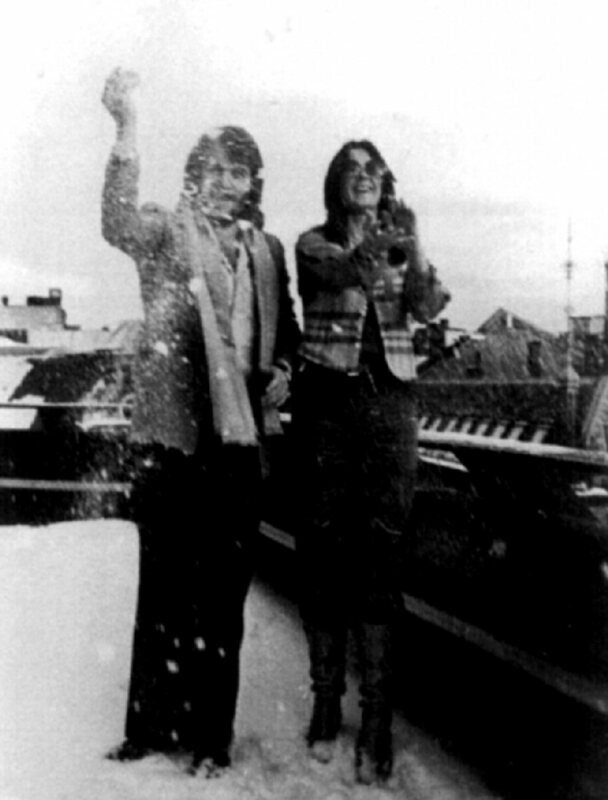 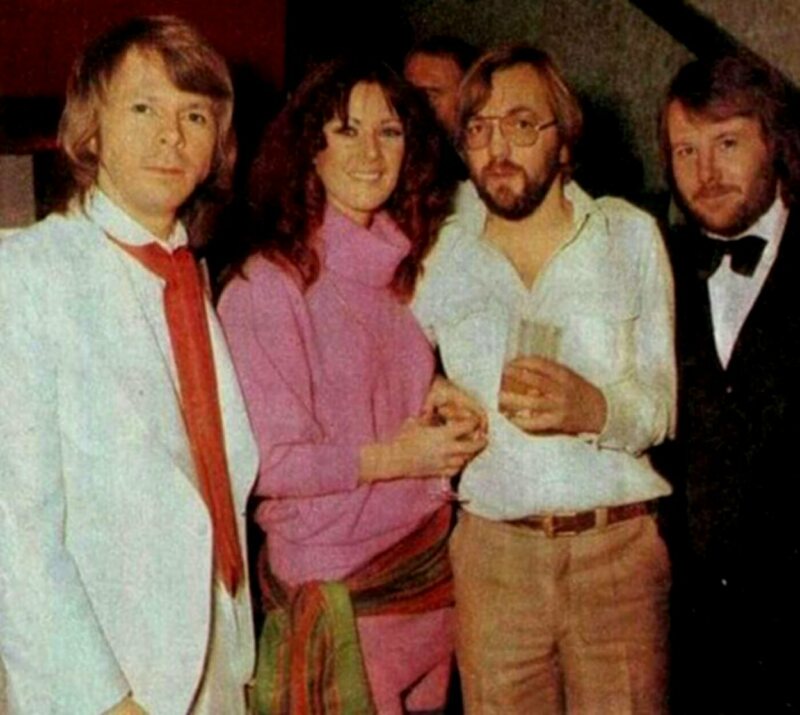 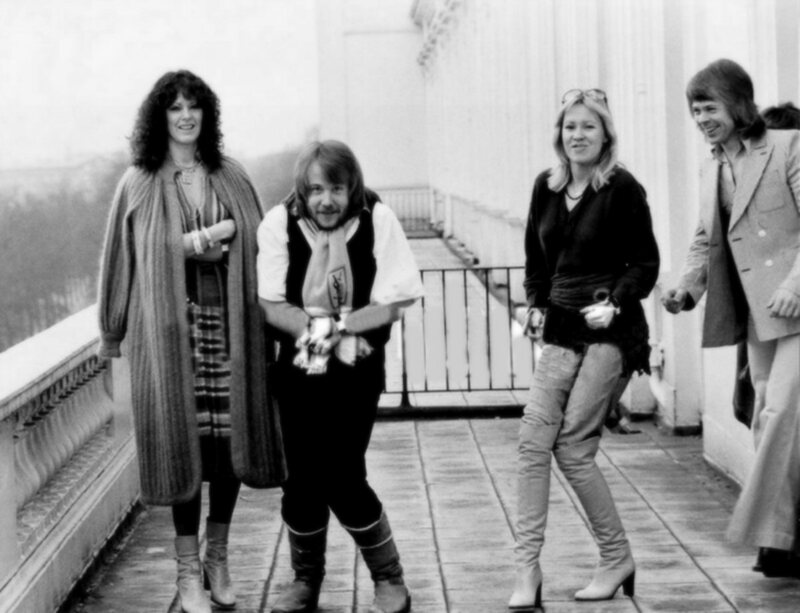 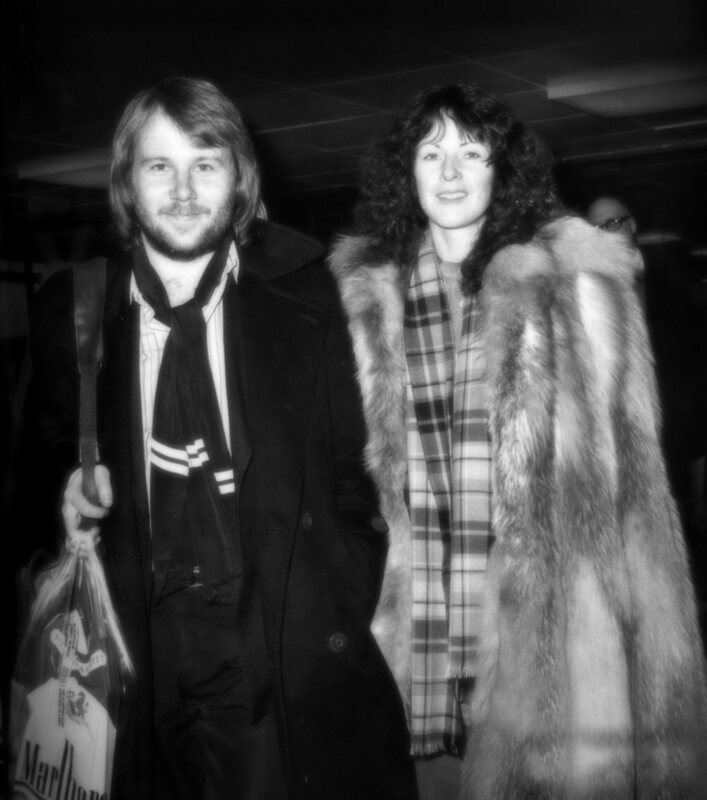 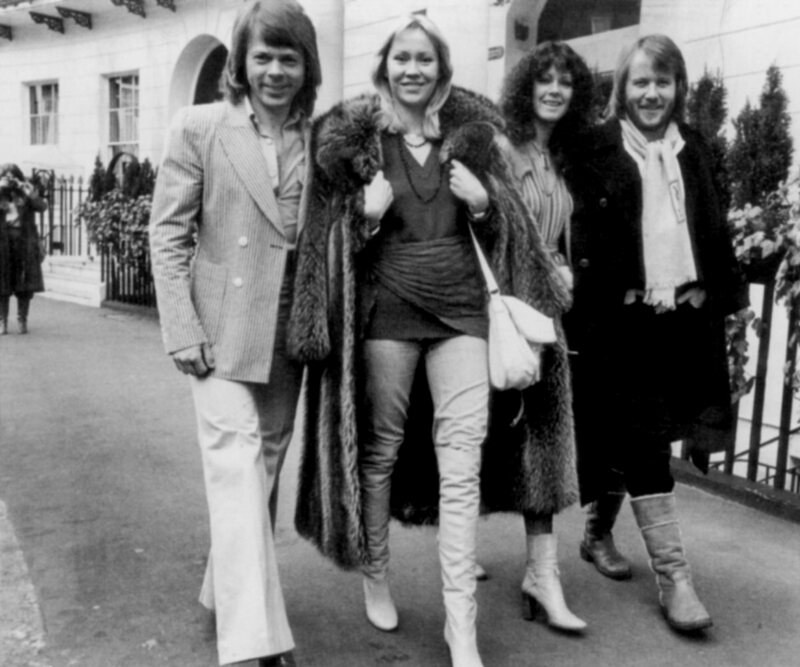 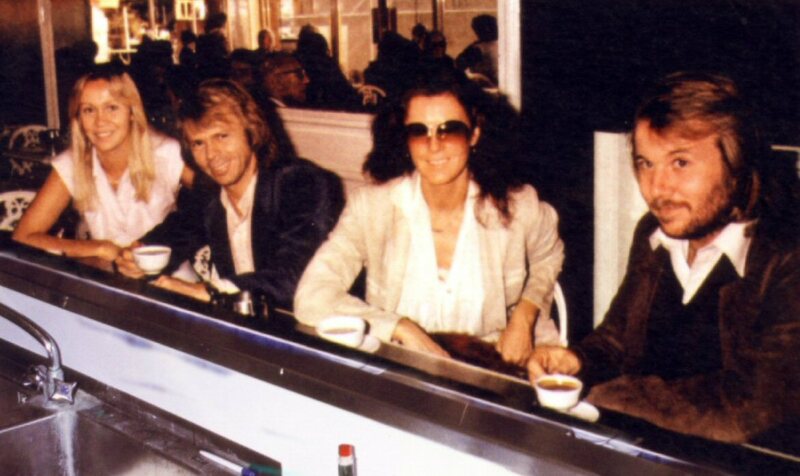 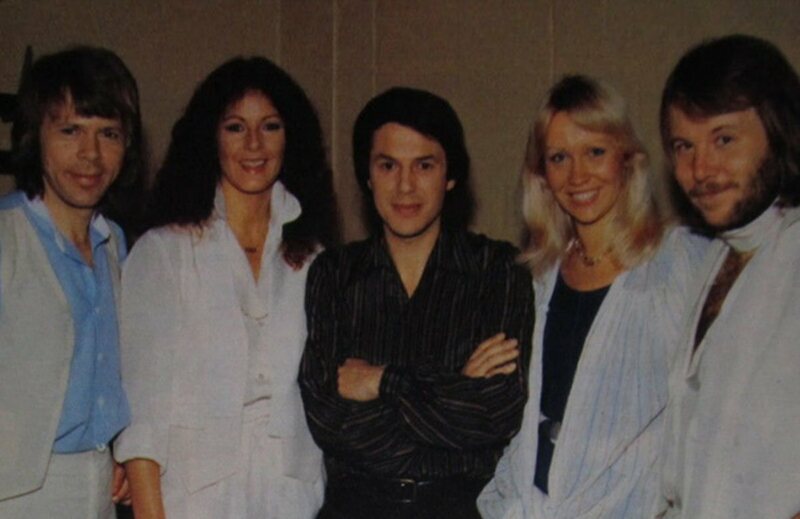 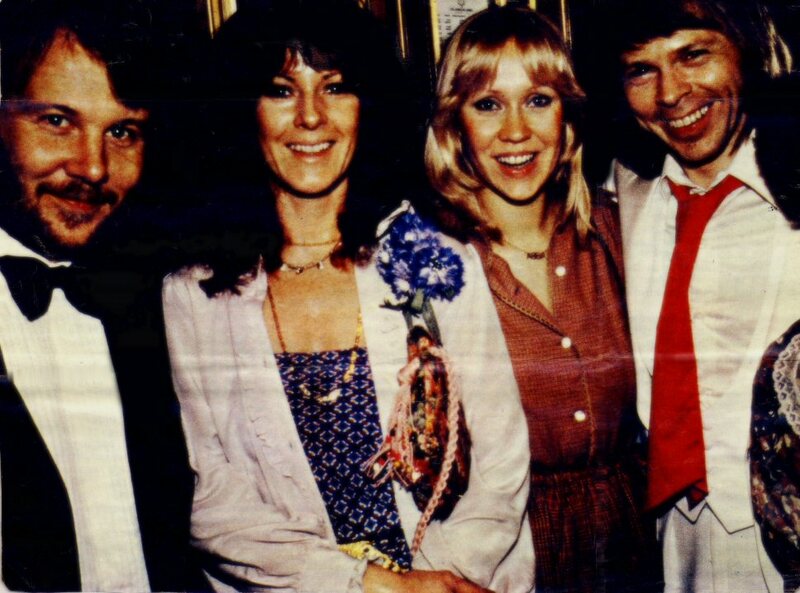 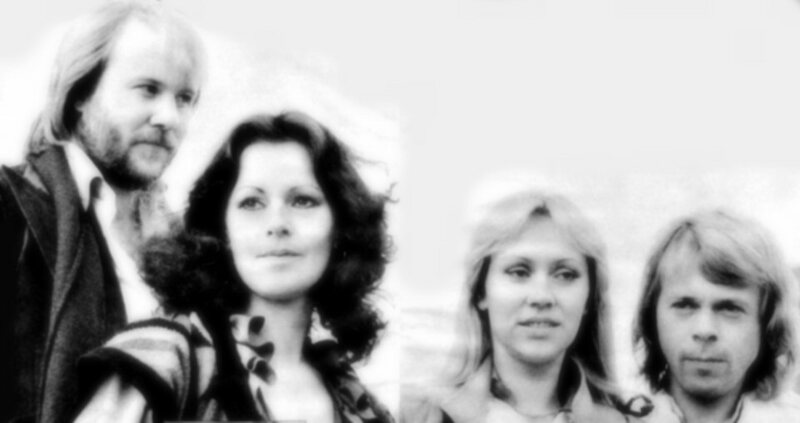 On December 6th, 1978 ABBA went to London for promotion. 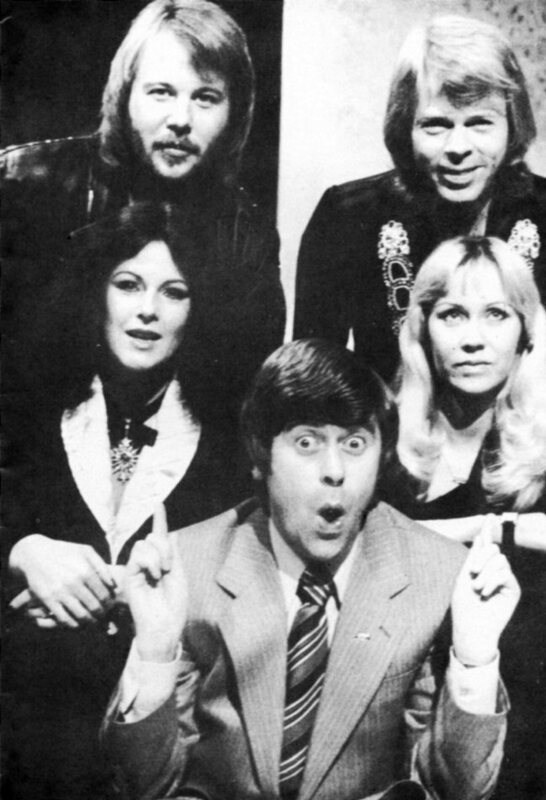 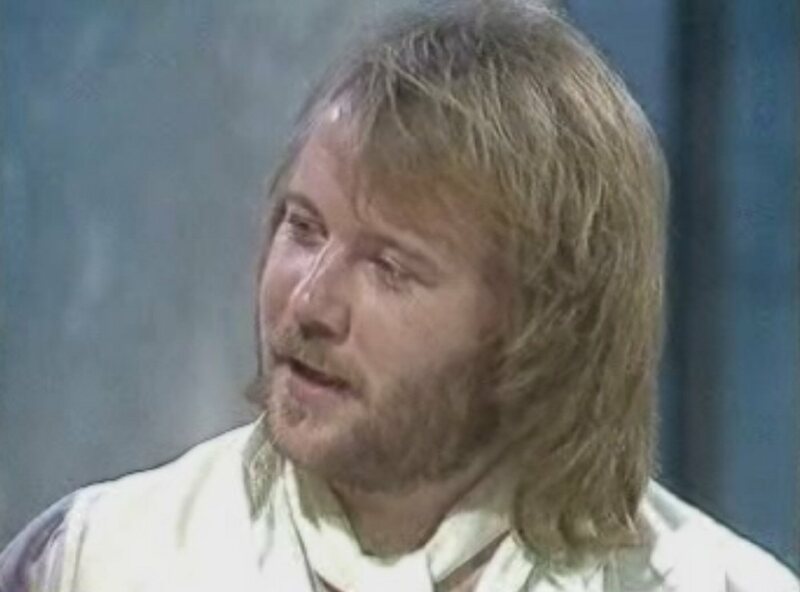 They appeared in two TV shows: Mike Yarwood Christmas Show and Jim'll fix it. 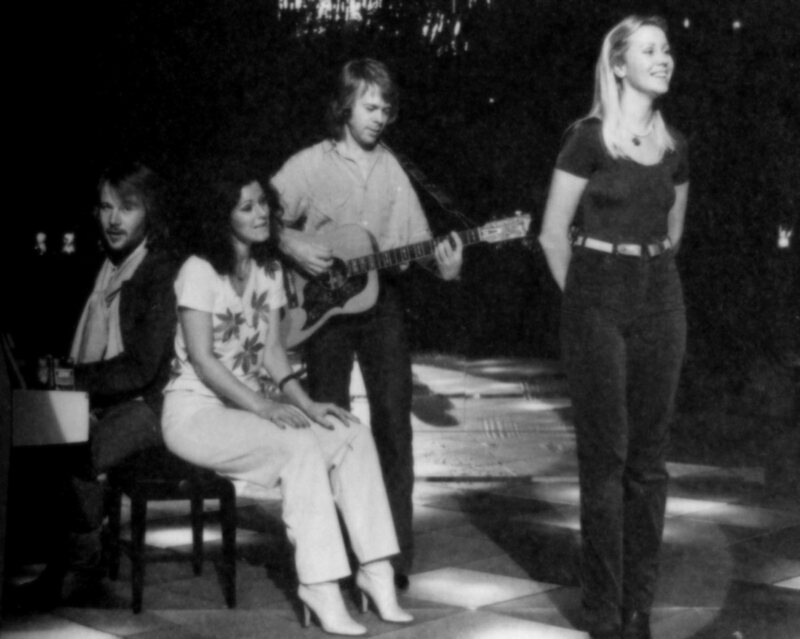 In the first show they presented their brand new song "If It Wasn't For The Nights" and the evergreen "Thank You For The Music". 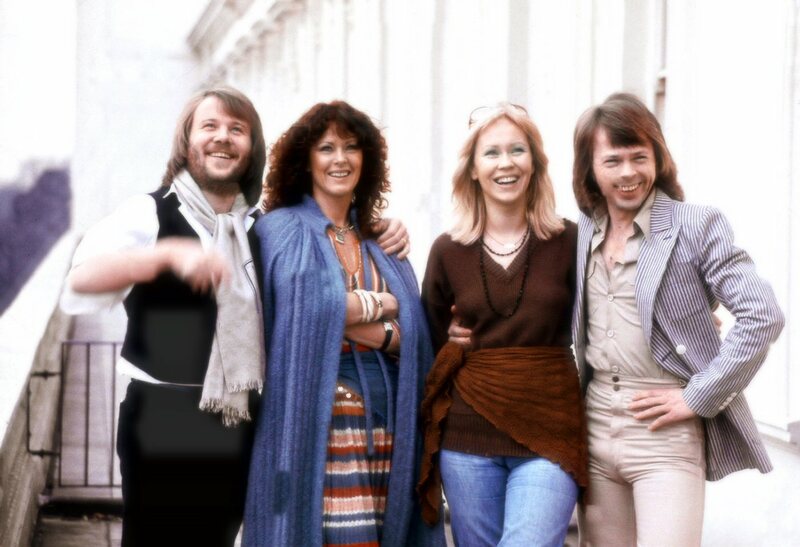 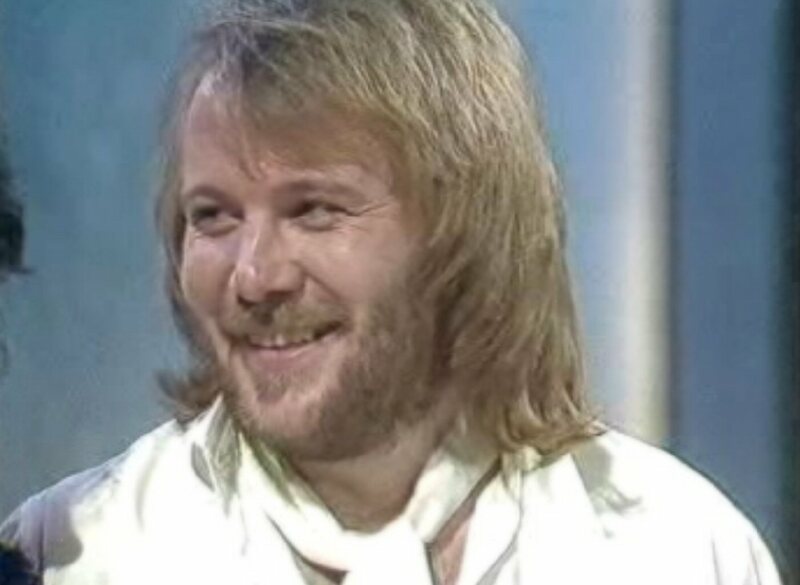 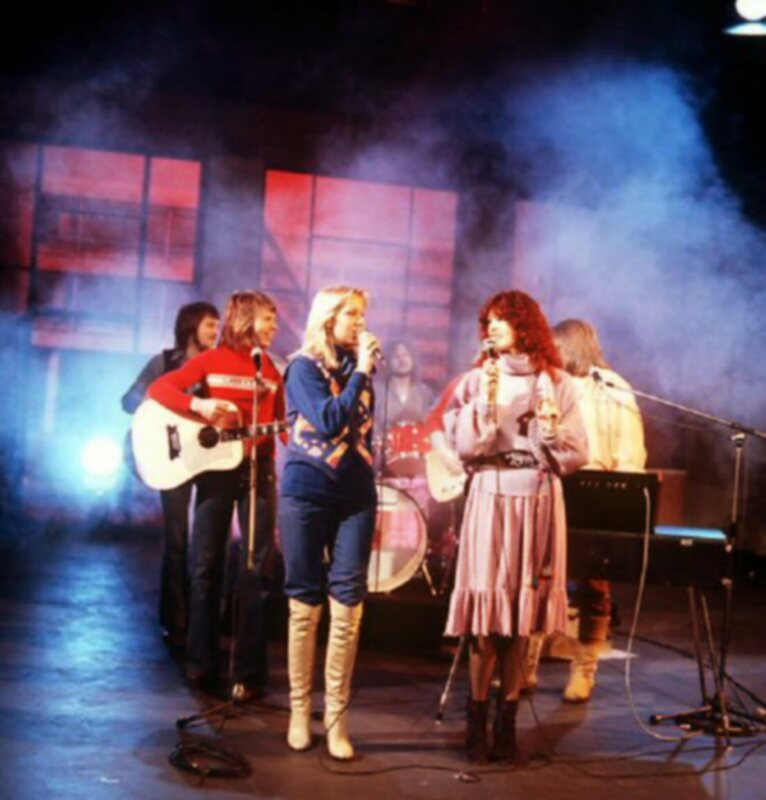 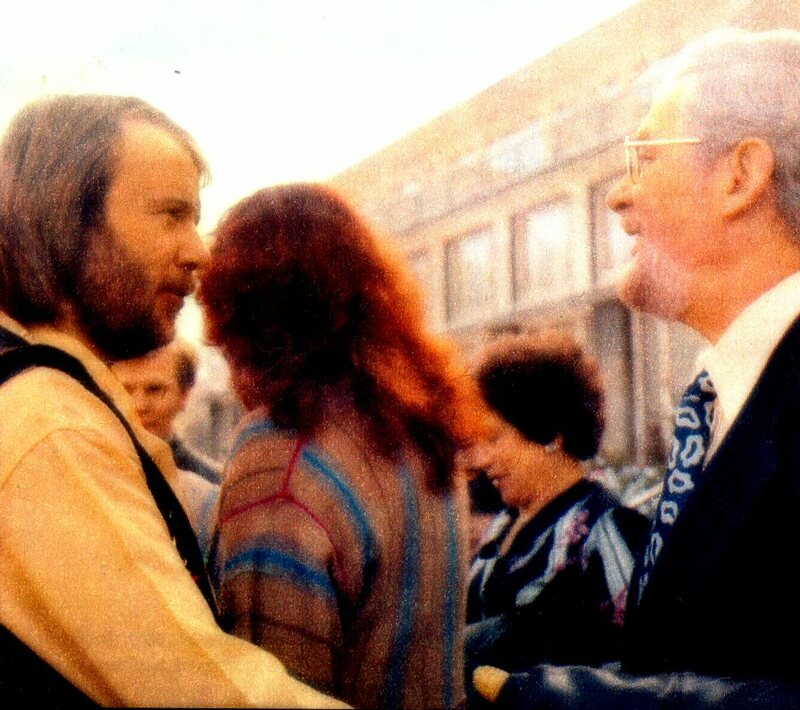 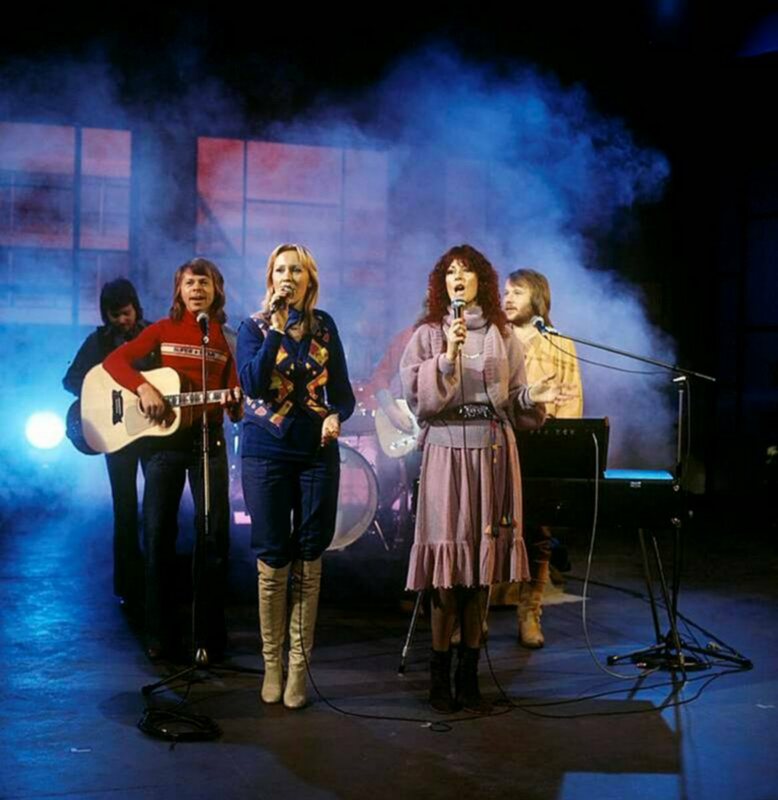 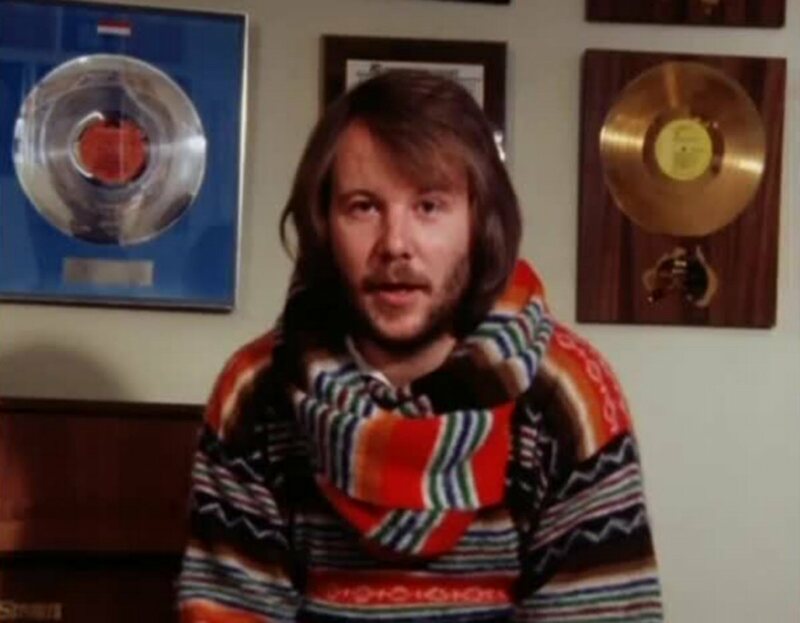 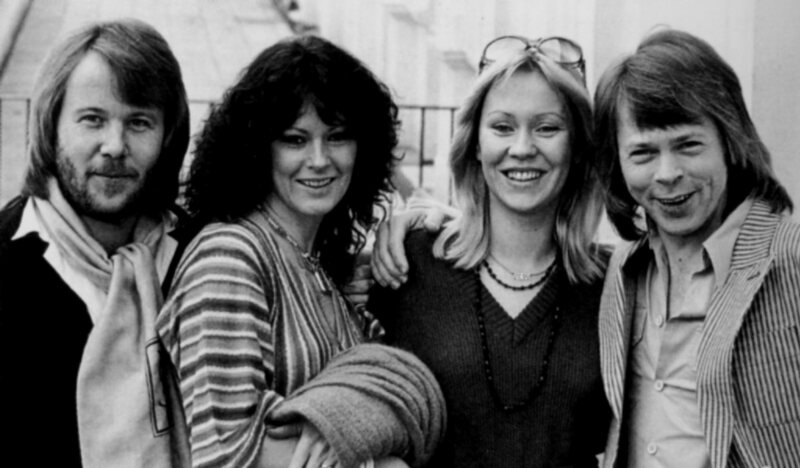 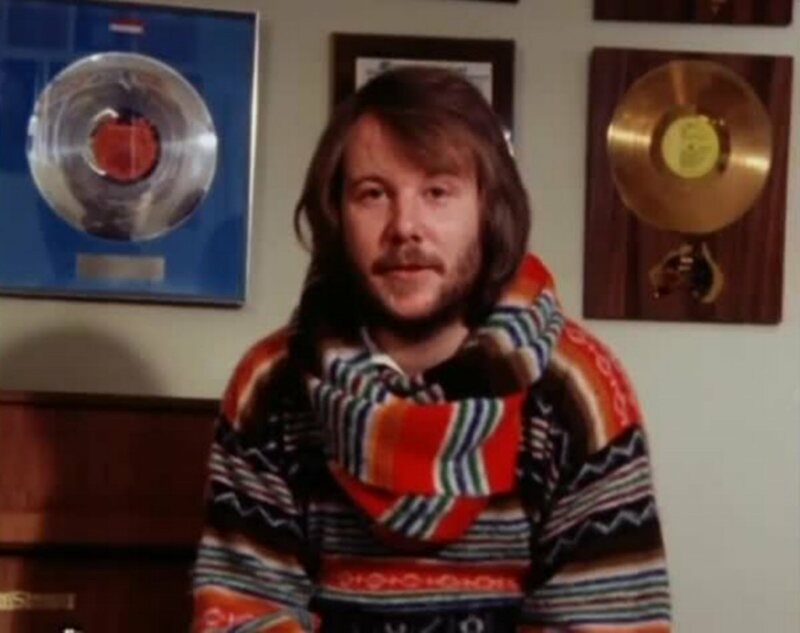 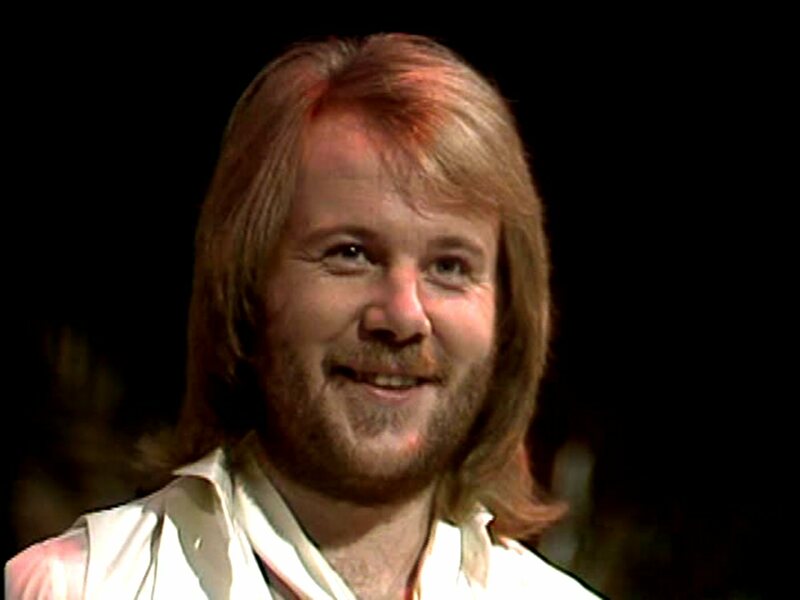 ABBA had recorded the backing tracks to the both songs earlier with musicians that they had brought over to London especially for this purpose. 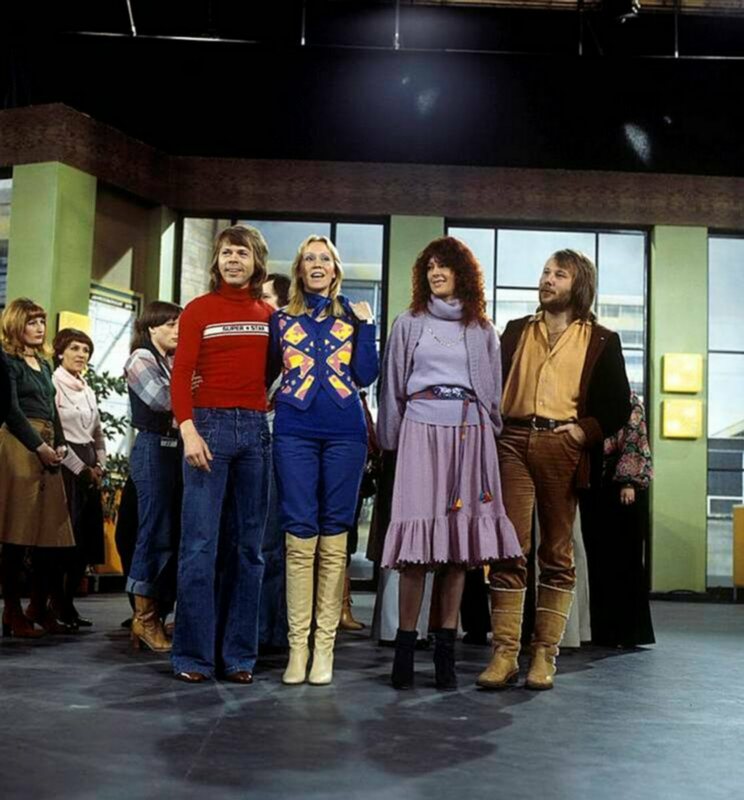 They spent a long time in TV studio whilst cameras moved and lightning was changed. 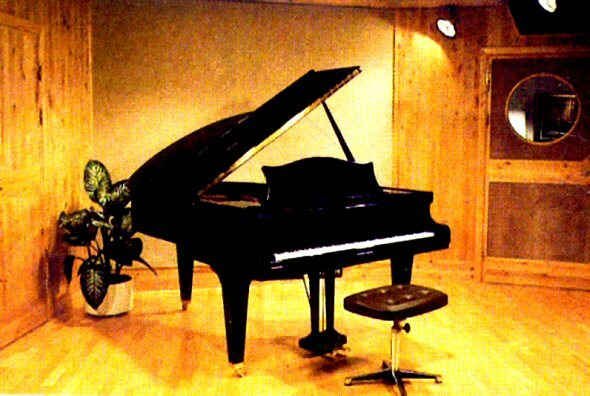 Benny kept the restless audience entertained, starting off with the Laurel and Hardy theme tune on a beautiful white grand piano and continuing with a medley of well-known tunes. 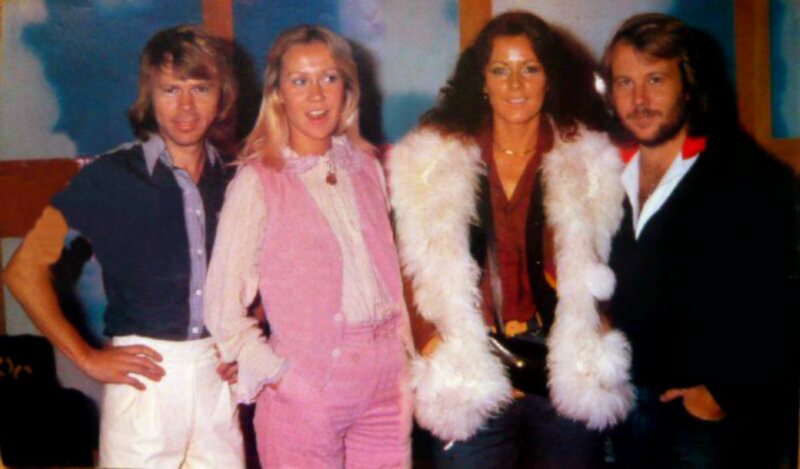 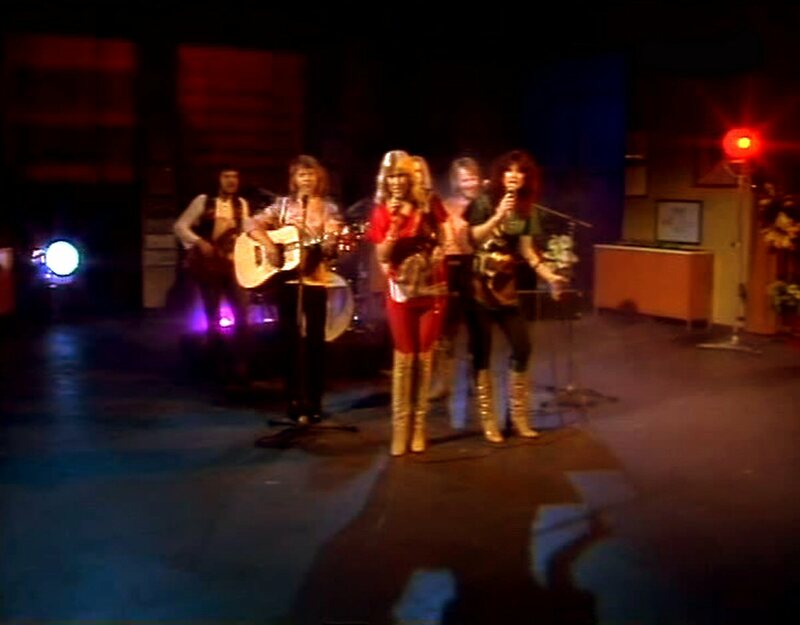 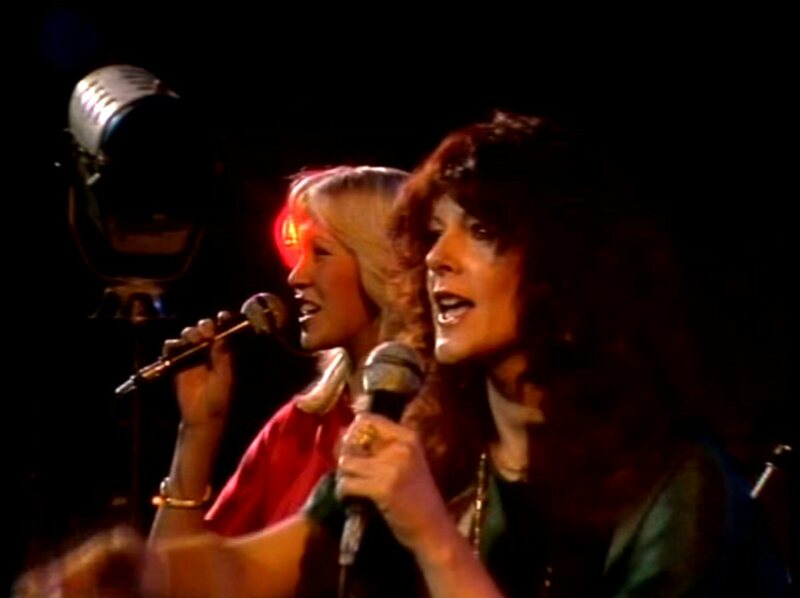 As a bonus ABBA performed "Money Money Money" especially for the fans in the studio. 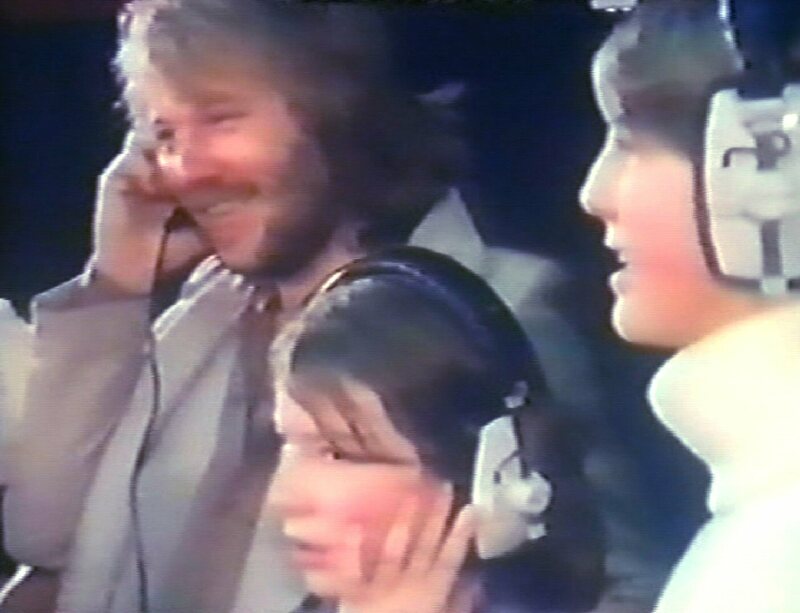 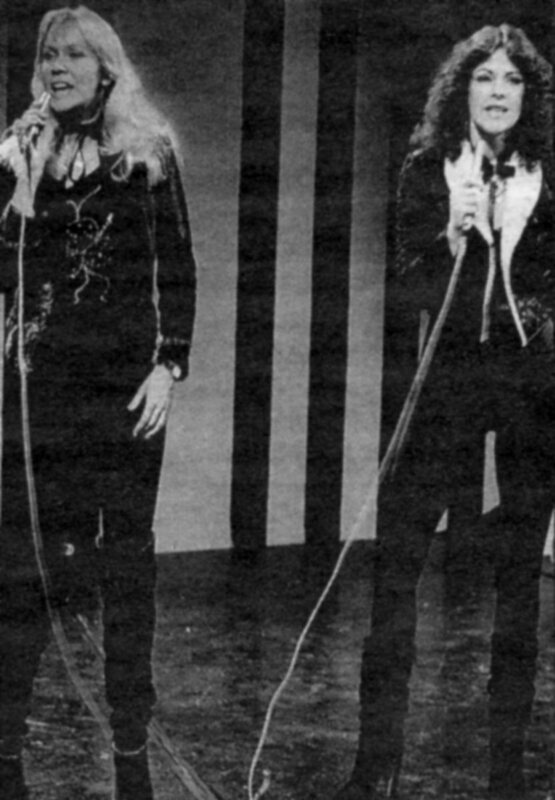 In "Jim'll fix it" the group was filmed in a recording studio with two girls singing "Thank You For The Music". 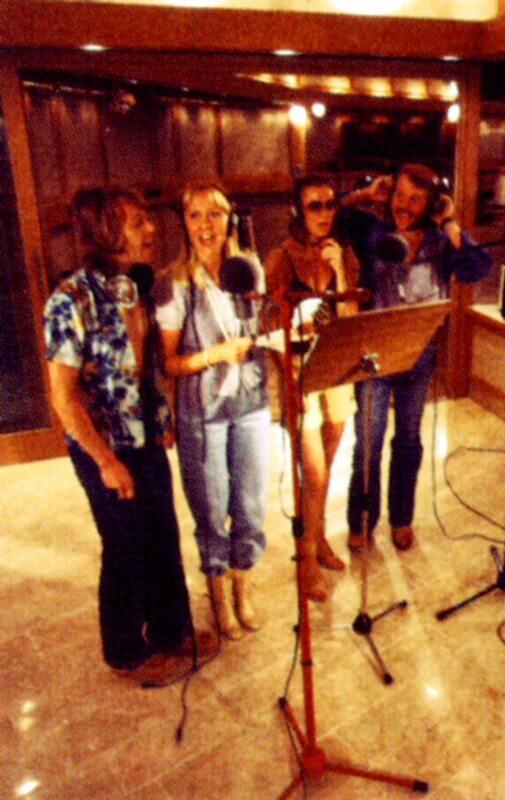 This session was taken place during ABBA's stay in London. Two more sessions which must have been taken the same day.